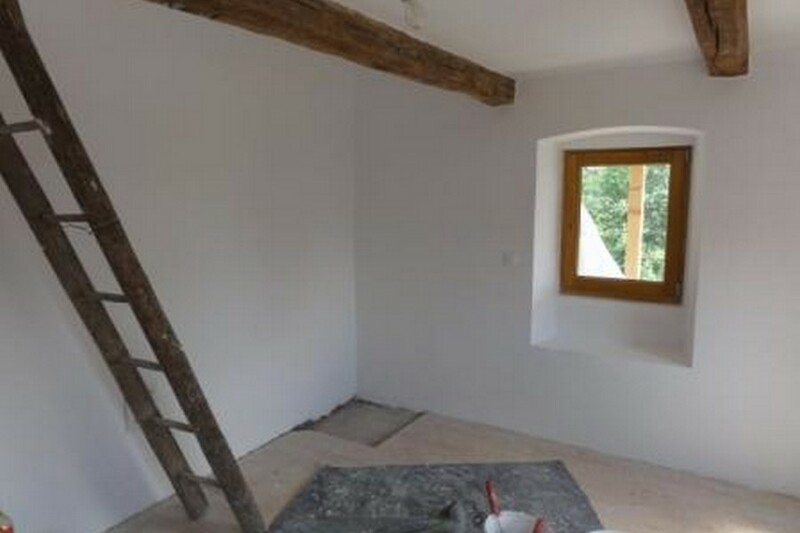 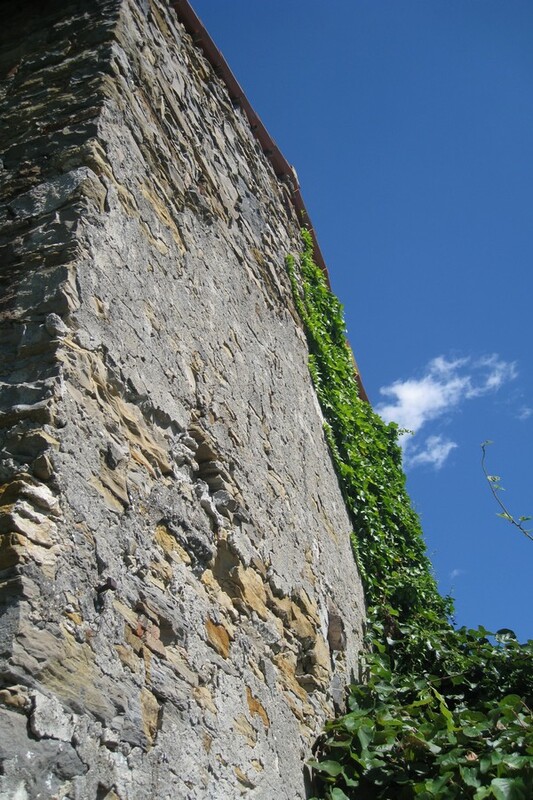 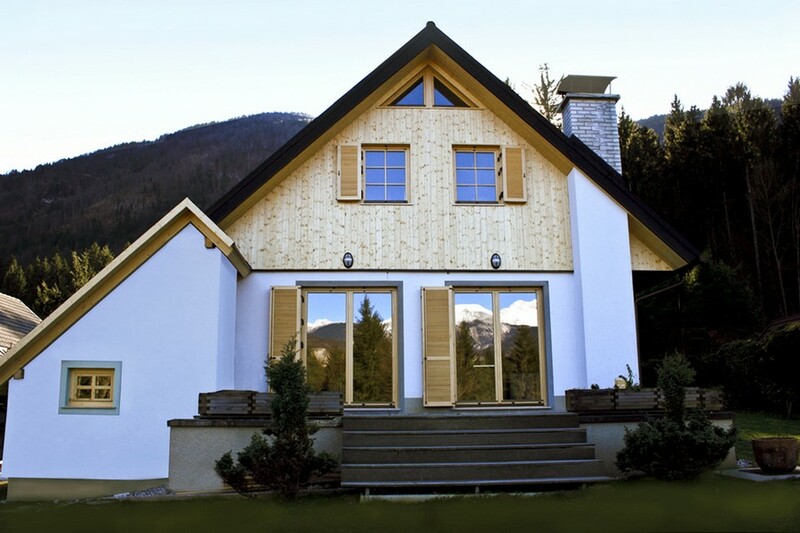 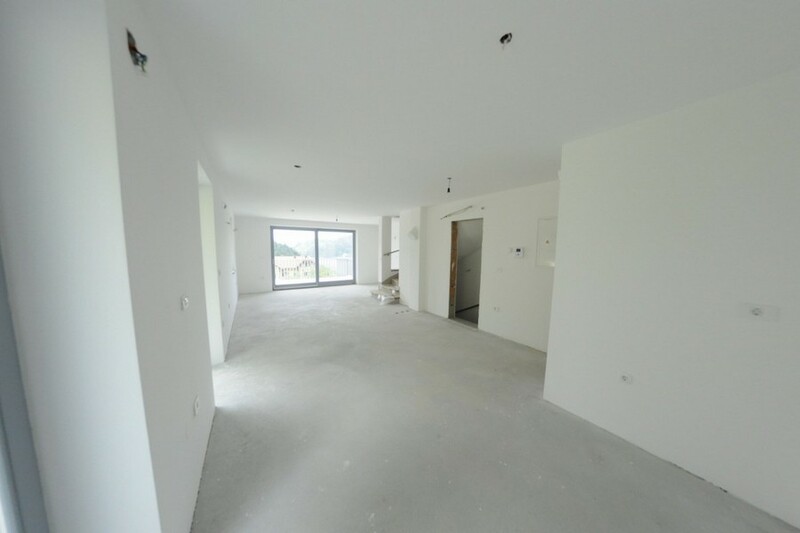 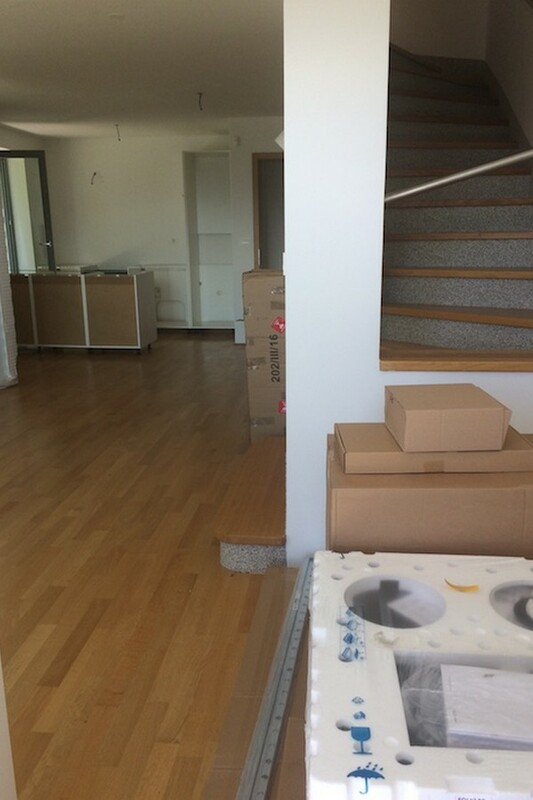 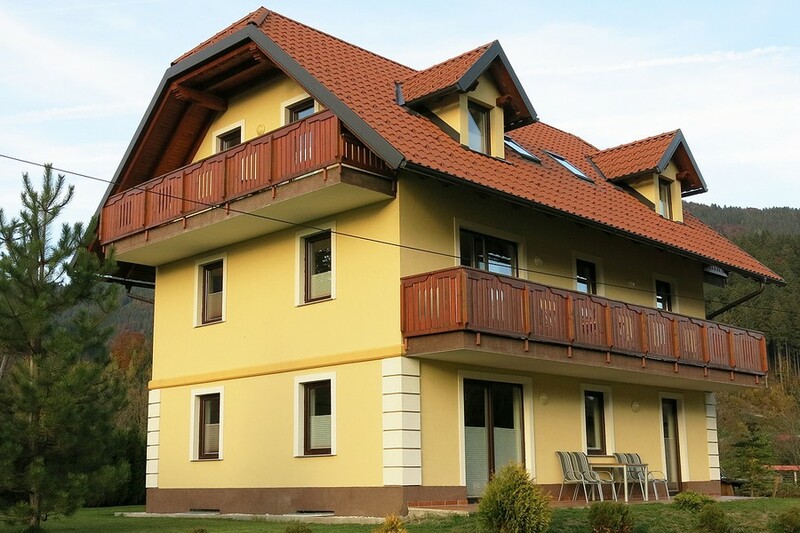 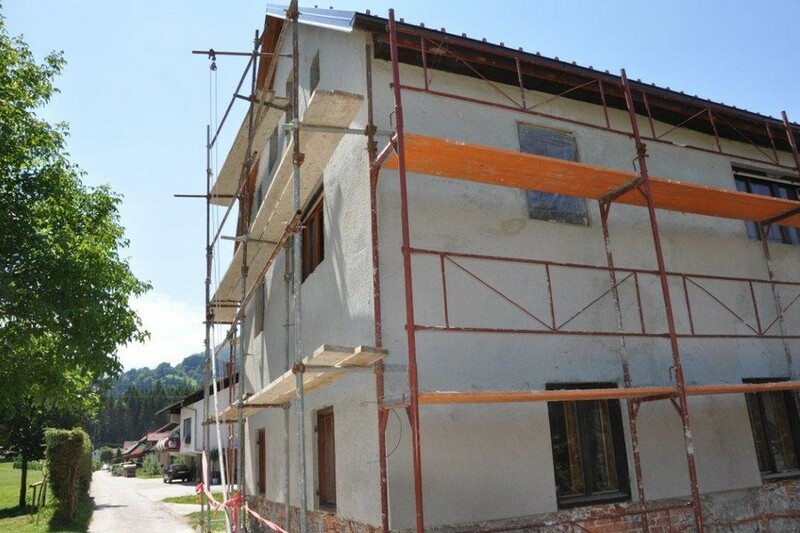 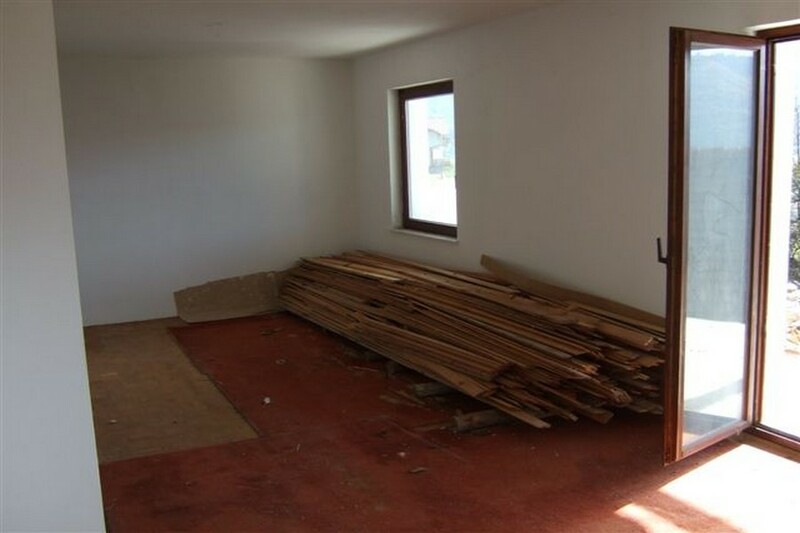 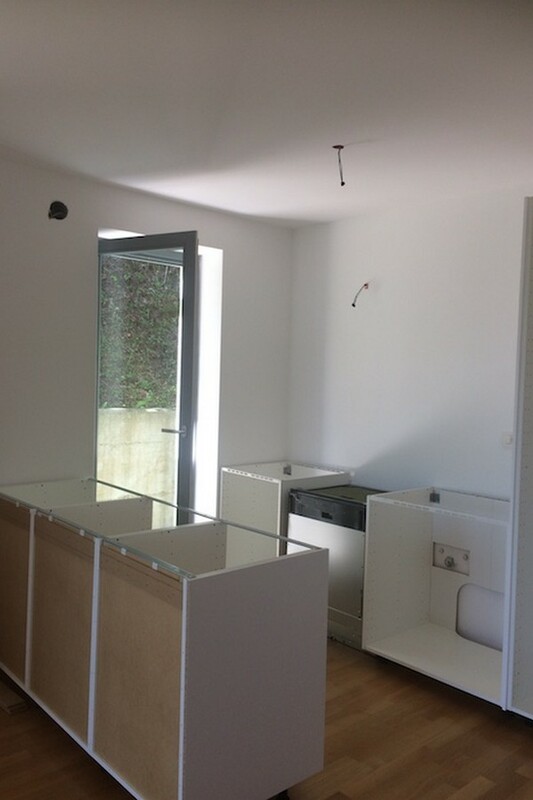 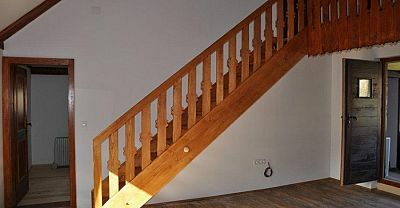 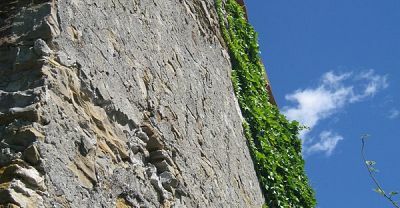 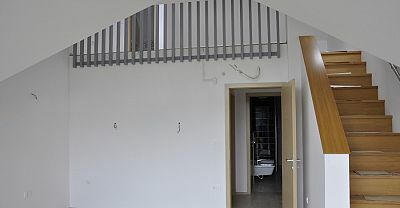 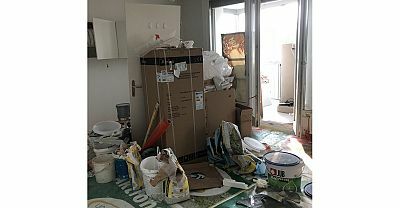 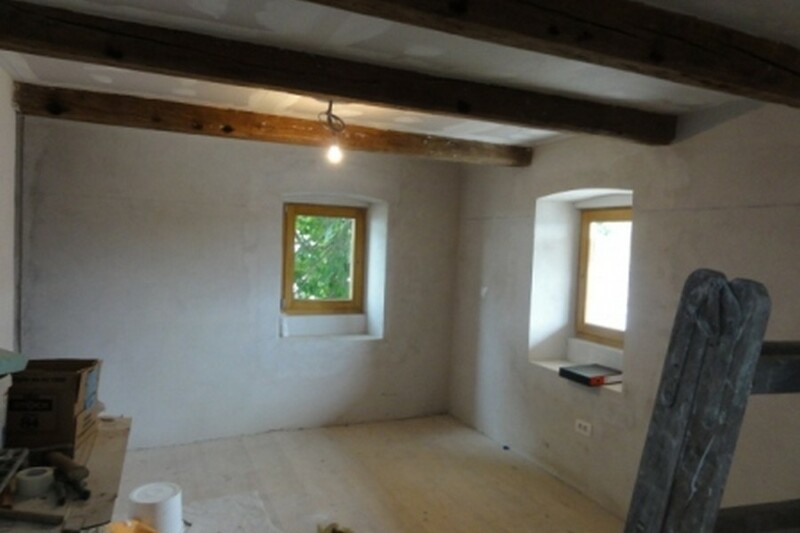 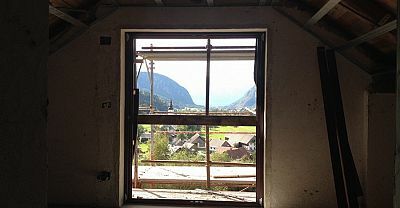 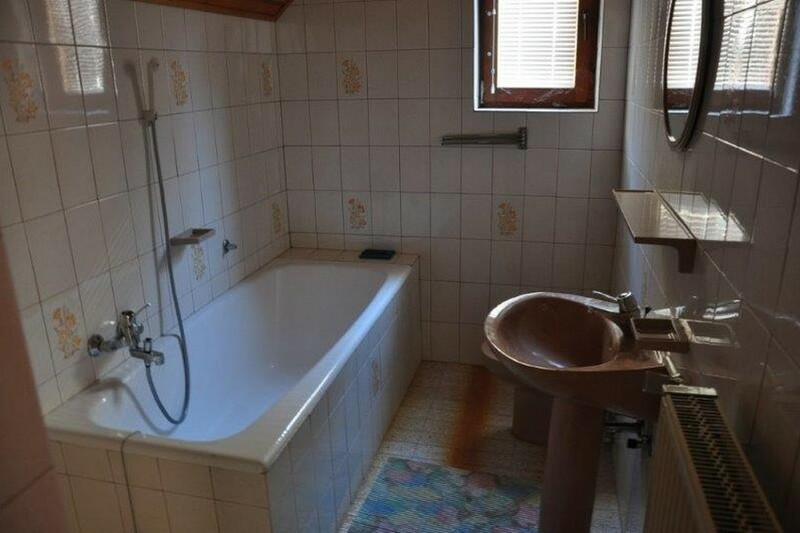 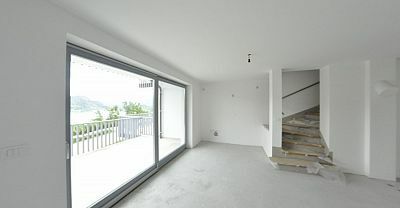 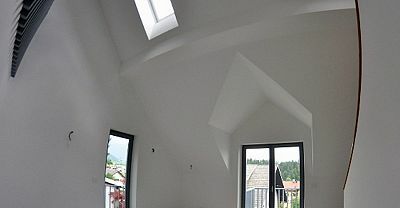 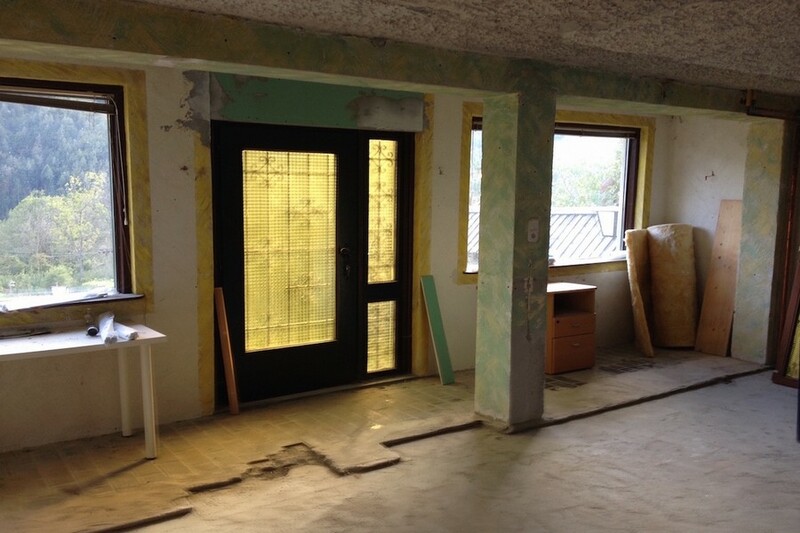 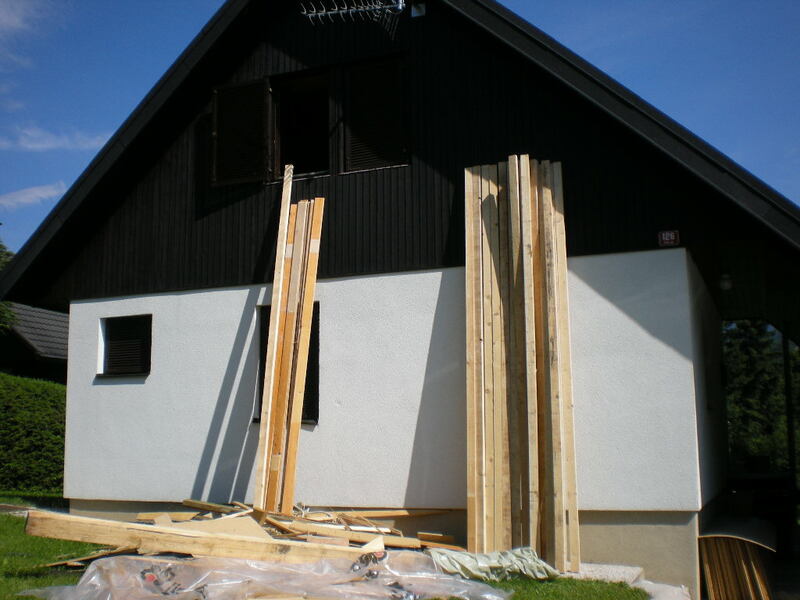 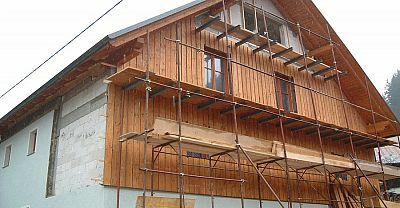 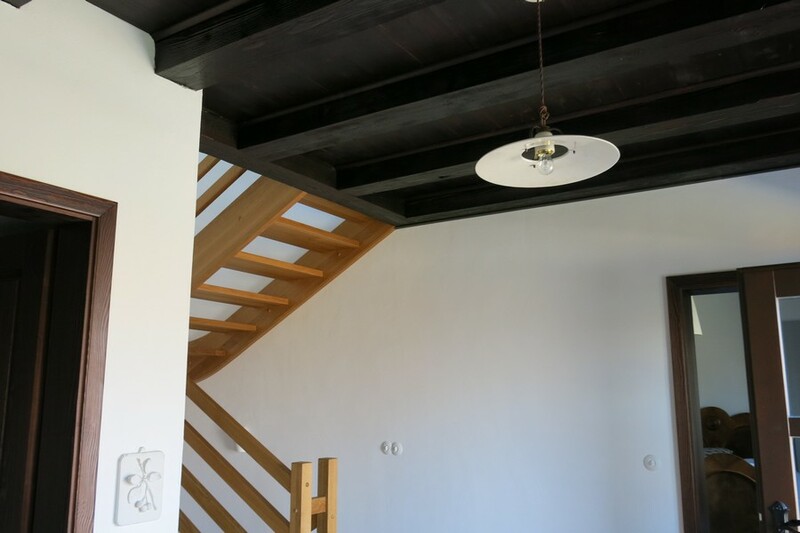 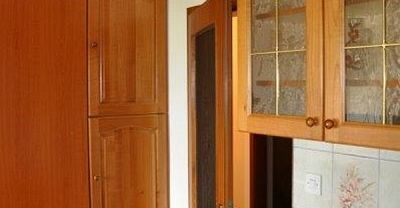 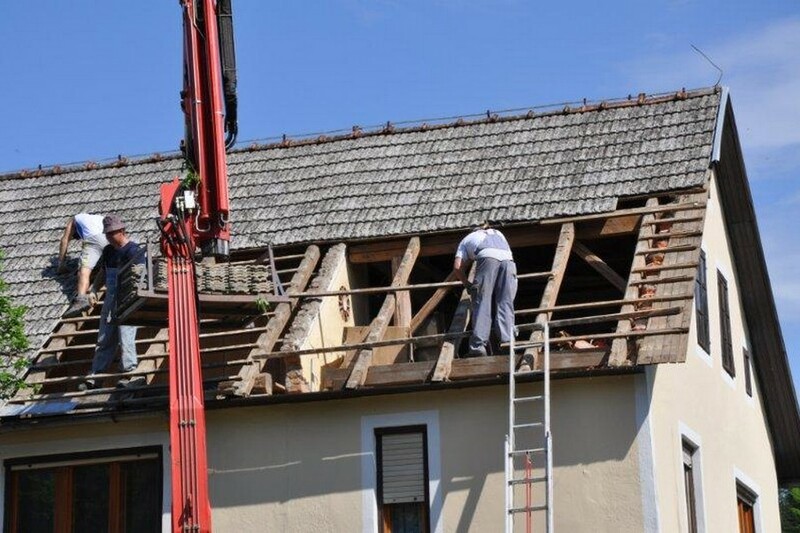 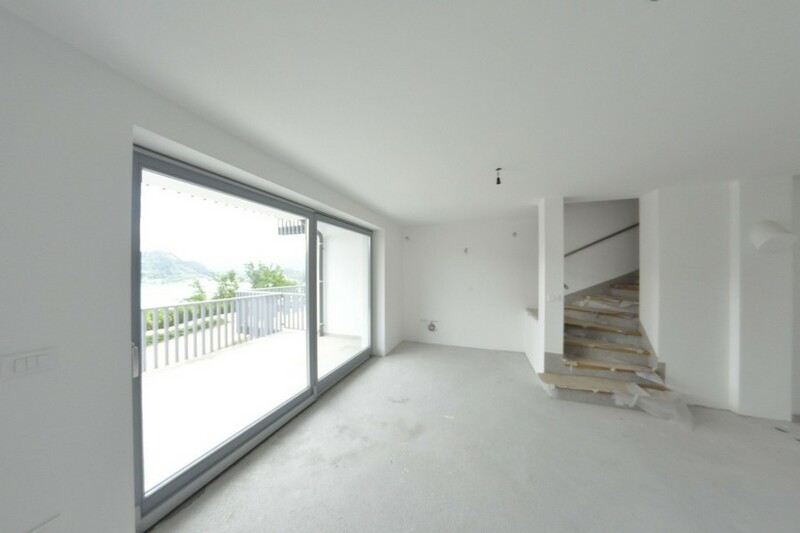 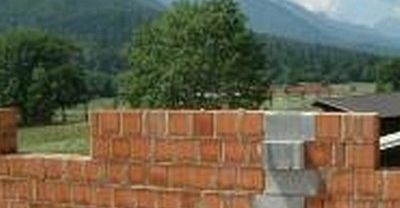 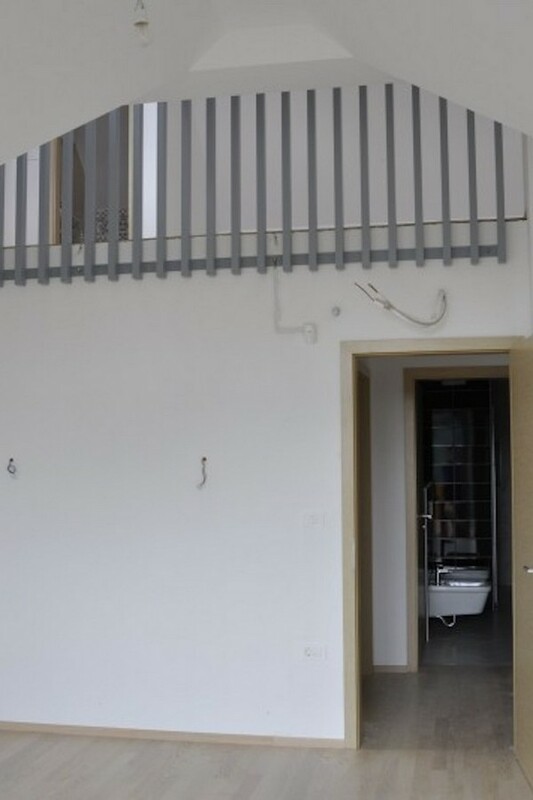 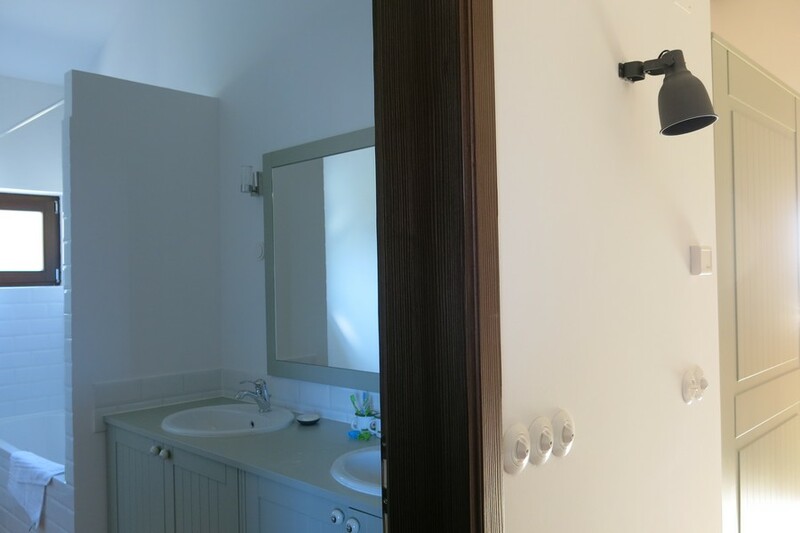 We have assisted very many purchasers of property in Slovenia with their Slovenian property renovation, maintenance or repairs and in some cases assisted clients building their property from scratch. 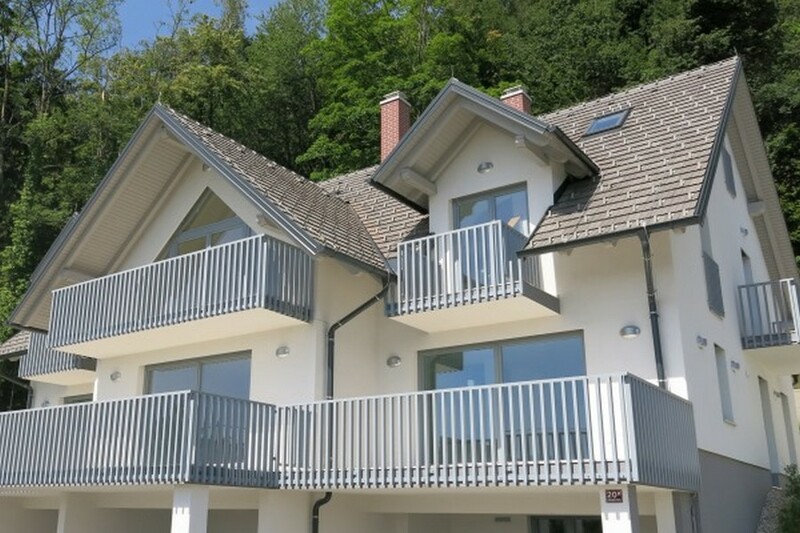 We have lots of experience of sourcing and managing individual contractors as well as calling on our network of architects, surveyors and tried and tested building contractors to create a unique solution for your property and requirments. 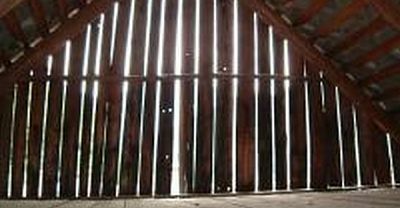 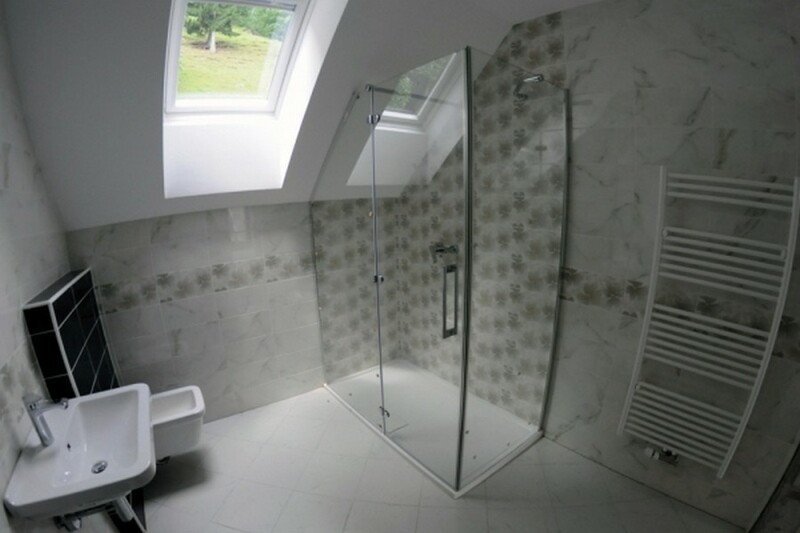 Below we have listed a mixture of case studies and before and after pictures to give a flavour of what kind of projects we can assist with. 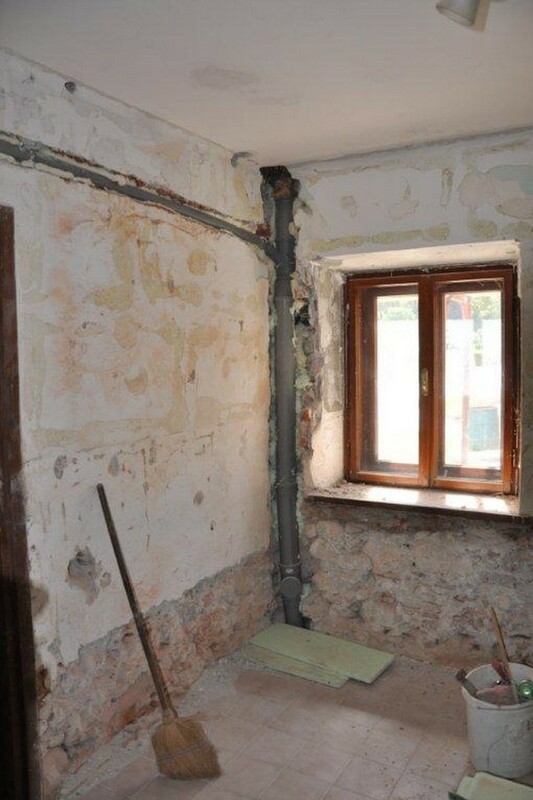 Having already worked with us on a number of previous projects the brief from our client on this property was very simple: “Please renovate it and I look forward to seeing the photos!”. 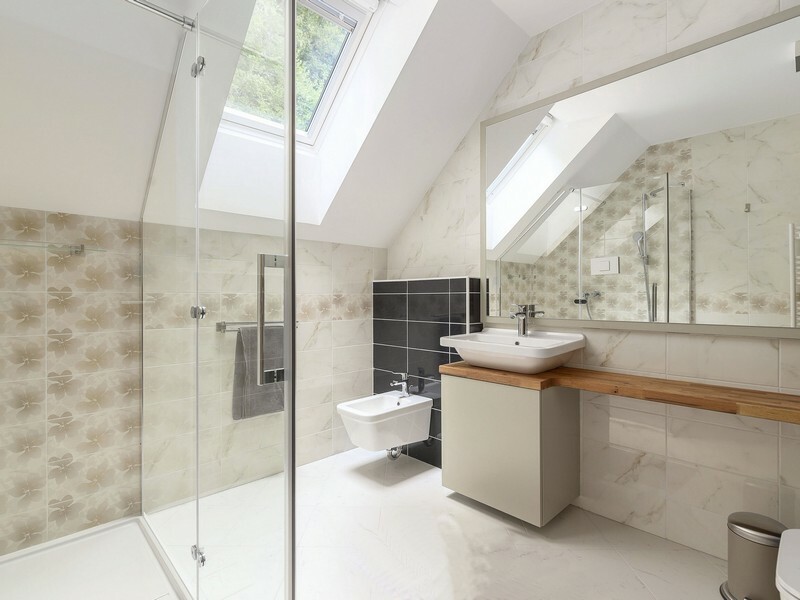 We agreed with the client that the layout could be optimised by moving some internal walls and repositioning rooms, with the kitchen open plan to the main living space and the bedroom where the kitchen once was, creating a separate one bedroom apartment from a studio. 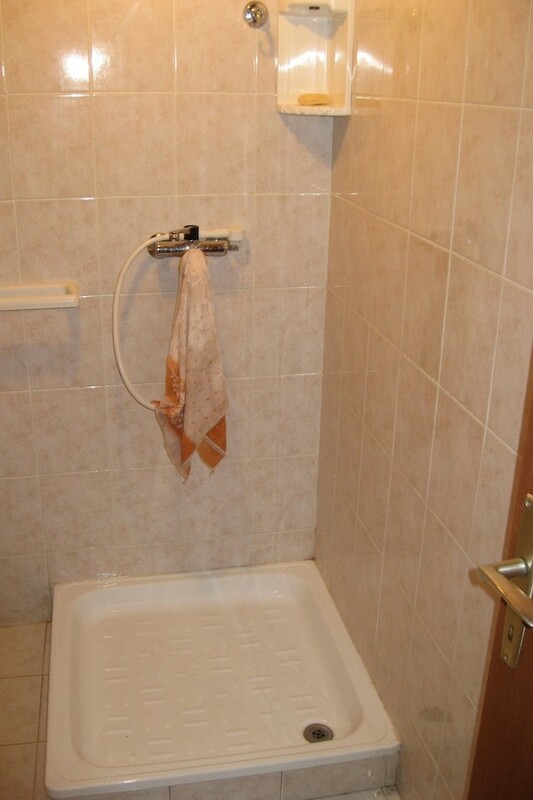 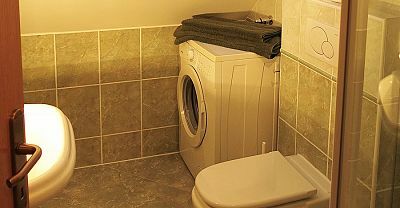 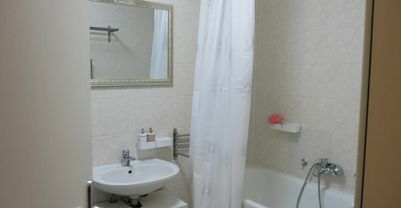 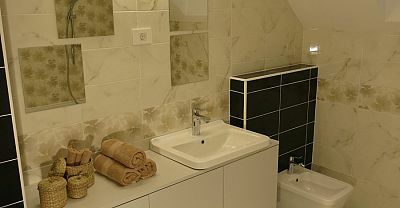 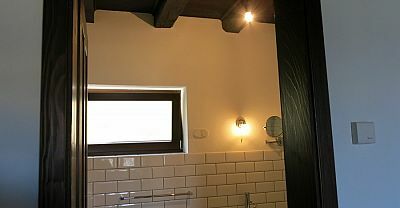 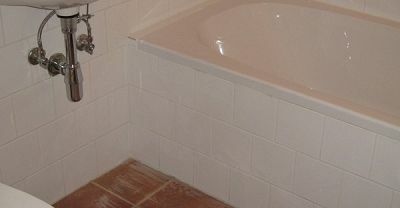 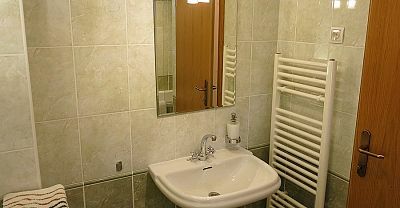 In addition we renovated the bathroom in full. 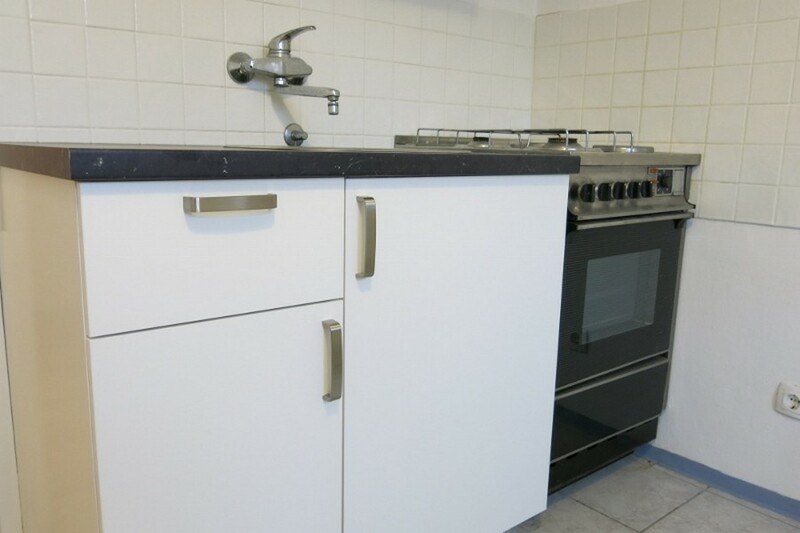 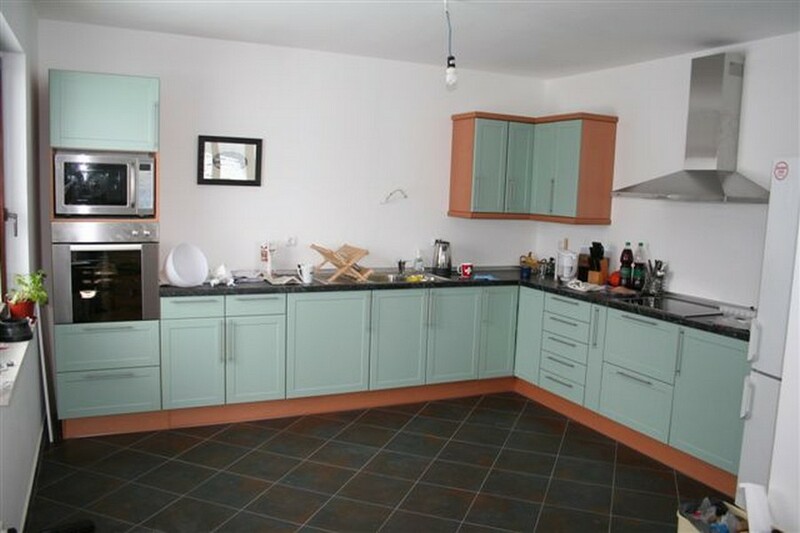 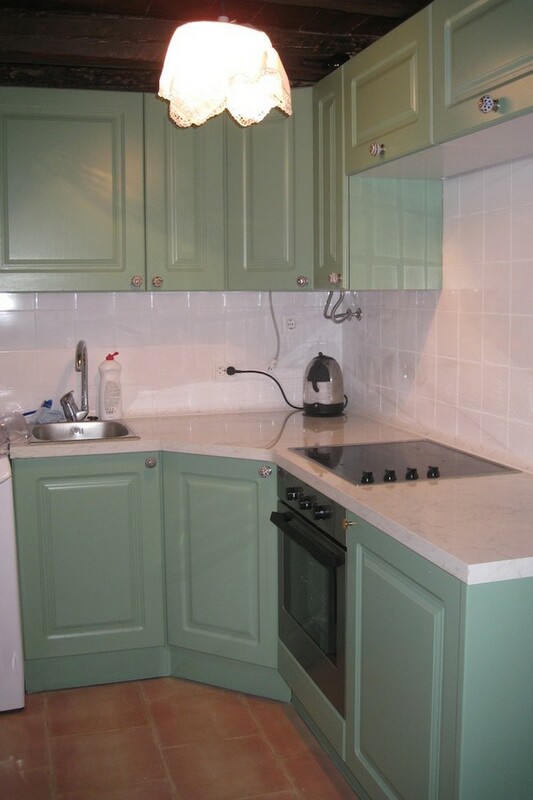 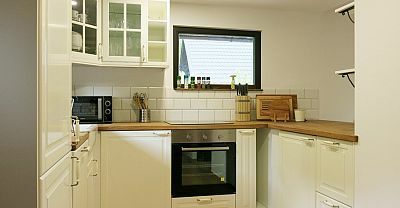 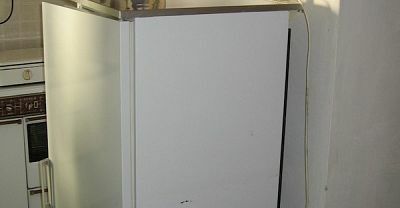 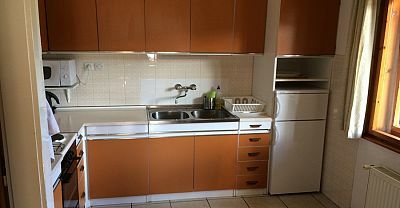 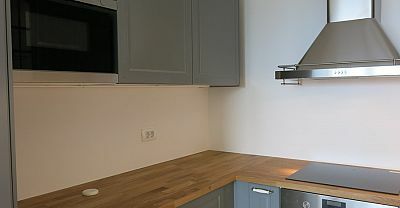 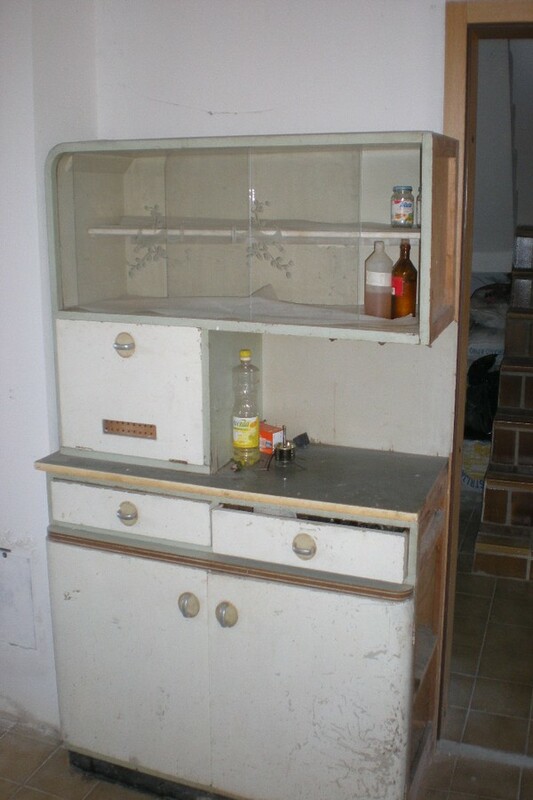 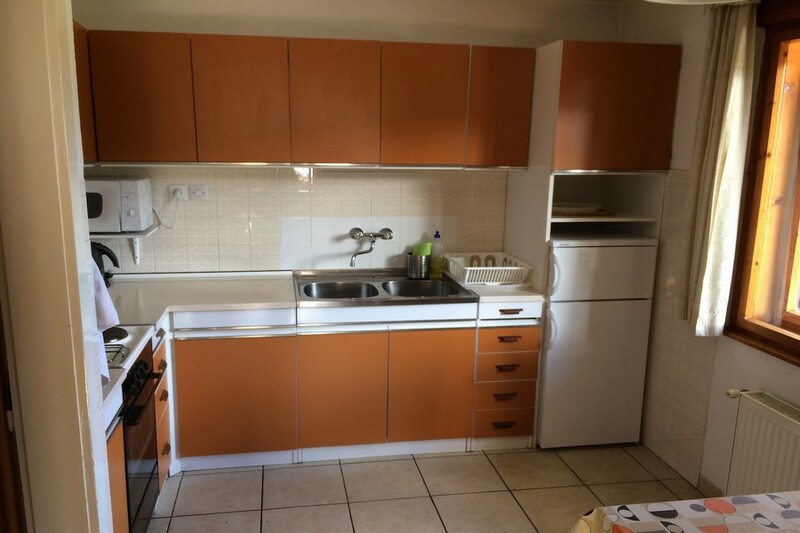 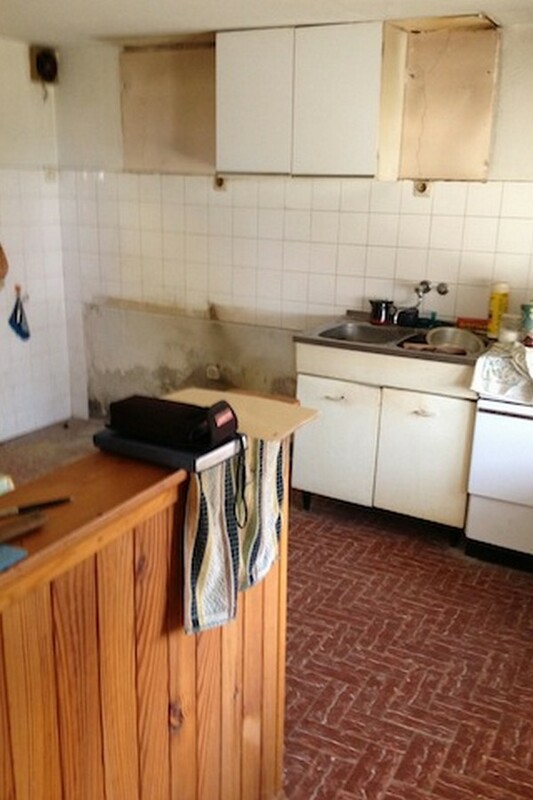 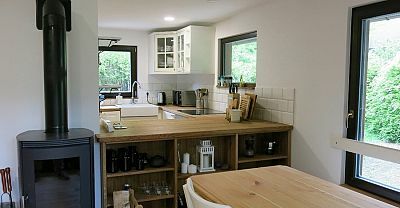 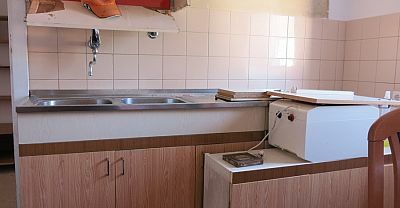 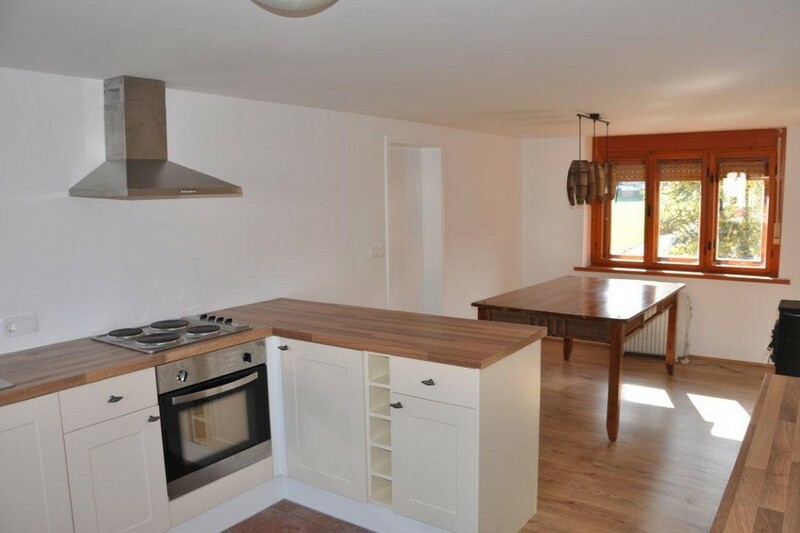 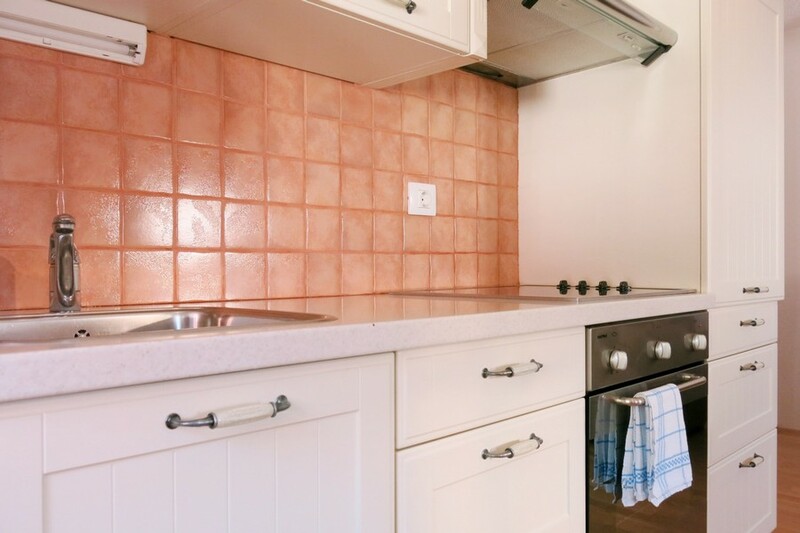 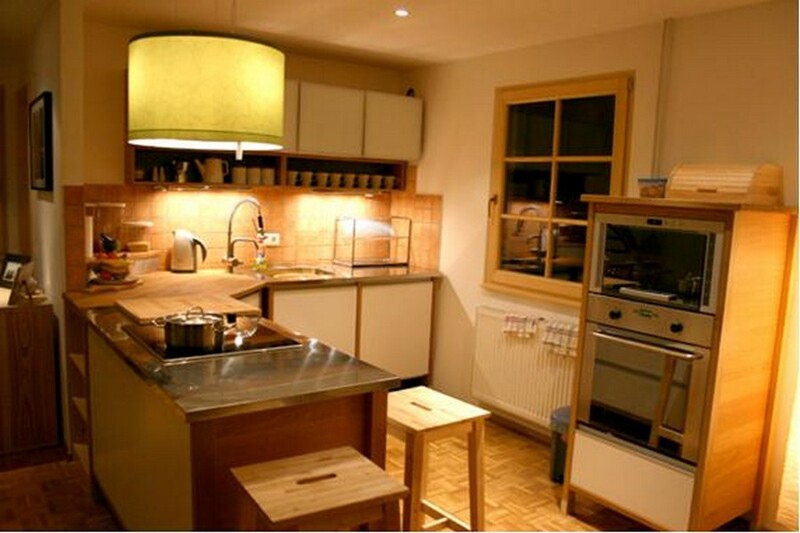 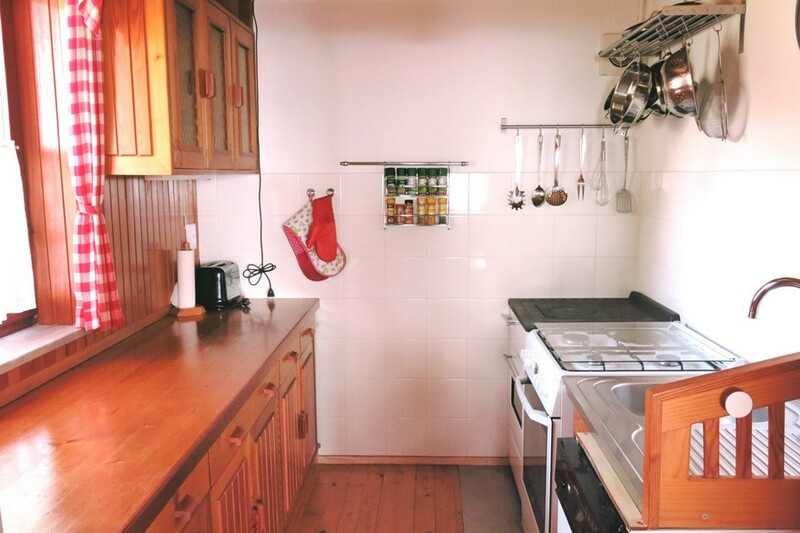 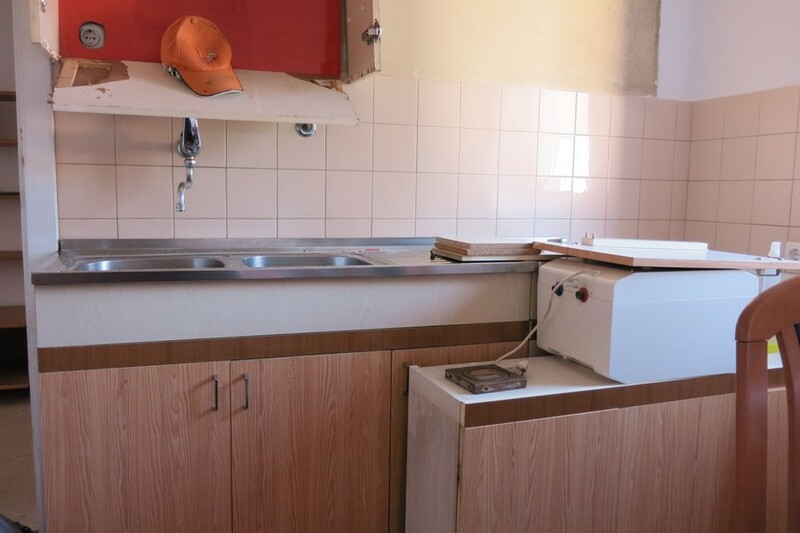 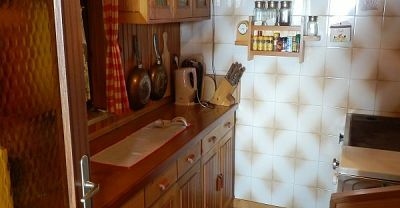 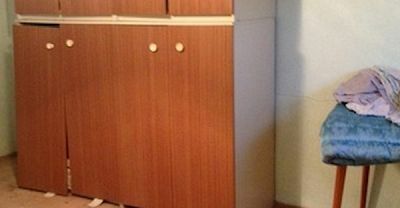 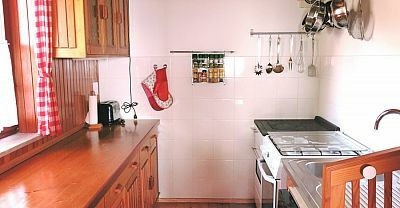 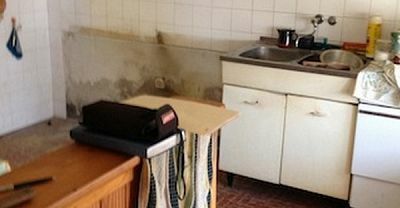 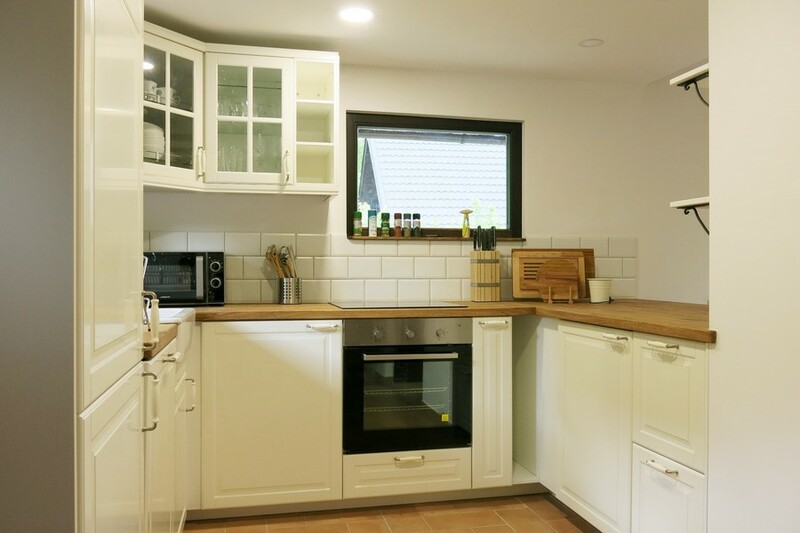 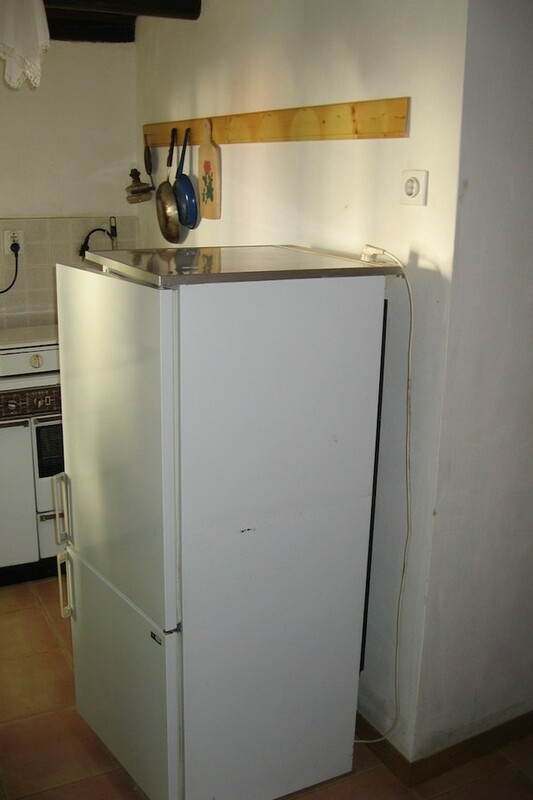 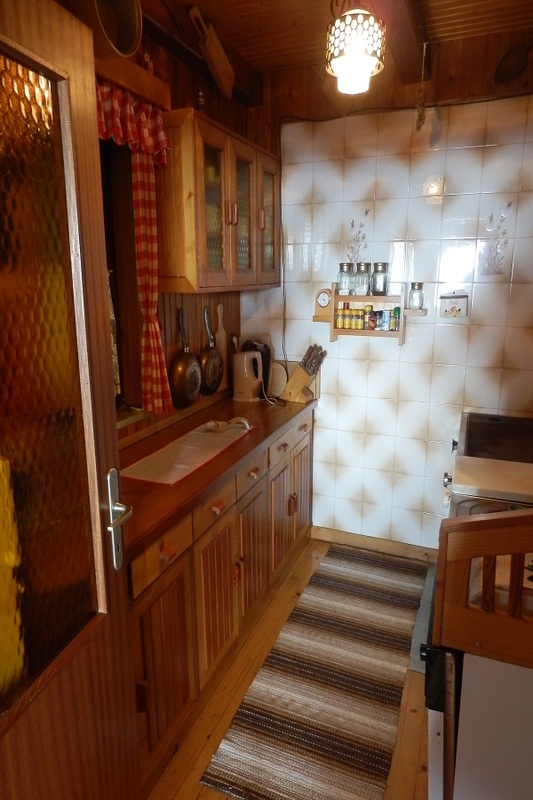 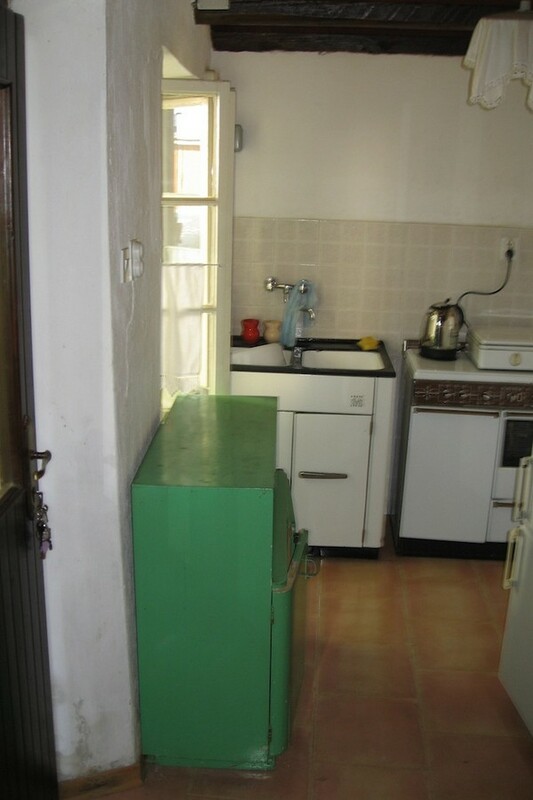 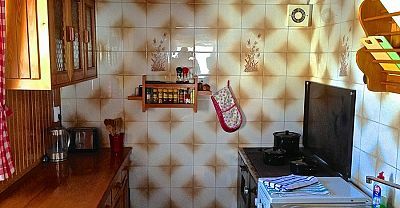 The kitchen was a great example of upcycling - taking a very average old kitchen and servicing / professionally repainting it for a few hundred euros to create a great looking product which is great for the environment as well as the owners wallet! 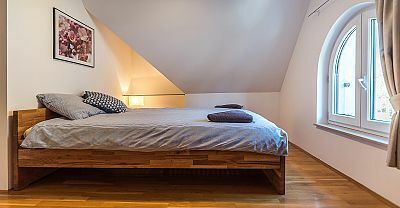 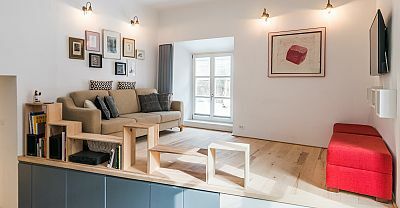 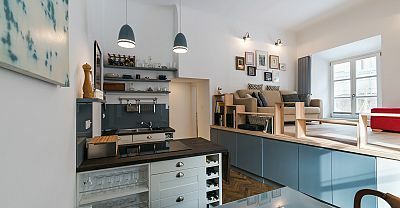 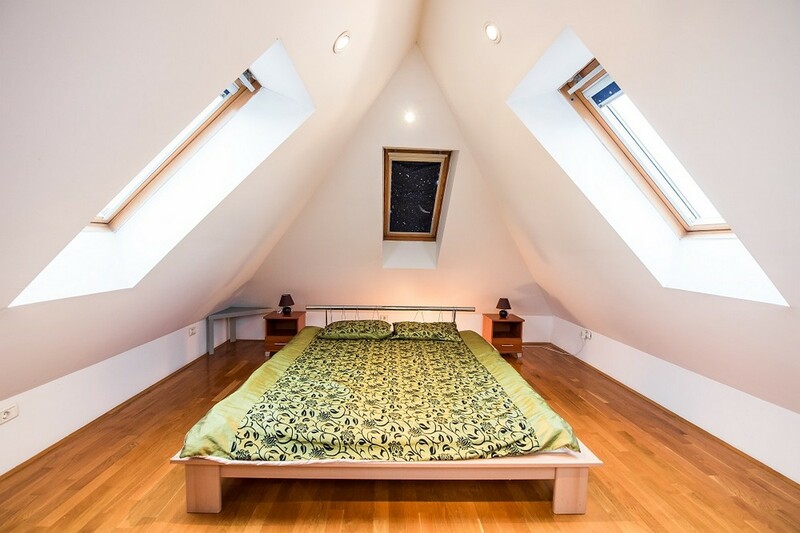 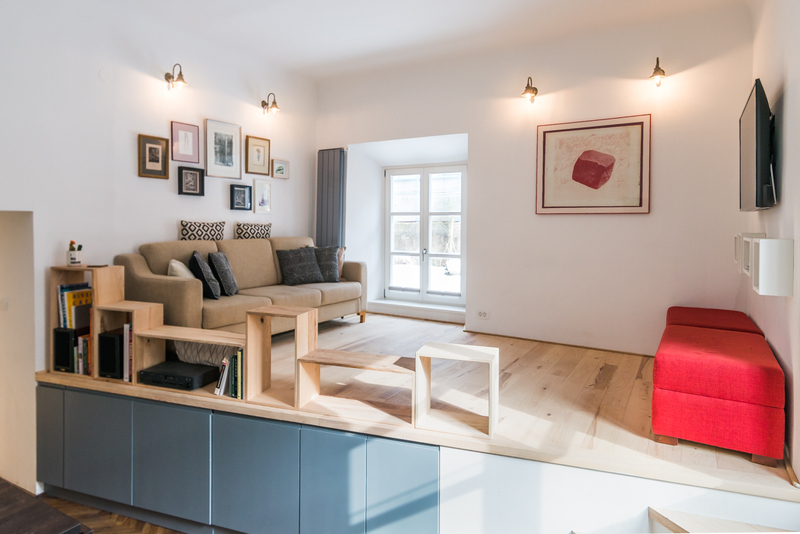 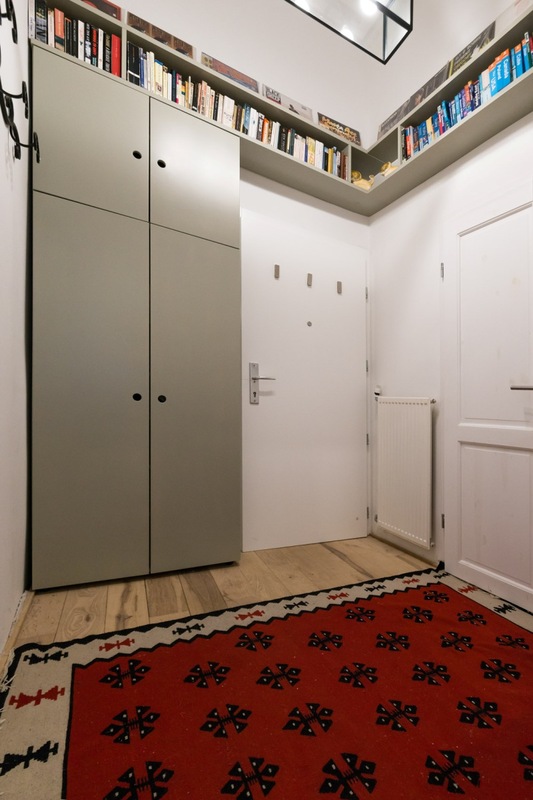 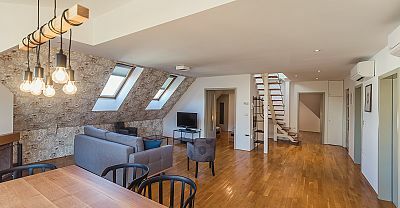 Specifically purchased with the intention of short term tourist rental, this lovely 3 bedroom Ljubljana loft apartment was looking a little dated in terms of internal fittings and furnishings and the new owners challenged us to transform it on a very tight budget. 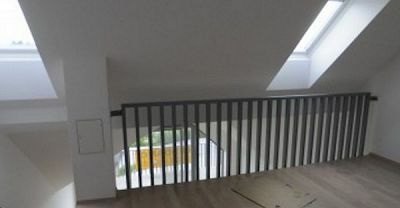 This was done by changing select pieces of internal furniture, repainting internal doors and woodwork, changing lighting and some showpiece items such as changing iron stair bannisters for a sleek glass fence. 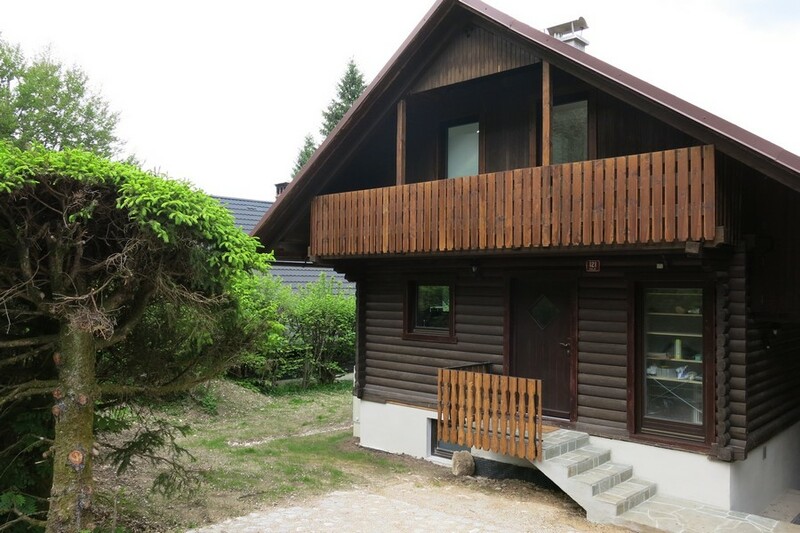 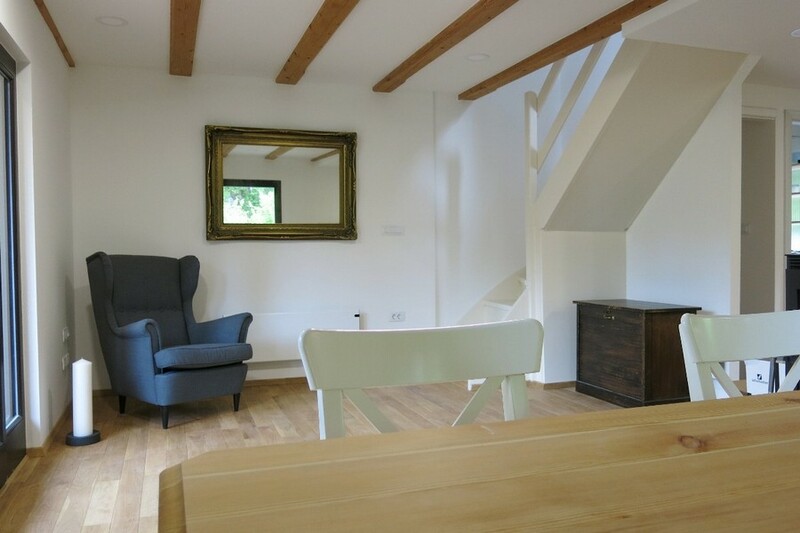 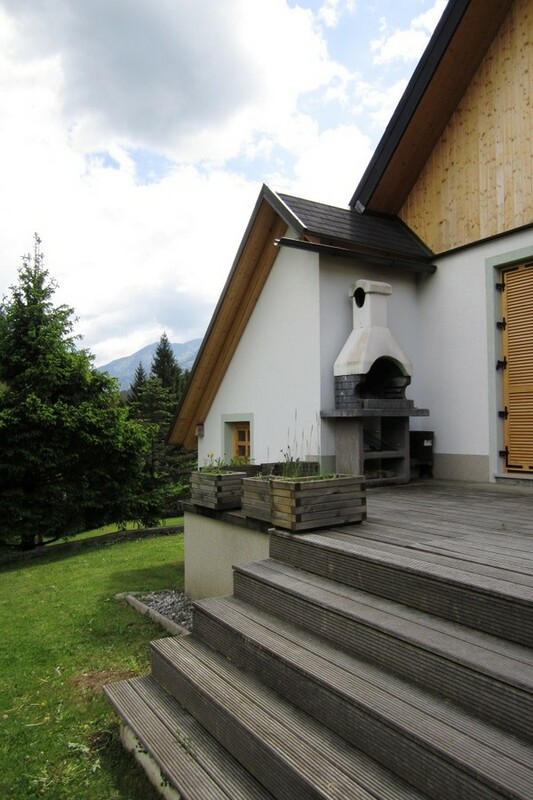 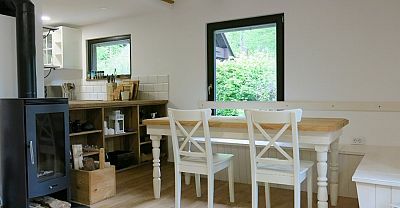 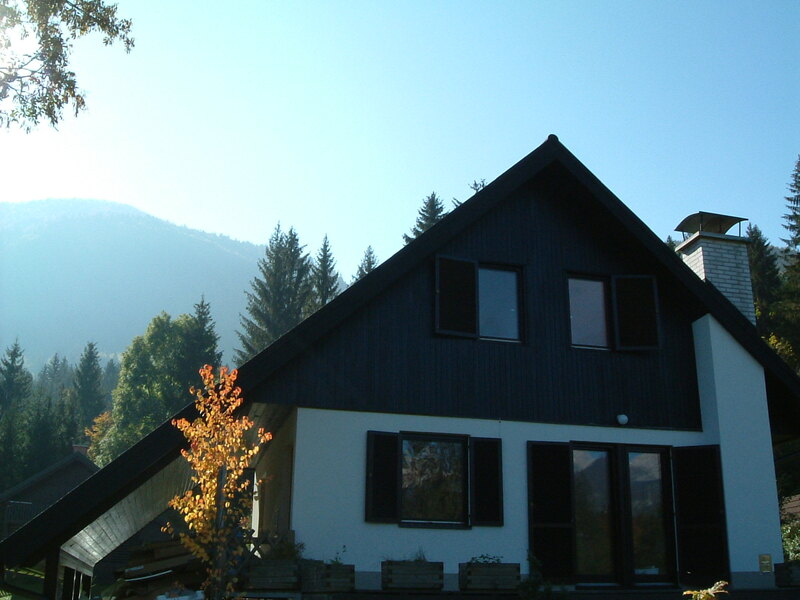 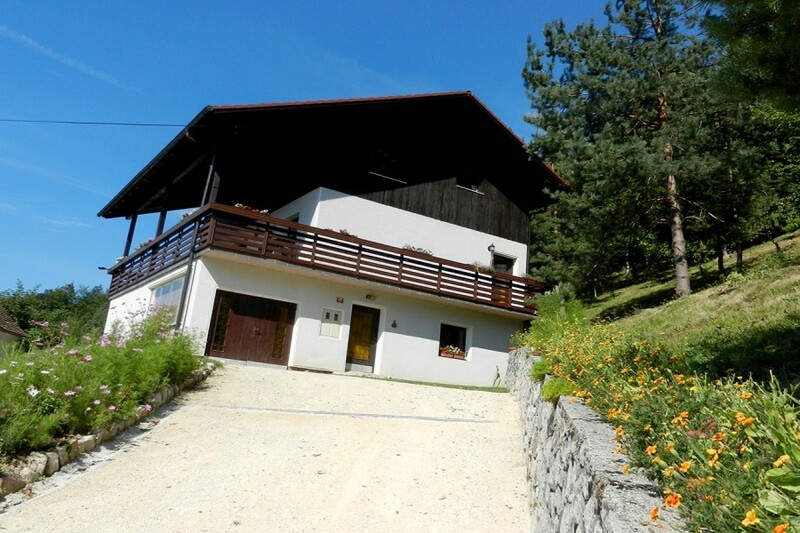 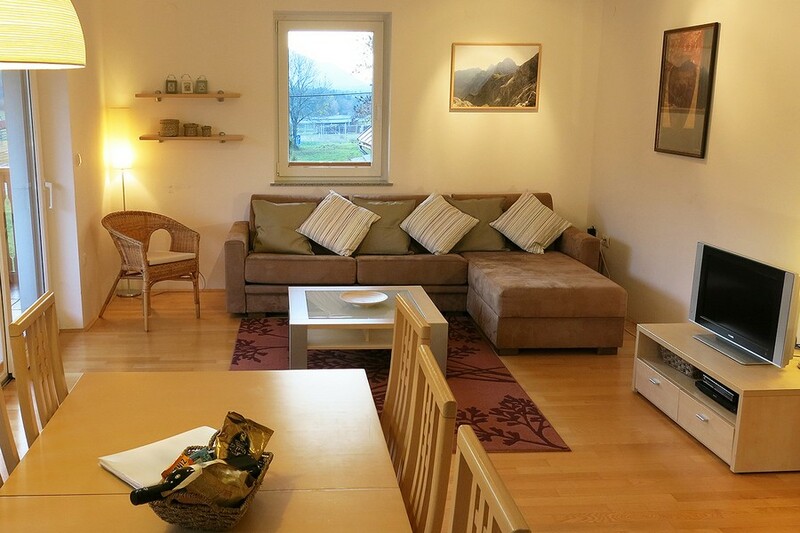 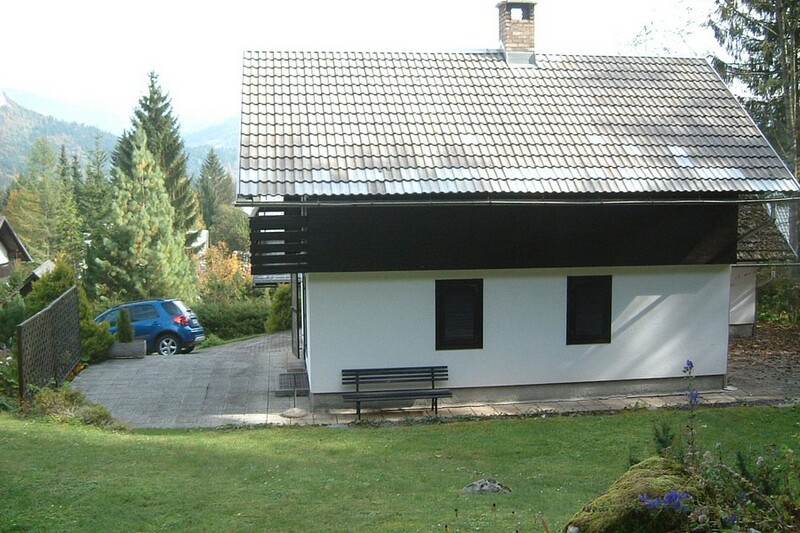 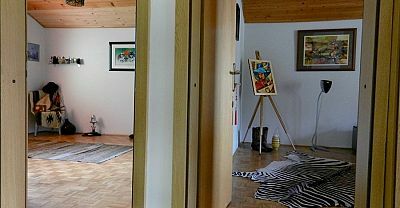 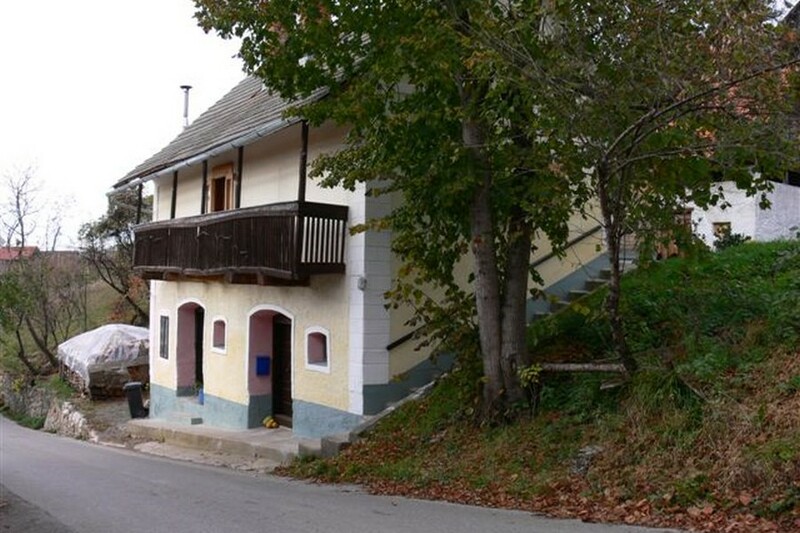 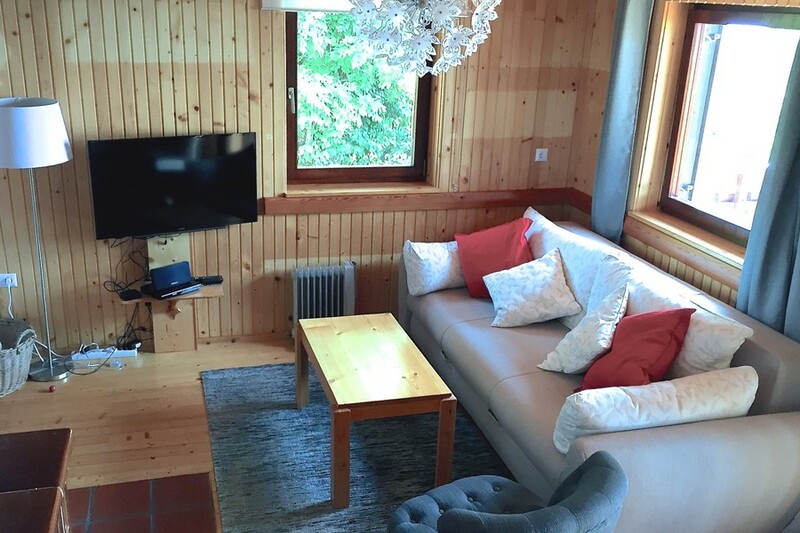 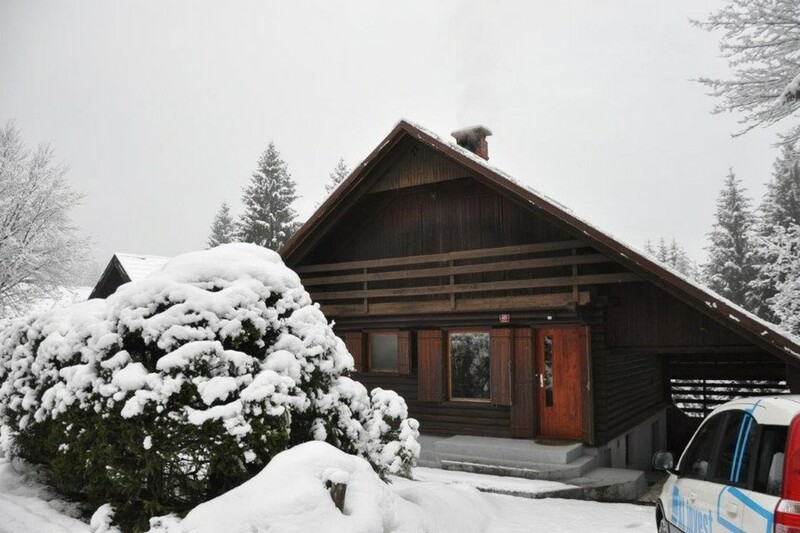 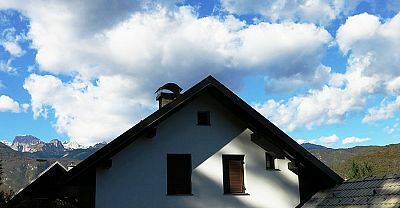 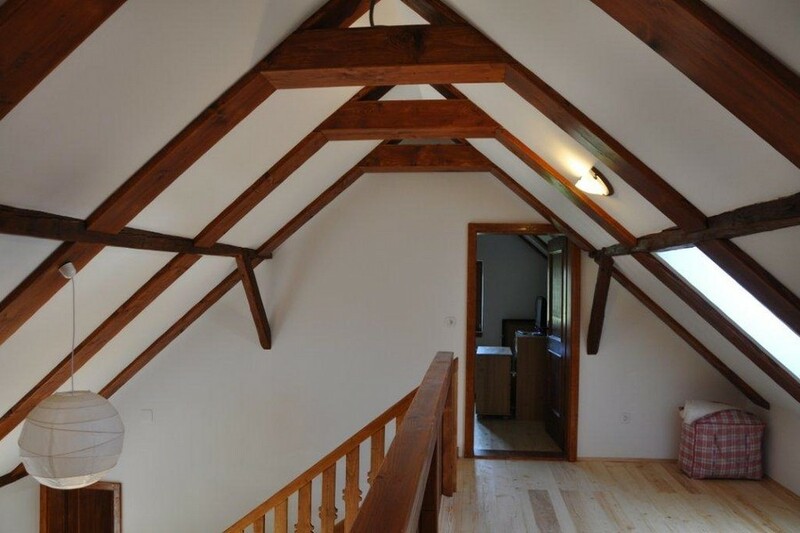 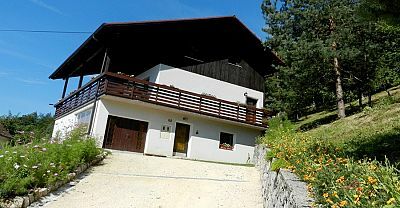 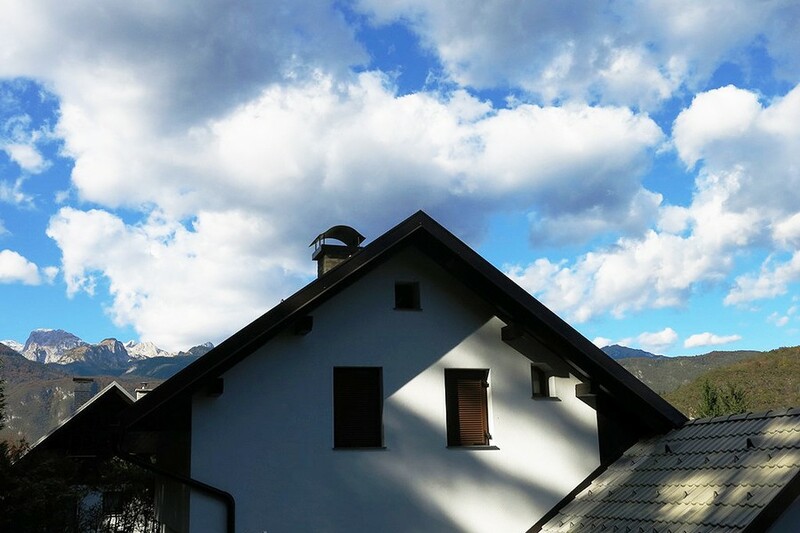 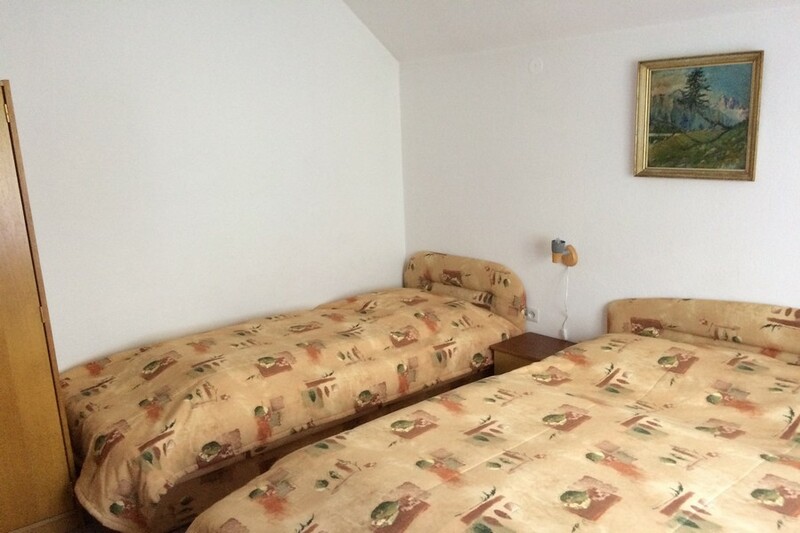 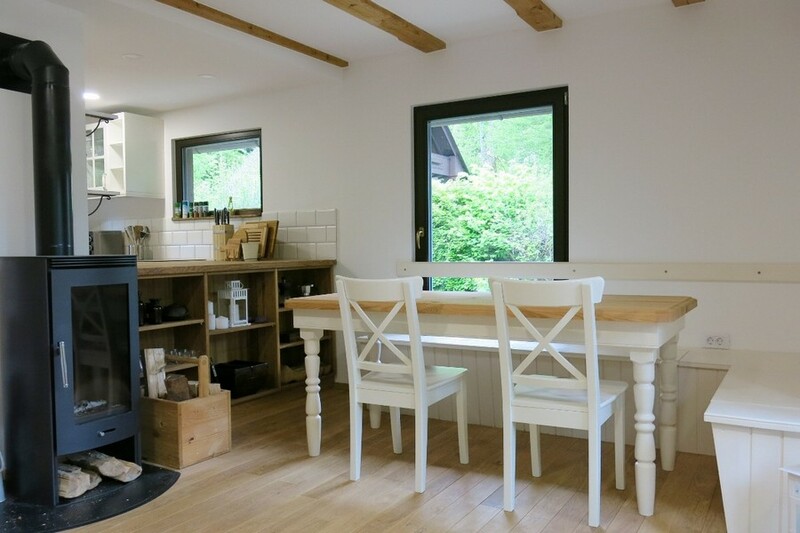 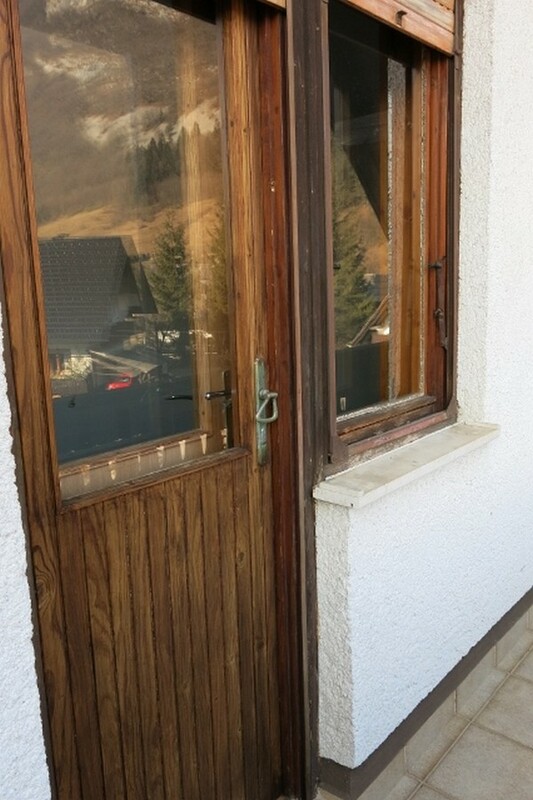 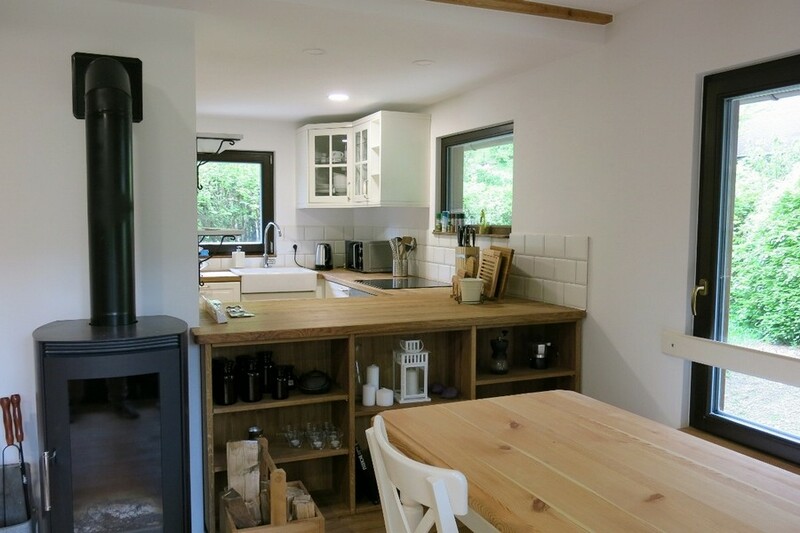 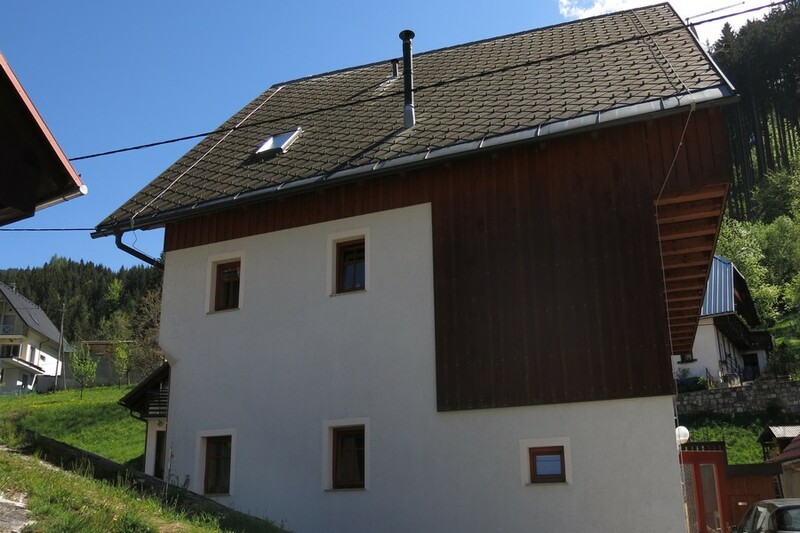 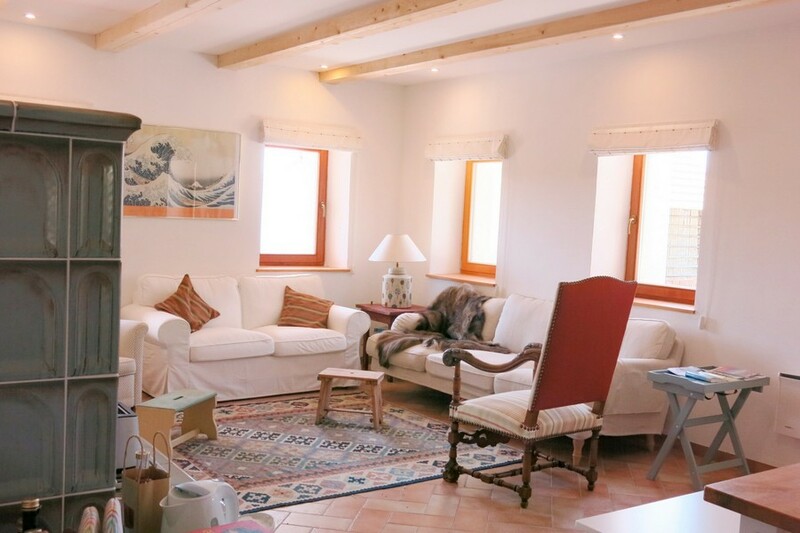 An Asian based client bought this charming weekend house or "vikend" as Slovenian's like to call it in a lovely hamlet of typical weekend cottages near lake Bohinj. 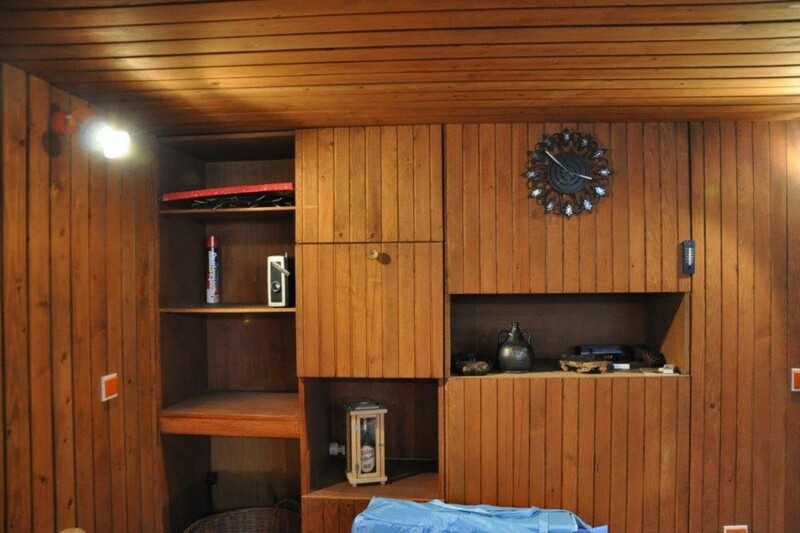 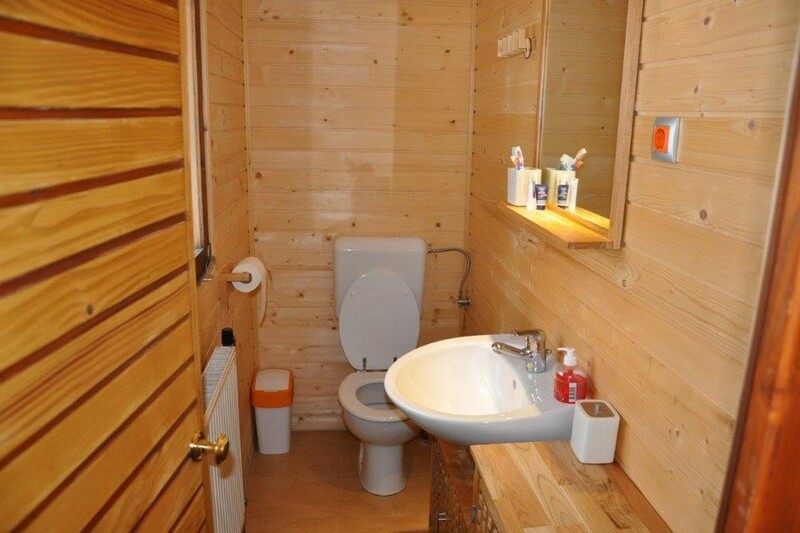 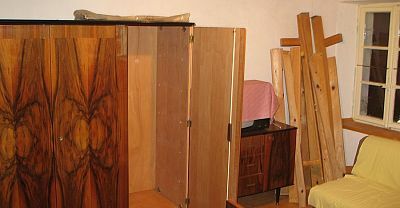 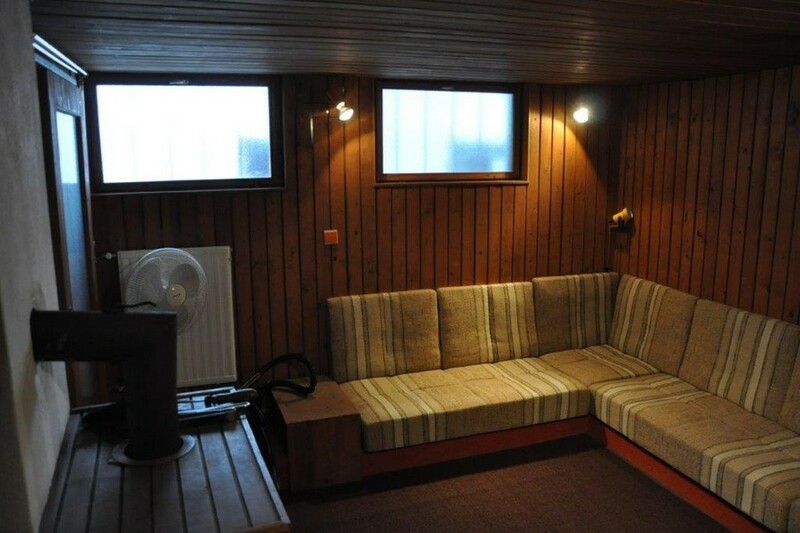 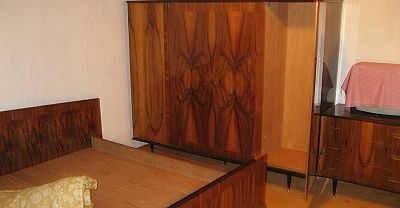 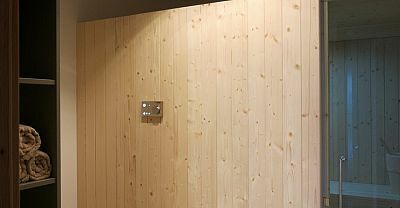 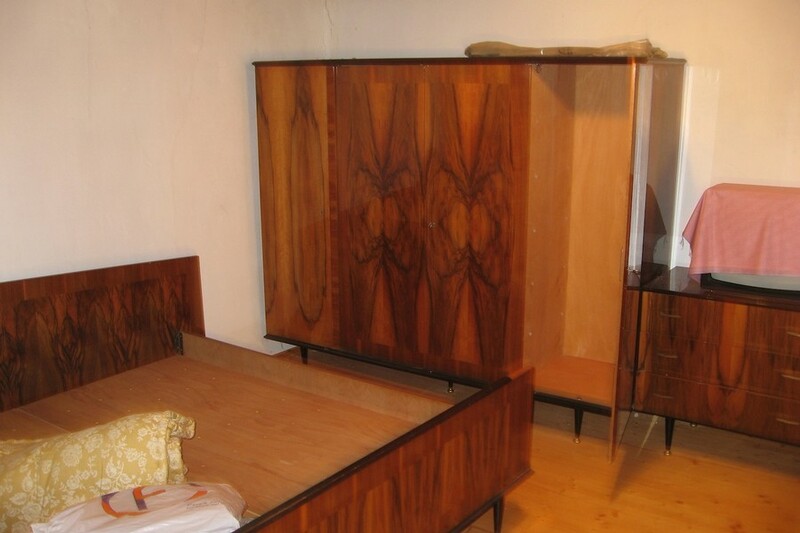 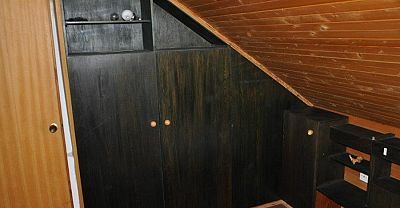 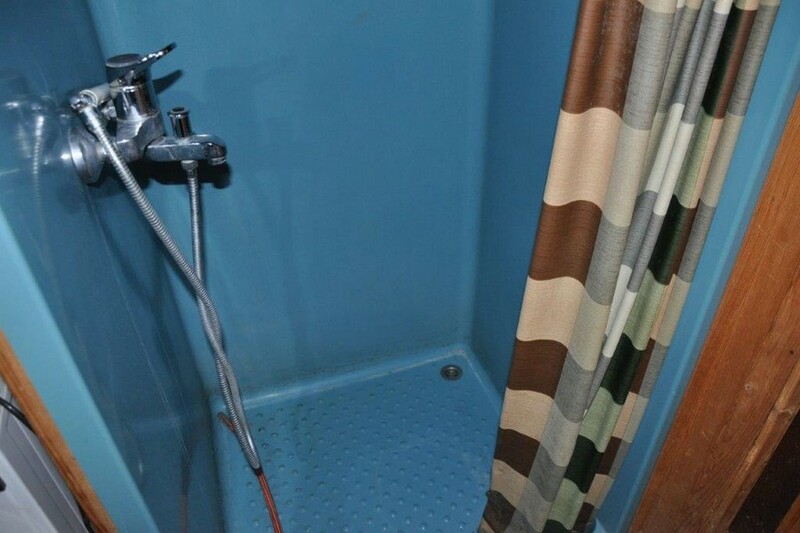 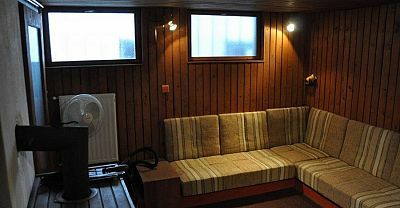 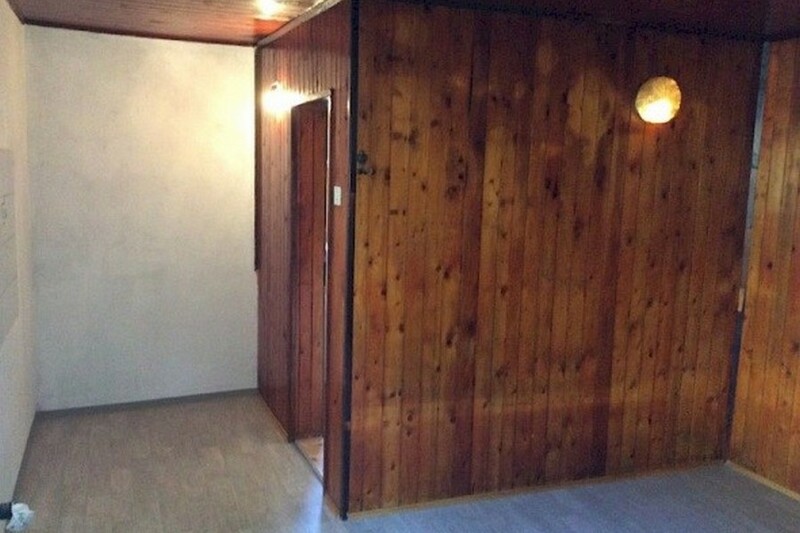 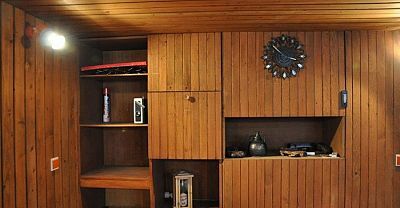 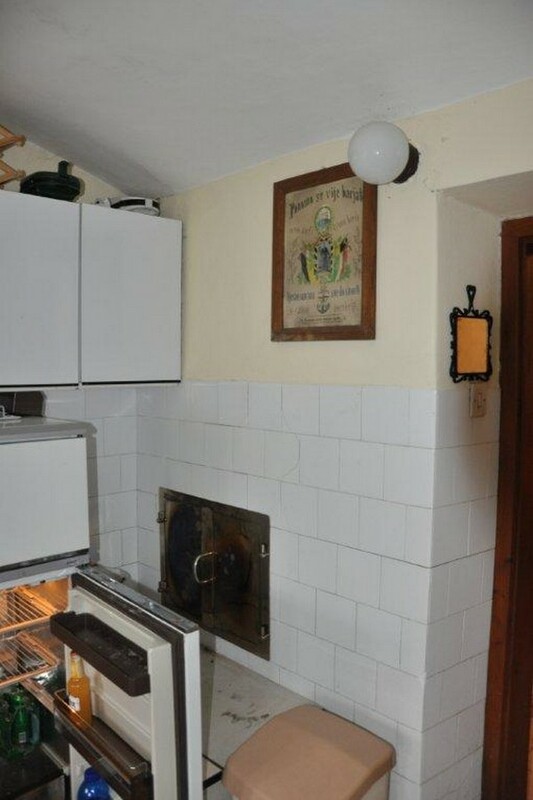 It had a lot of features dating back to the 1980s when it was built such as ubiquitous wood panelling. 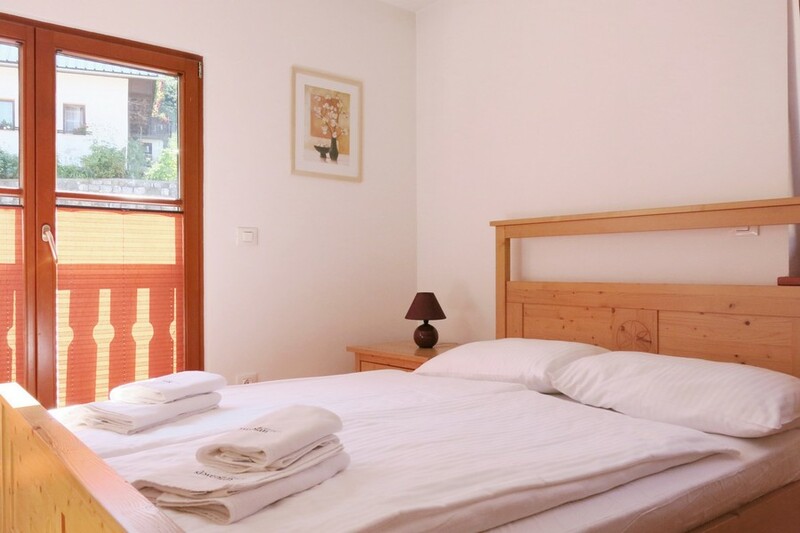 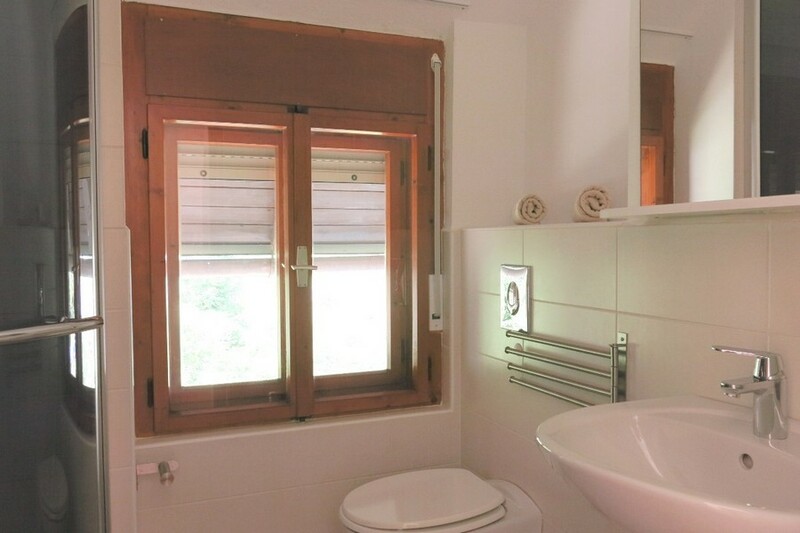 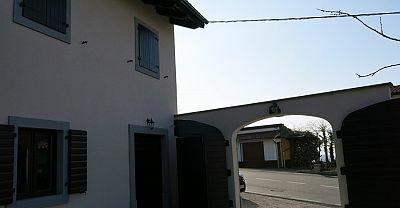 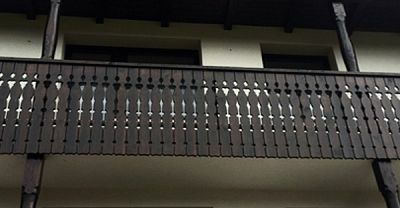 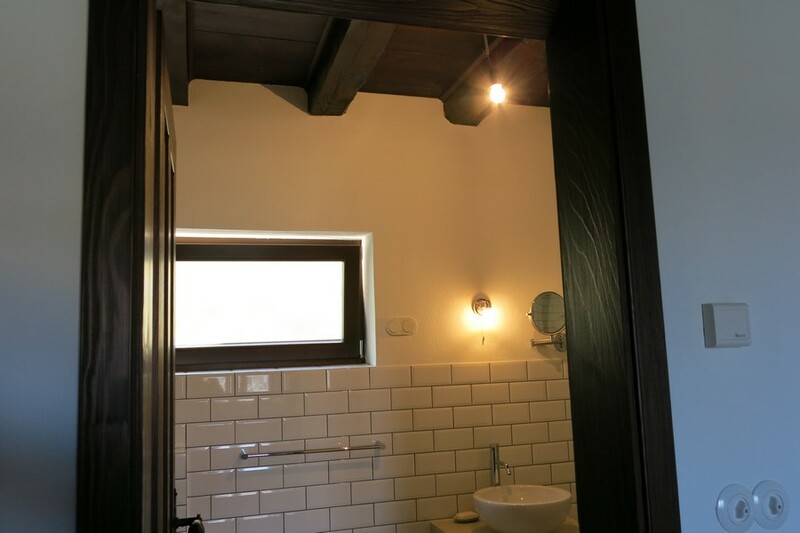 The client wished to modernise and maximise the positive features of the building for the purpose of his own holiday use and renting it out for tourism. 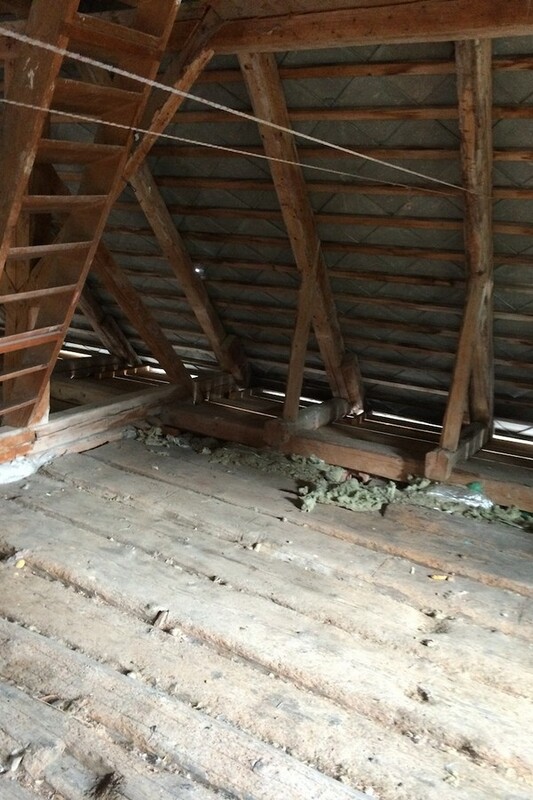 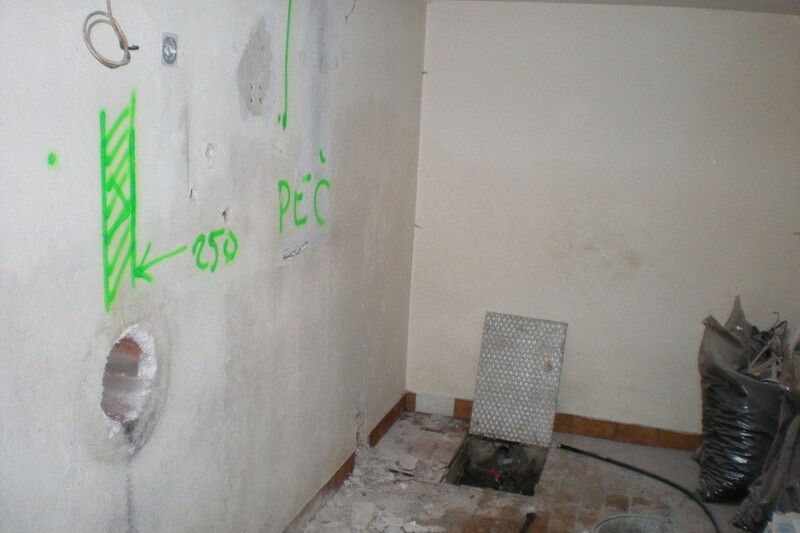 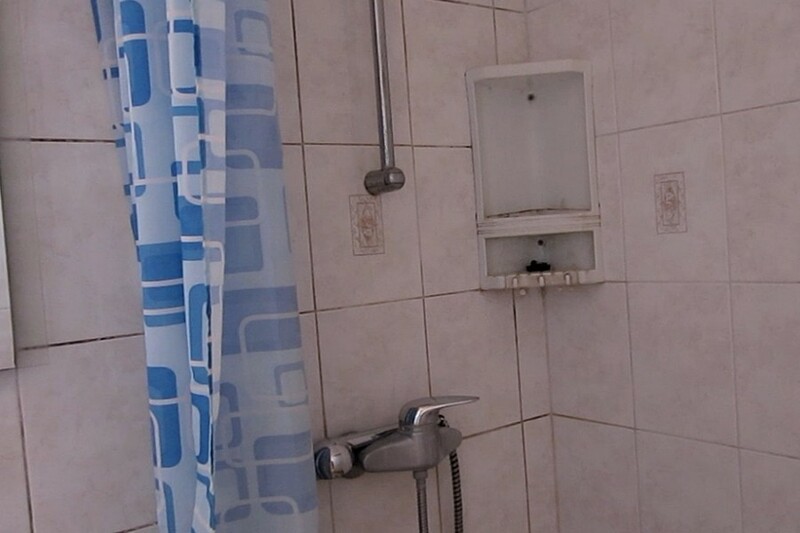 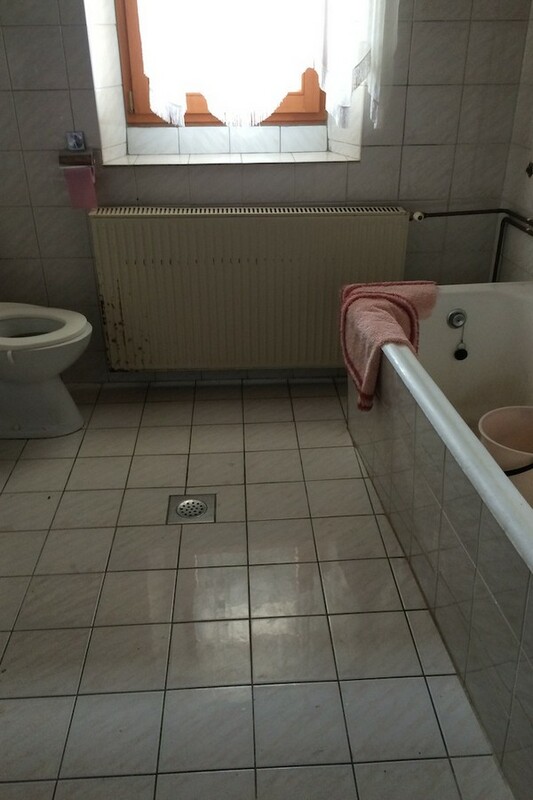 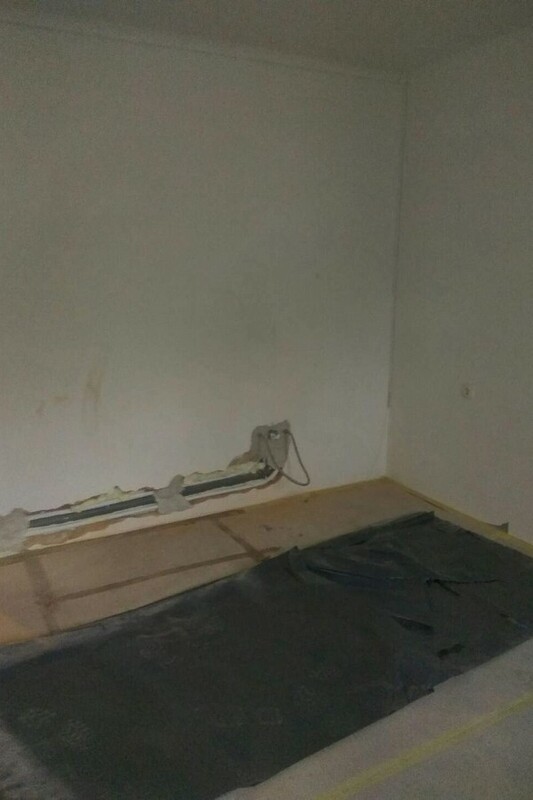 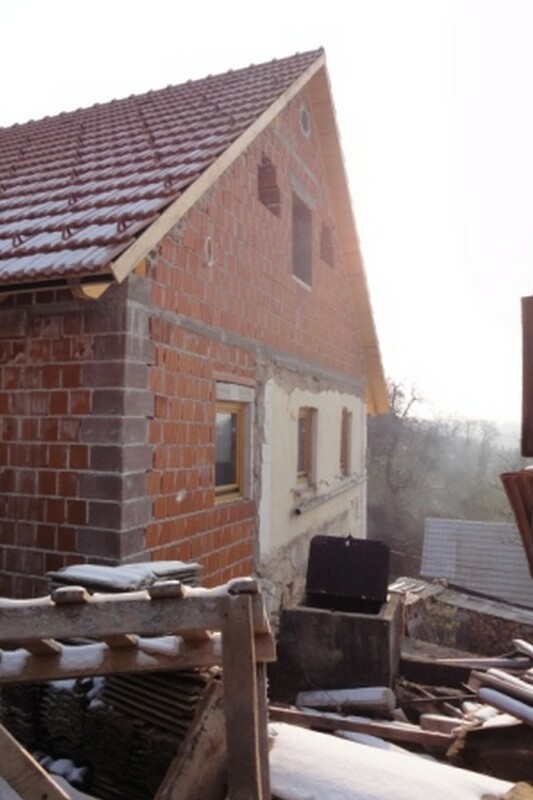 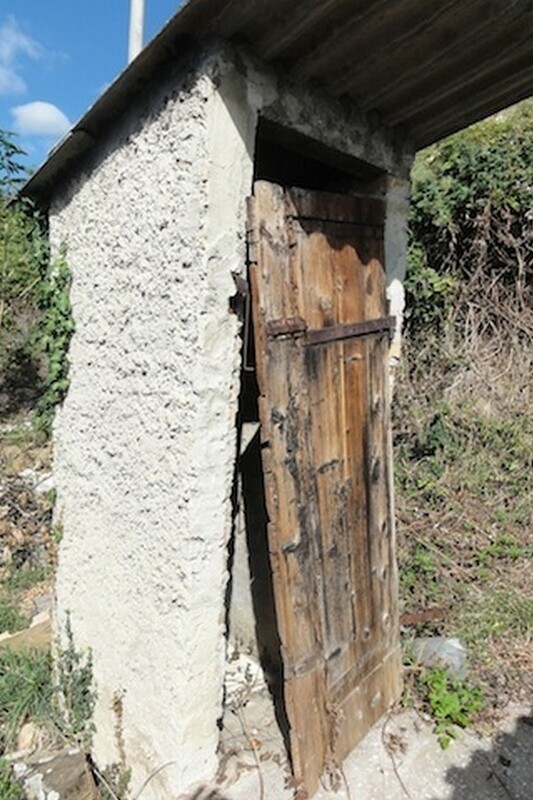 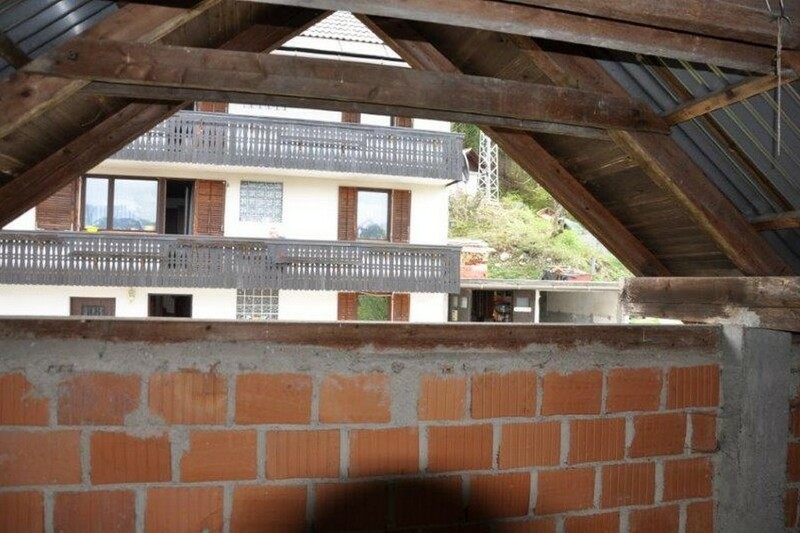 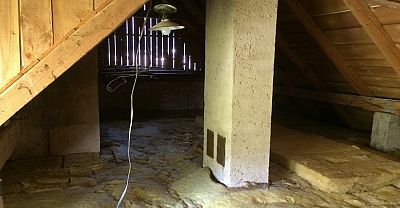 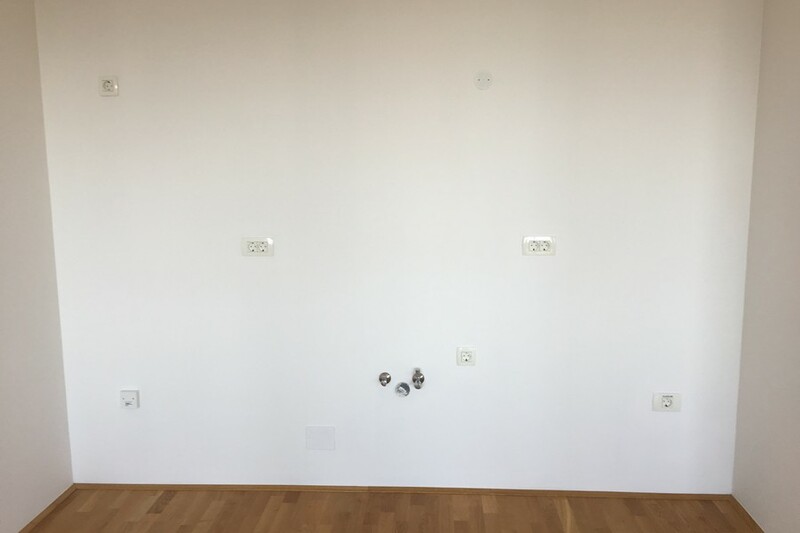 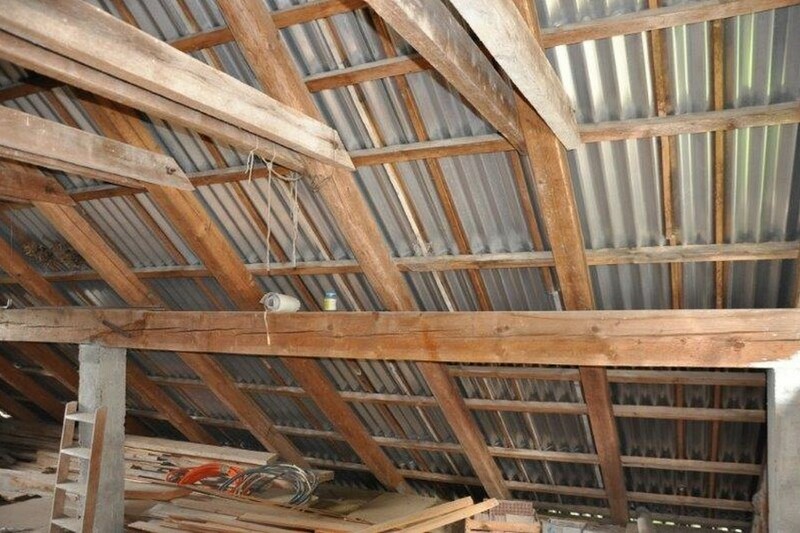 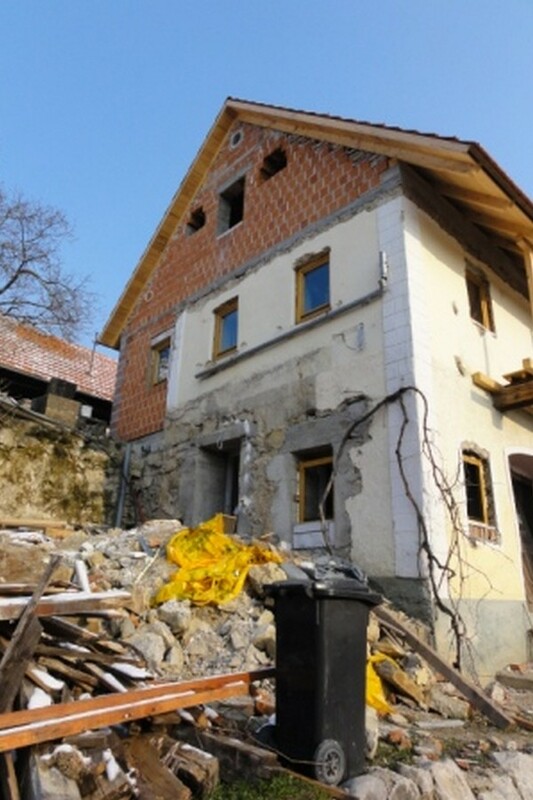 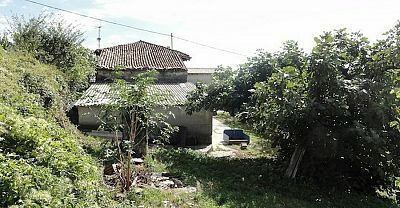 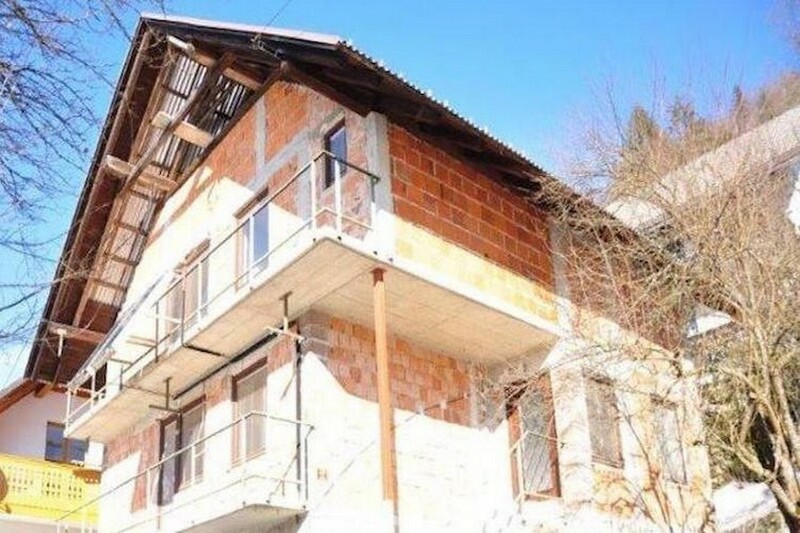 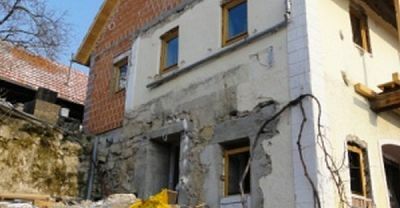 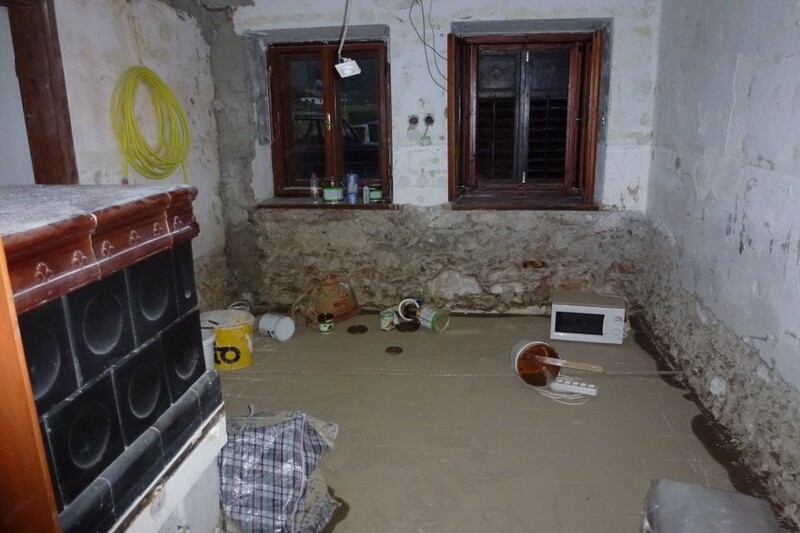 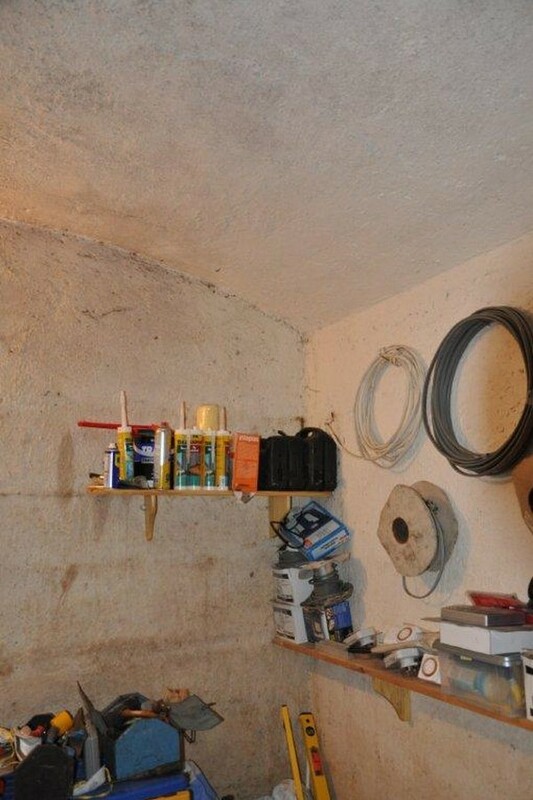 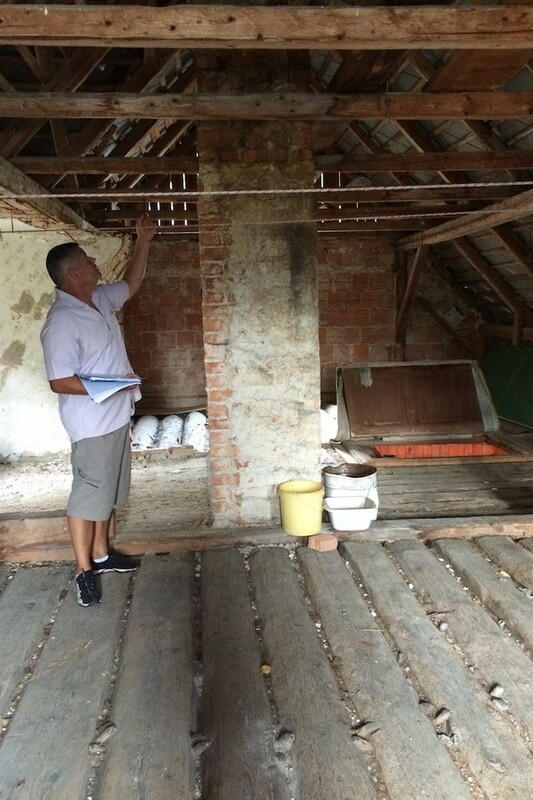 After arranging intial surveys, Think Slovenia helped the owners contract with some partner builders from the area who took on the complete renovation project. 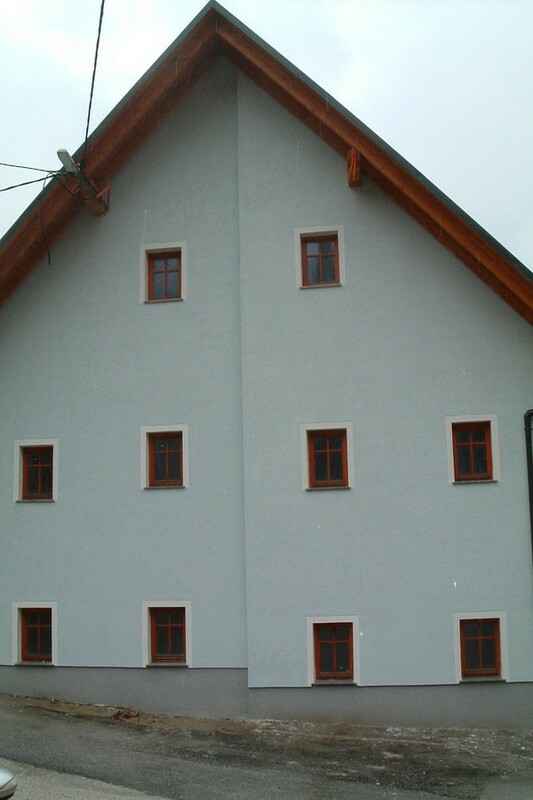 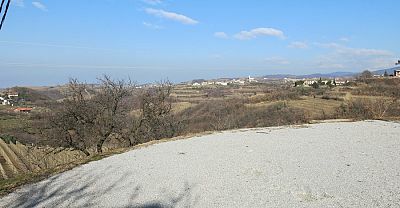 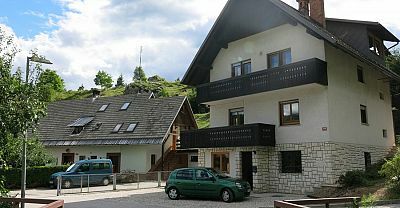 Now completed the property is being successfully rented out and managed by Think Slovenia. 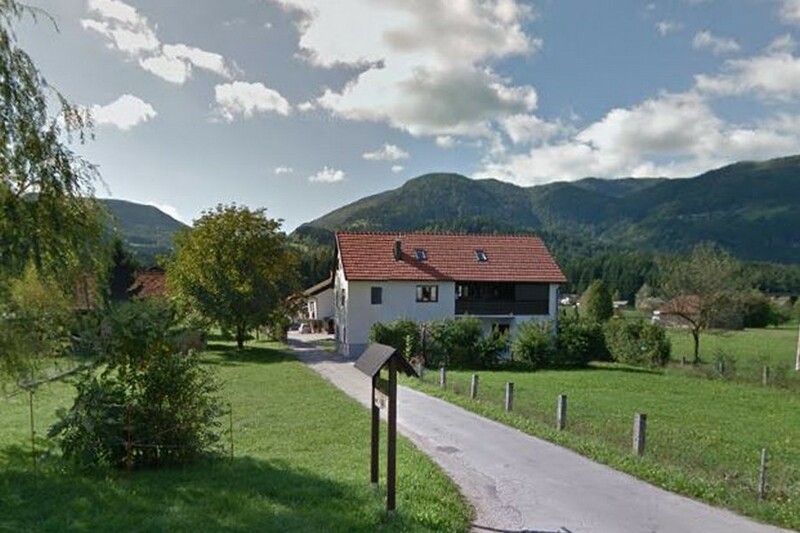 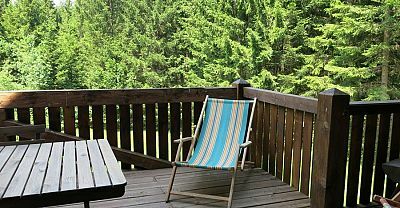 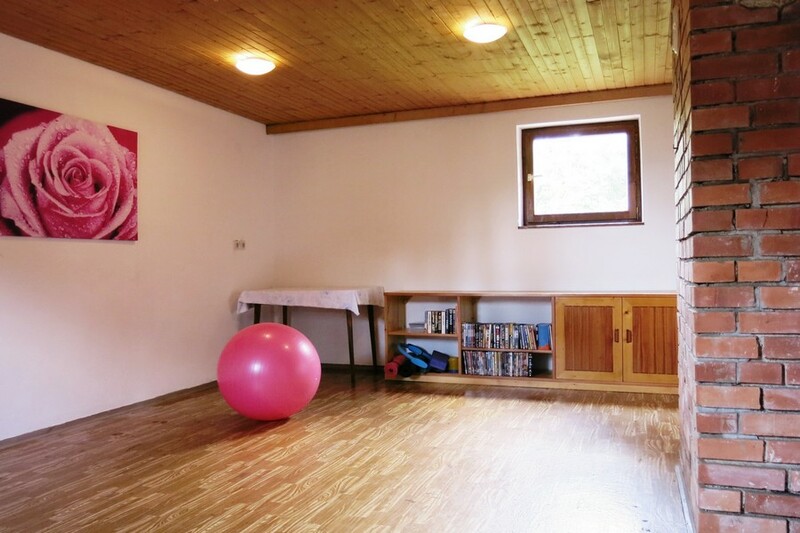 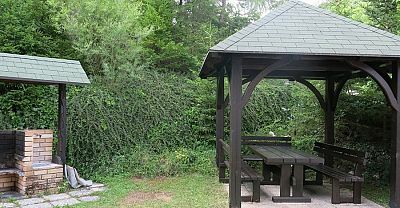 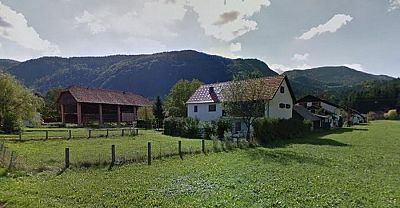 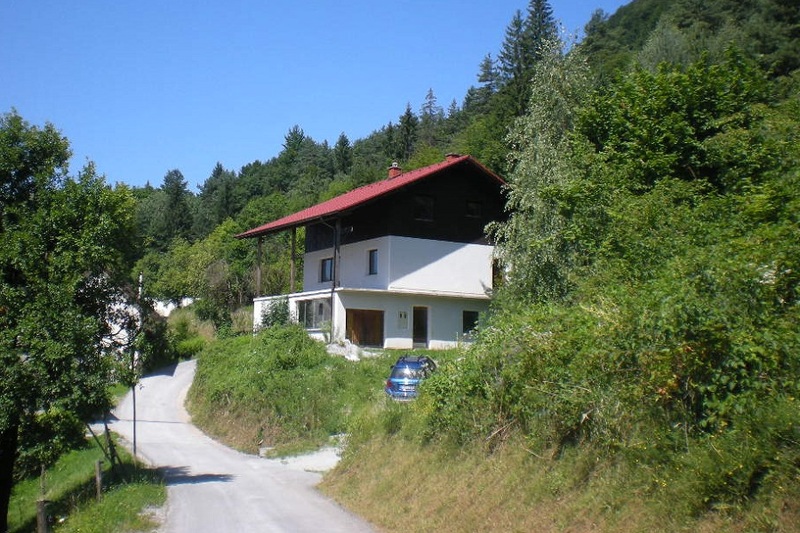 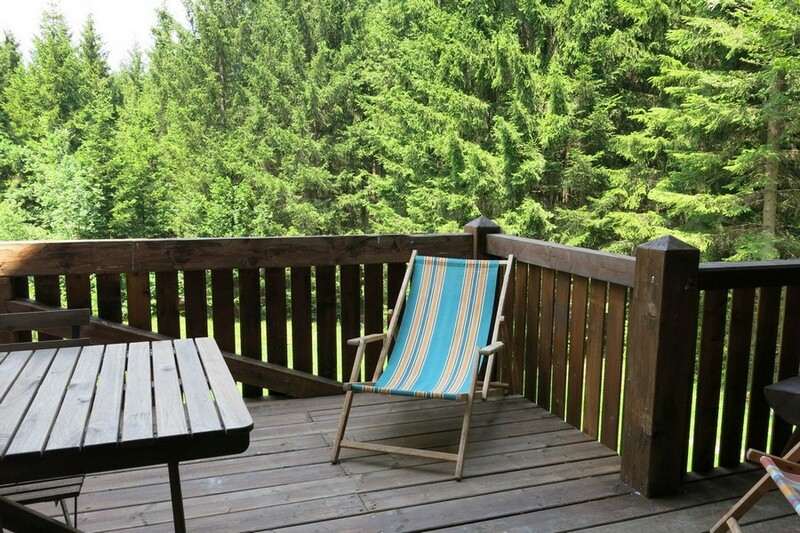 Think Slovenia identified the property for a client on basis of a brief to find a beautiful spacious holiday house in a region packed full of outdoor activities for owner's holidays and tourist rental. 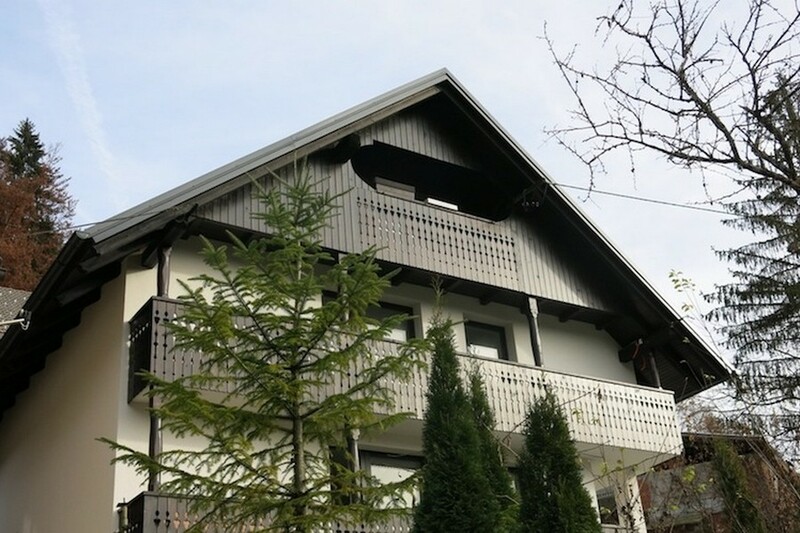 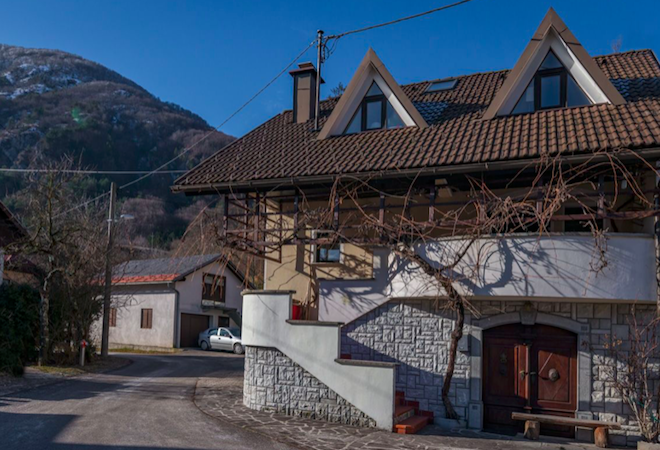 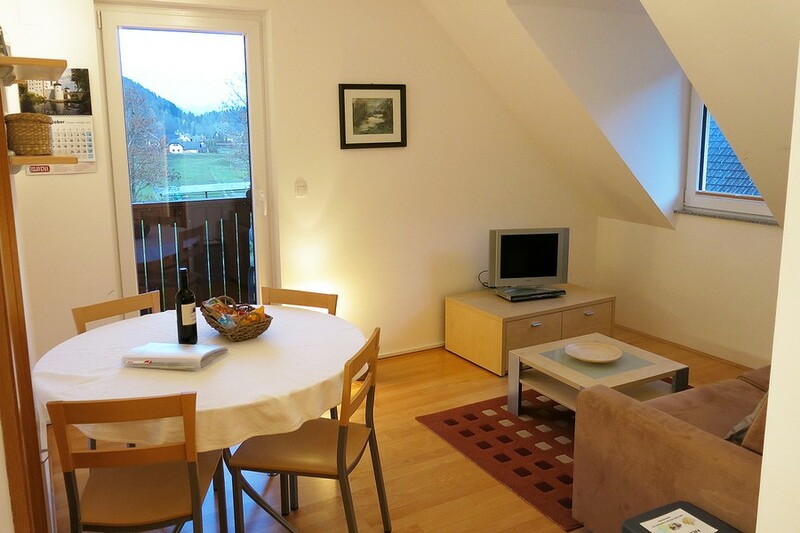 We focused on the lake Bled and Bohinj region and the client decided for this lovely riverside house in Stara Fužina in walking distance to Lake Bohinj. 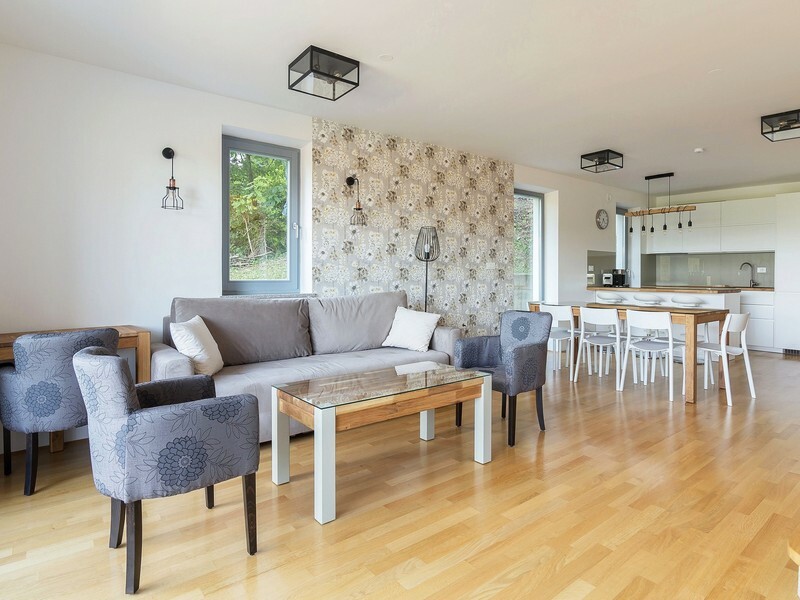 The house was in good overall condition but needed modernising, and changes to layout to maximise space and create open plan living areas, with basement spaces also converted for residential usage. 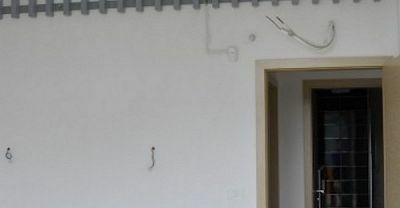 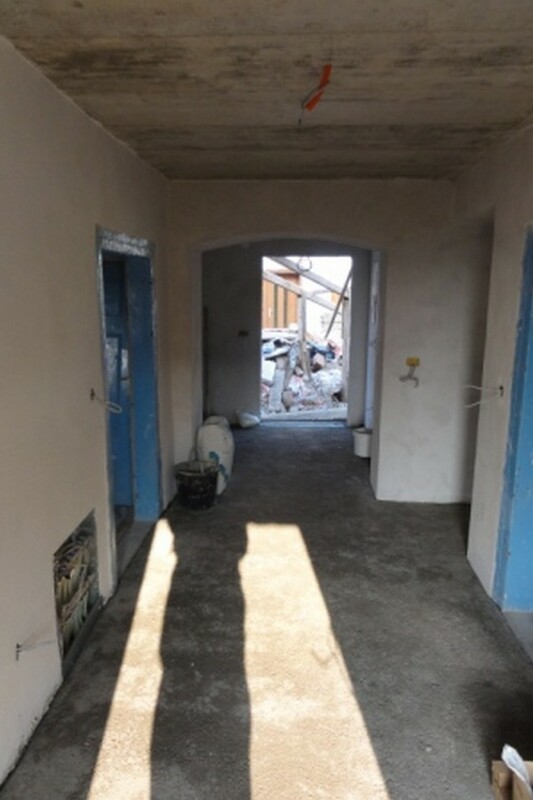 Our local team of partner builders took on the project on and have created a wonderful comfortable house which is performing strongly for rental form day one. 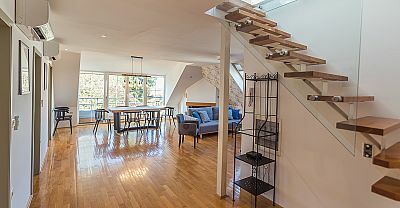 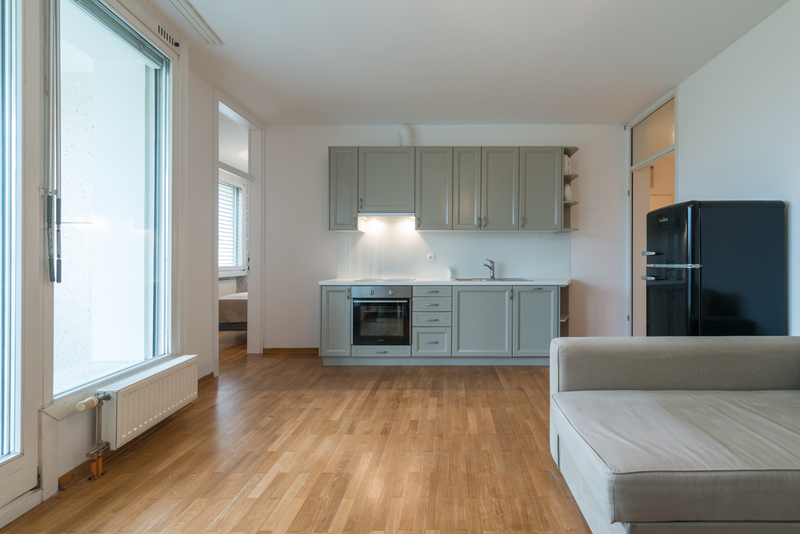 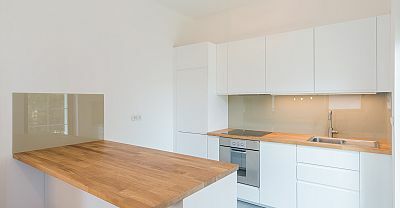 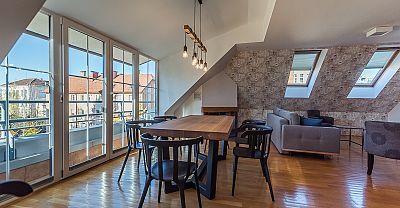 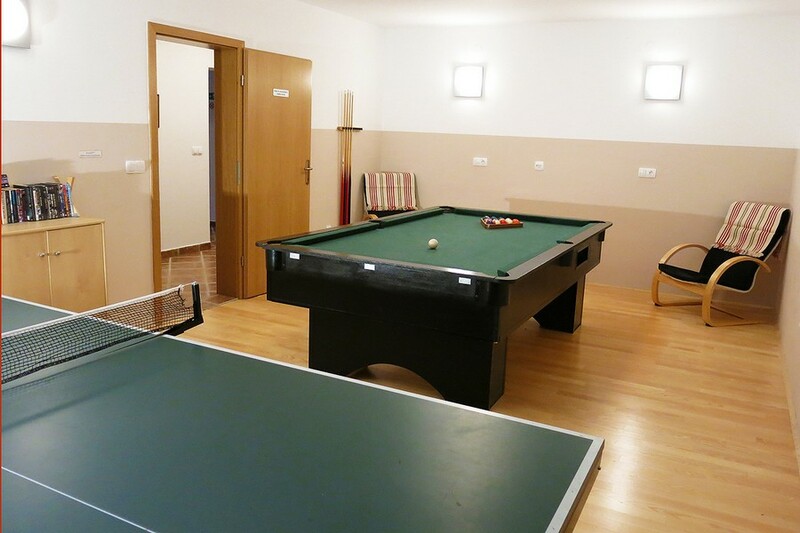 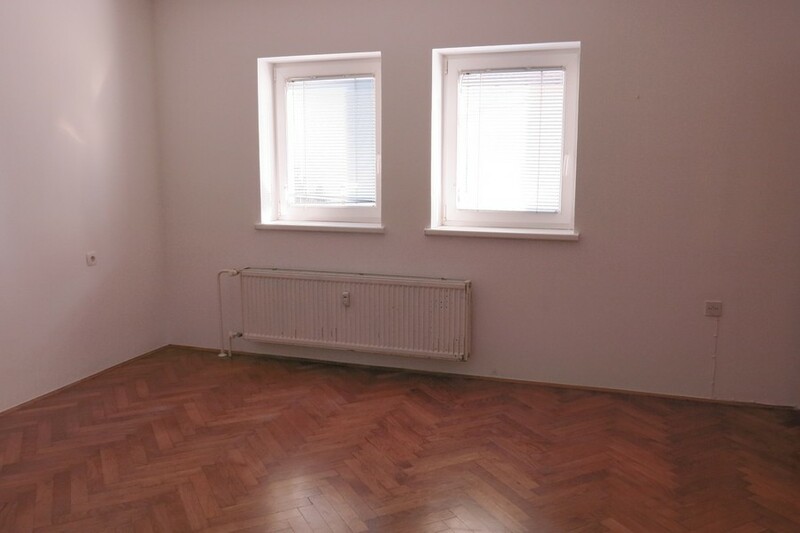 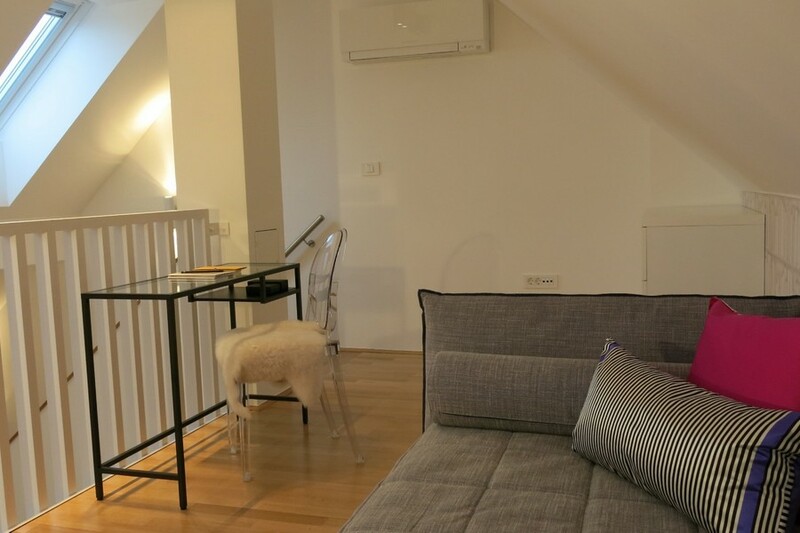 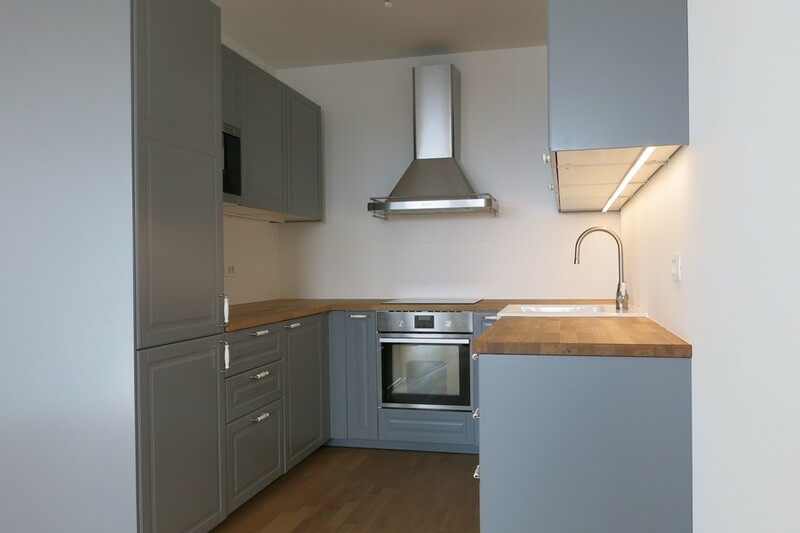 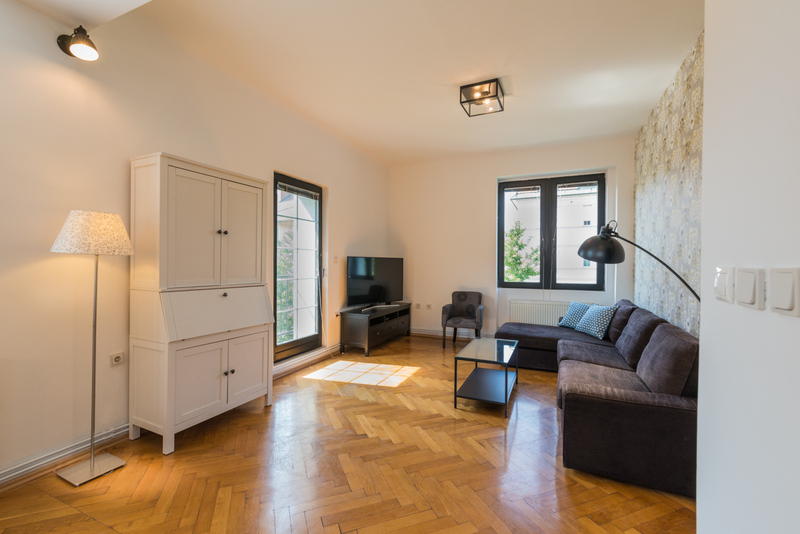 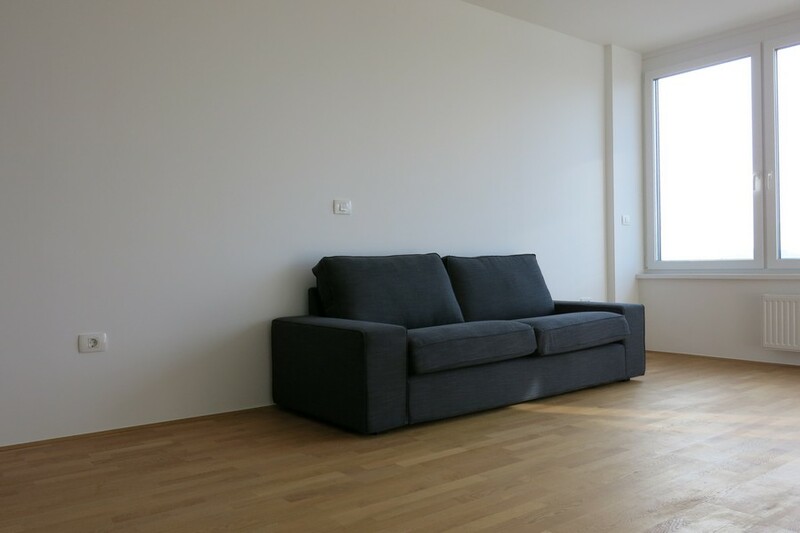 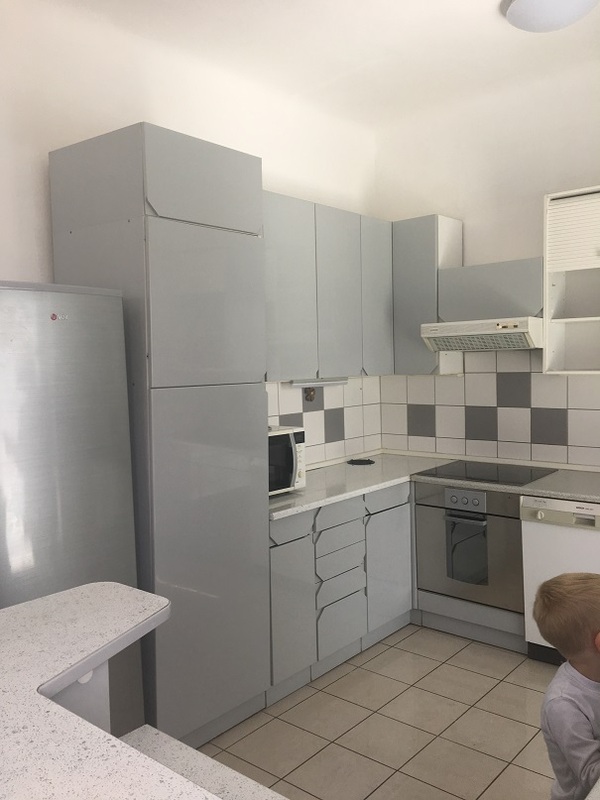 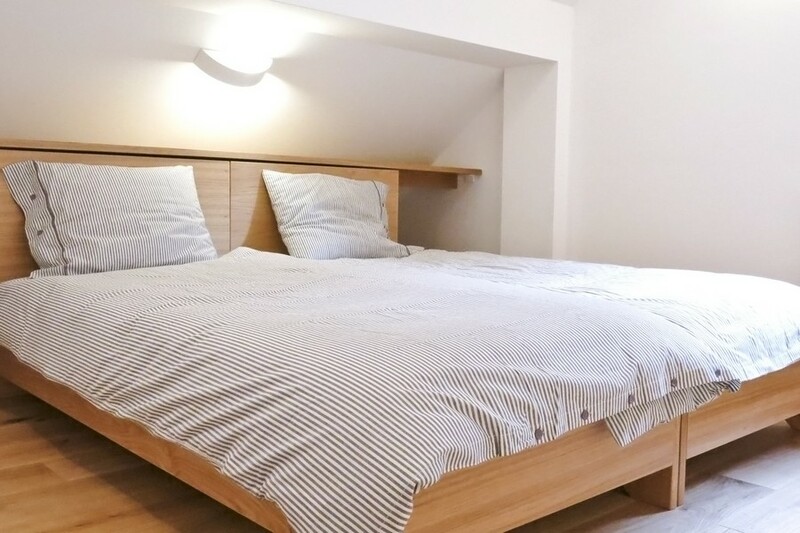 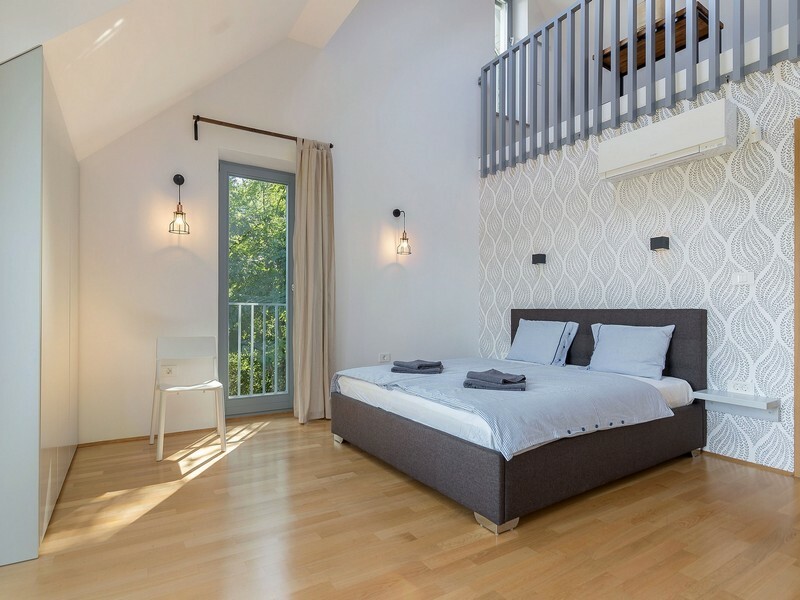 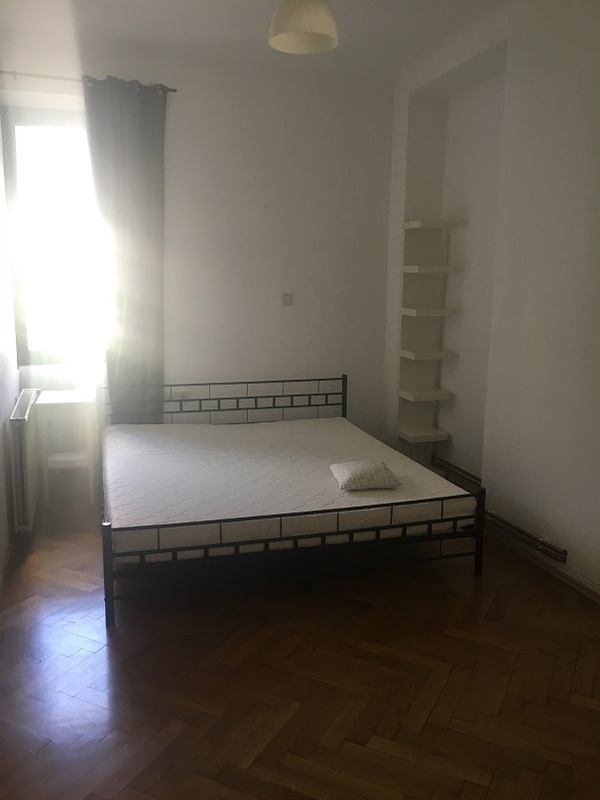 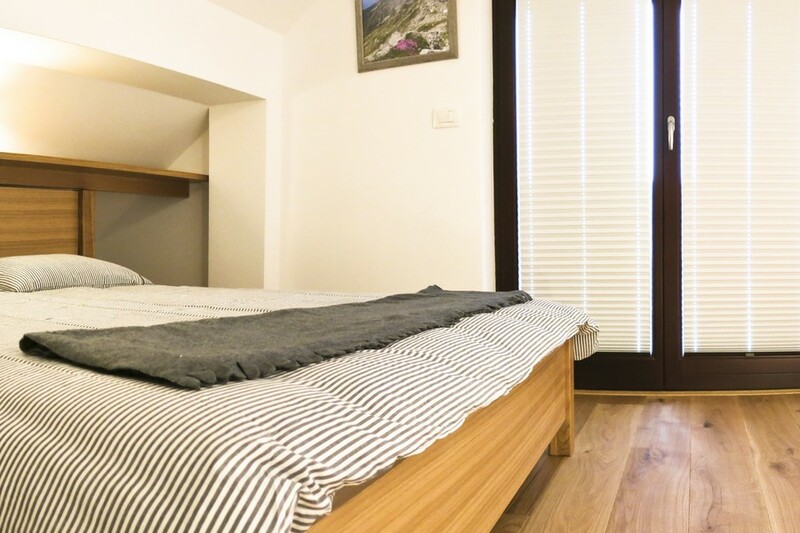 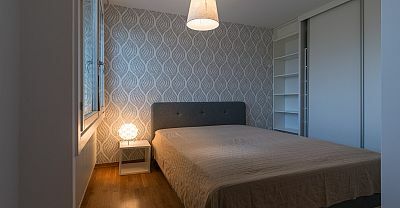 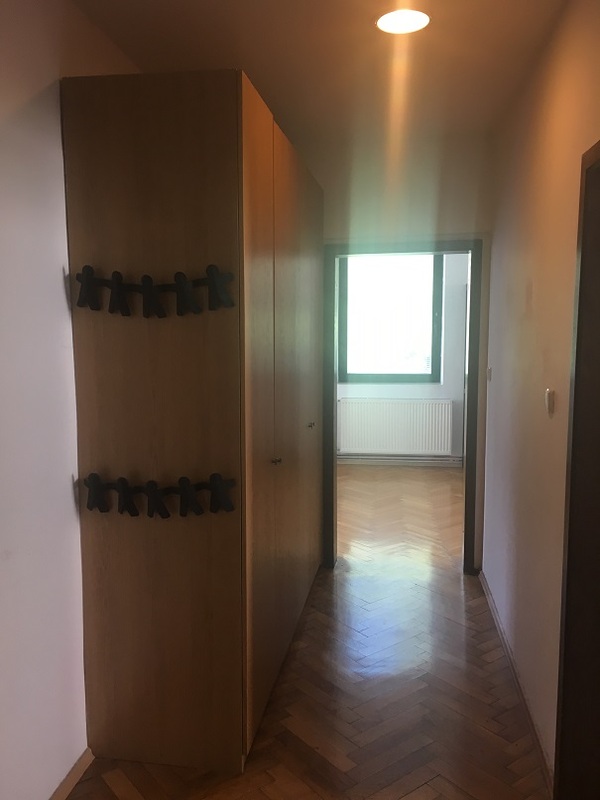 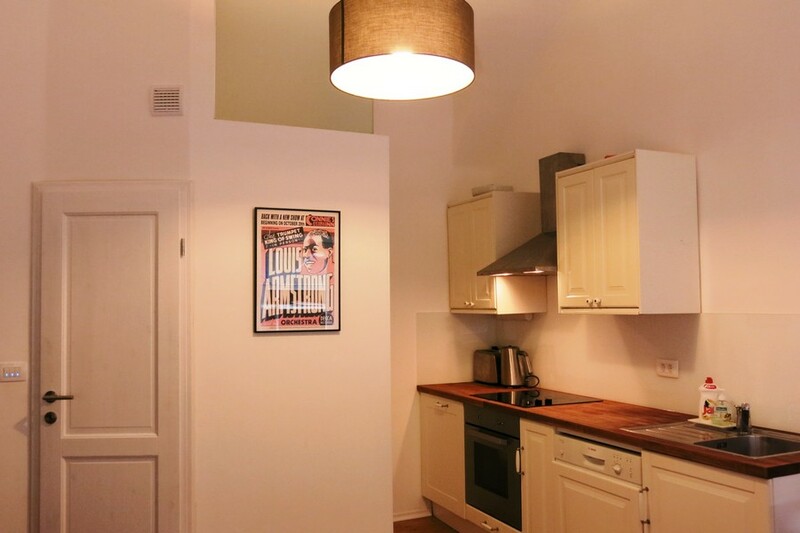 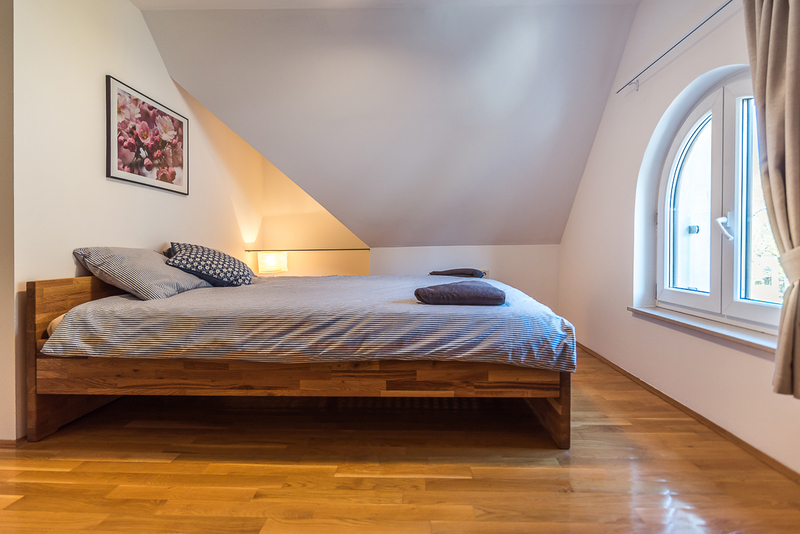 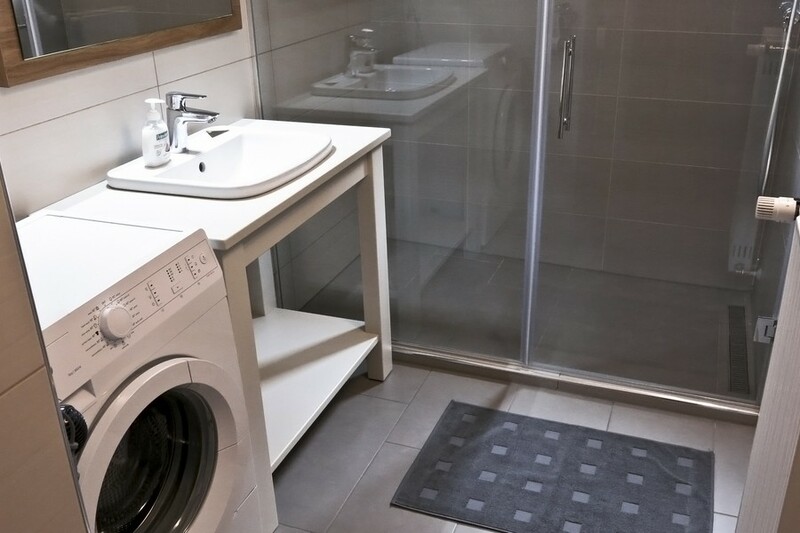 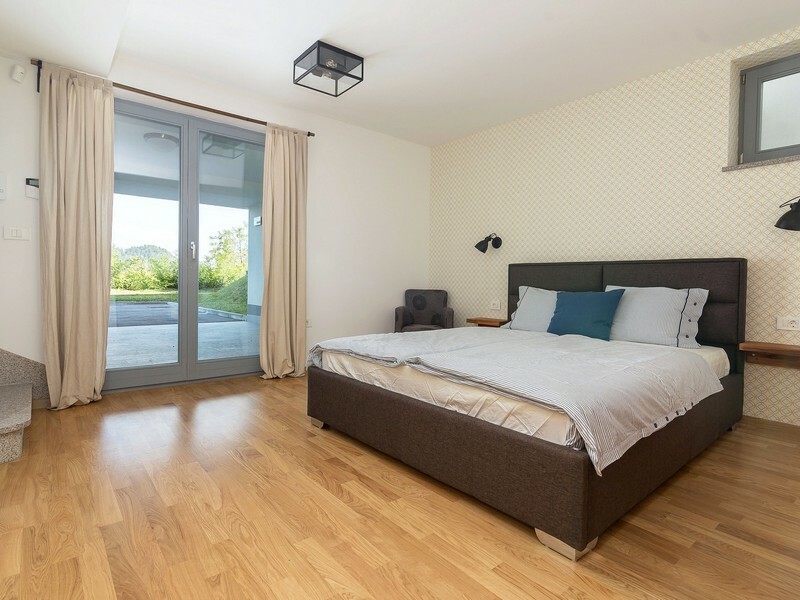 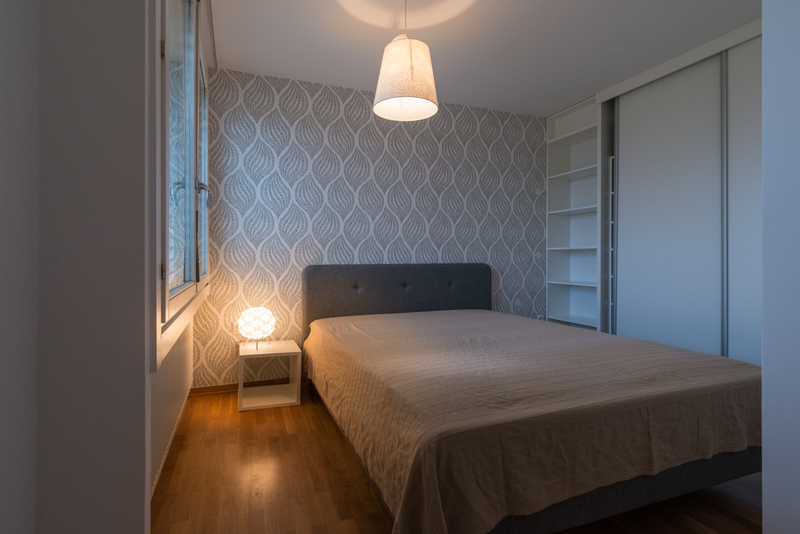 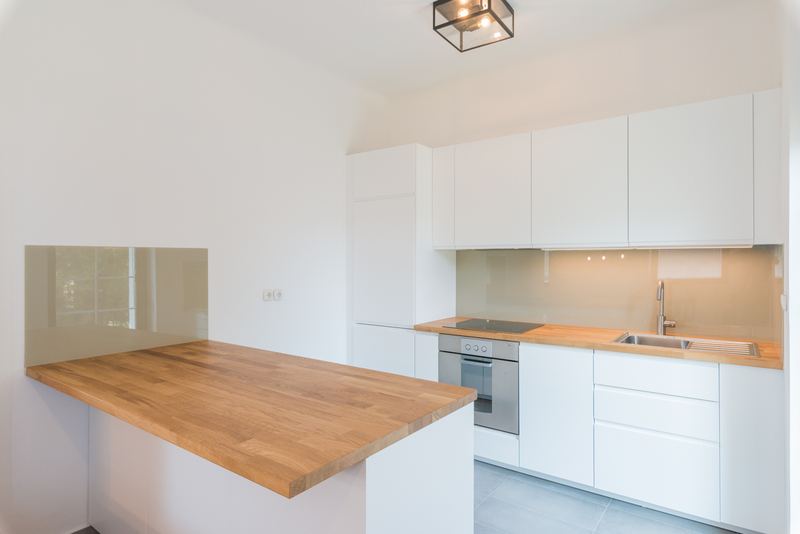 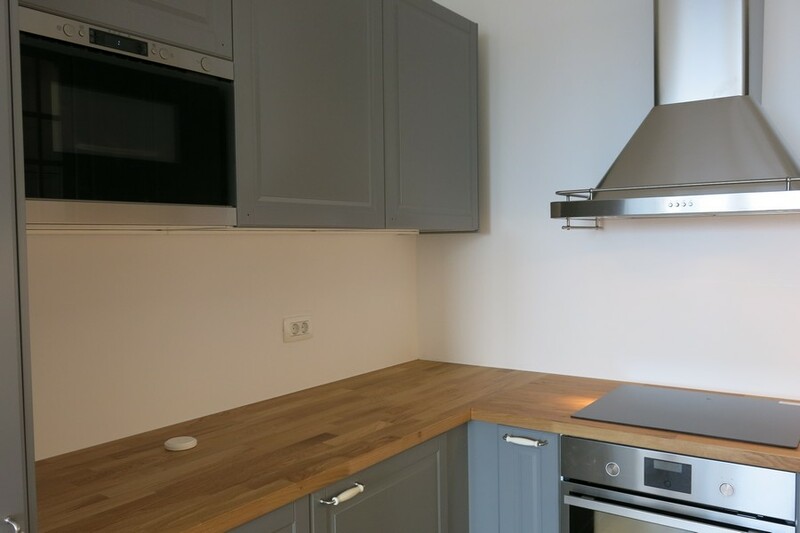 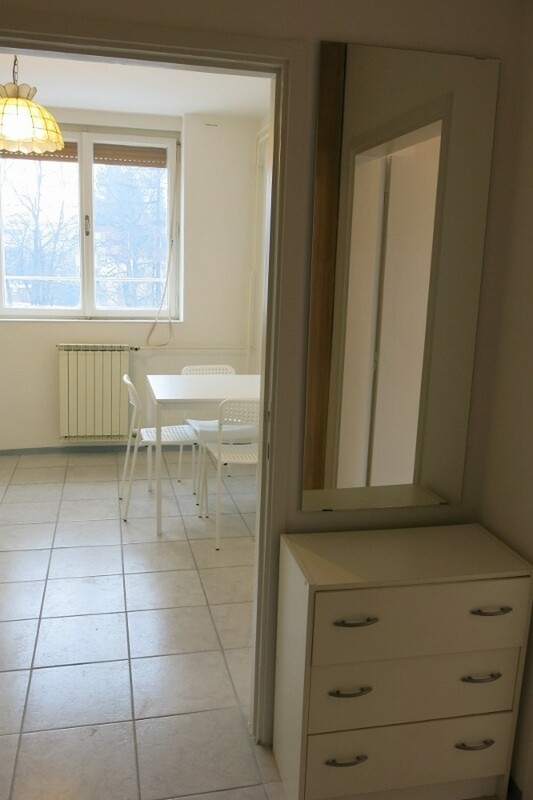 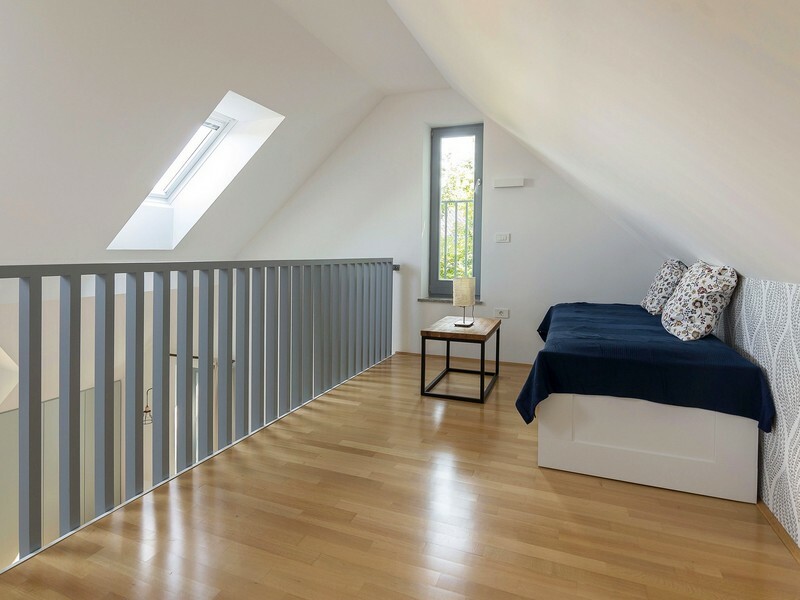 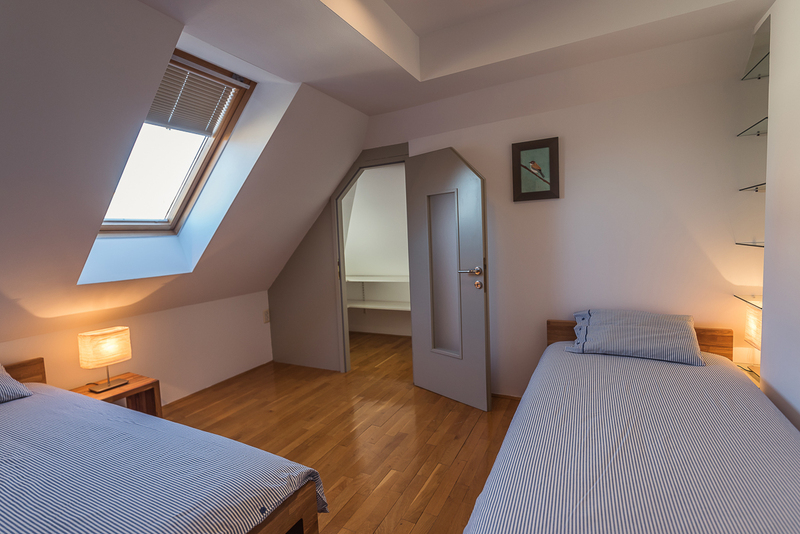 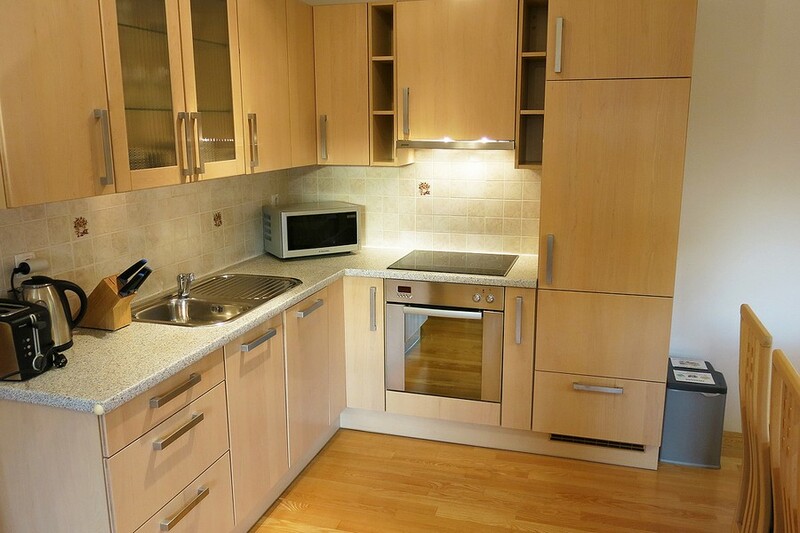 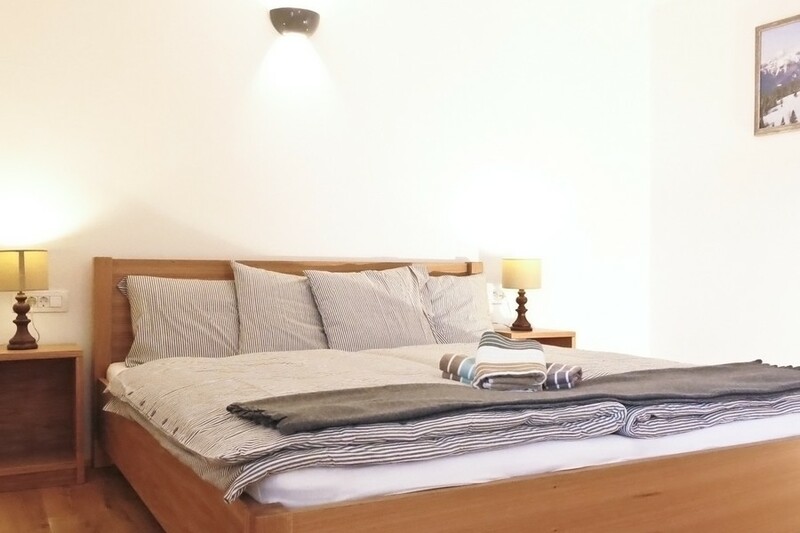 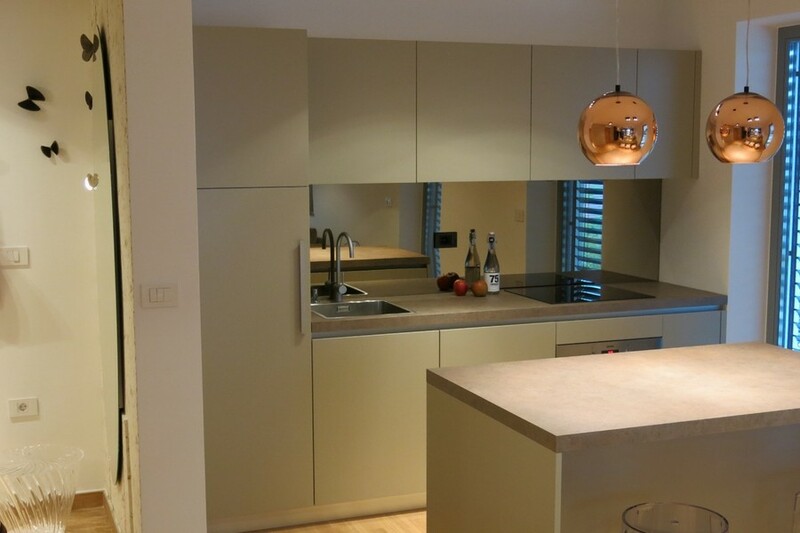 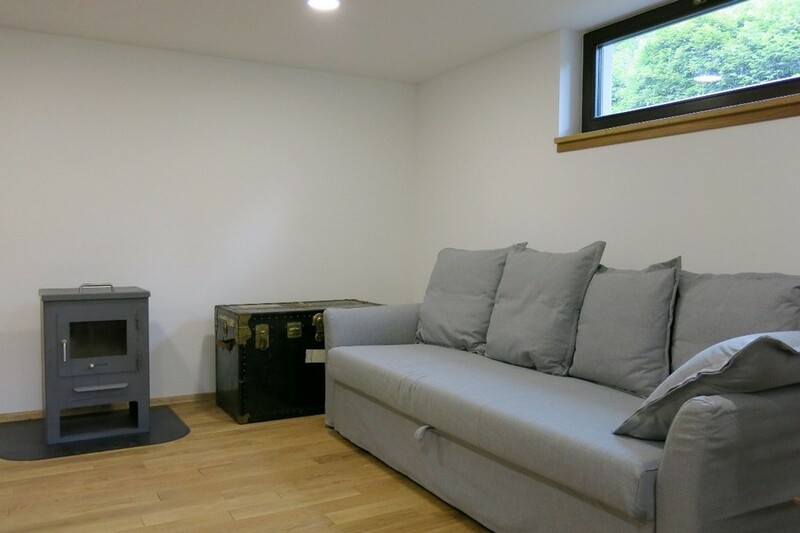 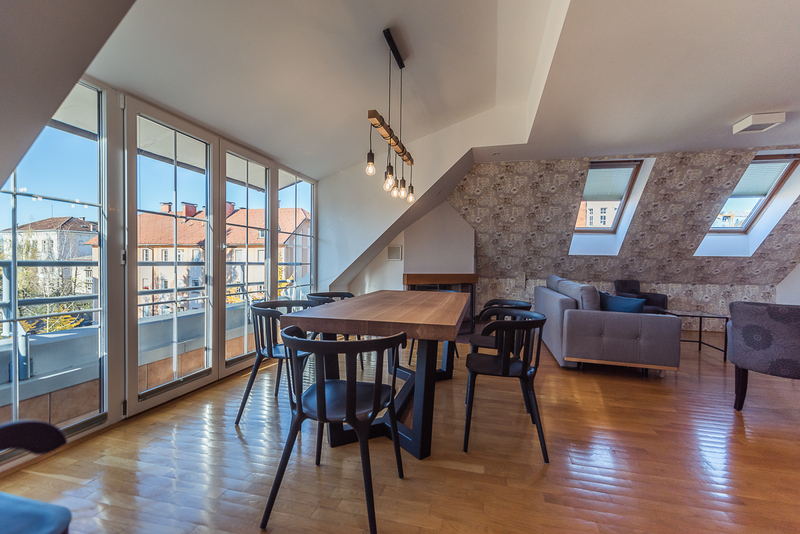 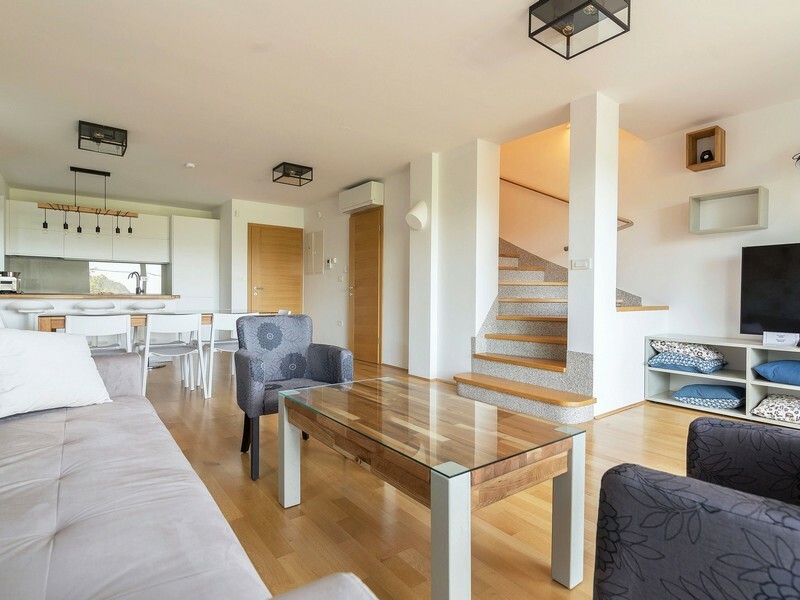 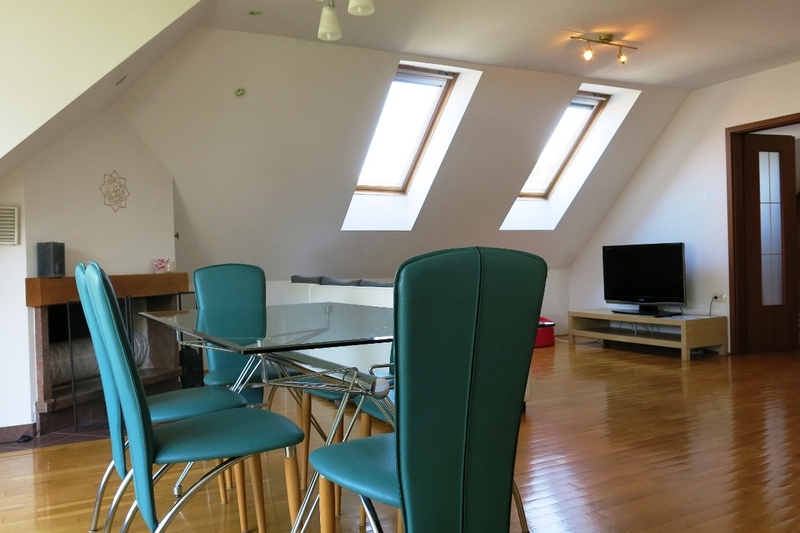 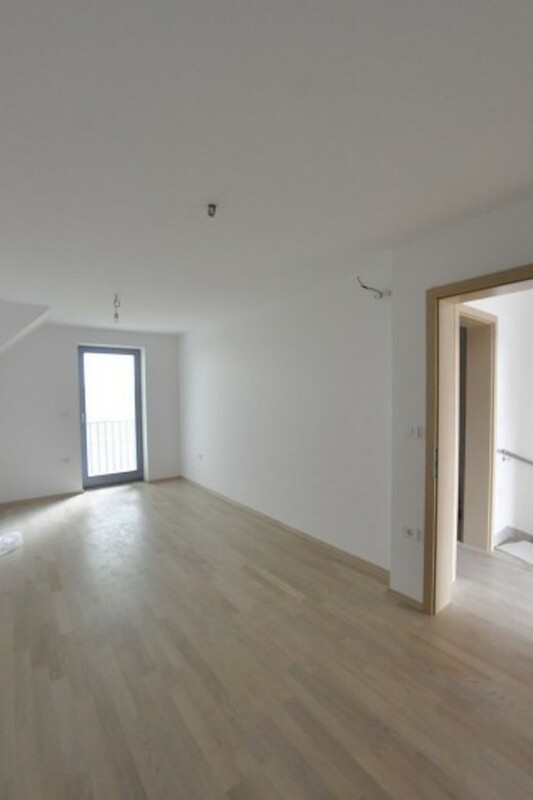 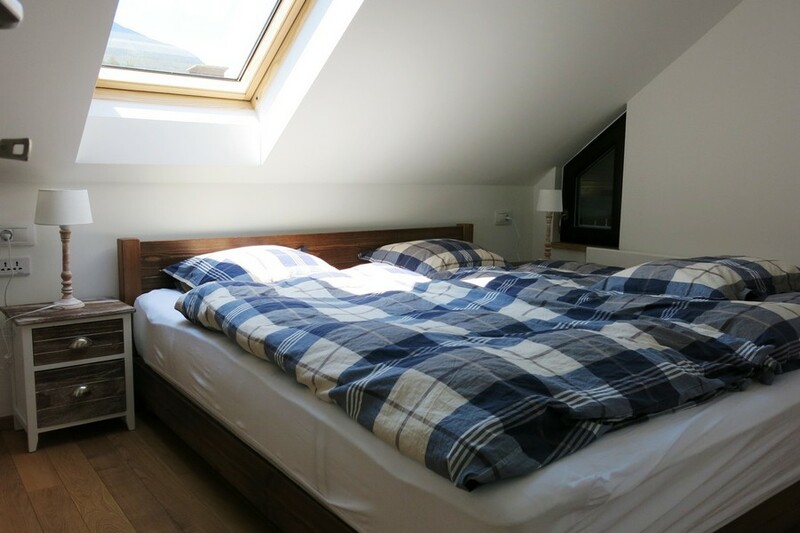 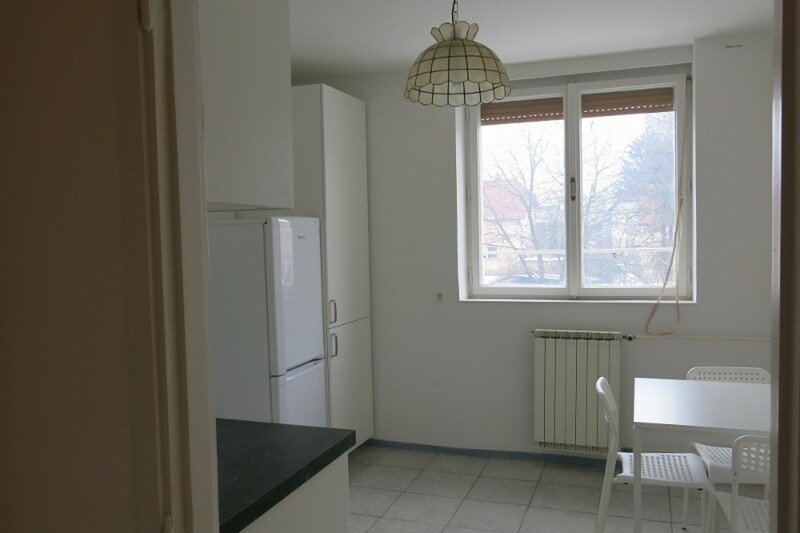 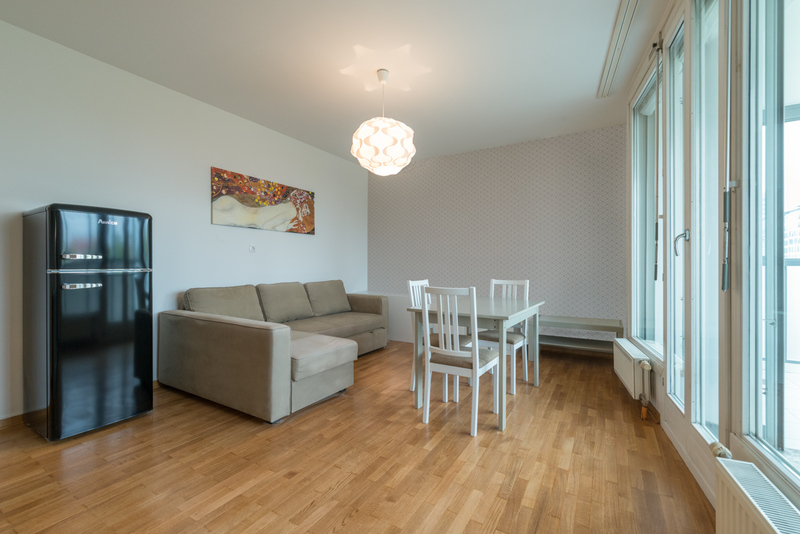 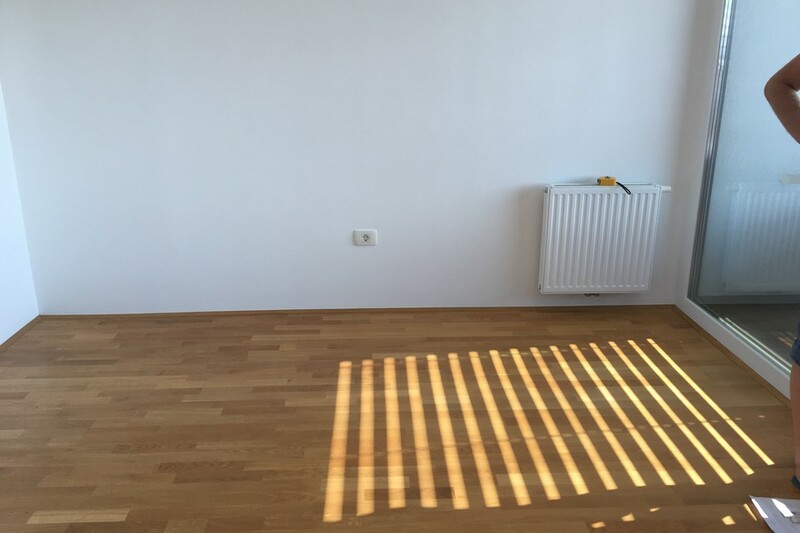 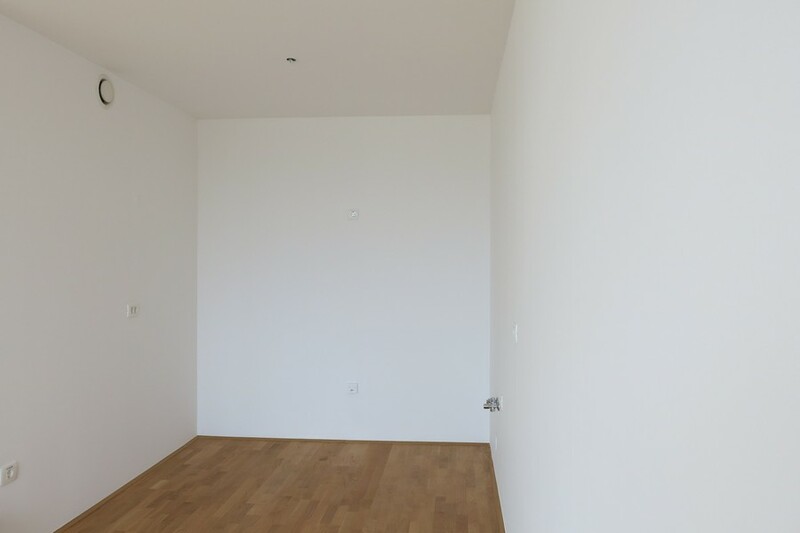 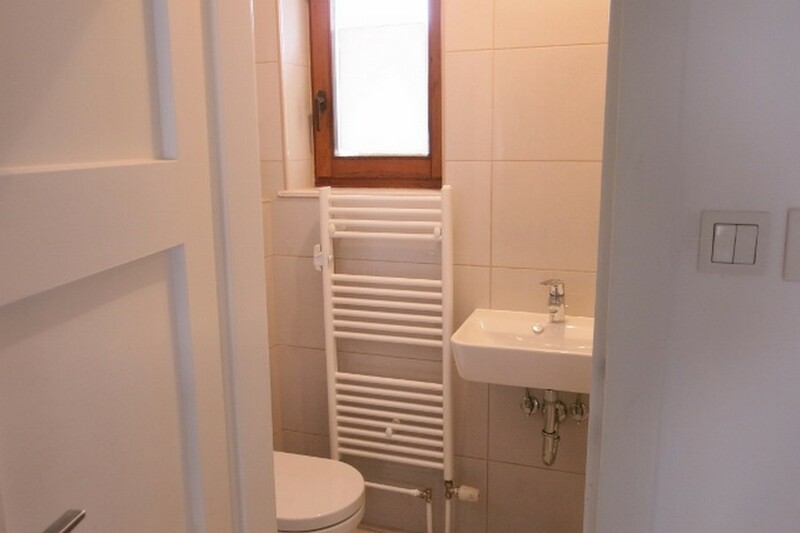 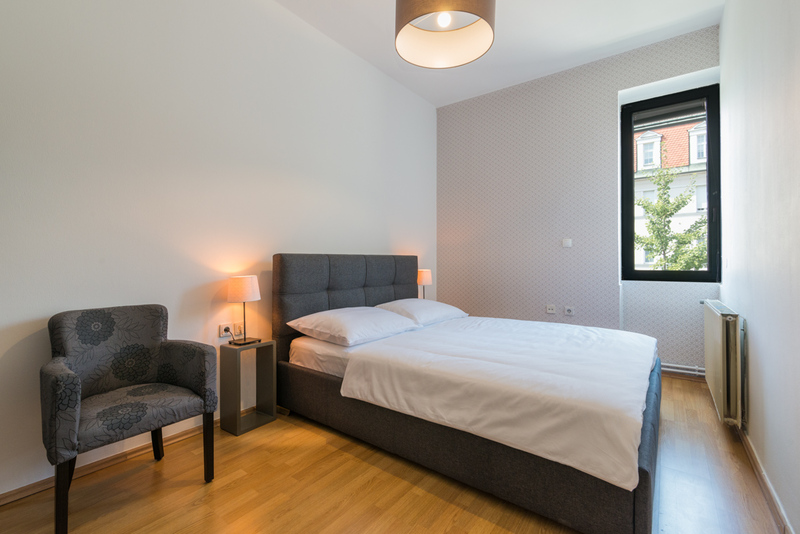 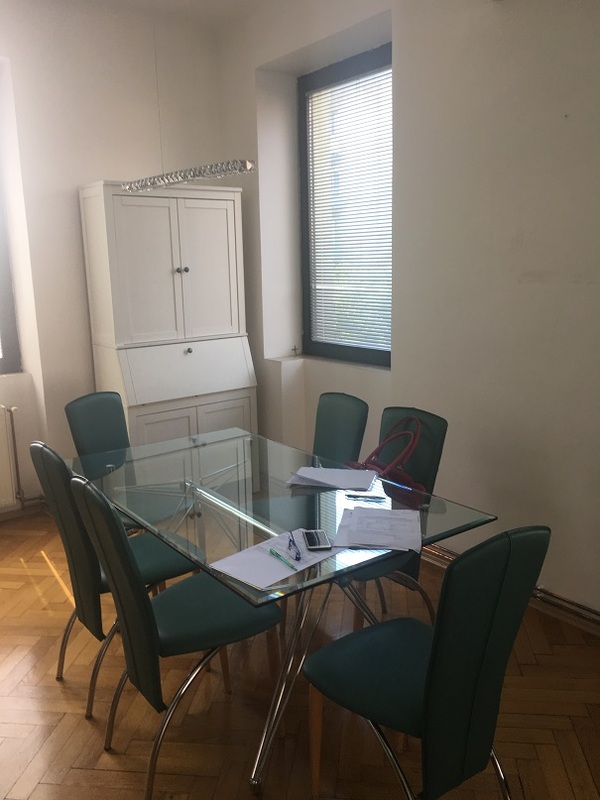 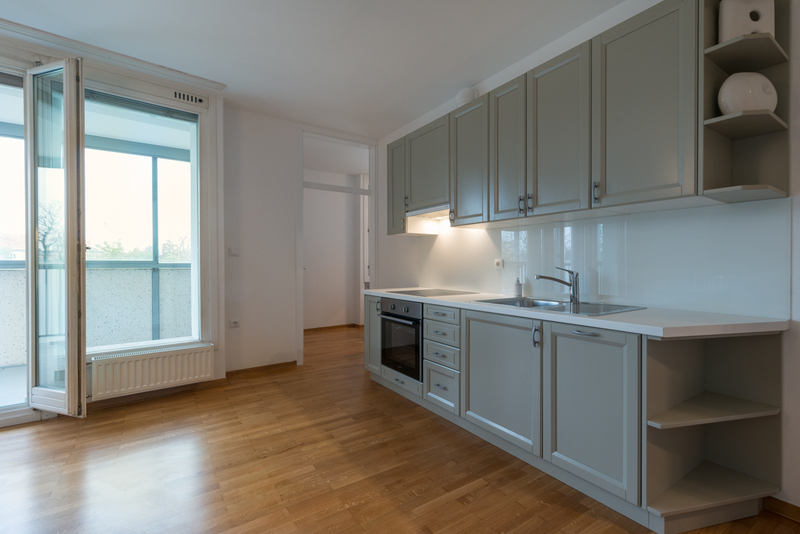 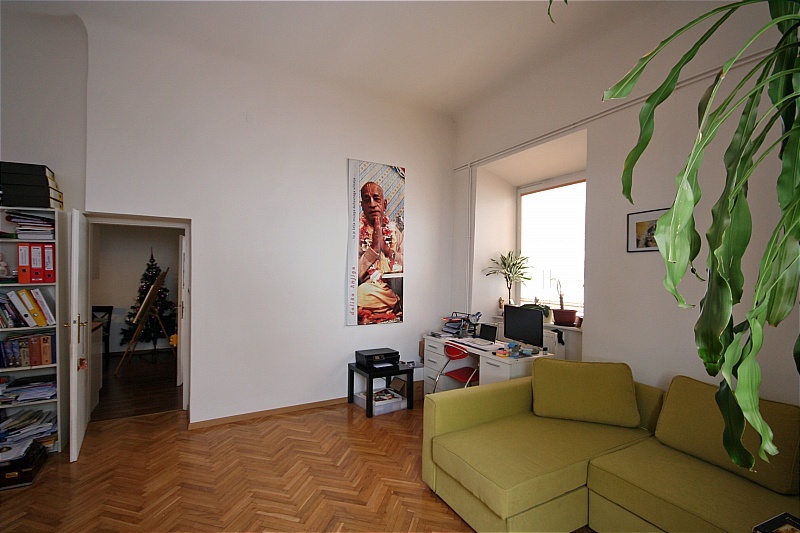 This apartment was sourced for a non resident client looking to invest in the Ljubljana property market and maximise rental yield and minimise long term maintenance headaches. 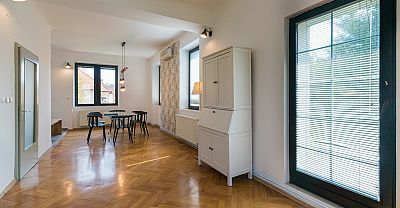 The super hi-tech ecological "Eko hiša" building in the main business district of Ljubljana made sense for them and working in conjuntion with the client we selected fittings and furnishings to give contemporary finish "with soul" and which was affordable for a budget set to ensure strong yield on the investment without compromising the quality of the location and apartment itself. 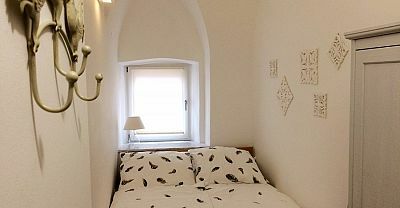 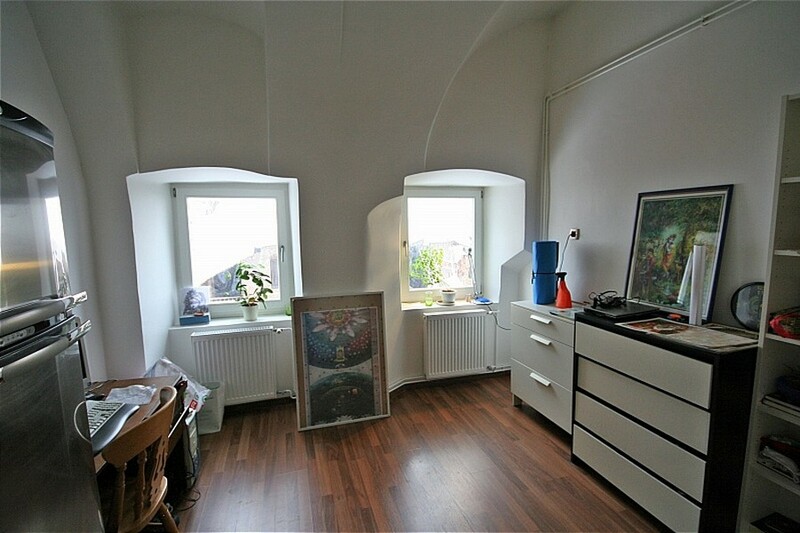 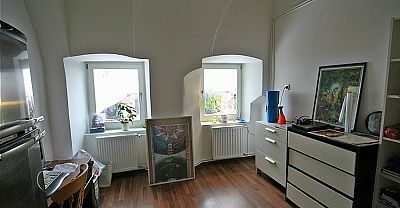 The buyers of this apartment chose it because of the old town location and wonderful historic building. 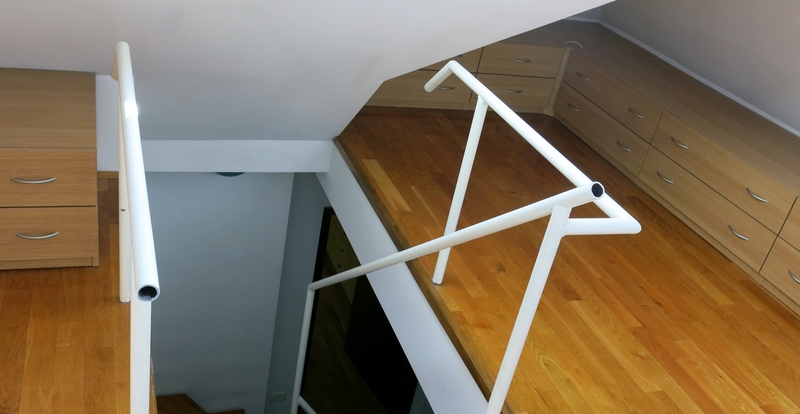 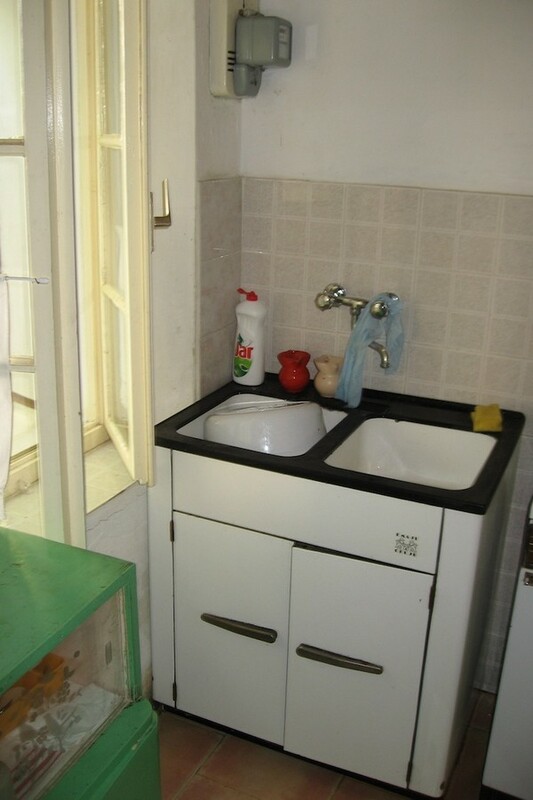 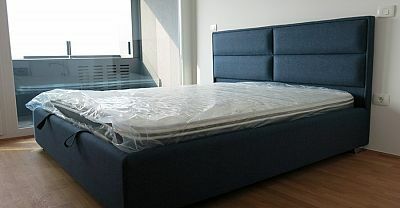 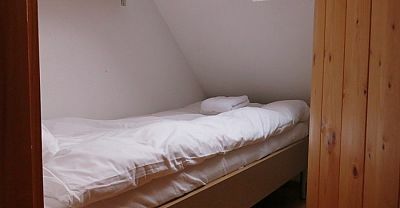 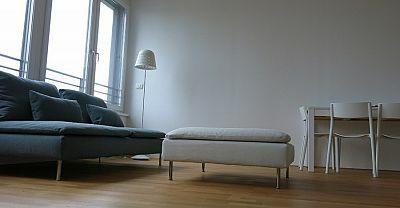 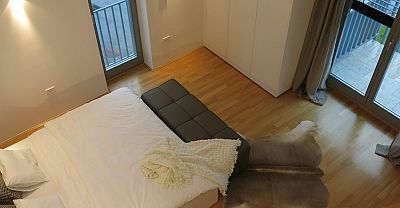 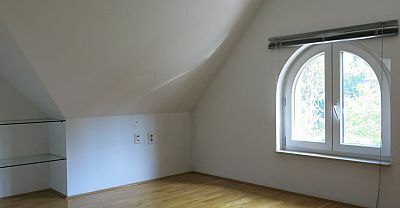 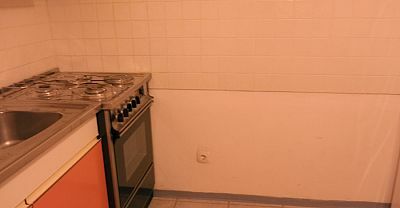 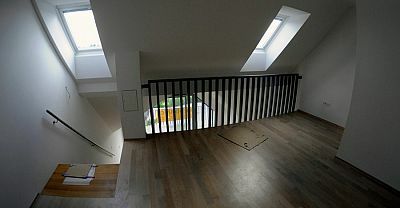 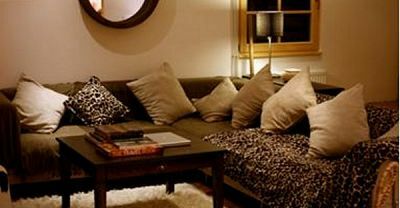 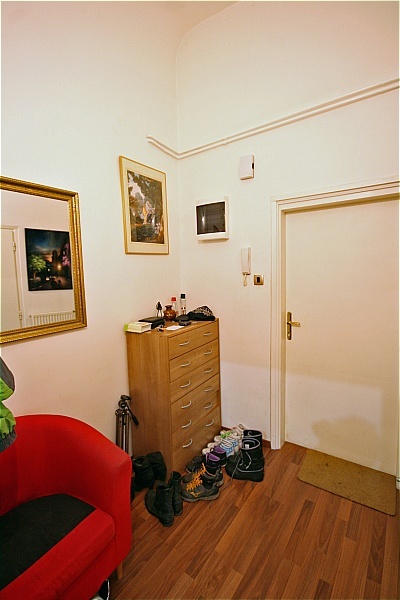 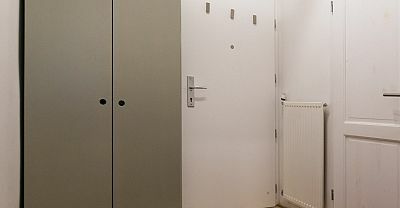 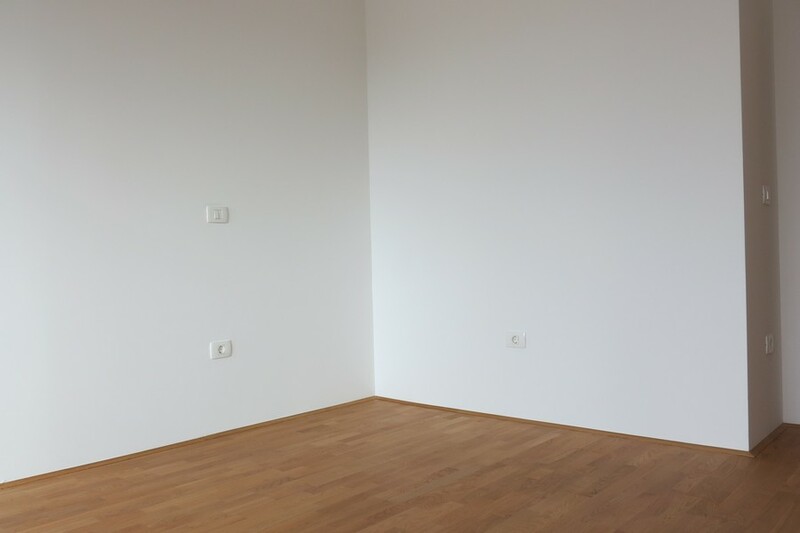 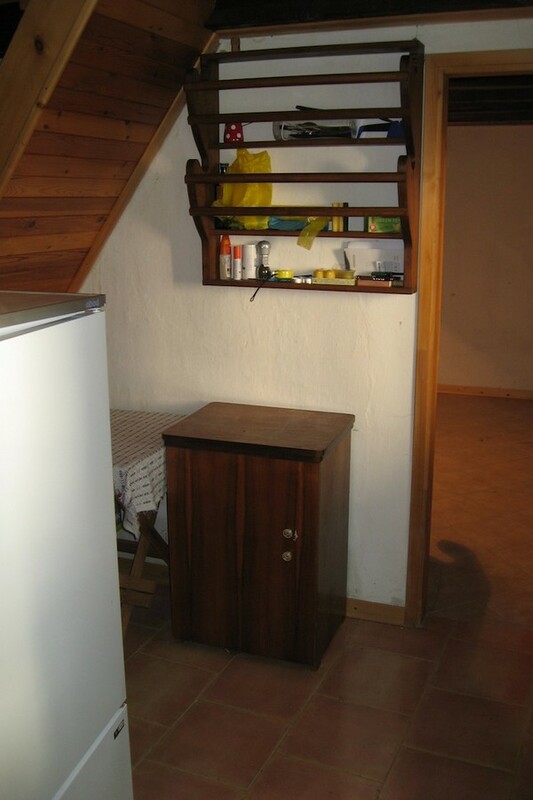 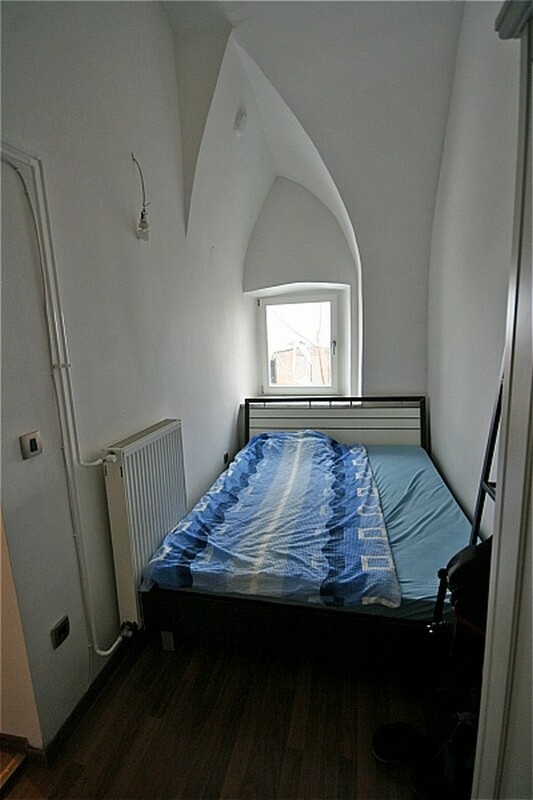 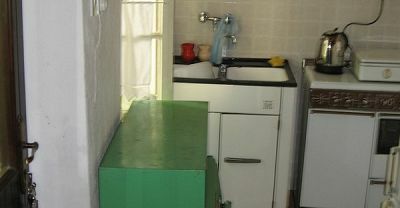 However the apartment itself was uninspiring and the use of space was inefficient. 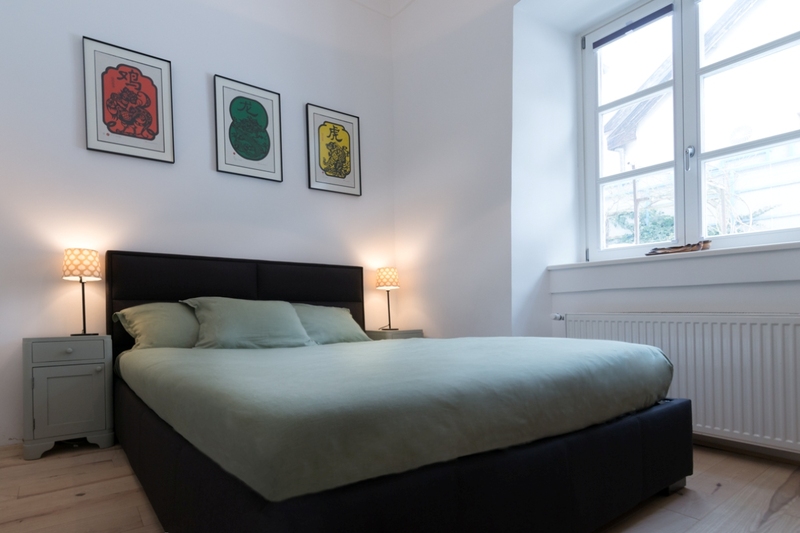 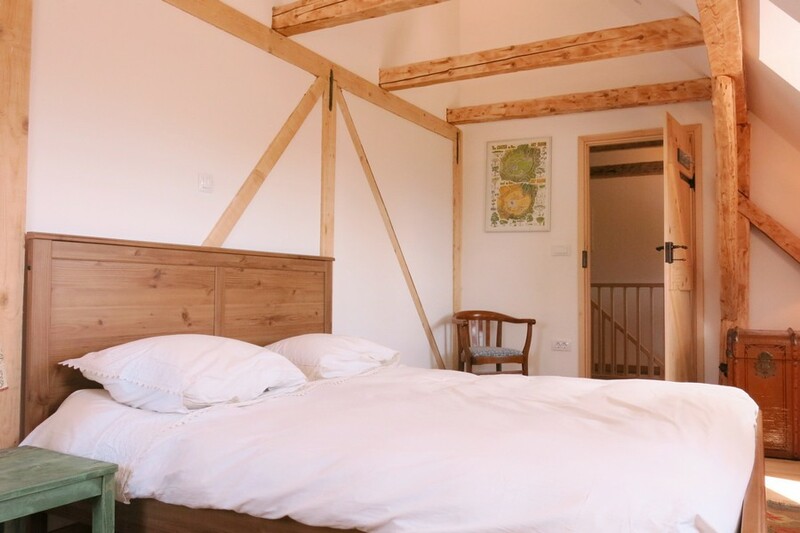 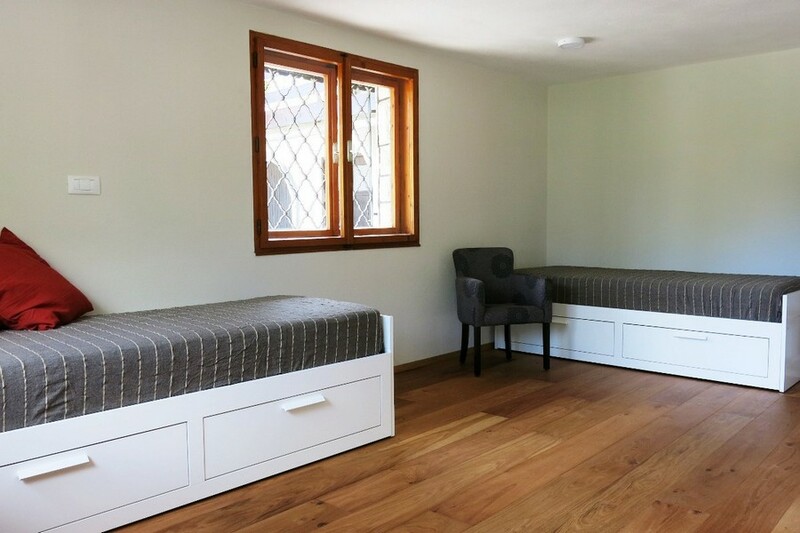 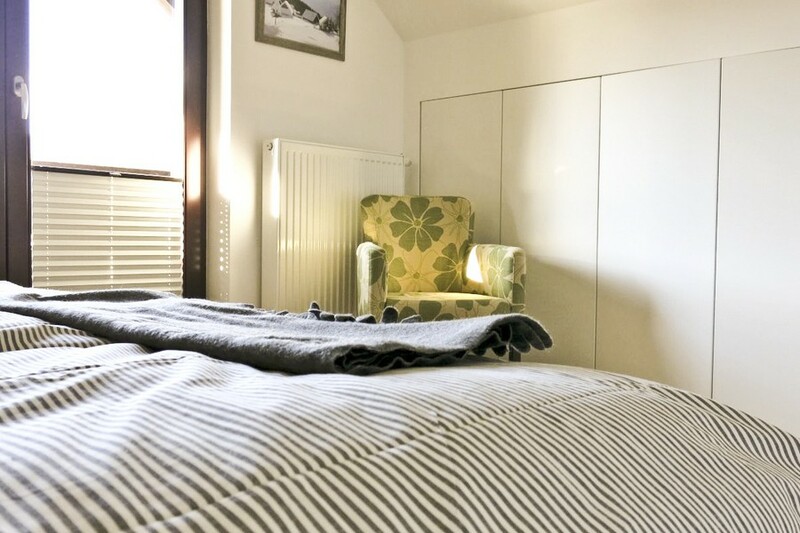 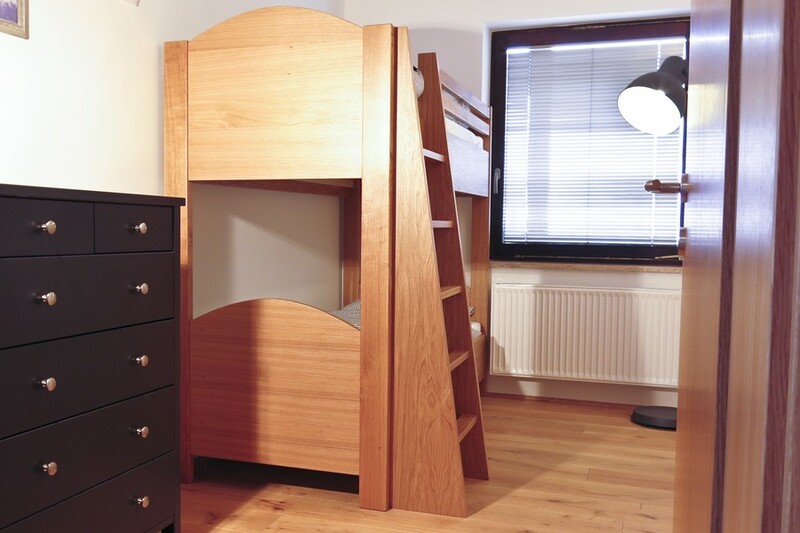 We helped develop a new scheme for the layout which placed bedrooms in spaces with less natural light and fully utilised the 3.5 high ceilings. 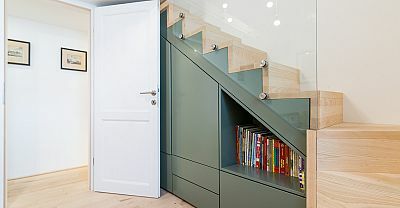 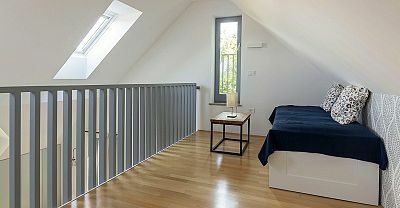 This was done in 2 ways - with a gallery in the kids bedroom, which created a play area on top of a corridor and a raised platform in the main living room to separate the kitchen from the living room, provide plentiful storage under the platform (including most of the kitchen cupboards) and also give easy access out to the garden from the living room. 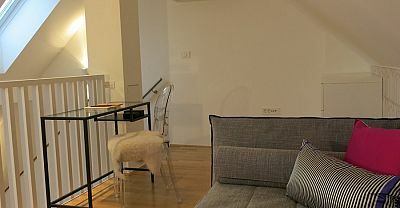 The final result maximises the space, successfully combines modern with orignial features and gave some much needed wow factor to the apartment. 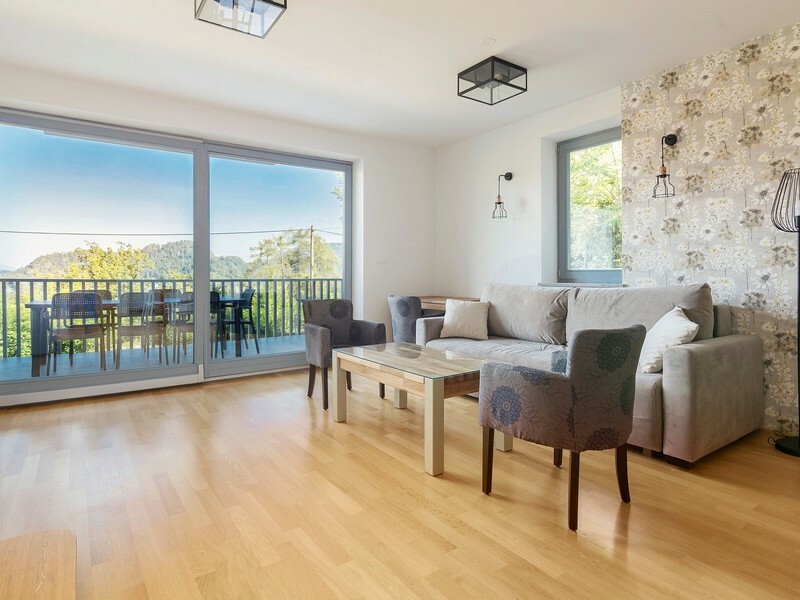 Our client purchased the property and followed our advice to maximise his revenue by equipping it for a combination of short and mid term rentals. 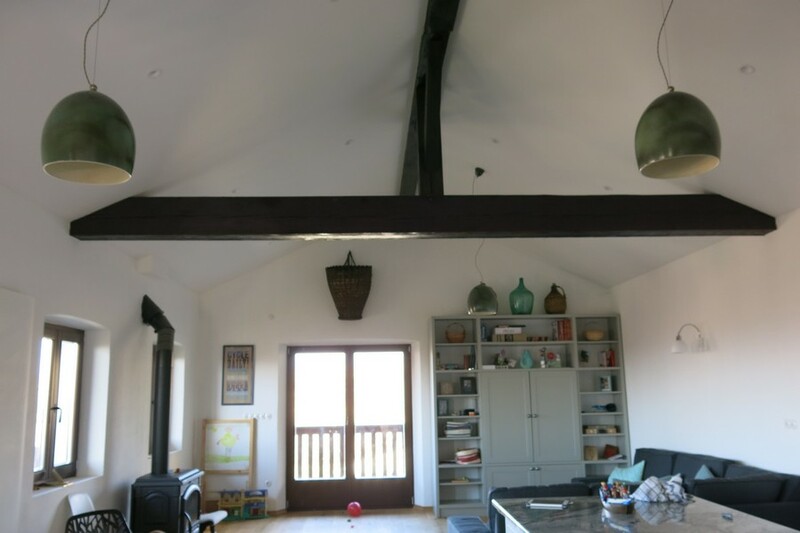 Between the handover of the property in Spring and first Summer rental season we had a very short timescale to complete the bulding works and fit out - in total less than a month. 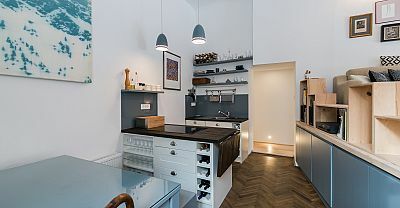 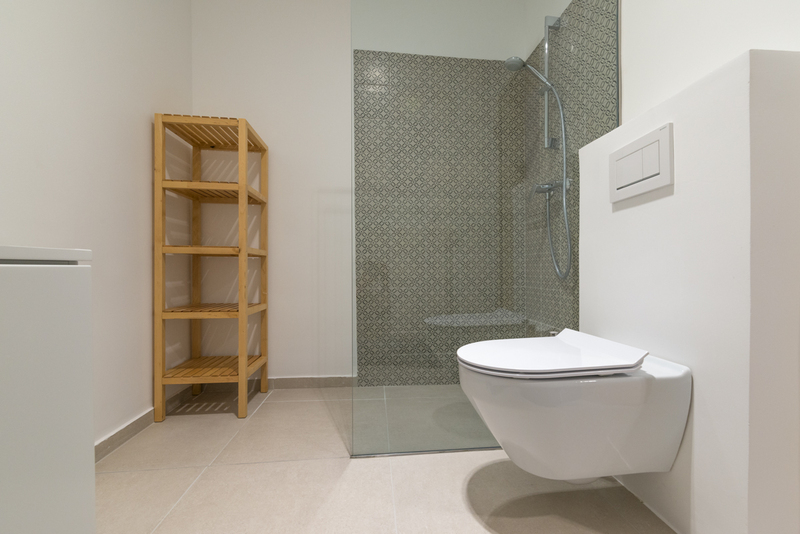 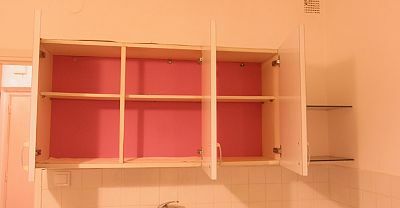 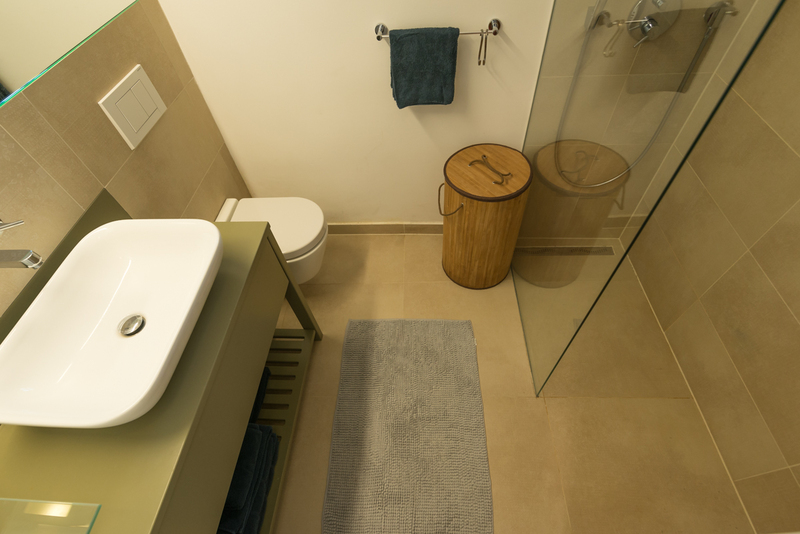 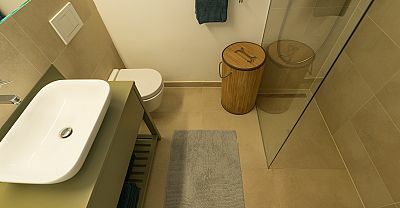 Off the shelf solutions such as an Ikea kitchen were combined with some high end carpentry and cabinets, a clever bathroom redesign, changes to layout, upscaling of existing furniture and some decorative touches to complete a very desirable apartment. 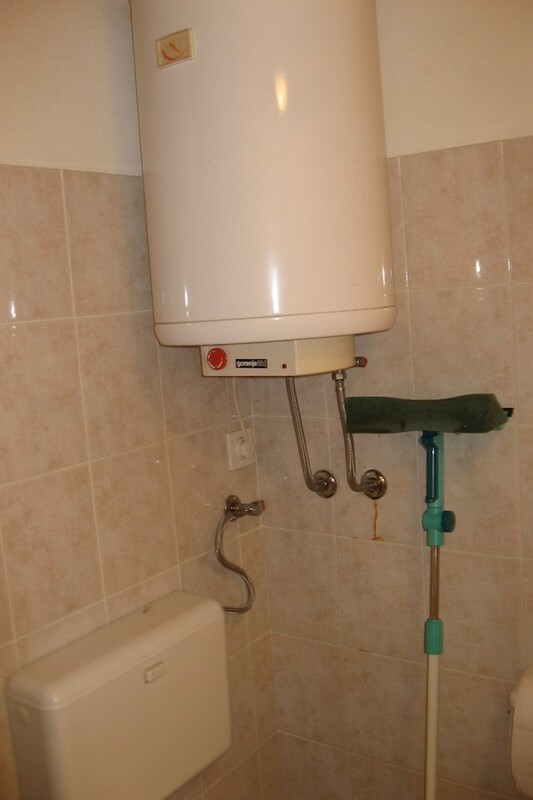 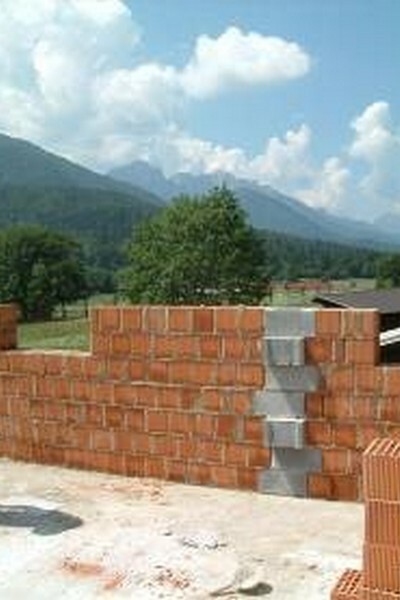 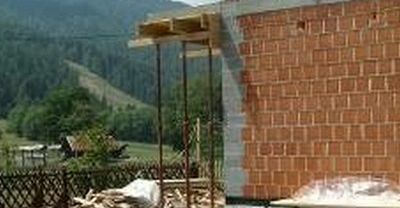 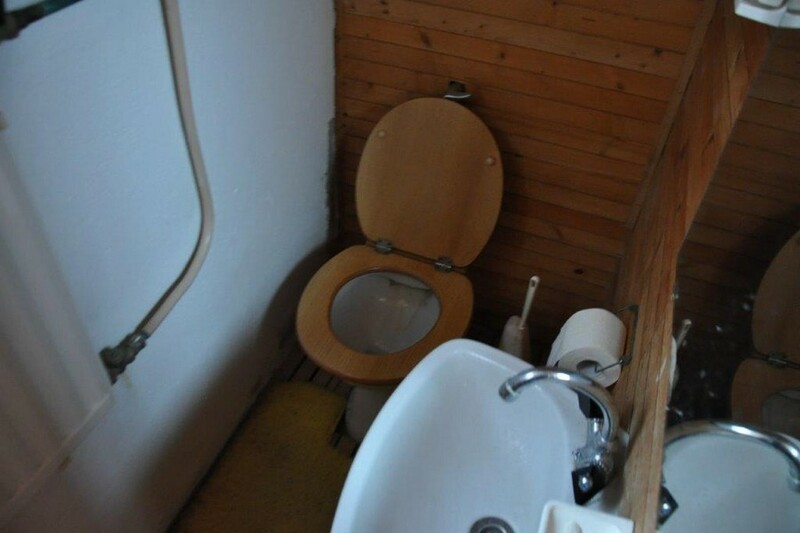 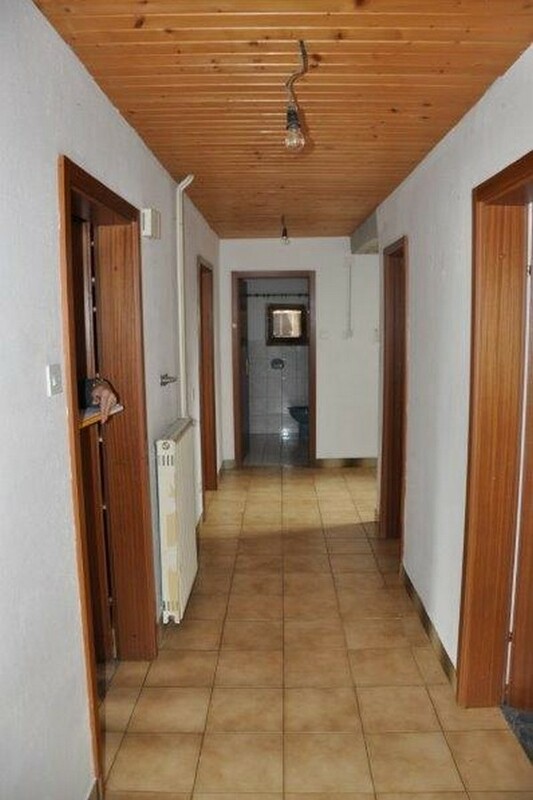 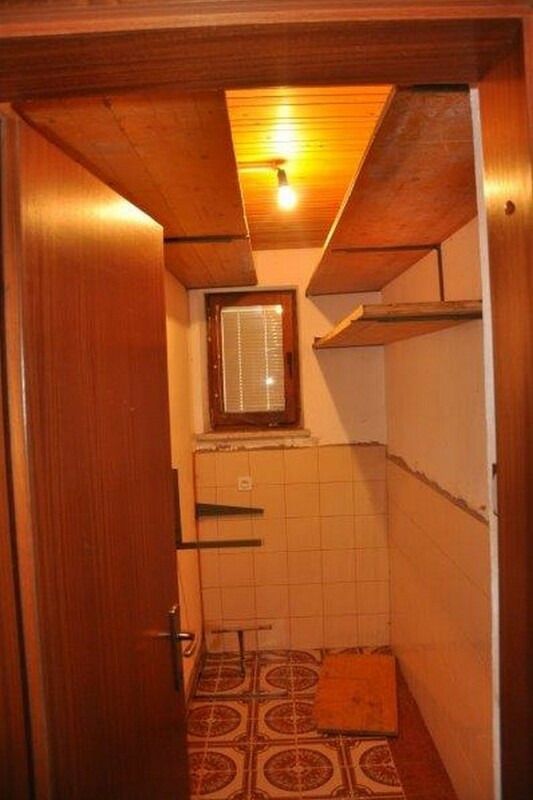 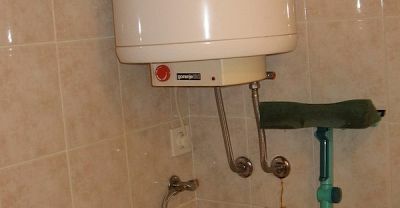 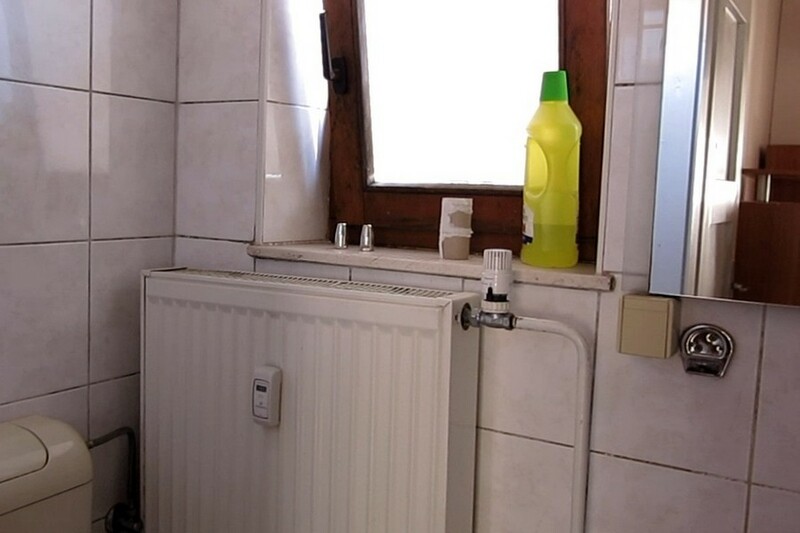 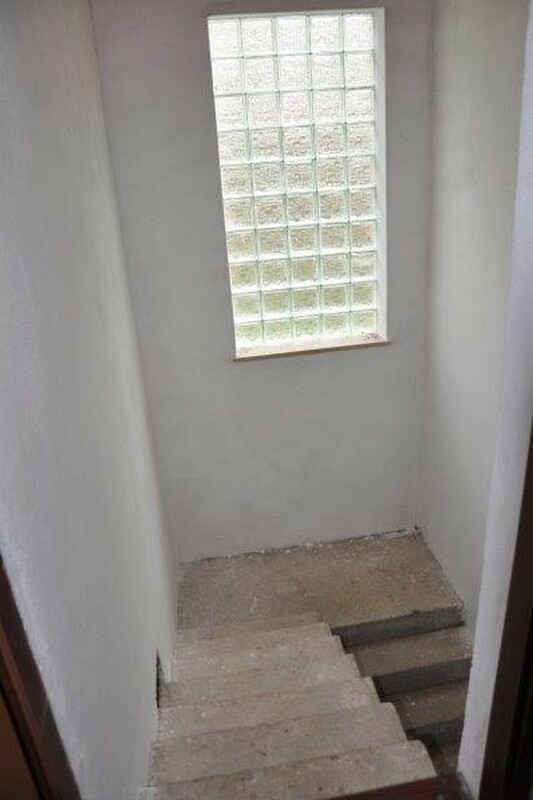 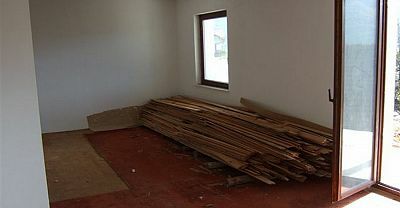 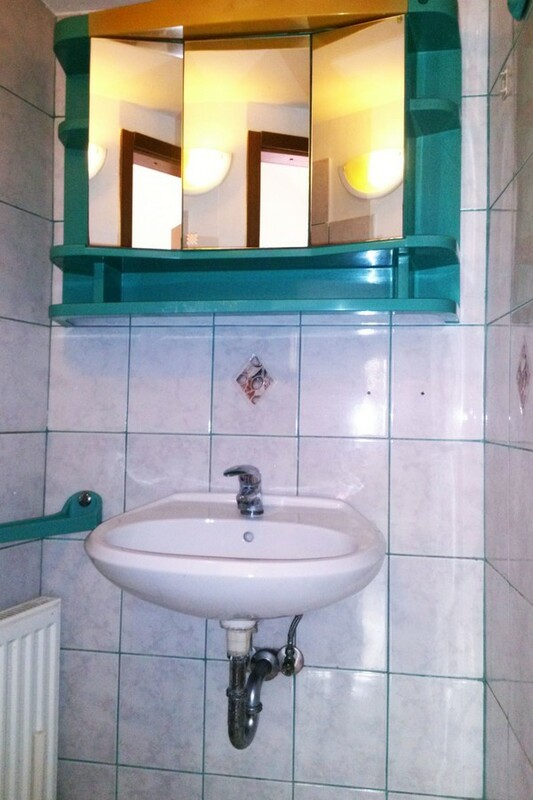 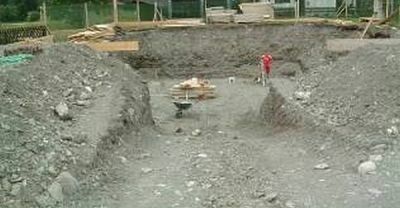 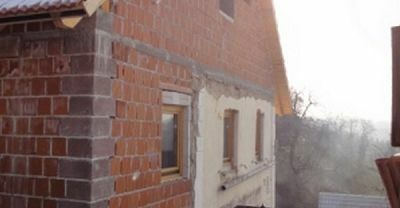 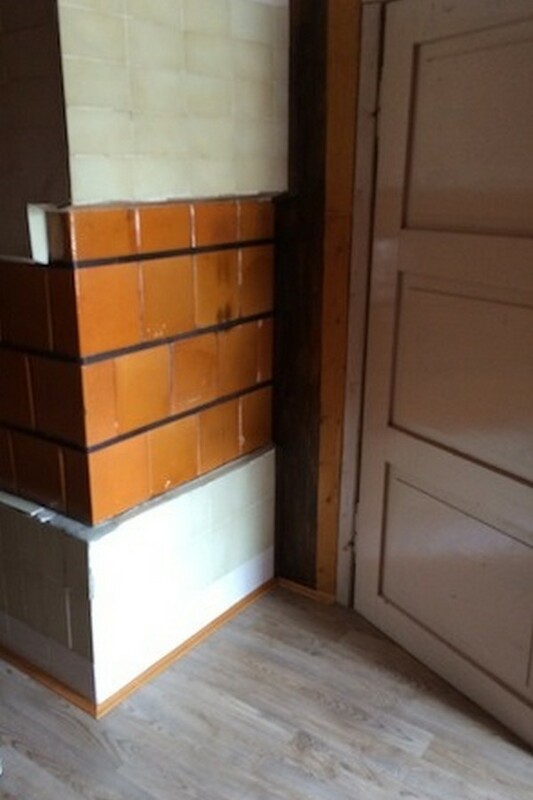 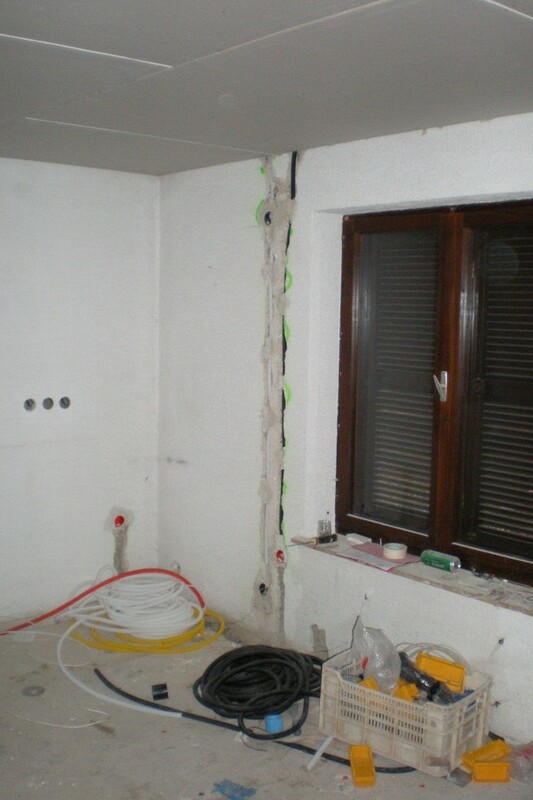 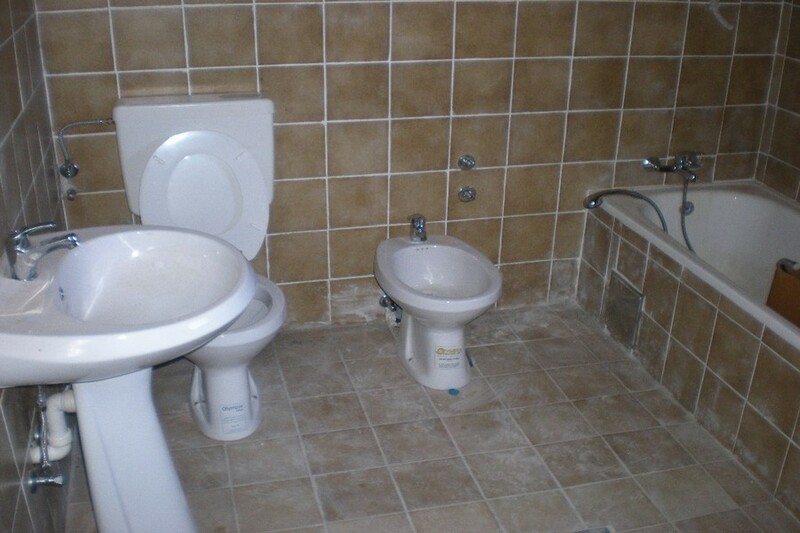 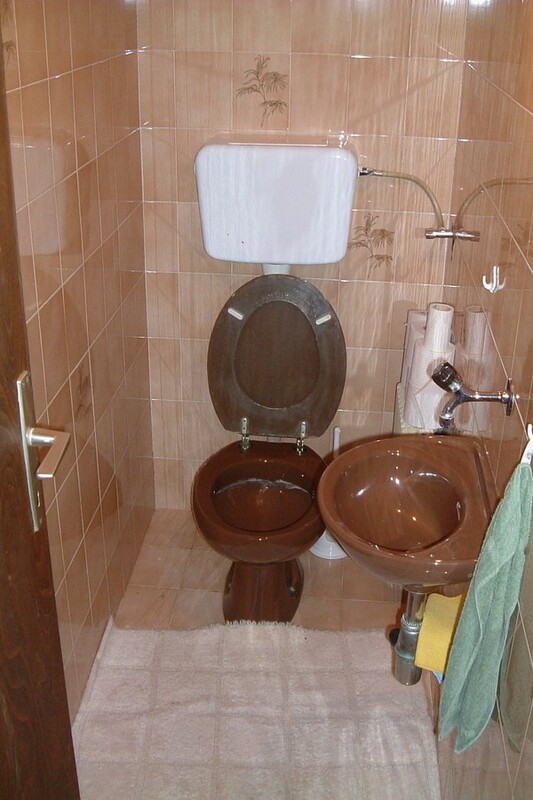 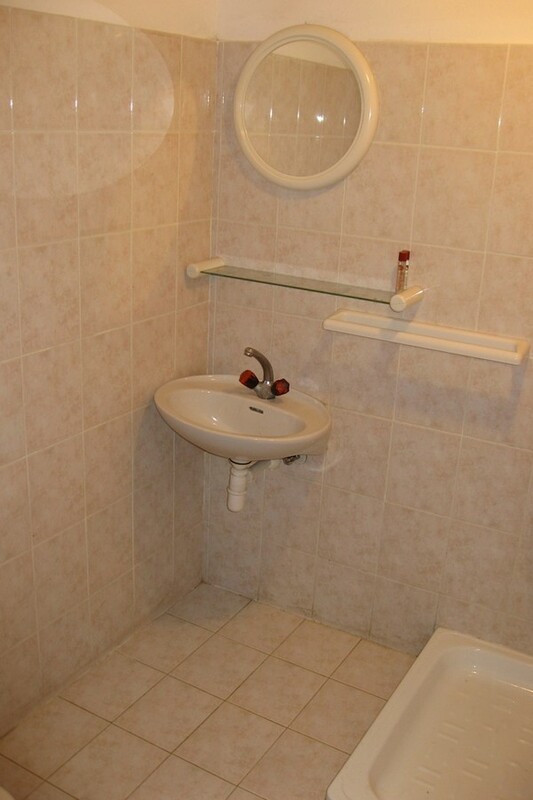 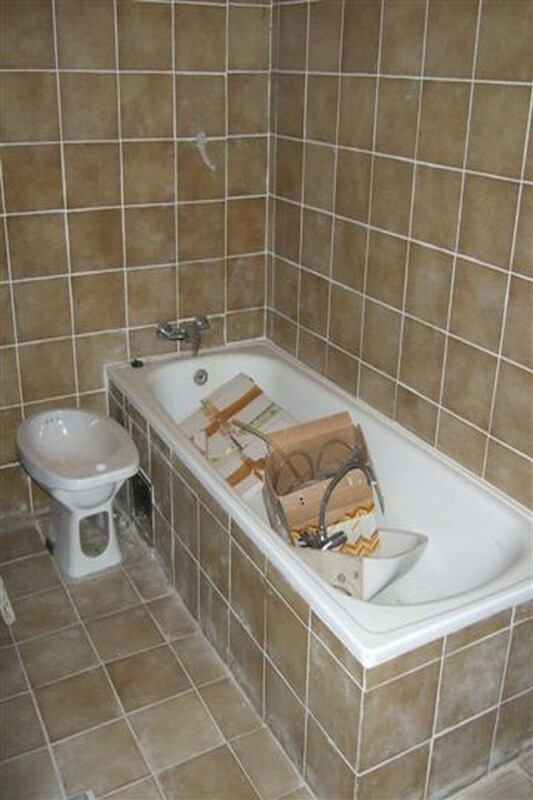 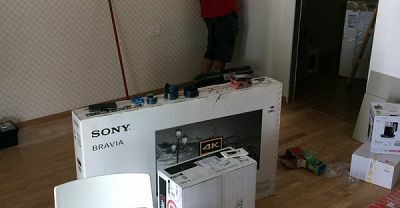 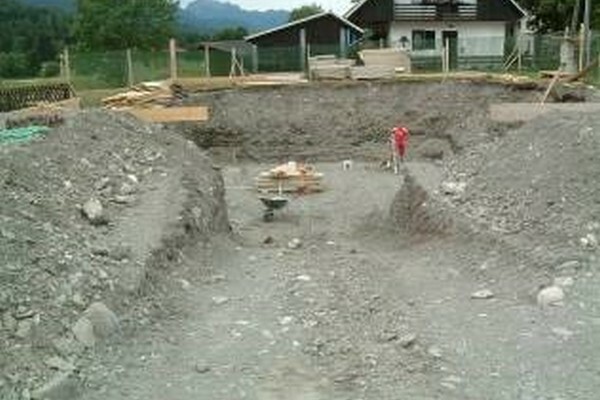 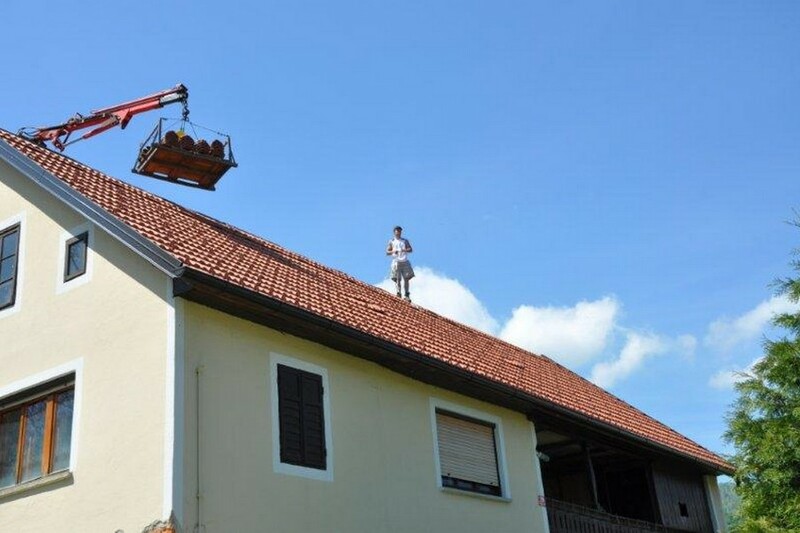 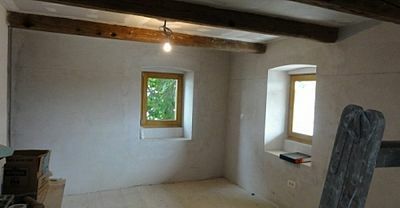 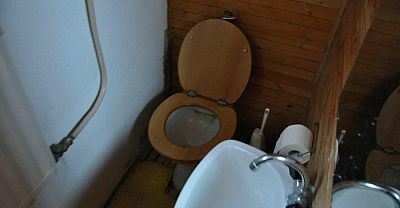 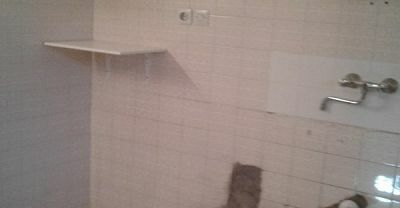 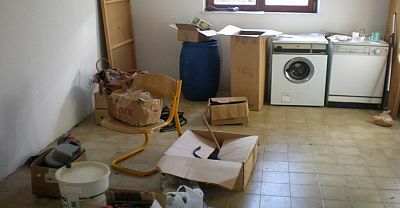 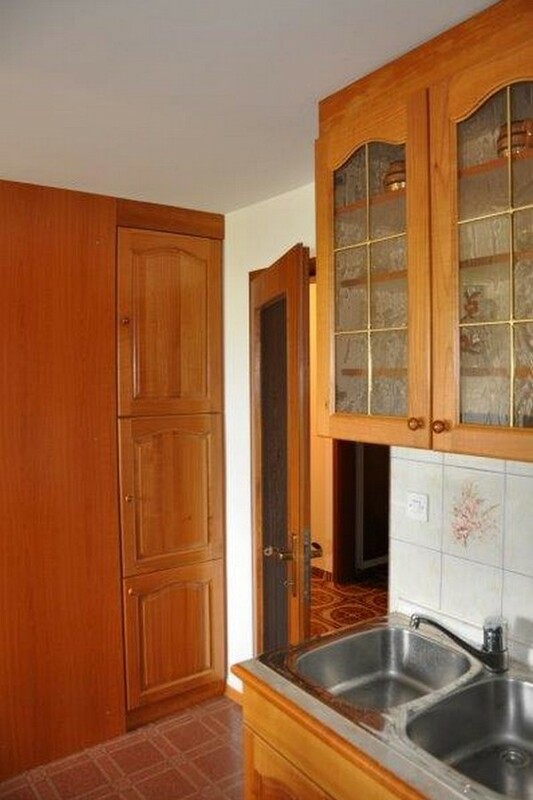 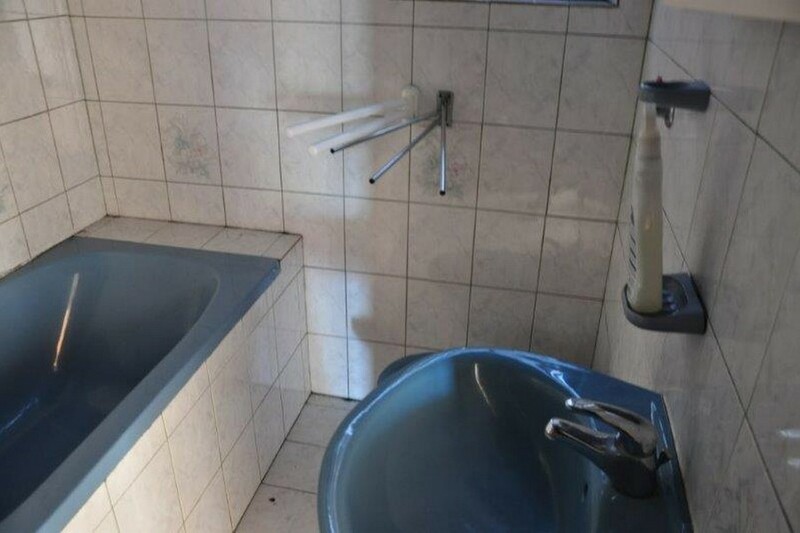 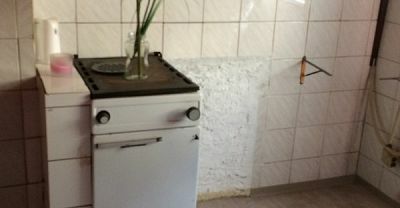 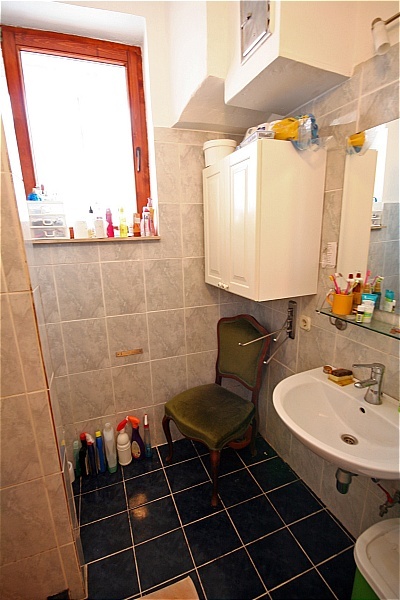 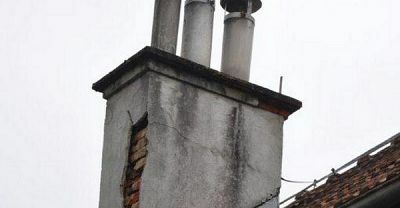 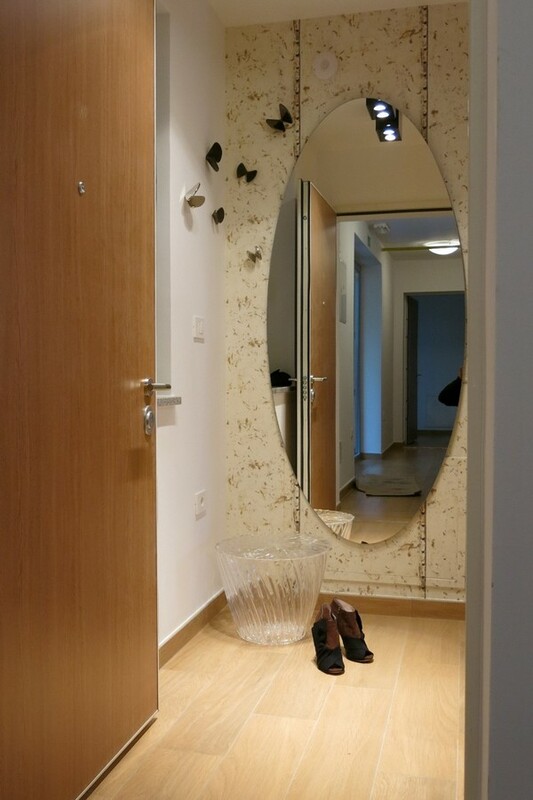 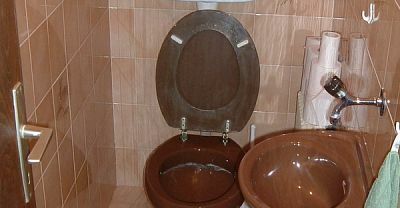 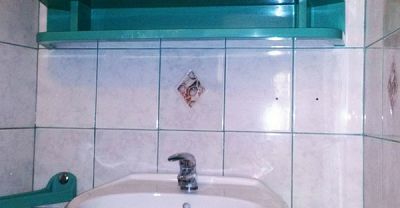 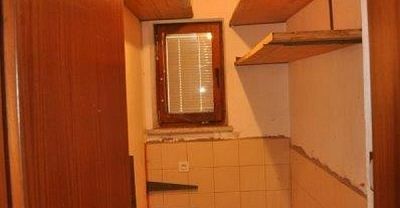 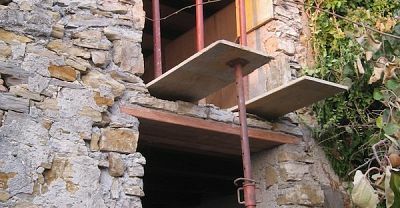 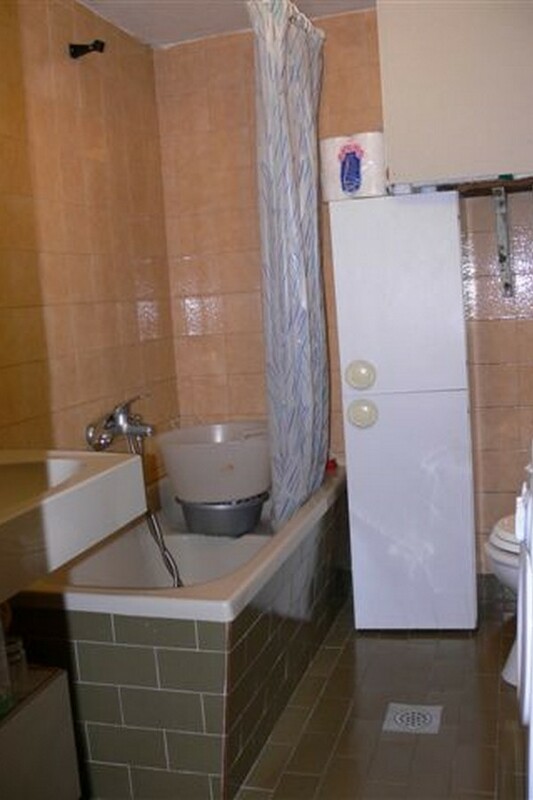 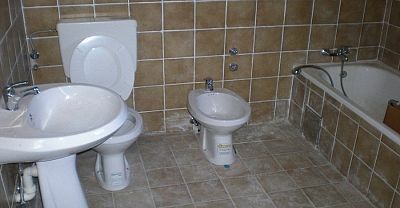 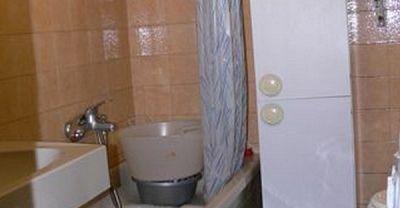 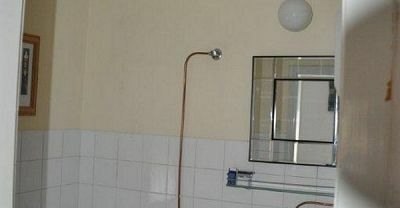 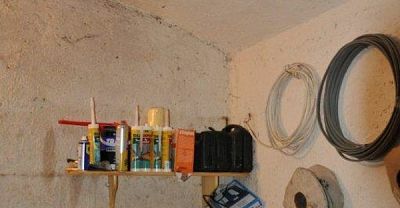 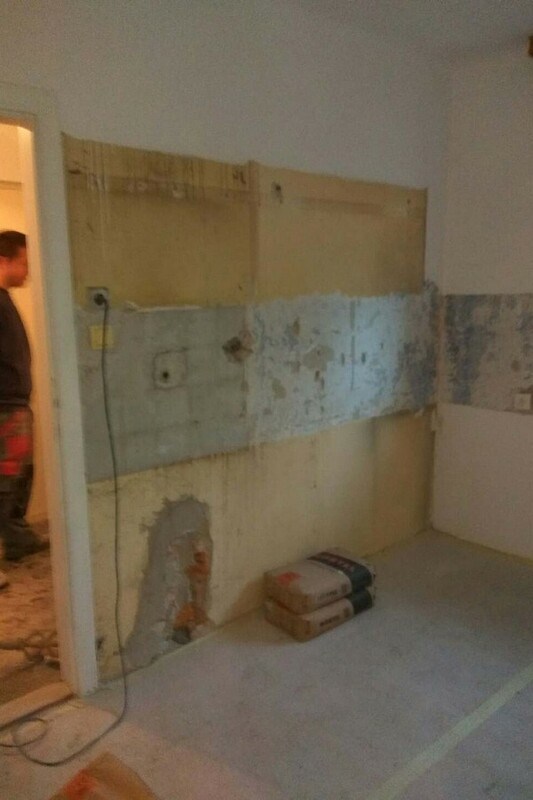 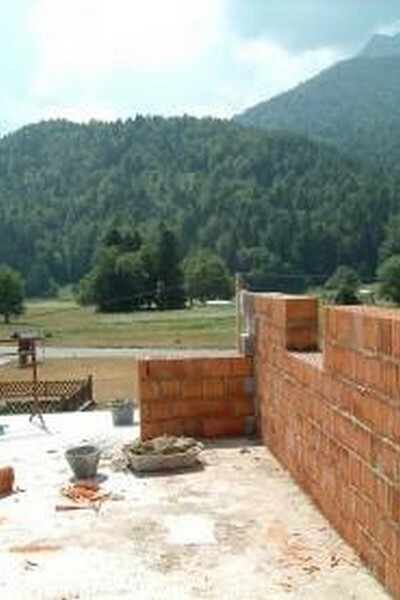 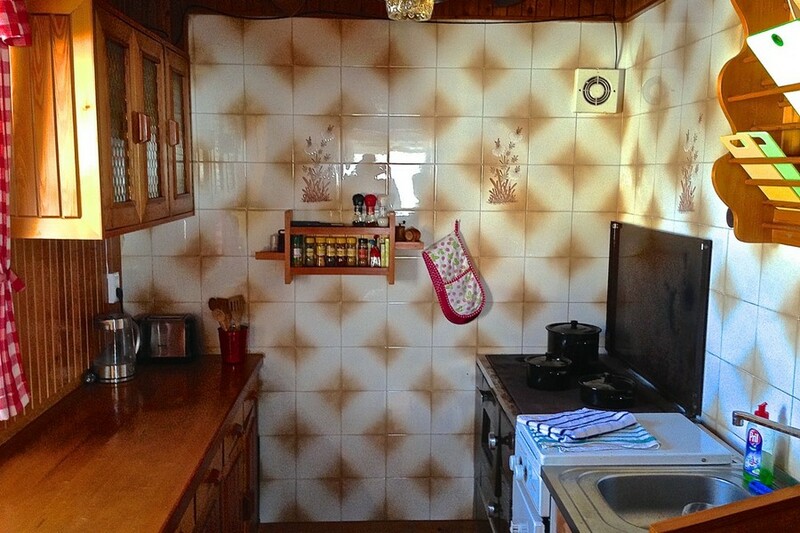 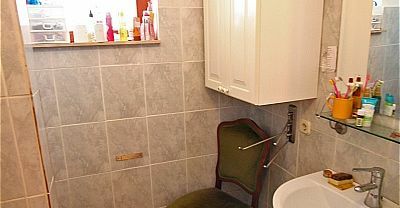 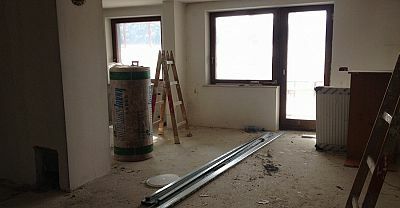 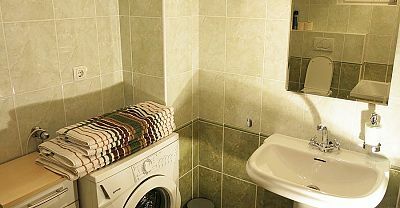 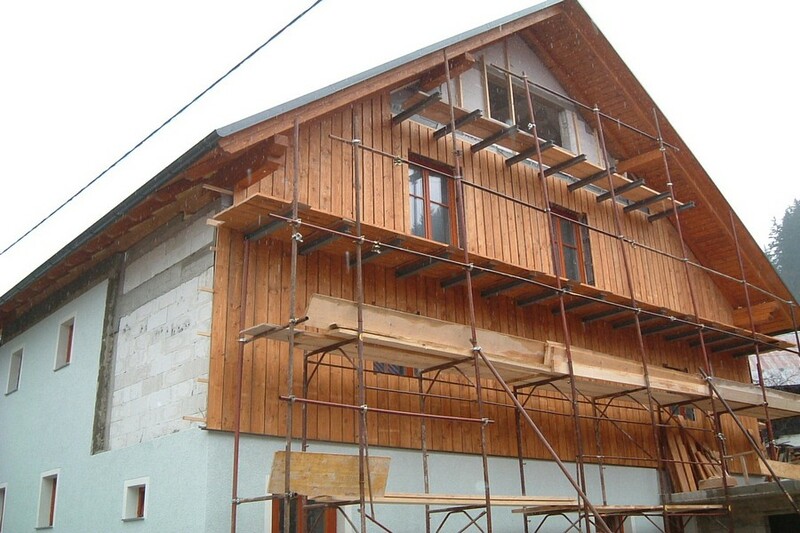 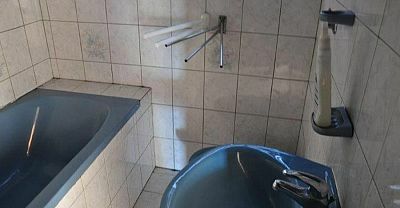 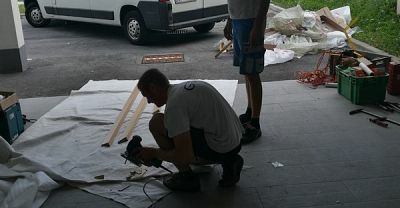 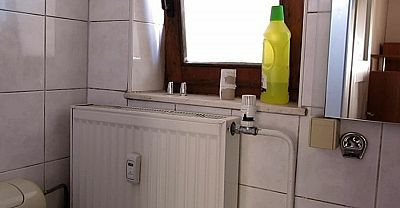 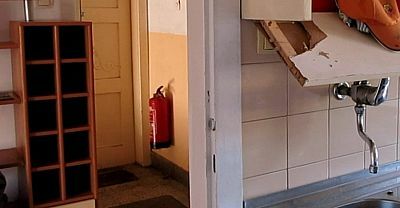 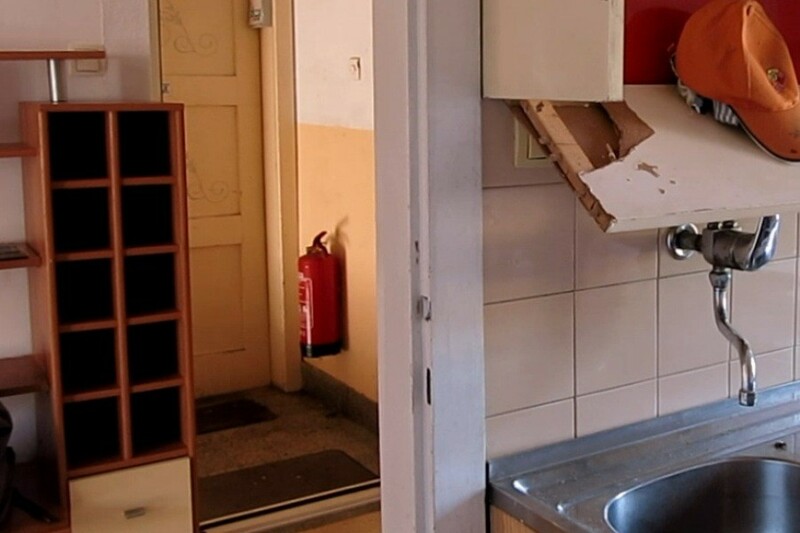 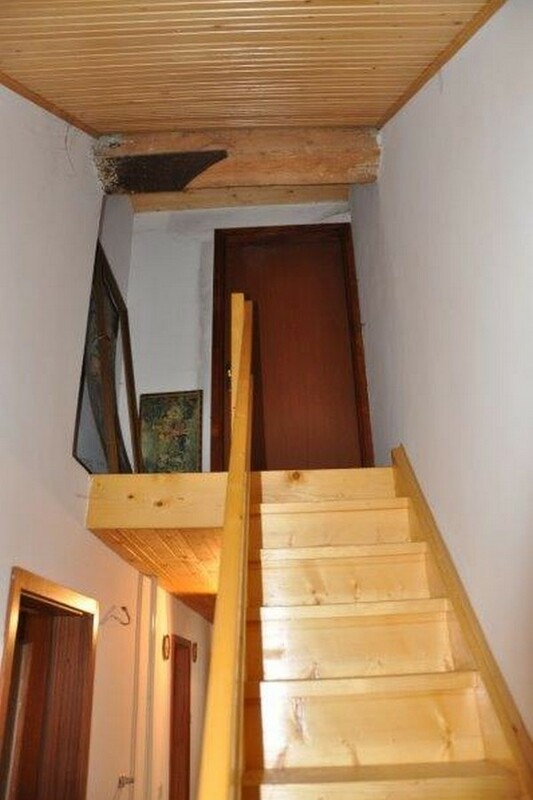 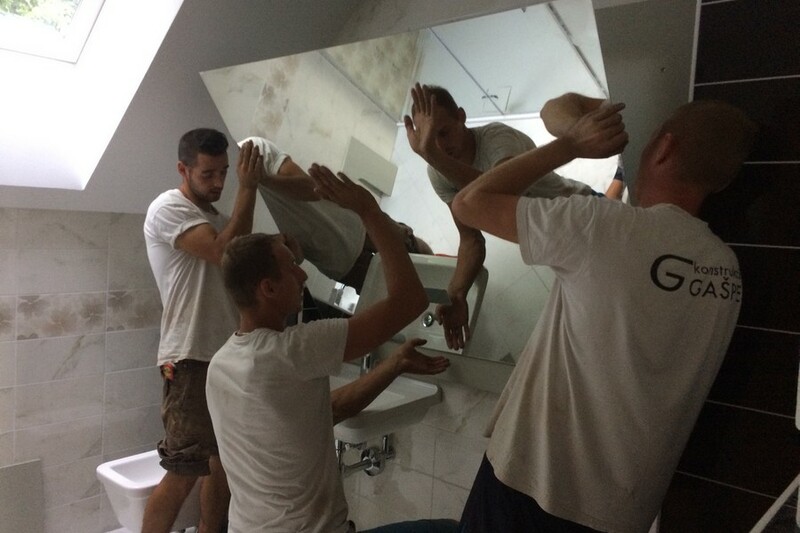 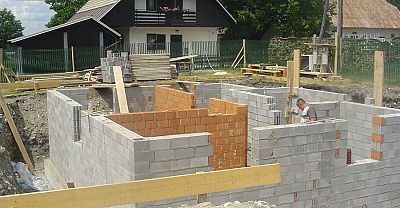 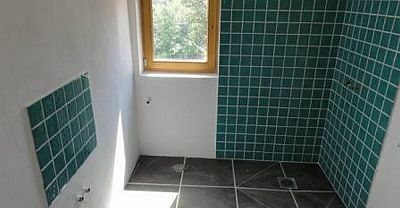 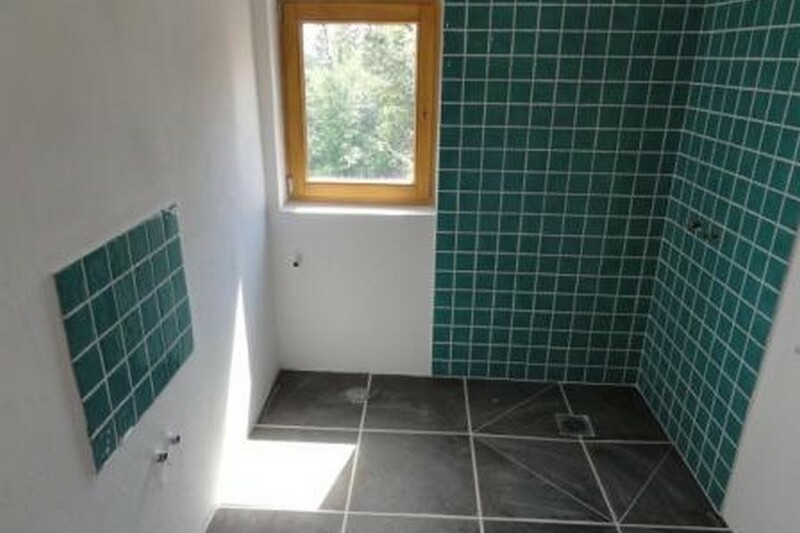 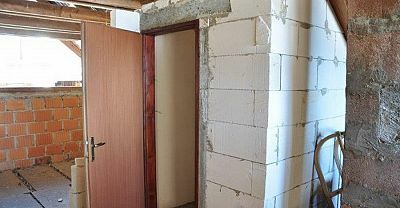 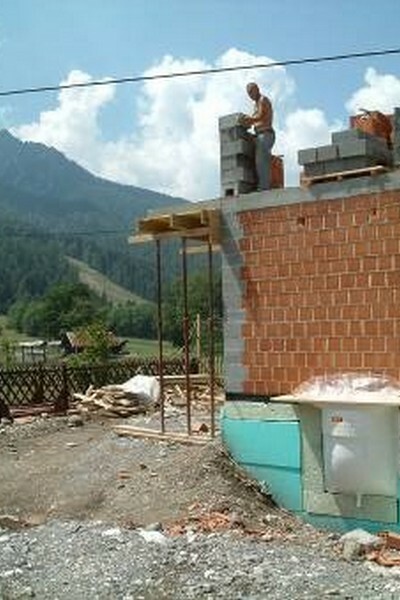 At Think Slovenia we also do smaller budget renovations. 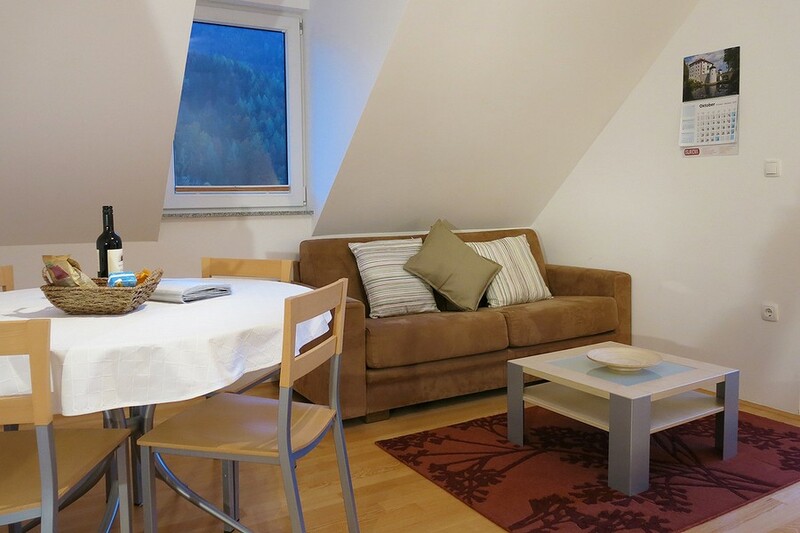 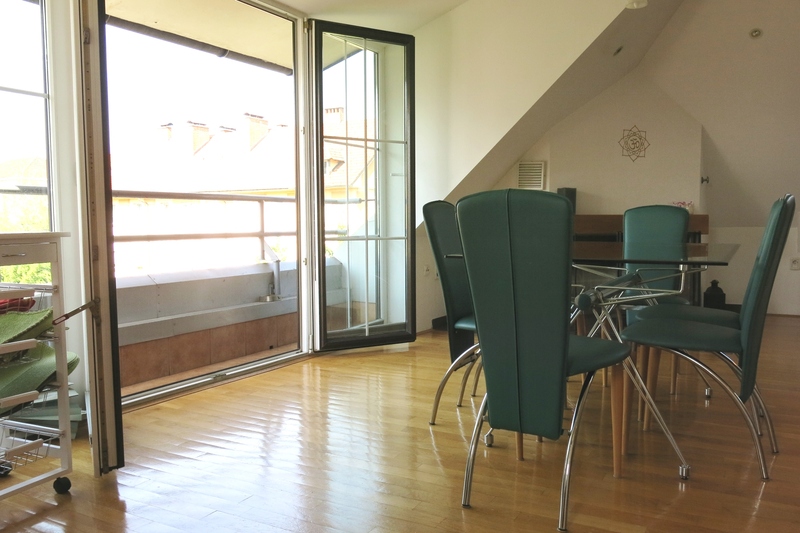 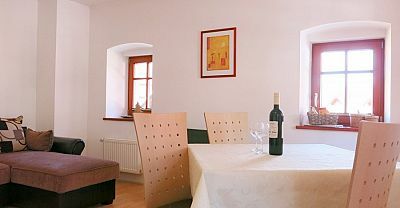 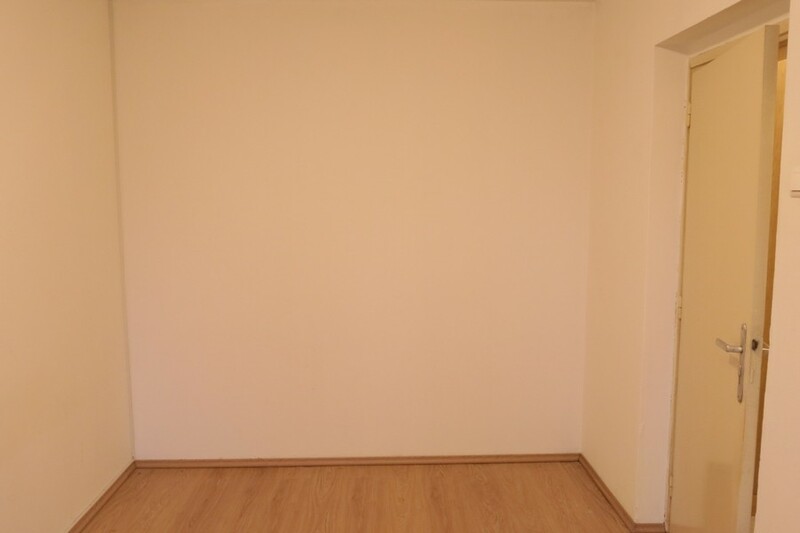 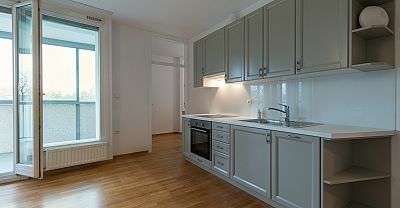 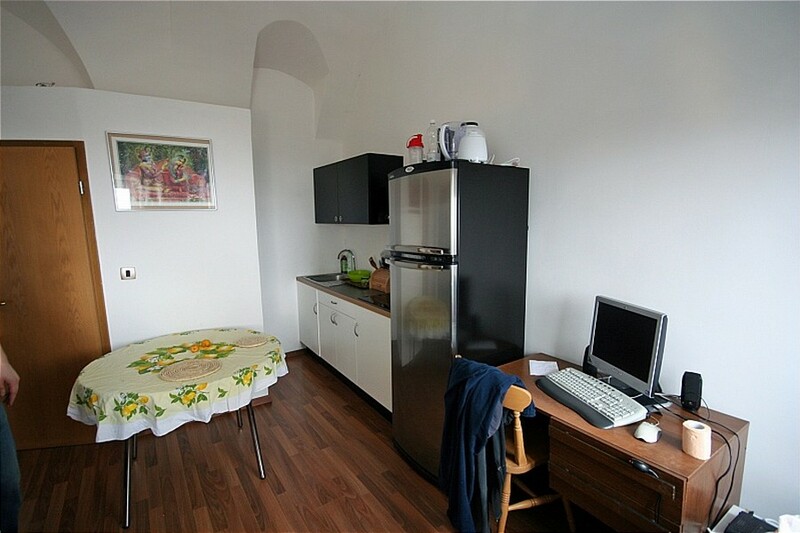 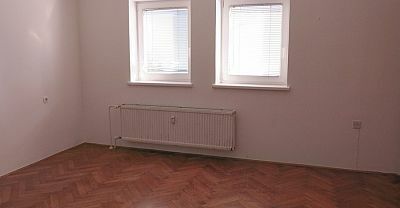 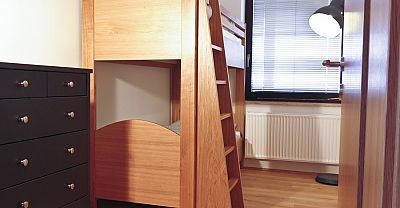 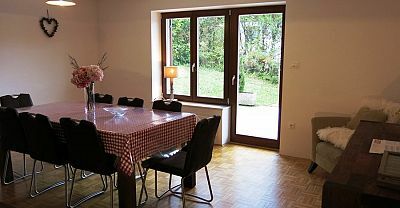 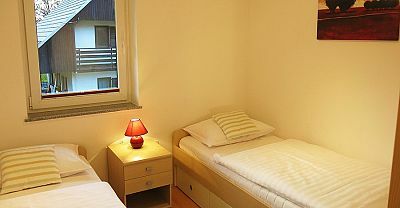 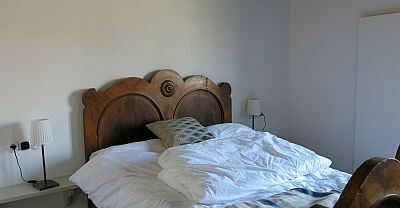 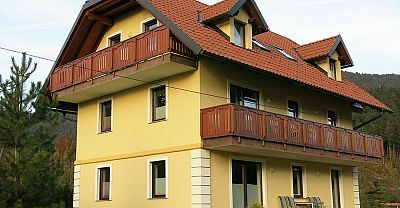 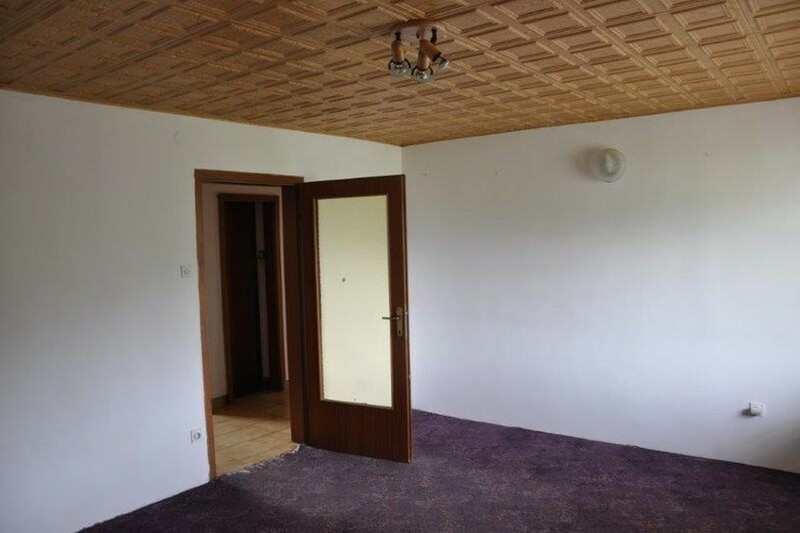 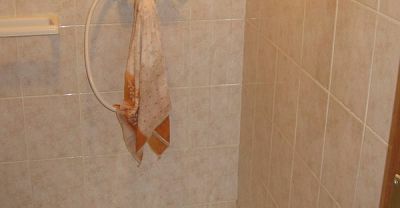 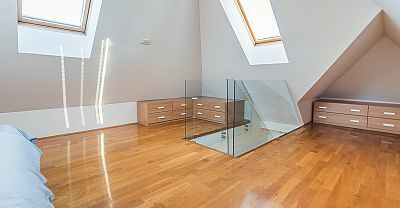 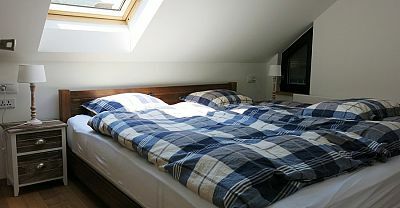 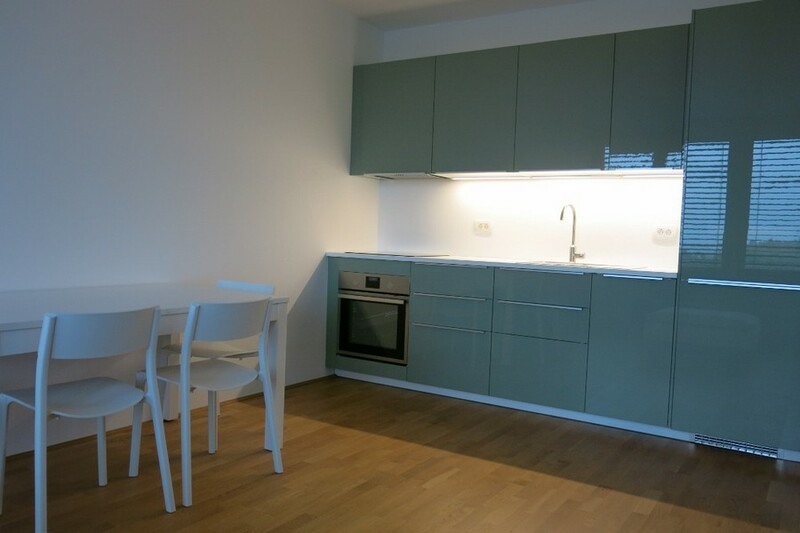 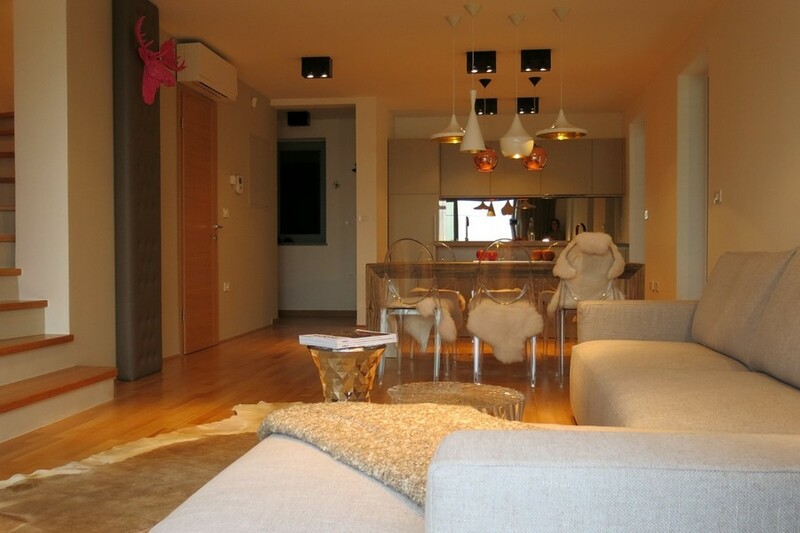 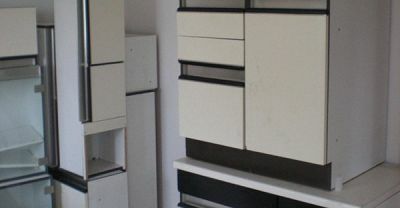 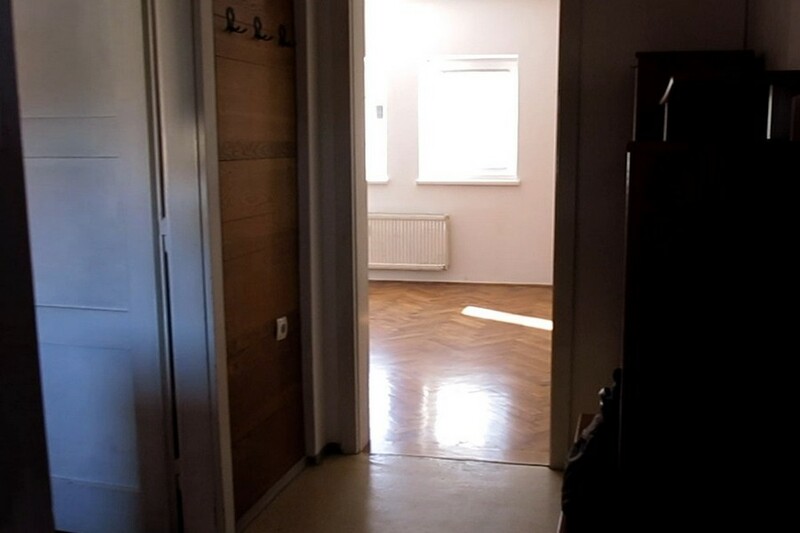 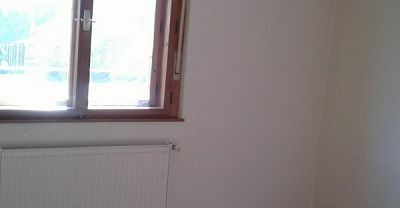 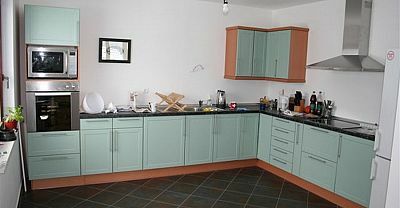 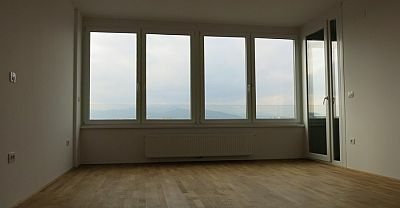 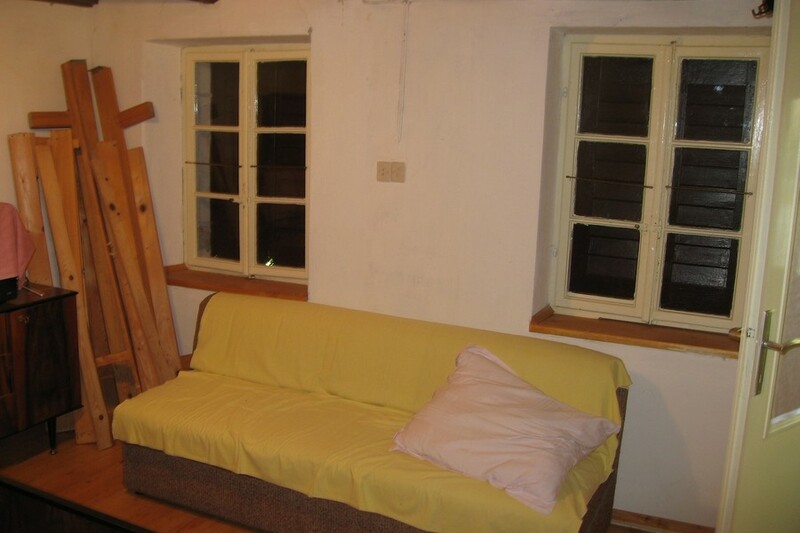 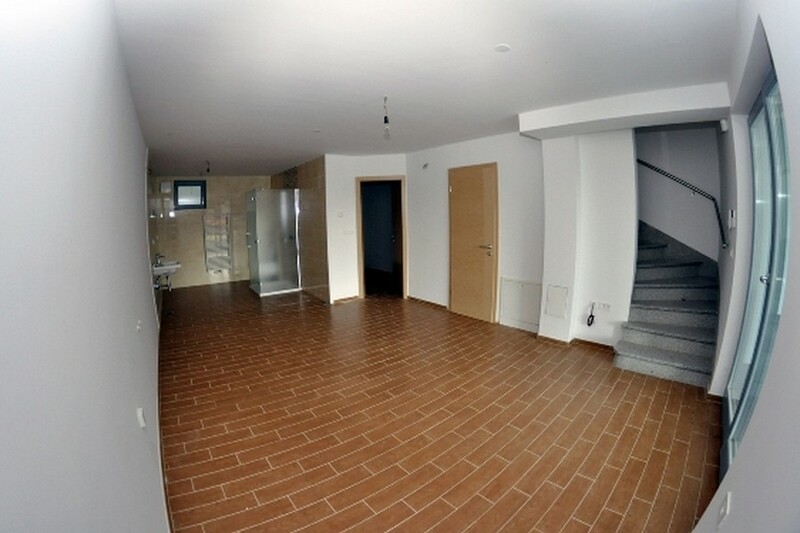 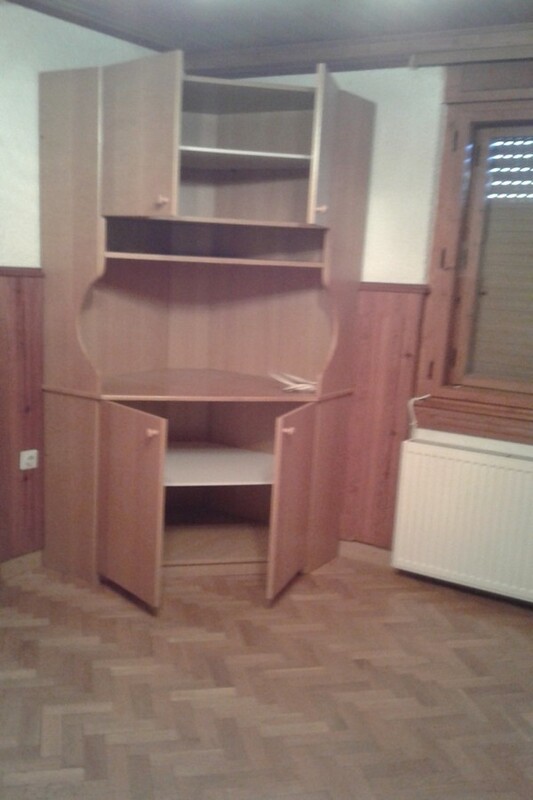 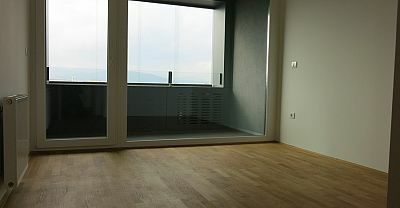 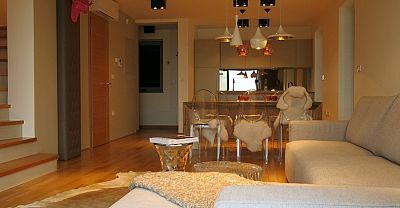 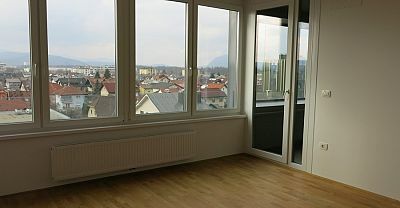 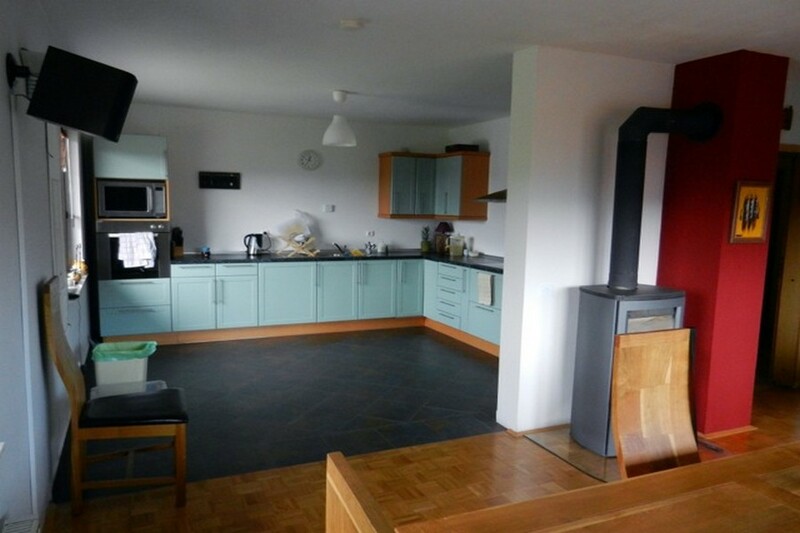 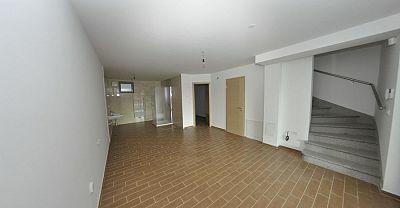 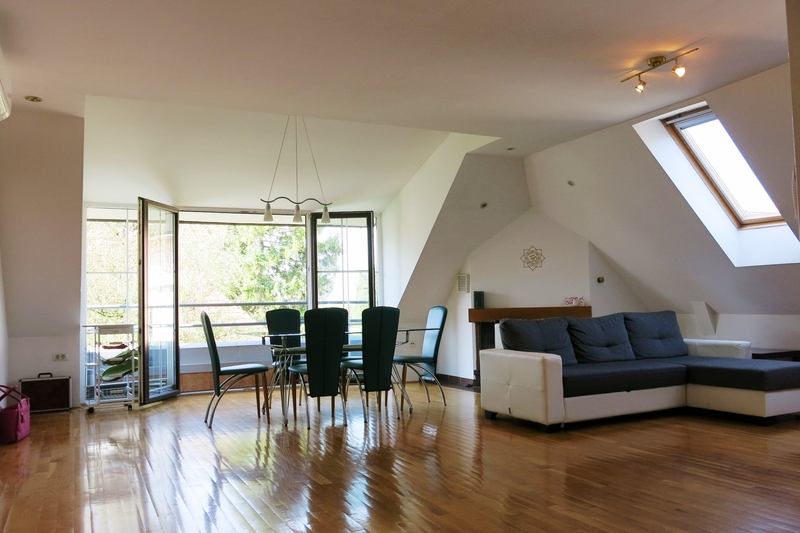 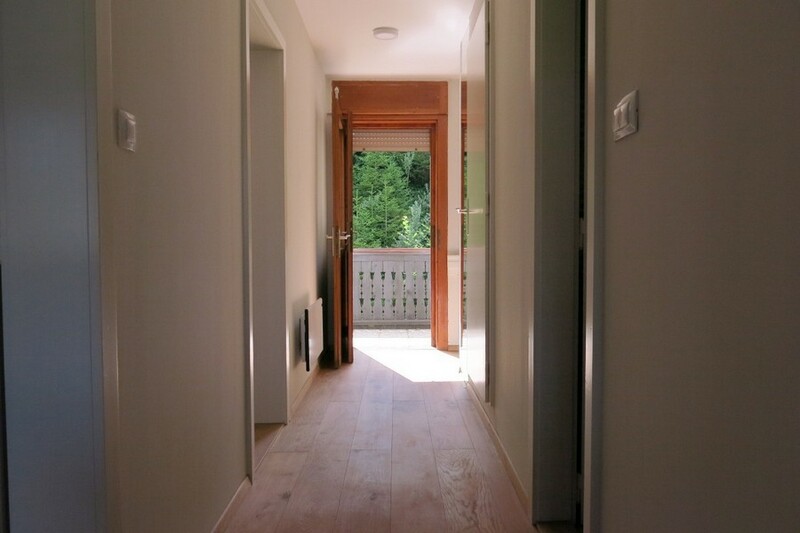 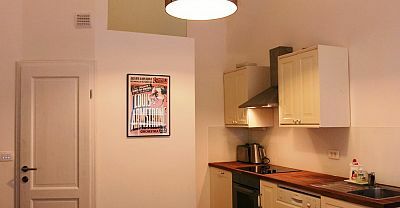 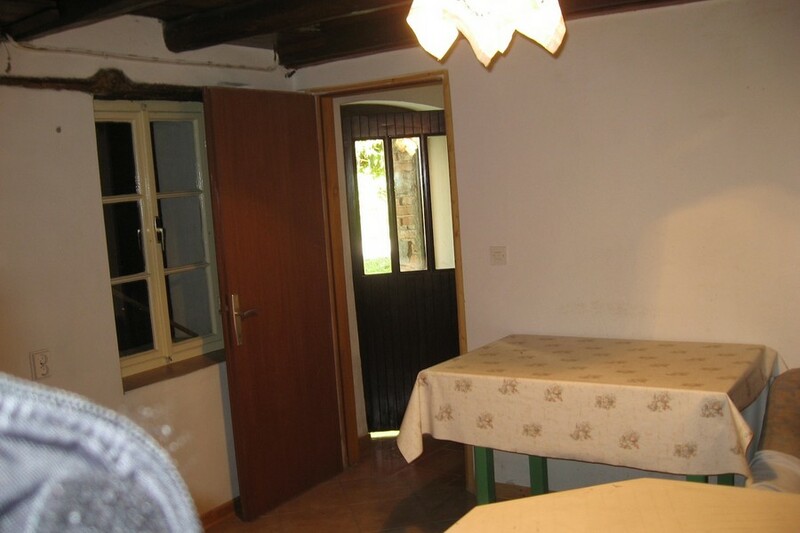 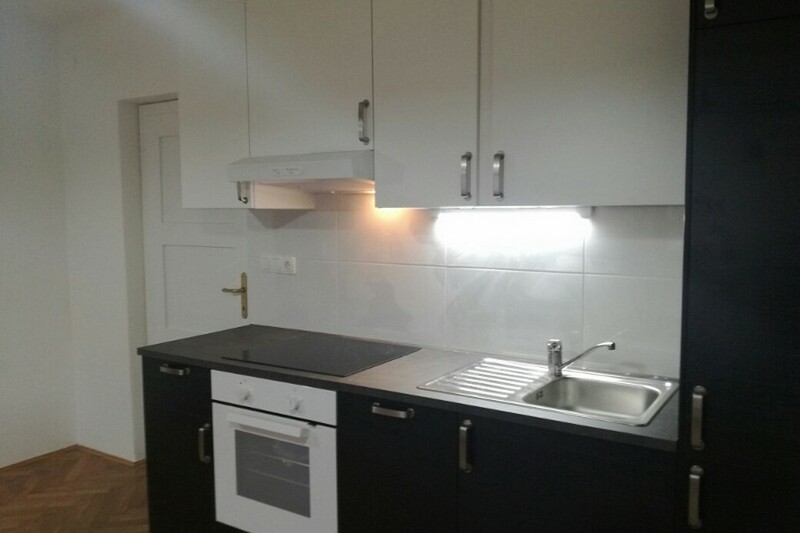 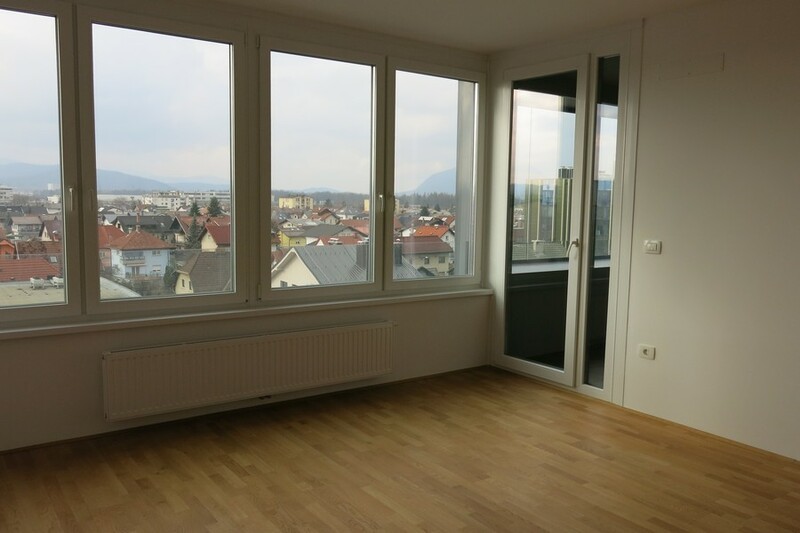 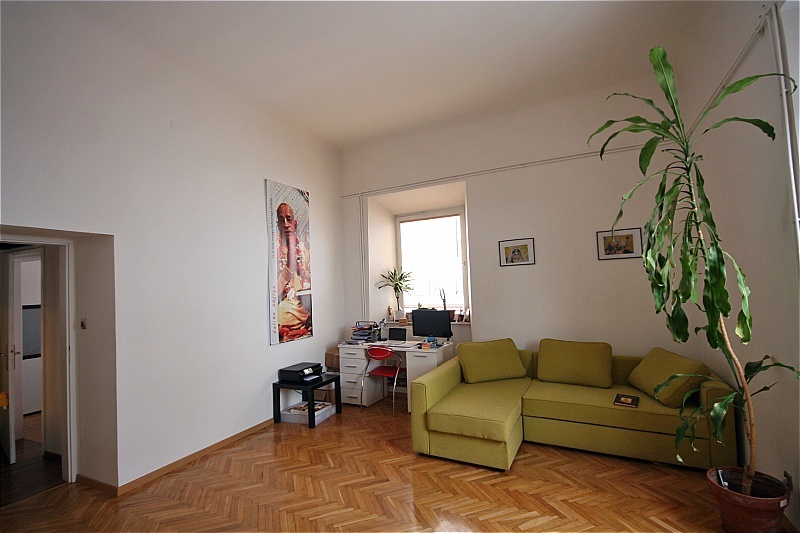 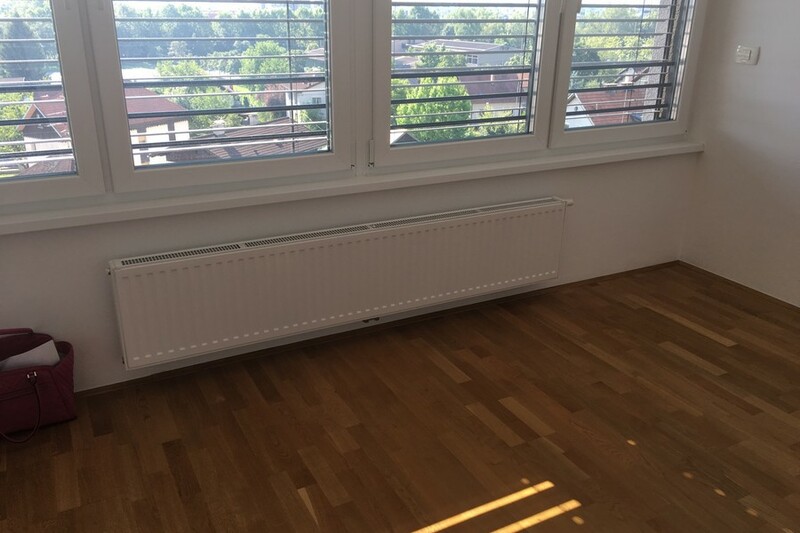 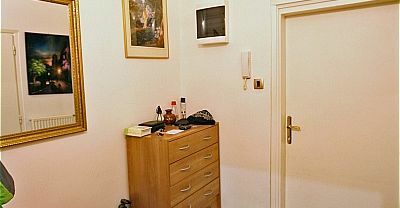 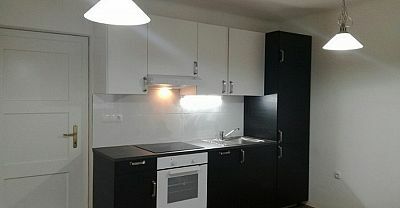 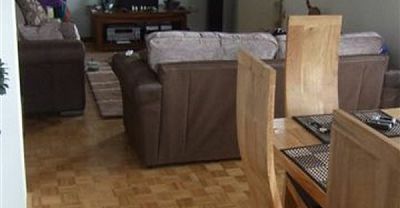 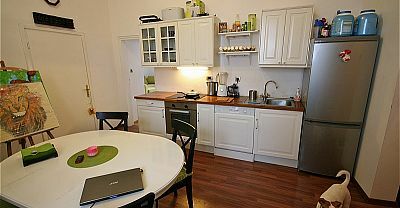 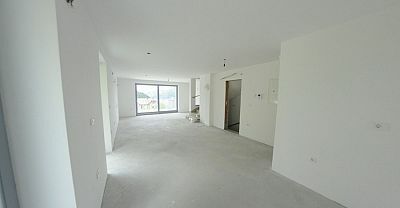 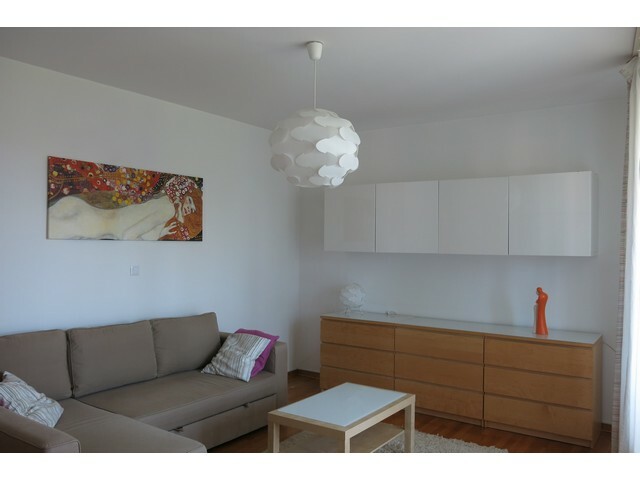 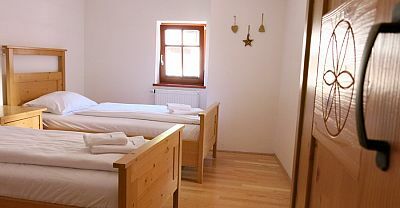 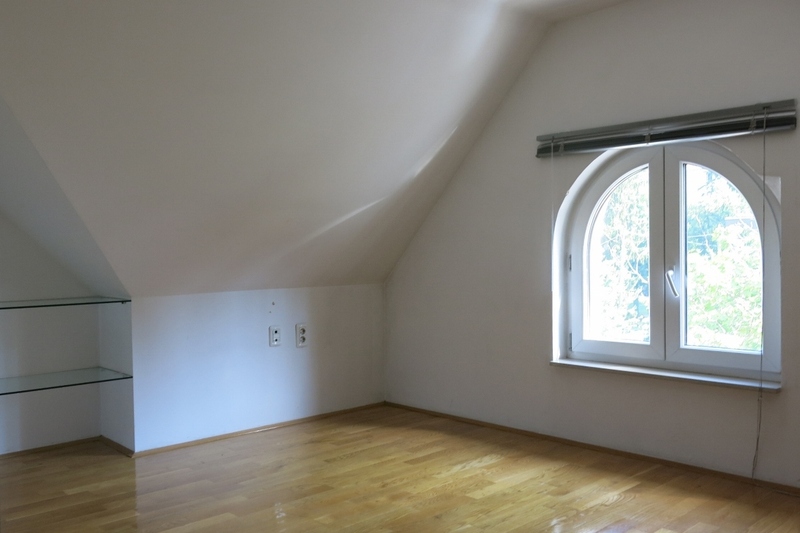 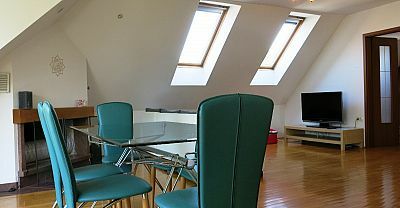 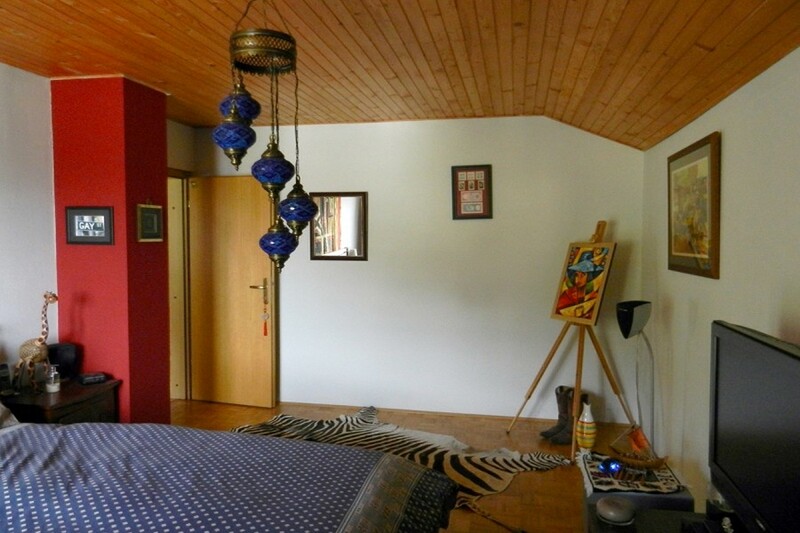 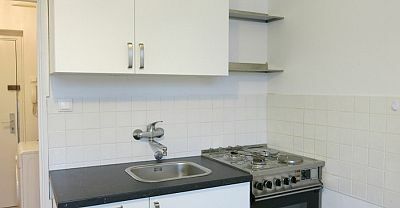 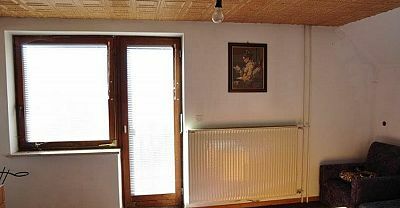 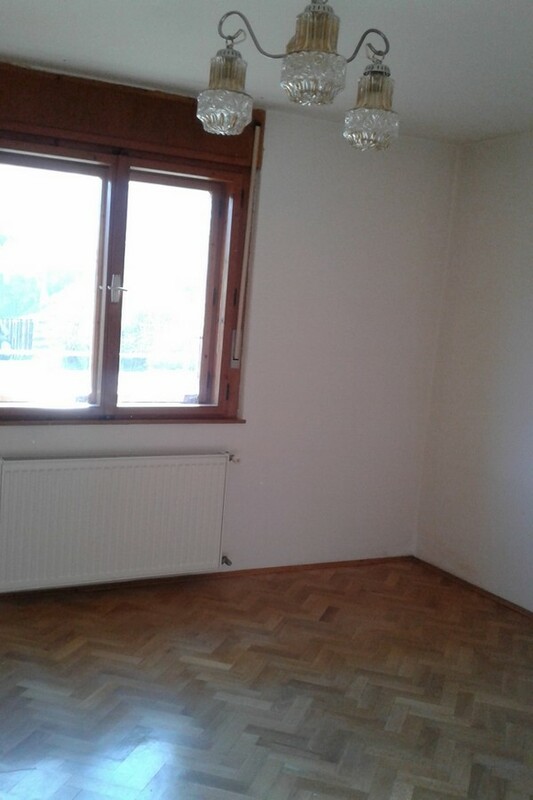 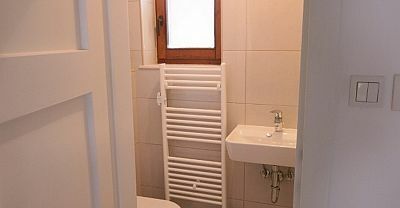 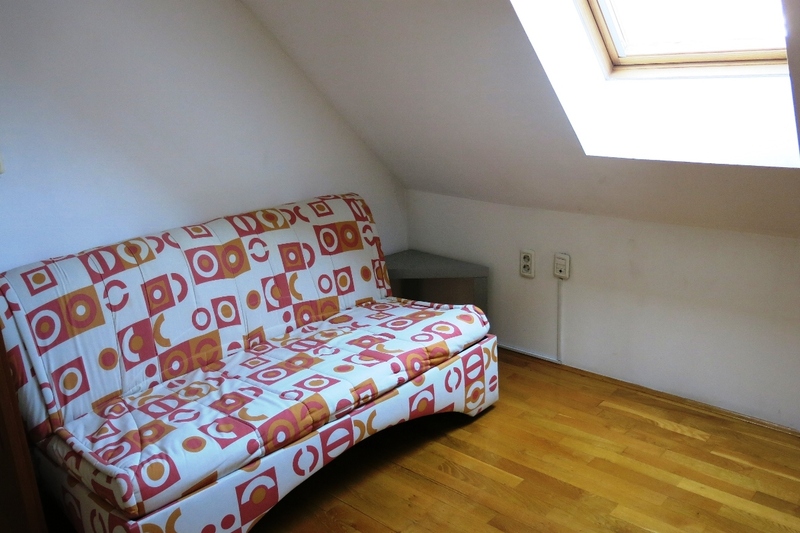 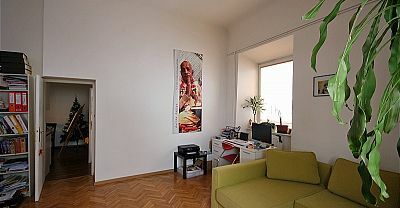 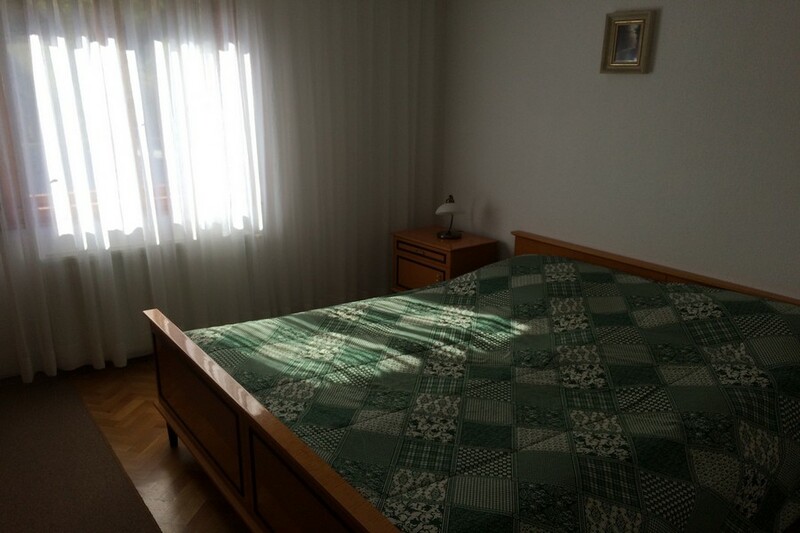 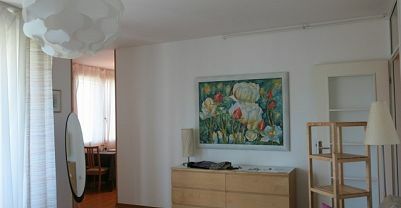 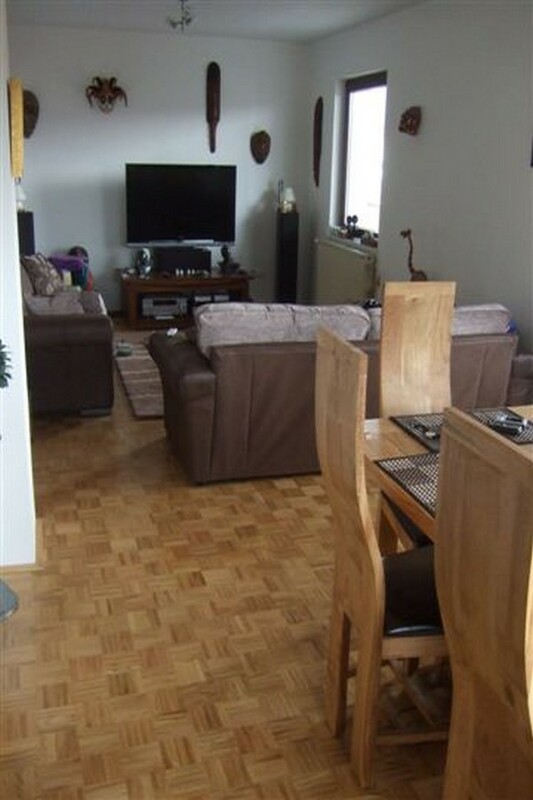 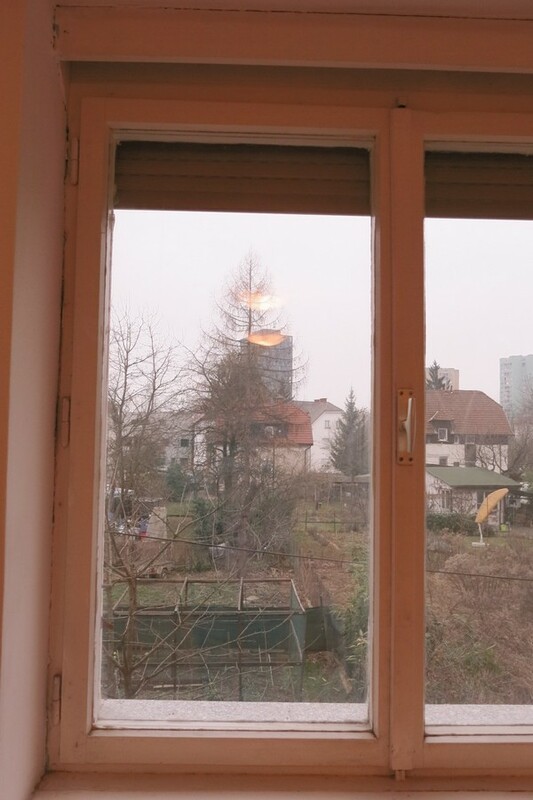 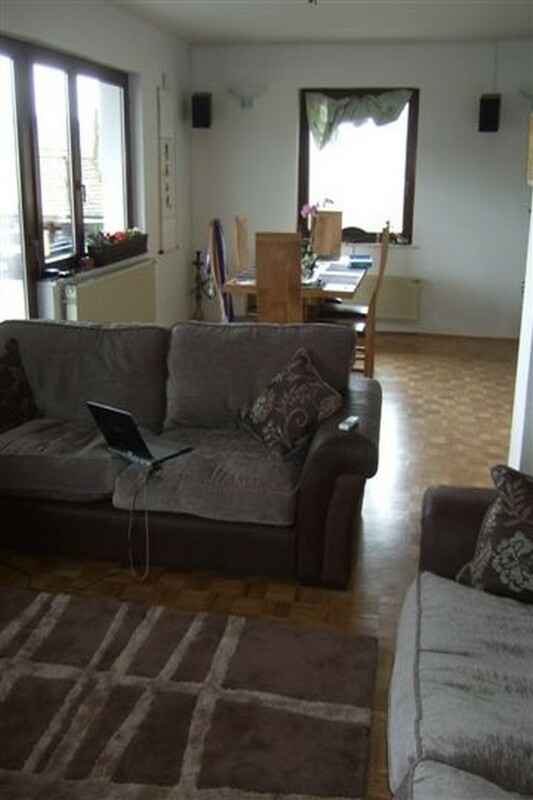 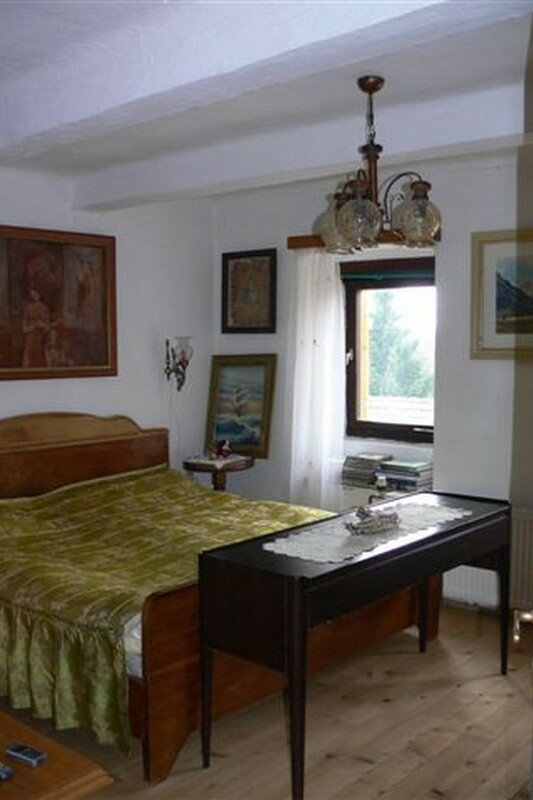 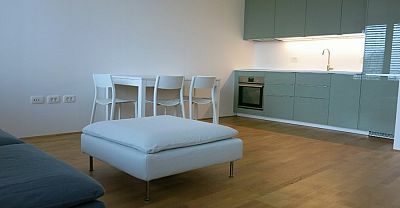 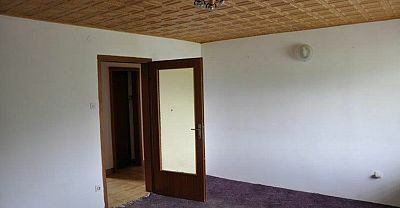 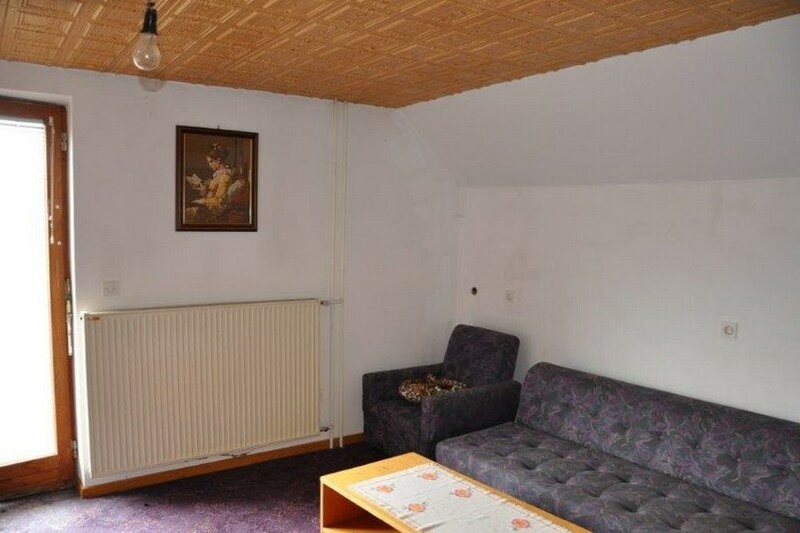 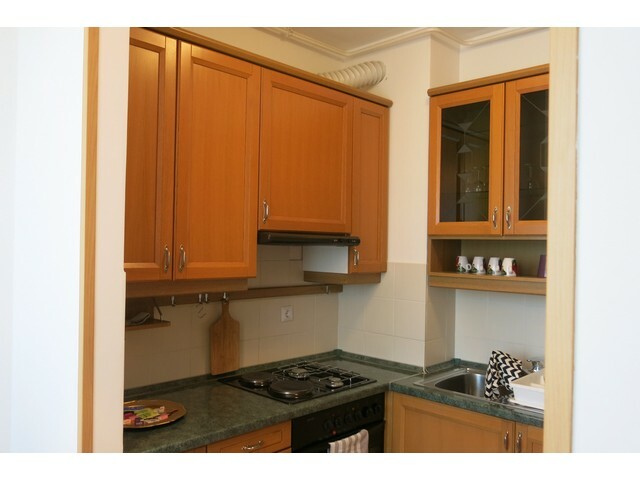 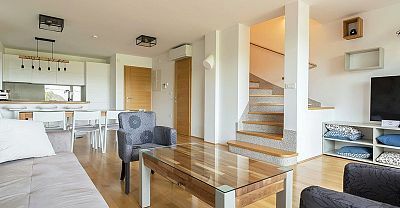 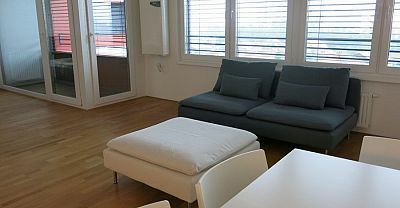 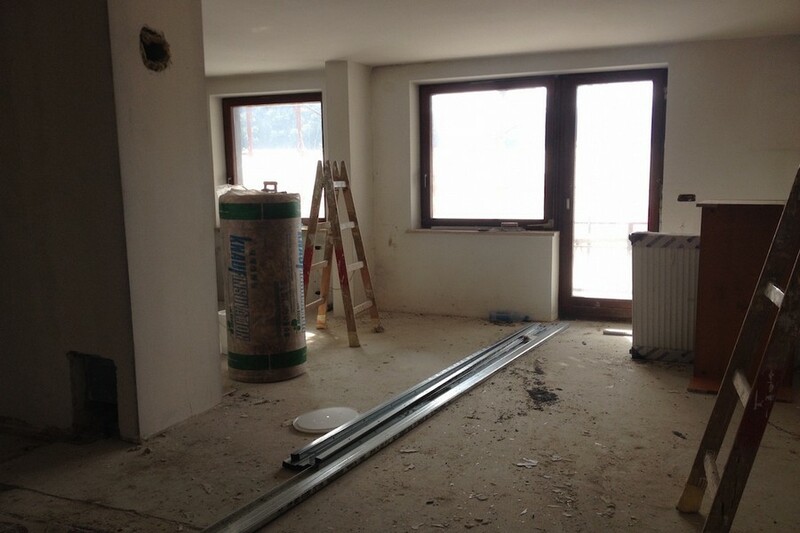 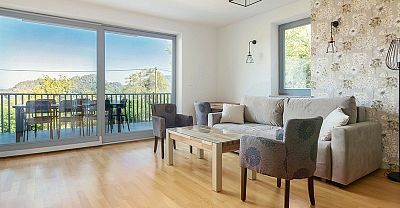 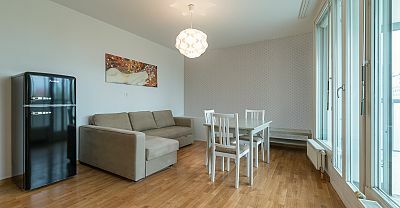 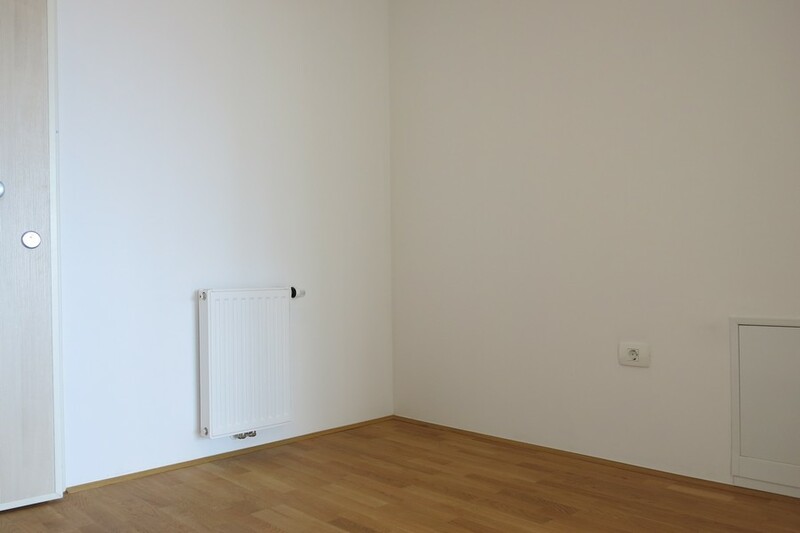 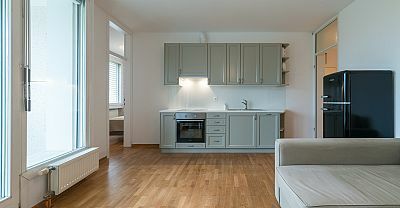 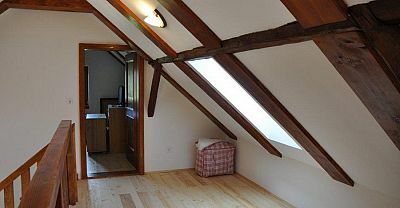 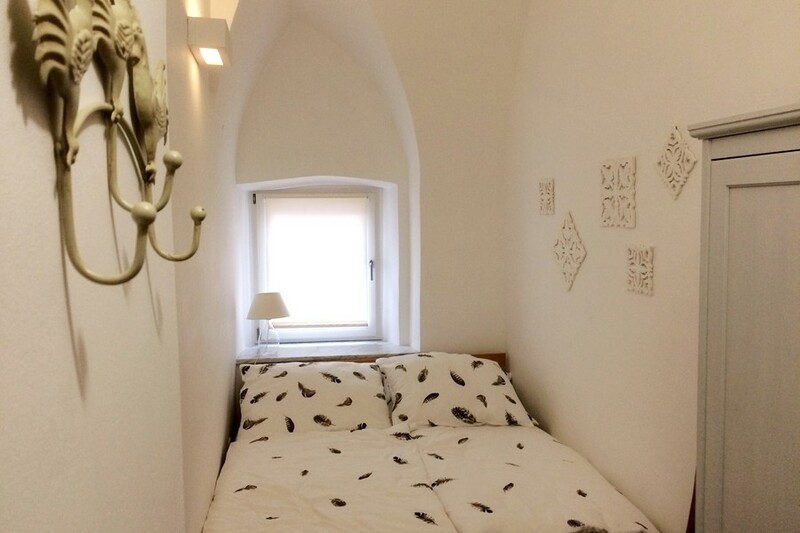 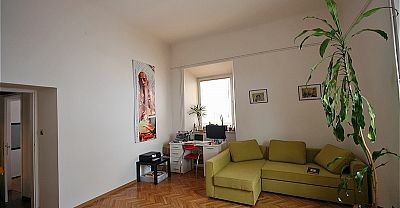 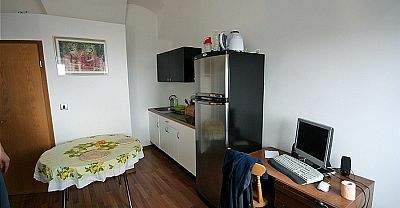 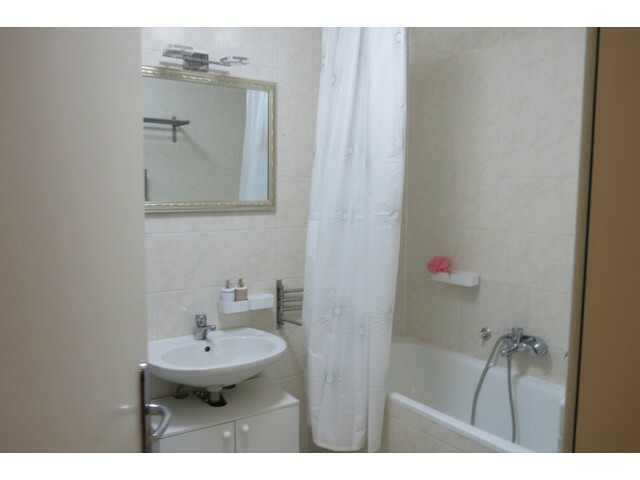 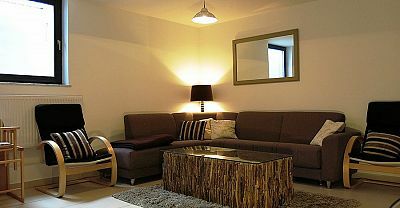 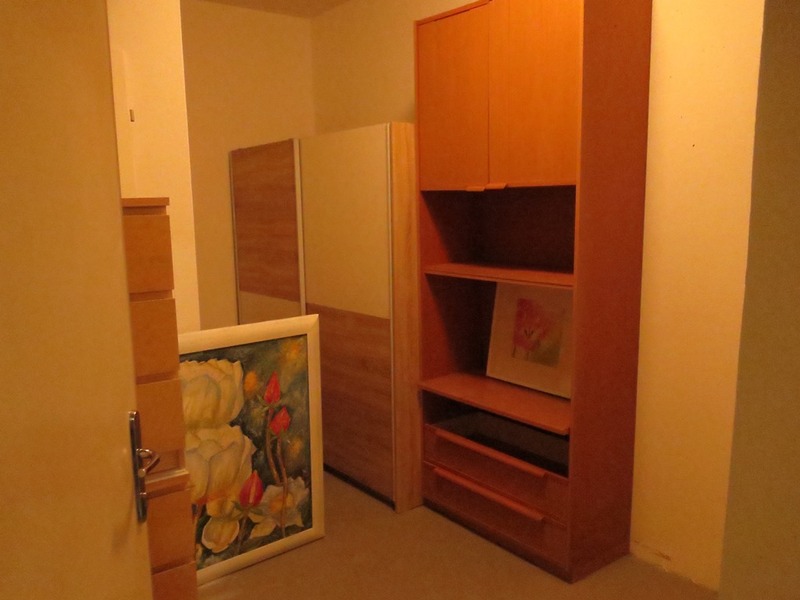 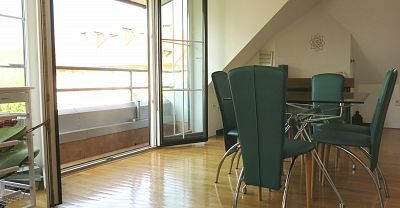 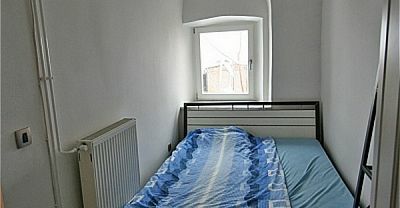 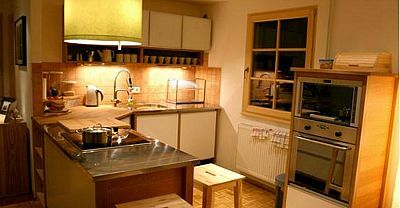 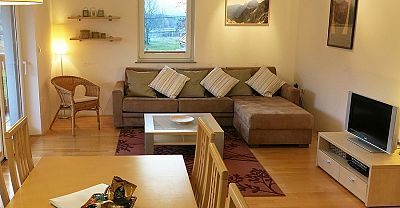 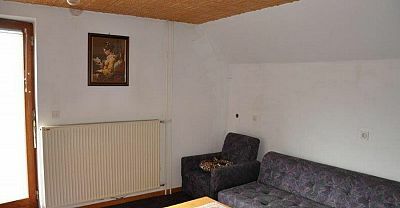 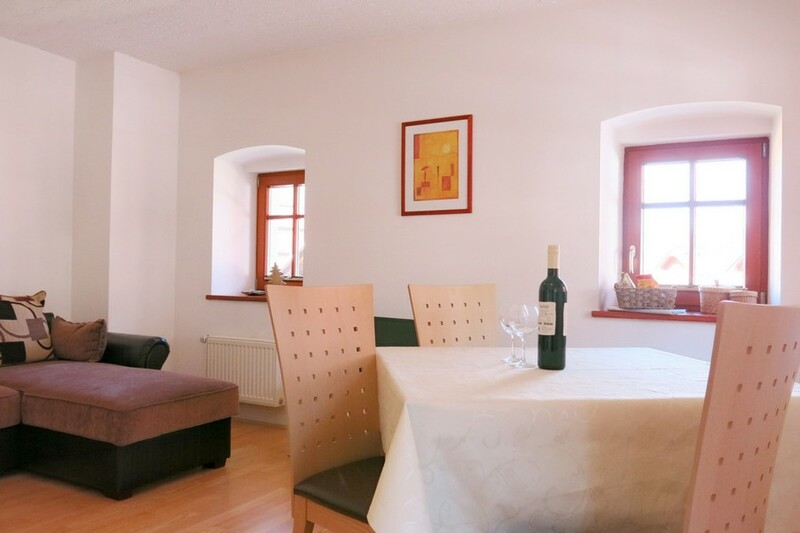 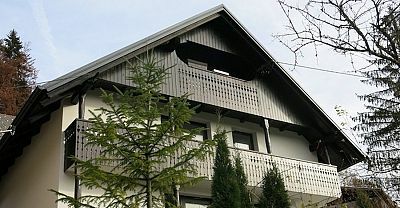 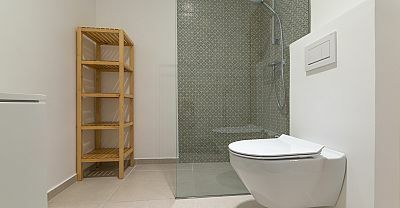 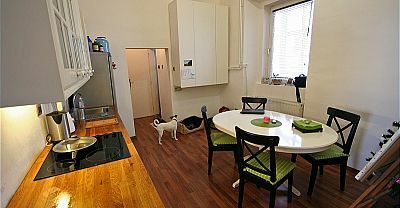 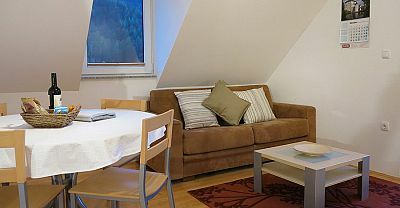 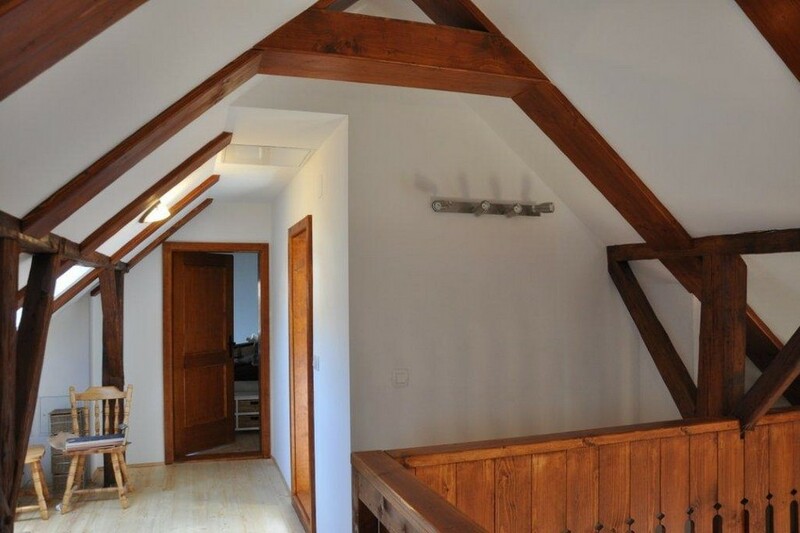 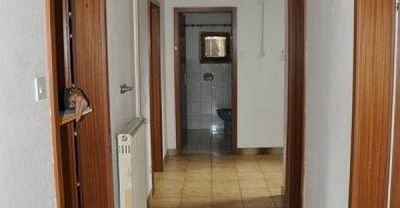 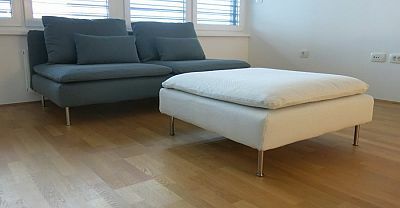 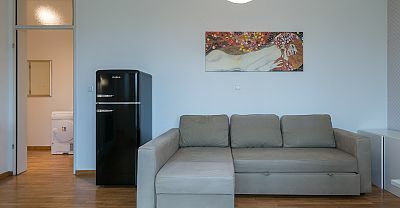 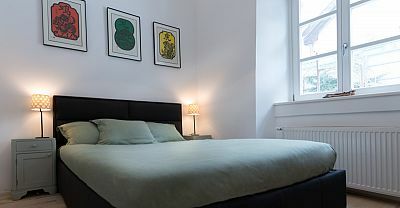 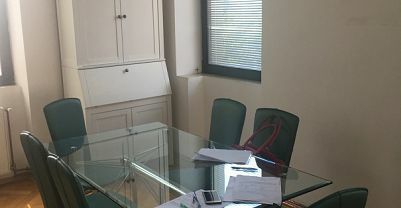 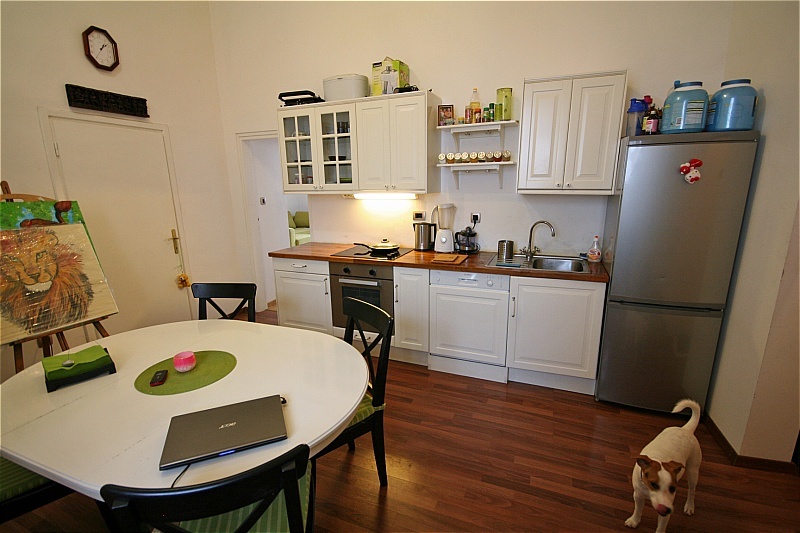 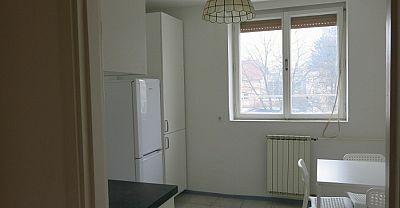 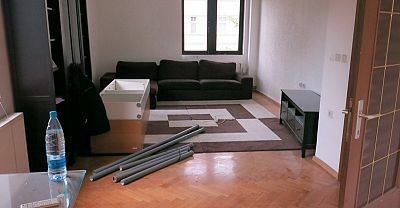 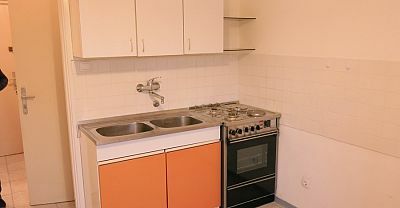 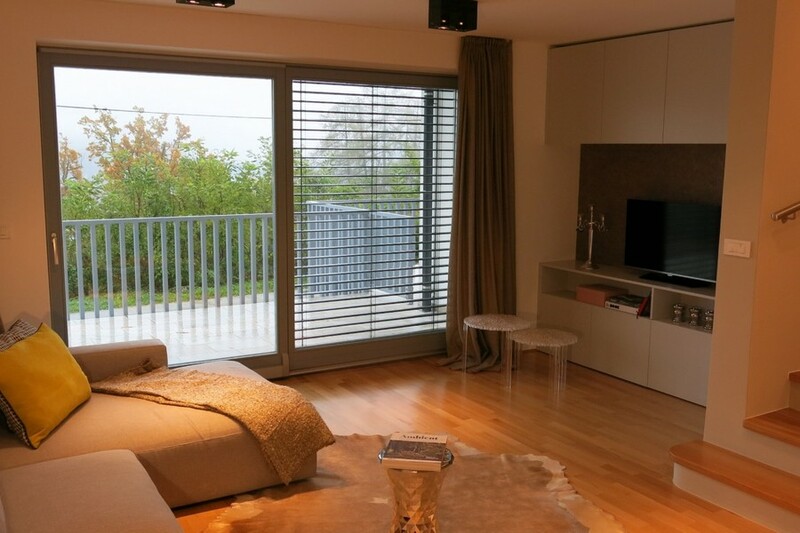 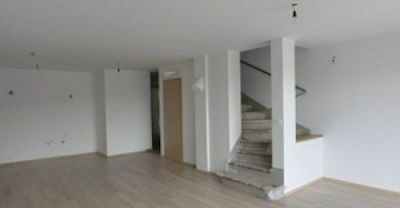 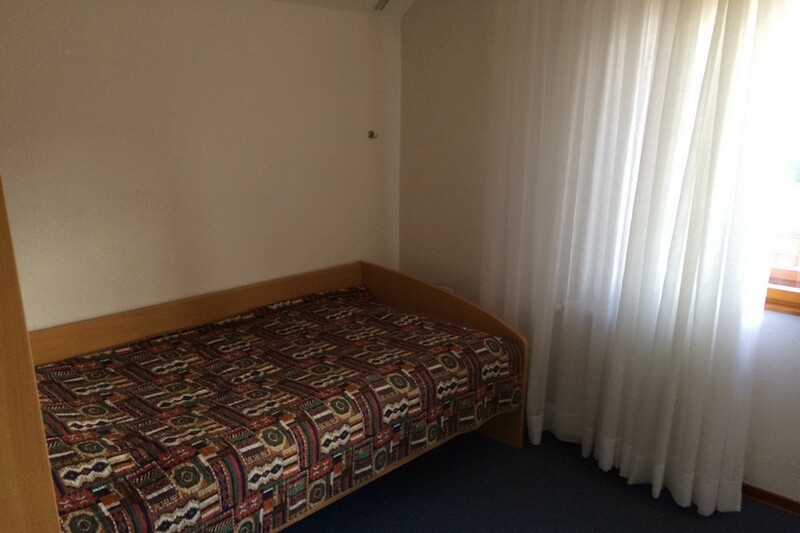 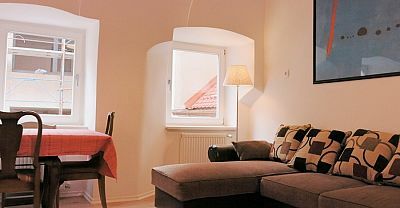 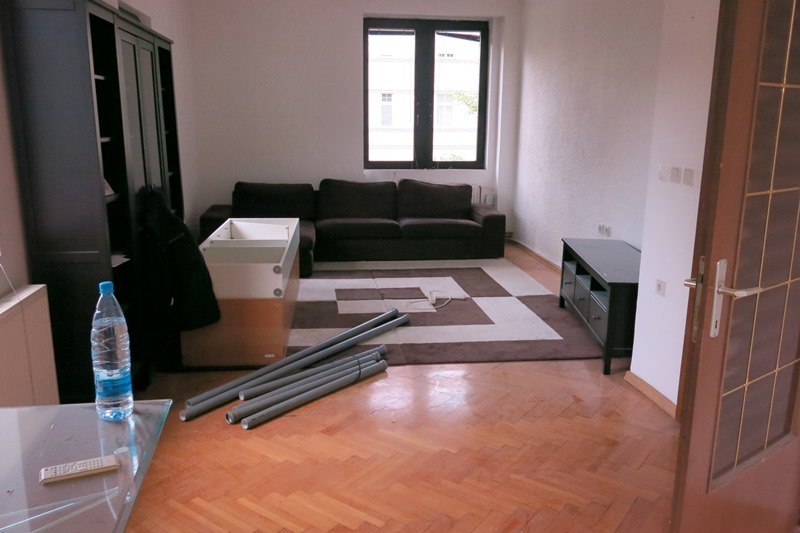 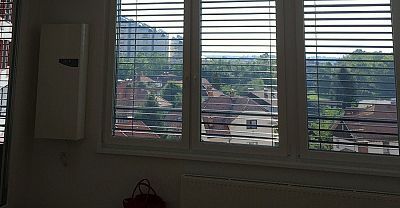 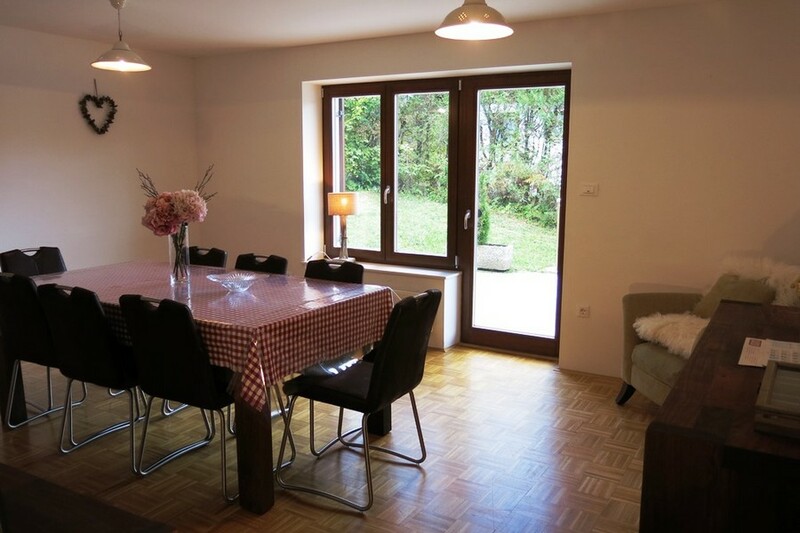 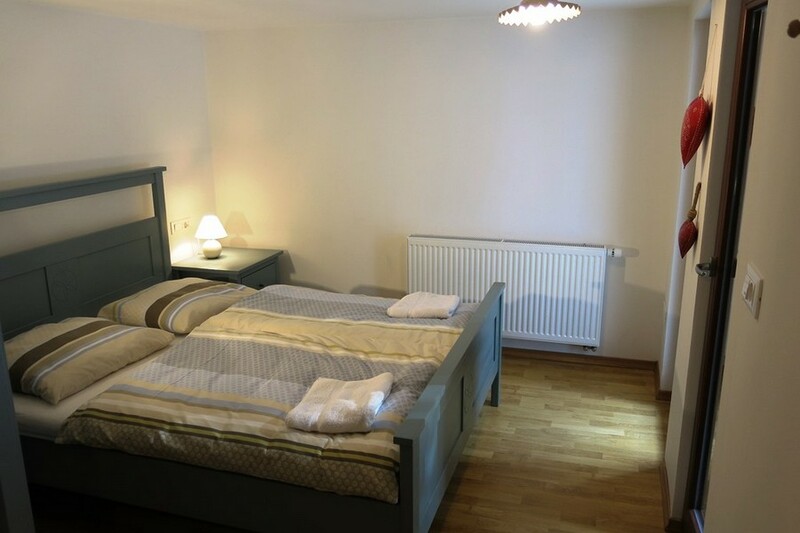 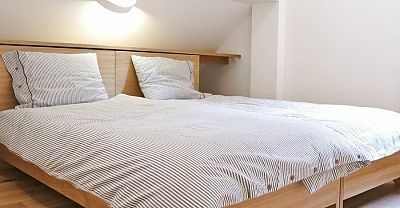 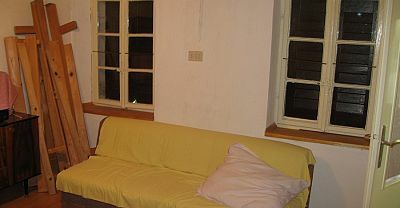 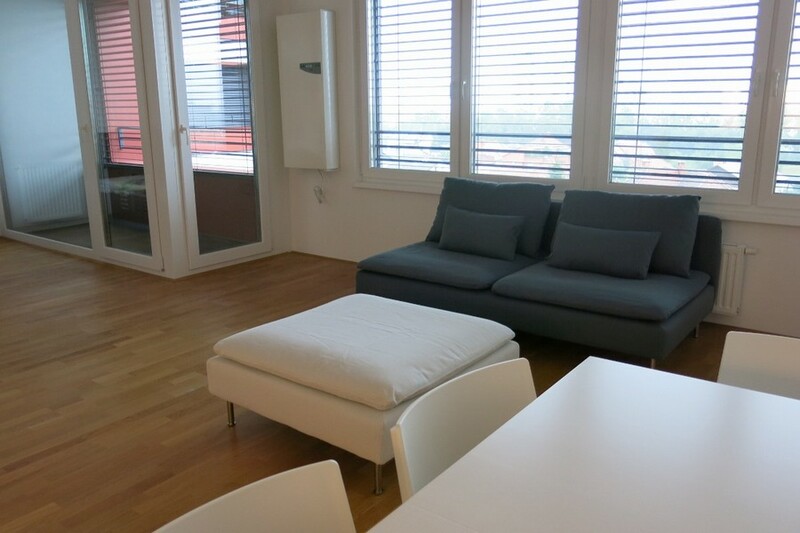 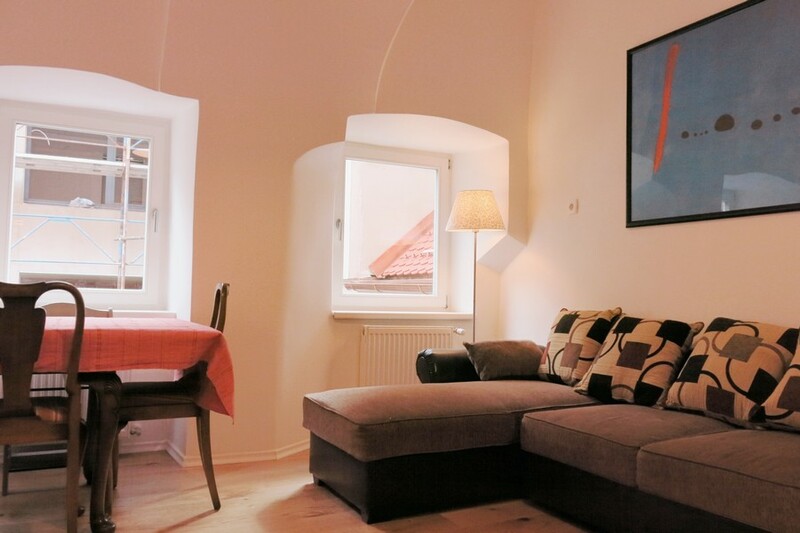 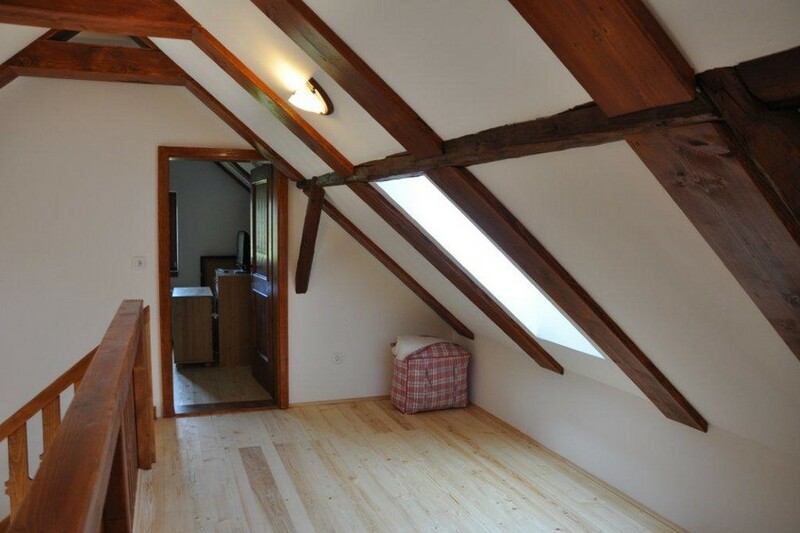 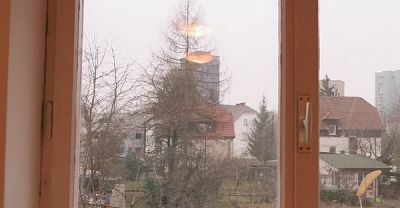 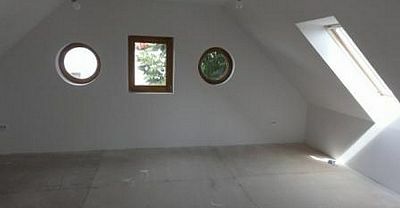 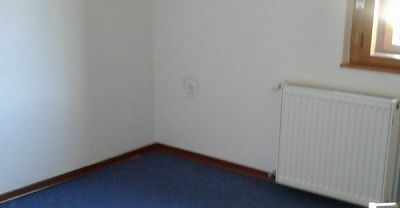 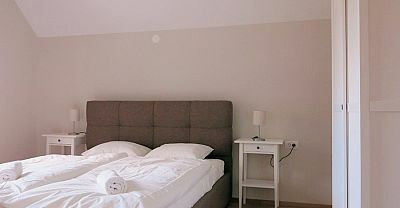 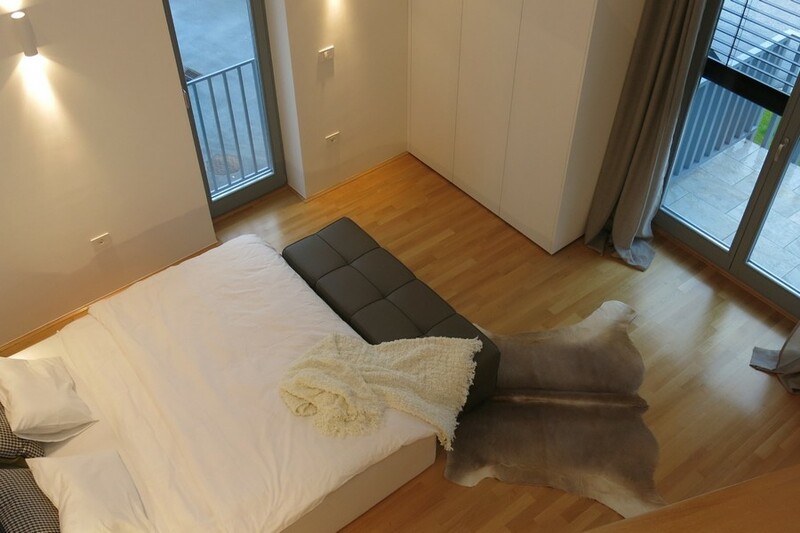 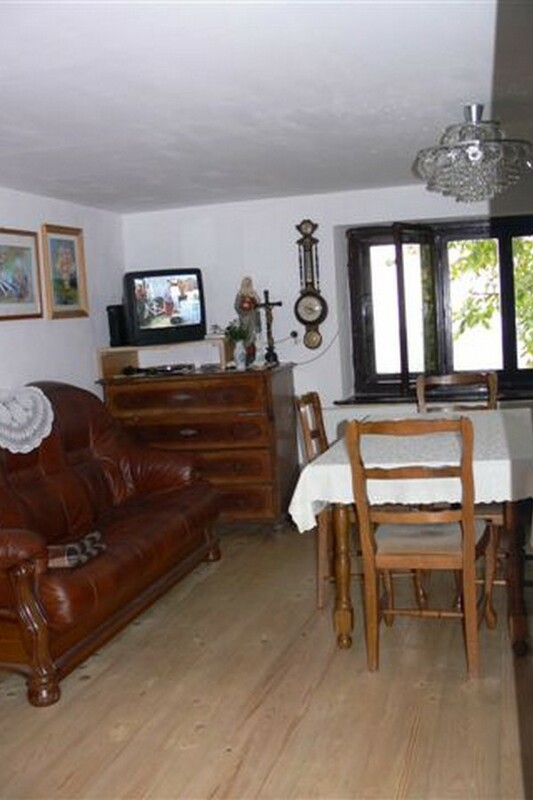 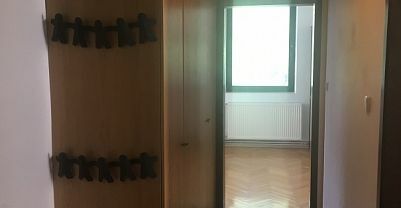 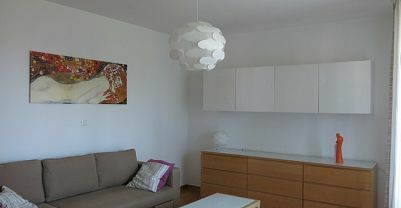 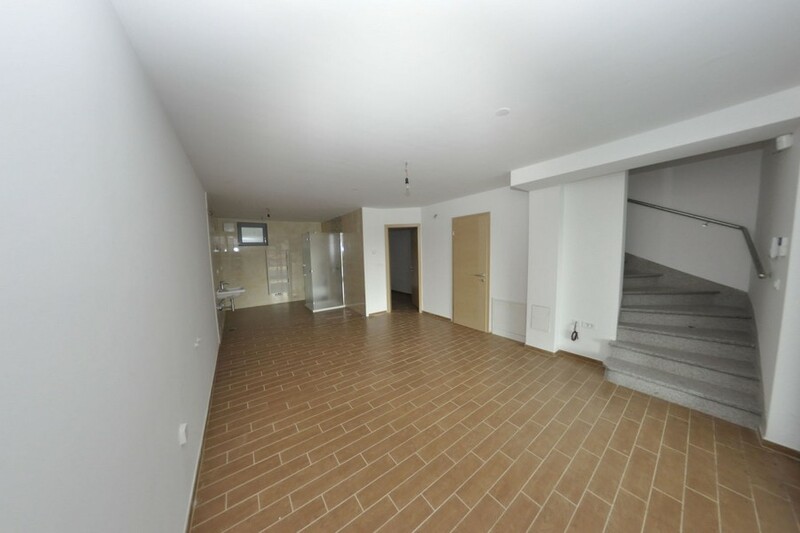 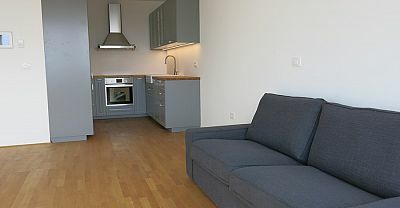 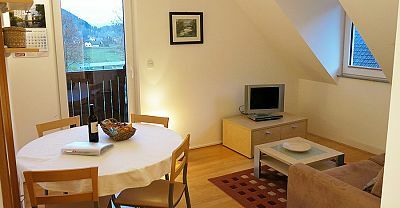 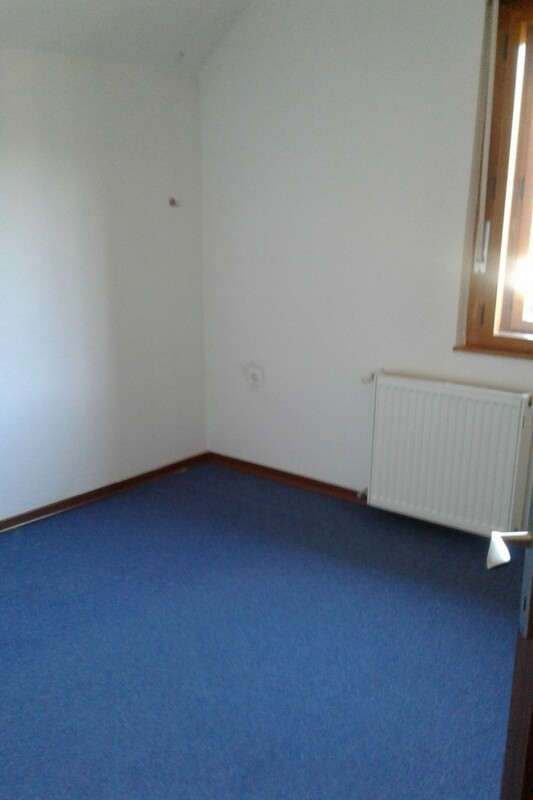 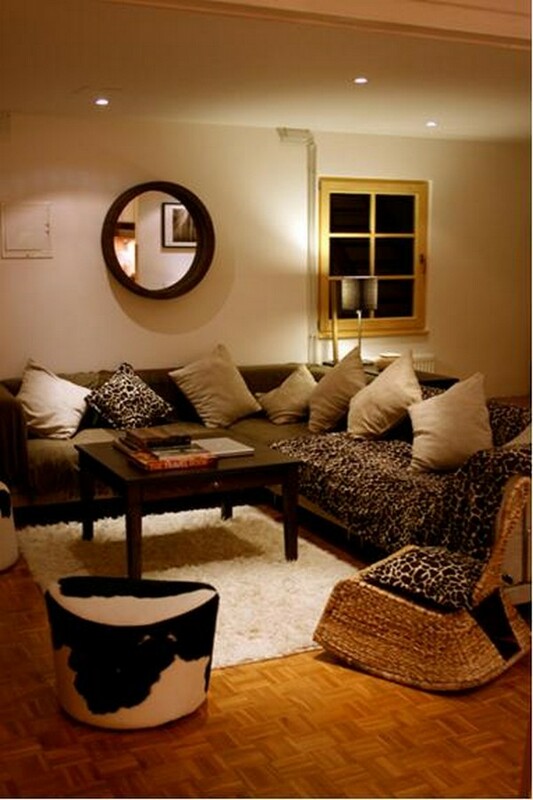 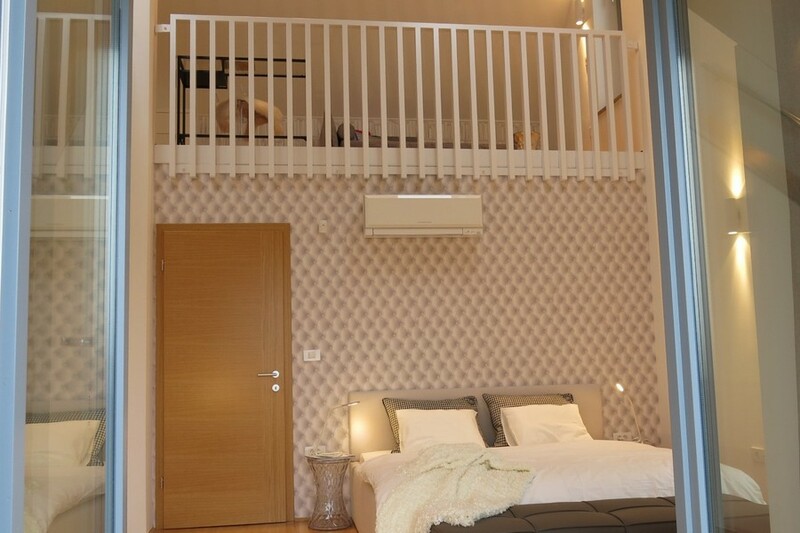 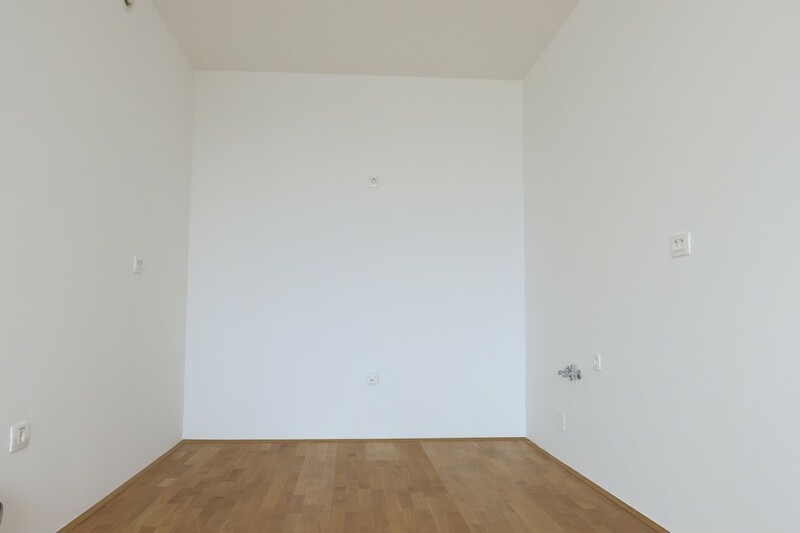 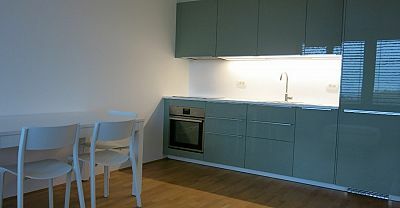 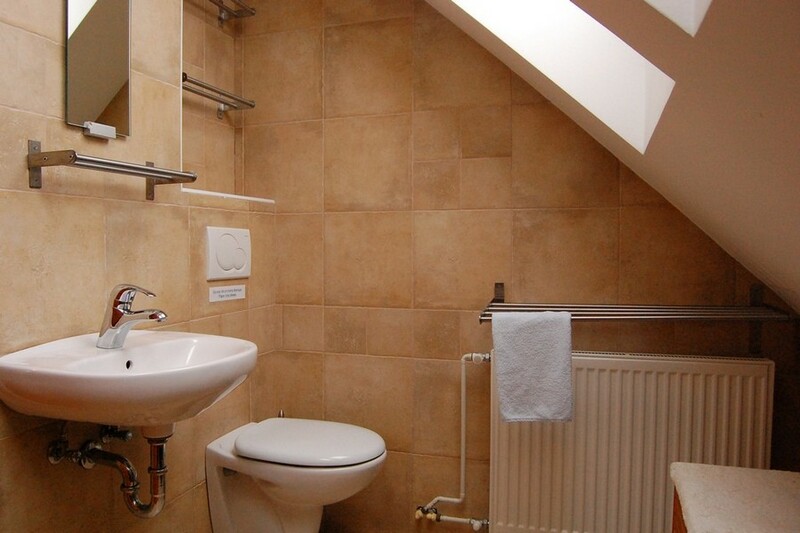 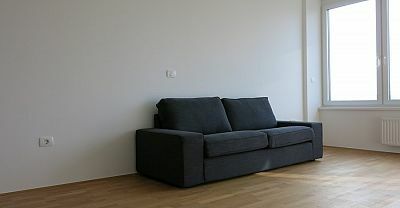 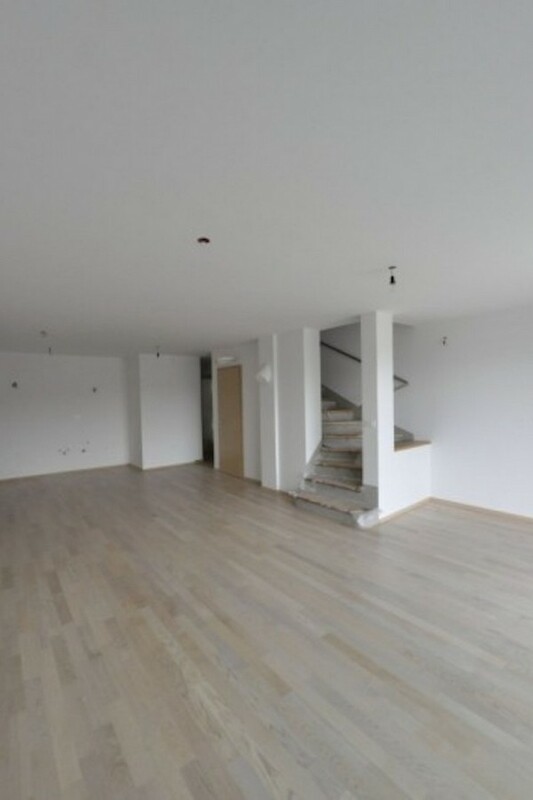 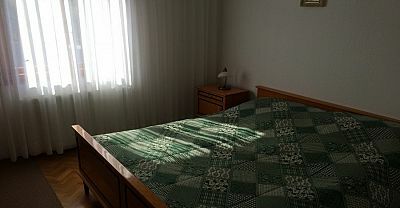 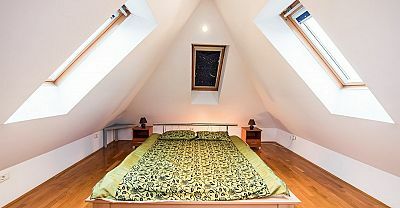 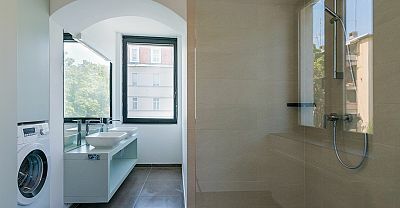 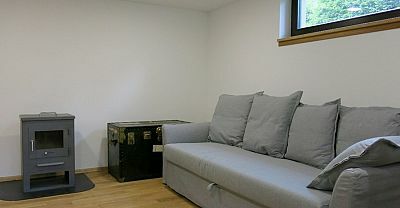 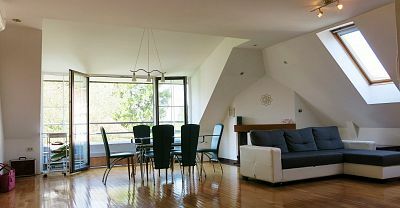 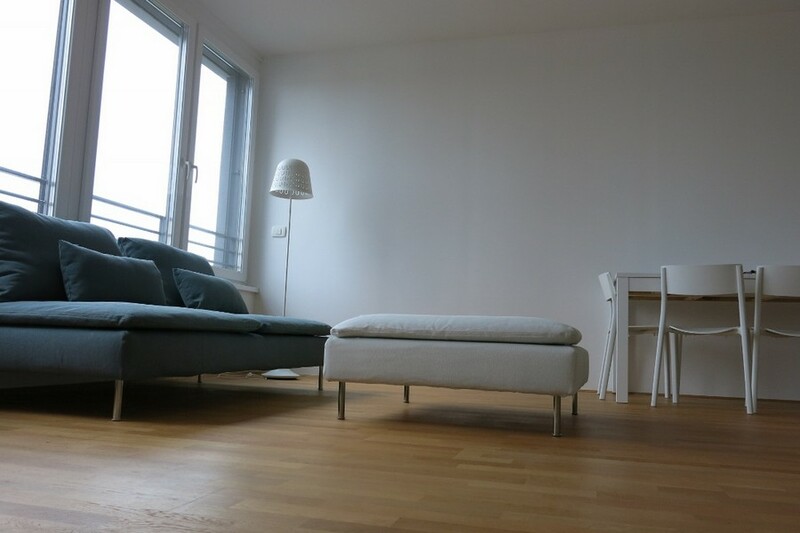 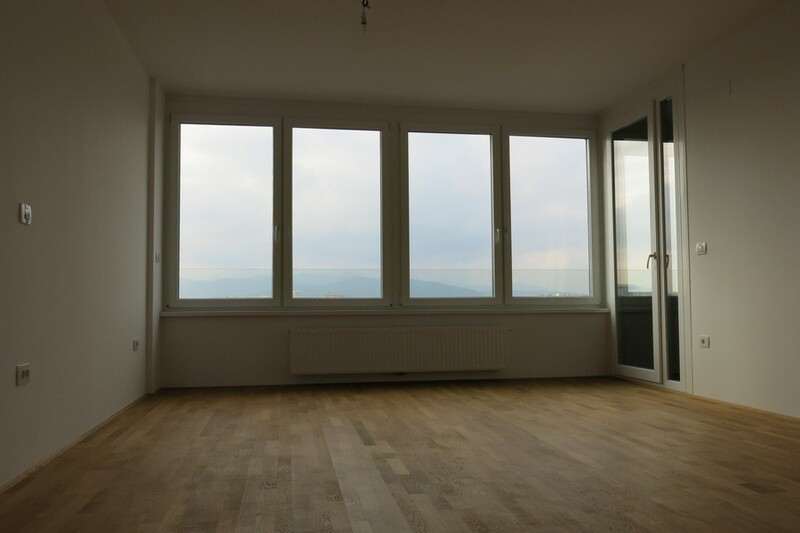 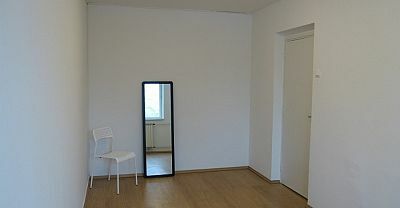 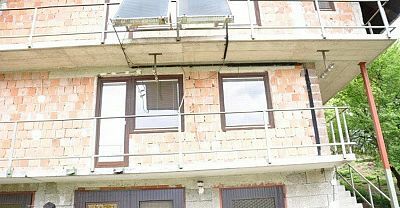 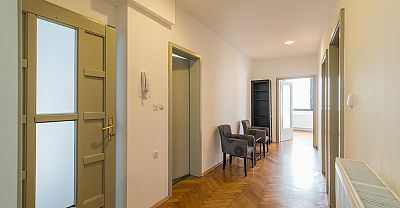 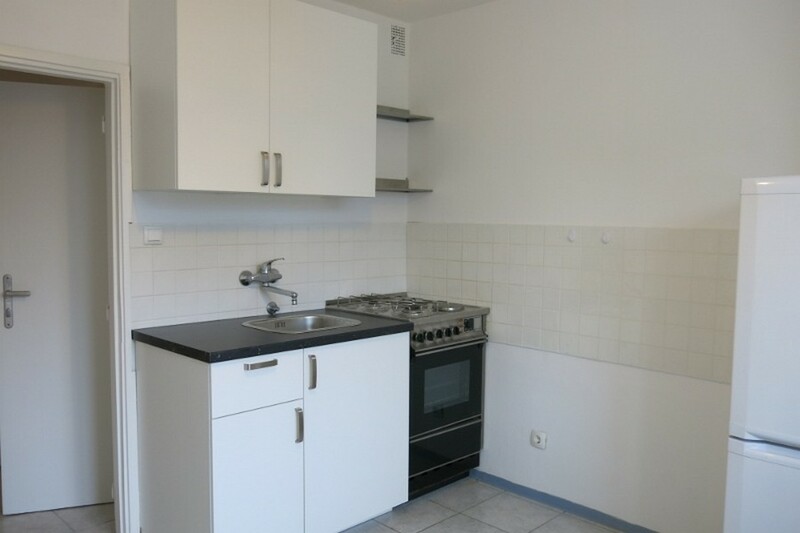 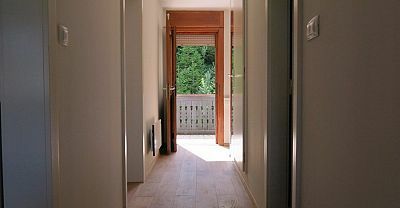 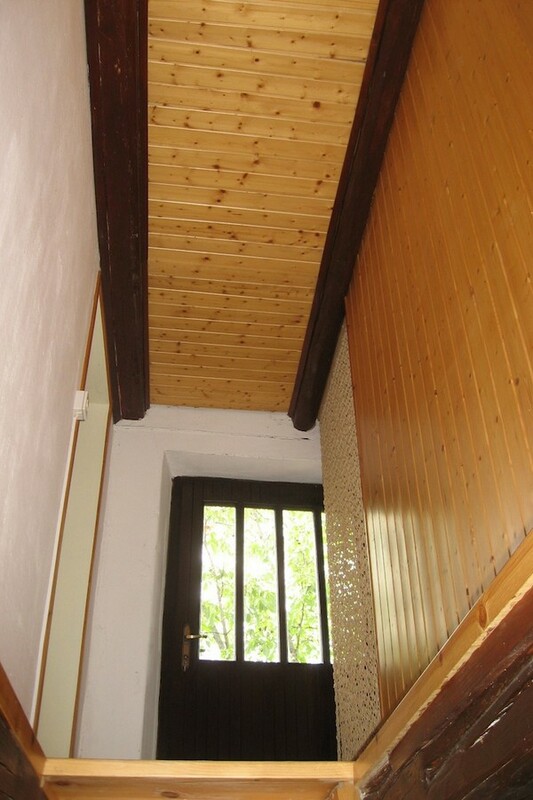 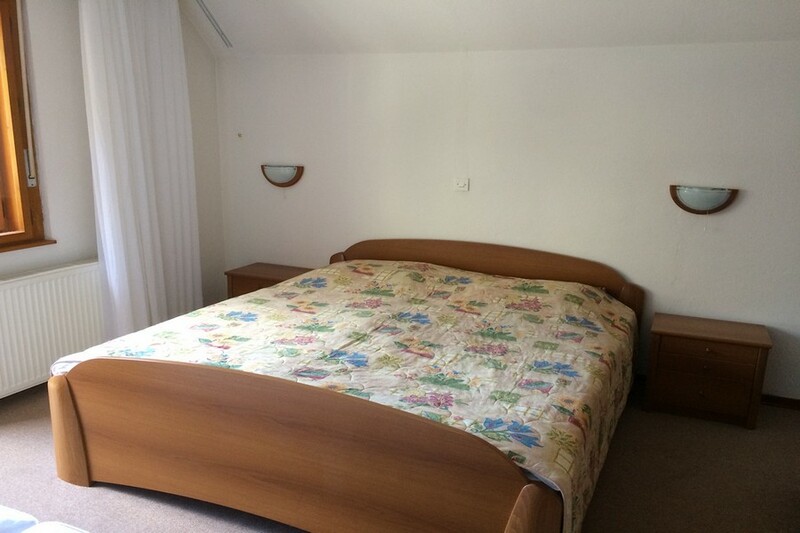 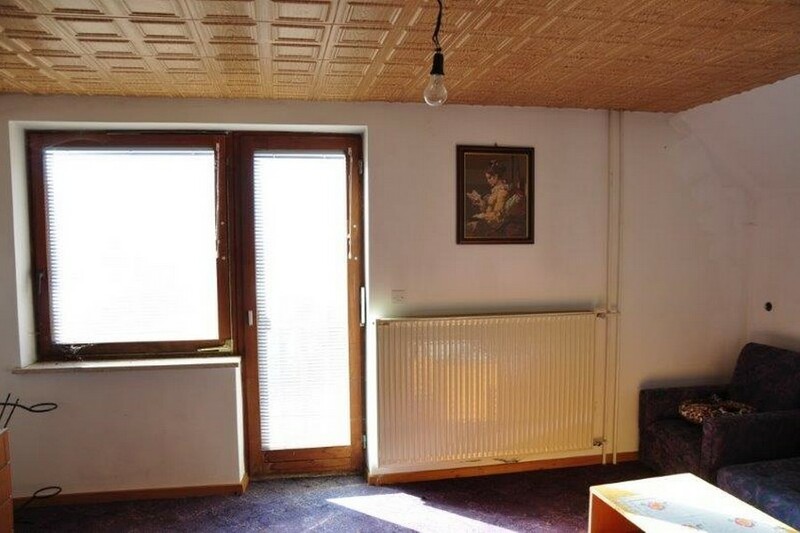 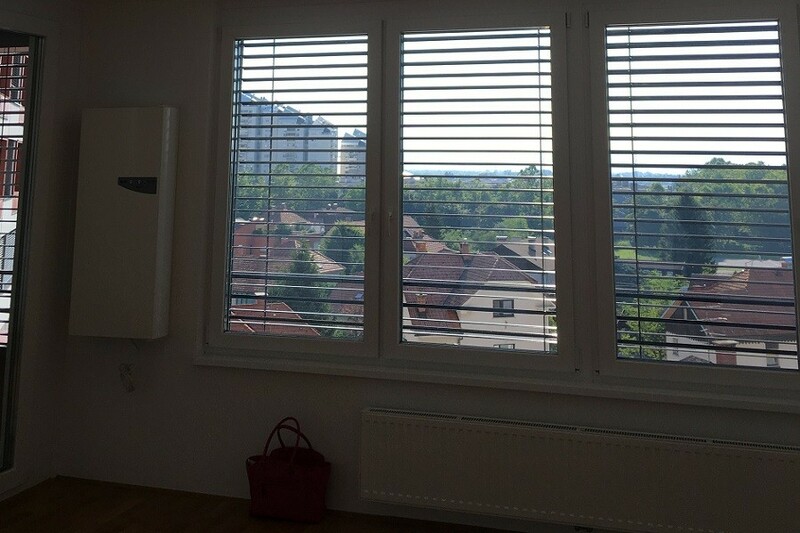 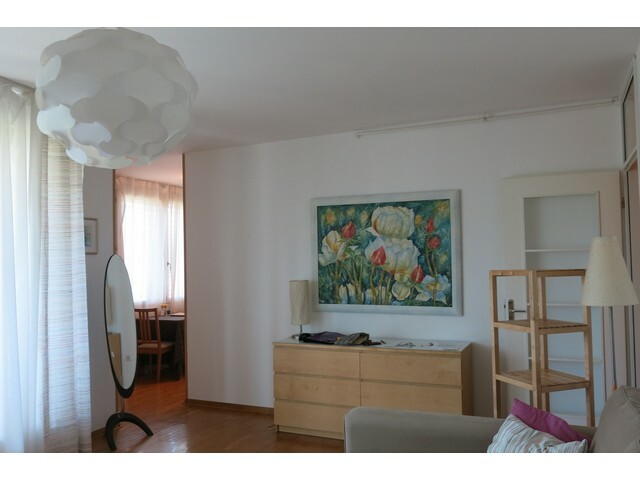 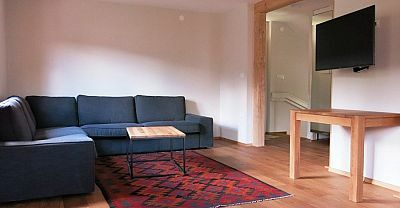 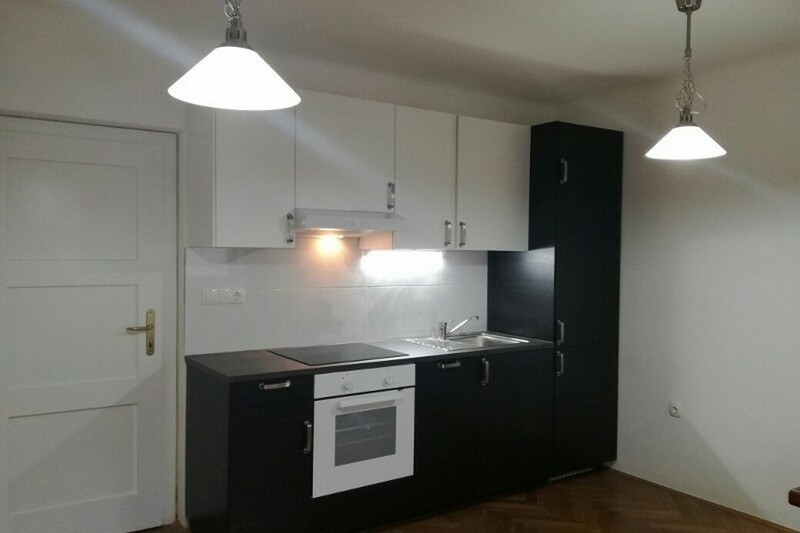 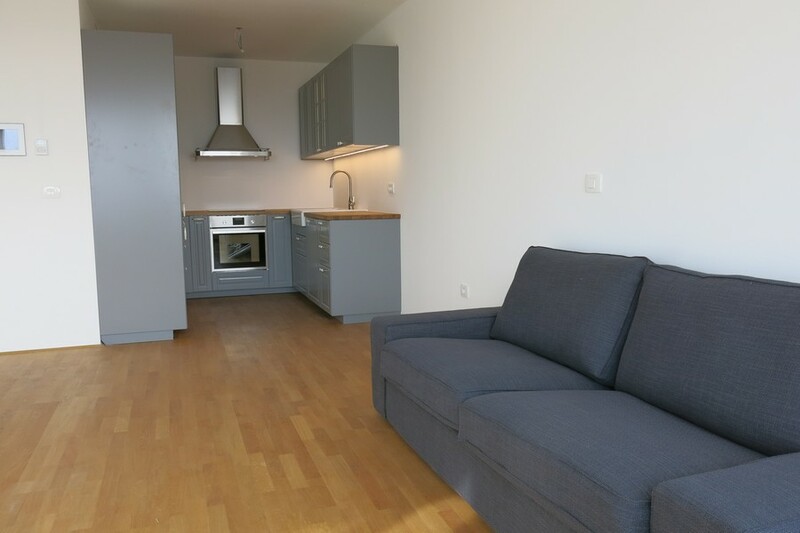 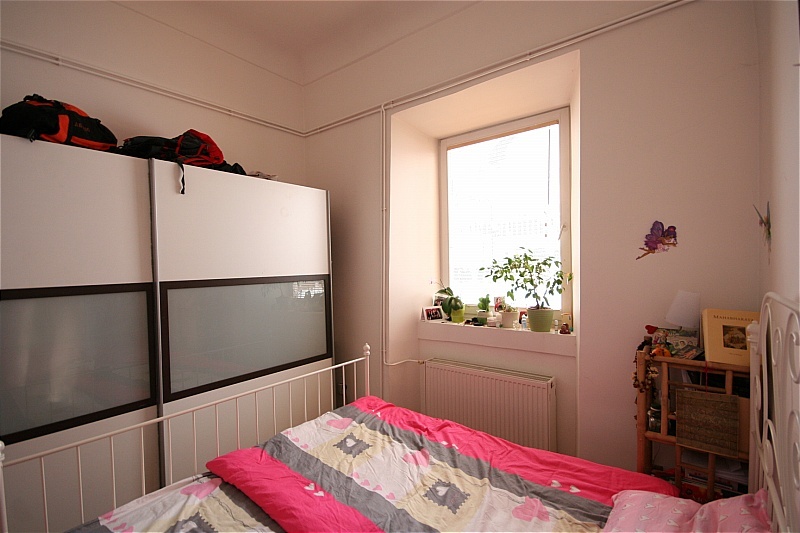 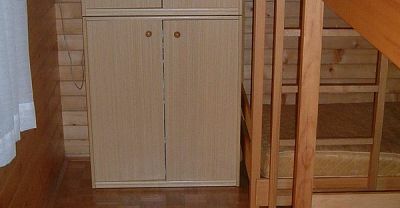 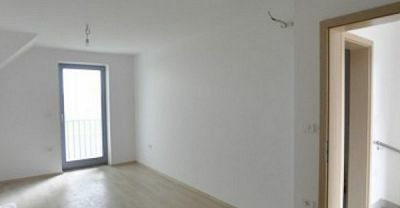 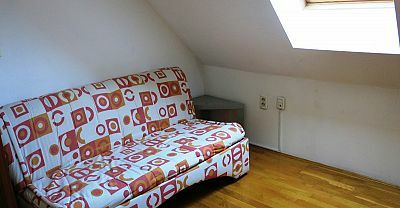 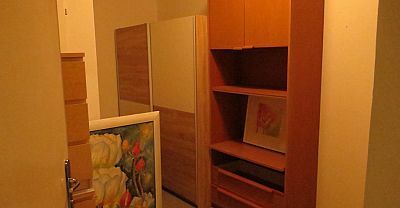 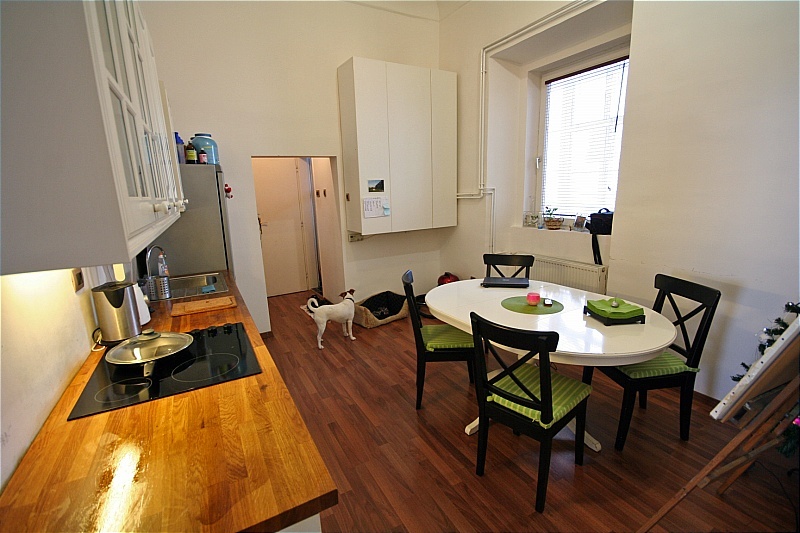 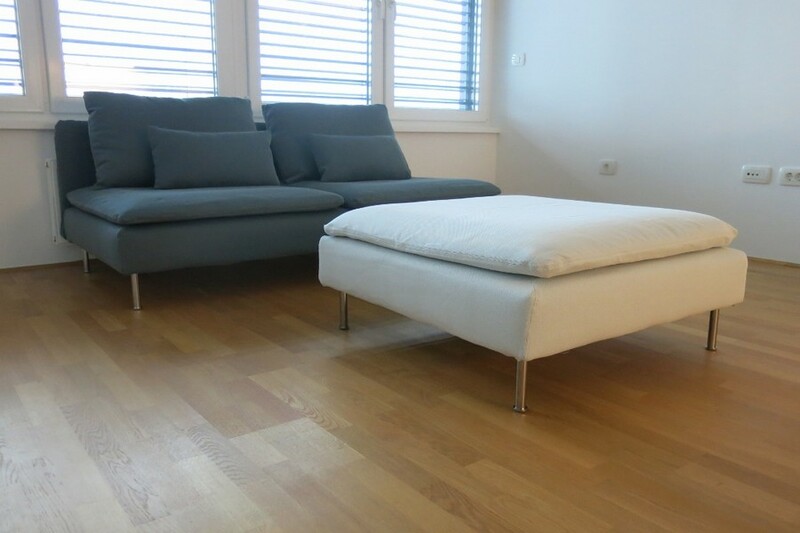 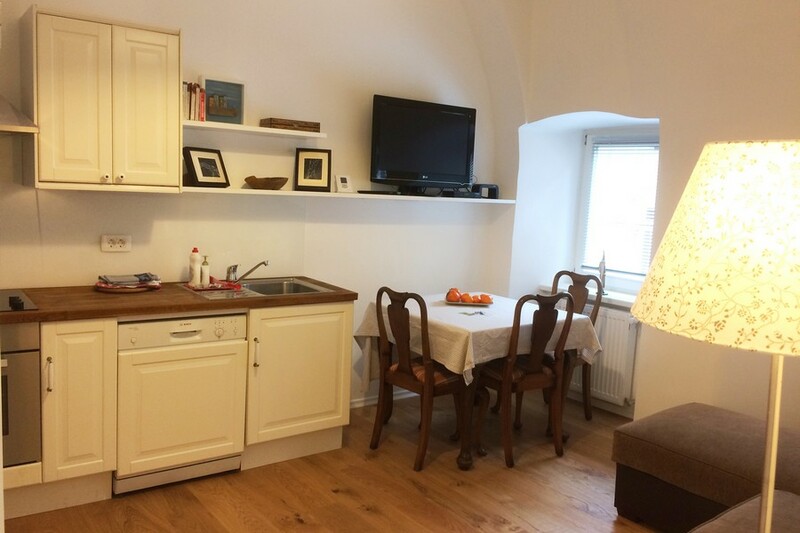 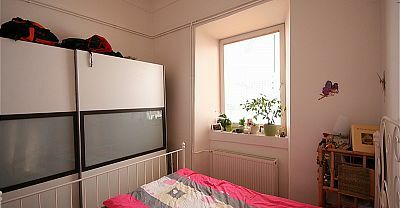 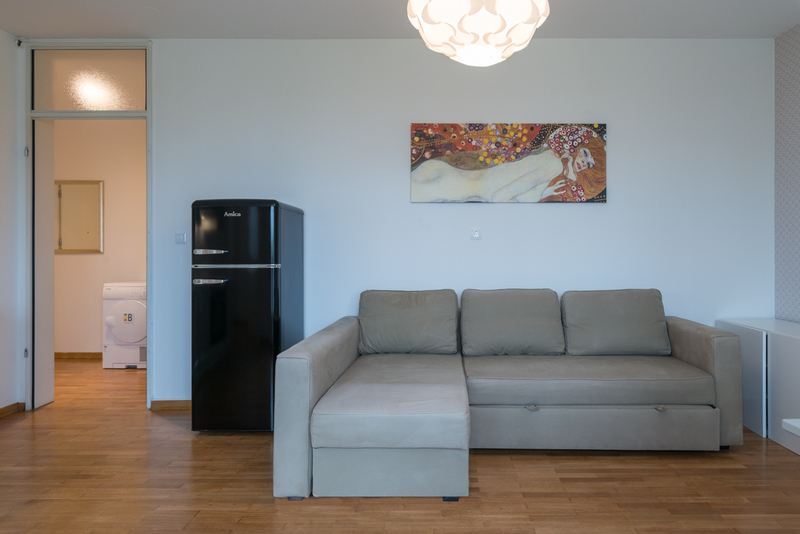 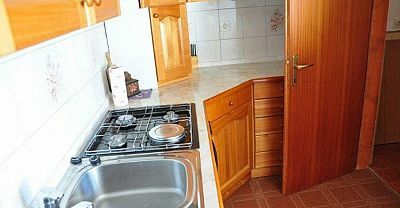 In this instance a client bought a good condition long term rental apartment in Ljubljana as an investment. 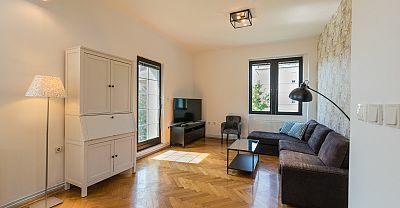 It needed a quick refresh to maximise the rental potential with the objective to get it on the rental market as soon as possible. 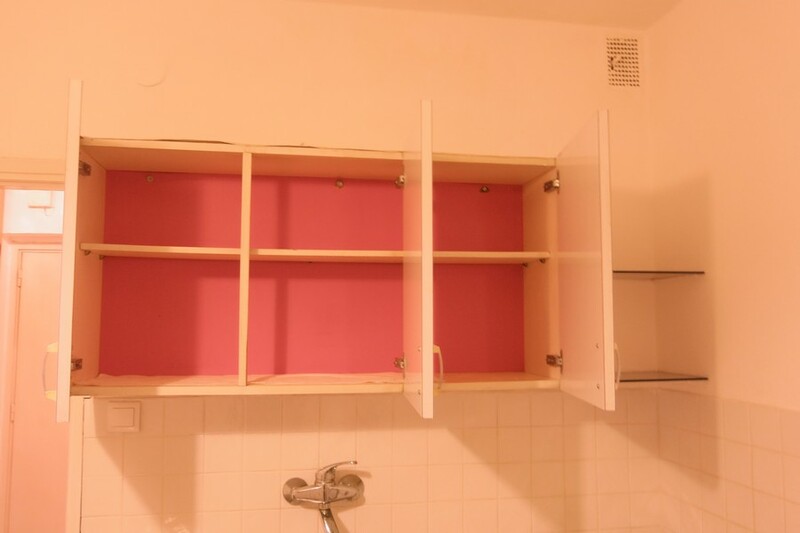 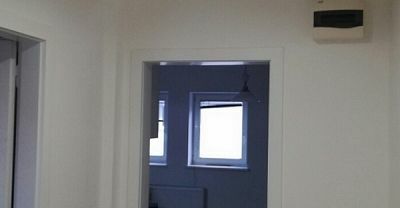 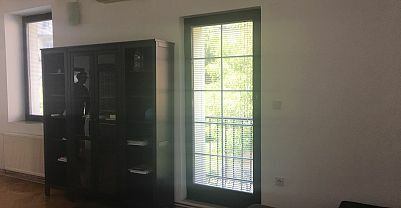 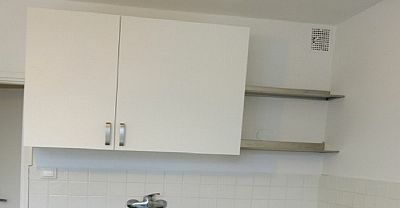 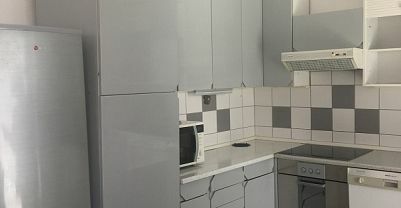 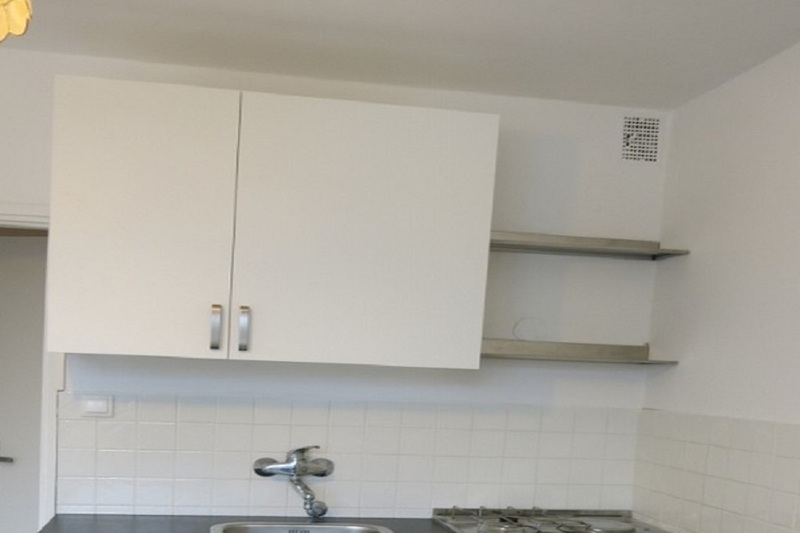 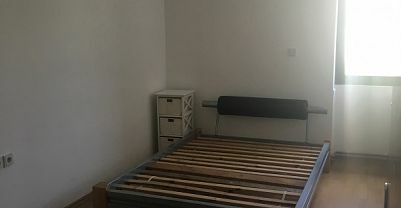 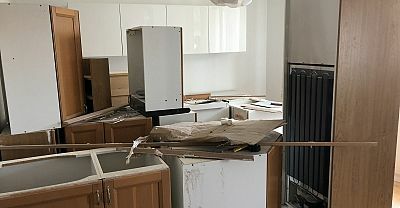 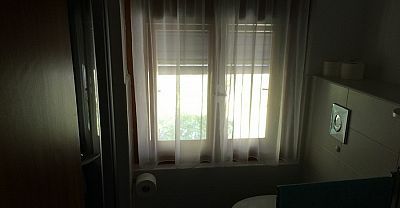 We worked with a partner builder to repaint the apartment, make good the windows, disposed of the old kitchen with a new Ikea one purchased and installed. 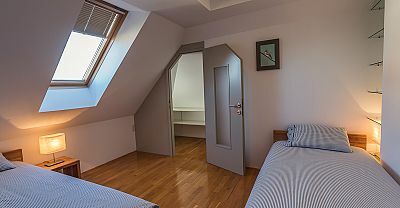 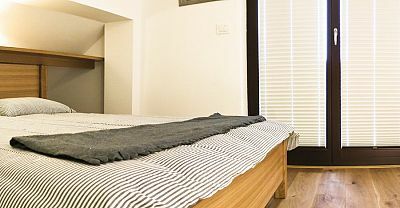 The works were completed in just a couple of weeks to create a perfect rental property for students or young professionals. 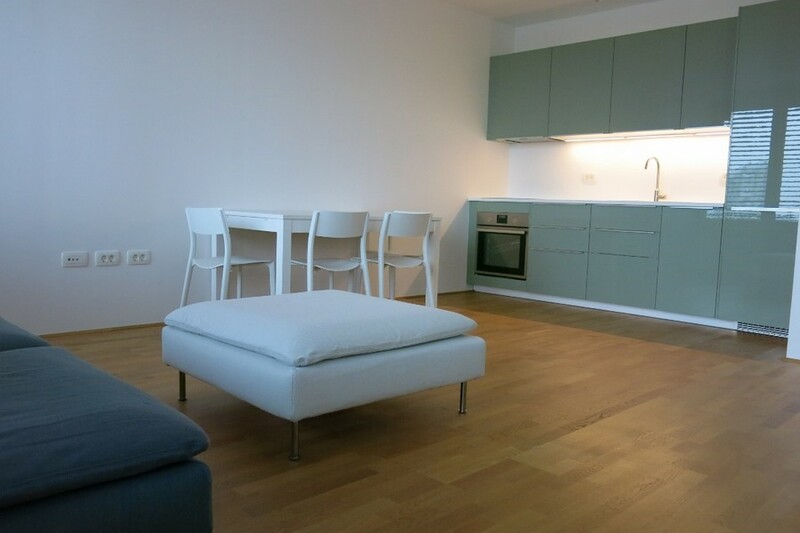 We sourced this apartment for a non-resident client in this impressive hi tech, super ecological apartment build in the main business district of Ljubljana. 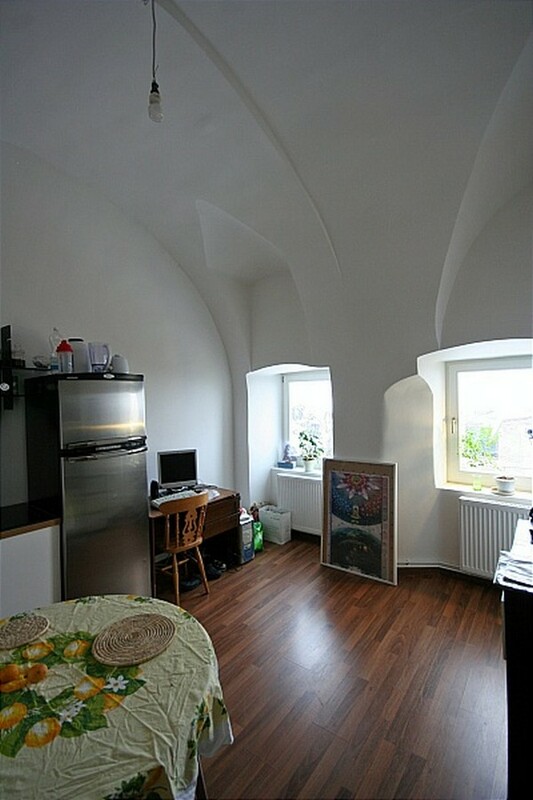 The client purchased the apartment in this prestigious building as an investment for long term rental. 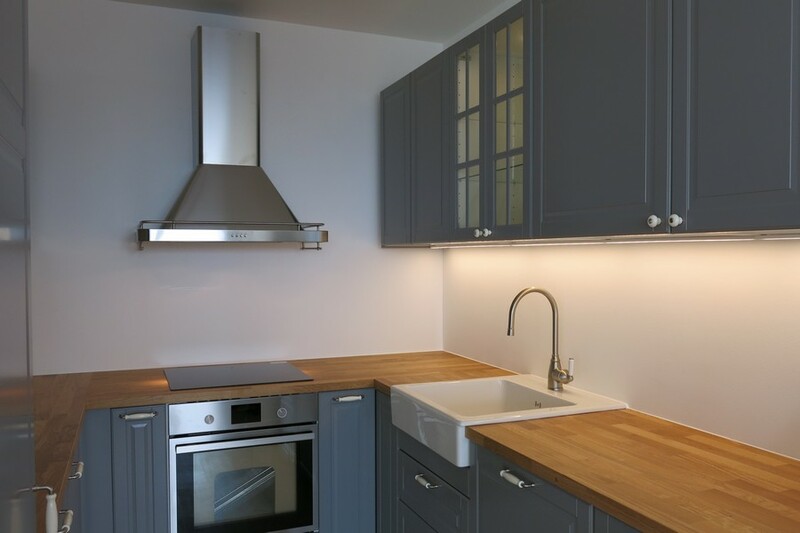 We therefore needed to keep a realistic budget for the fit out to ensure a strong rental yield, whilst doing justice to the premium location / finish of the apartment. 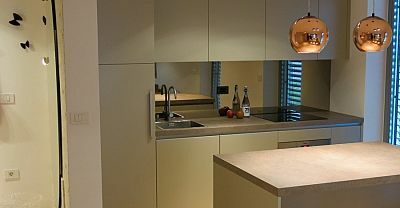 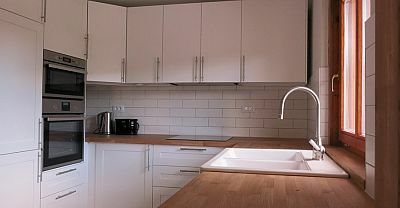 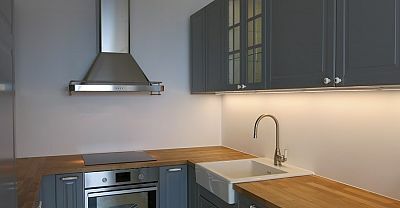 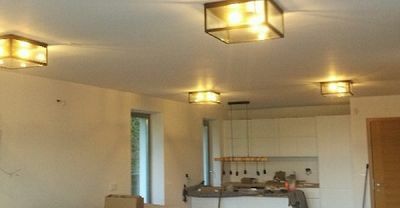 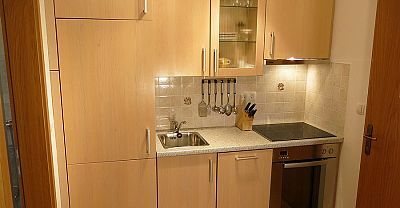 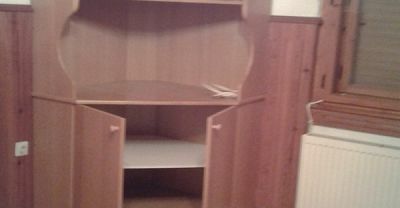 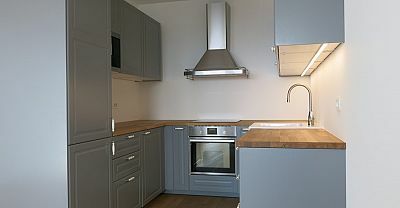 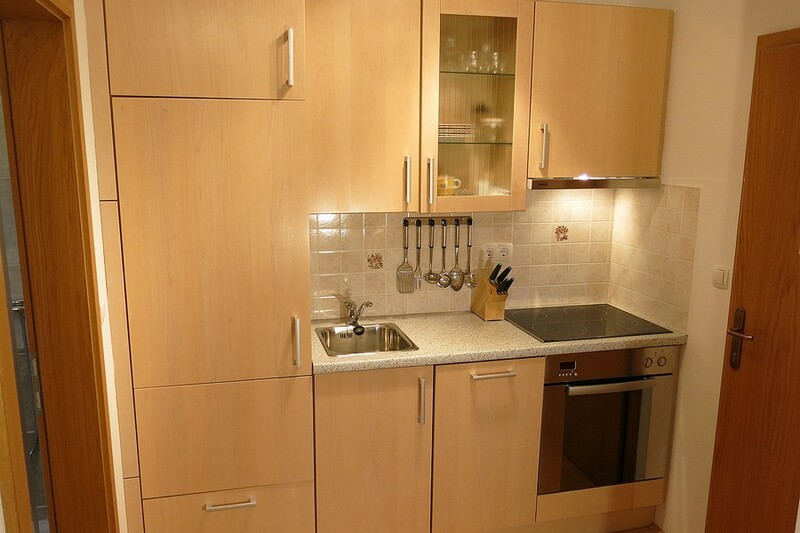 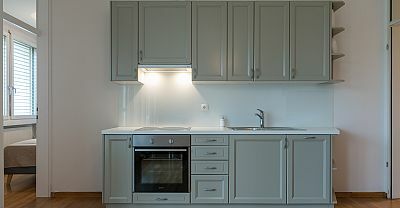 We combined a good quality Ikea kitchen with some solid wood carpentry and various made to measure fittings including designer lighting and bespoke bedroom fit out. 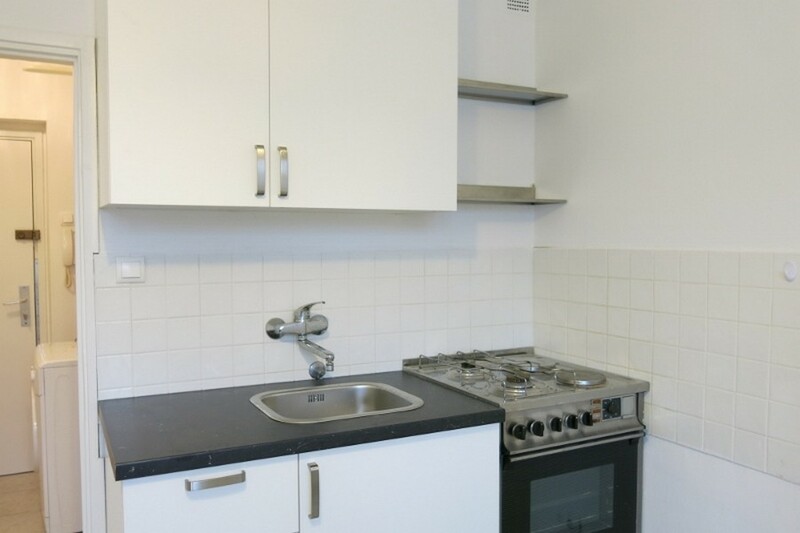 The property was quickly rented and achieved excellent yield and tenant stability. 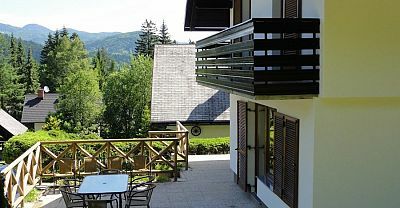 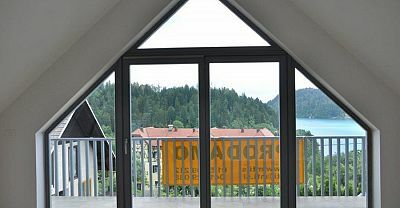 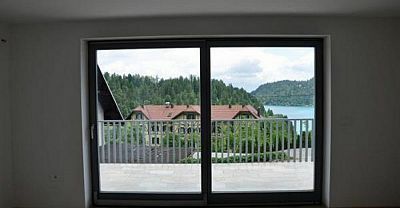 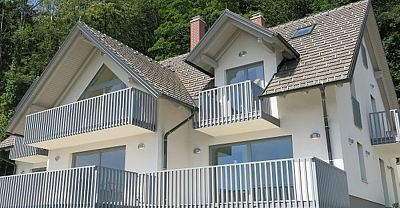 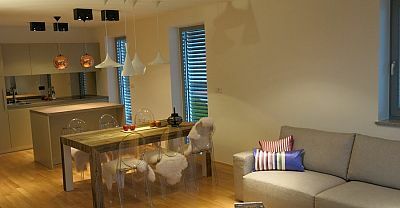 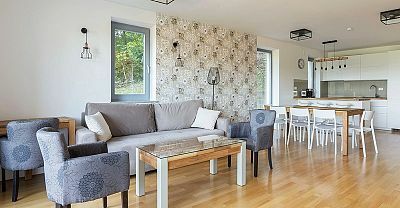 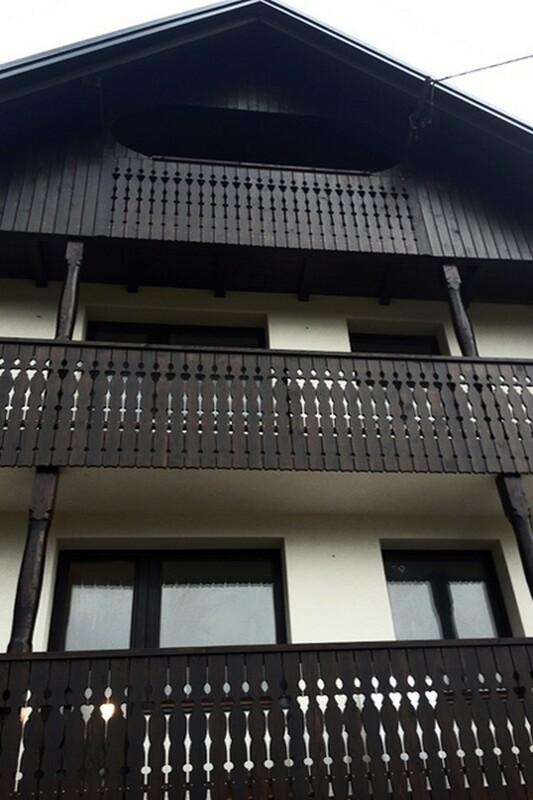 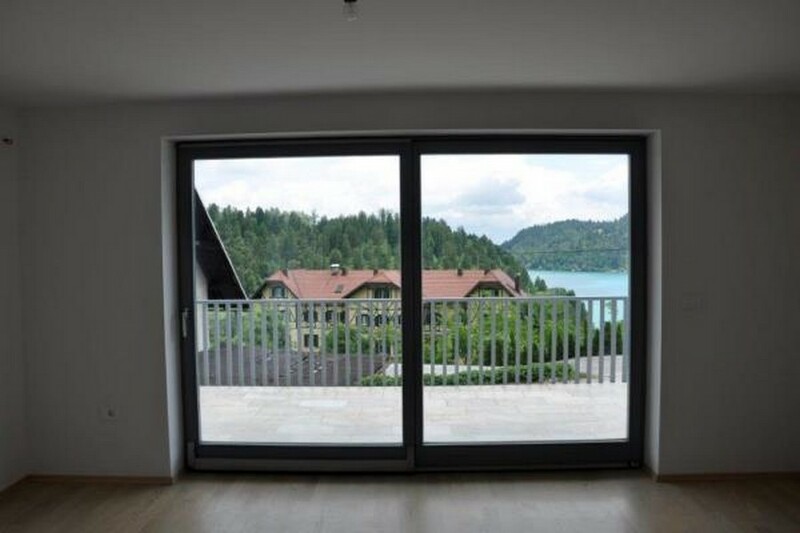 We sold this high end apartment above Bled to a client from the Ukraine with a number of investments in Slovenia. 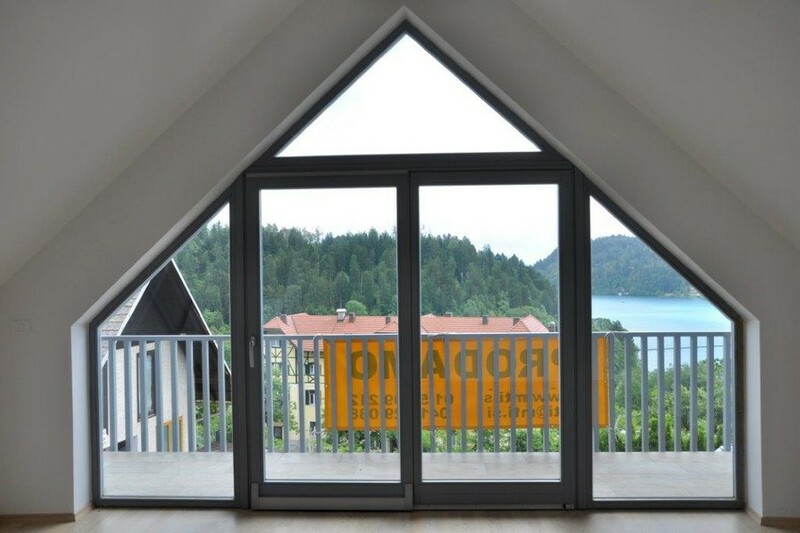 The location of this property overlooking Lake Bled is extremely prestigious and the spacious interior spaces were crying out for a high end fit out to create a unique Bled rental home. 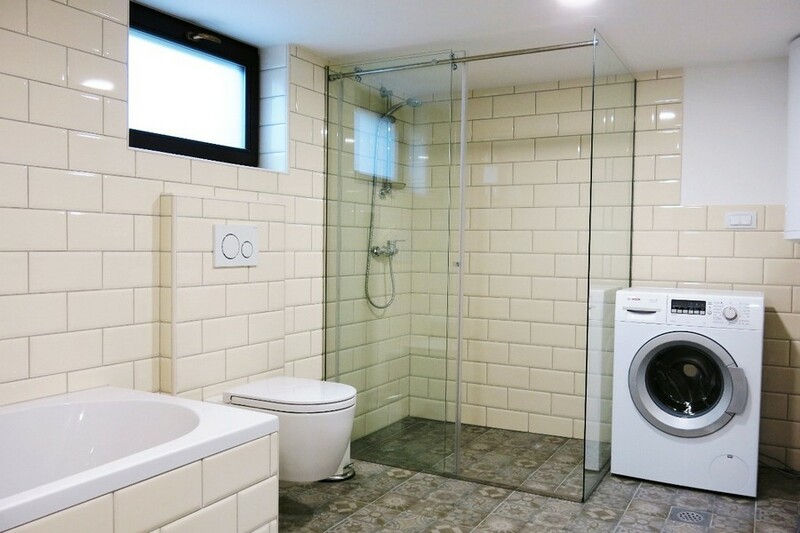 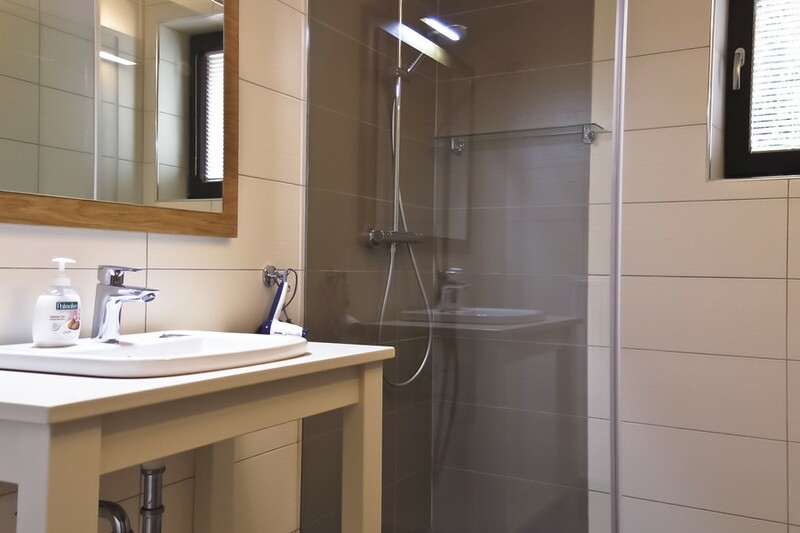 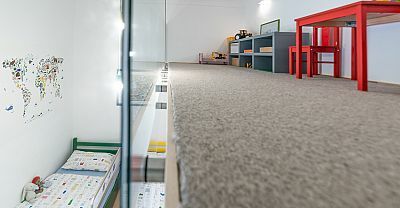 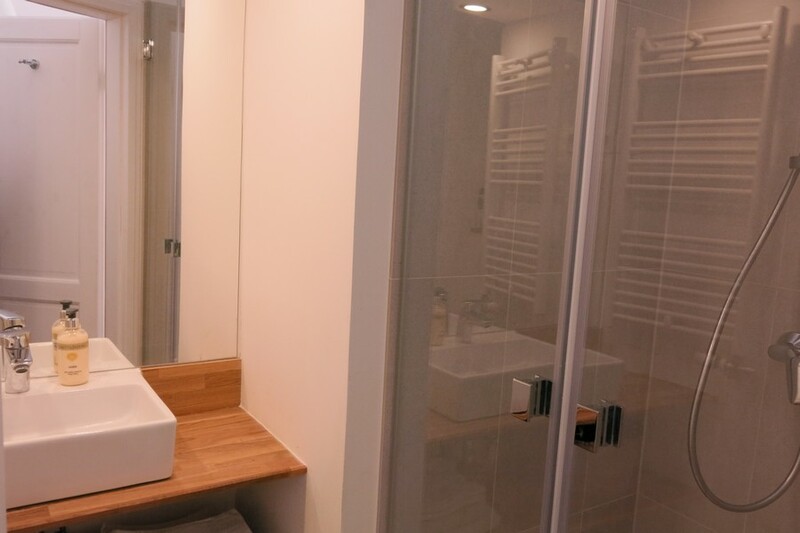 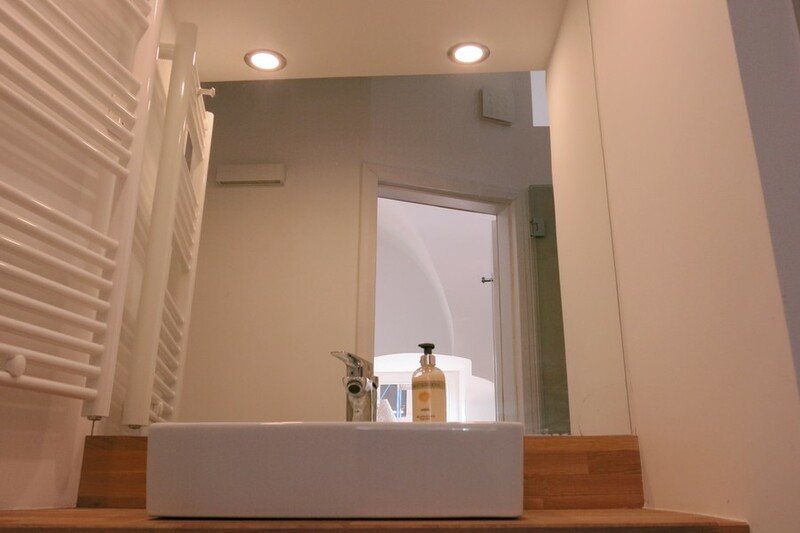 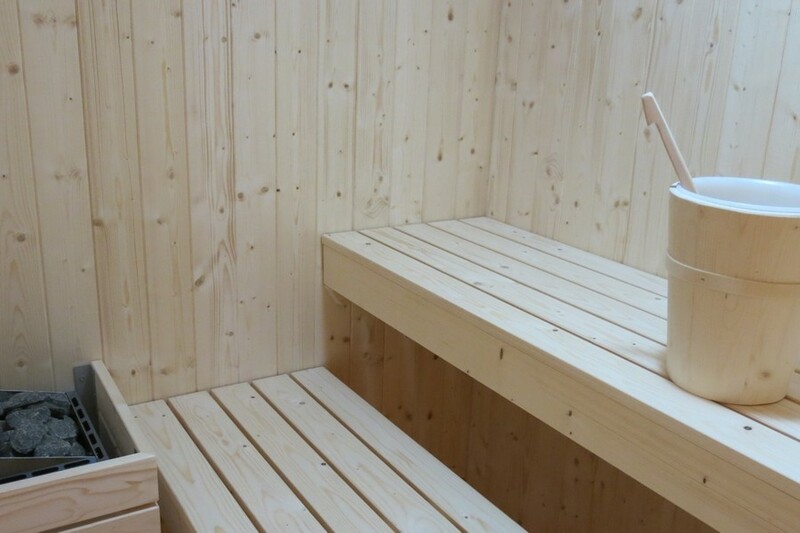 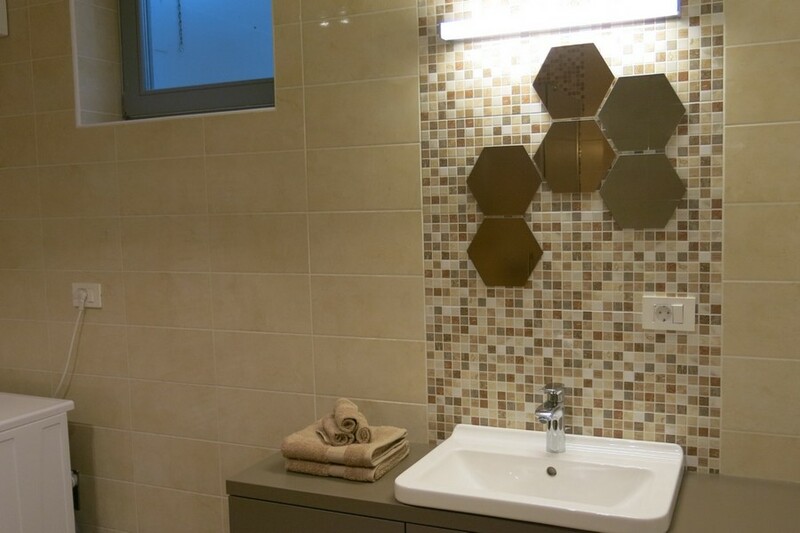 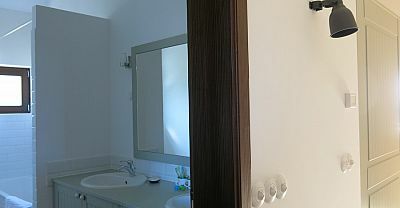 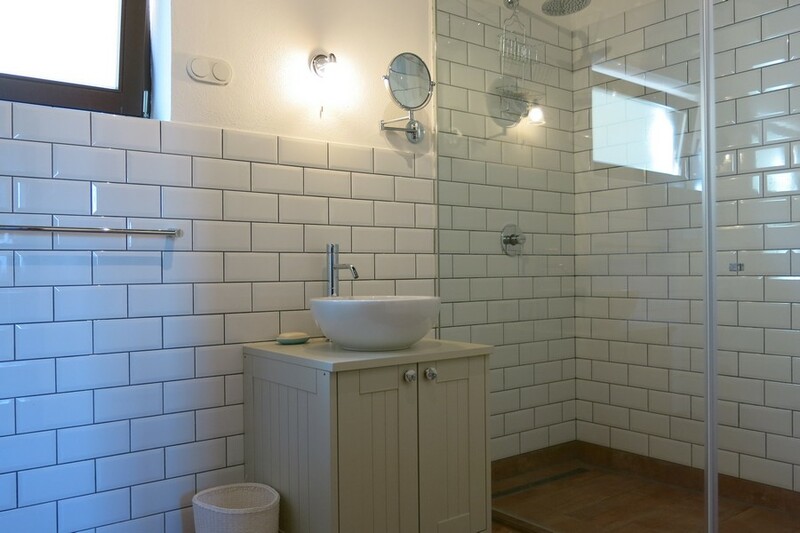 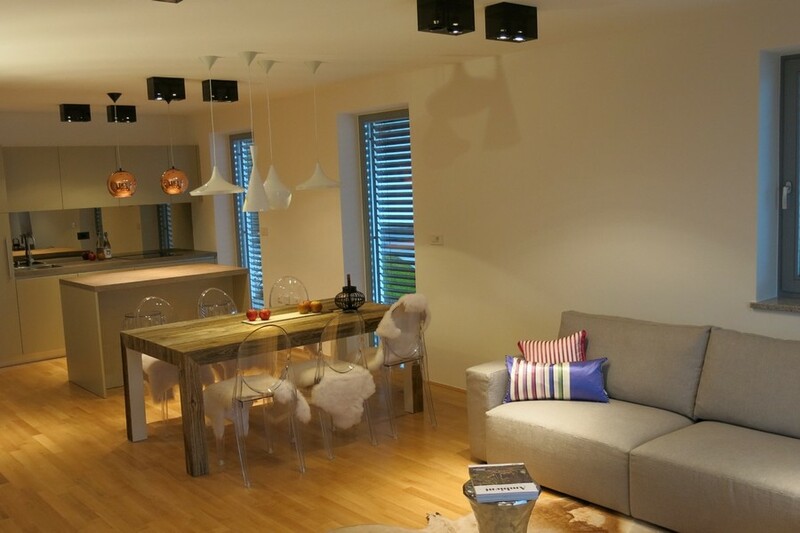 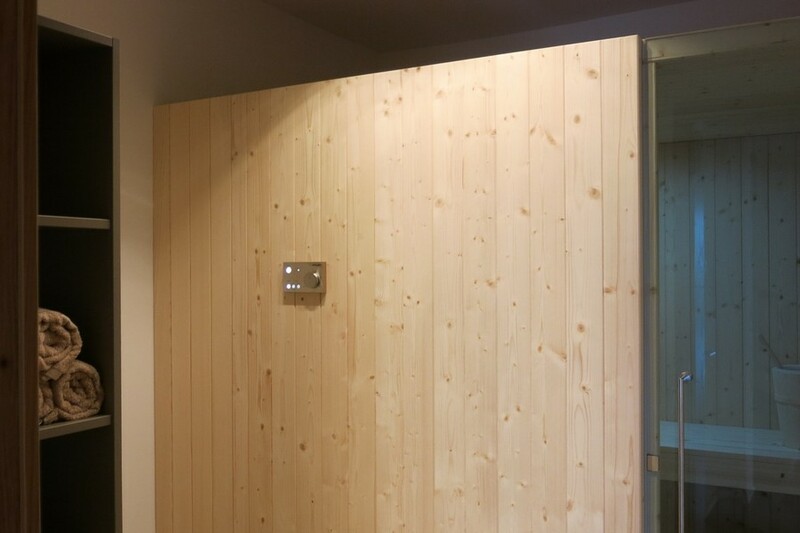 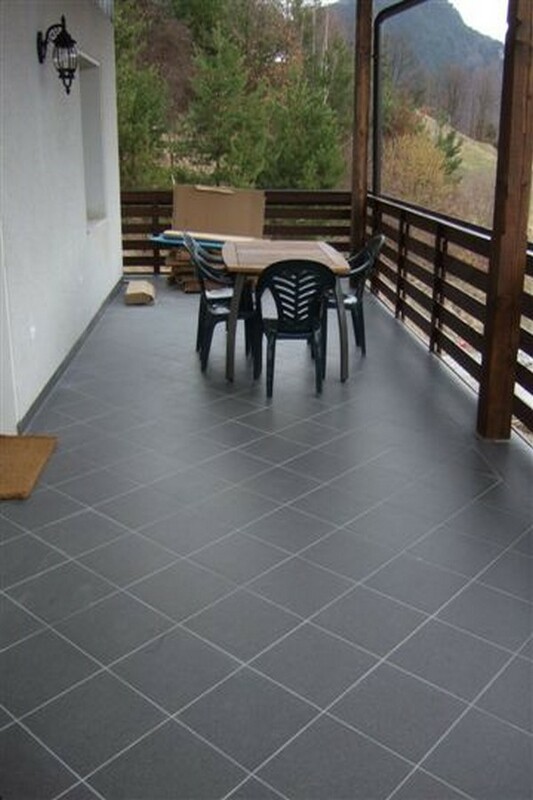 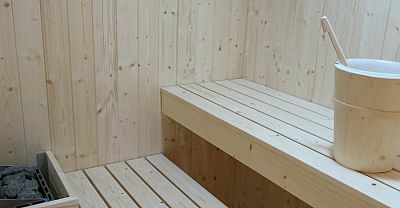 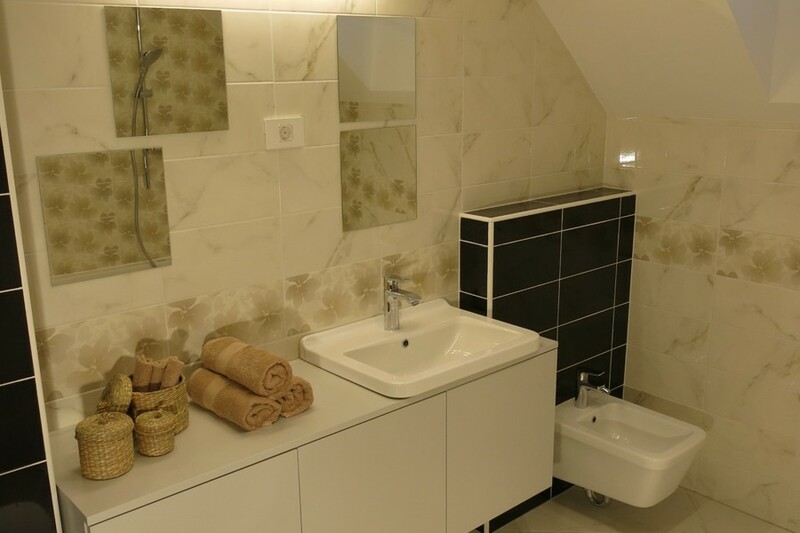 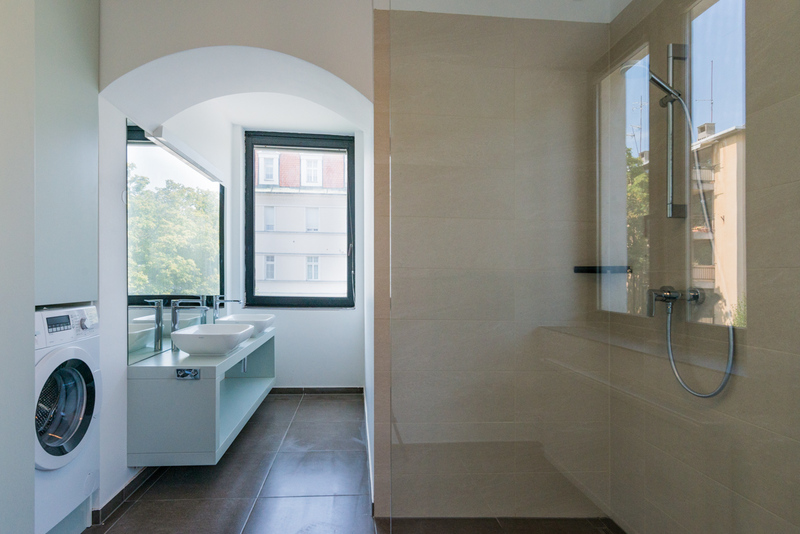 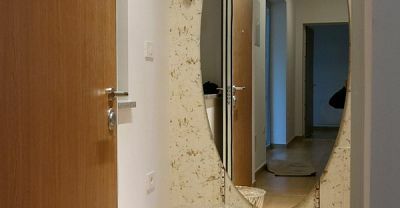 Think Slovenia worked with an interior designer partner involved and the fitting involved changing the tiled floor to polished concrete, moving switches and lightings, installing the kitchen and sleek made to measure furnishings, painting the apartment and installing the sauna. 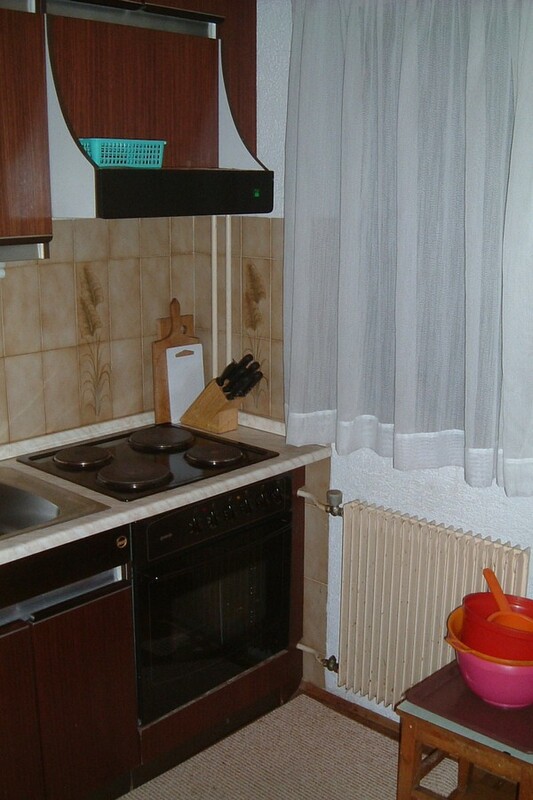 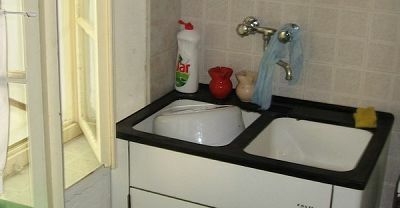 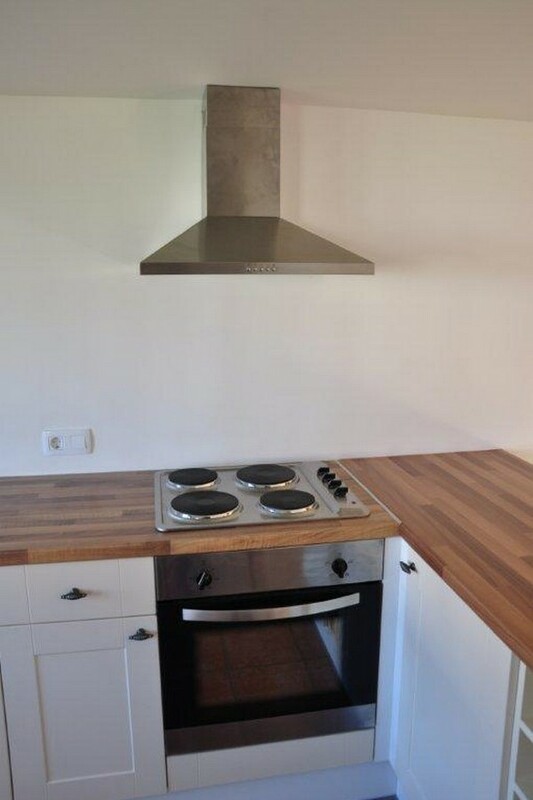 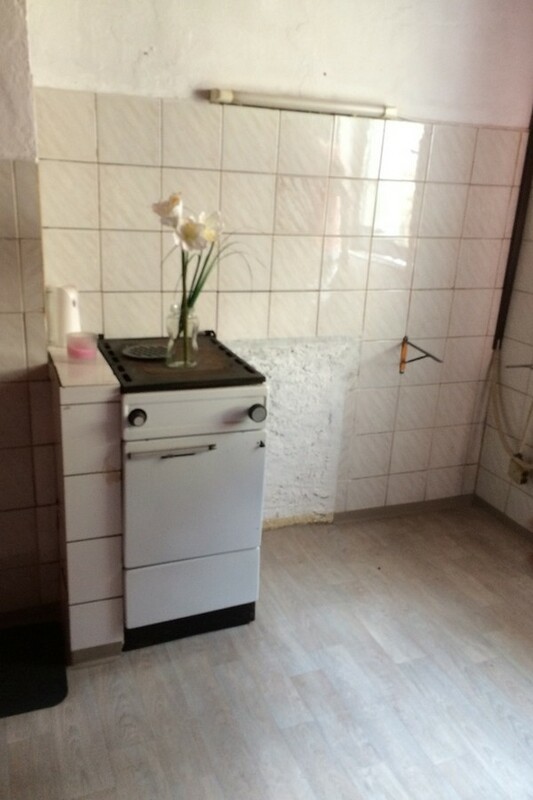 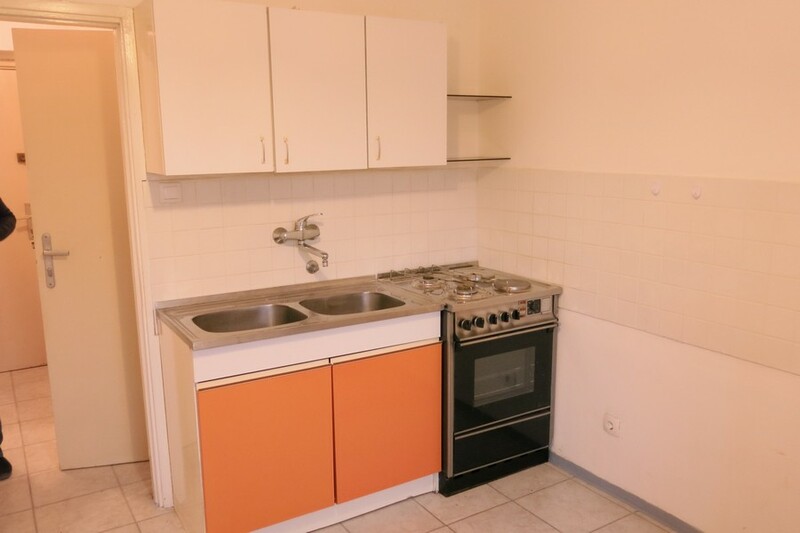 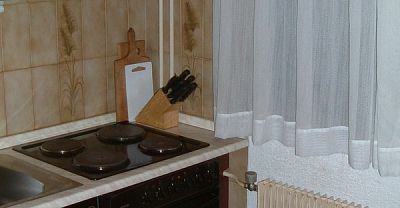 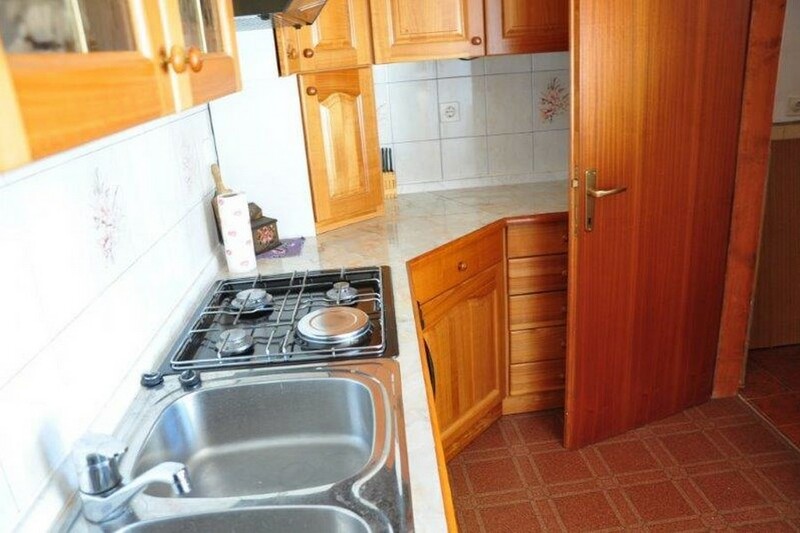 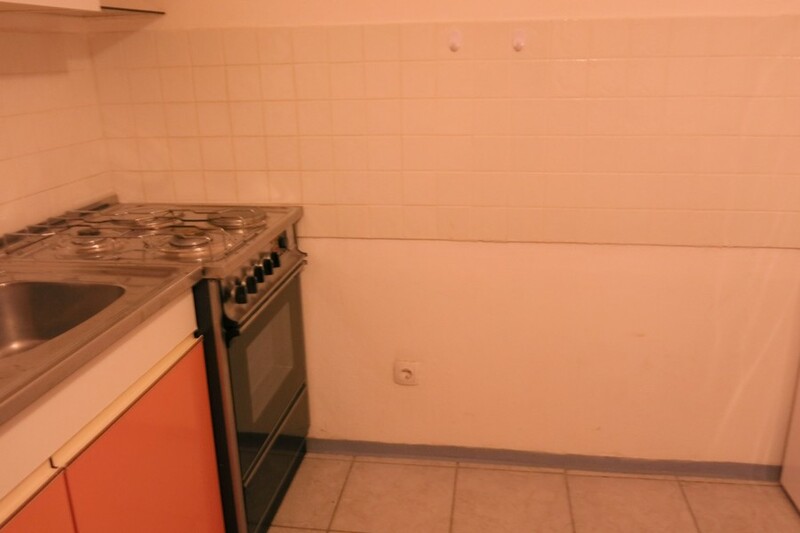 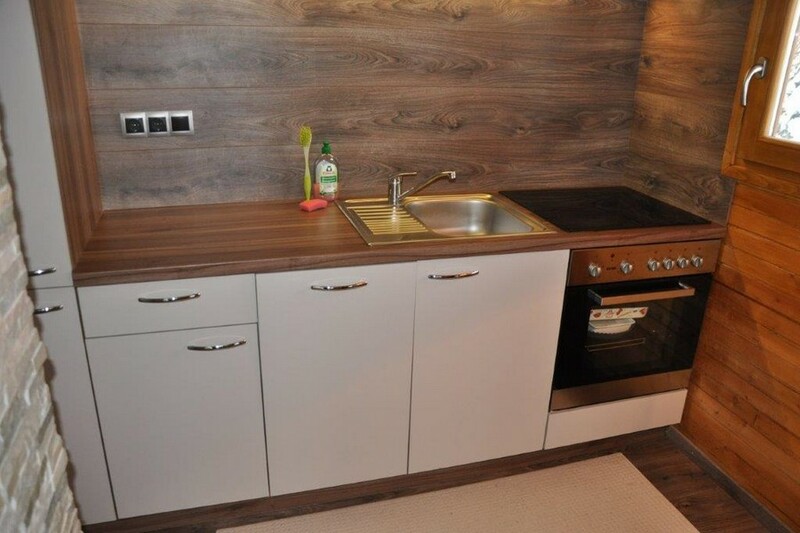 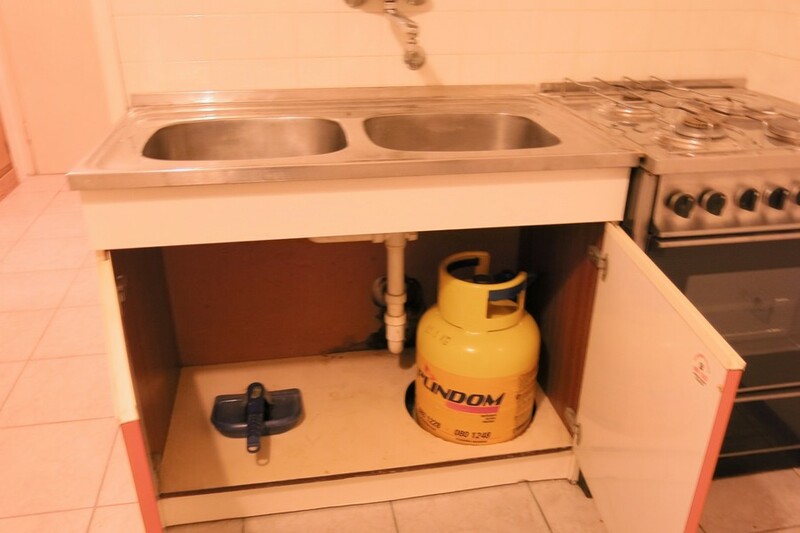 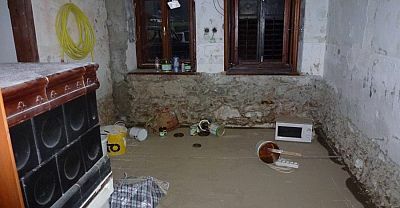 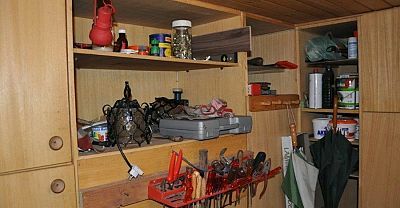 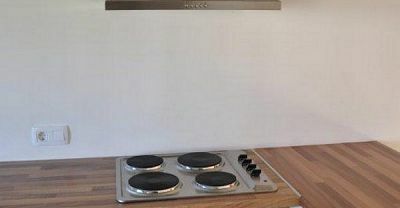 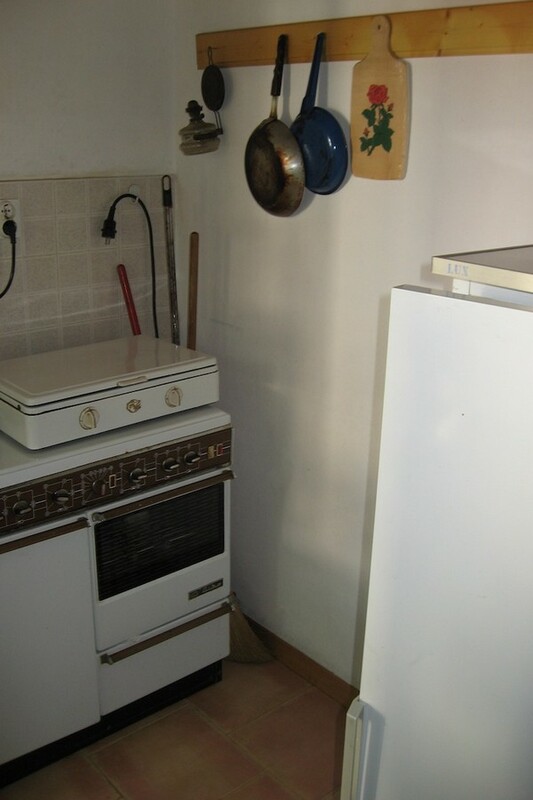 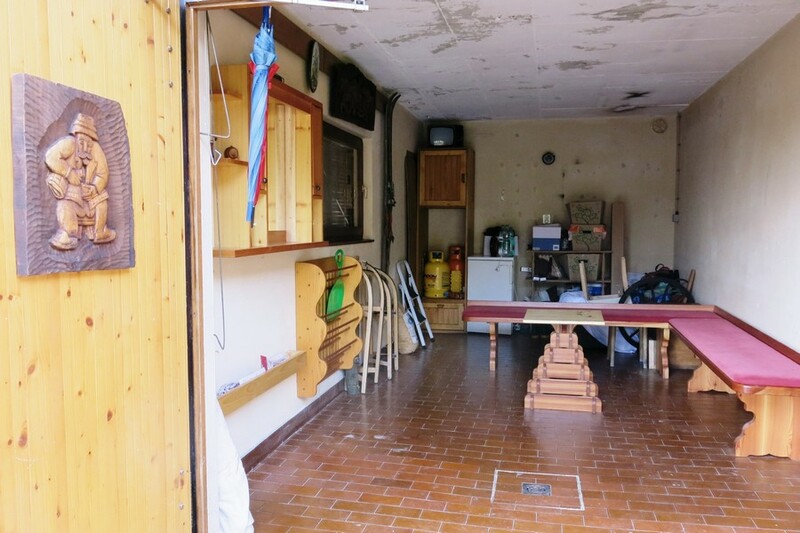 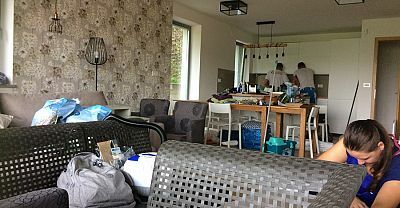 Think Slovenia then took care of the final touches of equipping the property with everything from pots, pans and cutlery to comply with the relevant Slovenian regulations about tourist rental. 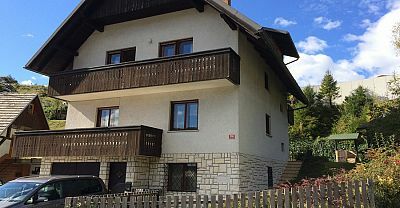 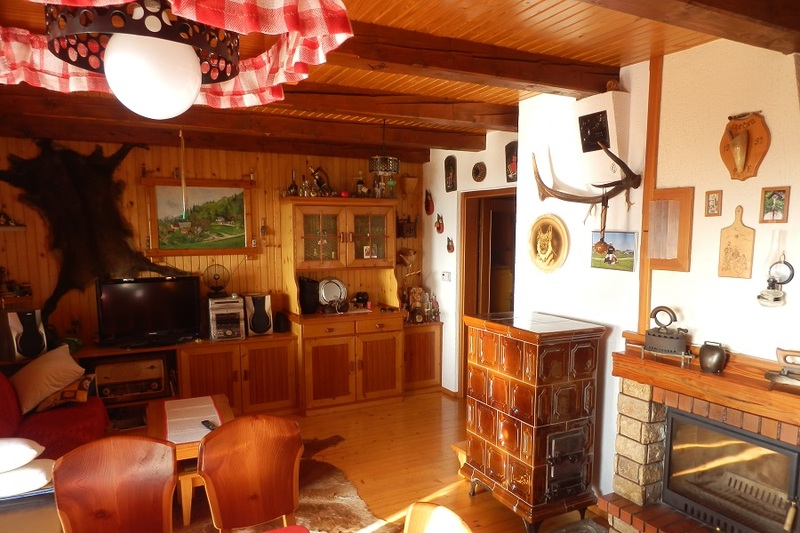 The owners of this charming ski chalet near Krvavec ski resort purchased their holiday home via Think Slovenia after an exhaustive search of the Gorenjska region. 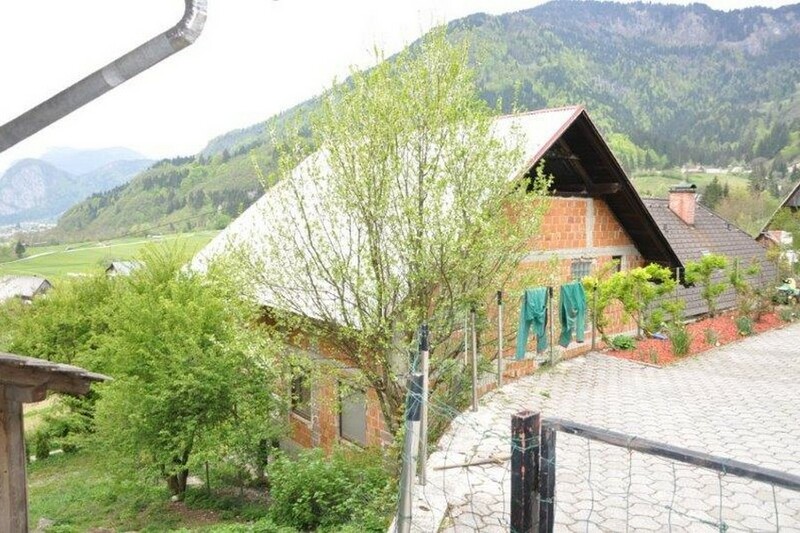 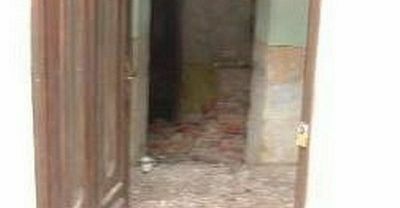 They wished to use the house for themselves and also rent it out for tourism rental. 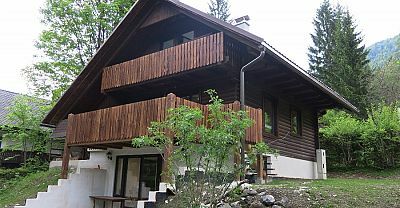 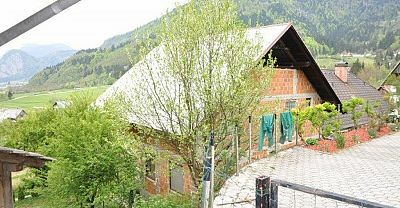 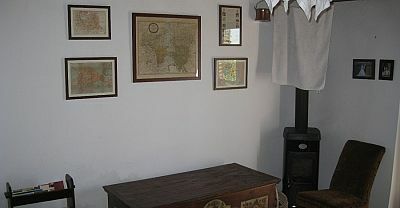 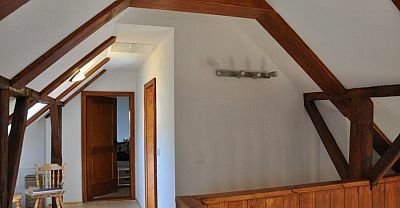 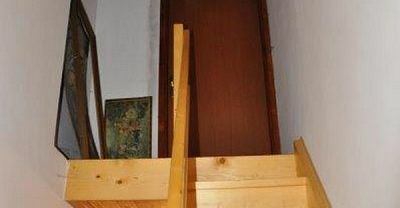 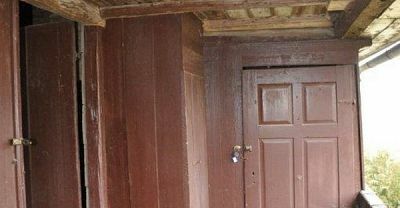 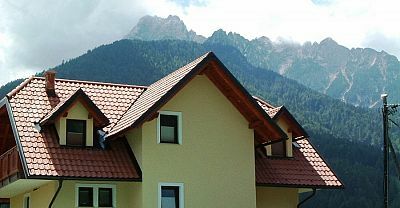 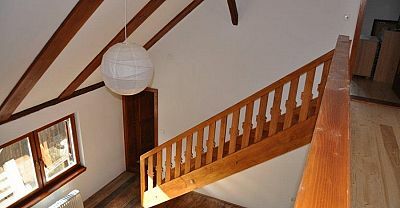 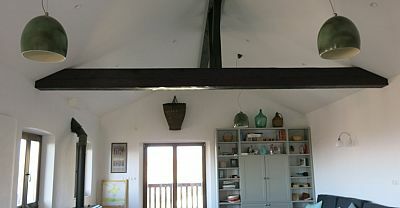 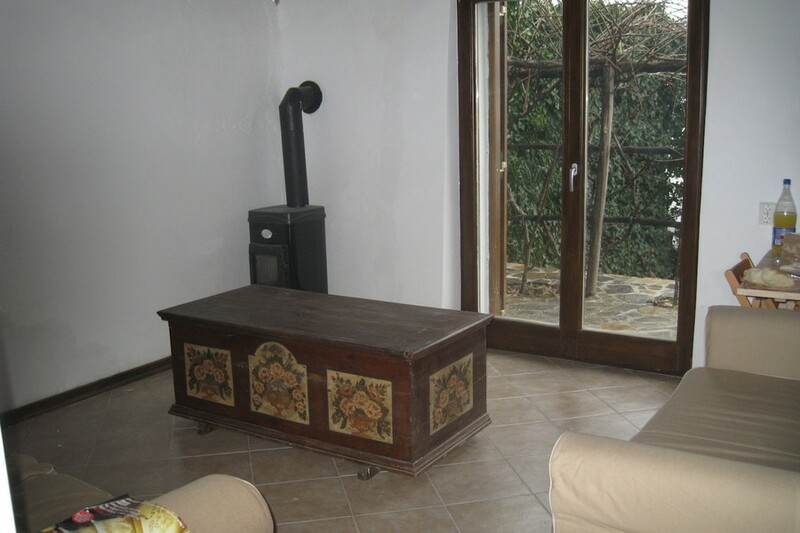 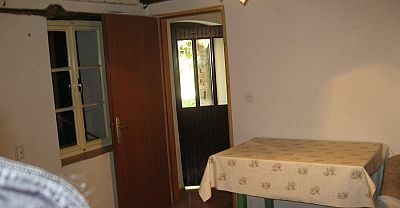 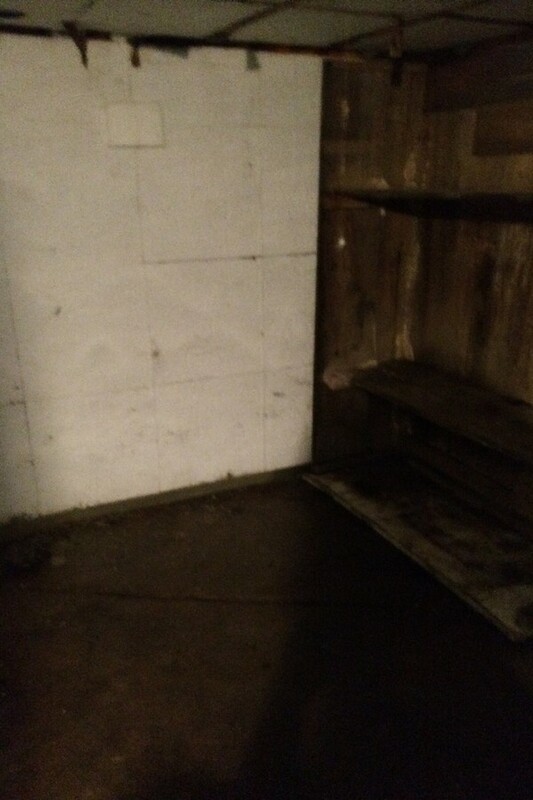 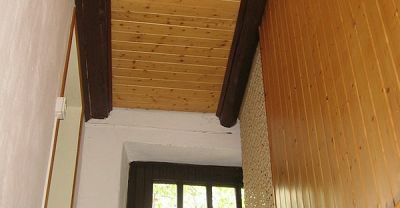 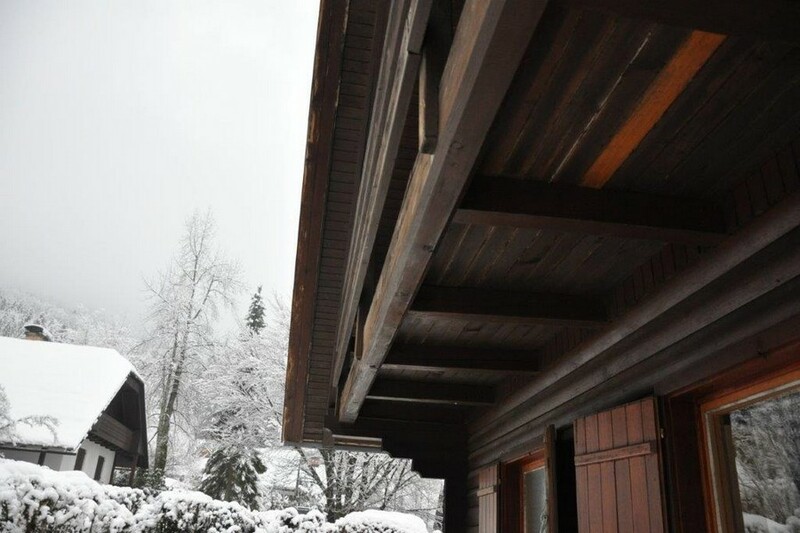 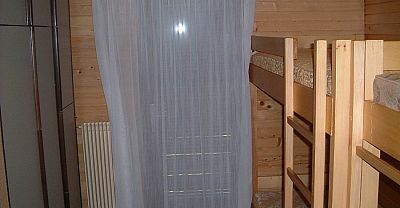 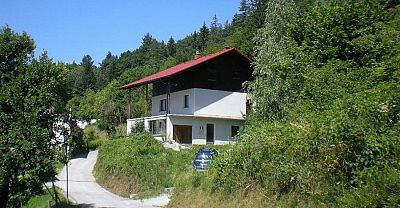 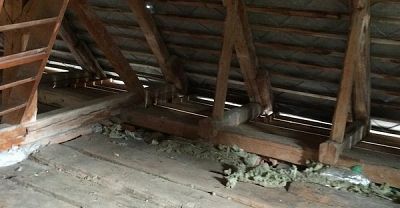 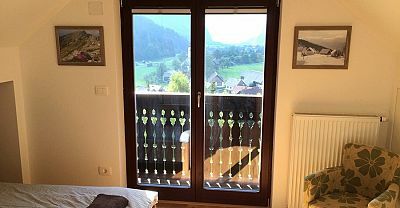 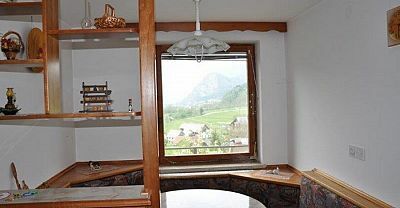 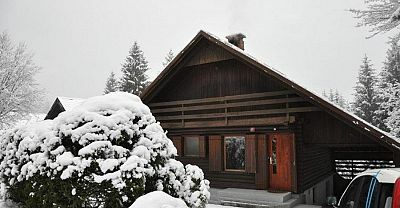 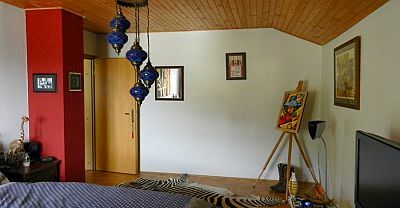 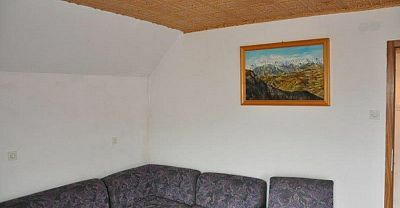 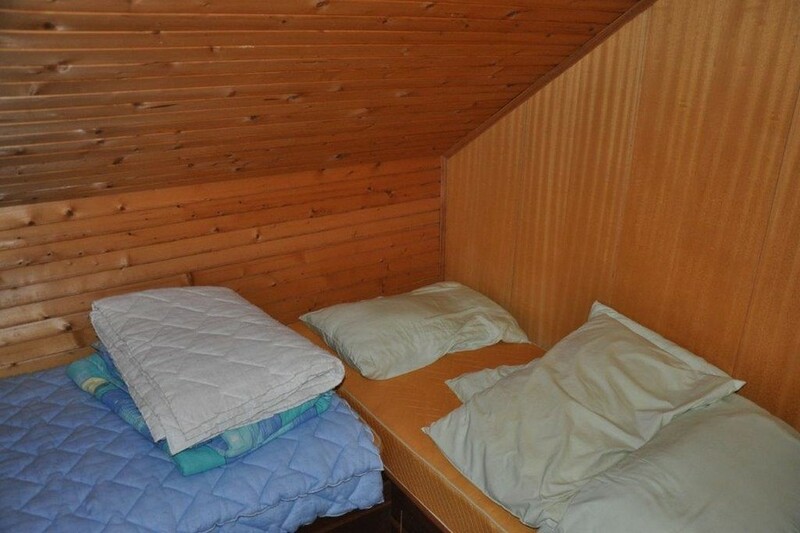 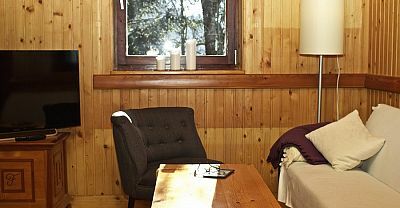 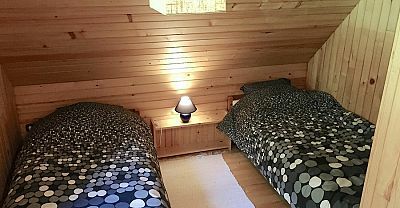 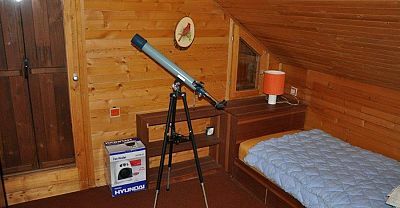 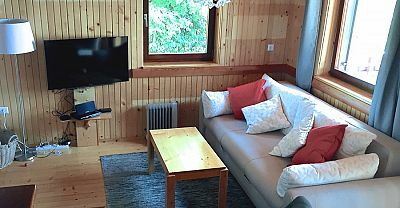 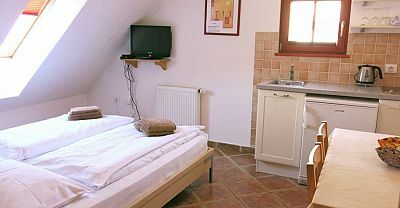 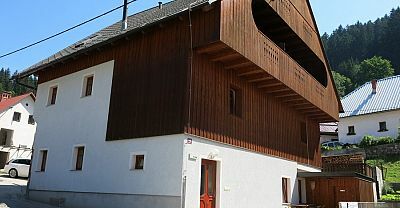 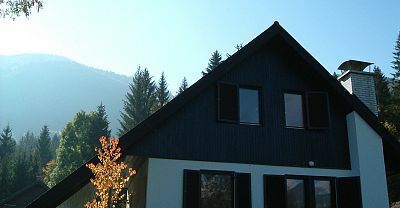 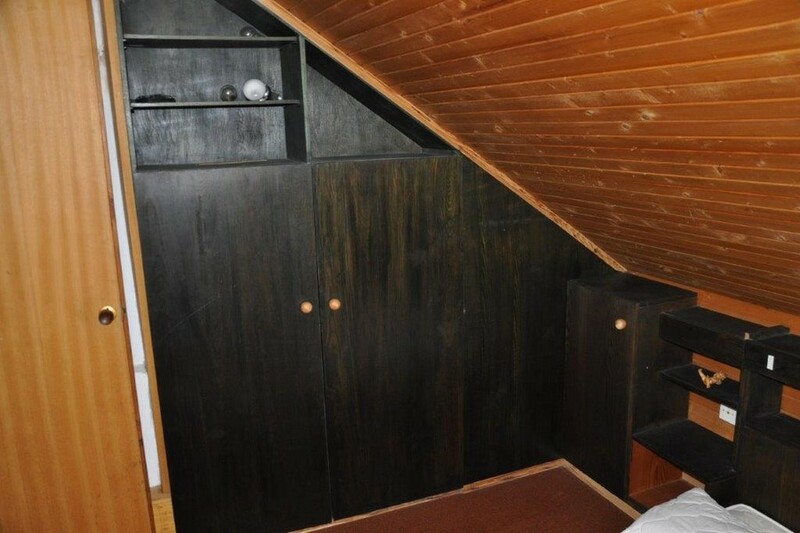 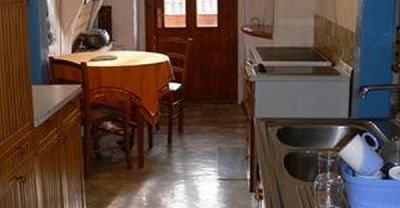 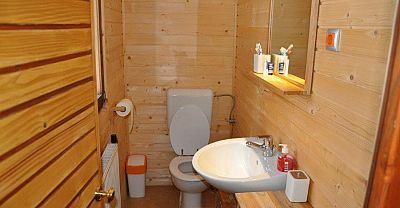 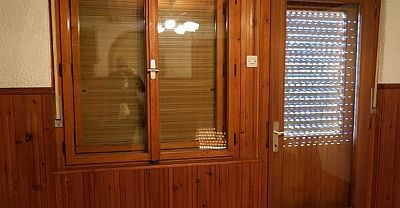 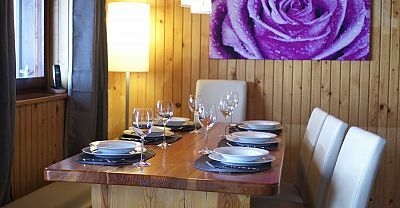 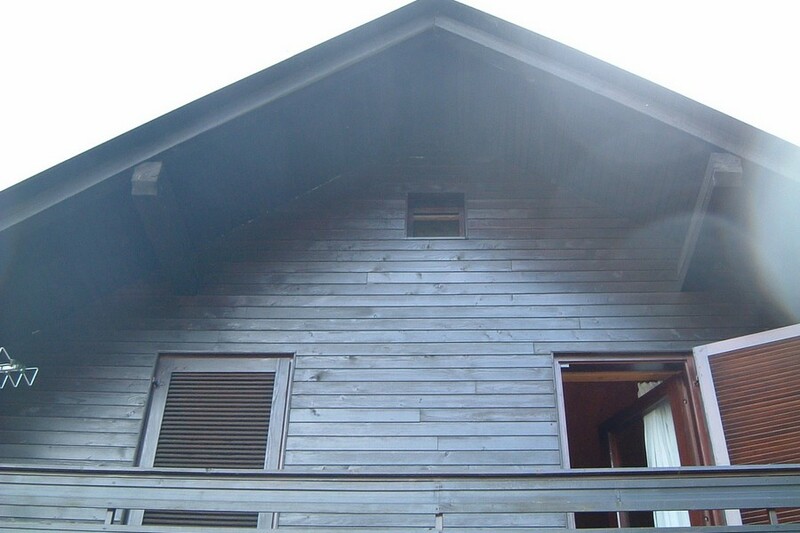 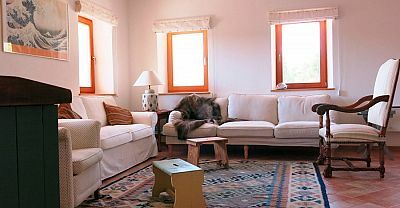 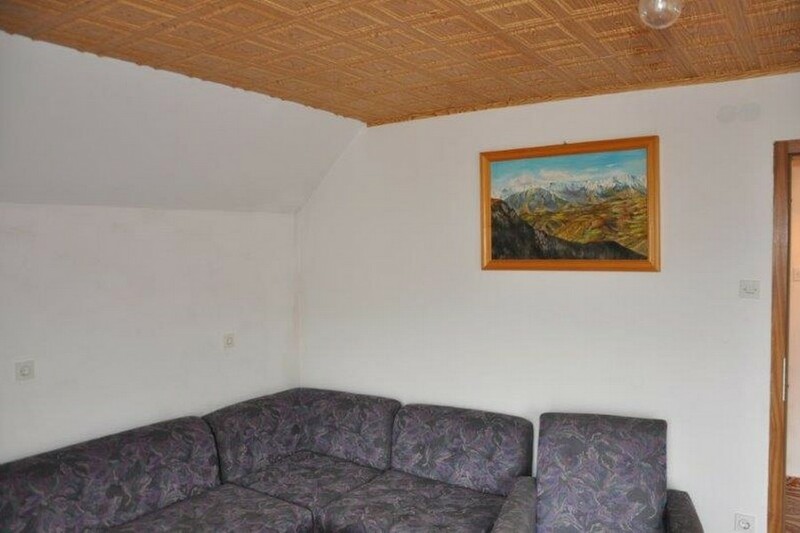 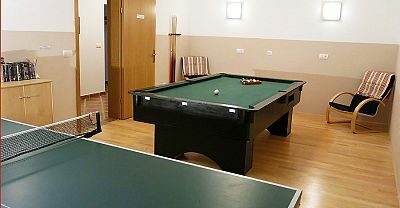 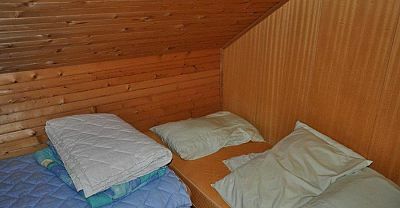 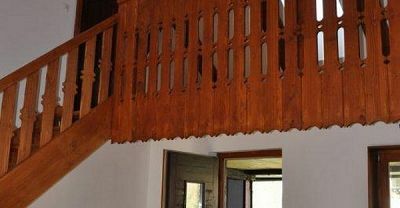 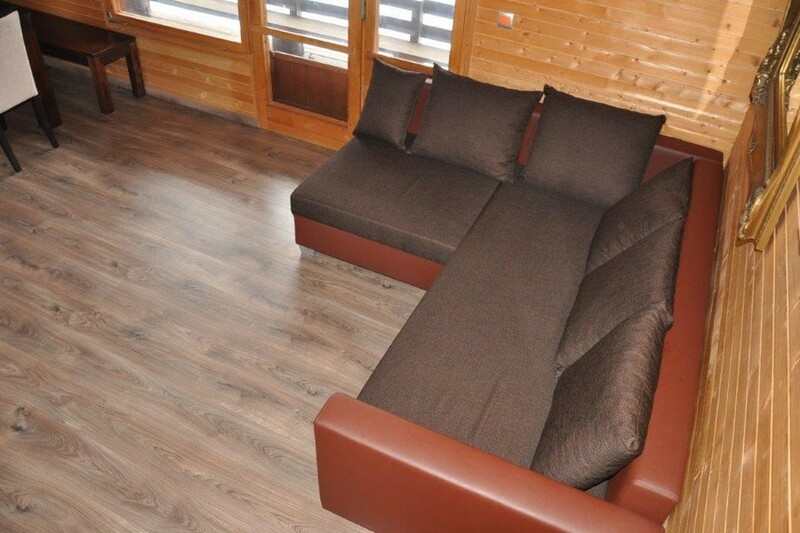 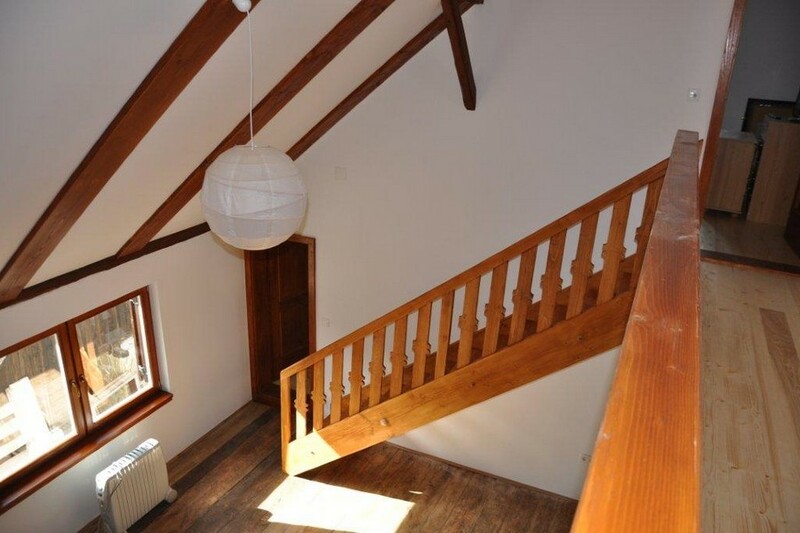 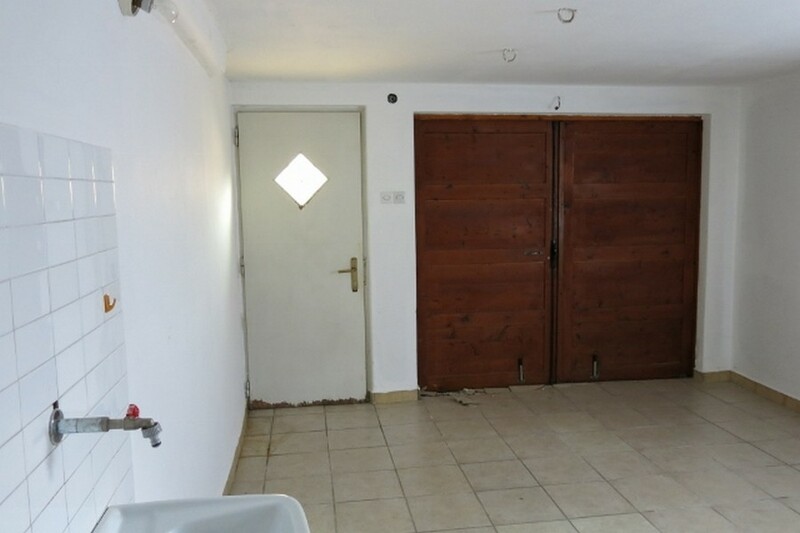 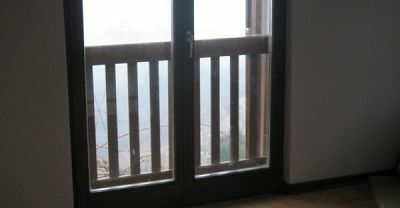 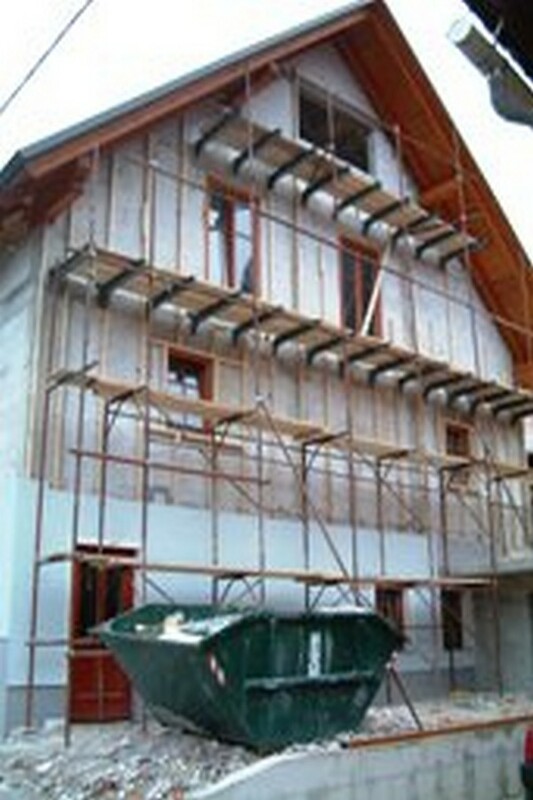 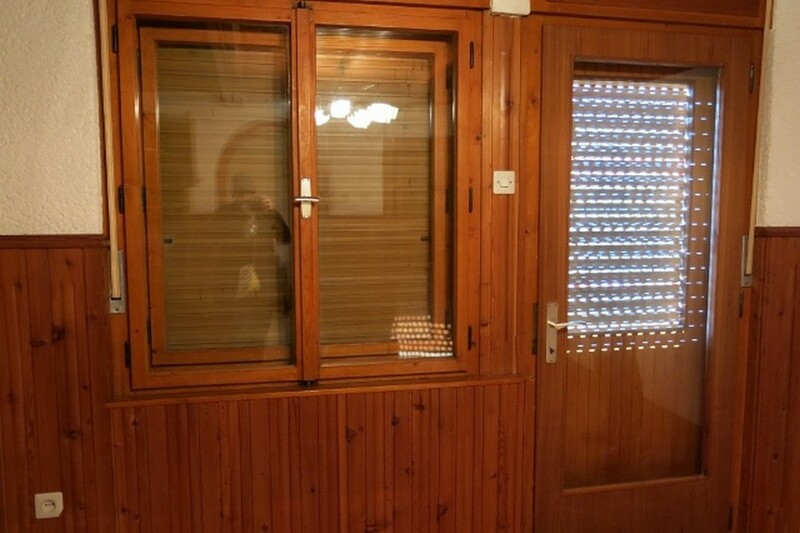 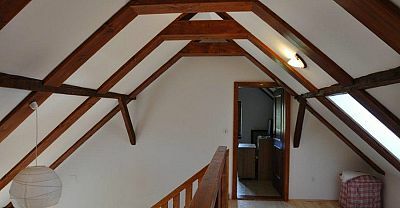 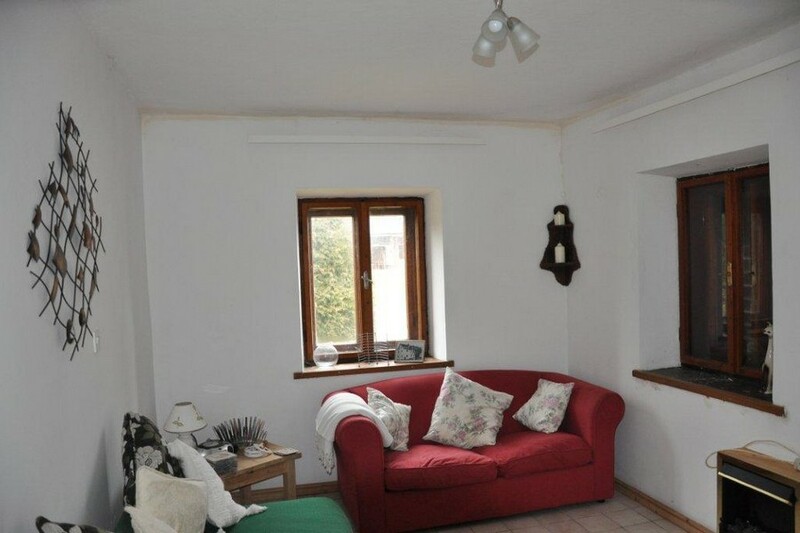 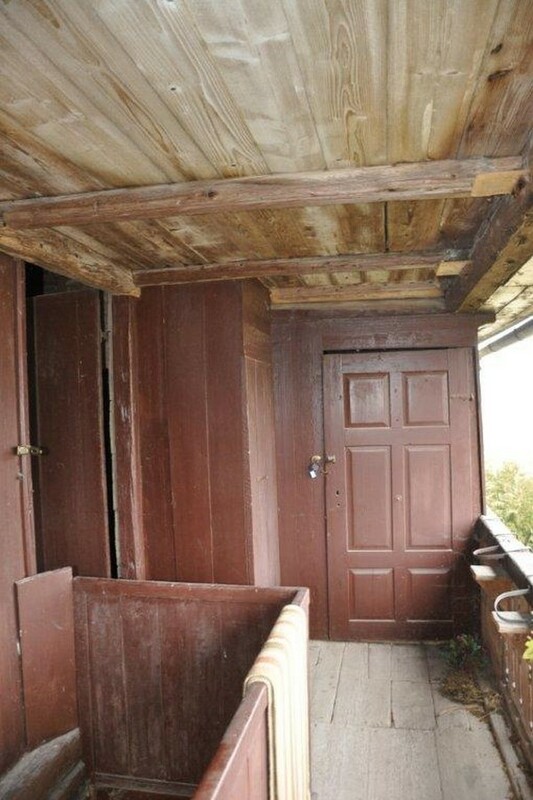 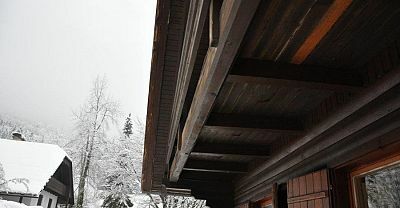 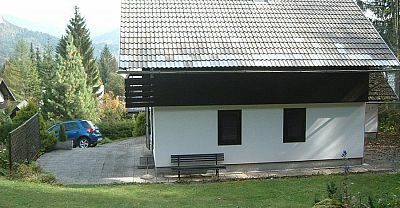 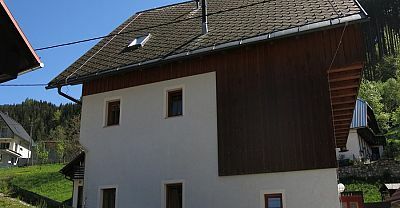 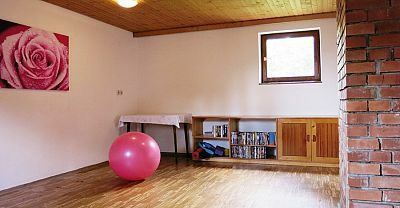 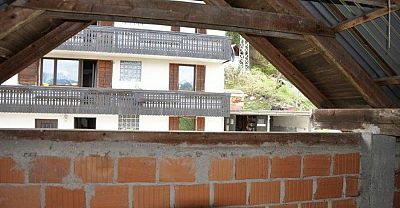 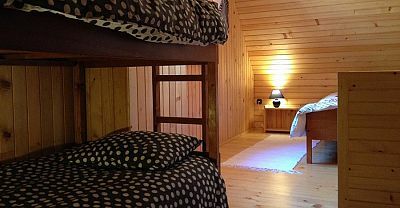 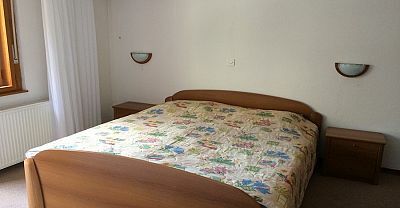 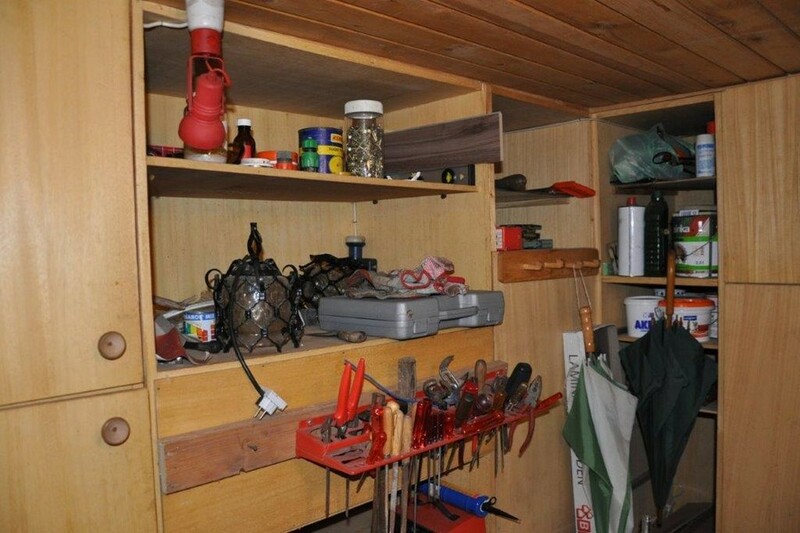 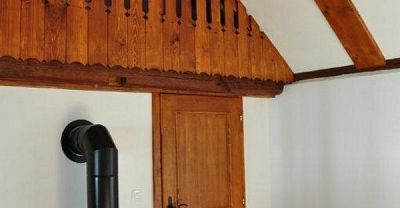 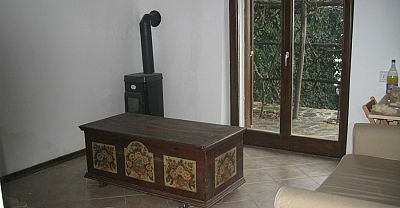 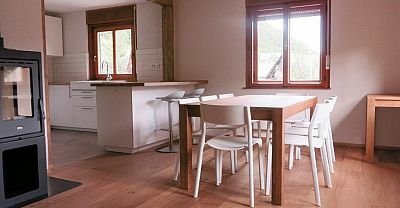 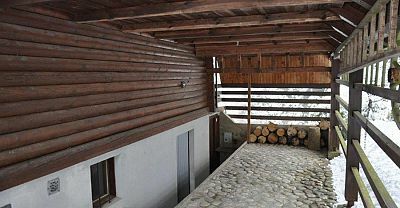 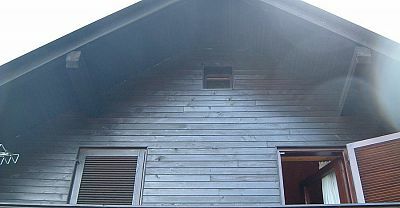 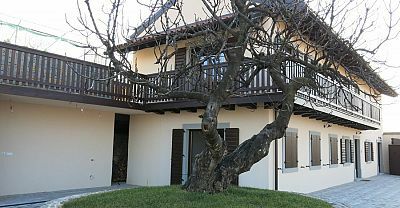 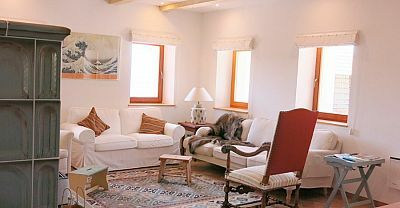 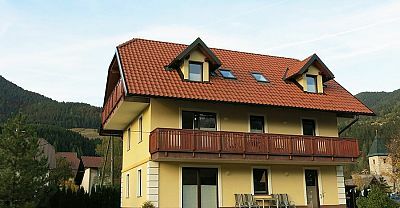 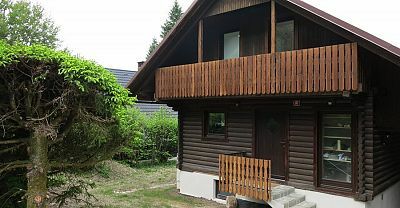 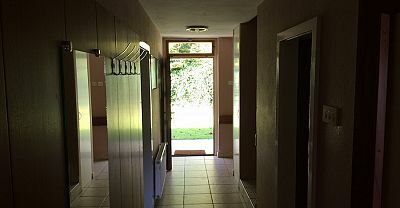 The chalet was in good condition but need some updating here and there, much of which was done by the owners themselves. 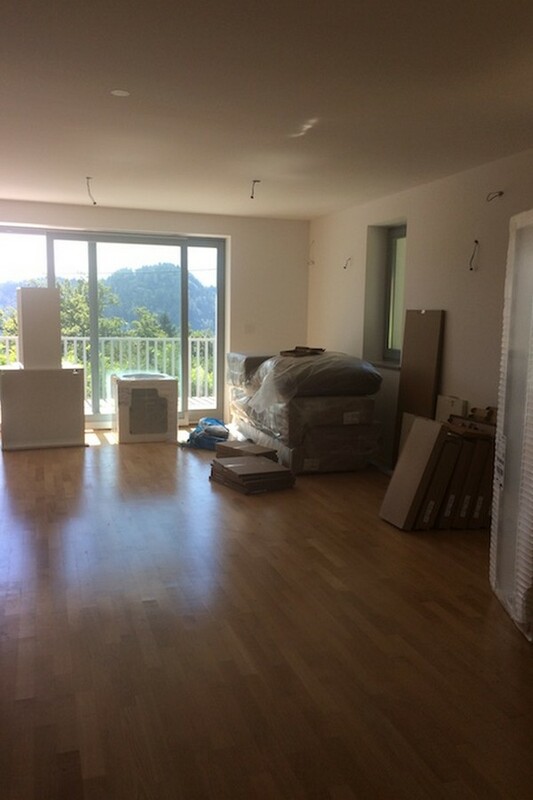 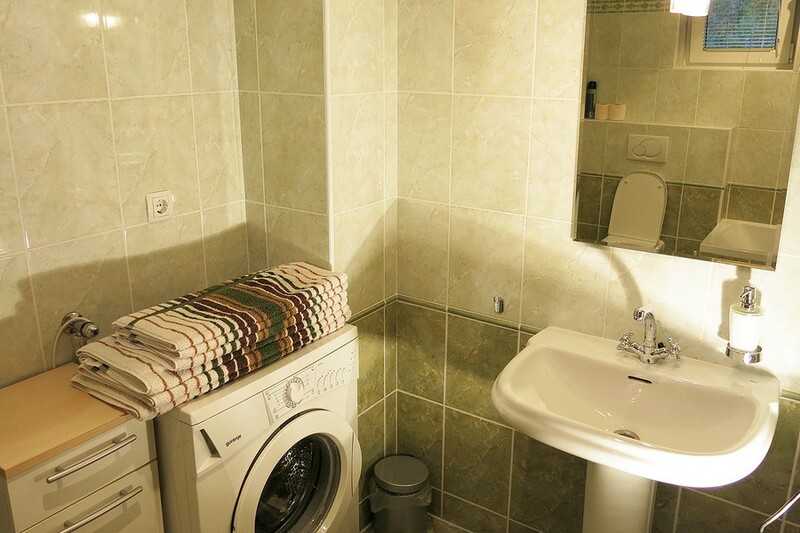 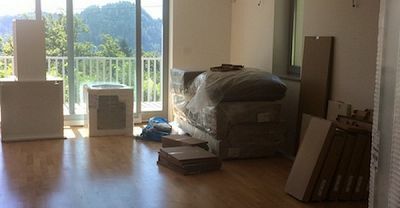 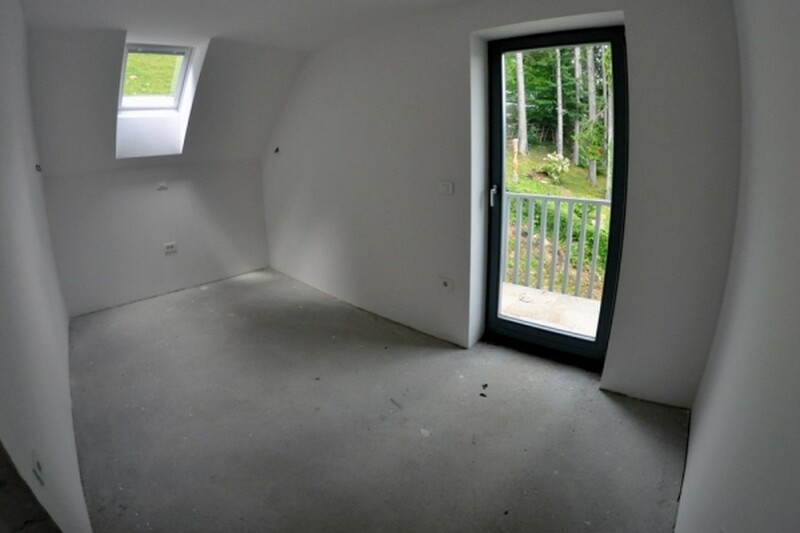 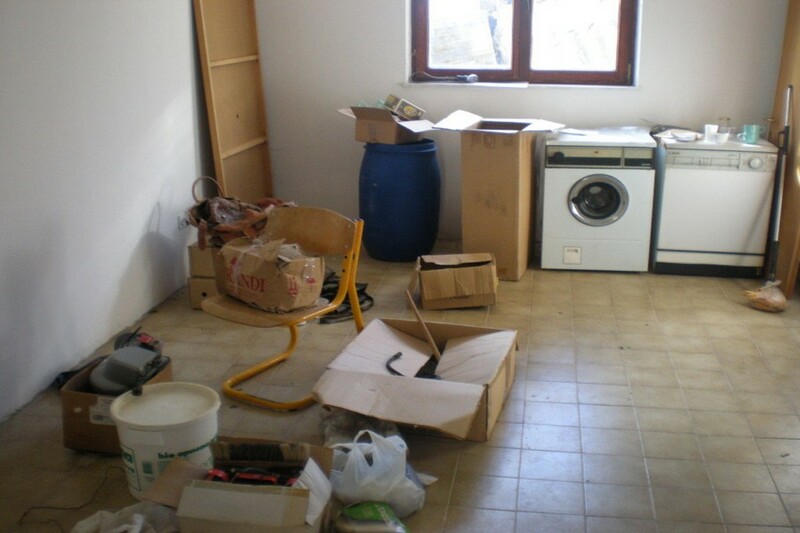 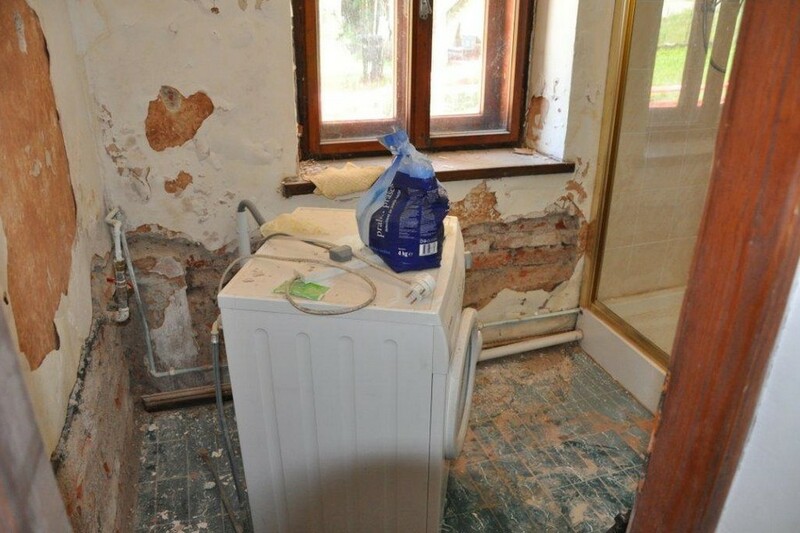 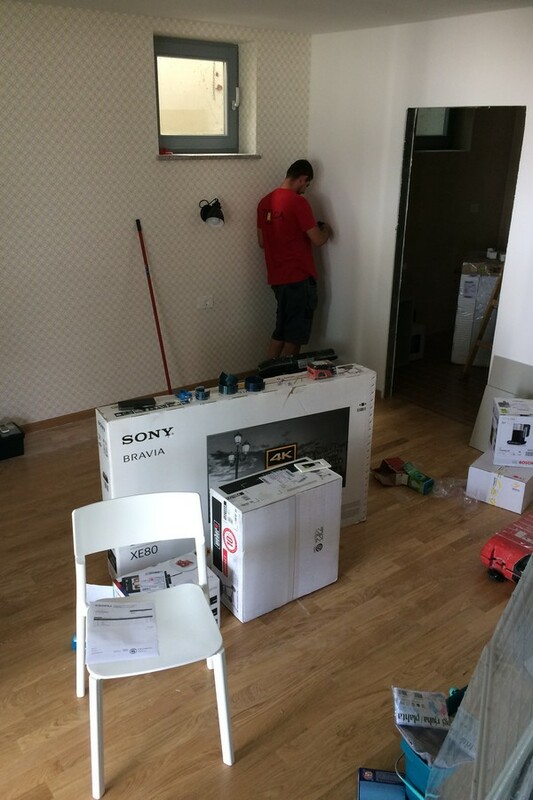 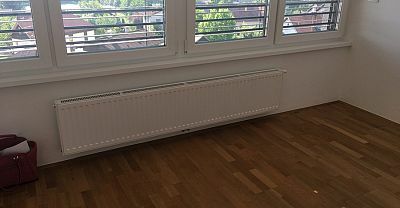 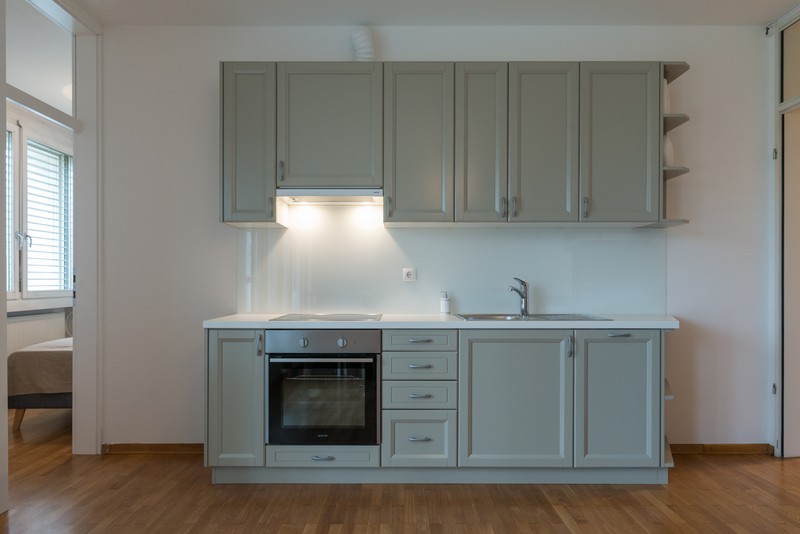 Think Slovenia's role was to advise on requirements for rental, to source and manage individual local contractors including electrician, plumber and a general builder and to assist with various deliveries and fitting of furniture, white goods and similar in the owners absence. 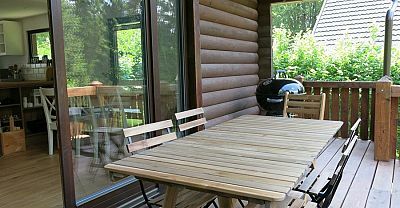 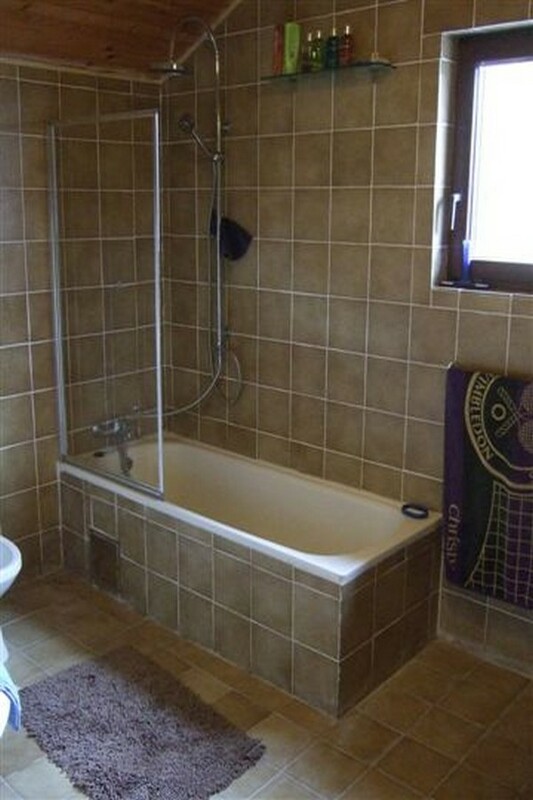 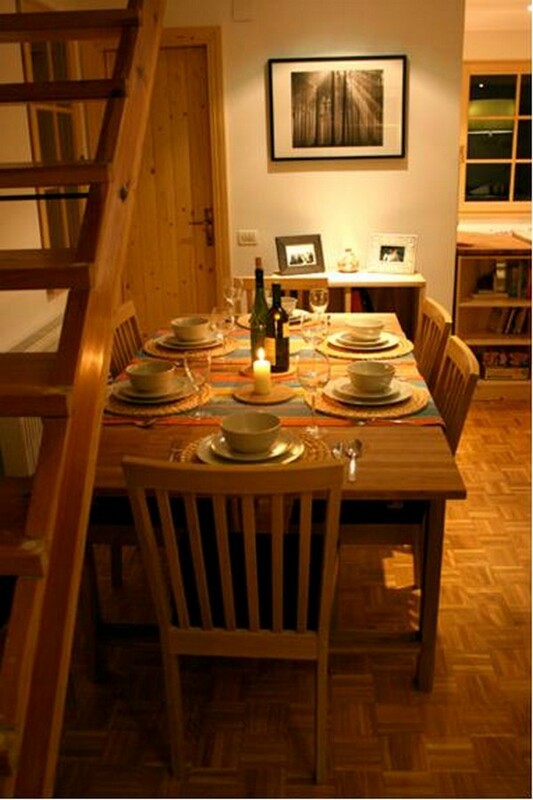 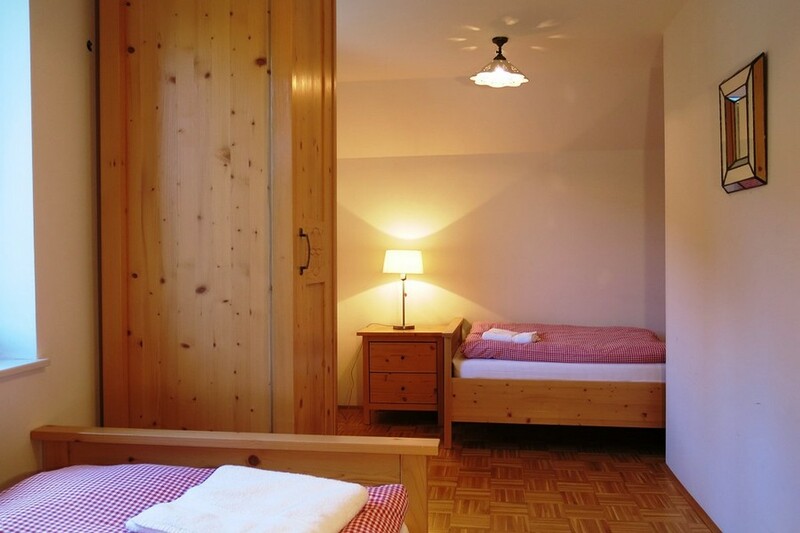 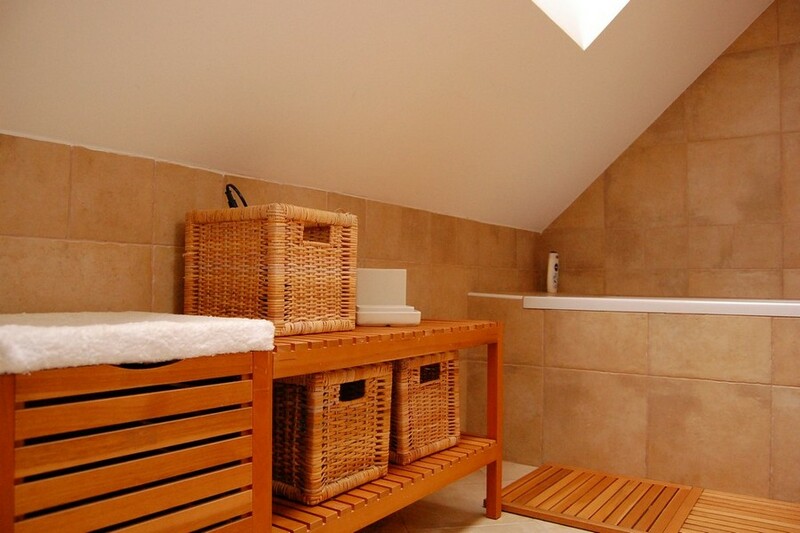 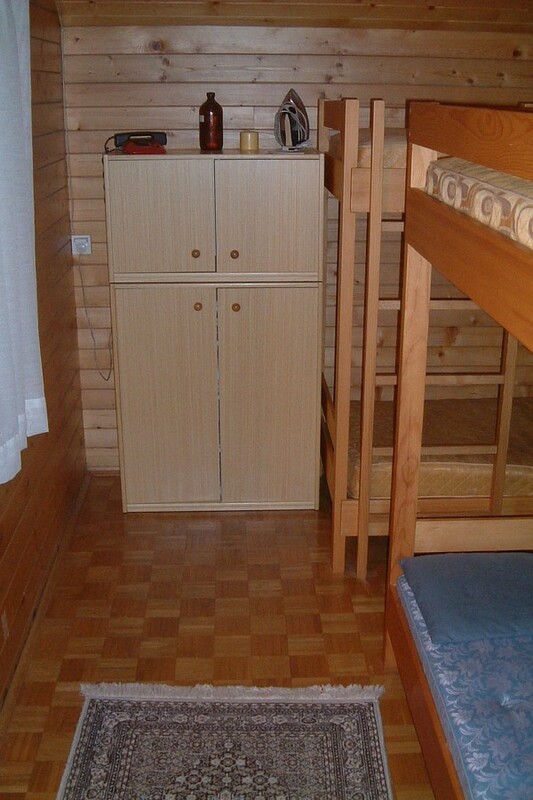 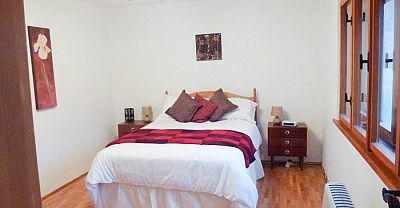 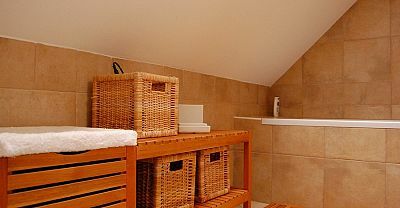 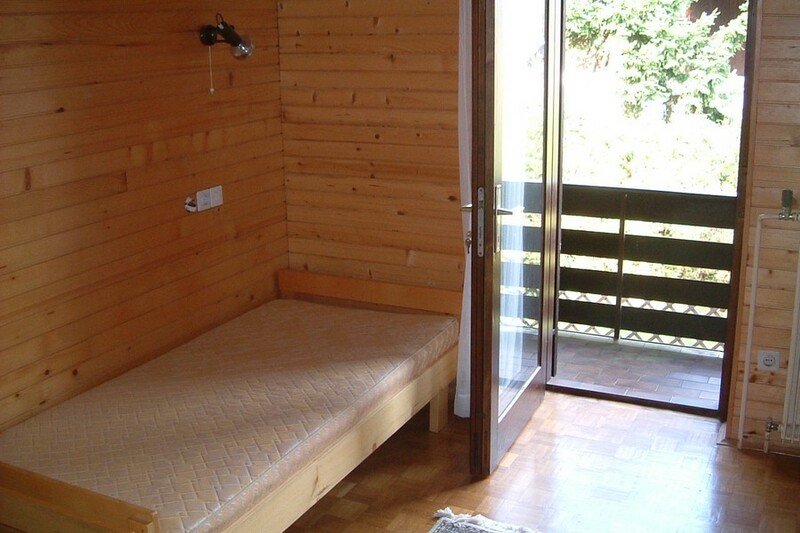 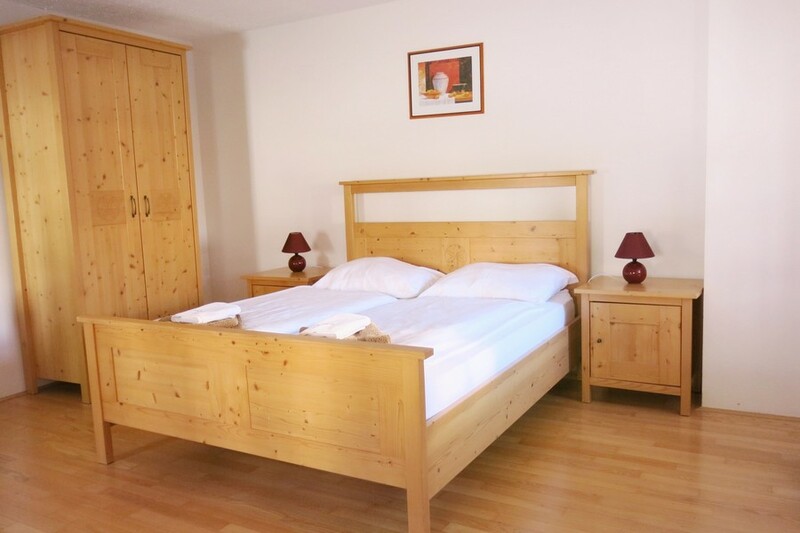 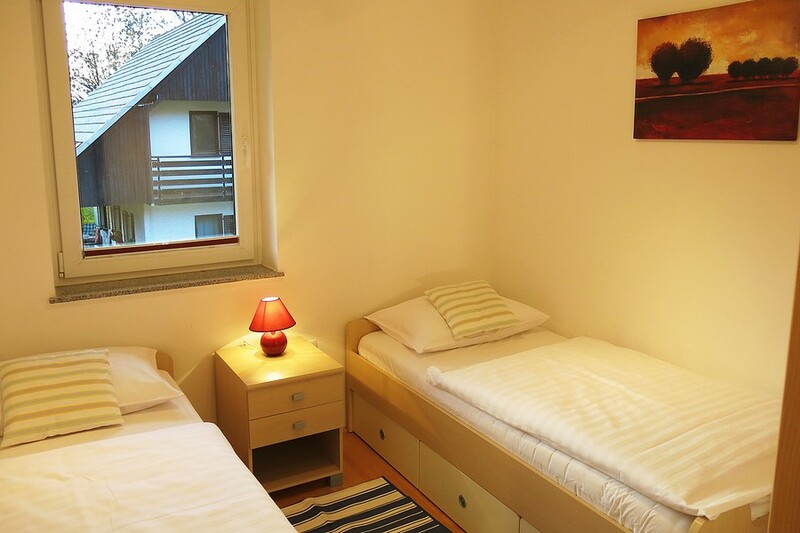 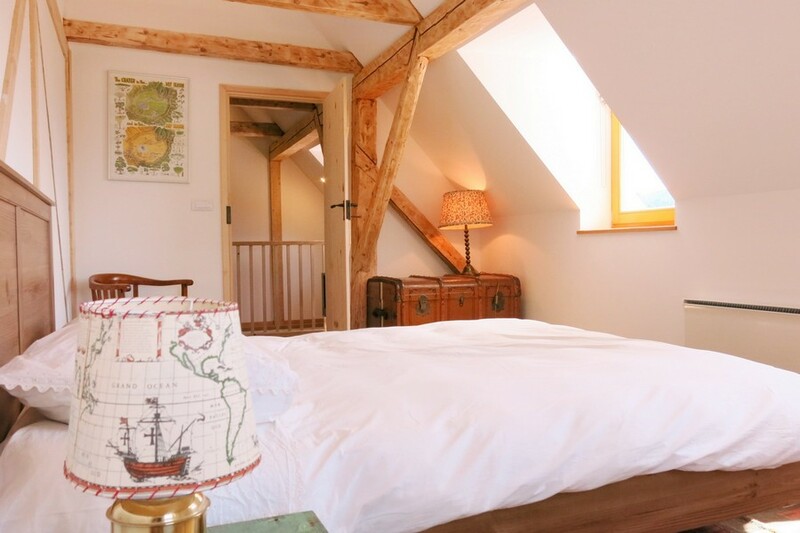 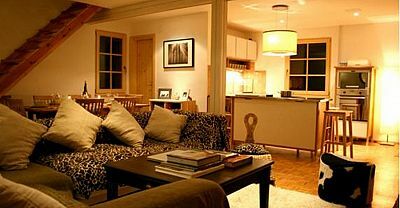 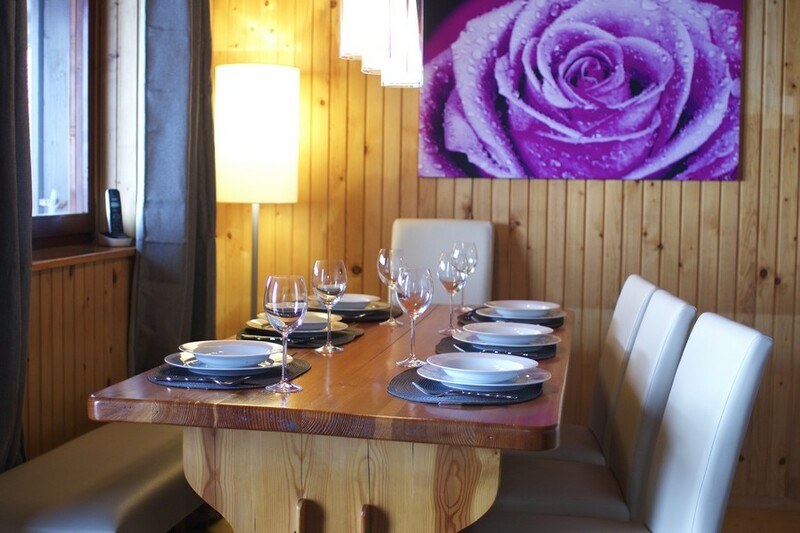 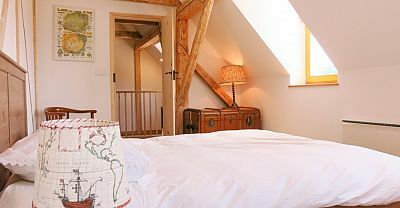 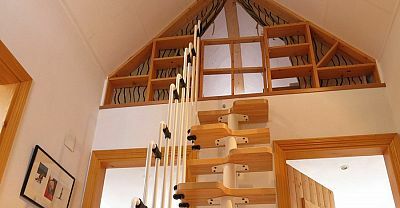 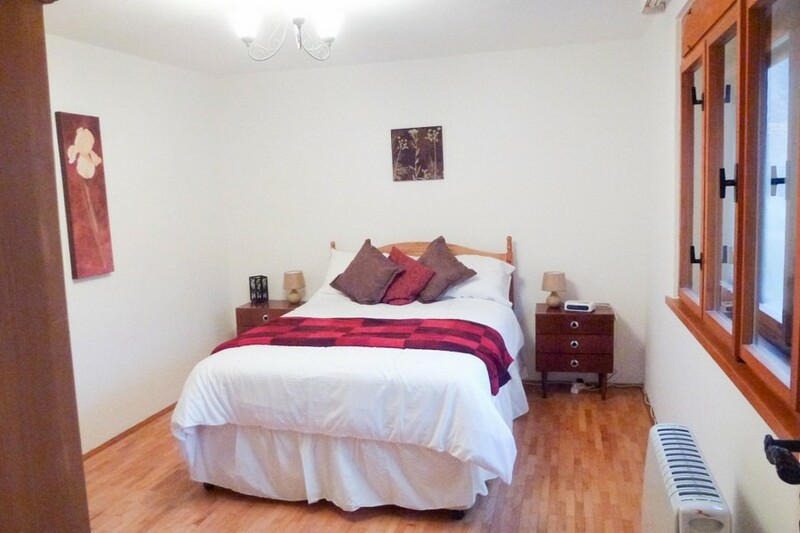 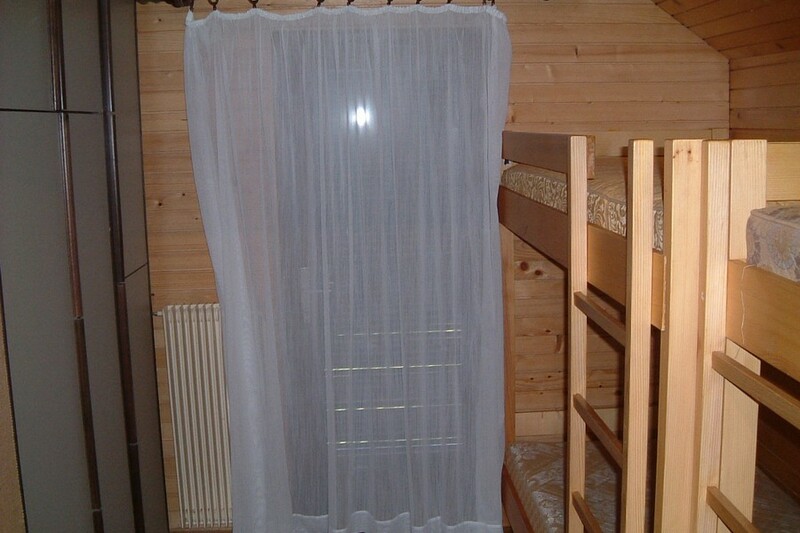 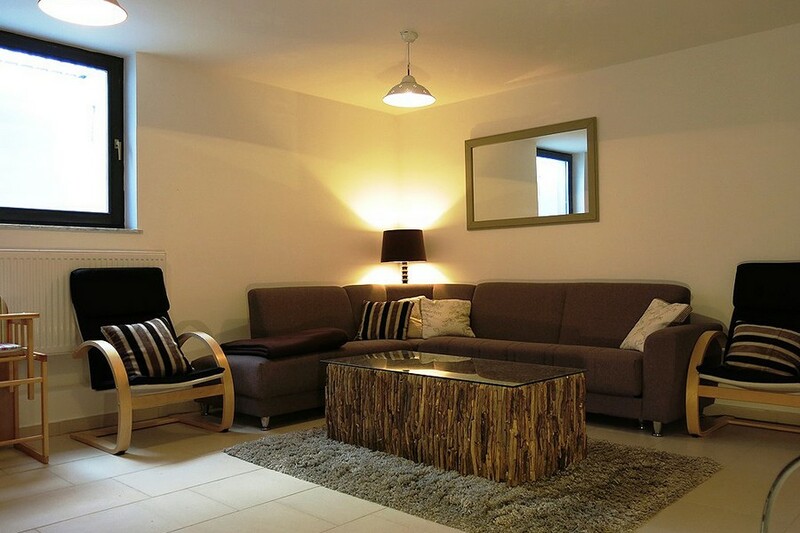 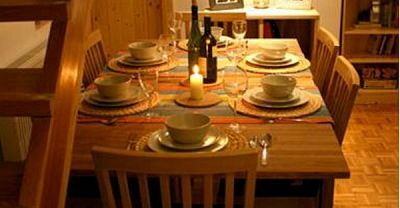 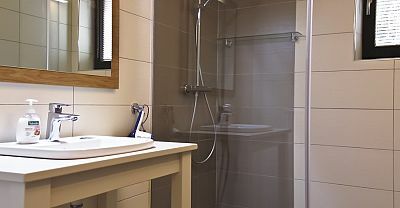 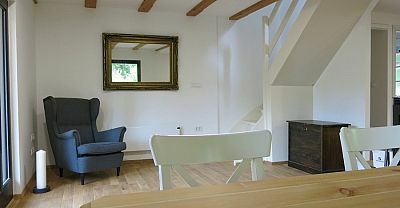 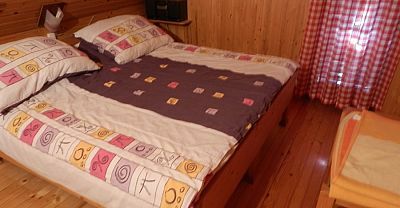 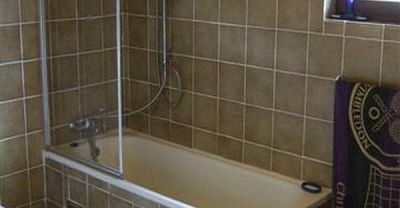 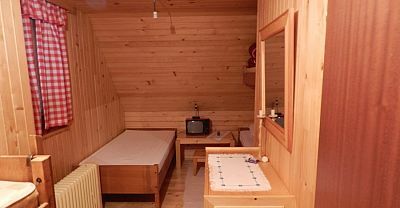 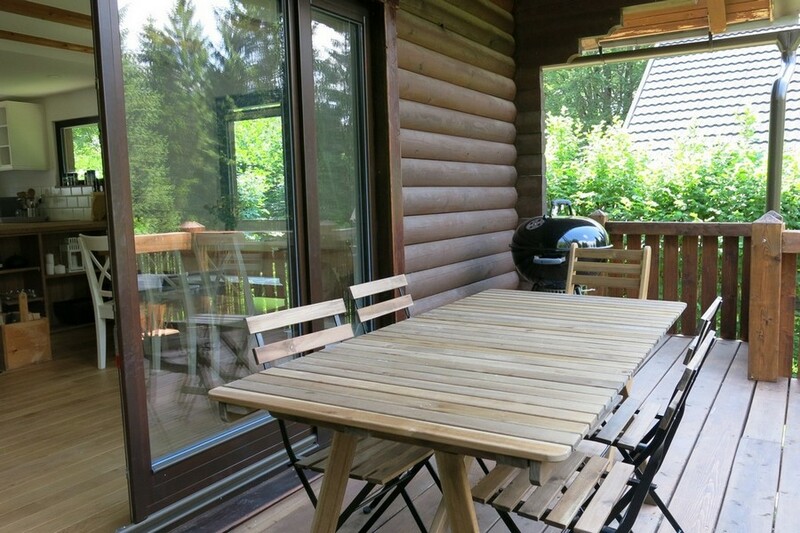 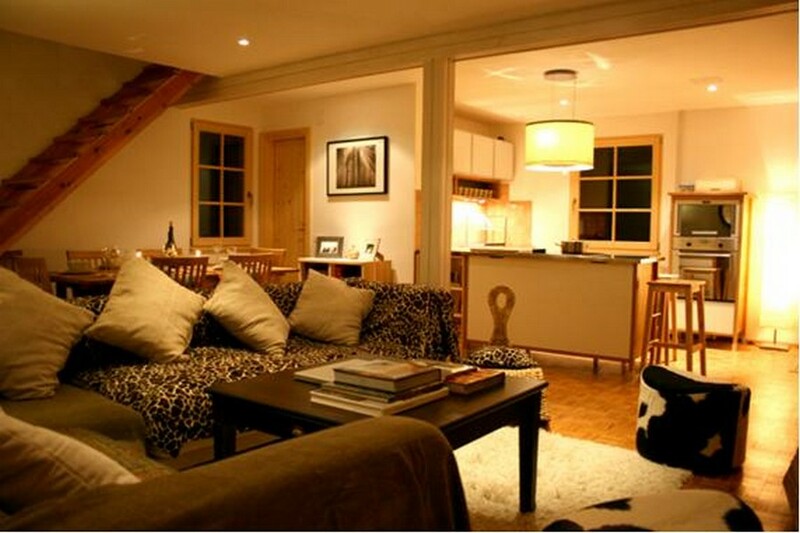 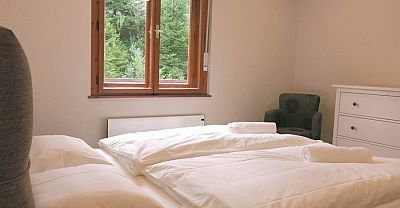 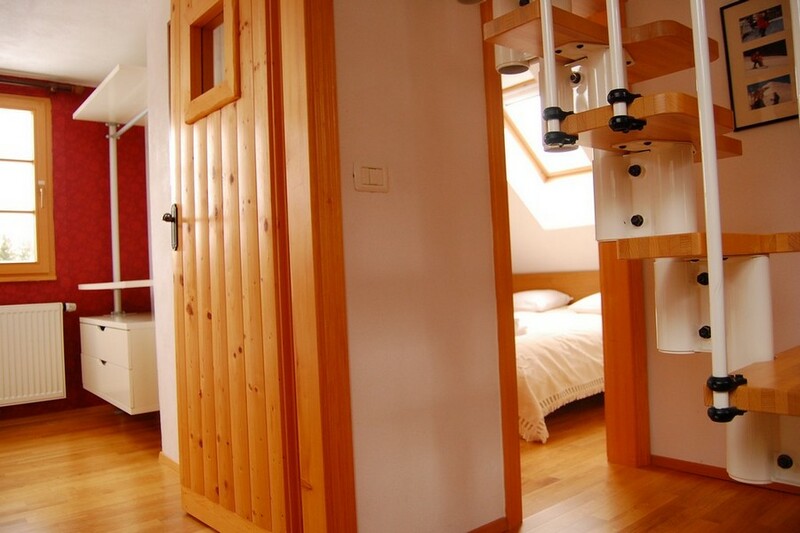 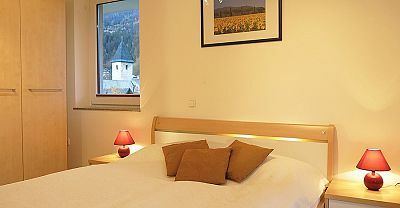 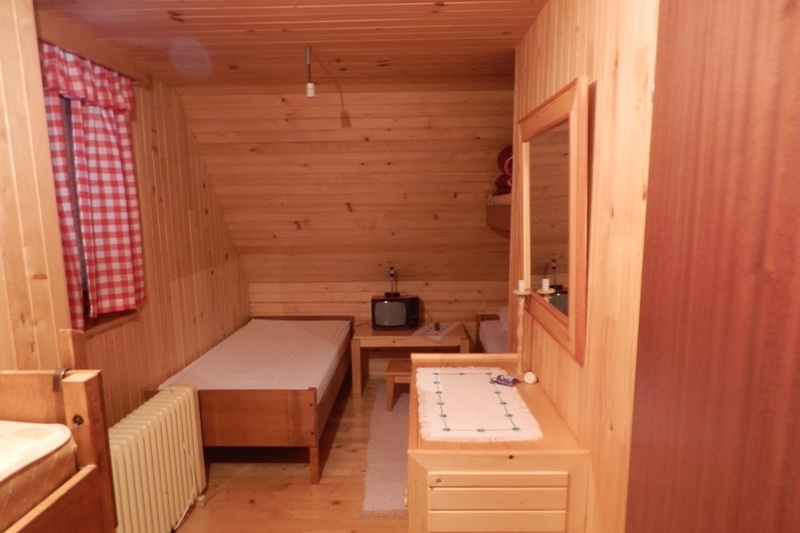 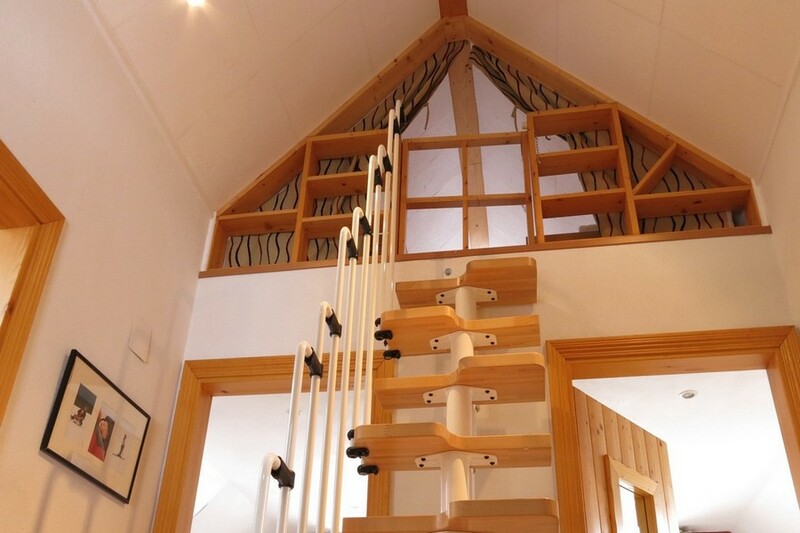 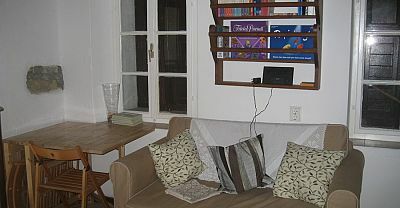 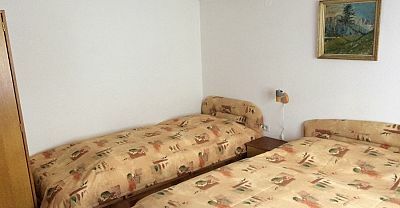 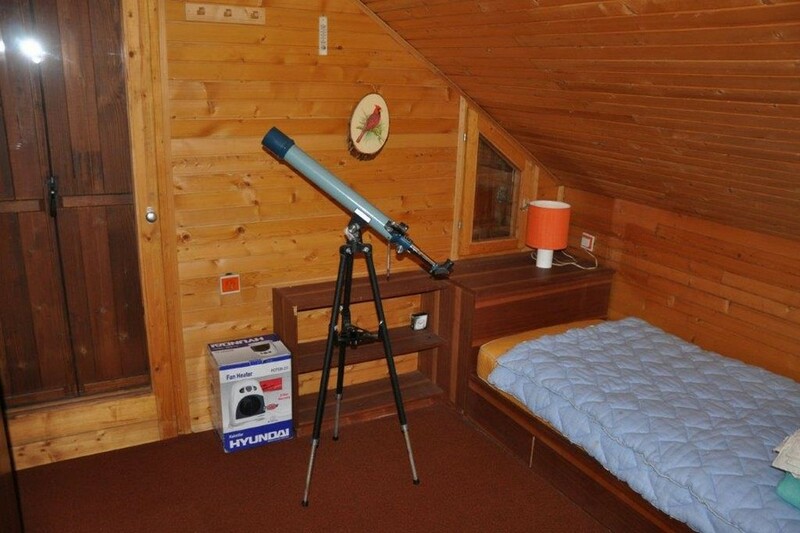 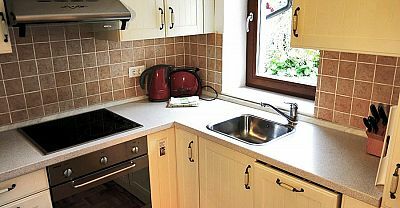 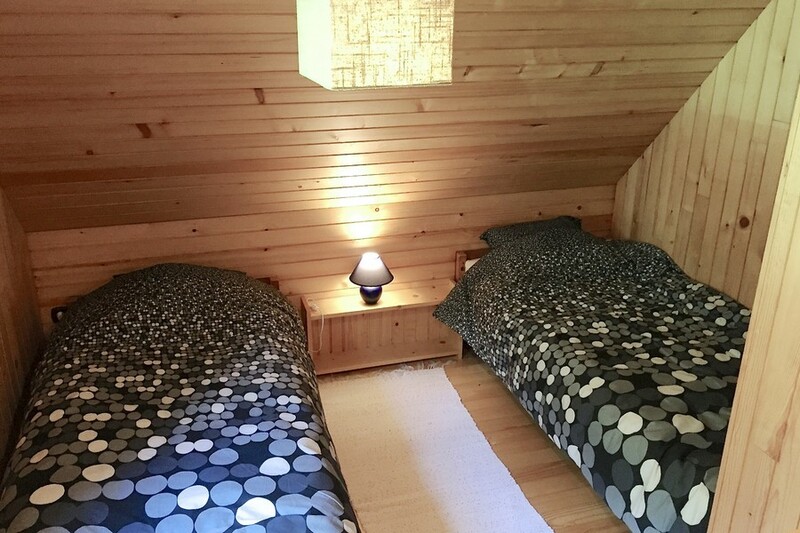 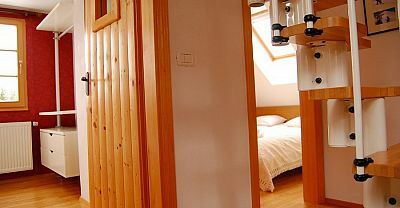 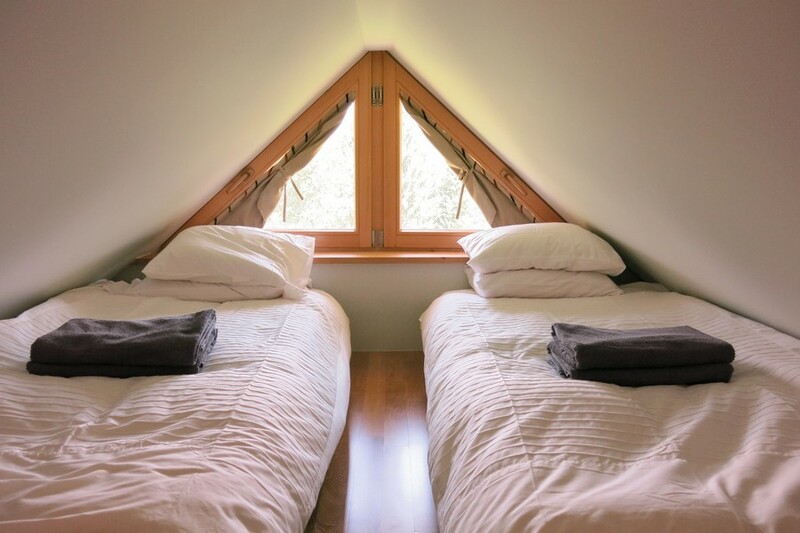 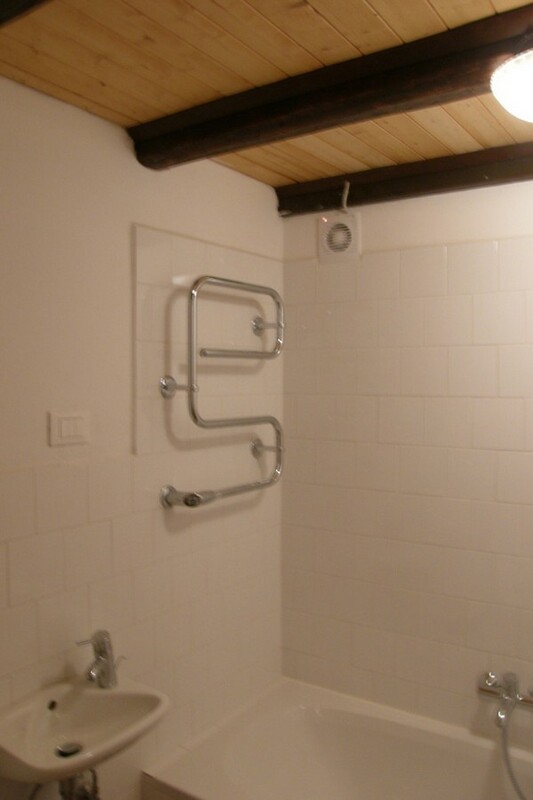 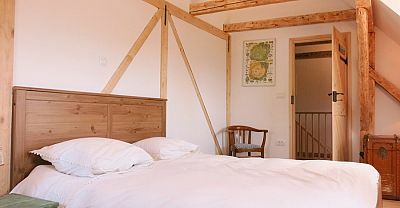 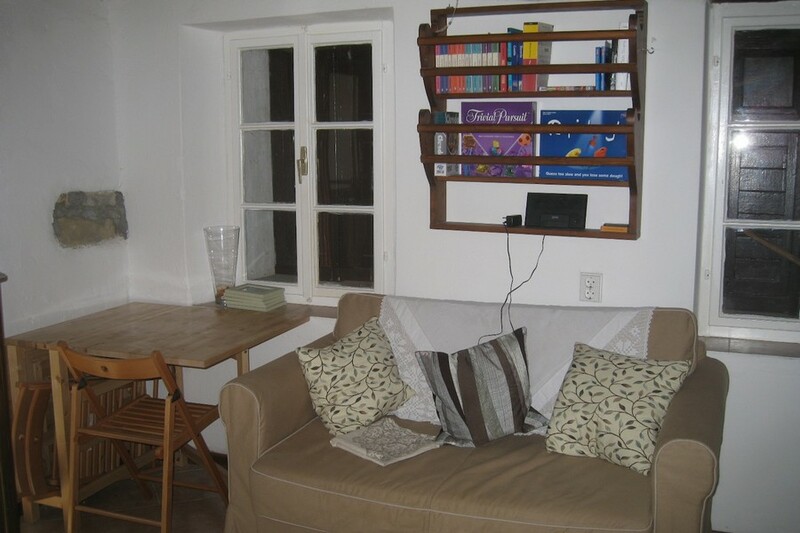 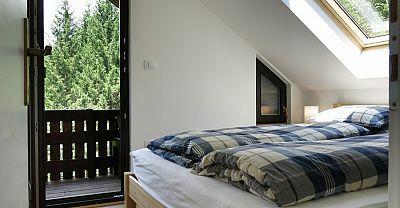 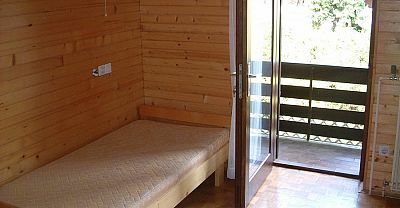 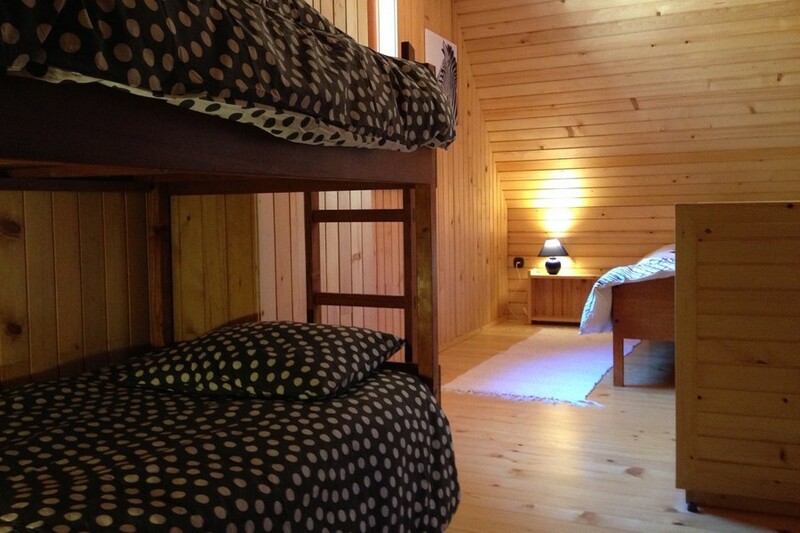 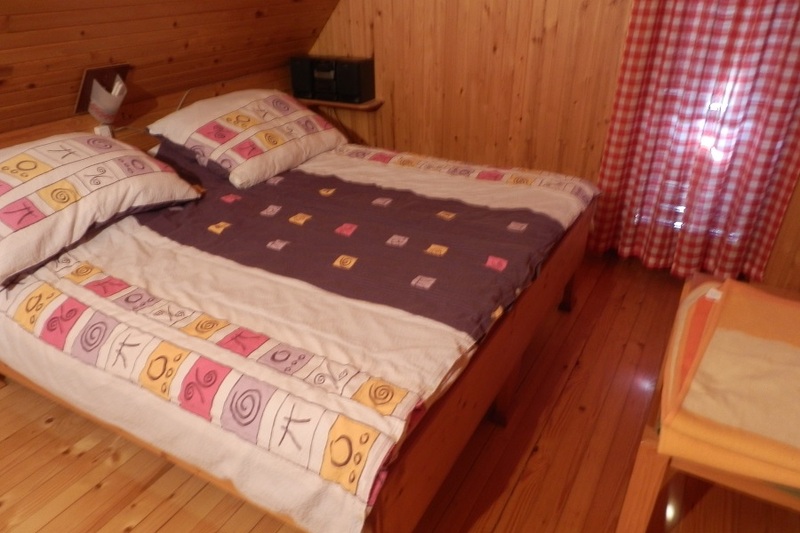 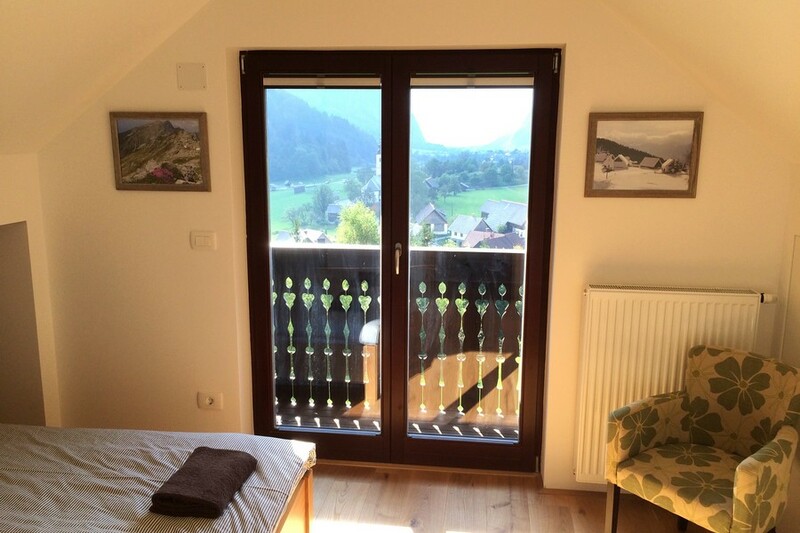 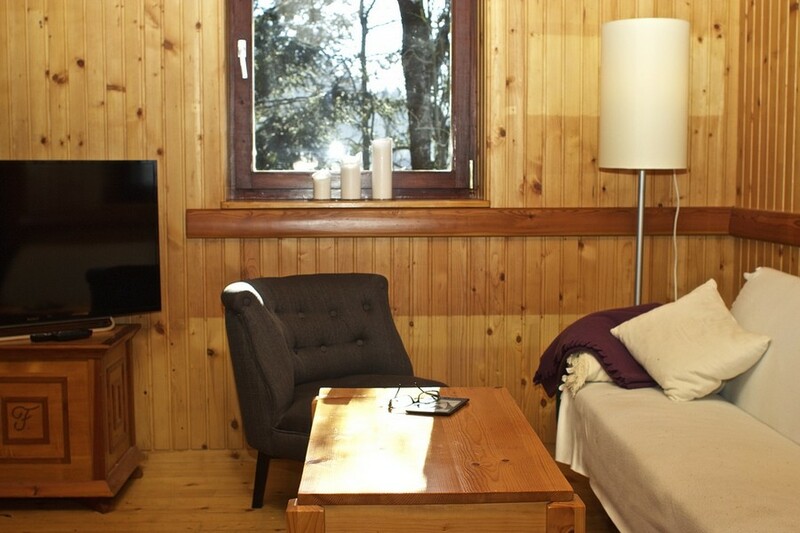 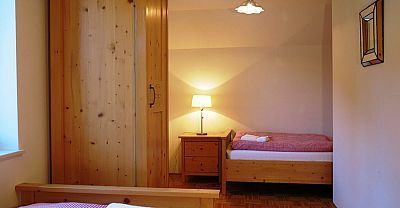 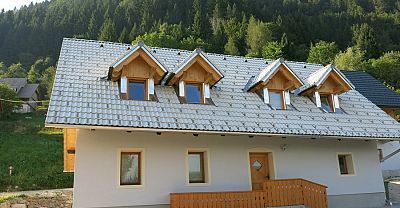 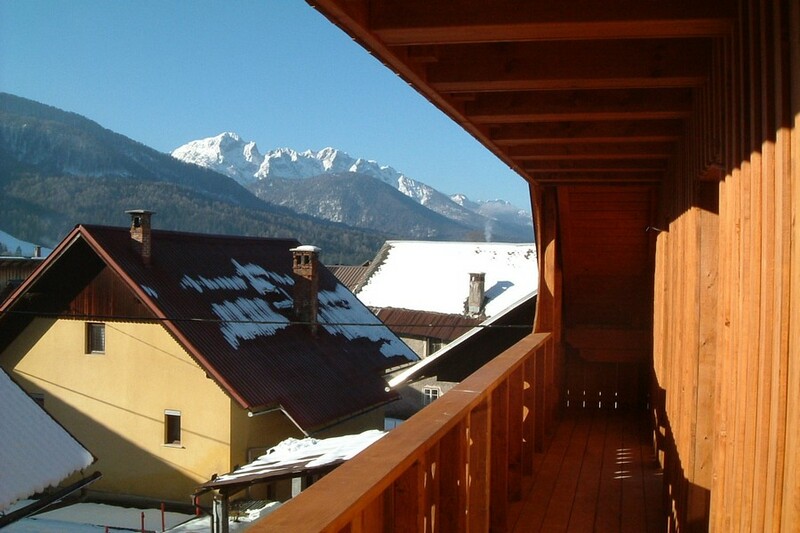 The chalet is now a much loved holiday home and tourist rental business. 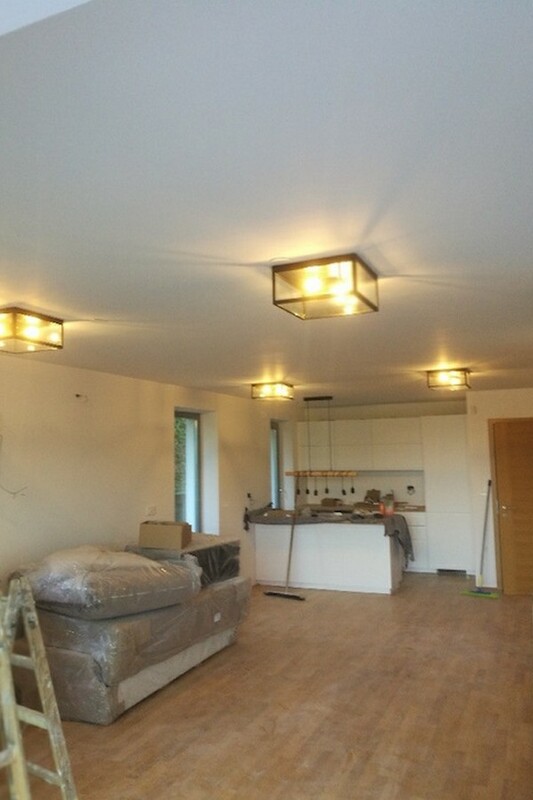 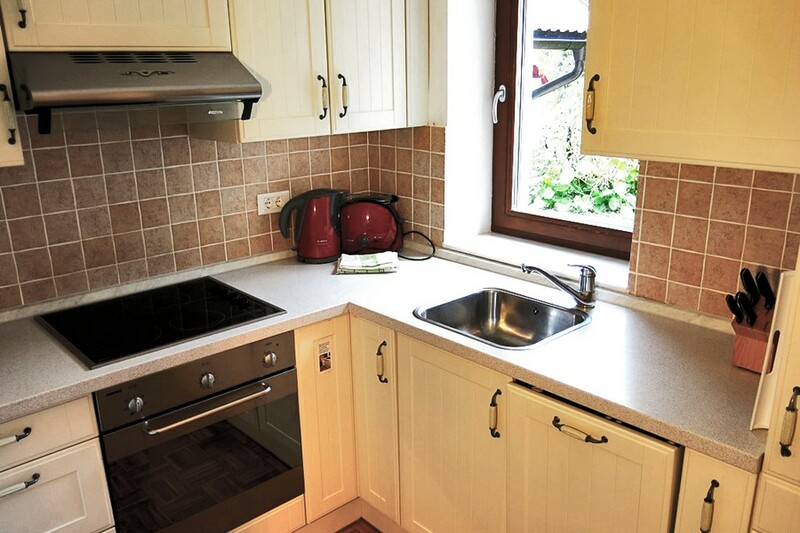 This project was one of our quickest projects in terms of how quickly the works were completed and renter moved in. 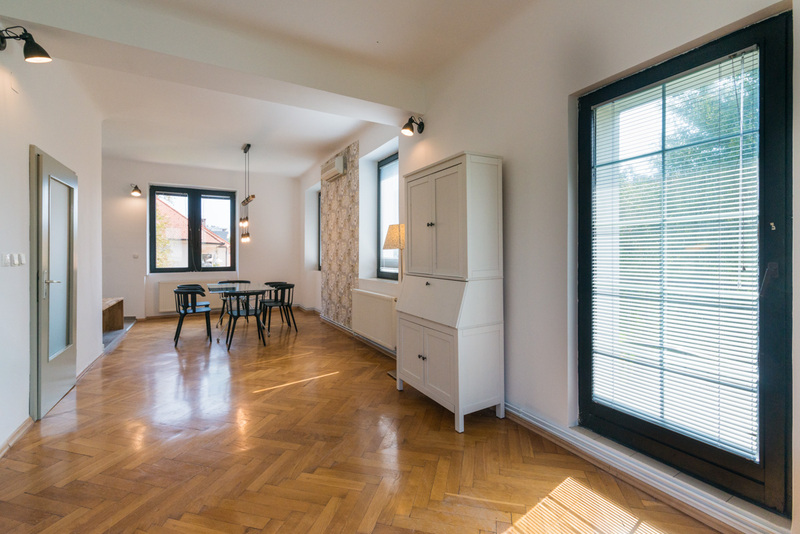 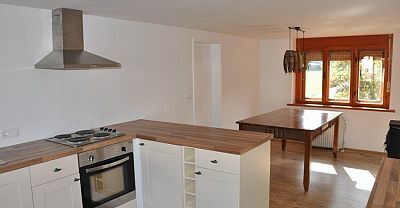 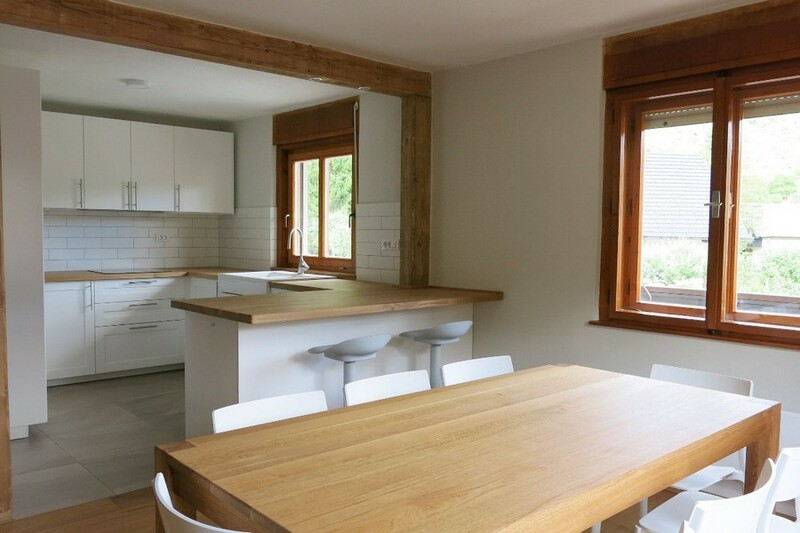 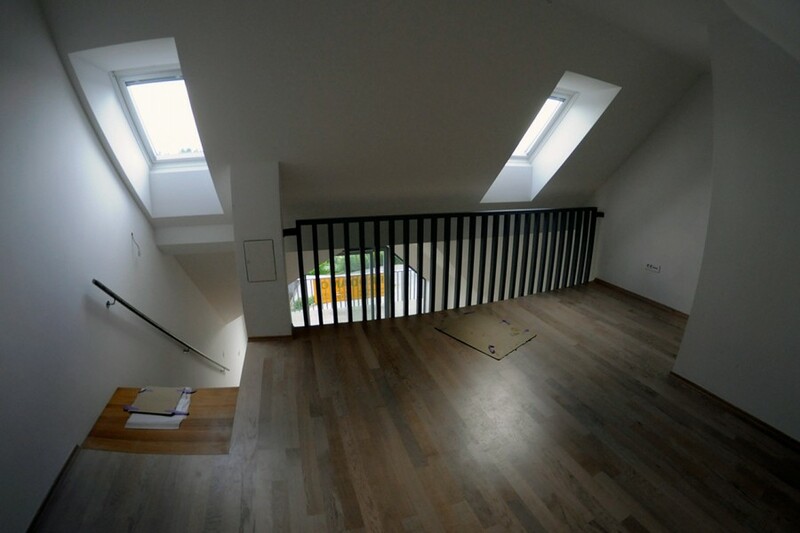 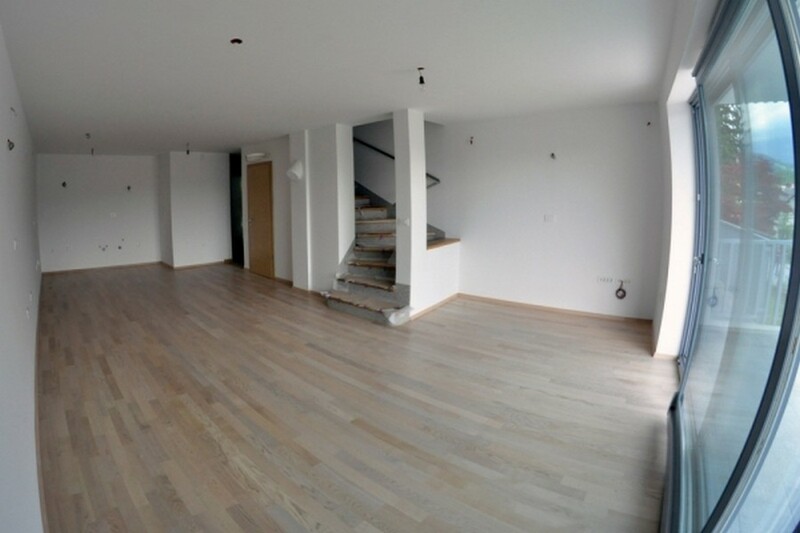 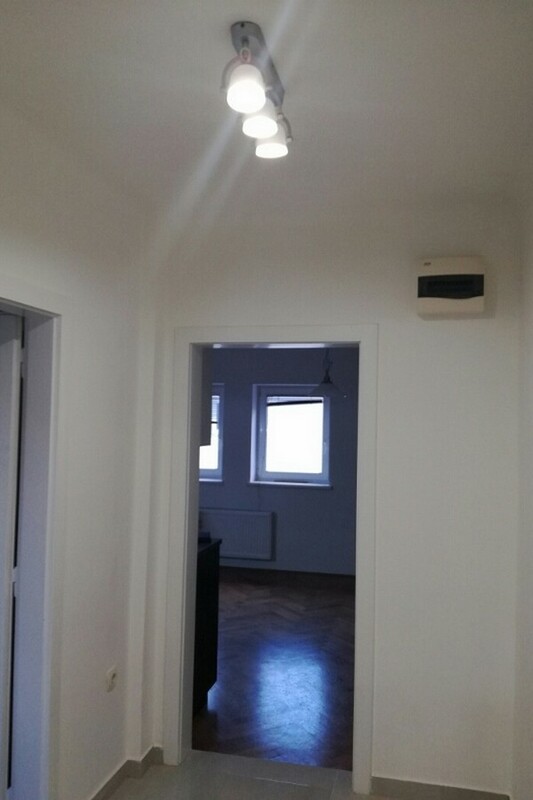 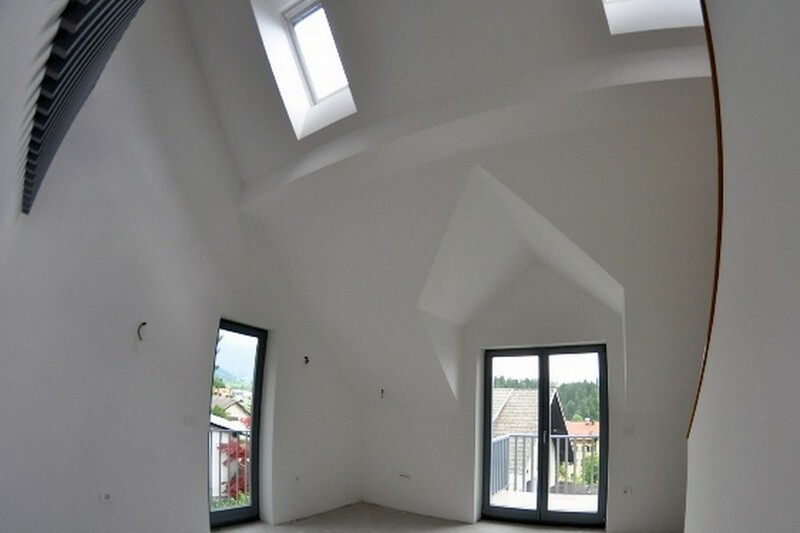 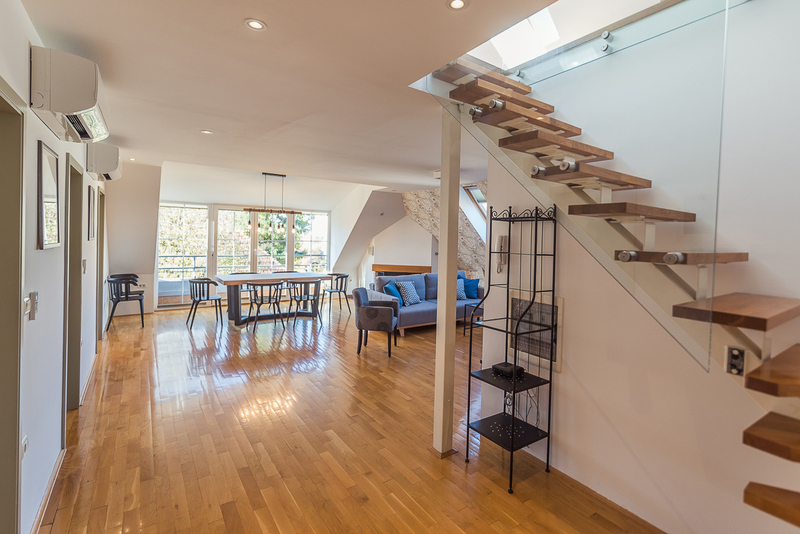 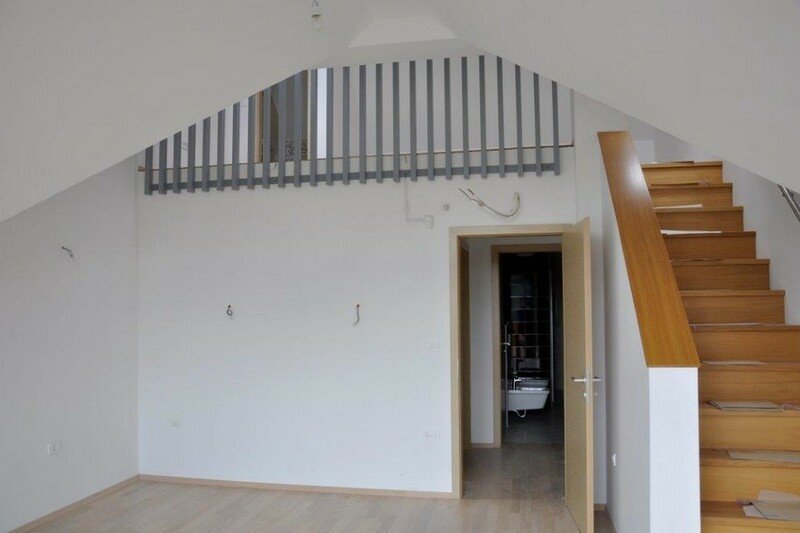 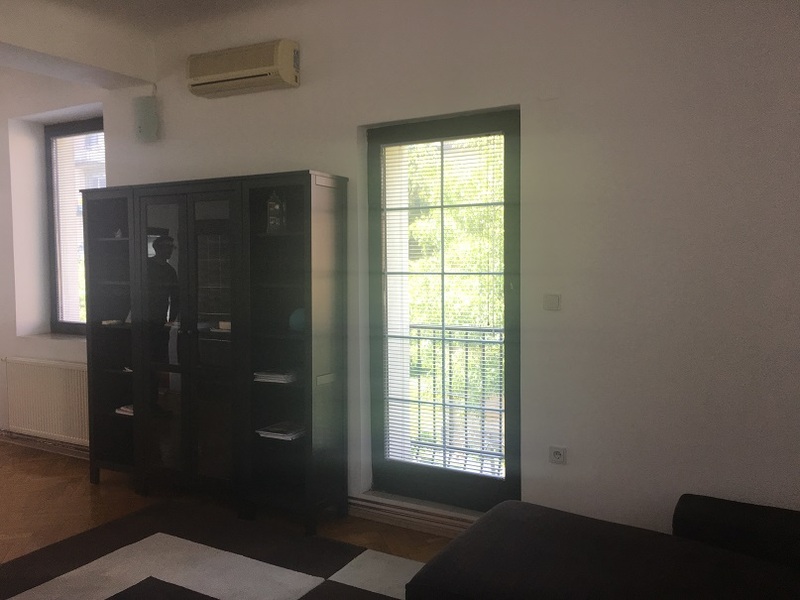 Having sourced the property for our clients, who were looking for a Ljubljana investment property, we used some Think Slovenia partner builders to complete this renovation within a few weeks. 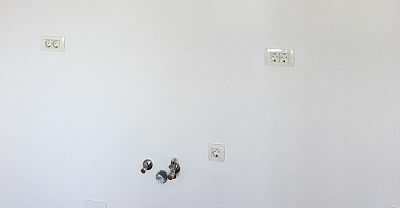 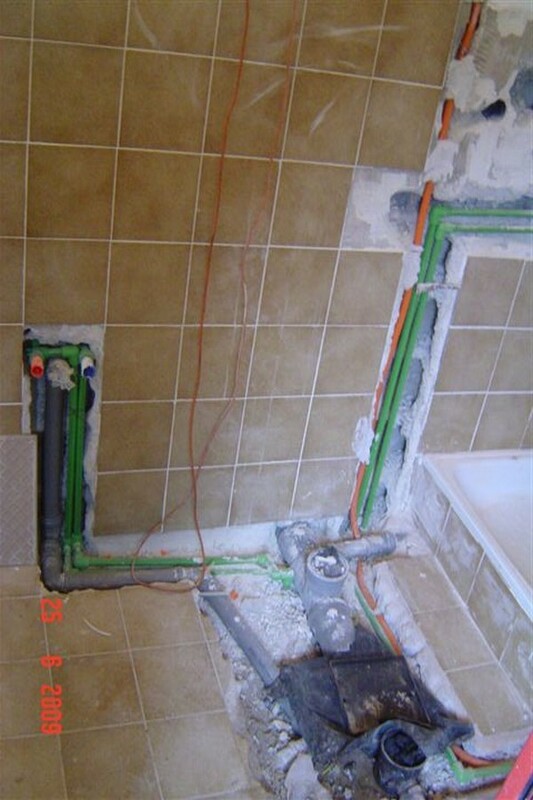 We completely stripped the old bathroom out, re-did the plumbing and rewired some of the electricity. 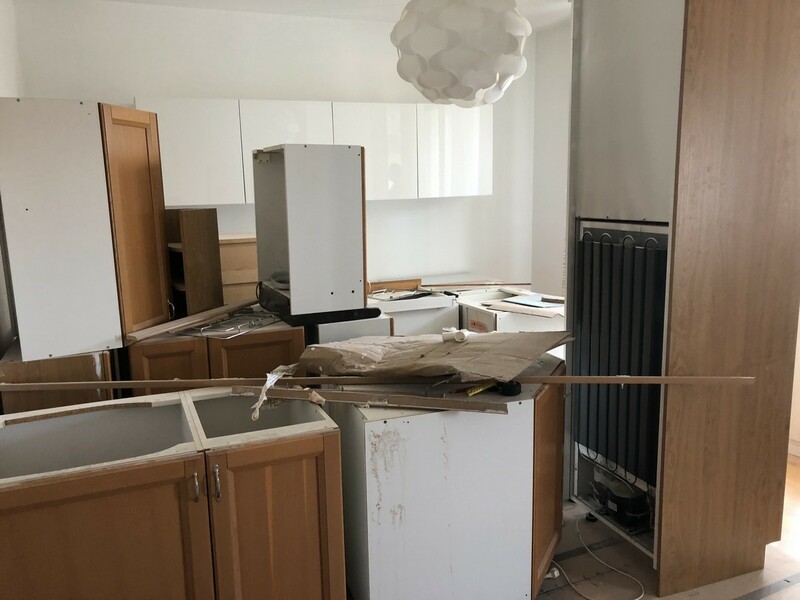 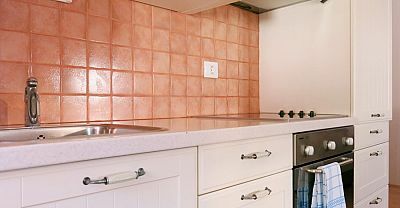 We moved the kitchen from one room to another and came up with an idea to rework the installations with minimum damage to the existing parquet flooring. 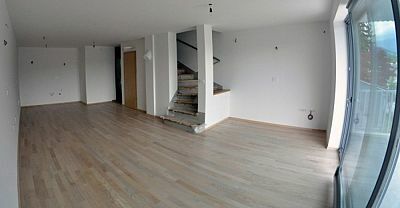 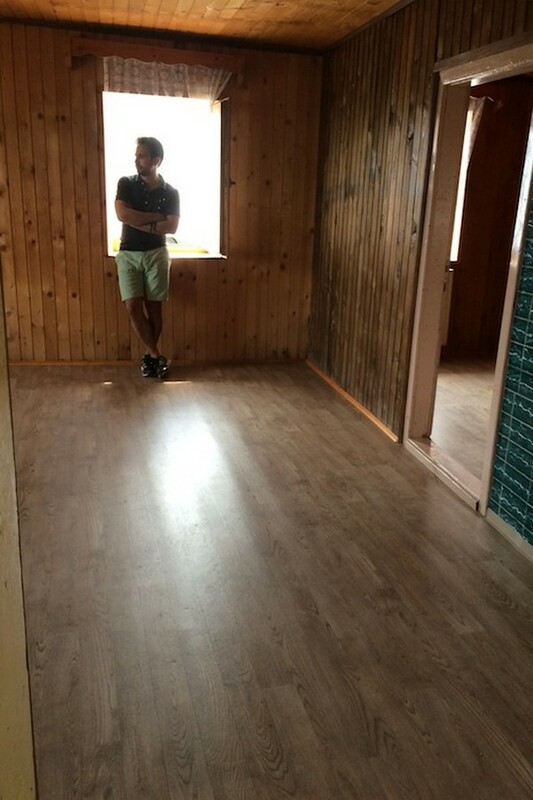 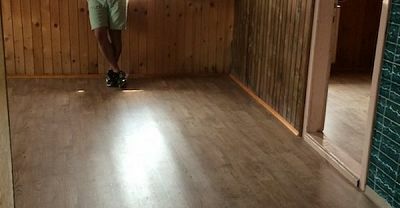 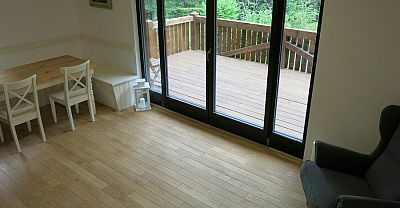 The old wooden flooring was sanded down and laquered to make it look virtually brand new. 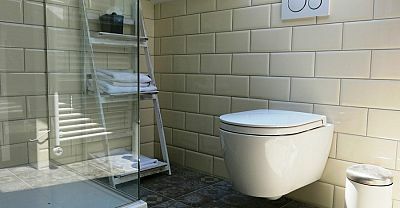 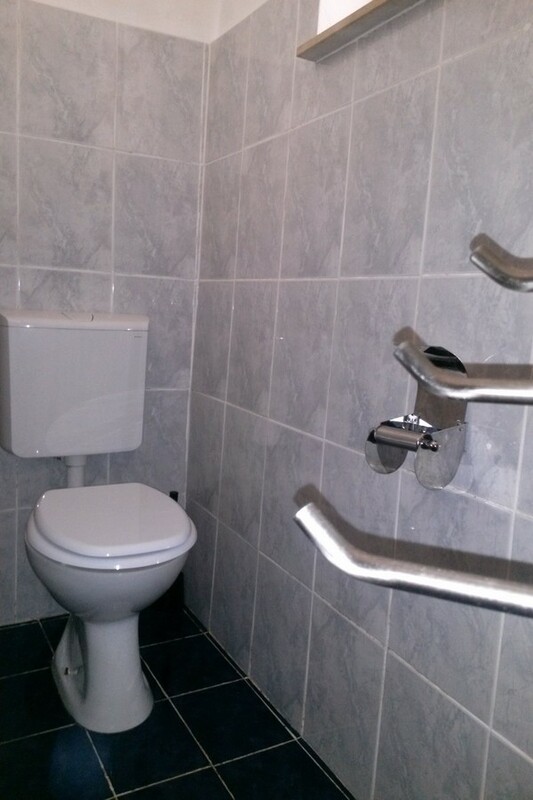 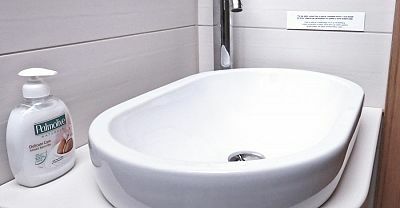 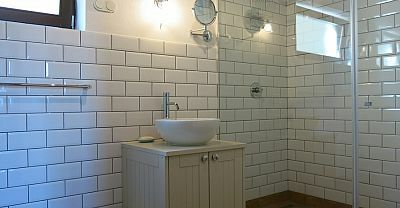 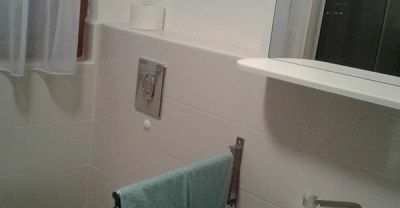 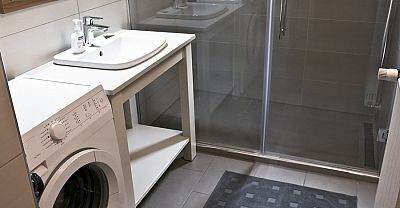 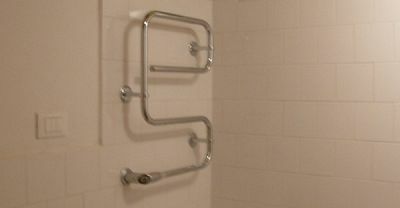 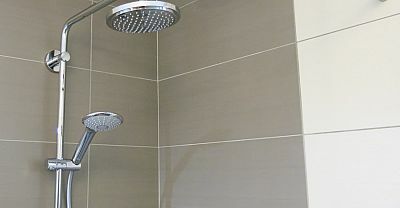 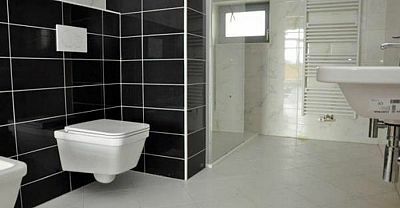 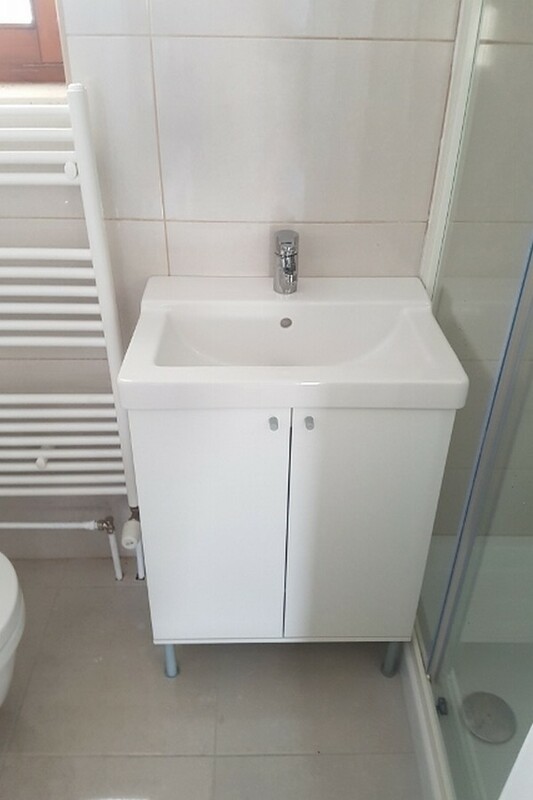 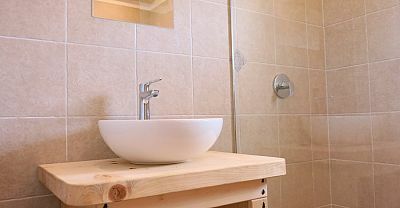 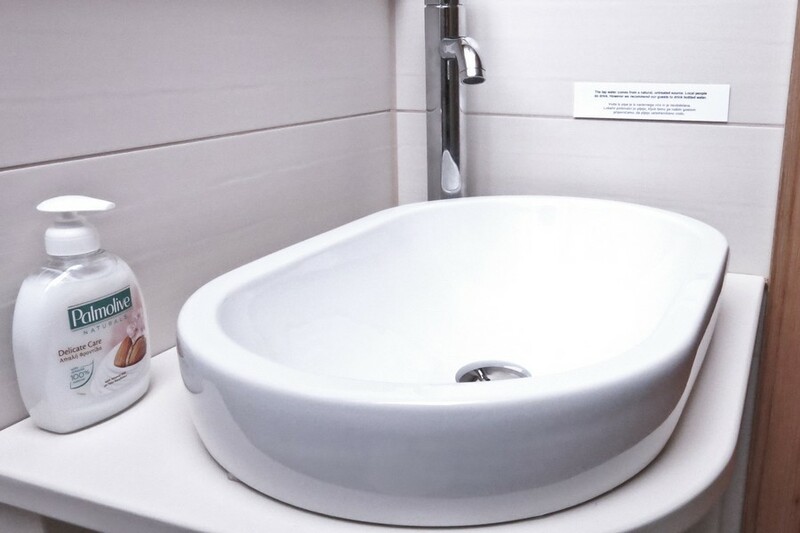 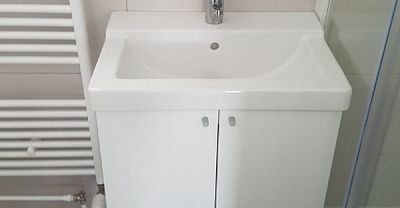 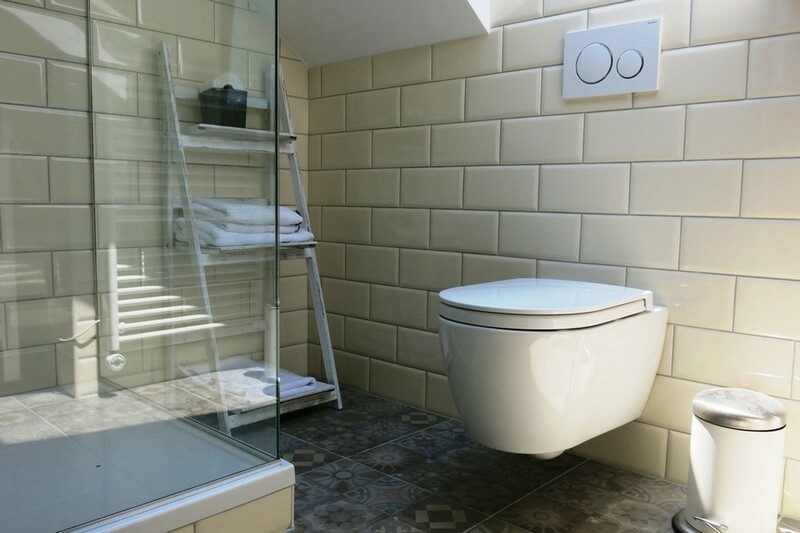 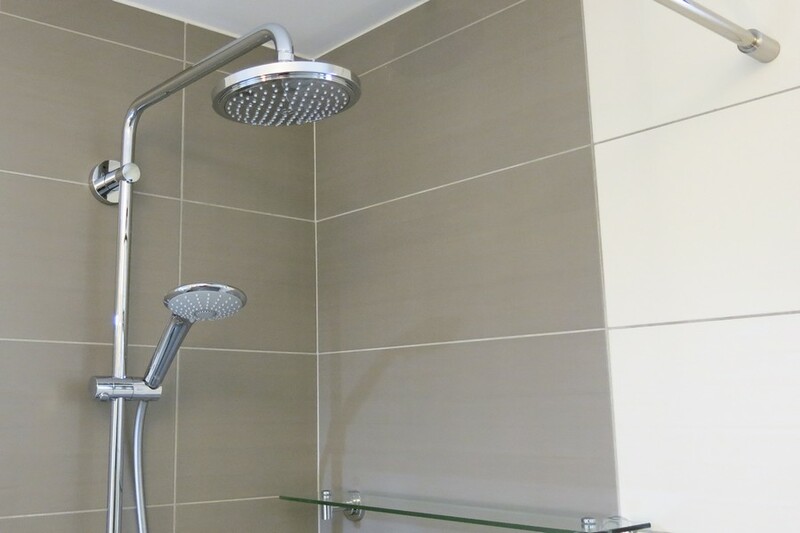 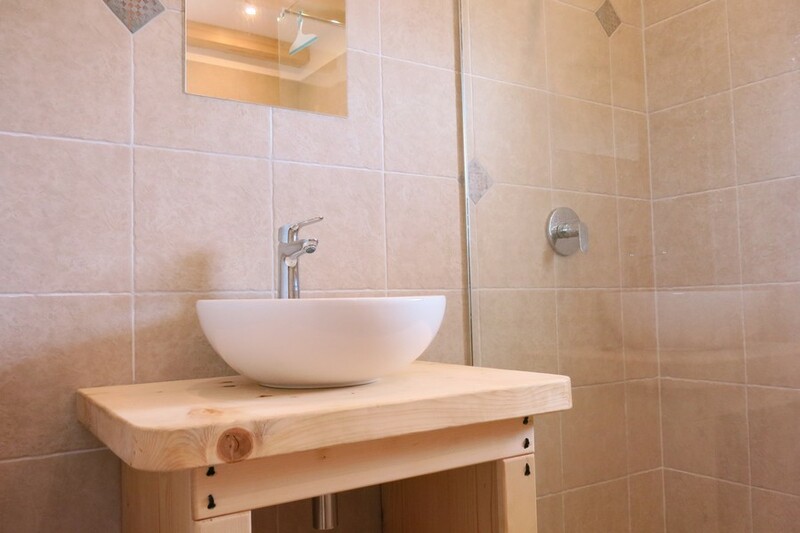 Most of the fittings were purchased, delivered and fitted from Ikea, and the bathroom fittings and furnishings were obtained from our long term partner for suply of bathroom fittings and ceramics. 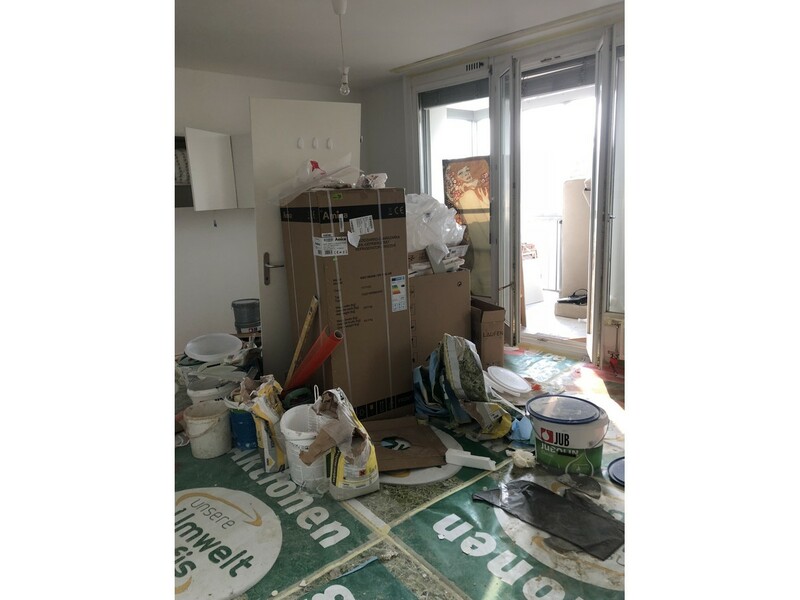 All items were carefully chosen by our client who was very responsive which made it possible to complete the project on time. 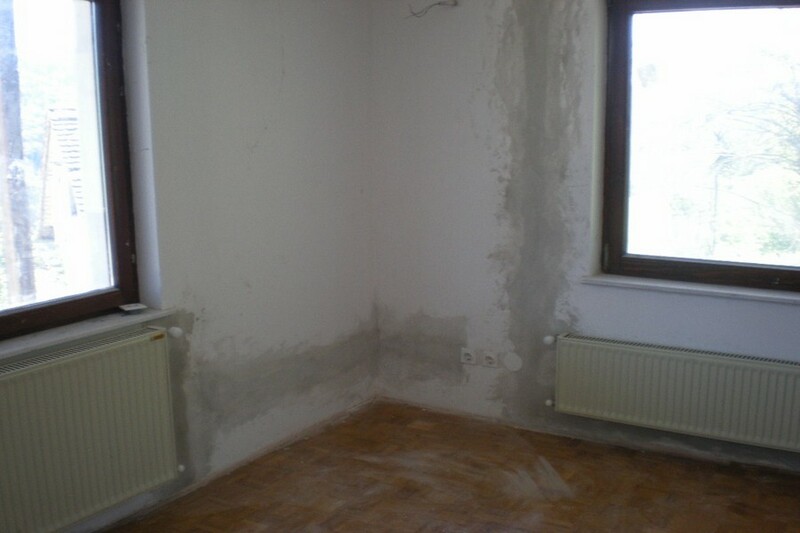 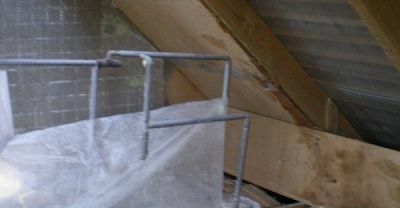 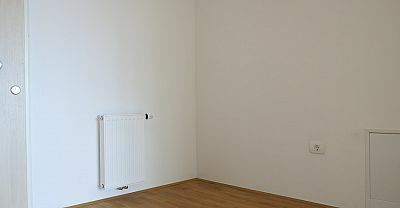 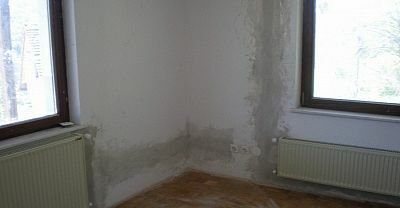 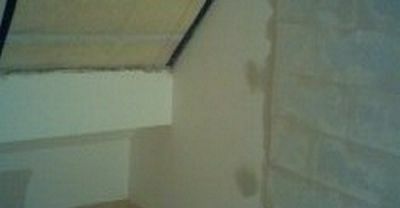 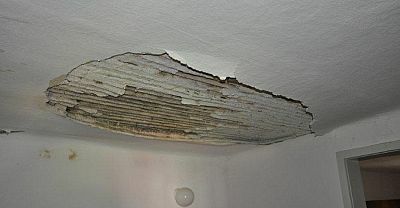 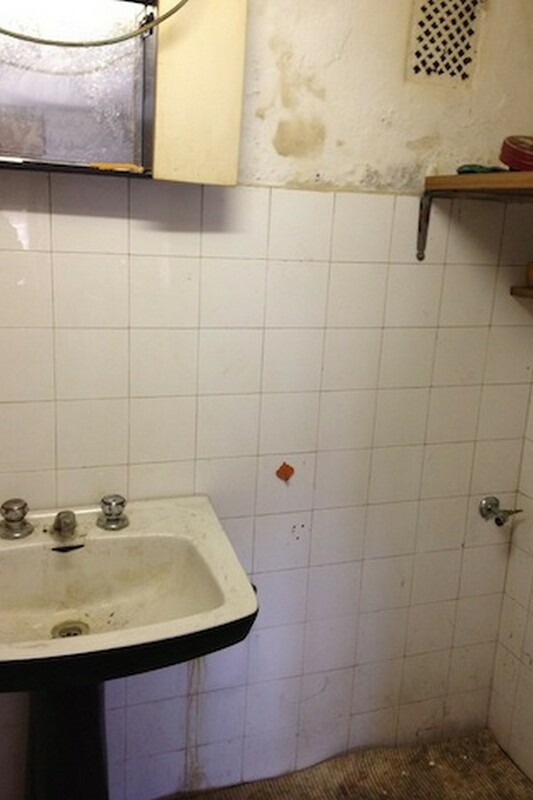 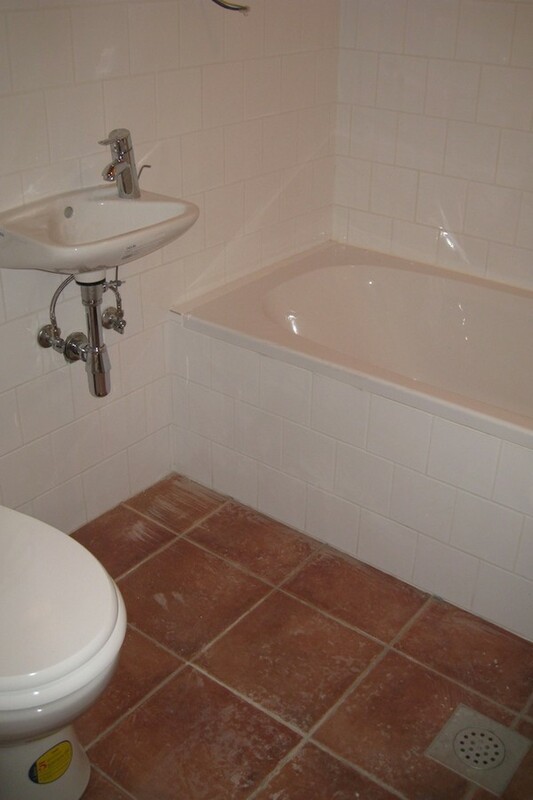 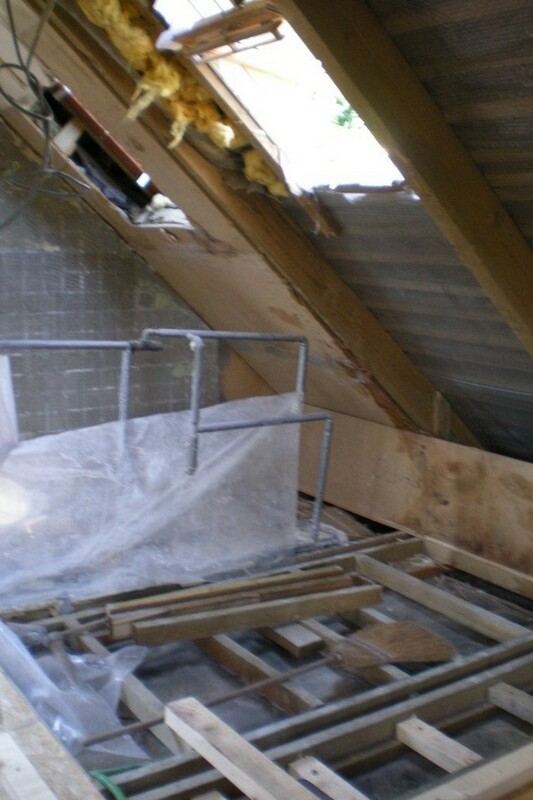 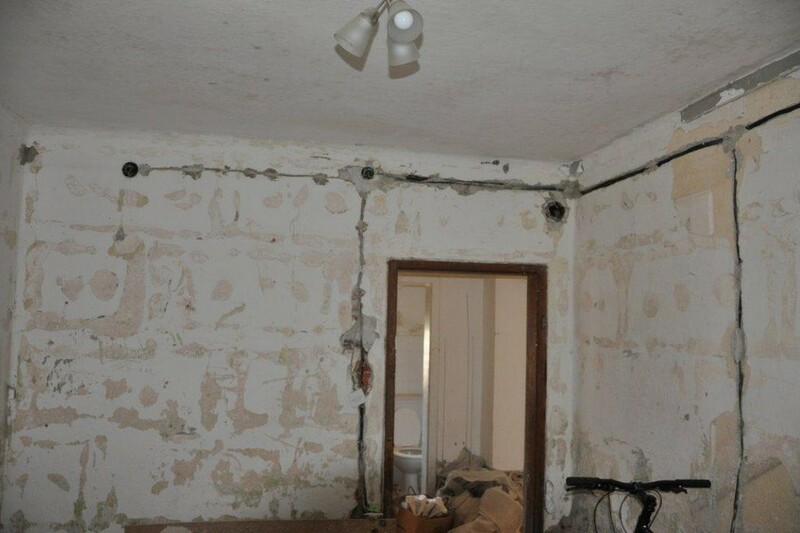 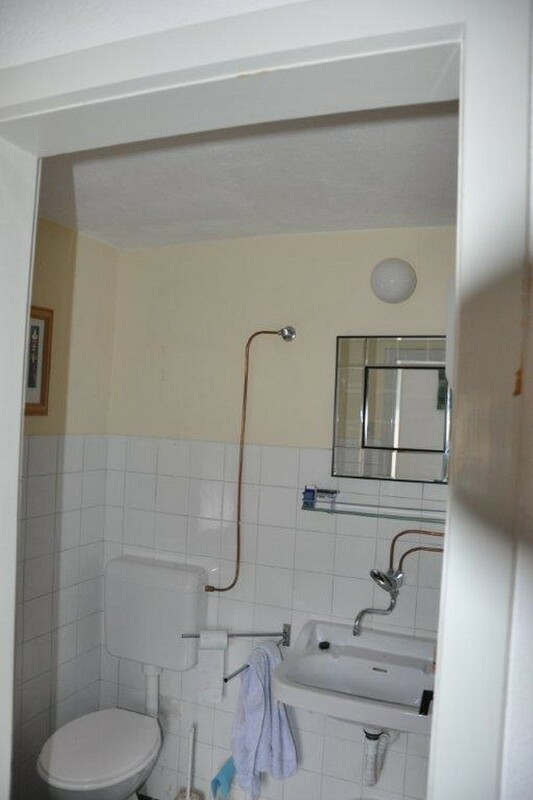 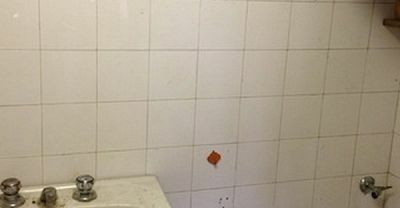 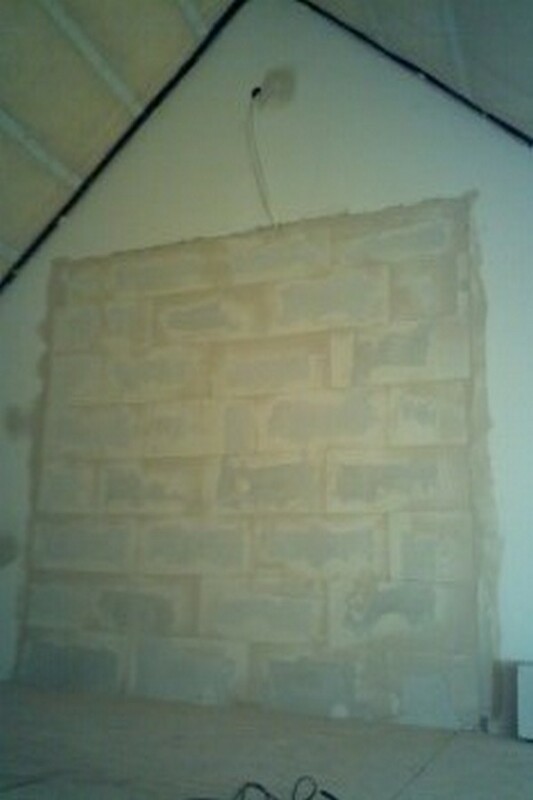 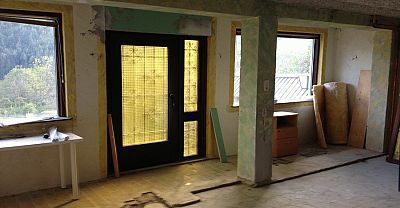 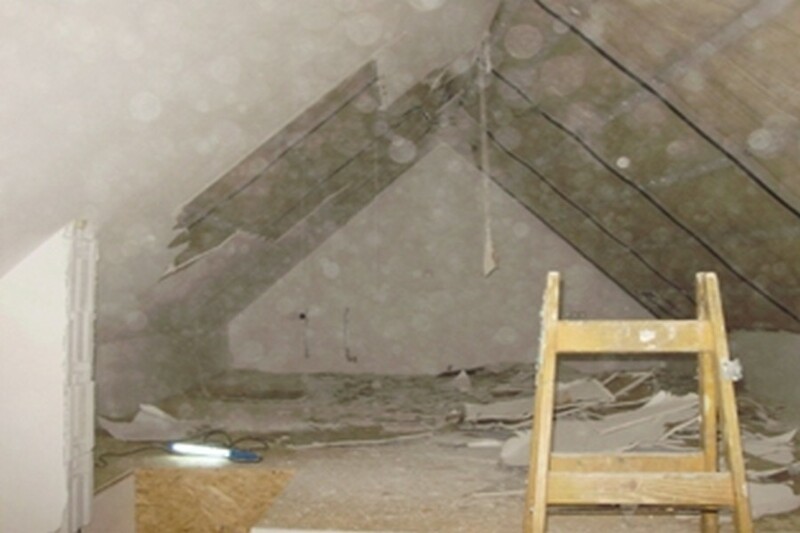 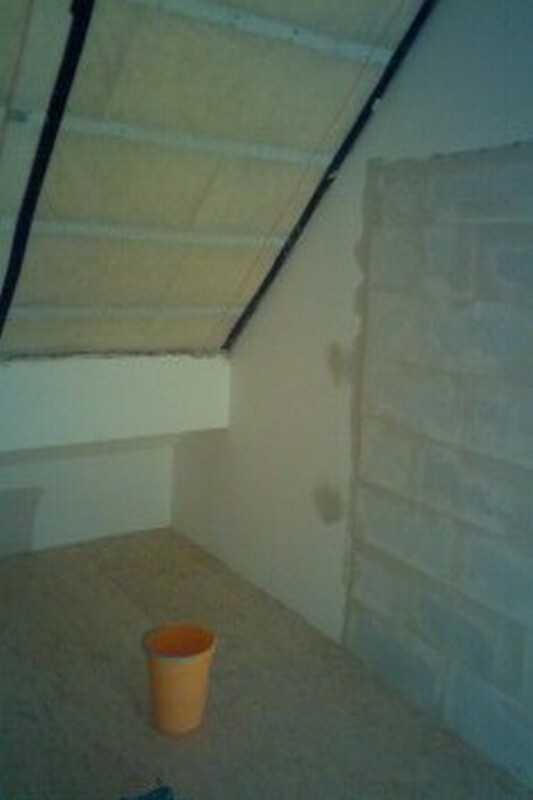 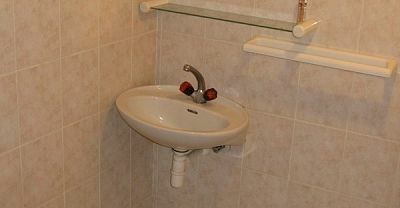 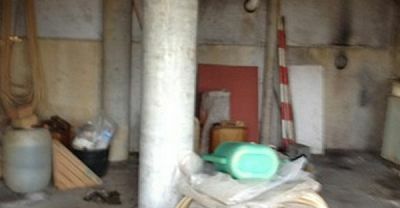 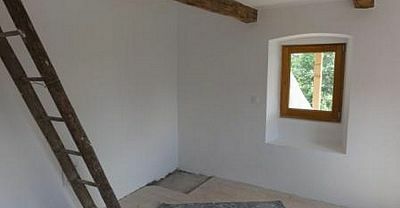 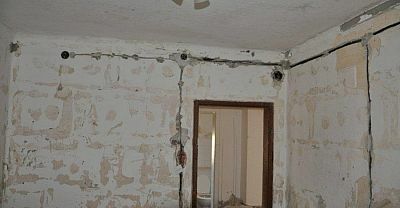 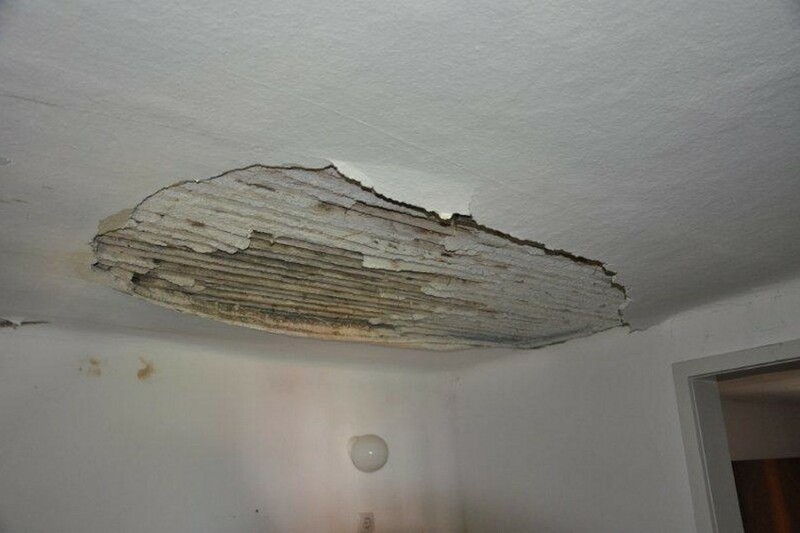 The best news was that the a rental contract was signed with a long term tenant before the works had even finished. 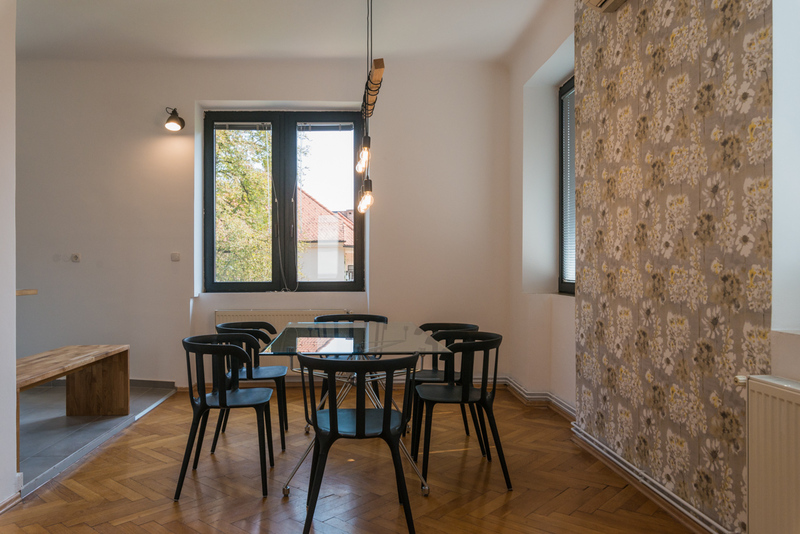 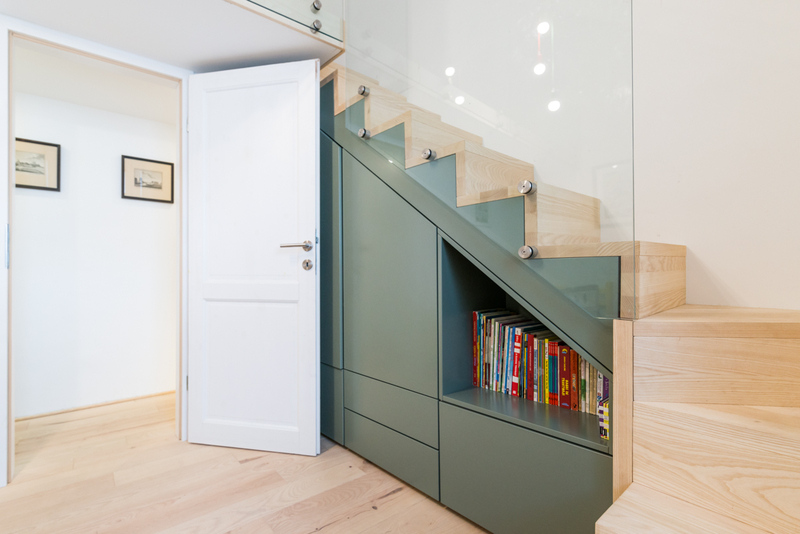 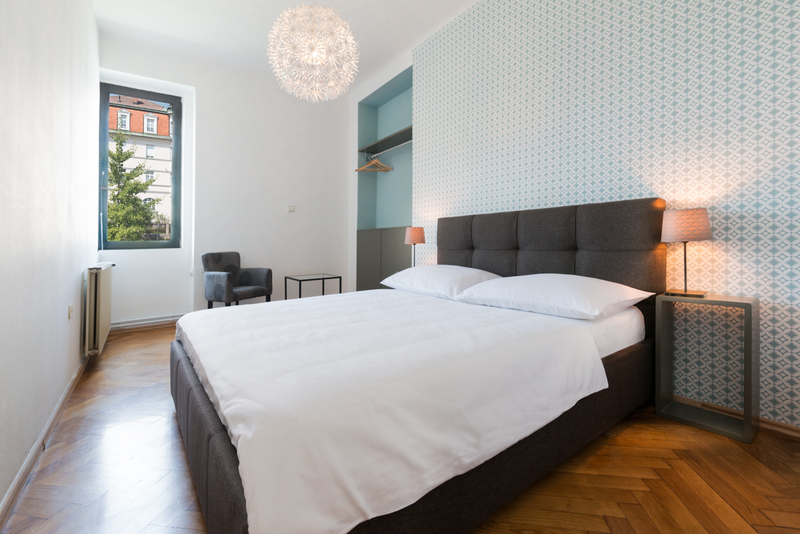 Barrio Alto was a fun renovation project in a building dating back to 1700 in the heart of the old town in Ljubljana. 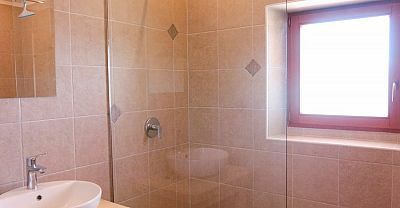 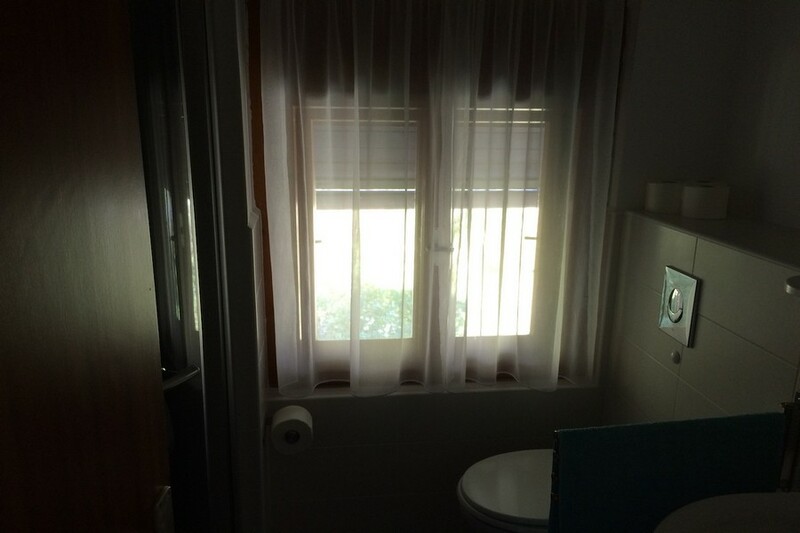 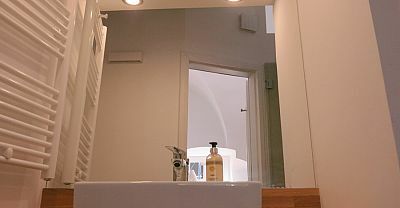 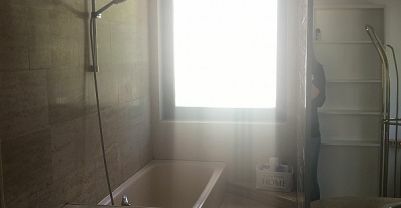 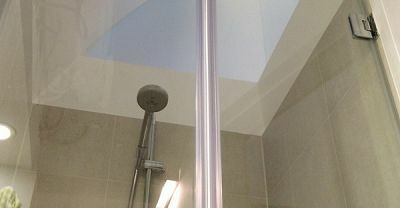 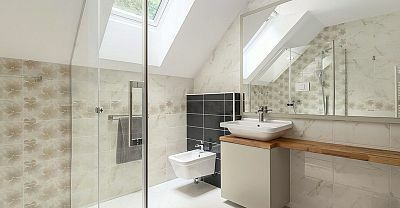 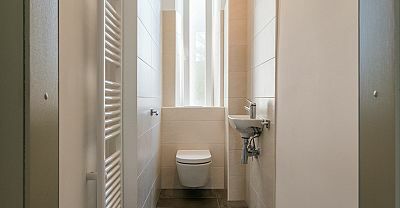 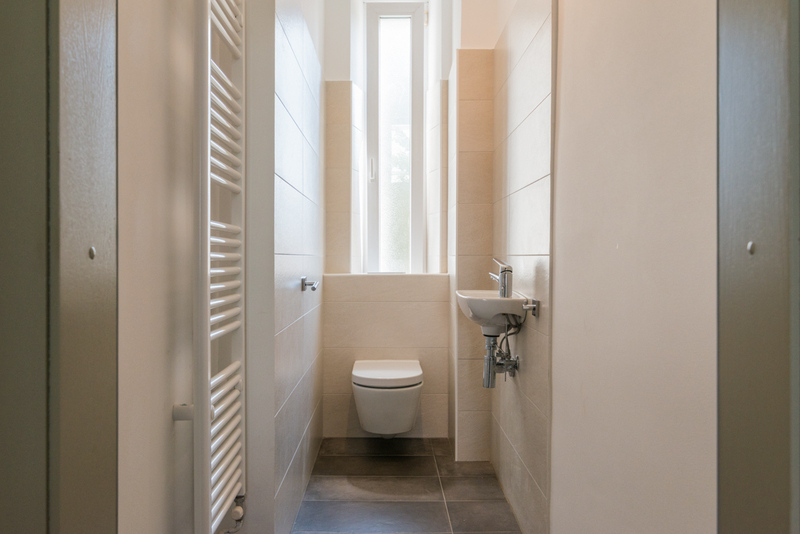 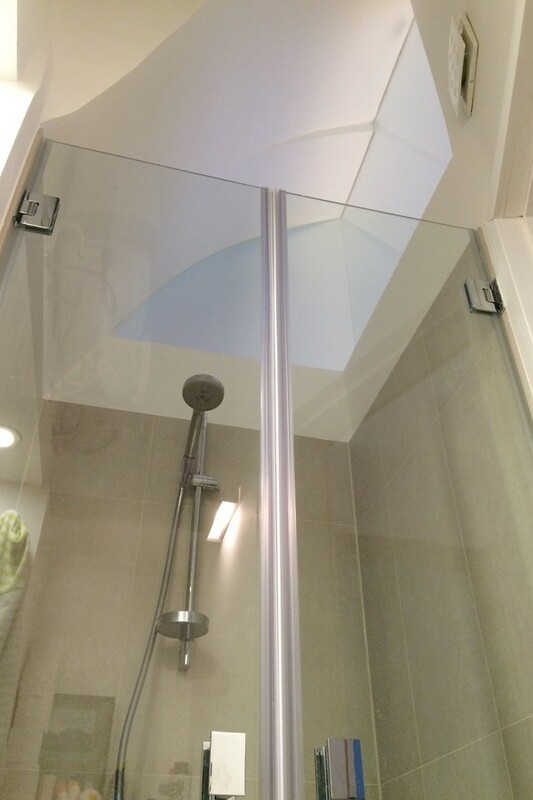 The Bathroom seemed like it dated back to the same period so needed complete replacement and we came up with the idea of a glass wal section at the top of the bathroom to let in light to a space which was otherwise without windows. 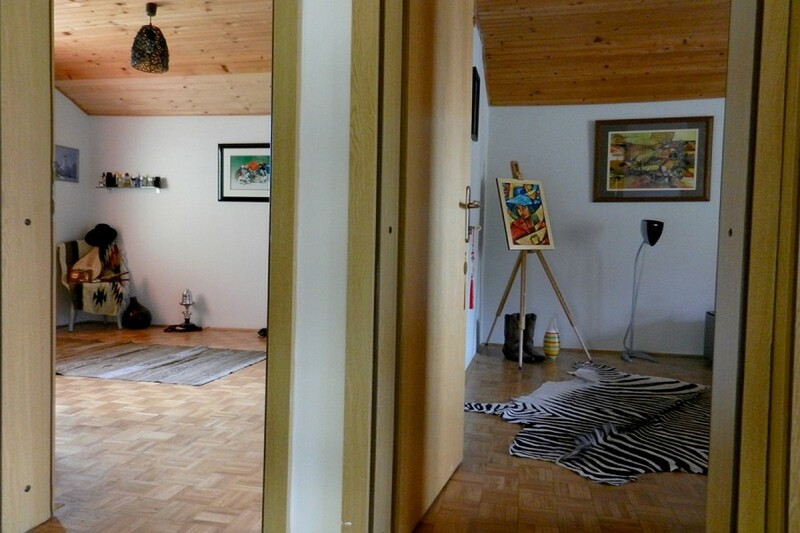 The apartment was also completely rewired and refloored with lovely oak floorboards. 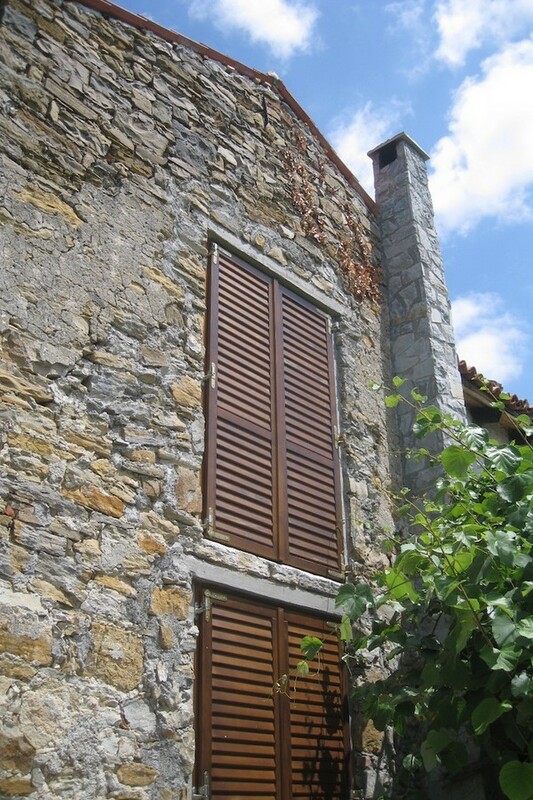 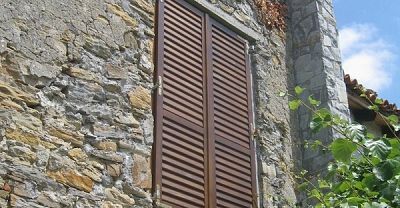 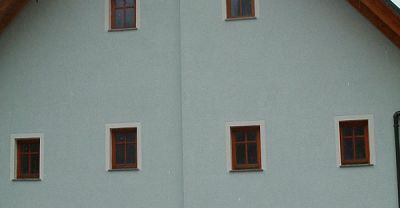 We replaced all the windows obtaining EU Eko Funds which also required consent from Cultural Heritage office. 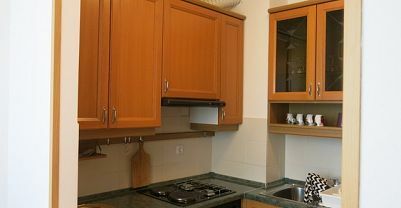 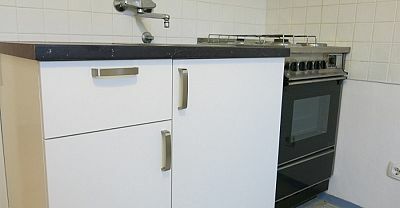 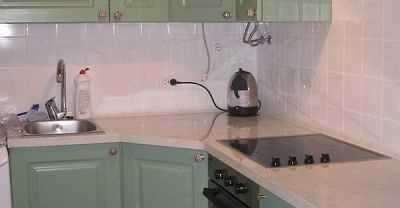 A kitchen belonging to the owners was reconditioned and cleverly installed to minimise wastage of existing cupboards / appliances. 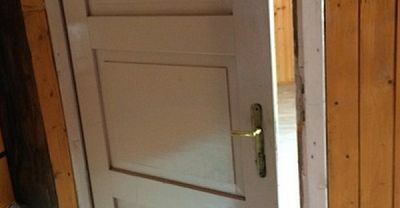 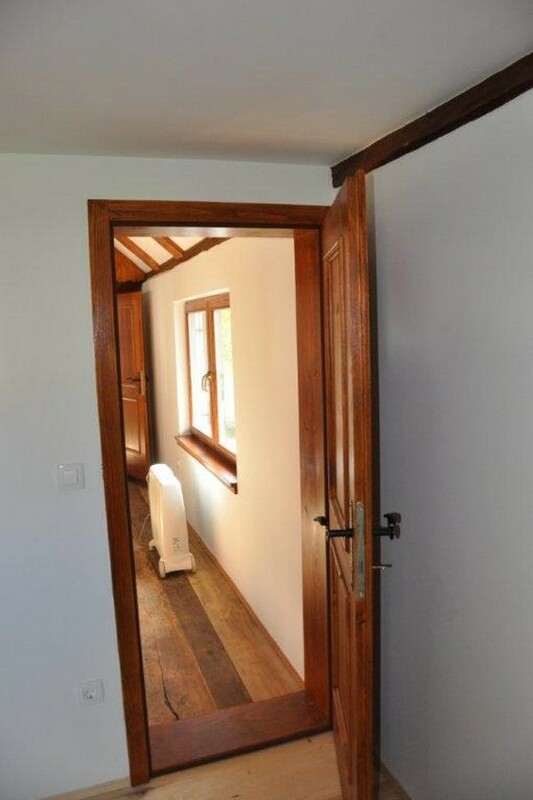 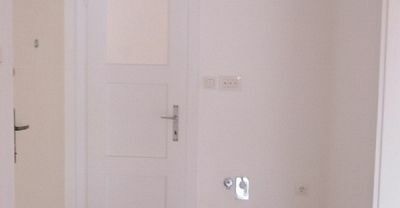 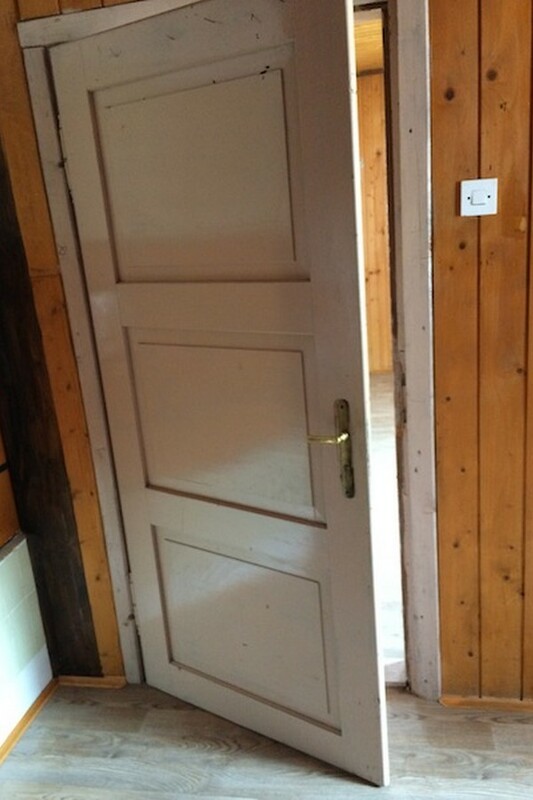 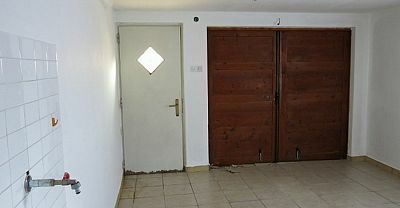 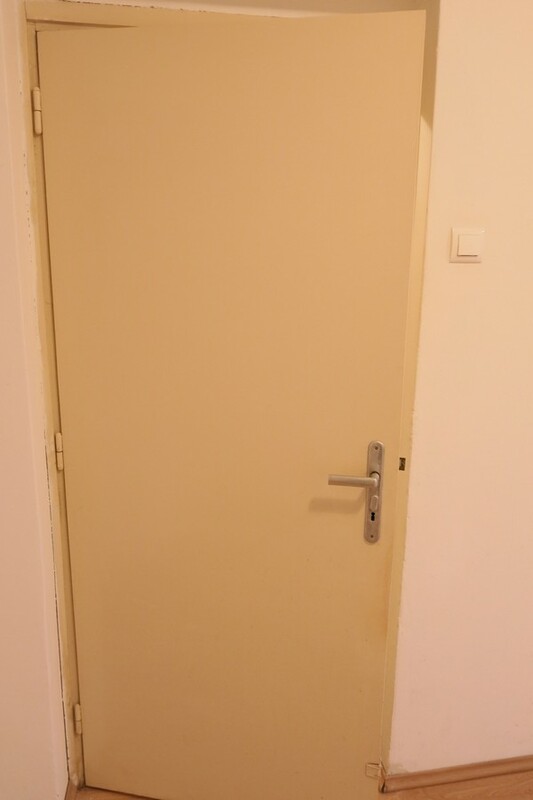 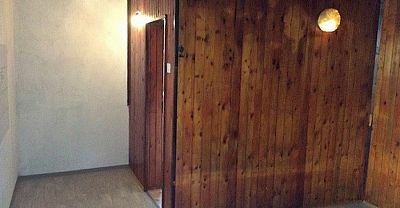 The apartment wss also fully redecorated and the final touch was a beautiful brand new solid wood oak front door. 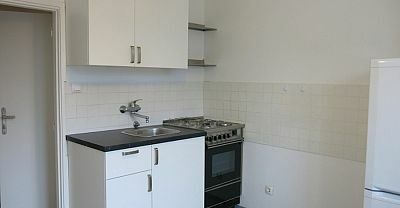 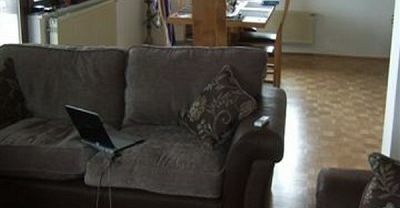 The apartment is now operating as a successful rental property. 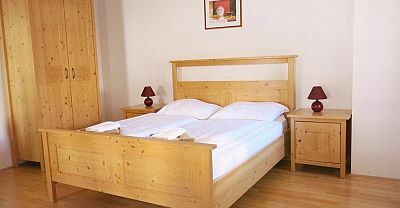 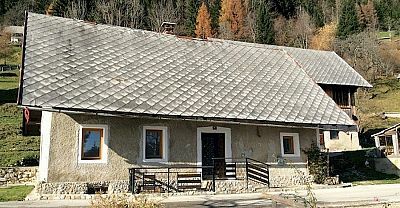 In 2006 Think Slovenia began assisting a Slovenian firm to build a portfolio of three tourist rental properties in Slovenia's Julian Alps. 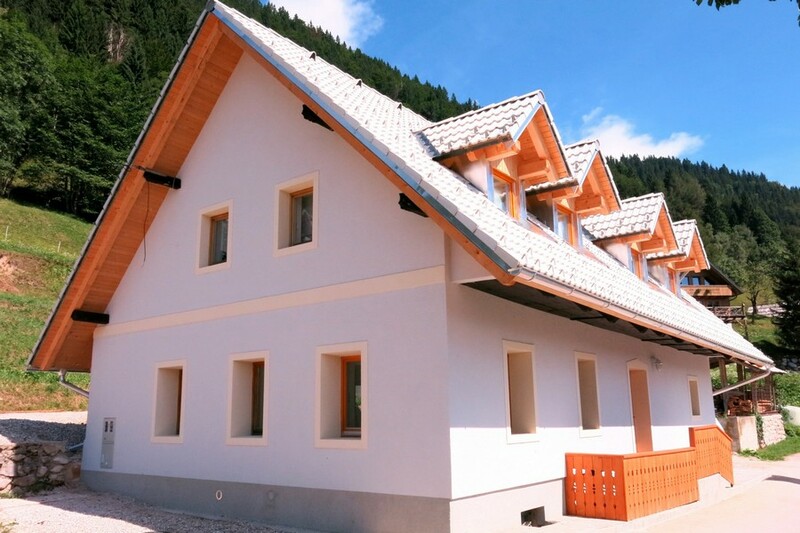 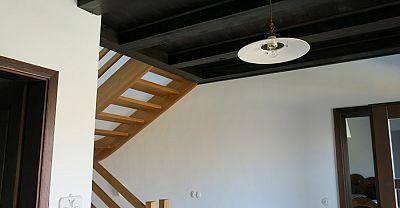 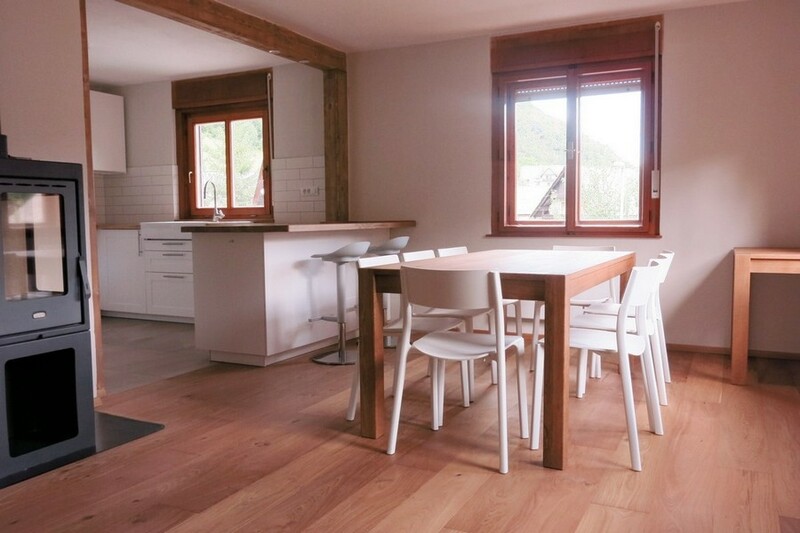 After assisting with the initial acquisition of the sites, Think Slovenia went on to assist in the complete renovation of one of the houses in Bohinj - sourcing architects, managing the tender process for builders and then project managing the works to completion on time and to budget. 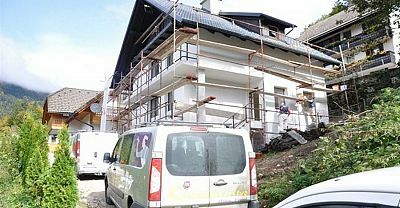 Works included installation of central heating, new wiring and plumbing, new staircase, floors & external landscaping, new roof and facade. 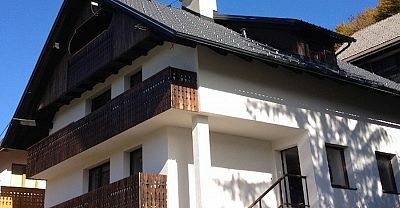 Villa Belica, whilst changing owners inthe meantime, has been successfuly rented and managed by Think Slovenia ever since. 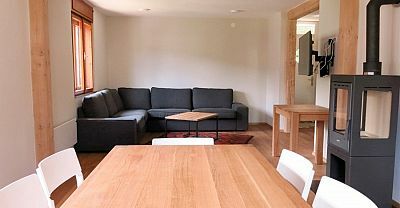 Jiran is a Slovenian Company owned by a group of English people that has developed a portfolio of luxury apartments for the discerning traveller in Slovenia. 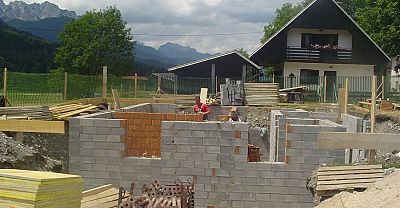 These developments could not have happened without the incredible help received from Dan, Pia and team at Think Slovenia. 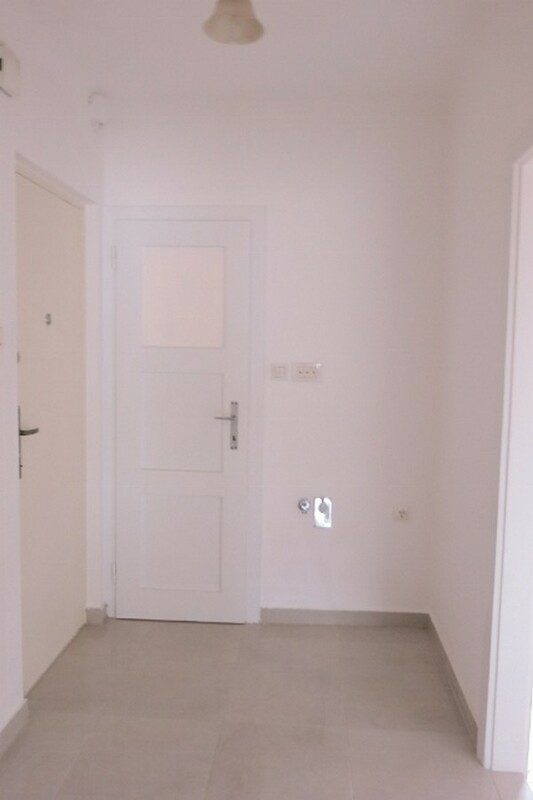 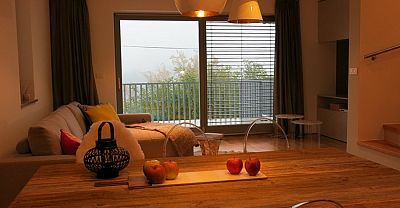 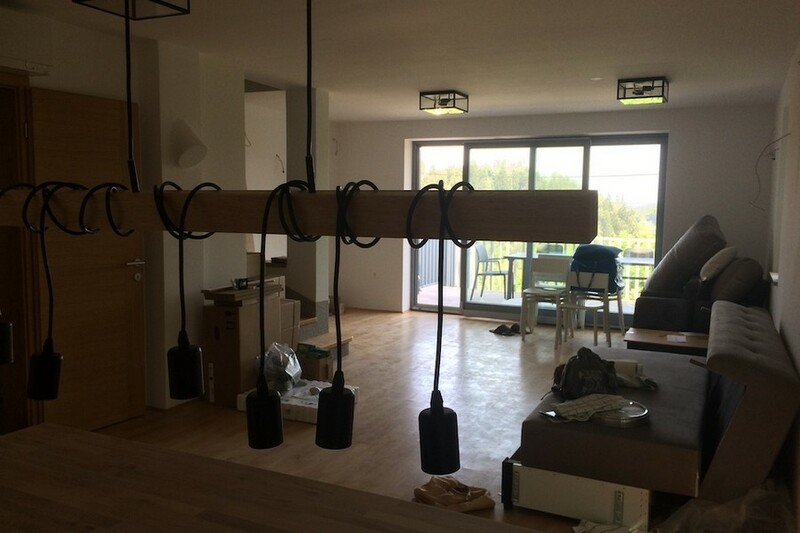 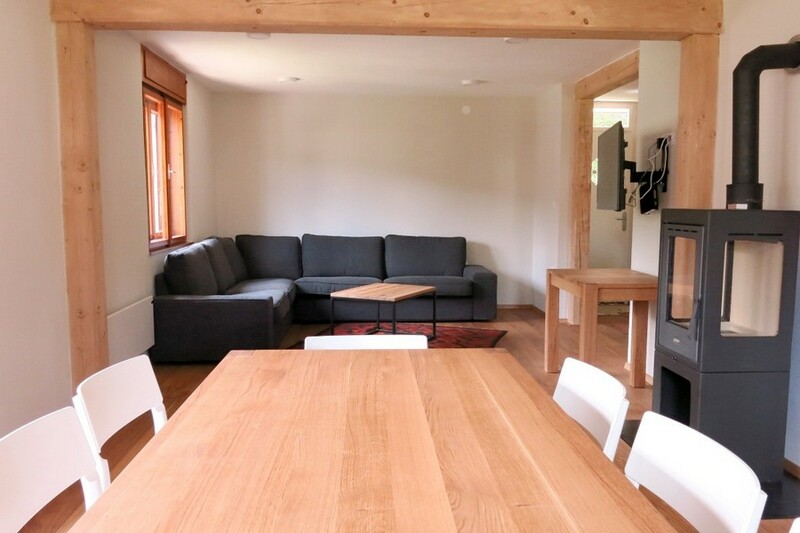 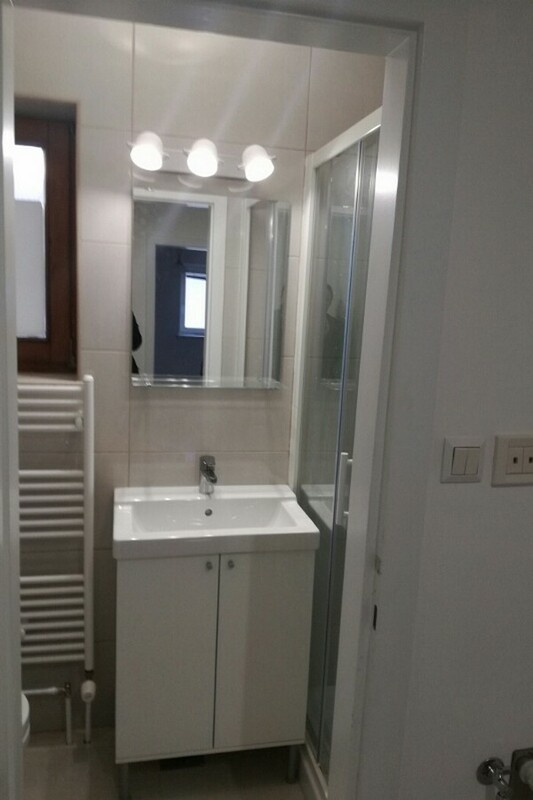 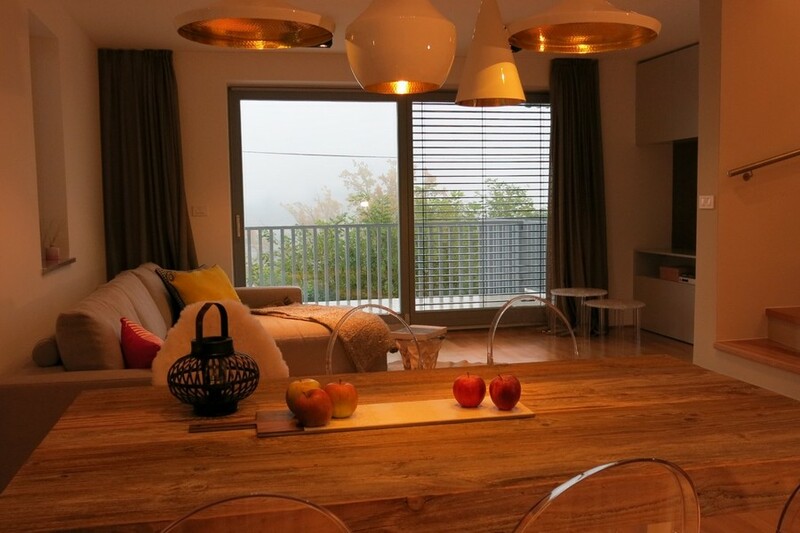 From organising the initial land/building purchase, to assisting through the development of the appts, to furnishing them to a high standard and managing the rentals, Think Slovenia have done an amazingly good job. 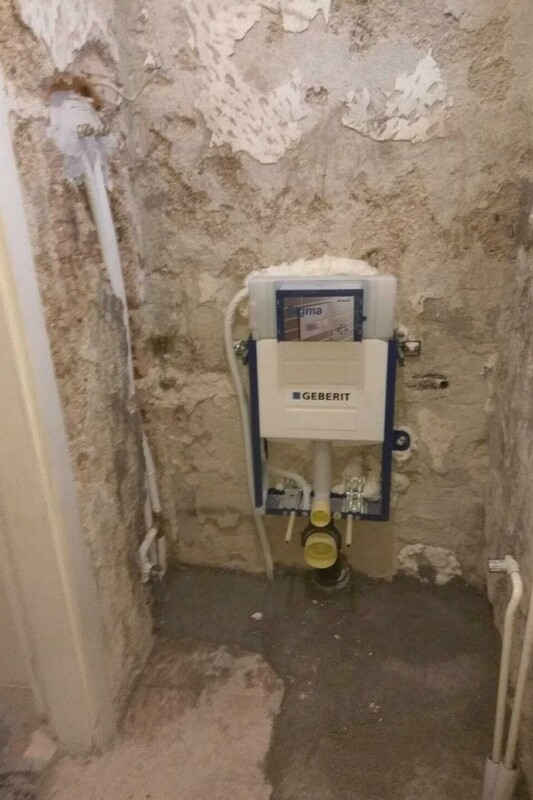 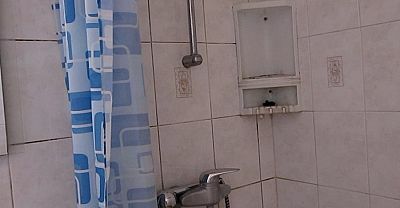 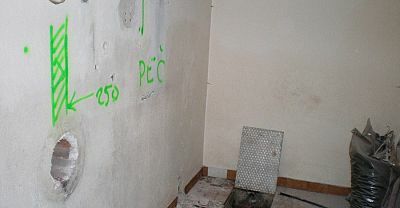 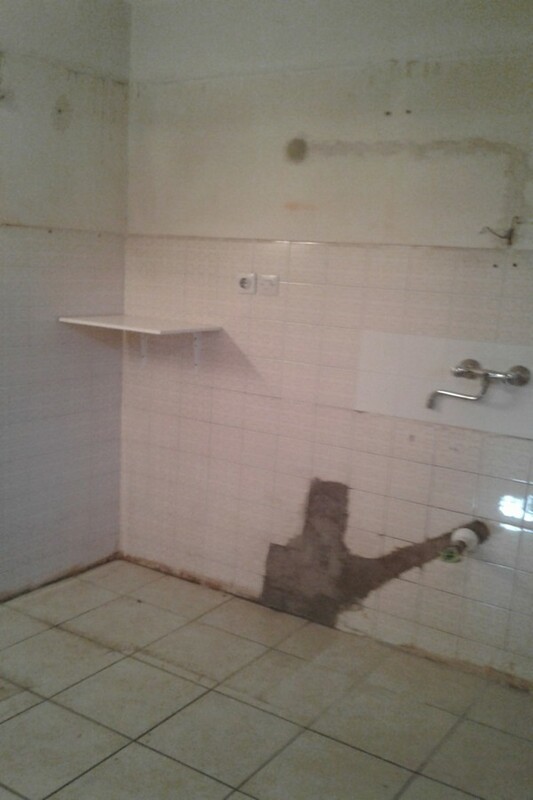 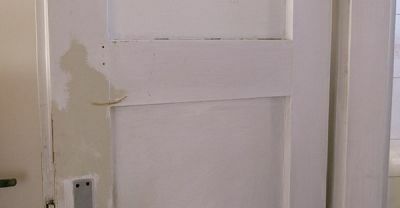 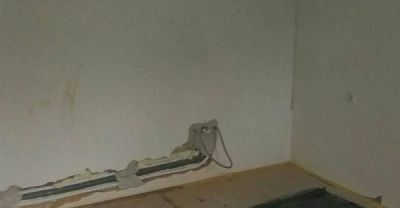 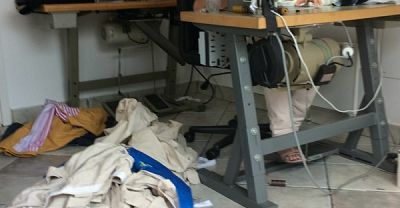 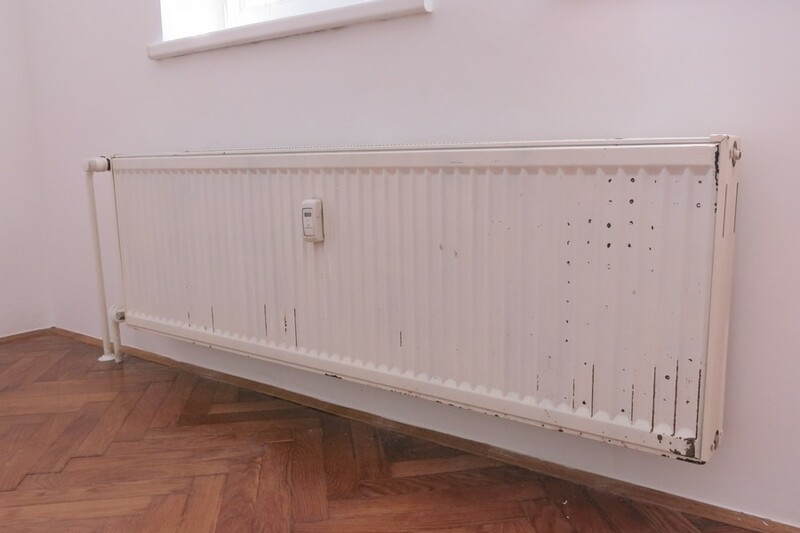 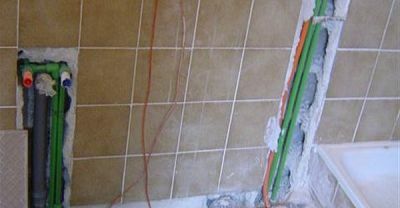 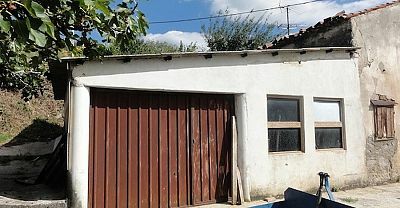 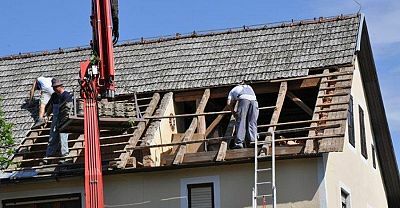 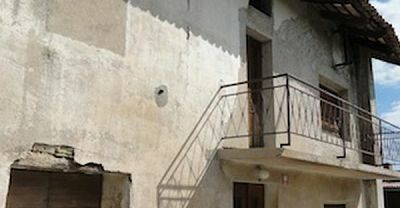 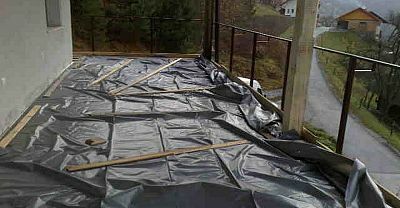 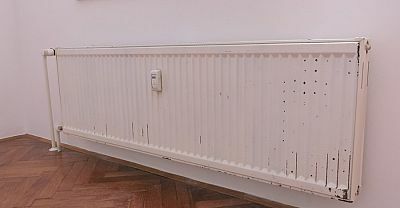 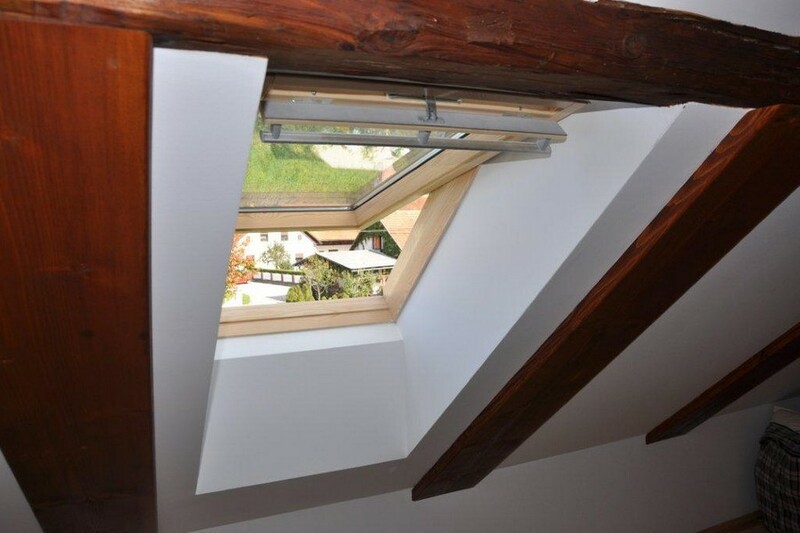 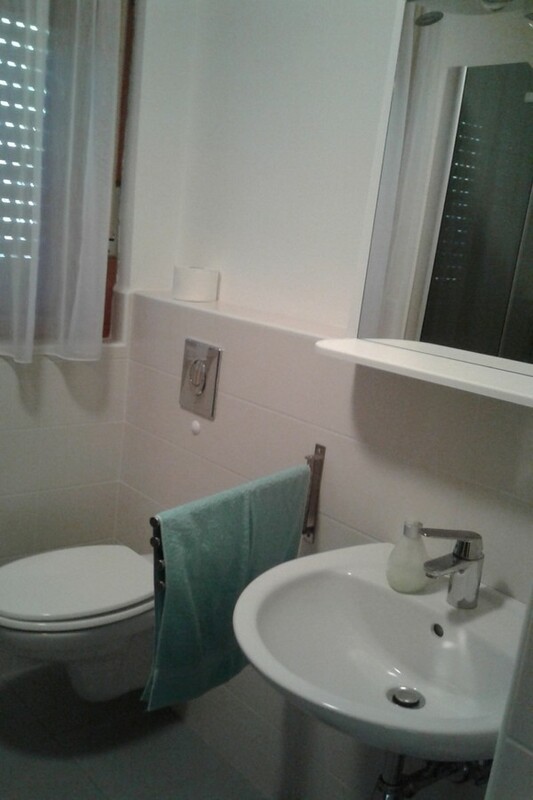 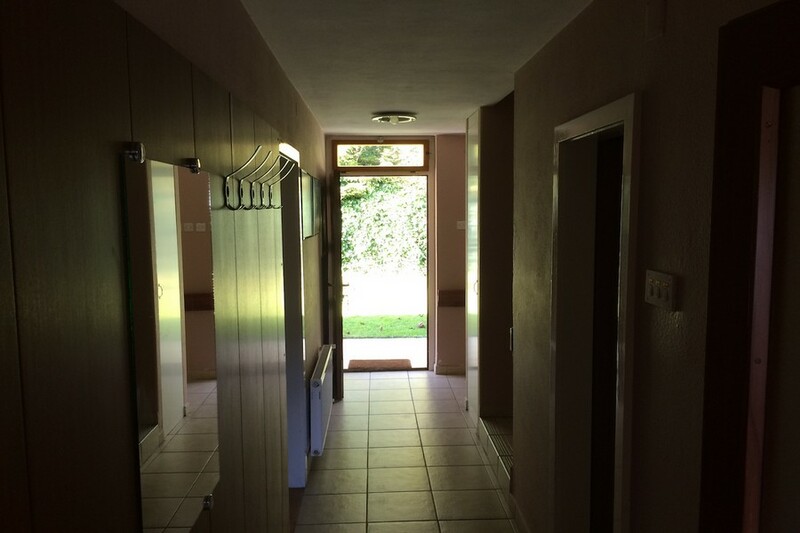 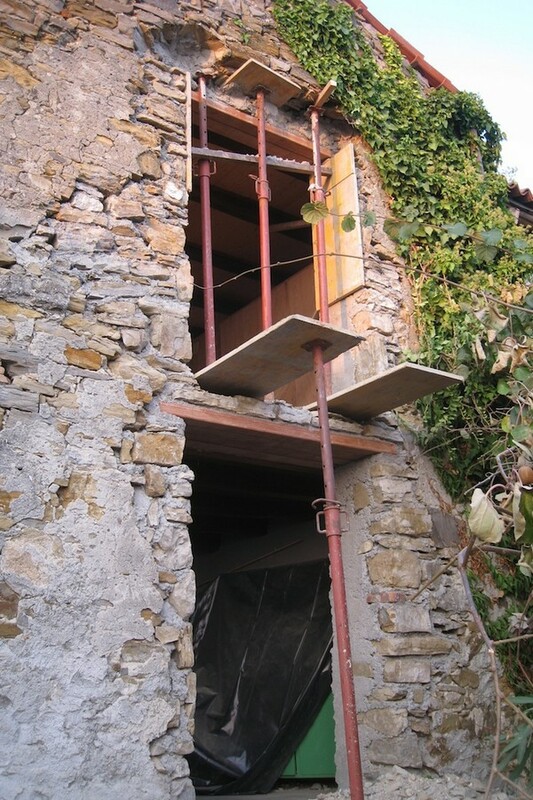 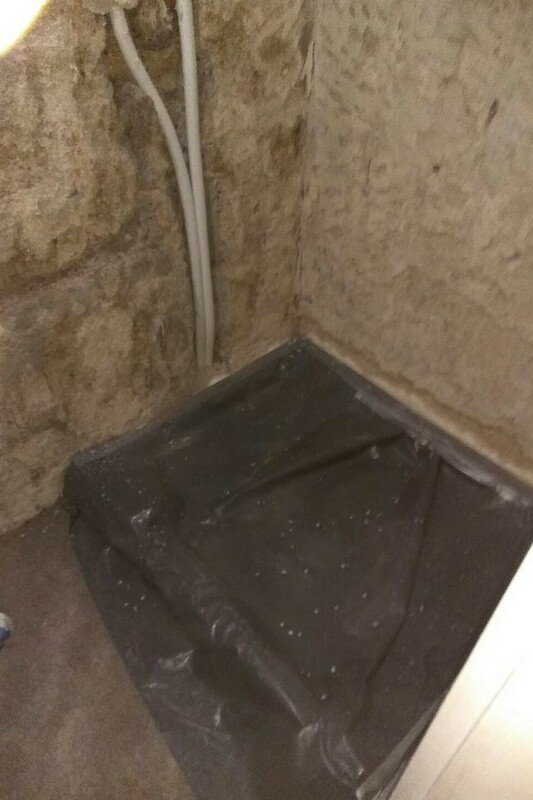 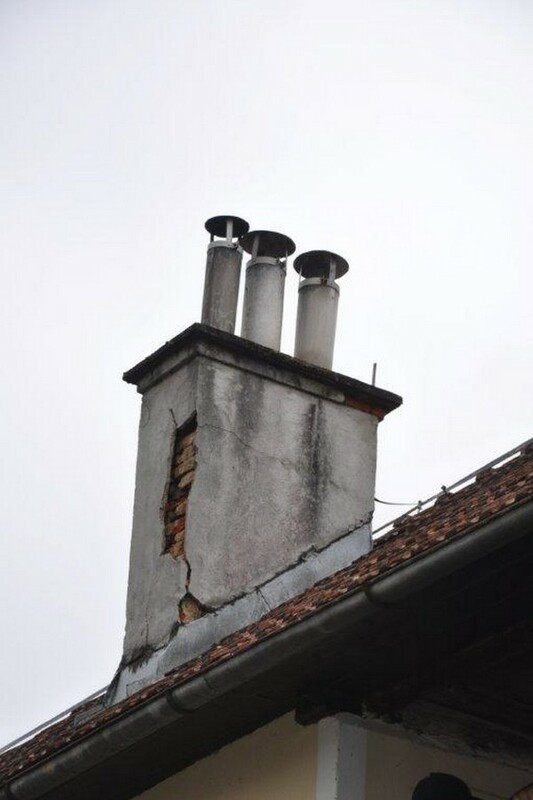 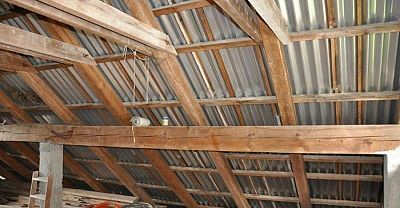 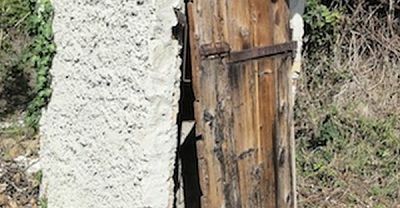 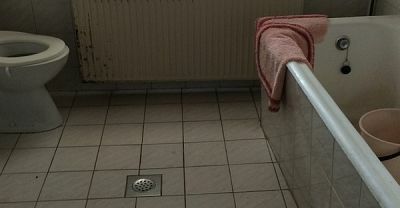 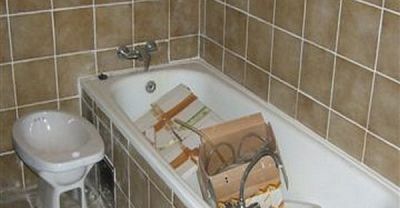 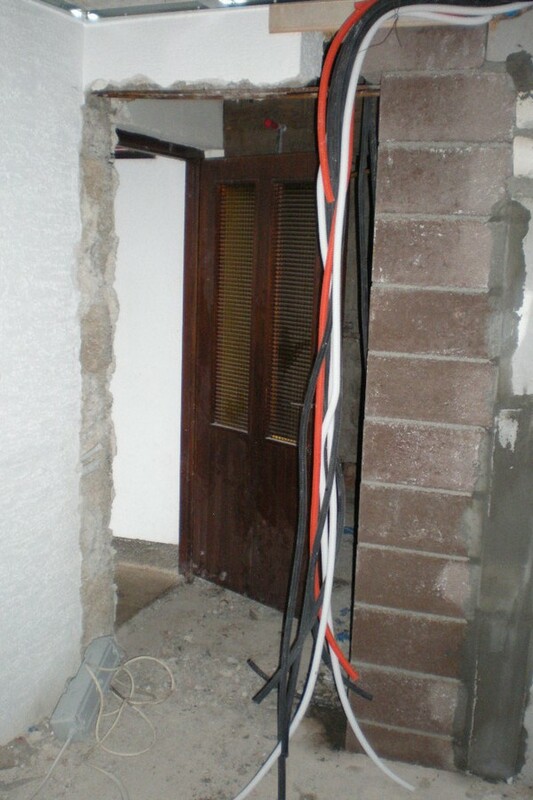 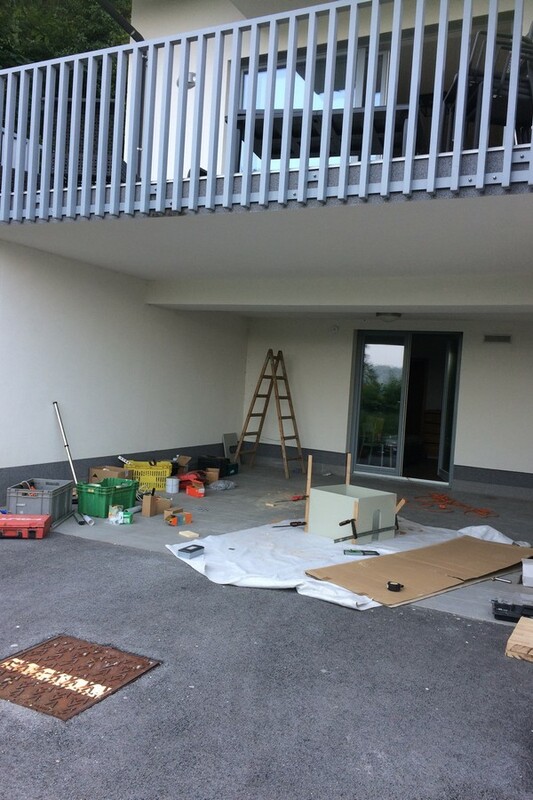 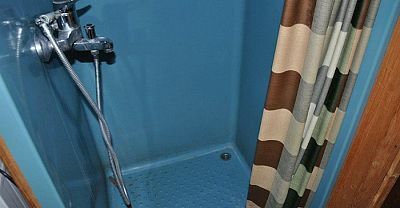 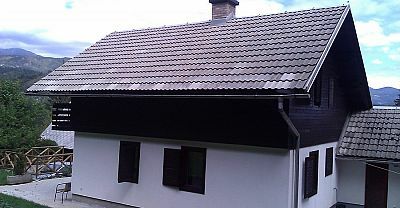 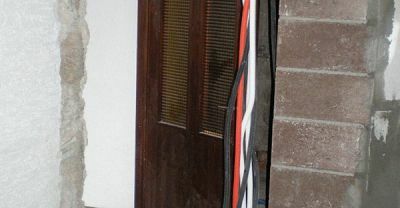 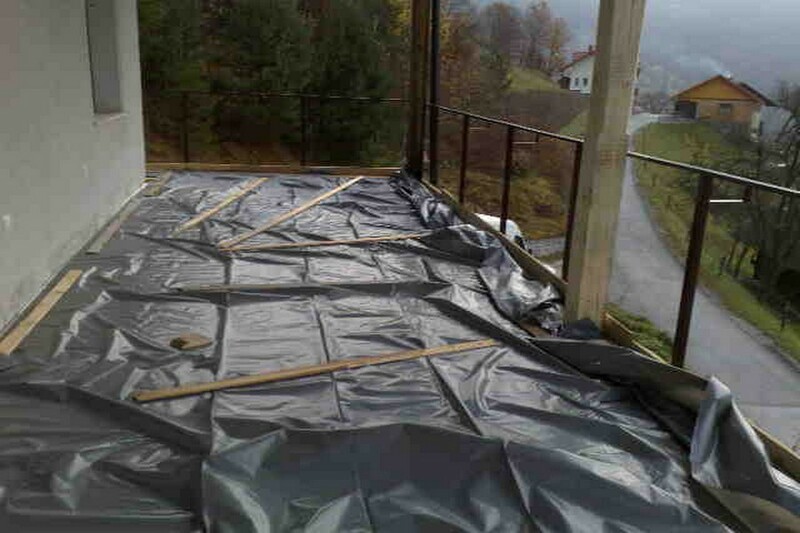 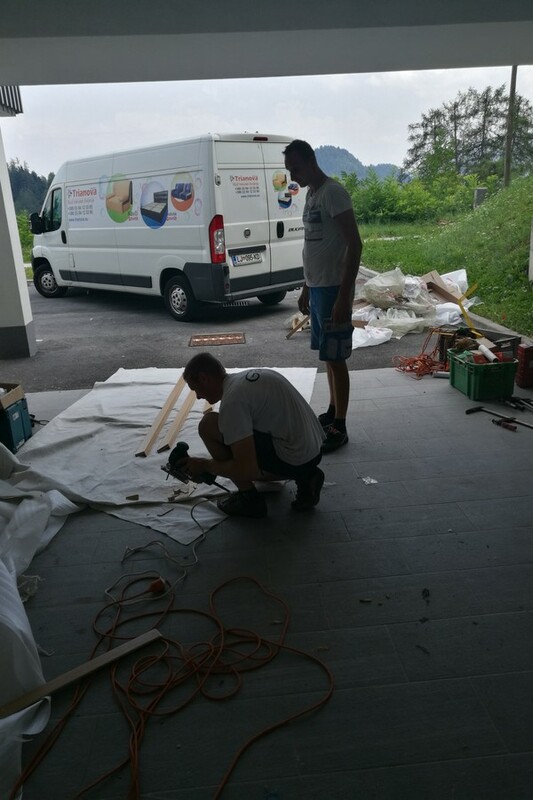 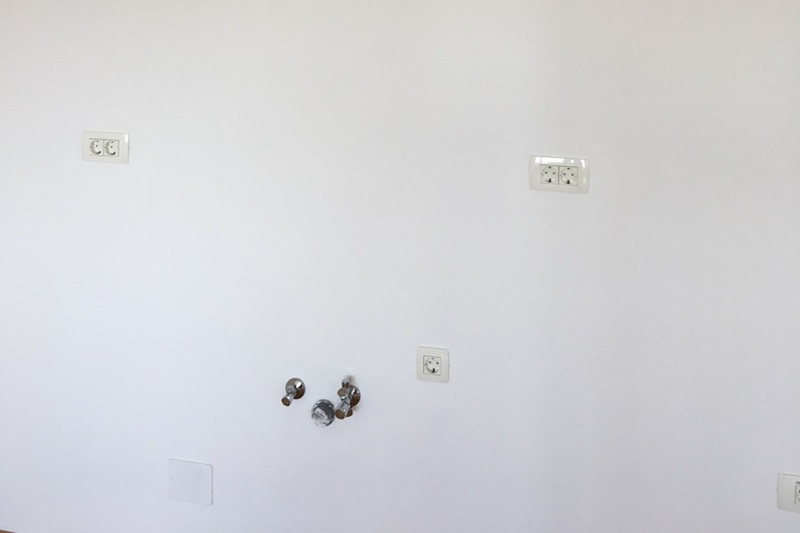 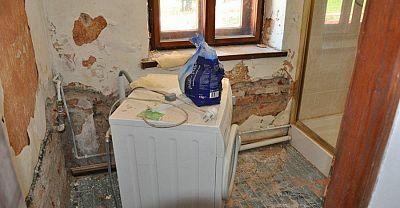 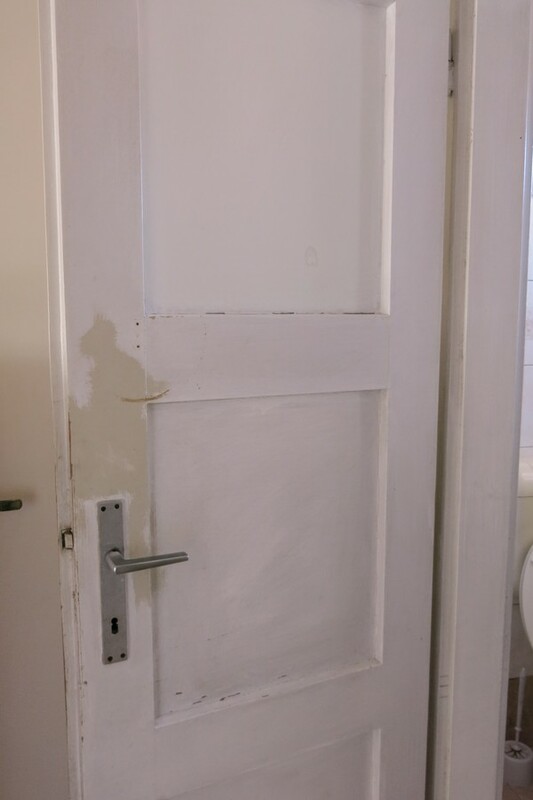 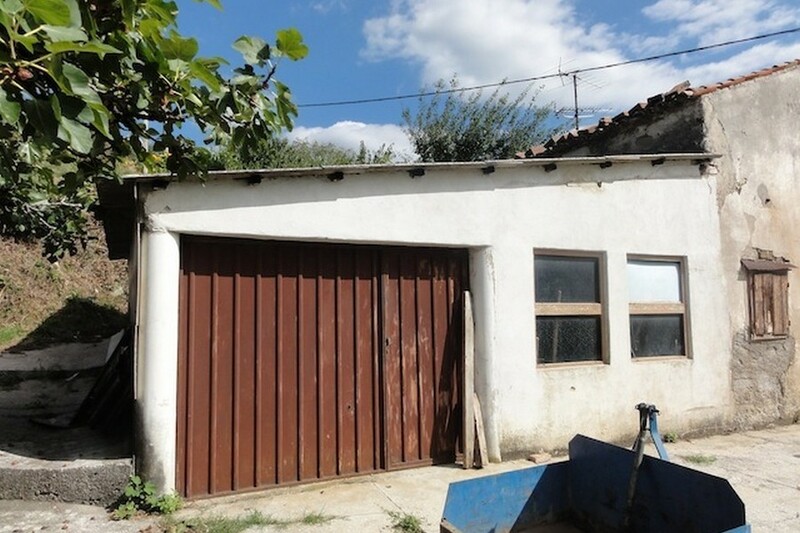 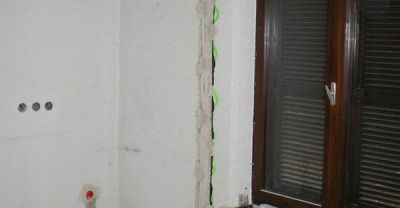 When small maintenance work on a property is needed, when a guest has a problem, when we need to obtain all the right permits Think Slovenia are there to sort out all the issues. 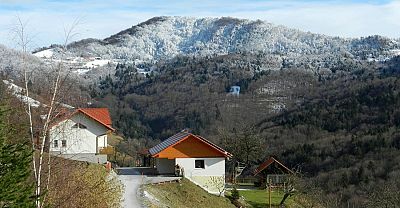 We could never have achieved what we have done without Think Slovenia. 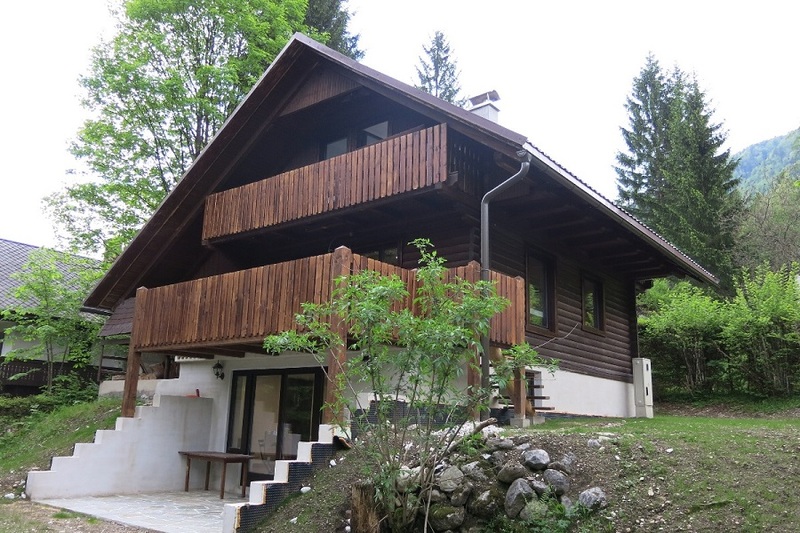 Alan Halsall, Jiran Ltd.
We helped our client from the Netherlands find this beautiful retreat with stunning views near Bohinj lake having searched all across the gorenjska region for the right property. 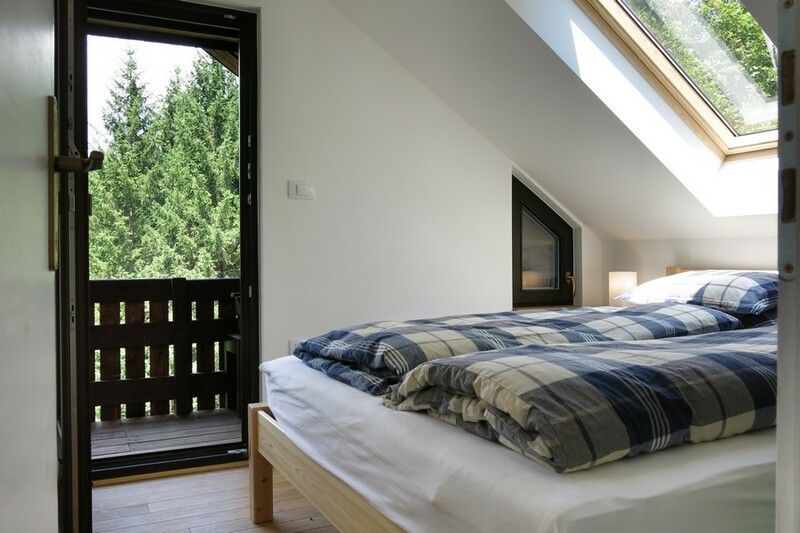 The client's brief was for a house with tourism rental potential that could also be used by himself when empty for relaxing holidays soaking up the views. 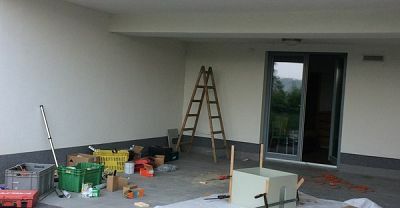 He was happy to take on renovations on condition that it could be done with relatively low involvement from him due to distance and a busy career. 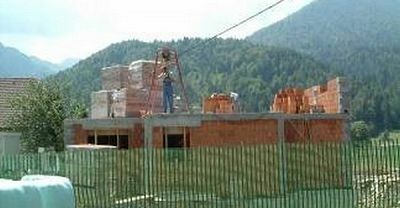 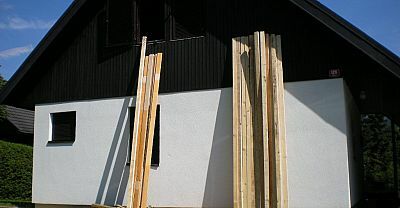 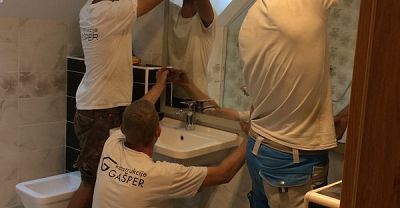 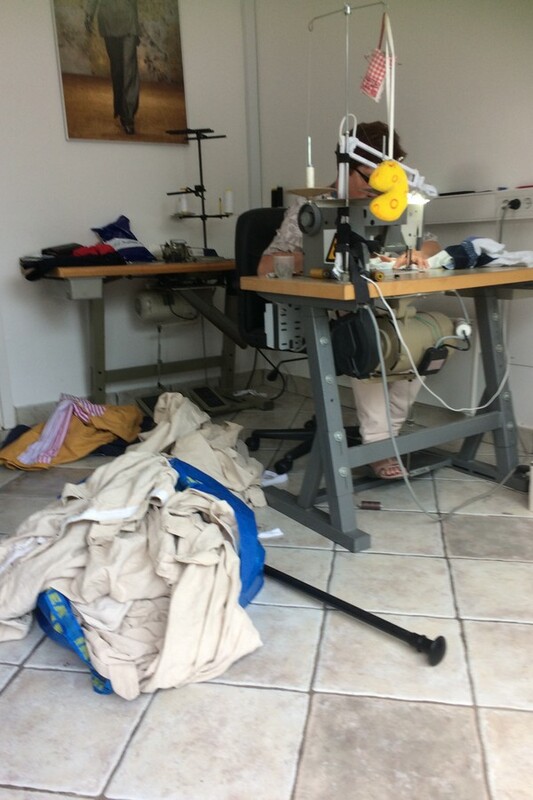 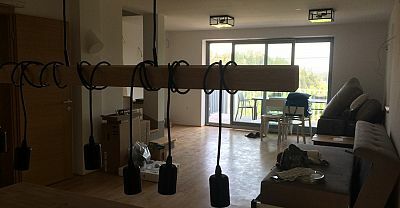 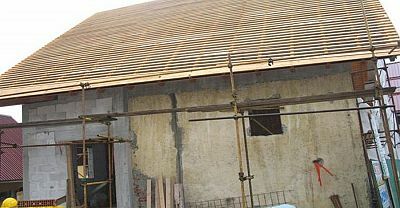 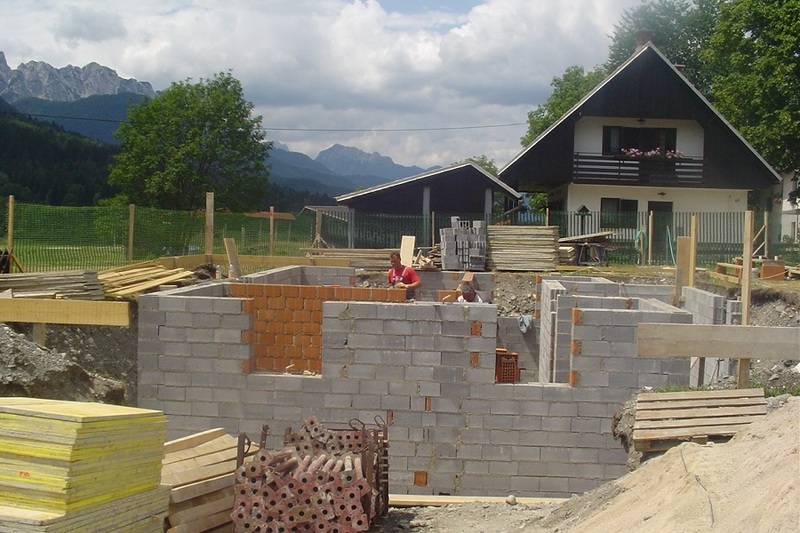 After the purchase was complete the decision was taken to work with a "hands on" local partner building company whom Think Slovenia had positive experience of working with in the past. 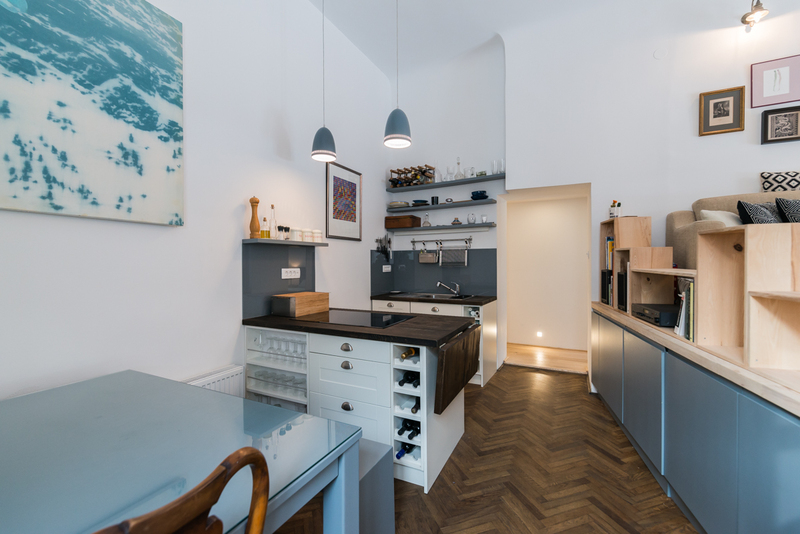 The house was stripped down with the excpetion of a number of original features which helped to retain a feeling of the house's history and origins. 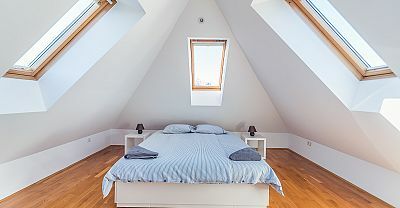 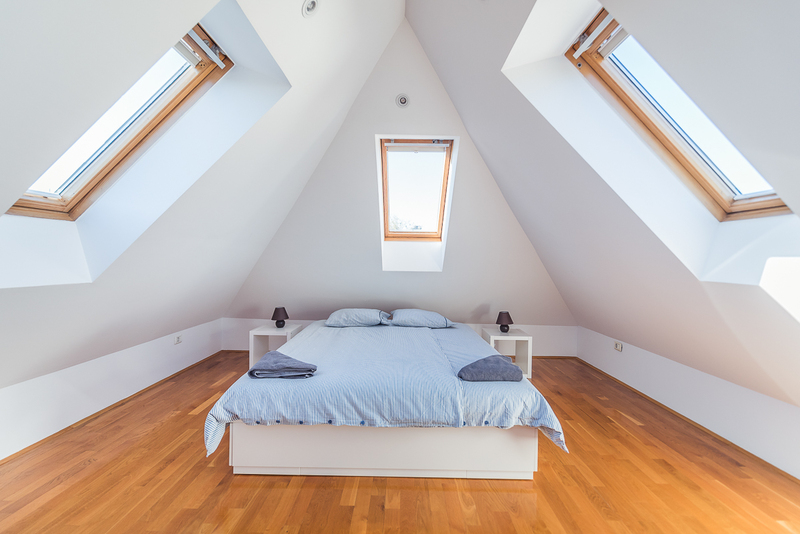 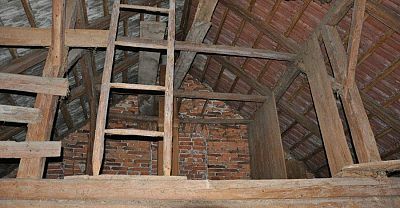 Renovations took a few months and took a 2 bedroom house to a 4 bedroom one using all the ample space in the loft and putting in dormer windows. 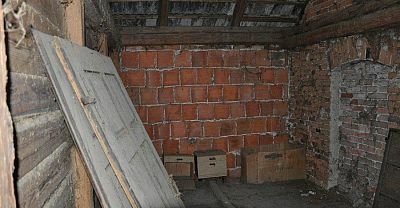 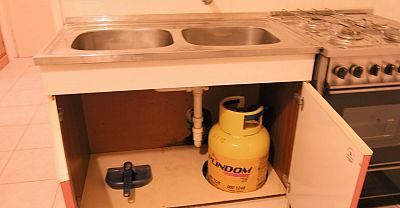 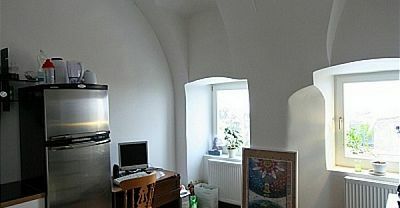 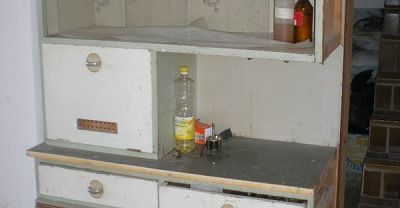 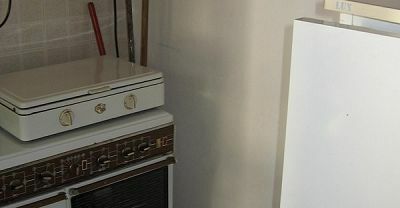 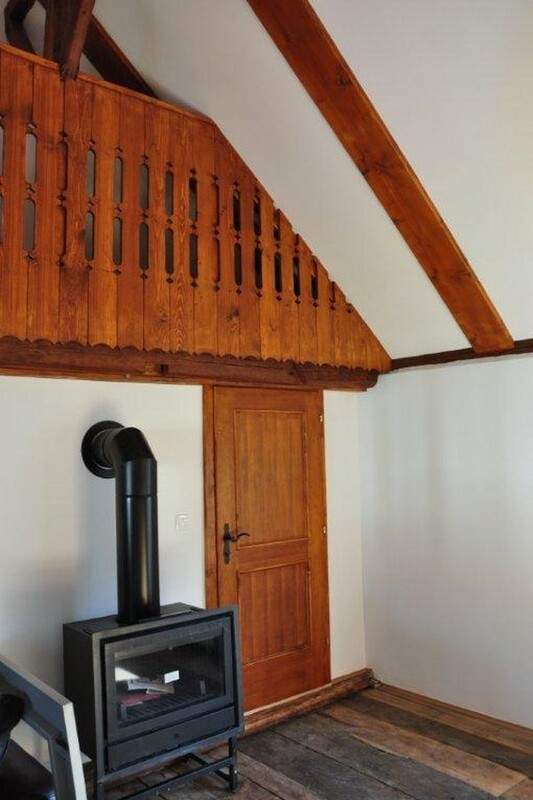 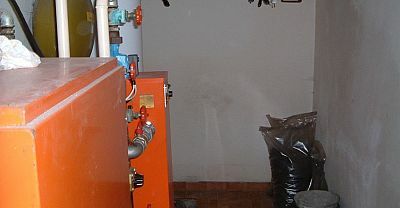 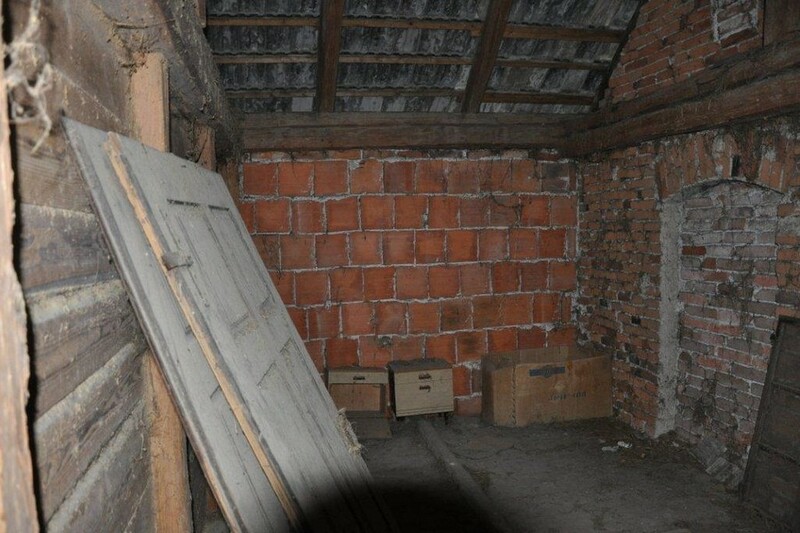 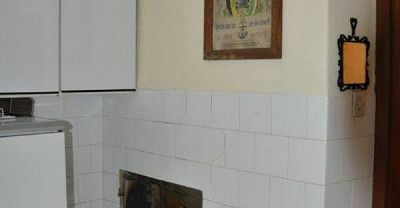 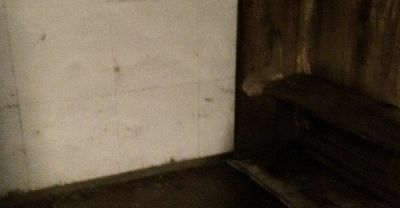 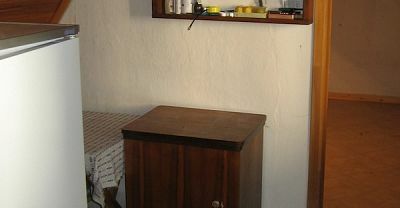 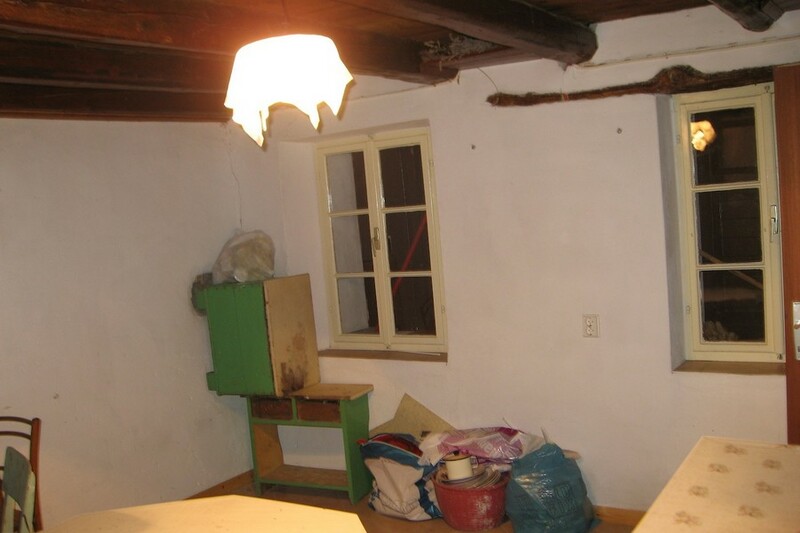 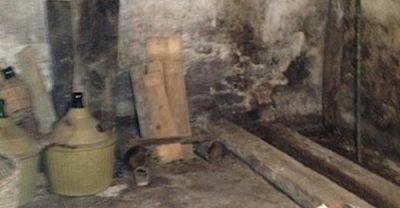 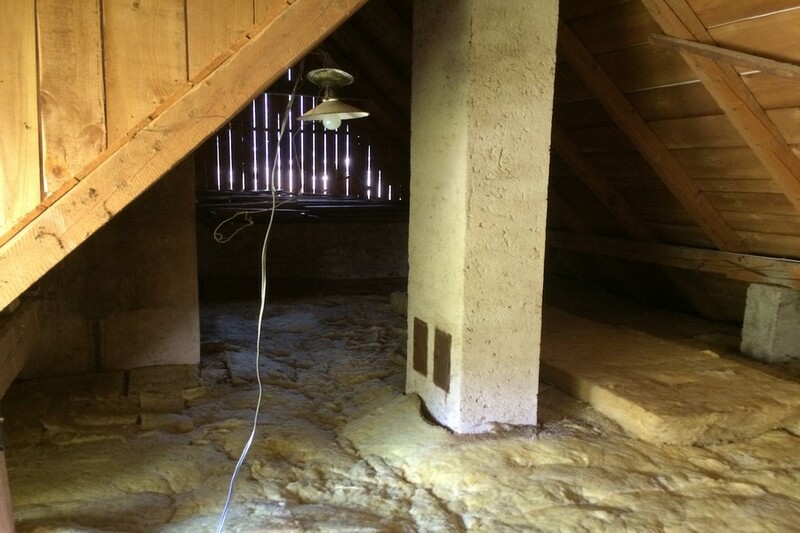 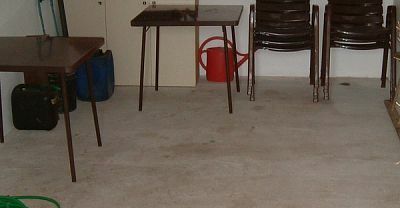 In the basement a traditional "kmečka peč" farmhouse stove was put in. 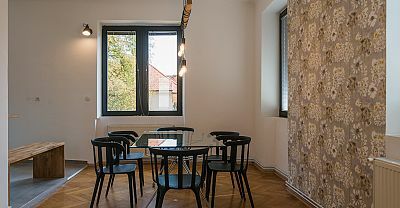 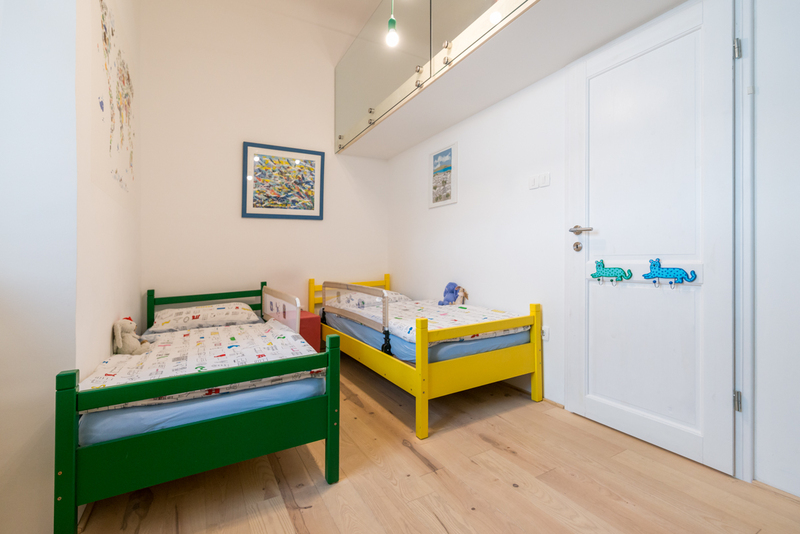 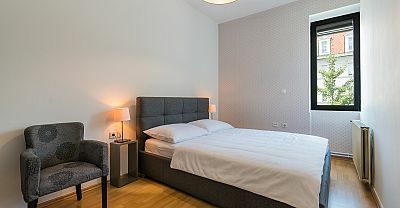 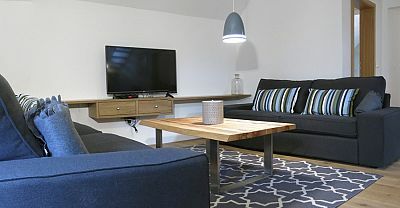 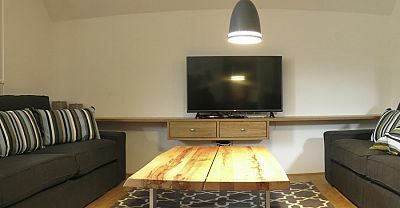 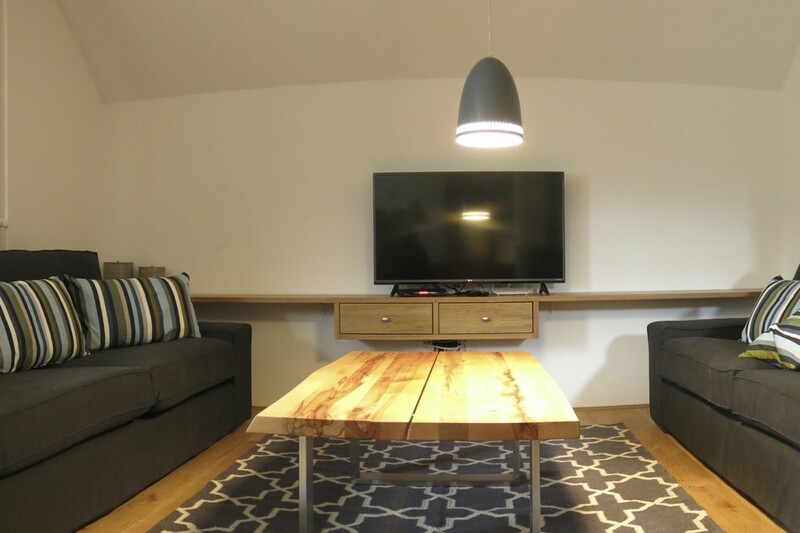 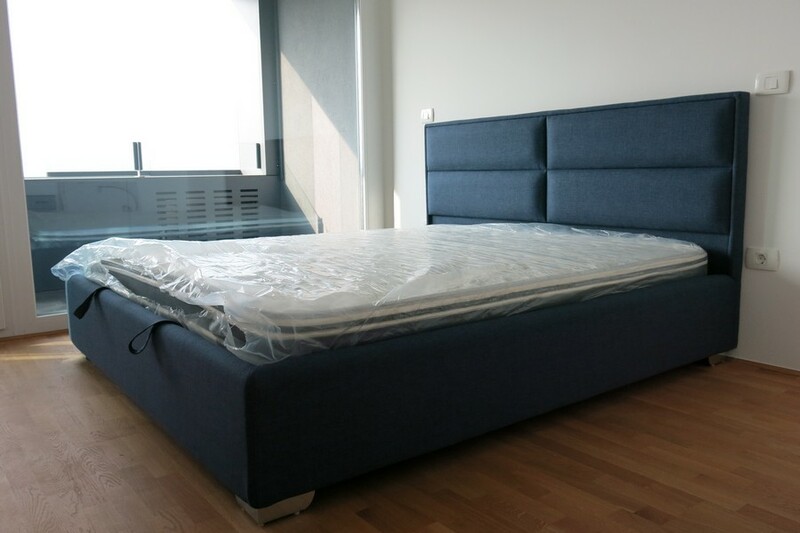 The furnishing was done by the client and Think Slovenia assisted with some of the final details and making sure that everything was as it should be for tourist rentals. 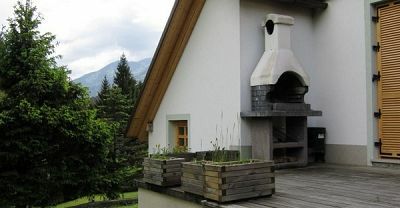 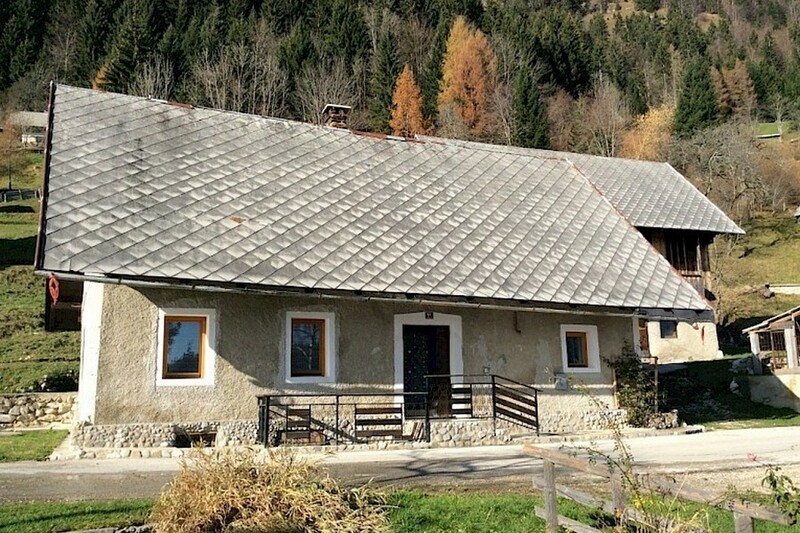 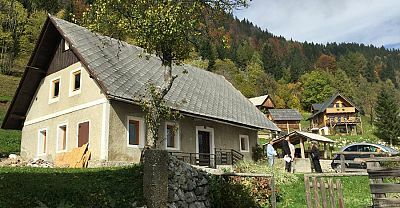 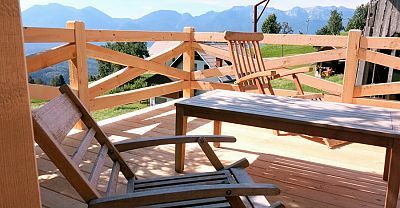 Having purchased a delighful cottage just minutes from Lake Bohinj through Think Slovenia the owners approached us to assist managing works using a local building company which the owners had sourced themselves. 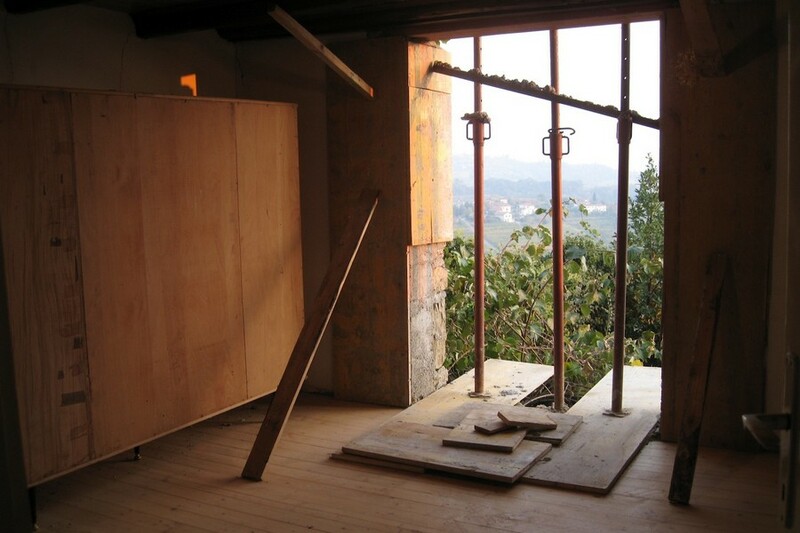 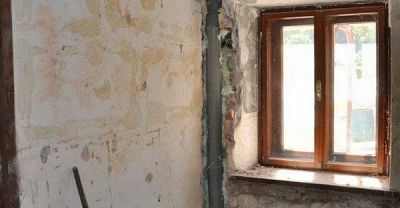 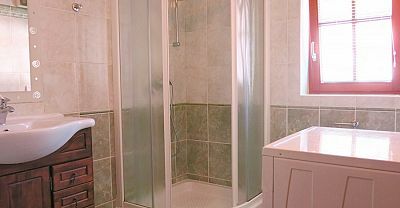 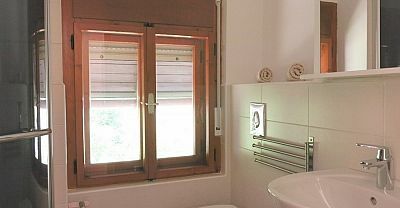 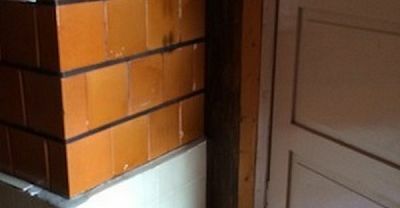 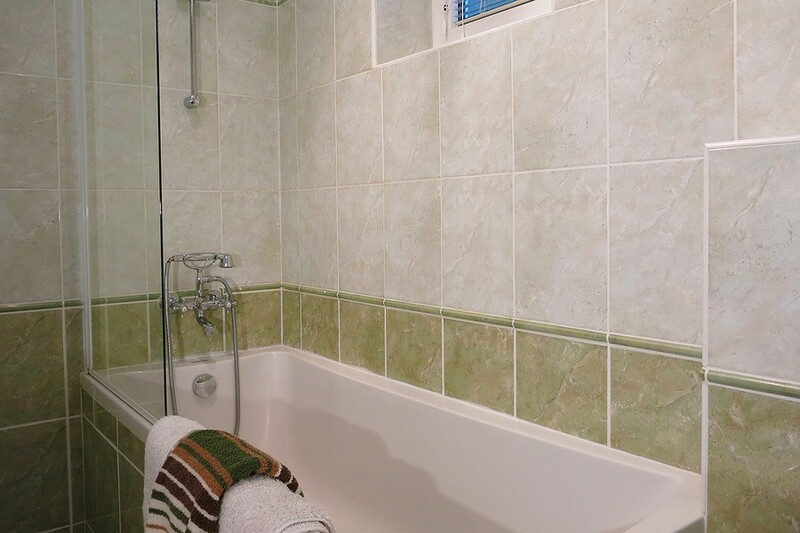 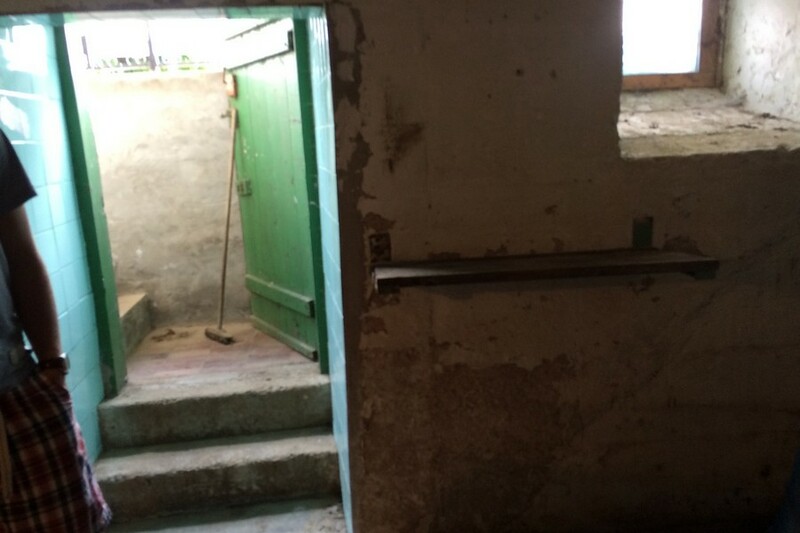 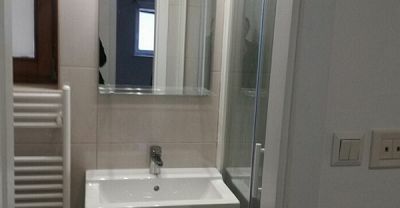 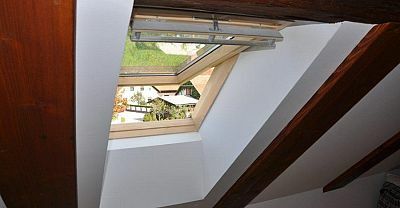 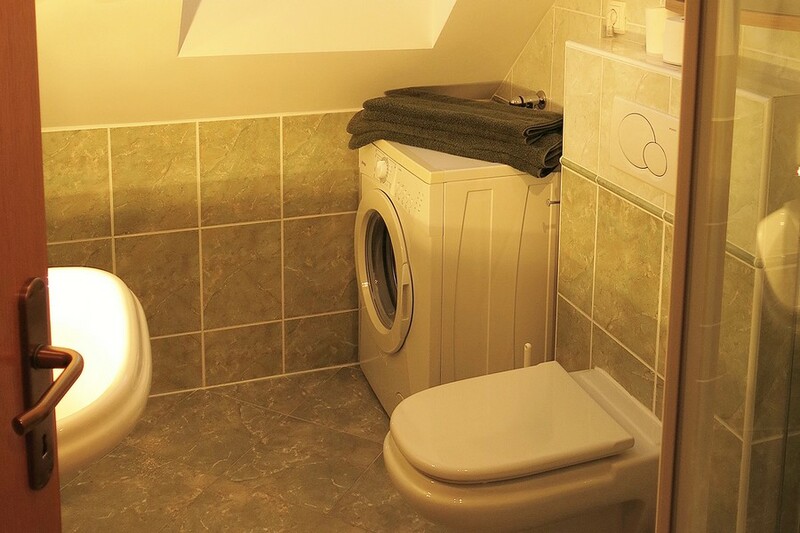 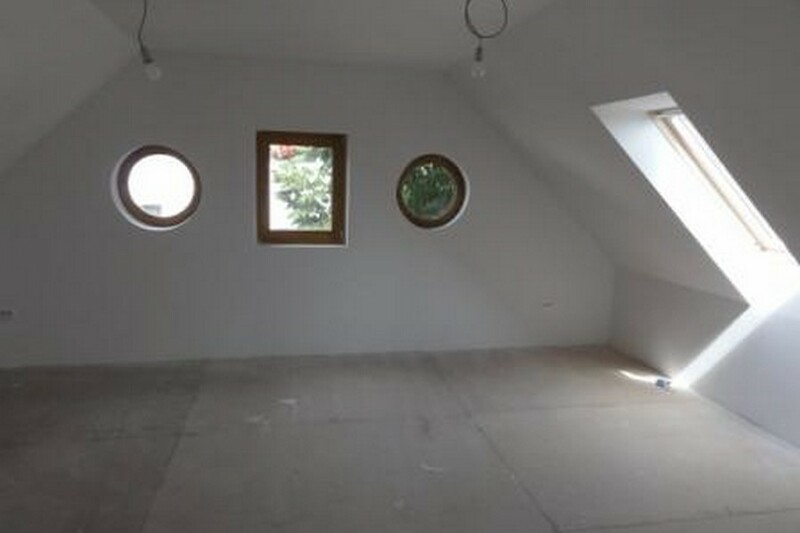 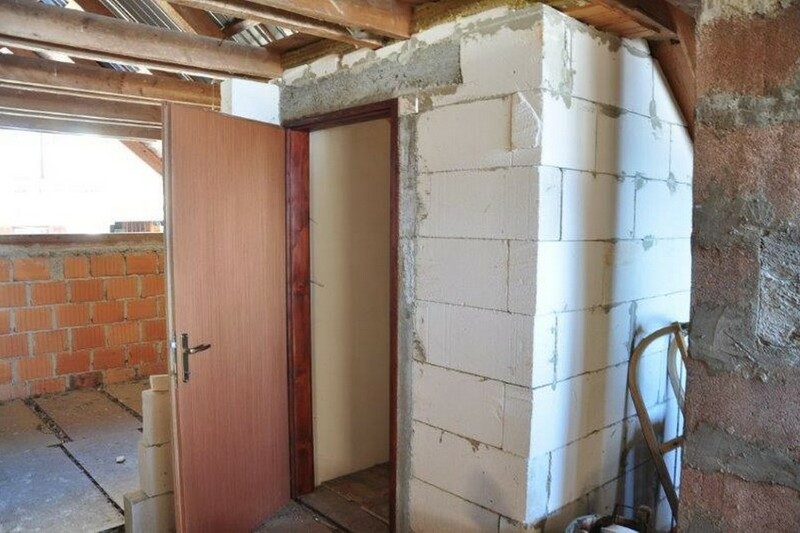 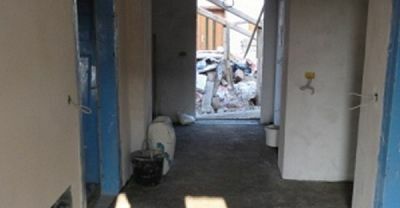 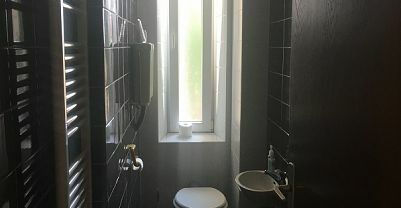 The project involved installation of new bathroom, construction of a new entrance room and loft level sleeping area, installation of new windows and doors, replastering & general redecoration. 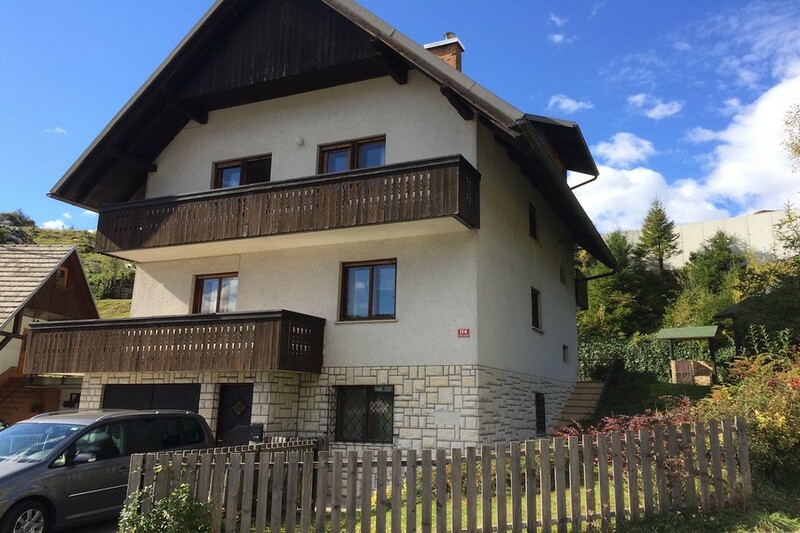 Think Slovenia have looked after us every step of the way through our property purchase. 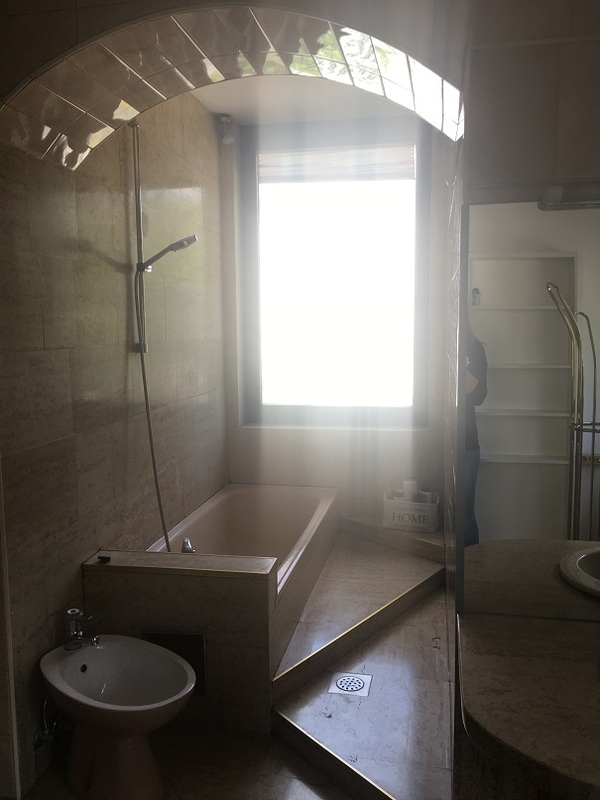 They assisted us with all legal and monetary aspects together with helping us to source architects and builders to begin the renovation. 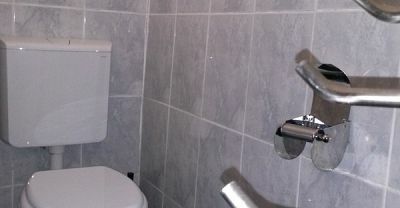 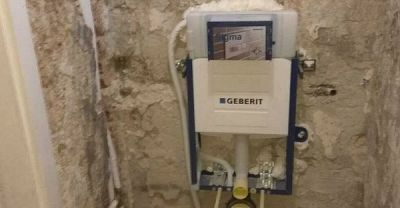 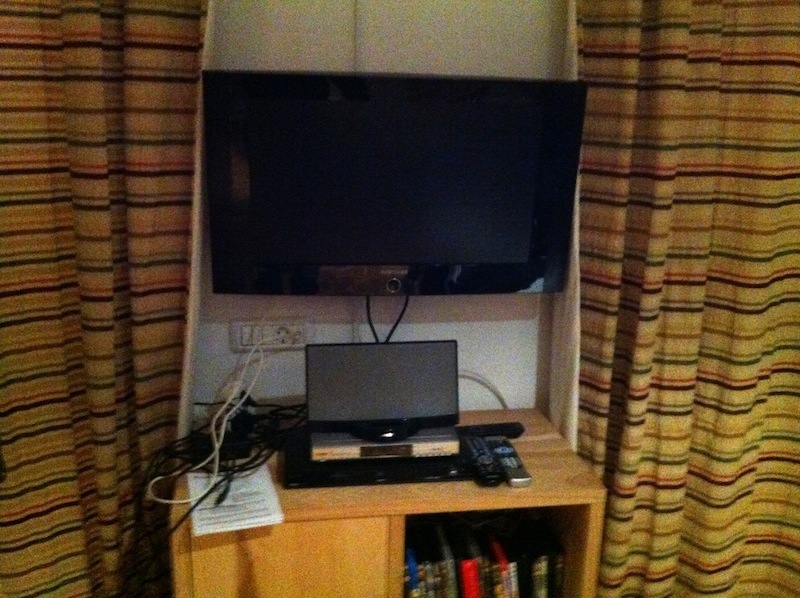 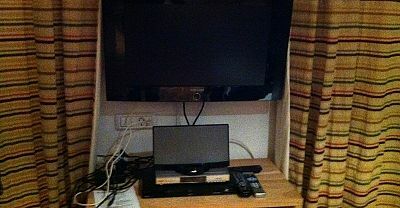 They then liaised with our local builder to make sure we were all able to communicate properly throughout the project. 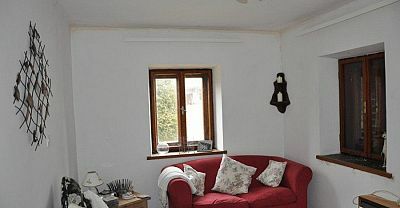 Two years after buying our property, we have had it renovated and it is being rented out for winter and summer holidays. 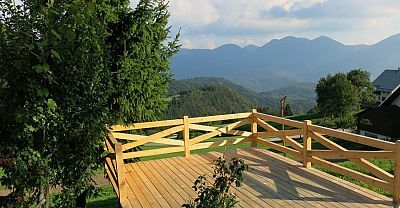 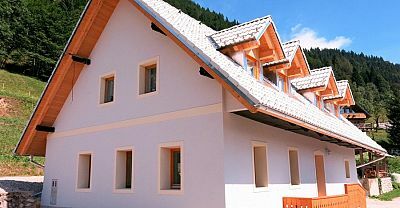 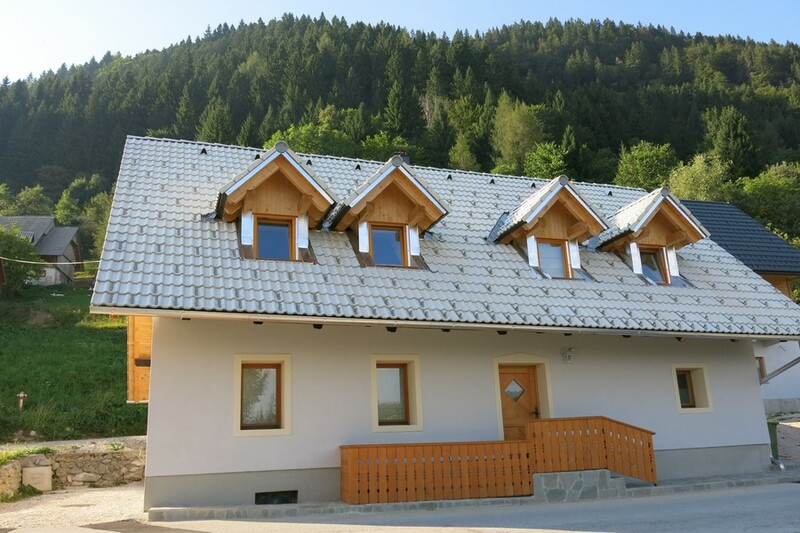 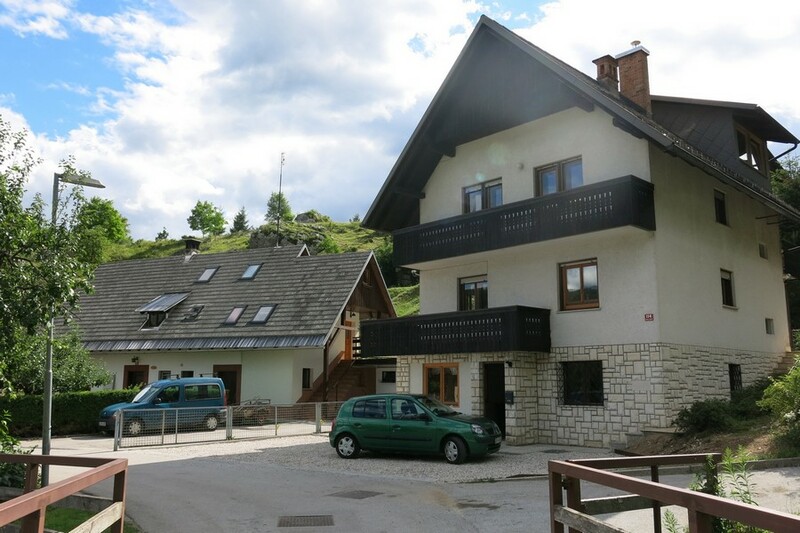 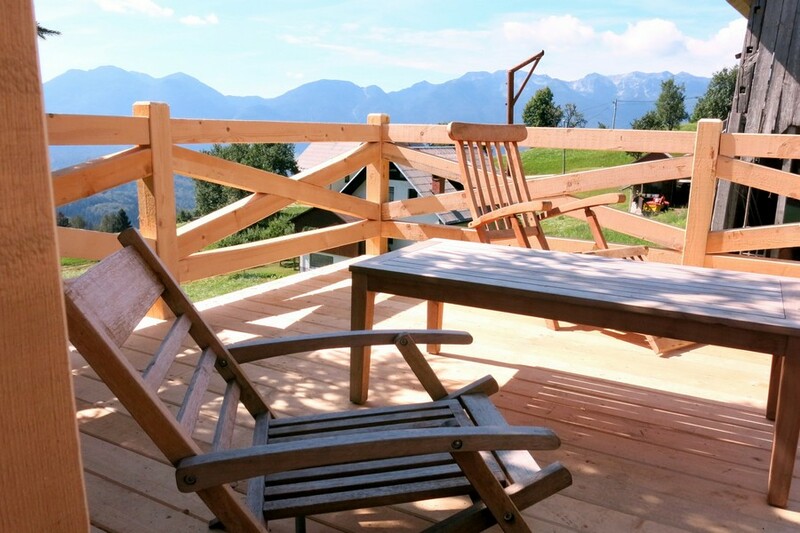 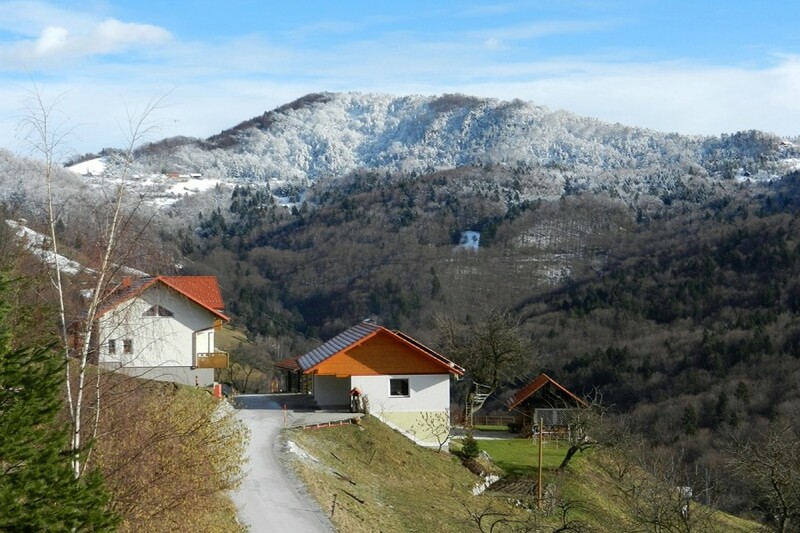 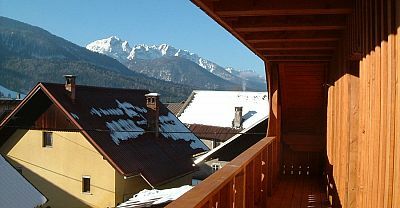 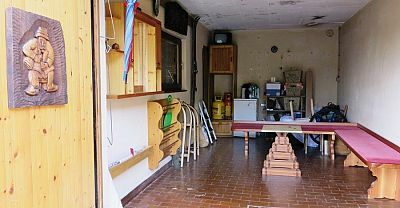 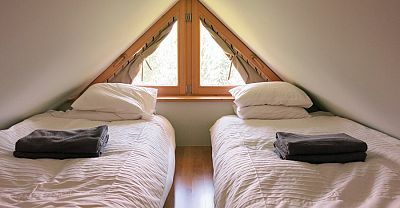 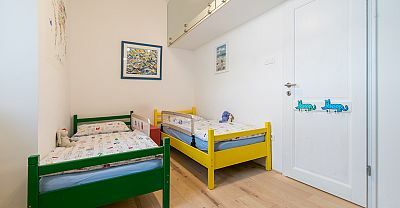 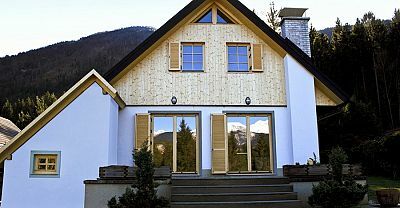 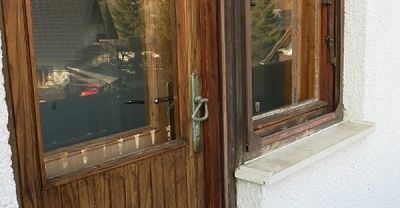 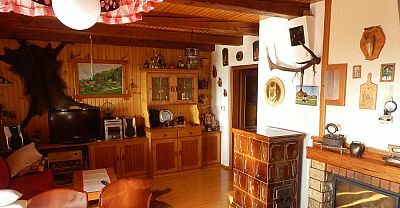 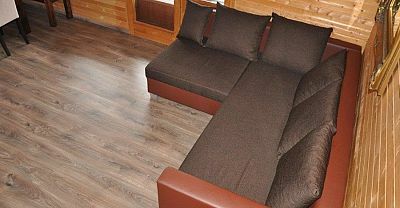 Think Slovenia are now our acting agent in Slovenia and we could not trust anyone further to look after the running of our Chalet.Without all their help, we simply would not be the proud owners of Chalet Planina. 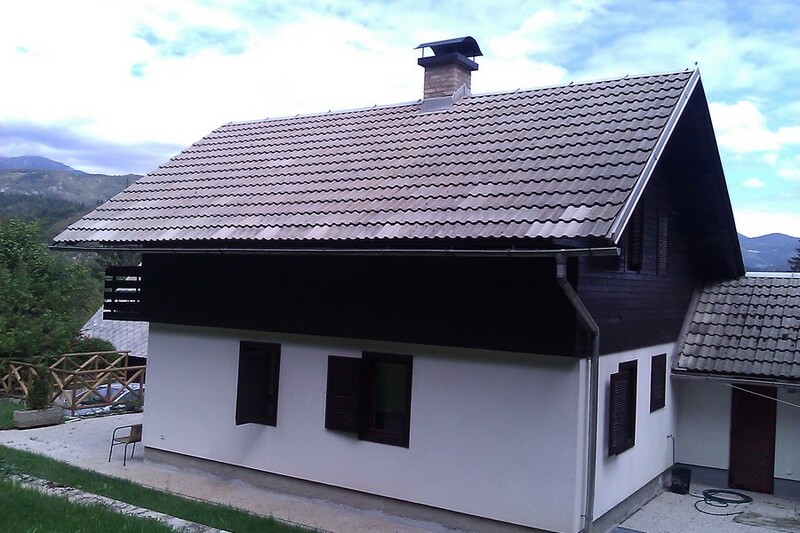 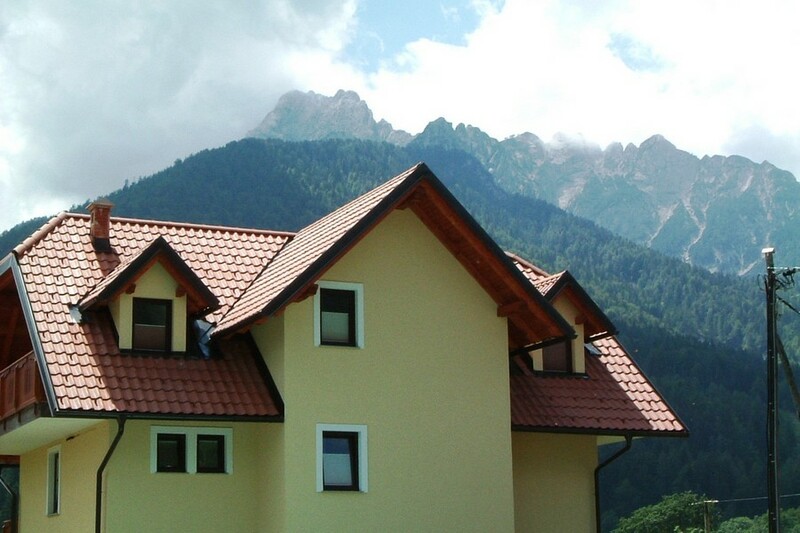 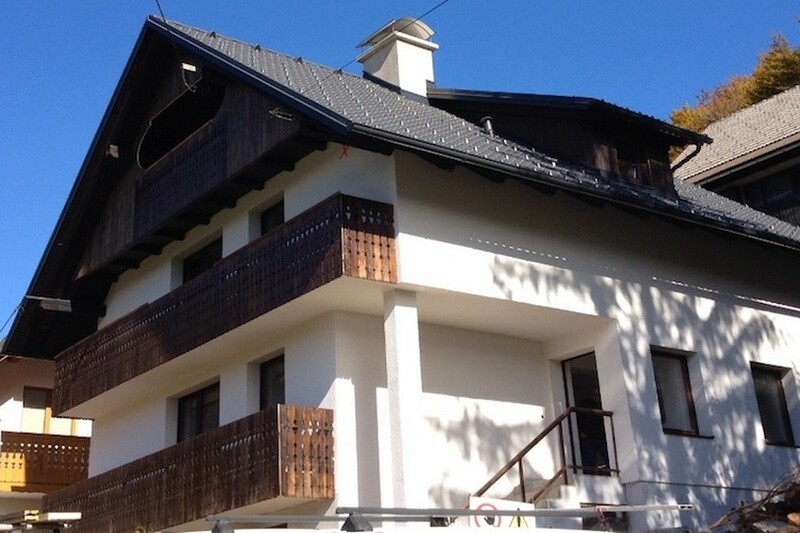 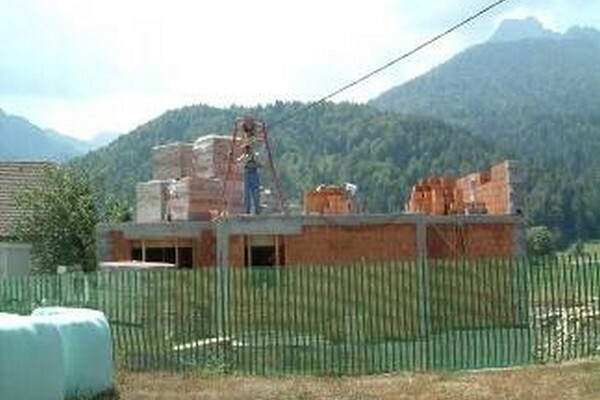 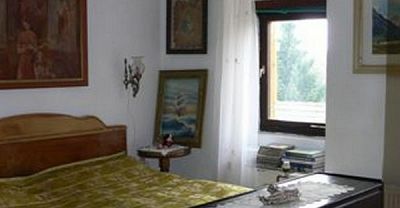 We highly recommend their services to anyone thinking or purchasing a property in Slovenia." 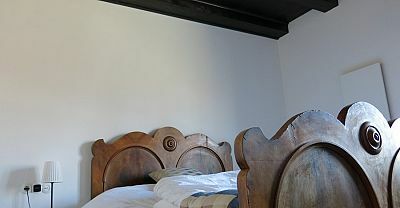 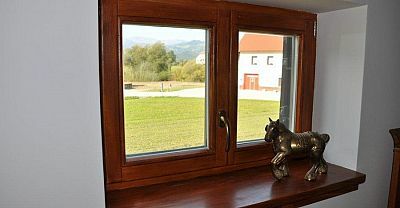 The owners of this characteristic country house in the heart of a wonderful wine growing village close to Metlika in the Bela Krajina region of Slovenia approached Think Slovenia in 2009 after struggling to make progress on the renovation of the house using locally sourced contacts. 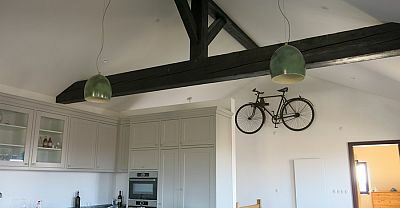 The owners wanted to convert the loft and the basement of this listed building into useable living space to create a comfortable 3 bedroom home. 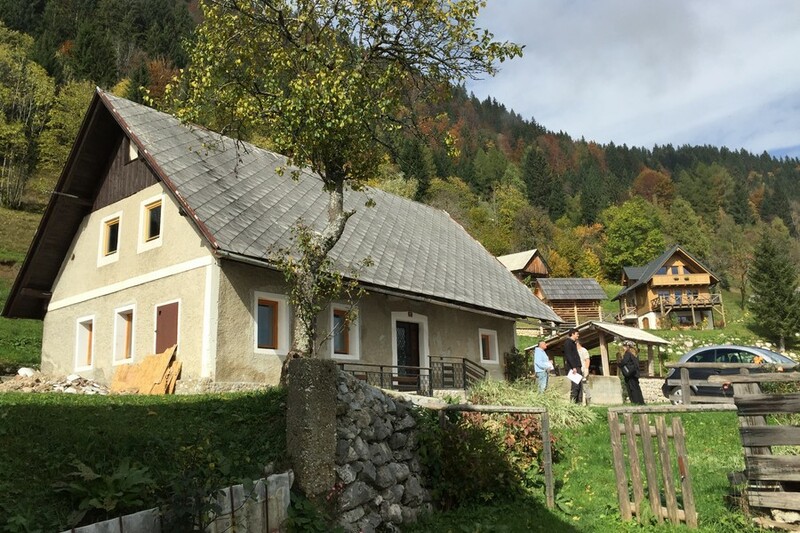 Think Slovenia had assisted the owners in agreeing land borders with neighbours, sourcing, contracting with and managing some excellent local architects and then coordinating small local building firm with a few tradesmen. 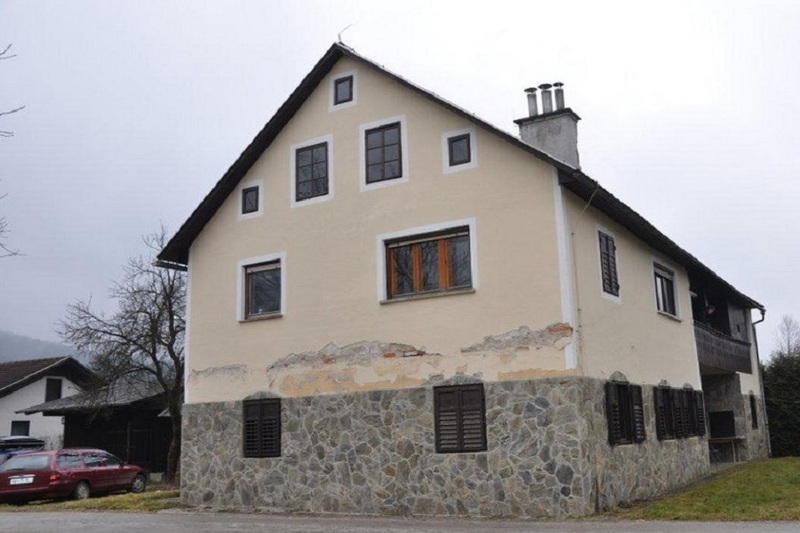 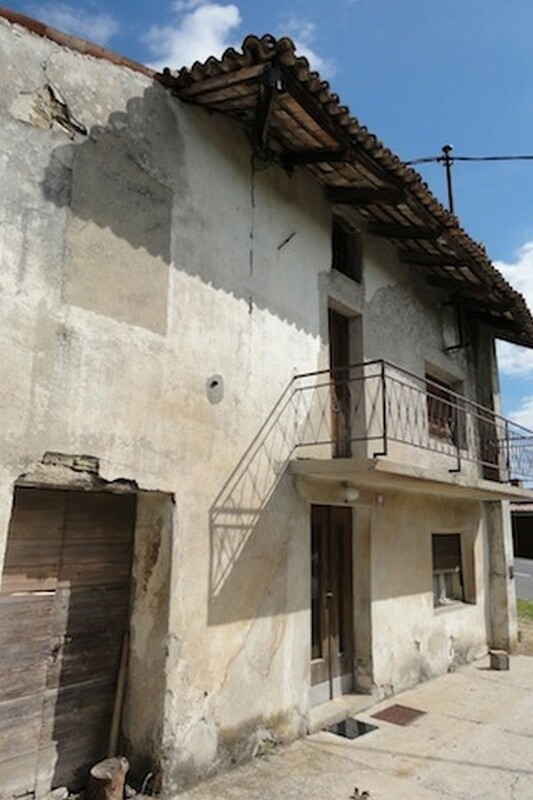 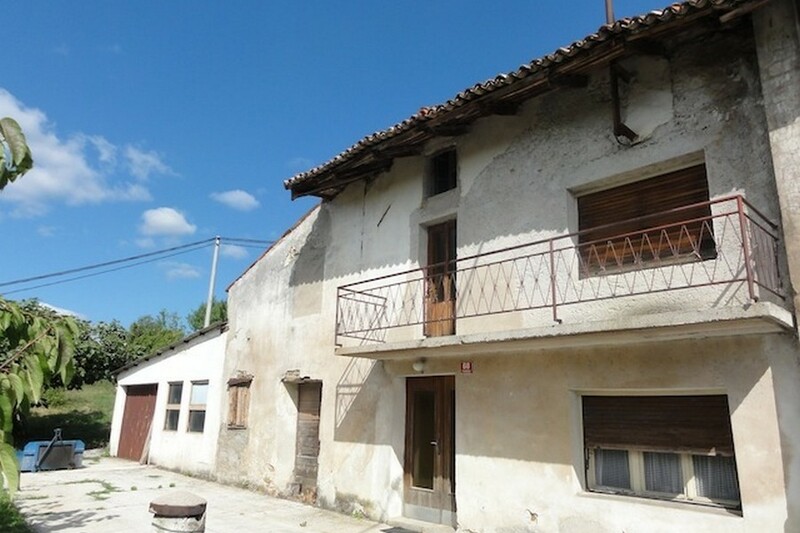 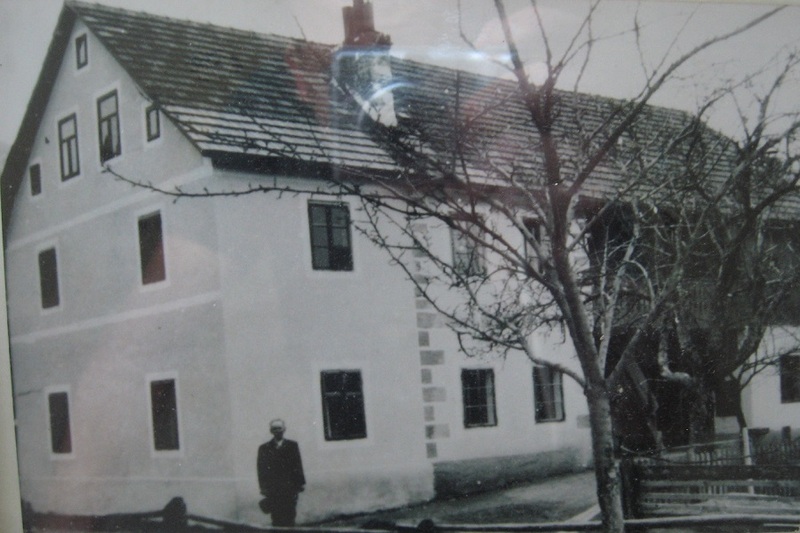 We bought a beautiful old house in the Bela Krajina region of Slovenia. 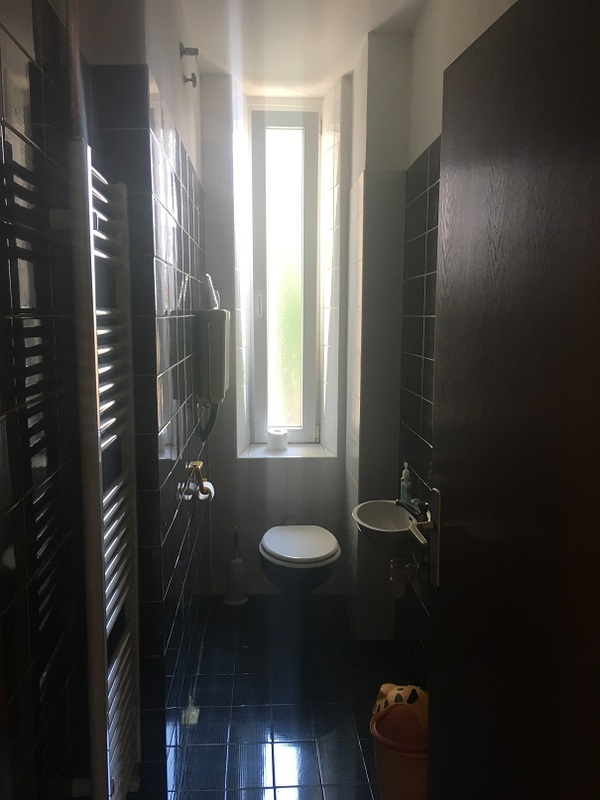 We then spent three years trying to obtain plans and organise permission for the conversion and renovation of this property into a family home and achieved nothing but frustration and disappointment. 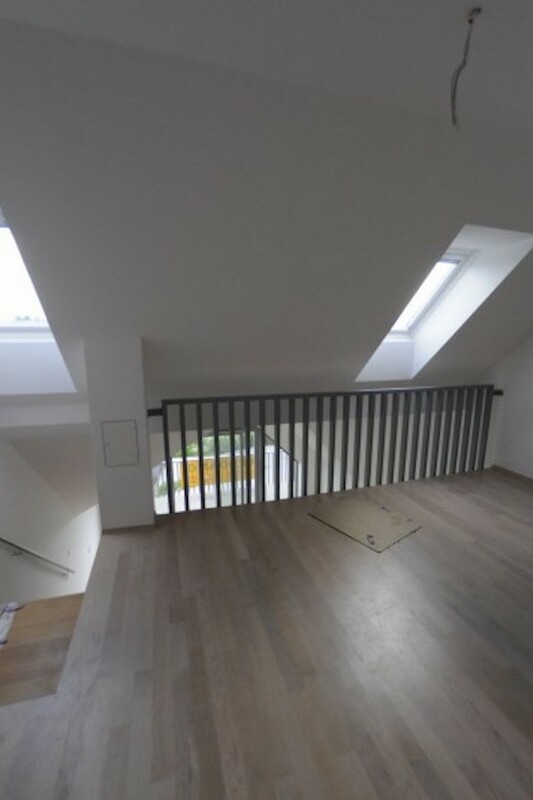 Pia and Dan came on board six months ago and already we have architects we are happy to work with, border problems have been solved and the plans and permissions are now awaiting confirmation. 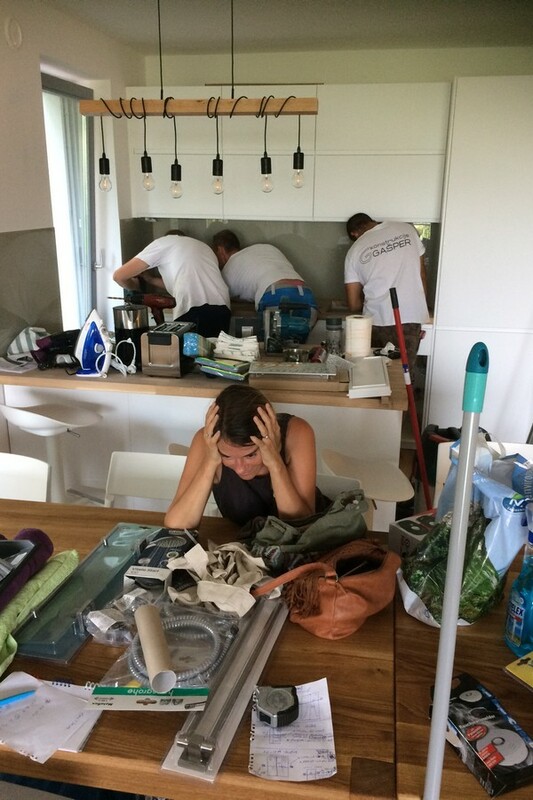 We can honestly say that before Think Slovenia were involved we were considering giving up on our family dream of a new life. 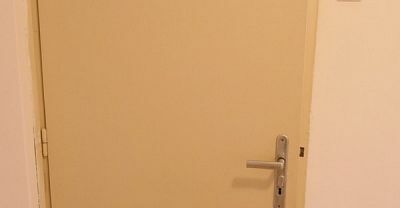 Pia's diplomacy combined with Dan's common sense and clear approach mean that our dream feels achievable in the very near future. 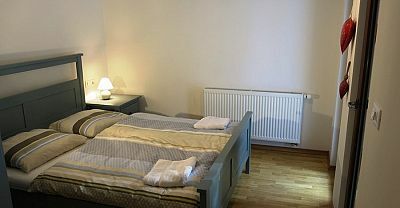 Noel and Gilly (Scotland), November 2009. 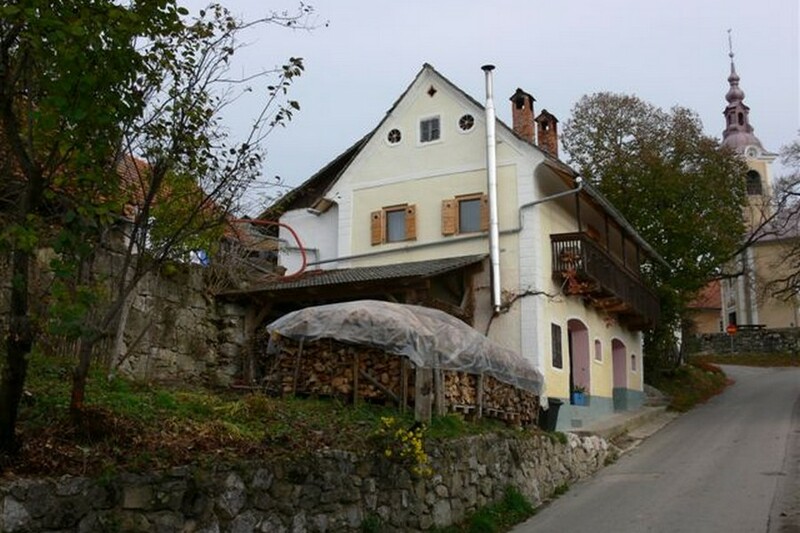 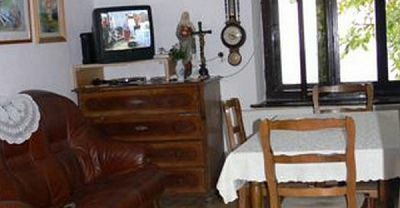 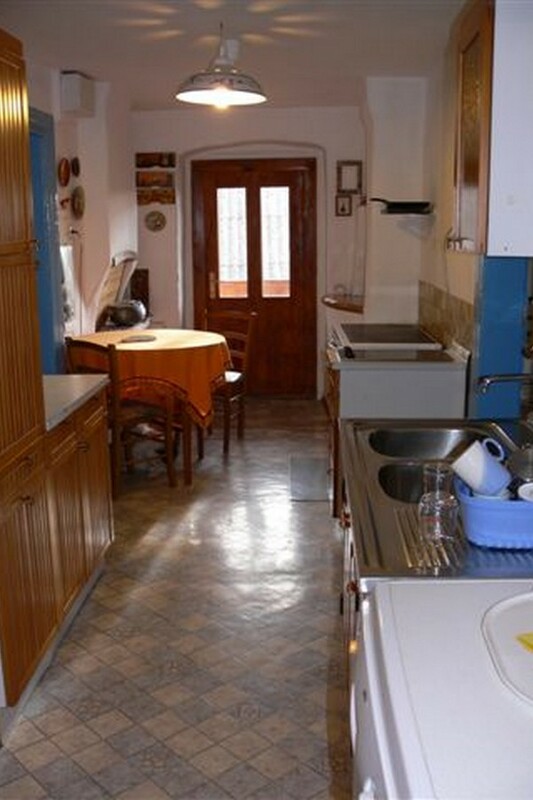 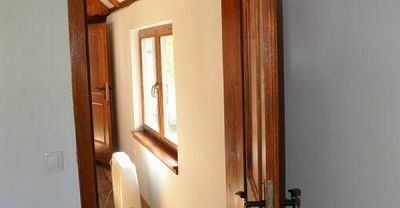 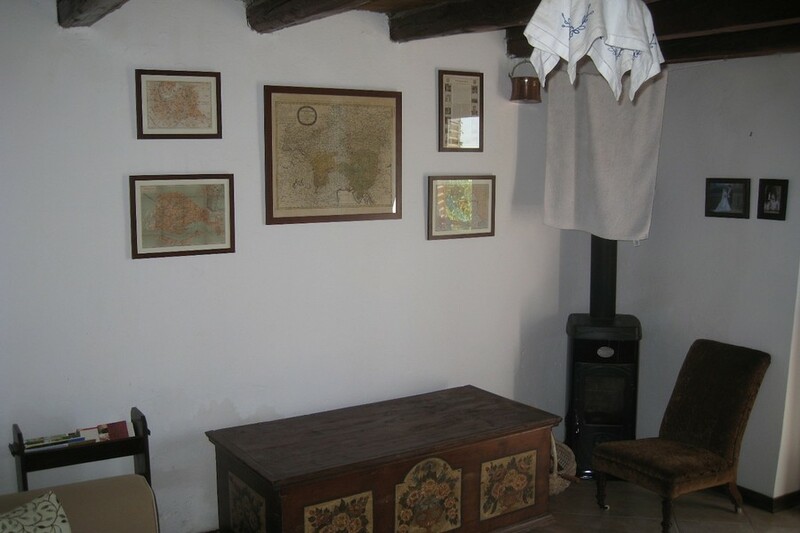 The owners of this charming cottage in the Goriska Brda wine growing region purchased it in 2007 with the help of Think Slovenia. 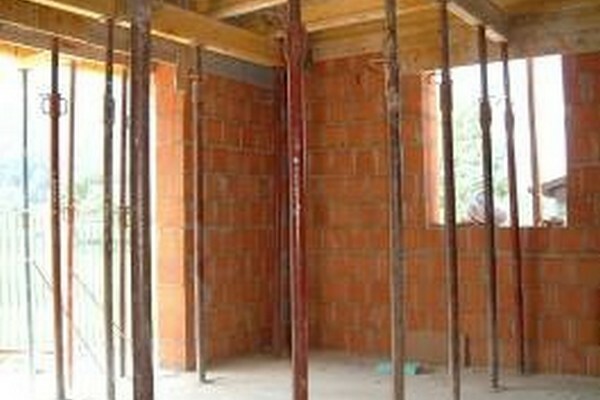 We subsequently assisted the in obtaining architectural drawings and put the project out to tender to four builders. 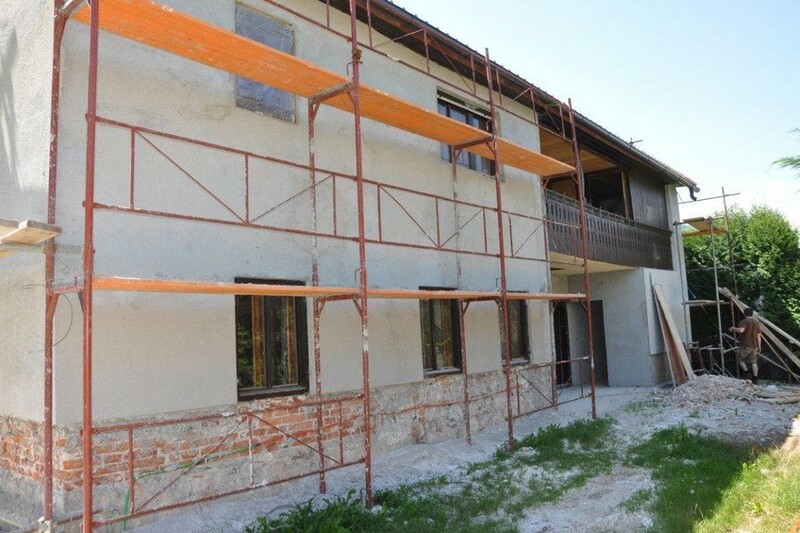 The owners wanted to be heavily involved in the project management but could not do so due to work committments in the UK so asked Think Slovenia to assist. 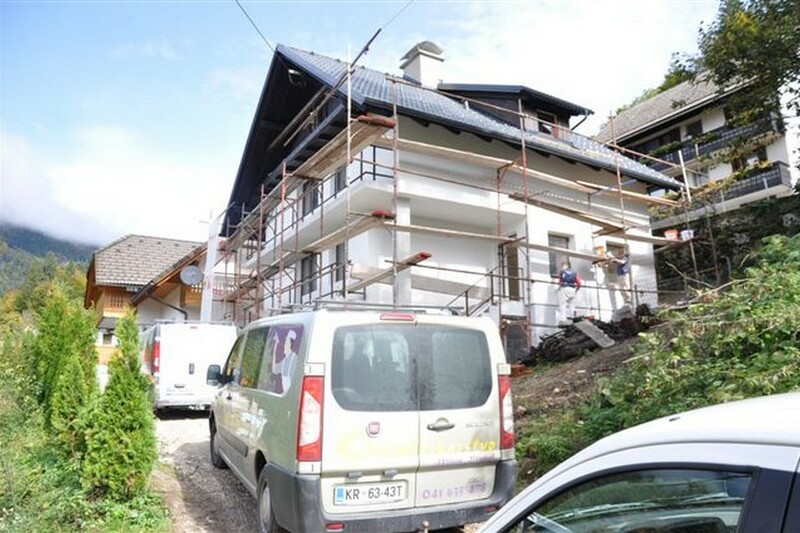 The project was finished on time and to budget and works included construction of chimney, installation of woodburner, renovation of bathroom, installation of kitchen, new windows & general redecoration. 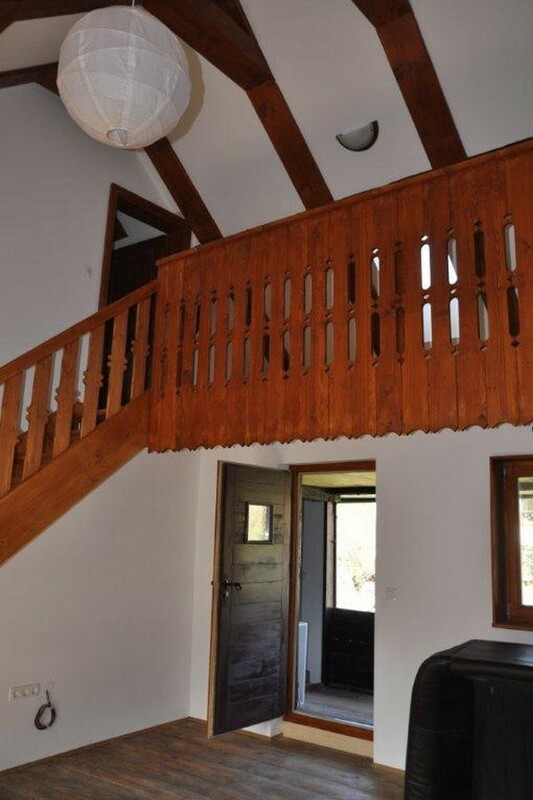 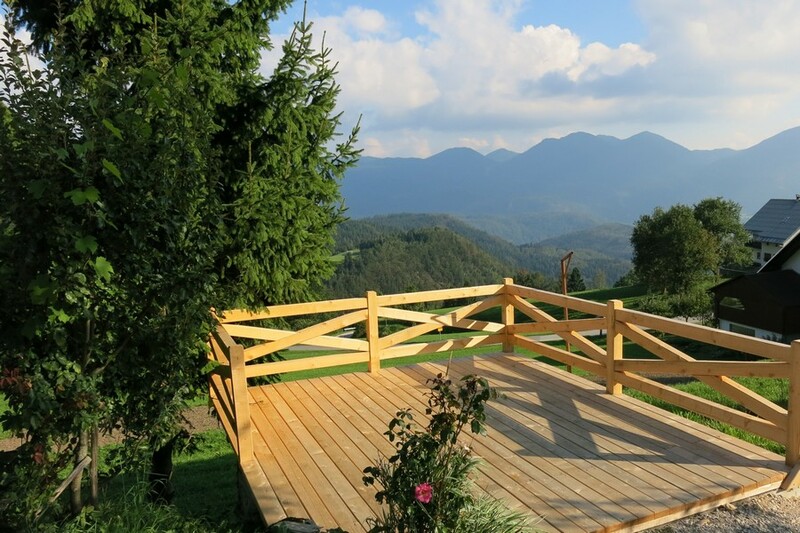 This property in a beautiful location in the hills of Polšnik, near Litija was obtained for Australian clients who moved to Slovenia to lve and work long term. 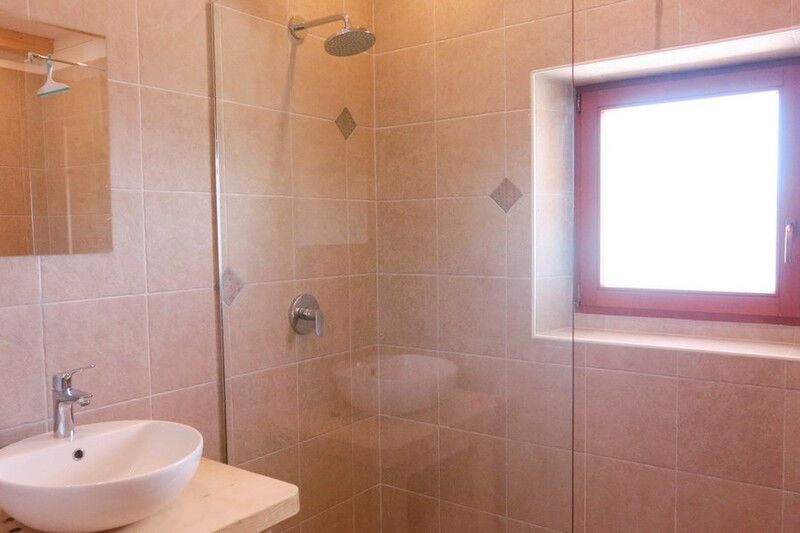 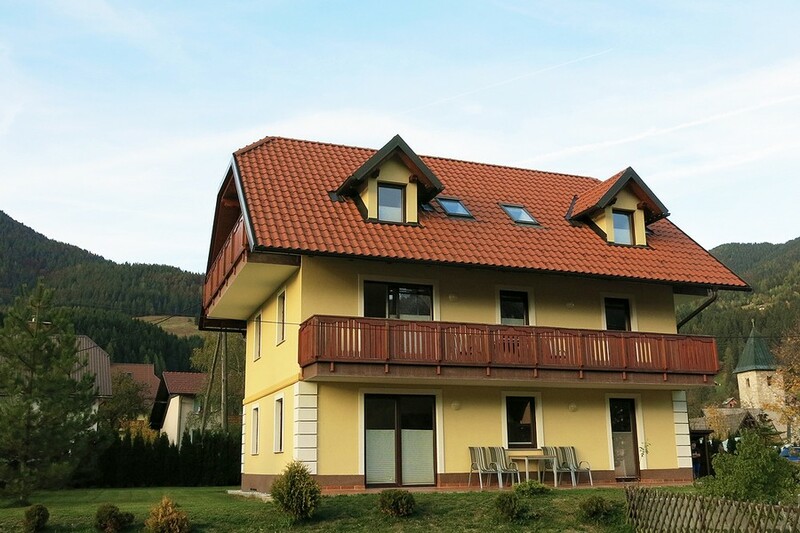 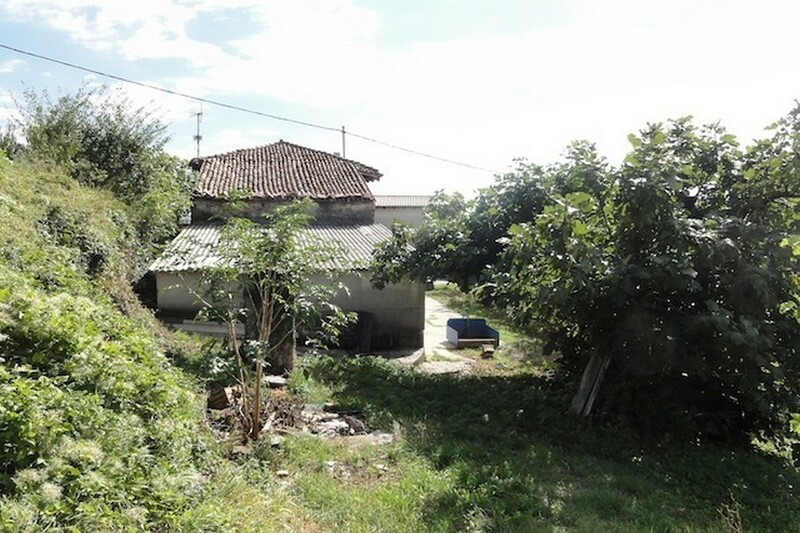 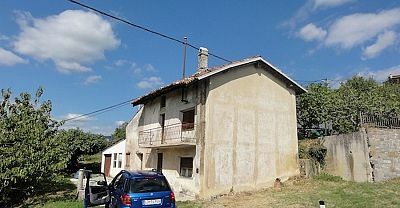 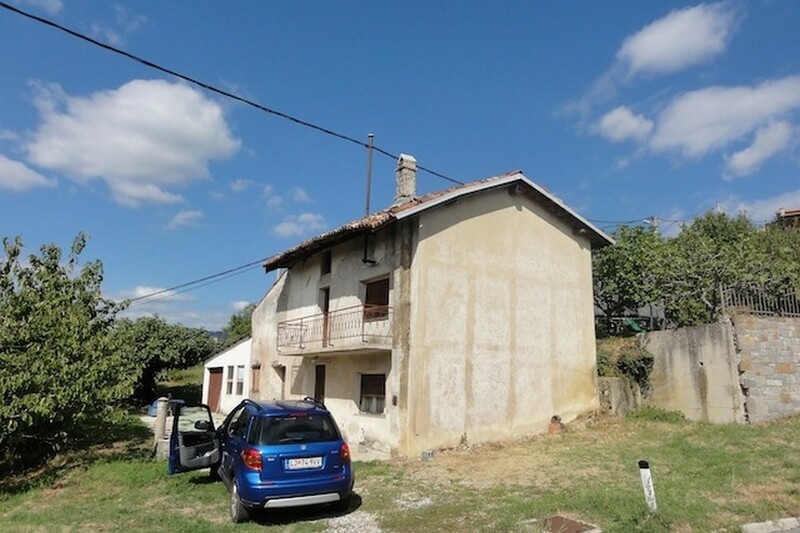 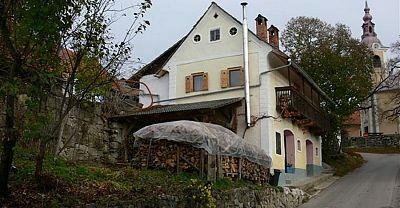 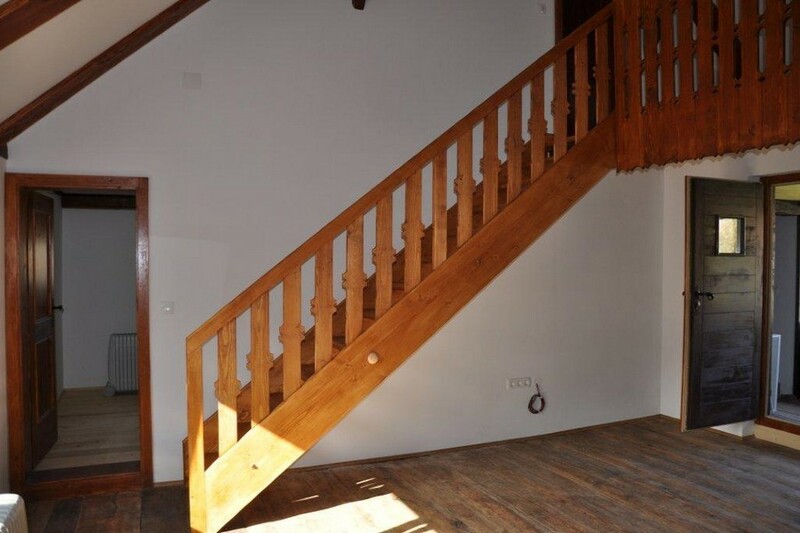 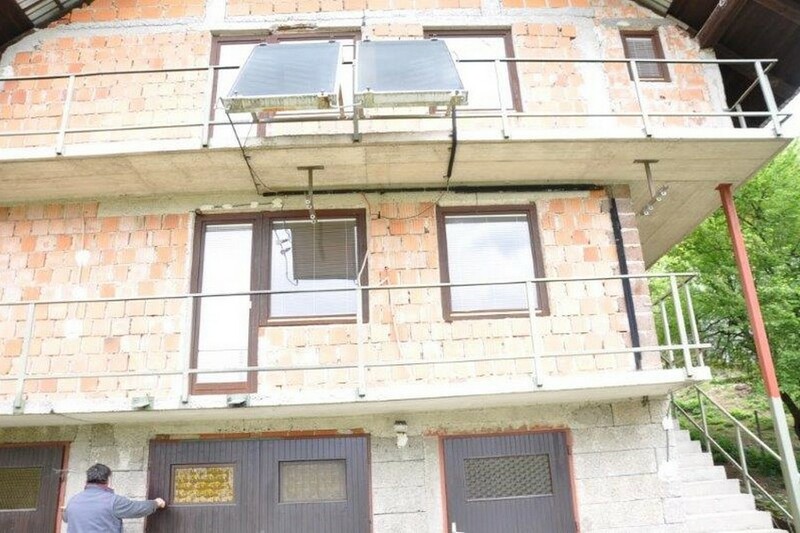 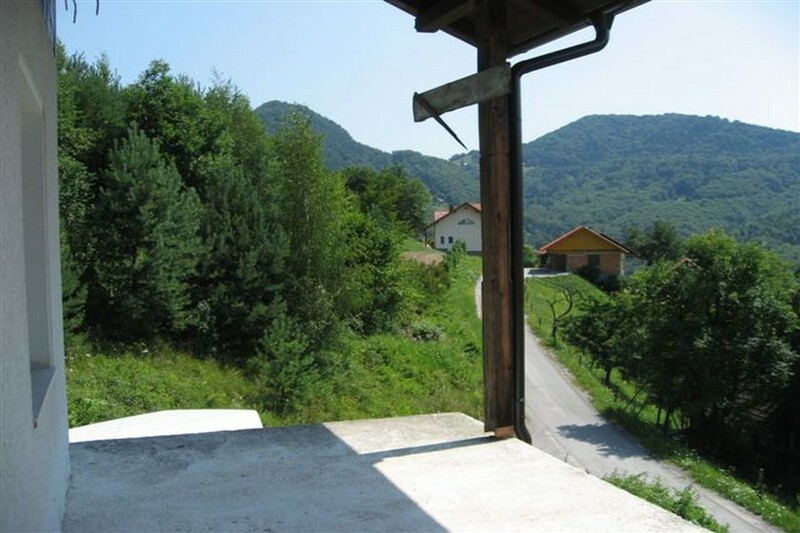 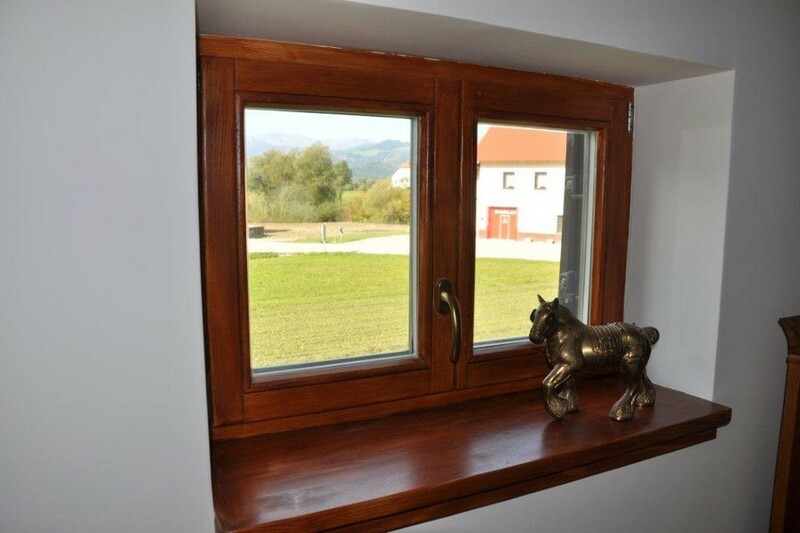 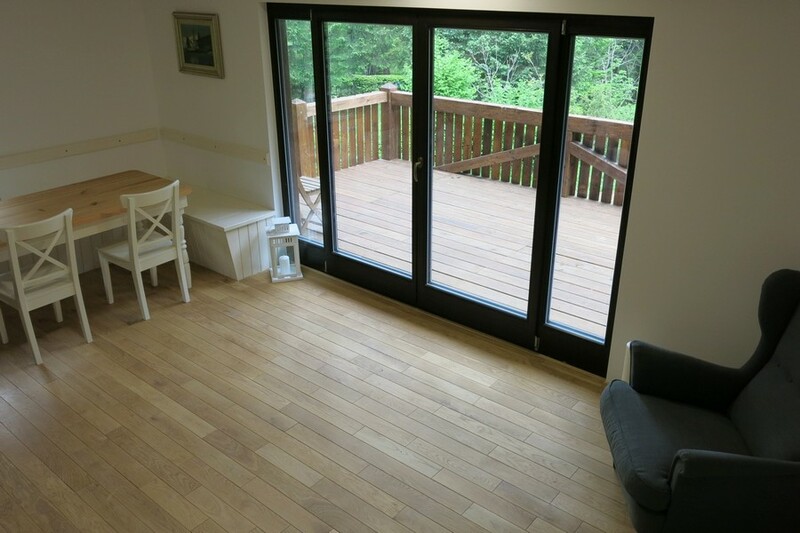 They wished to have a house in commuting distance Ljubljana and for the budget they had we found them a perfect property near Litija with large terrace and amazing views over the valley. 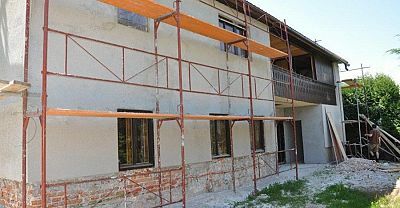 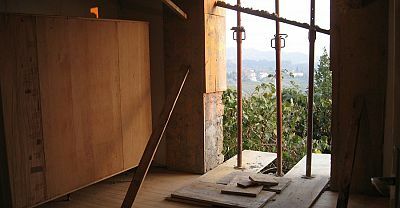 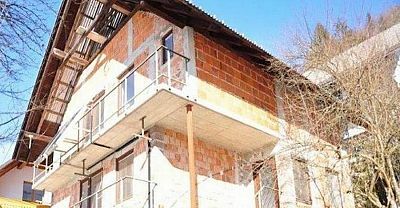 The couple wanted to use local builders for the renovation and help managing the works as at that time they still lived abroad. 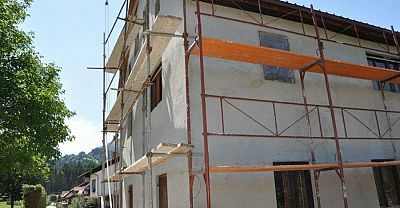 Think Slovenia obtaind quotes from 3 local building firms from which one was chosen who looked after the main works - such as changing the roof, fiing up plumbing and electrics and retiling / reflooring. 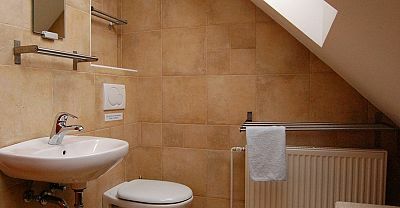 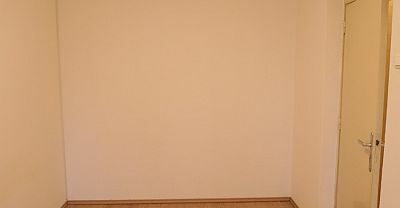 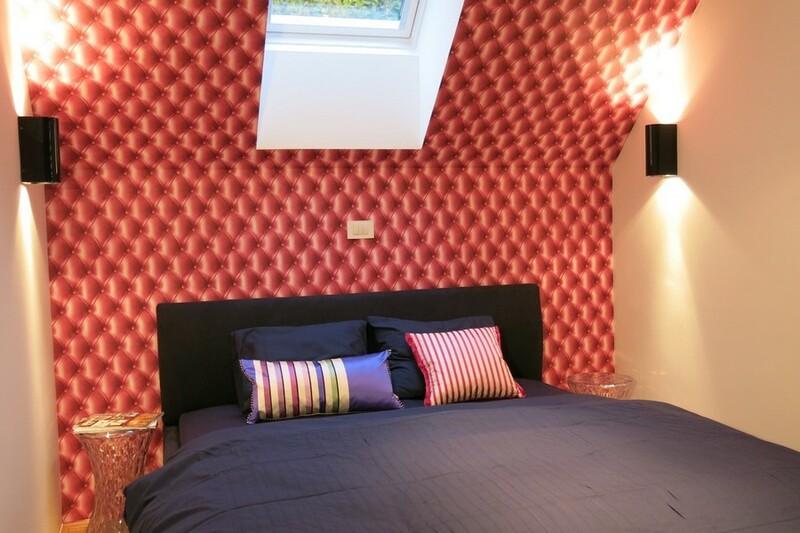 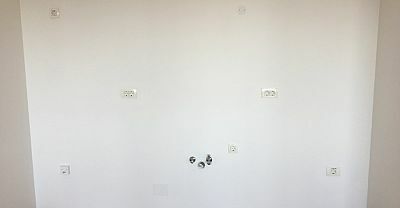 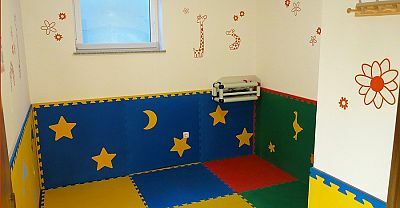 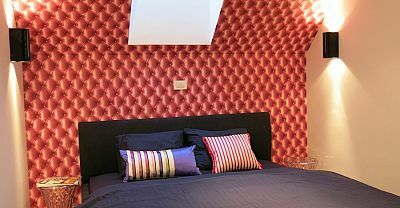 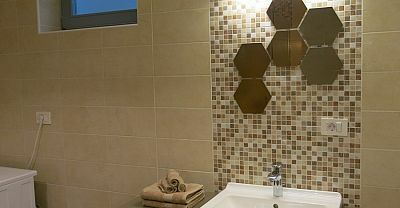 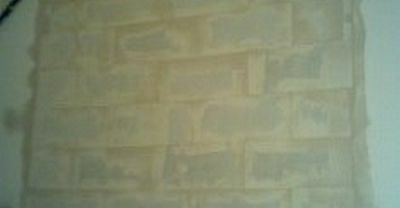 We also sourced and managed various individual contractors for indovidal works such as dredecorating . 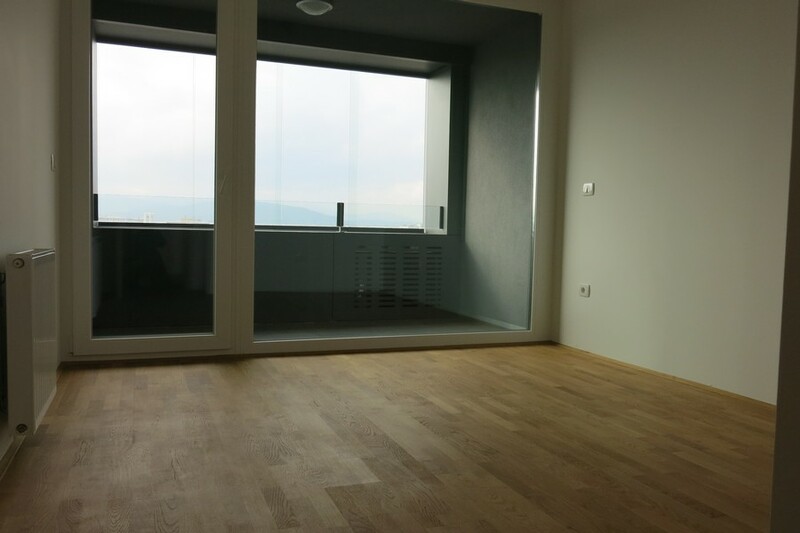 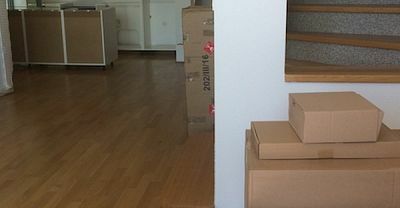 The buyers moved over with a couple of containr loads of furniture for the fit out and a great Ljubljana commuter was complete. 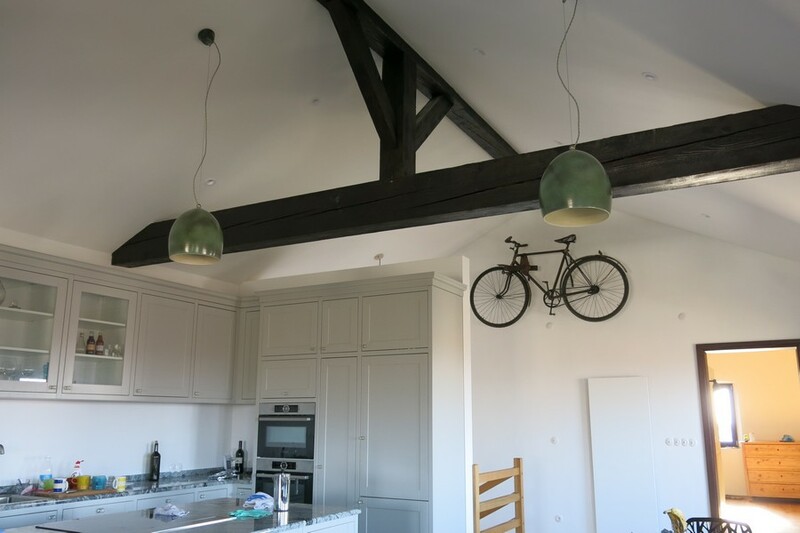 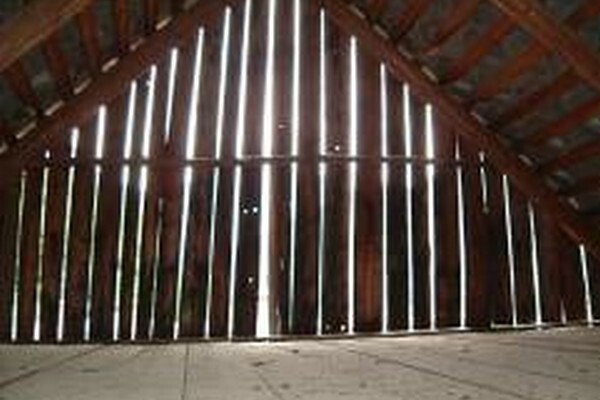 A UK client was looking for a fun project with a good rental yield. 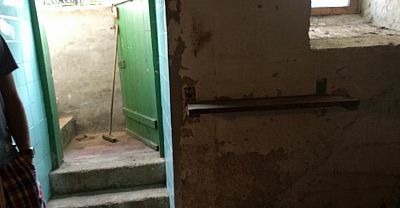 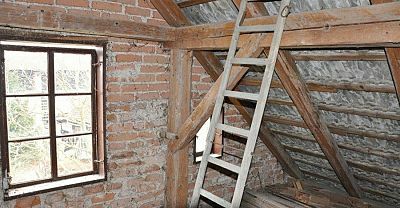 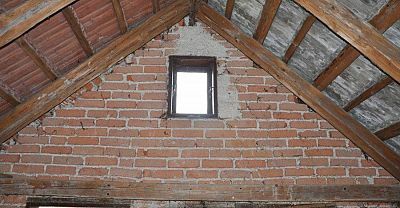 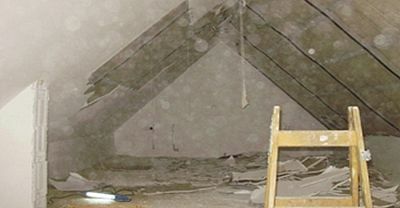 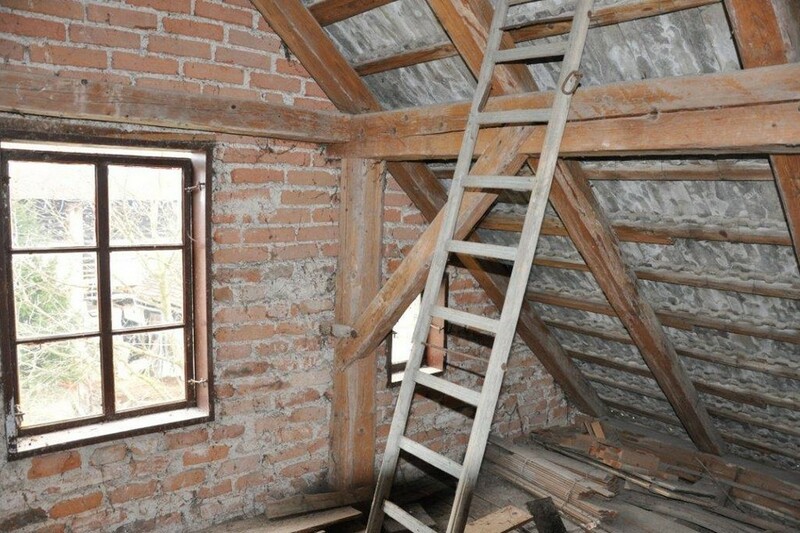 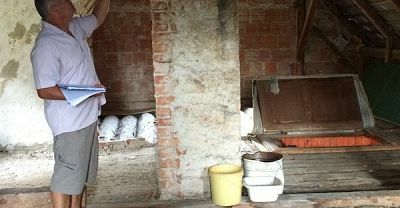 After an exhaustive search for the right property he took a brave decision to buy an unloved, poorly laid out house which was unfinished on the outside, with an unconverted loft, empty cellar rooms and lots of boxy rooms on the upper floors. 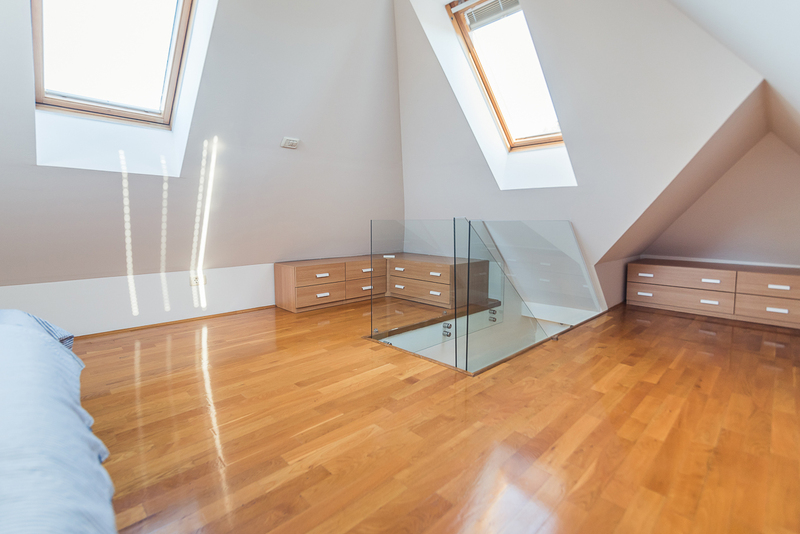 Having helped secure the property for a great price, we helped develop plans to open up all those boxy rooms, with a loft conversion, games room and Summer kitchen in the basement and huge open plan living space on the second floor maximising the stunning views. 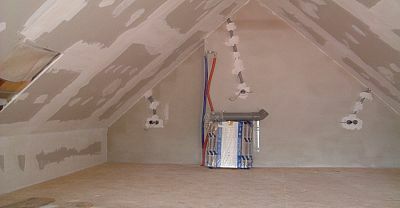 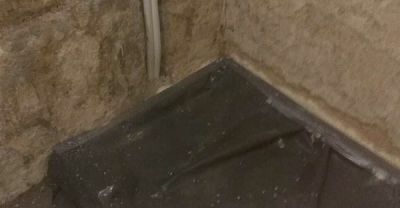 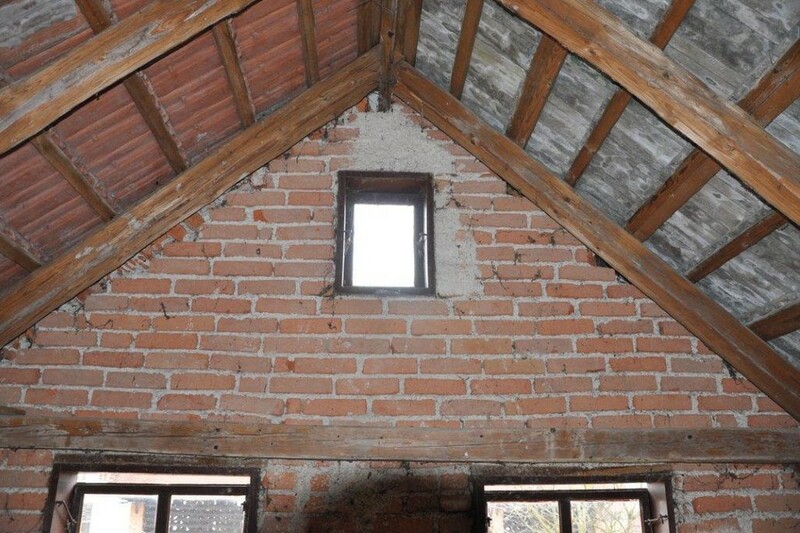 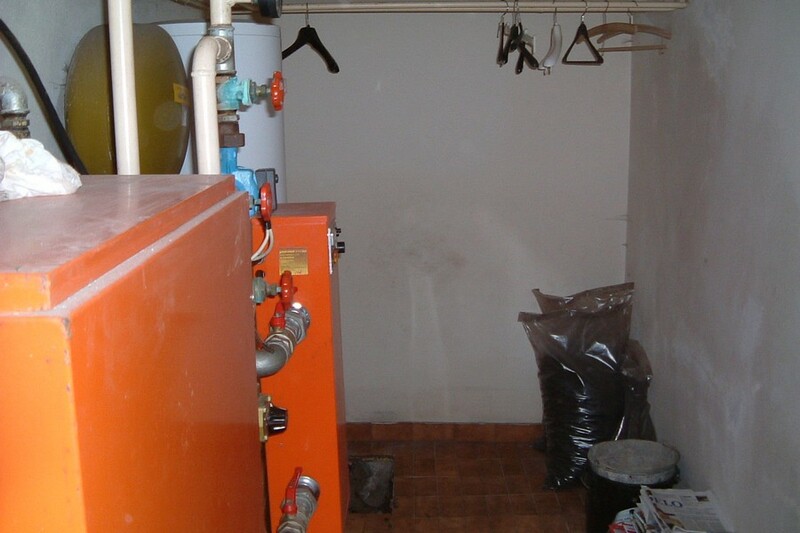 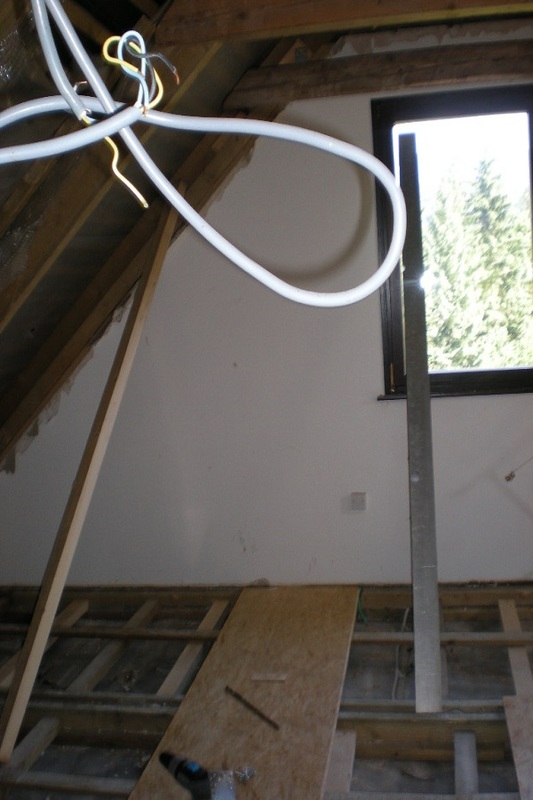 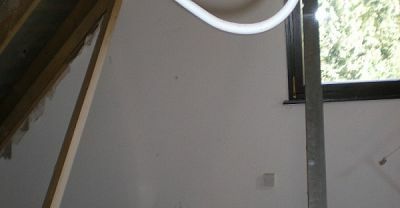 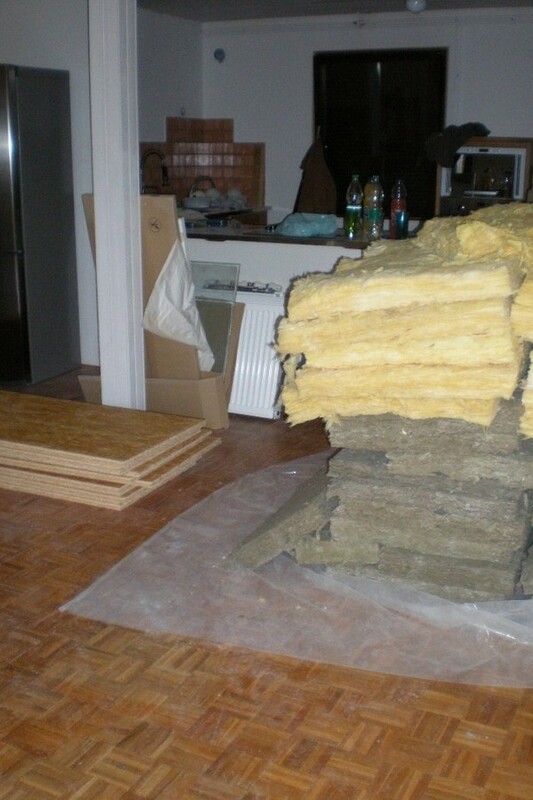 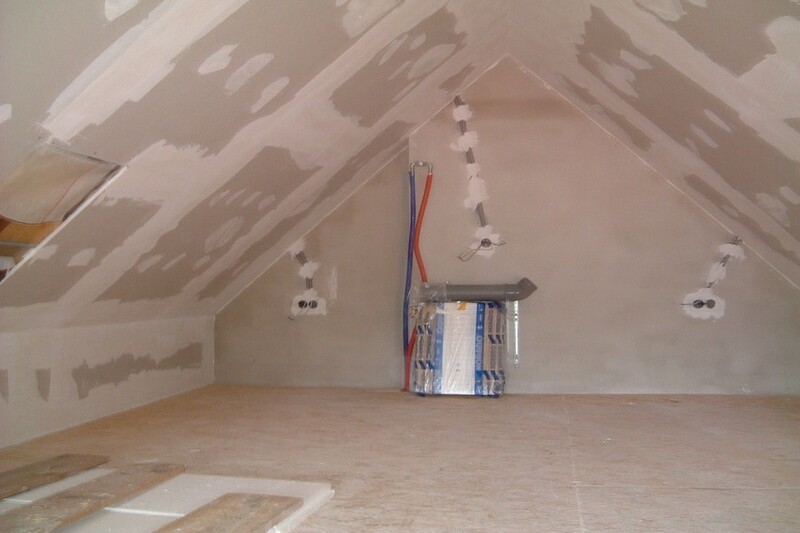 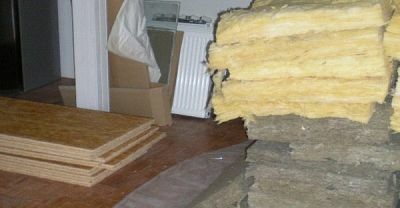 The property was super insulated with a 25% EU Eco funding obtained for the client on the insulation costs. 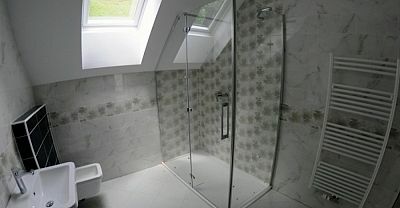 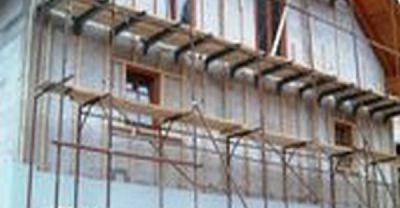 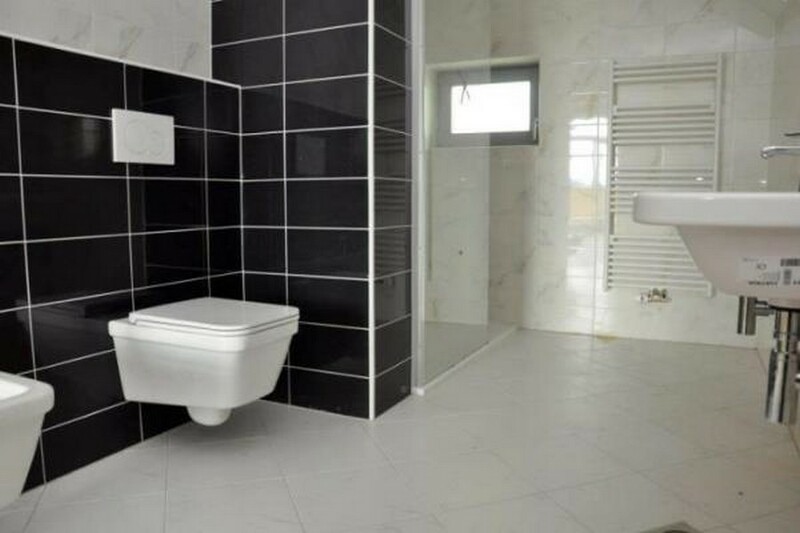 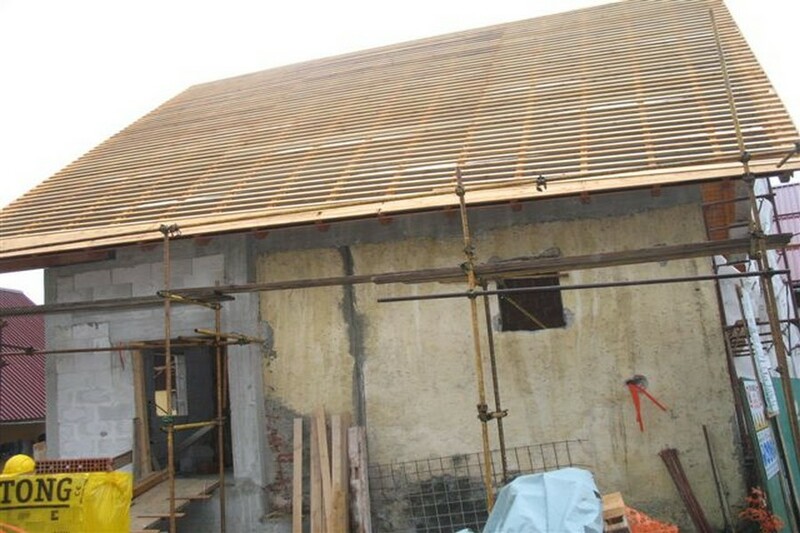 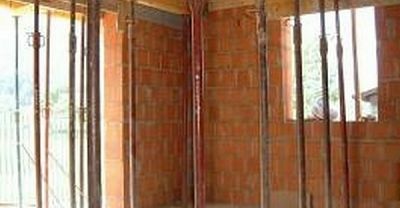 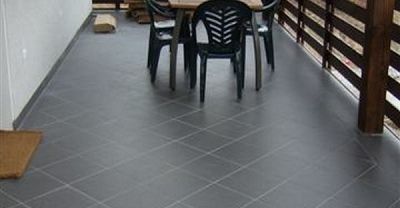 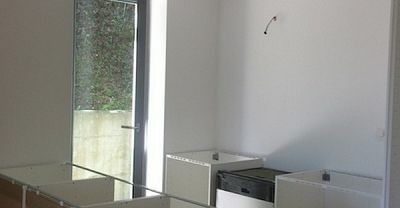 A professional quantity surveyor was brought in to help manage the works which were delivered on time and on budget. 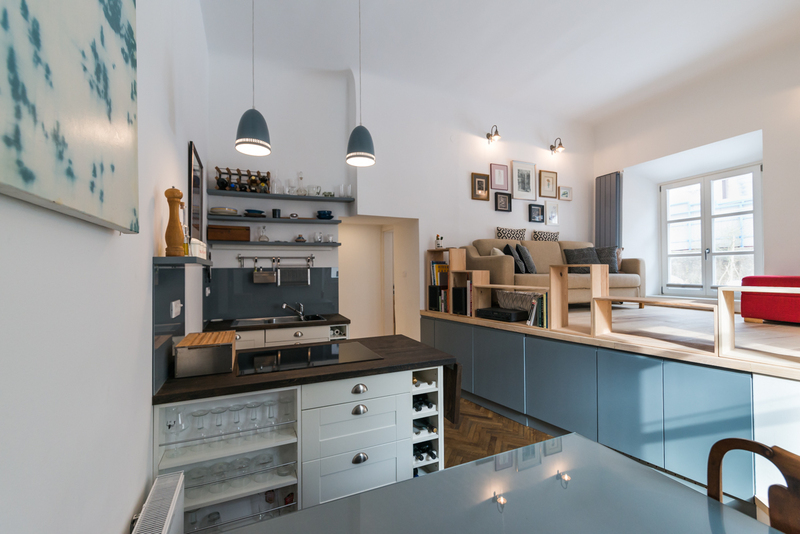 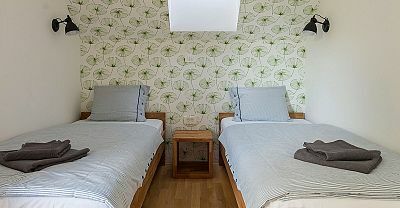 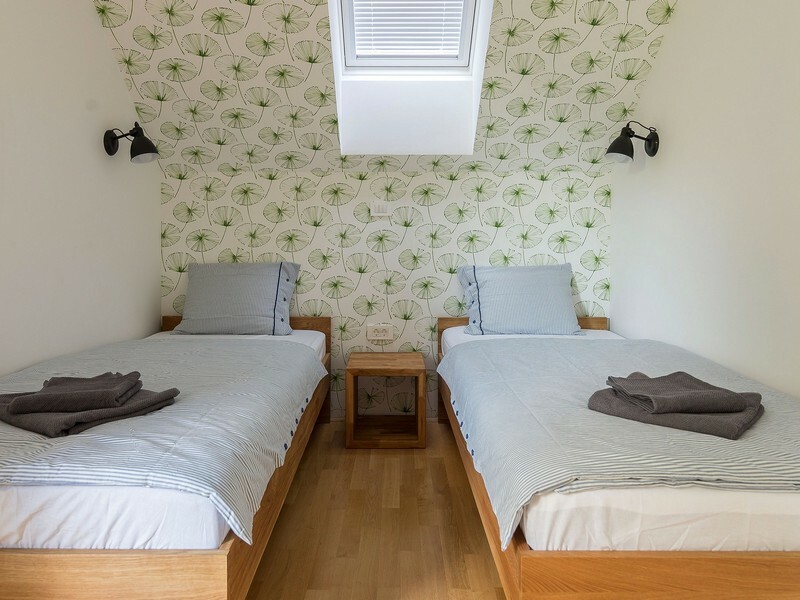 We worked to a mid range budget for furnishing, combining existing funishings with Ikea classics and a few special pieces to create a very comfortable and practical interior for tourist rental. 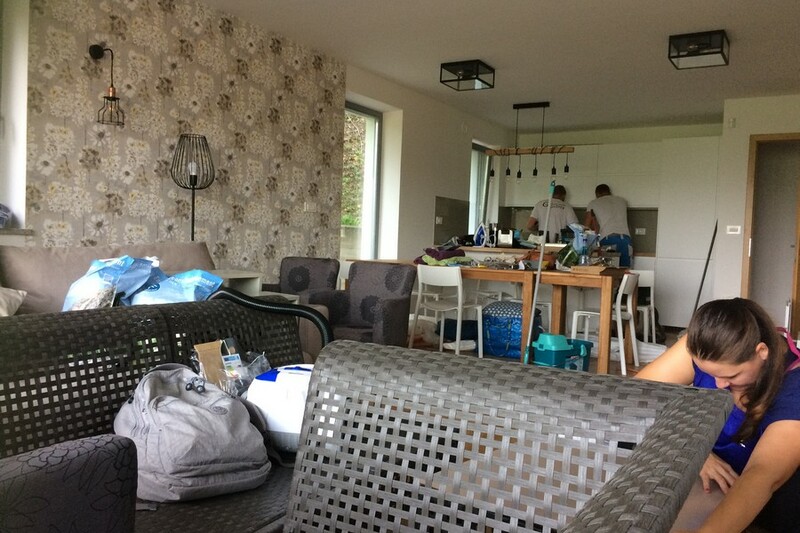 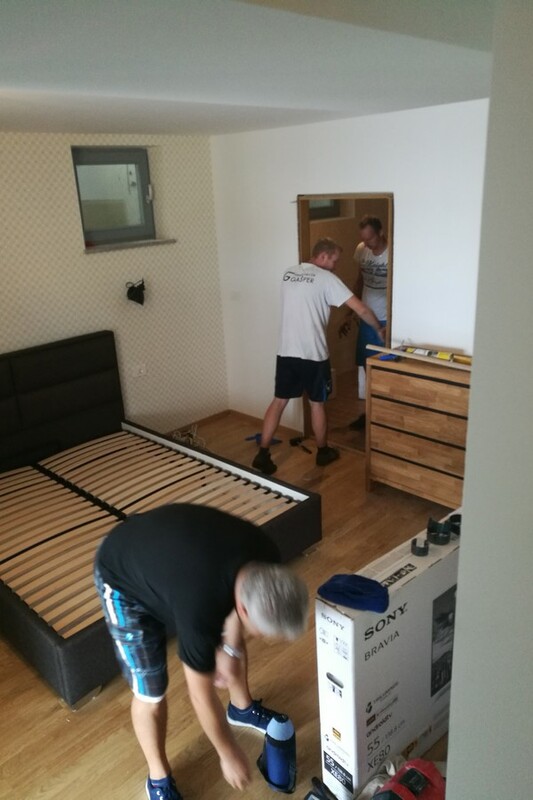 Our whole team got involved at the final stage to build flat pack furniture, unwrap kitchen equipment, install TVs and put final touches like towels & linens in place. 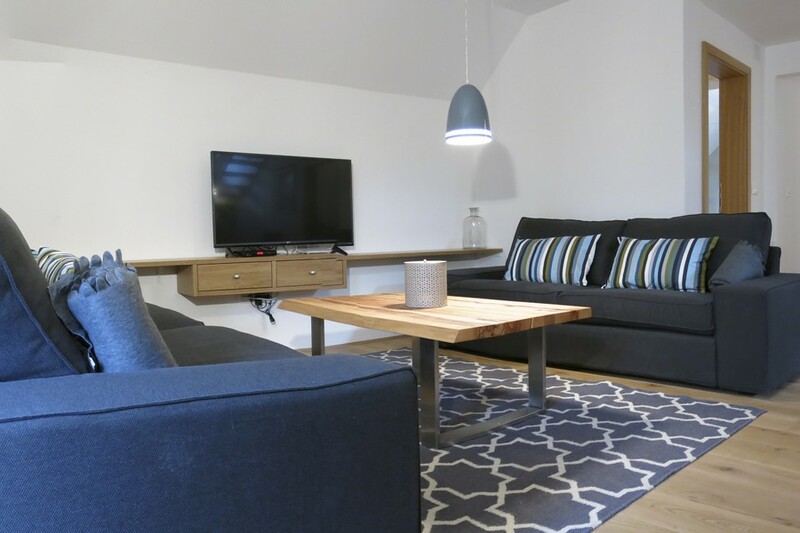 Rental targets were reached in year one with a 7% gross yield on the total purchase / renovation / fit out costs, fantastic reviews from guests and one happy owner! 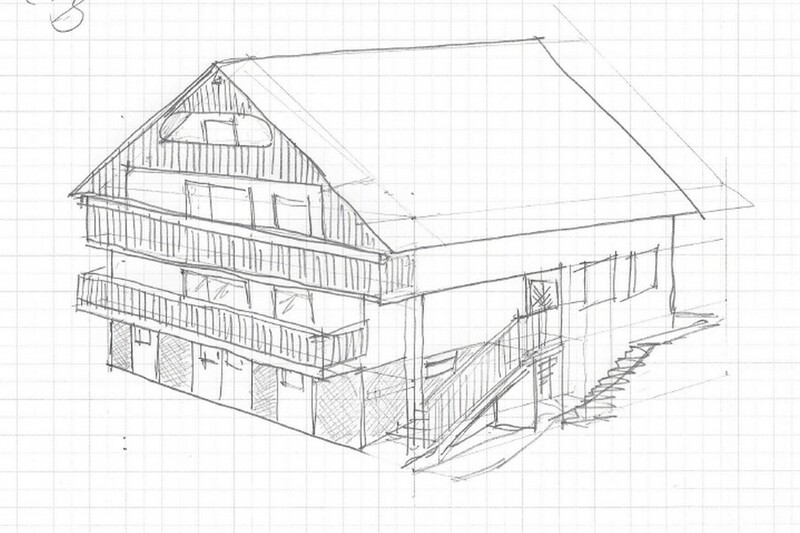 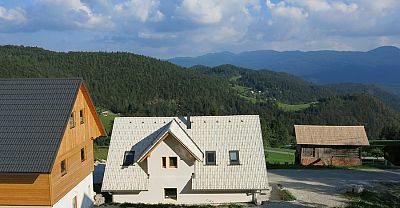 Villa Planina was Think Slovenia's first project where the client wanted to undertake a major development for tourist rental to be built form scratch. 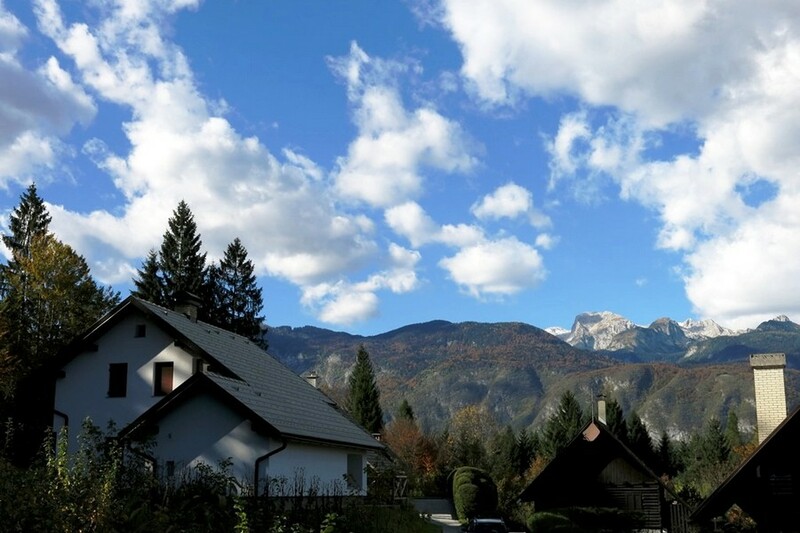 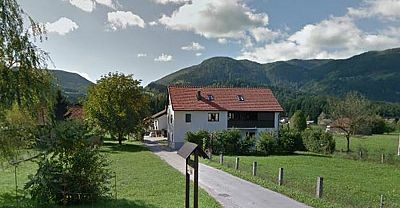 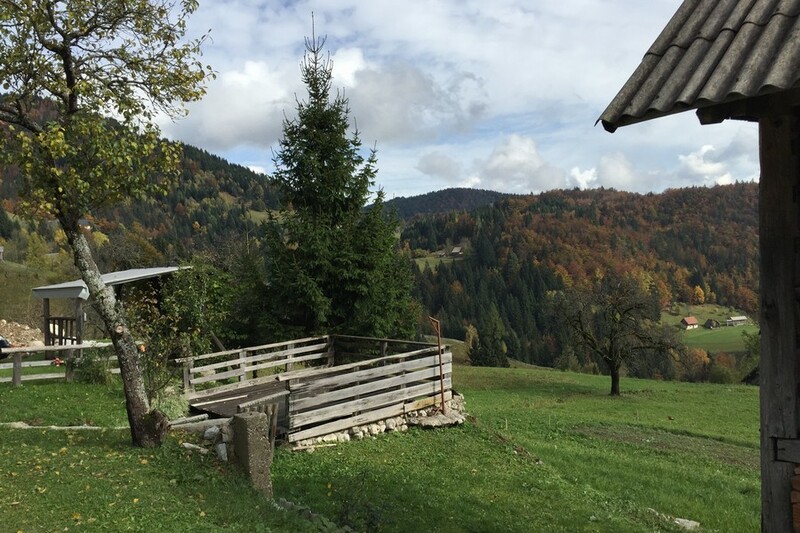 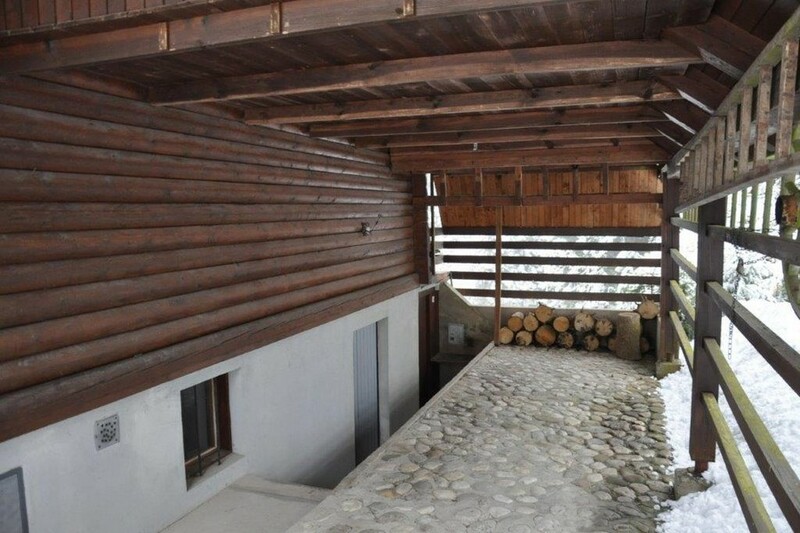 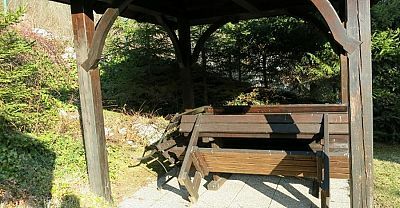 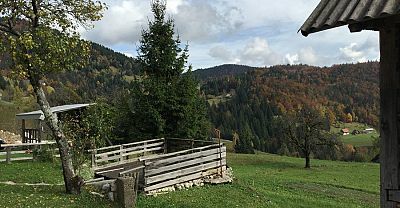 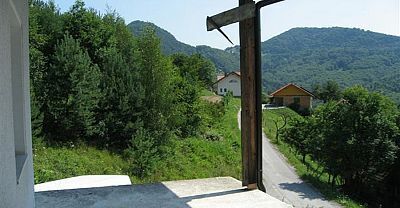 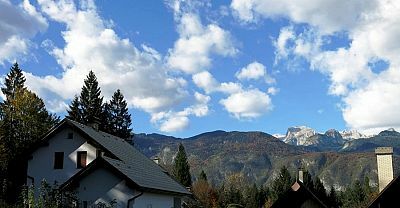 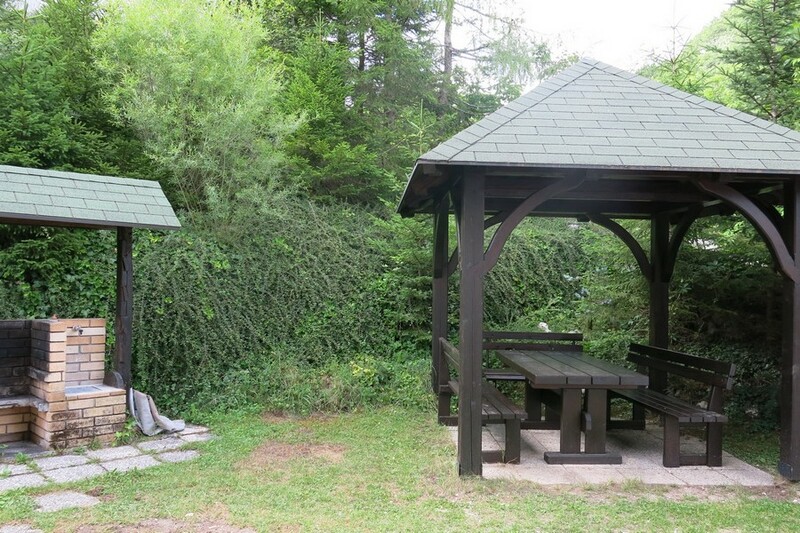 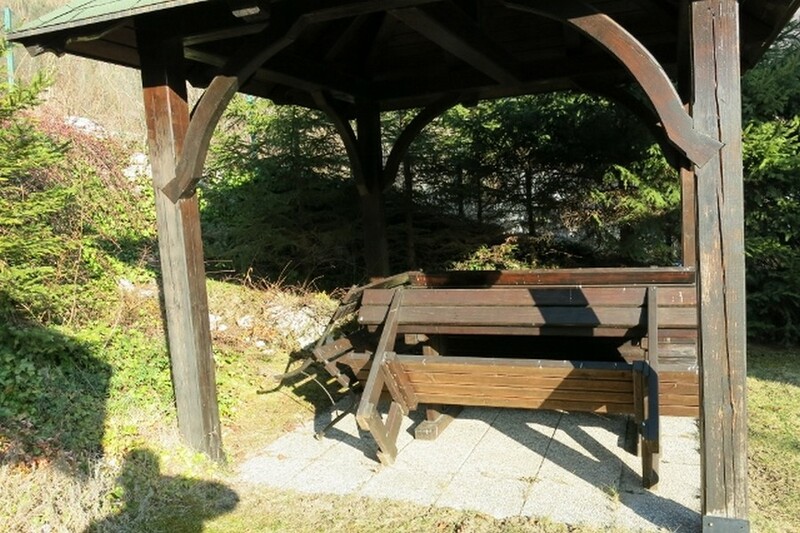 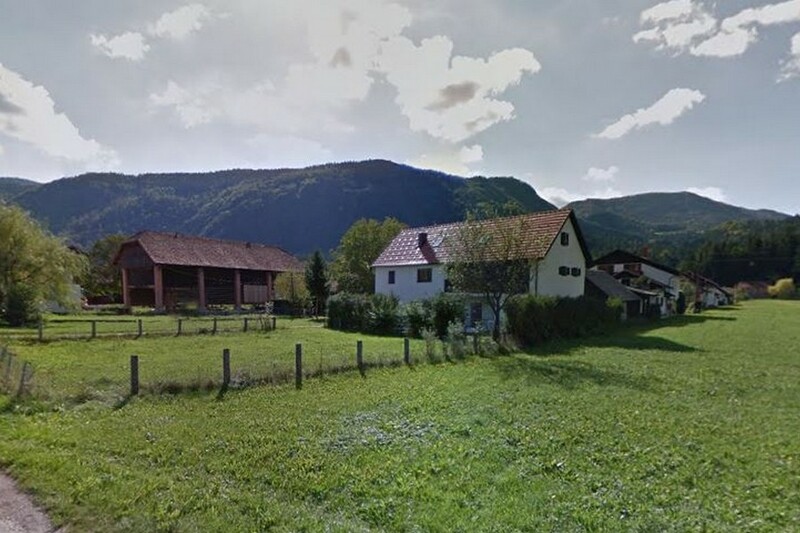 We sourced a stunning piece of land in Rateče, a small village near Kranjska Gora ski resort. 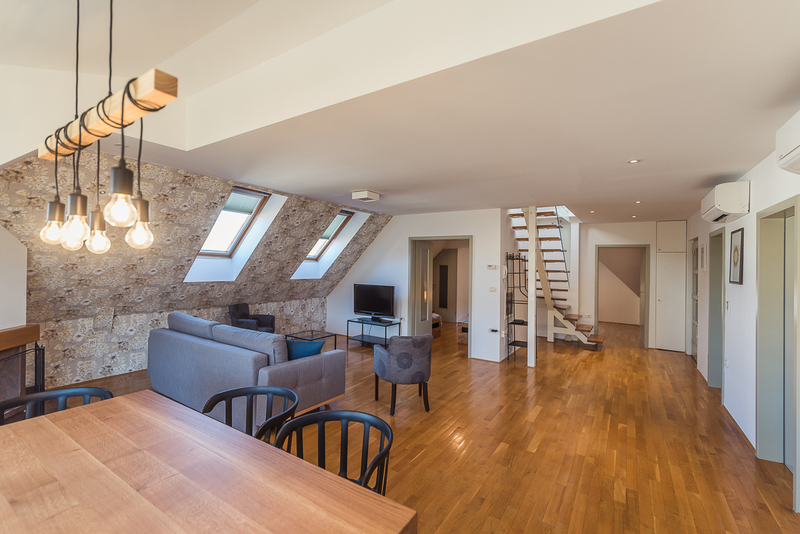 Our brief from the client was to build a high quality 4 apartment building furnished and fitted for tourism rental with an area for guests to relax. 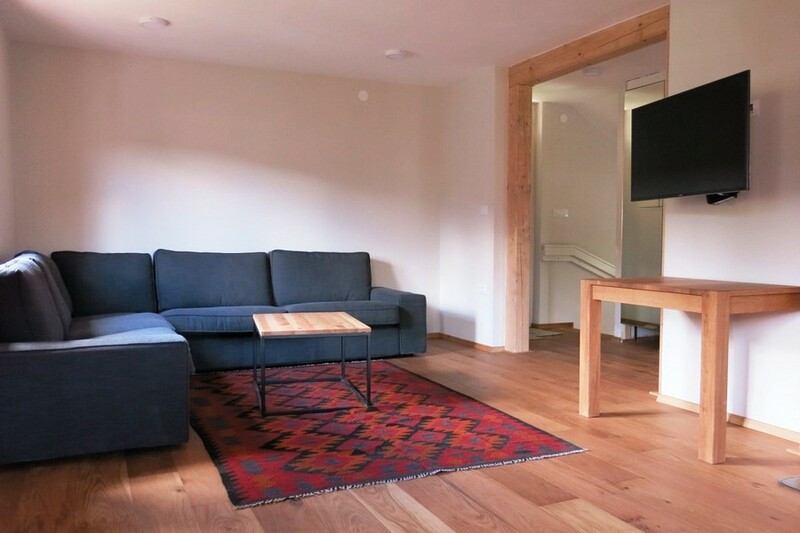 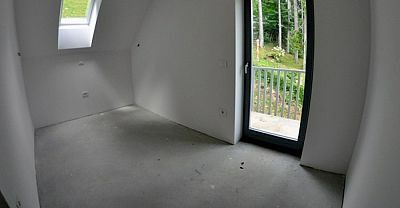 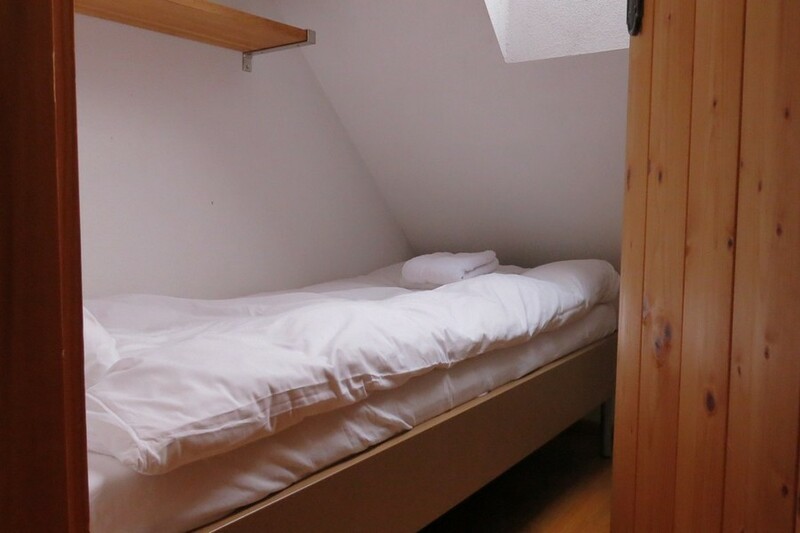 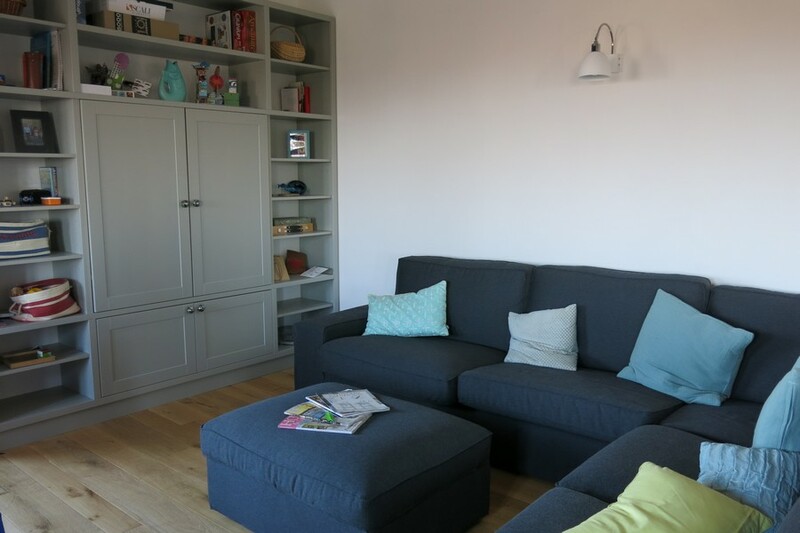 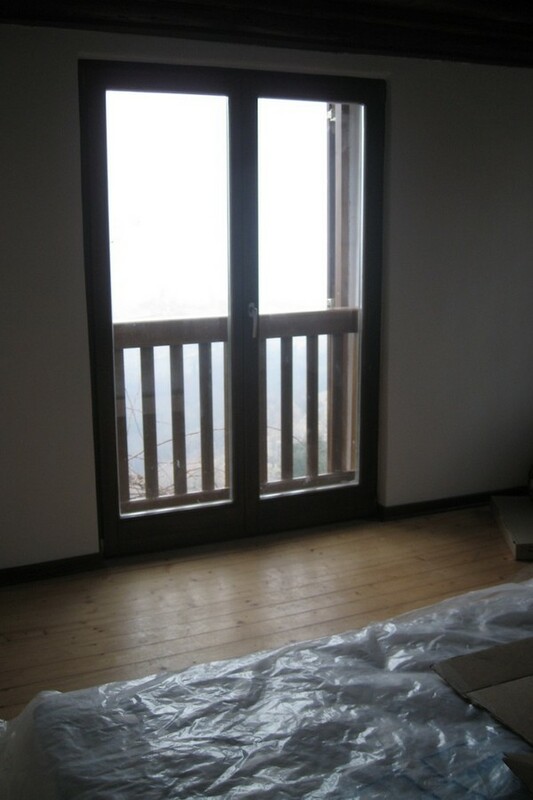 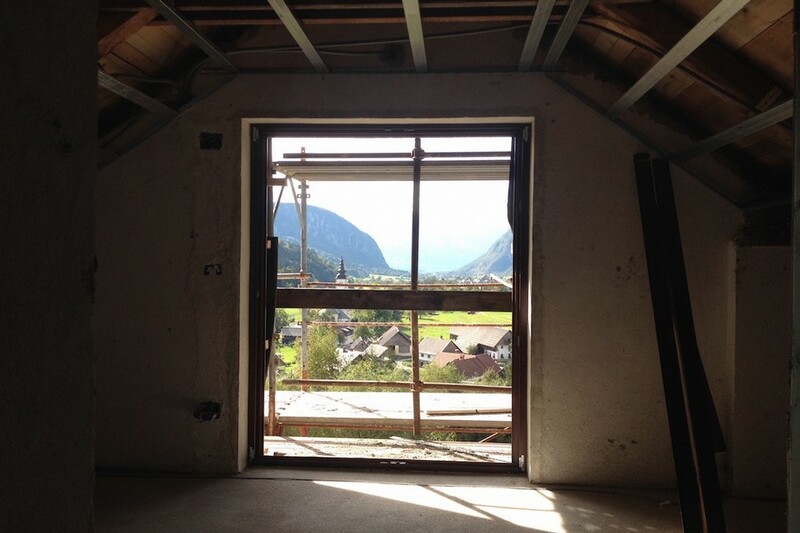 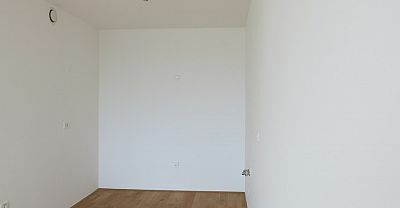 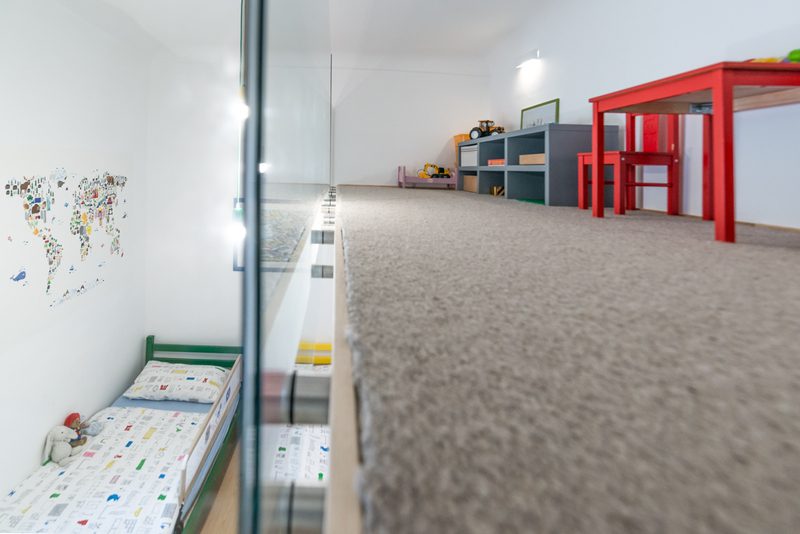 Together with local developers we built 2 two bedroom and 2 one bedroom apartments with cellar where we planned a table tennis / pool room, ski and boot area, kids room and an area for linen storage. 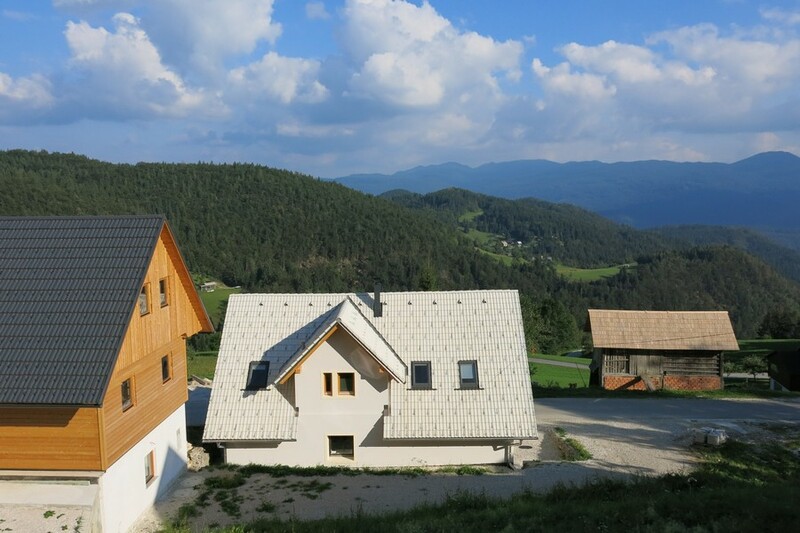 The technical project management and planning side of the build was contracted our by the developer and Think Slovenia assisted the client in appointing and managing independent legal consultants and surveyors to oversee the process. 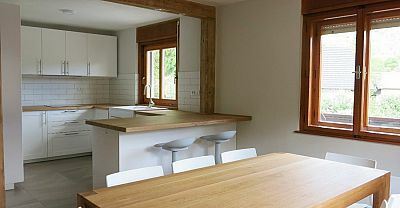 When built, the whole house needed to be furnished and fitted out. 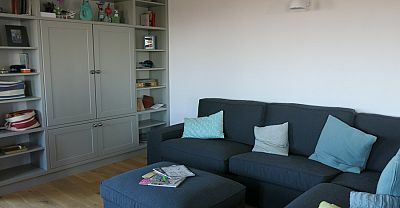 We had a mid level budget for this and so used a mix of "off the shelf" furniture, some unique pieces and a lot of made to measure carpentry. 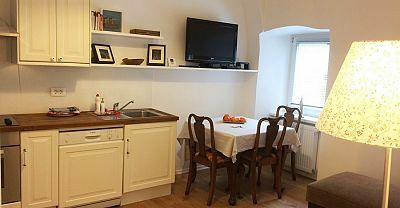 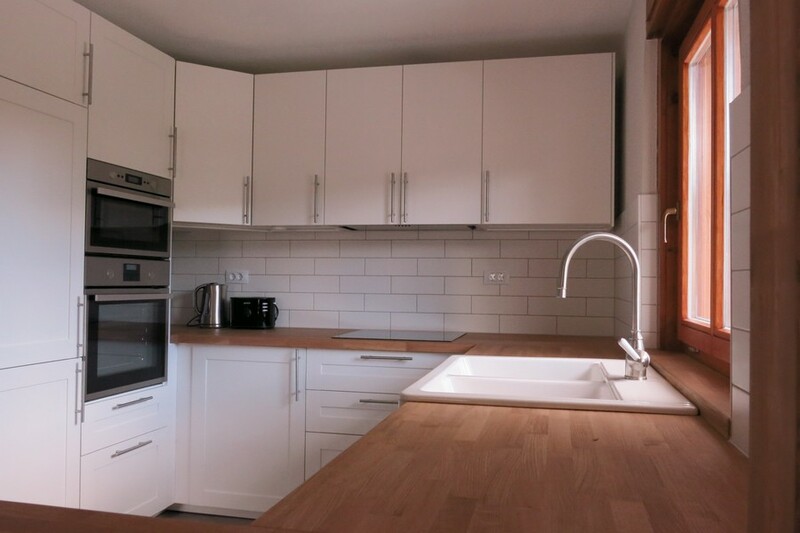 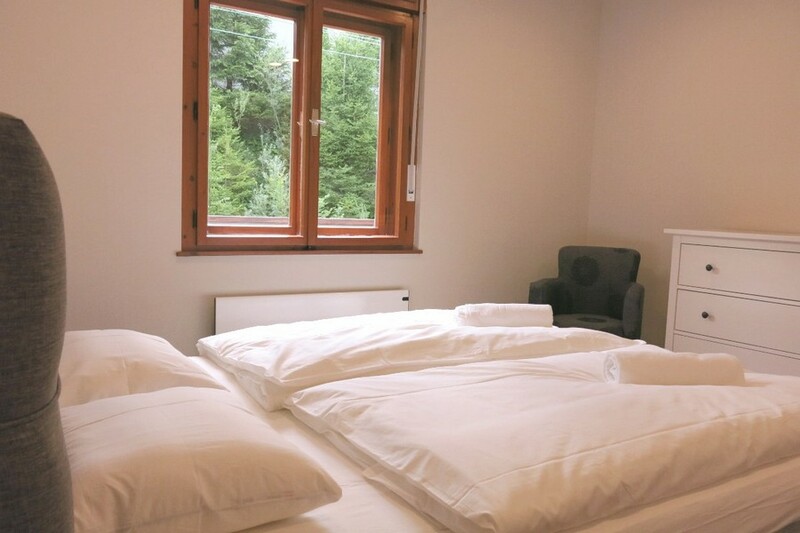 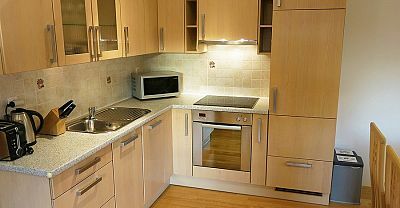 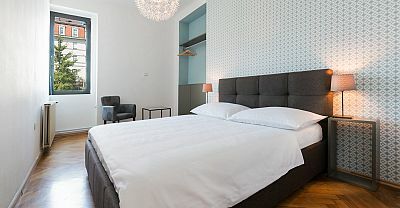 We also fitted out the apartments according to 3* tourism regulations but went the extra mile to make sure that guests felt comfortable with high quality linen, towels etc and fully filled out kitchens. 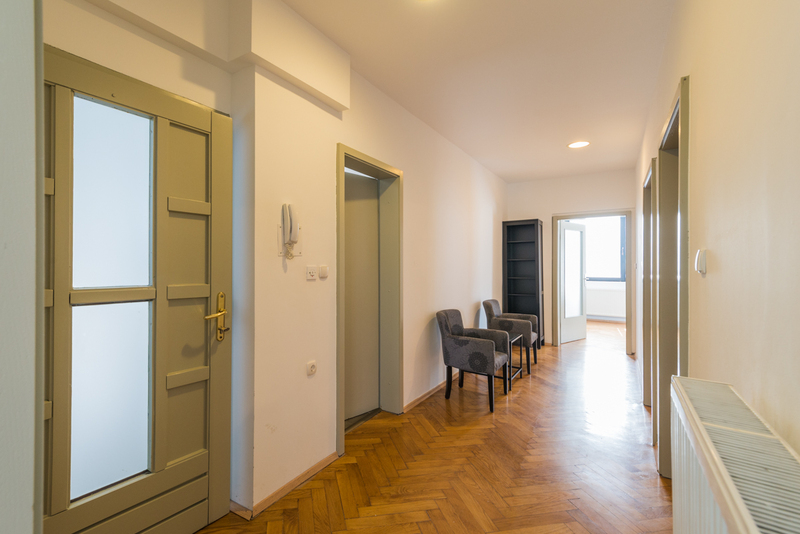 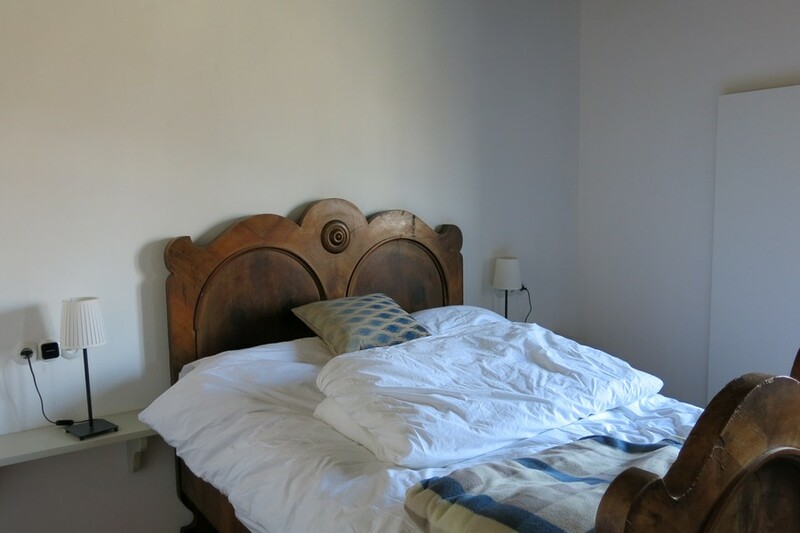 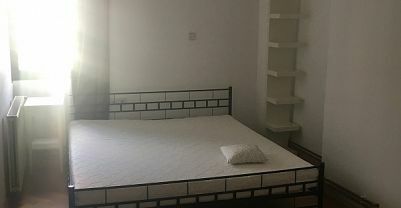 We have been renting and managing this property for the owners ever since, keeping it in a good shape with regular maintenance work to ensure that after 10 years the property is still in excellent condition. 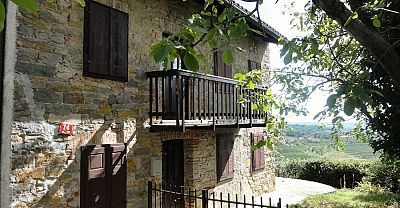 Villa Nebina together was one of largest renovation projects. 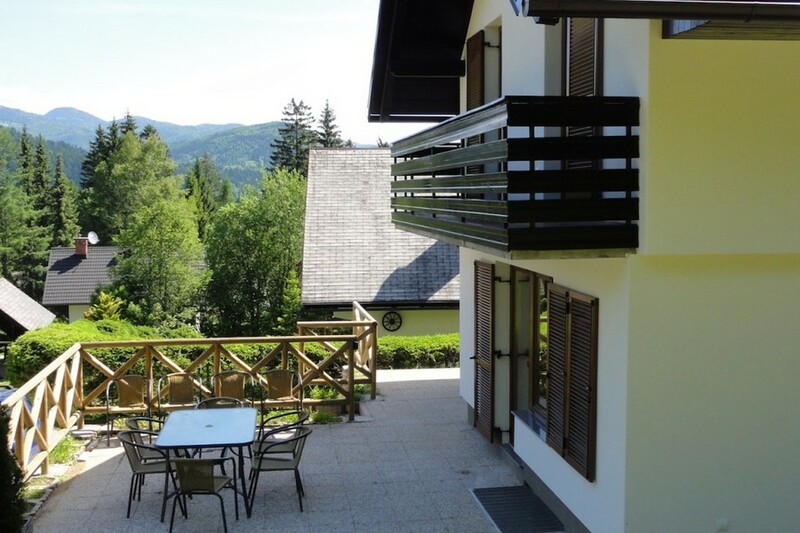 Purchased by a Slovenian Company owned by a group of 4 English families wanting to develop a portfolio of luxury apartments for the discerning traveller in Slovenia. 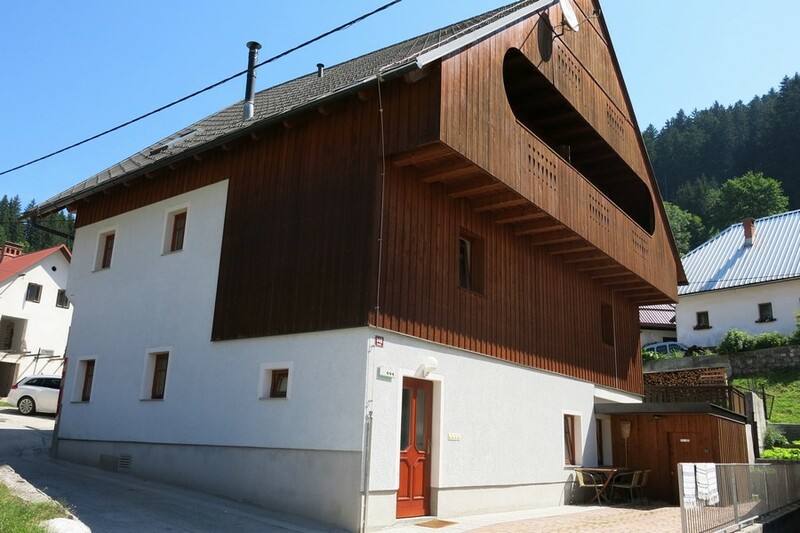 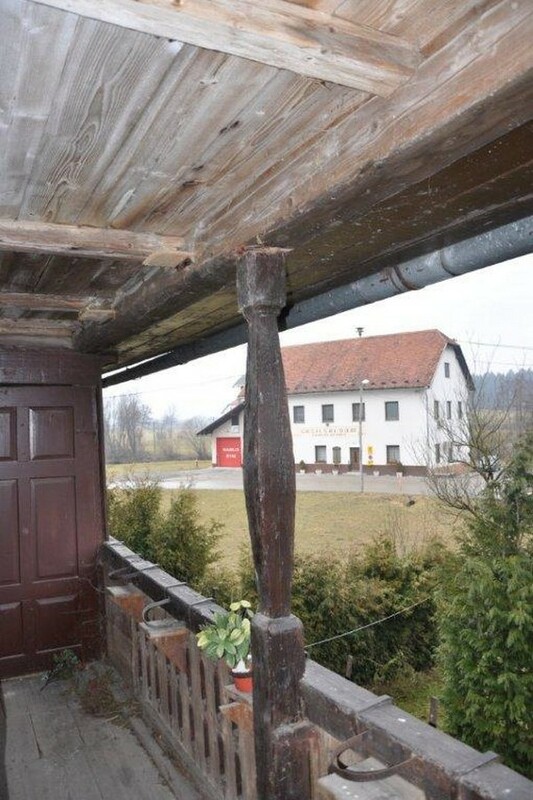 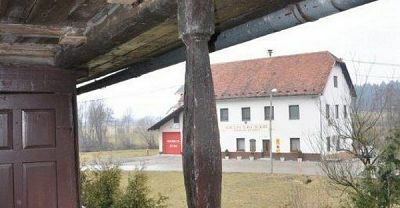 Villa Nebina, located inthe charming faming village of Rateče close to Kranjska Gora, was originally a large typical farm building, part residential, part barn, dating back to the late 19th century and needing lots of TLC. 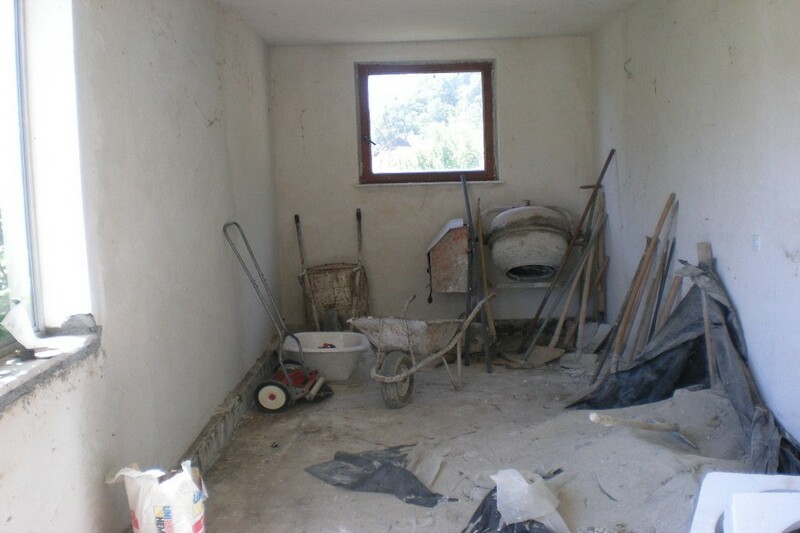 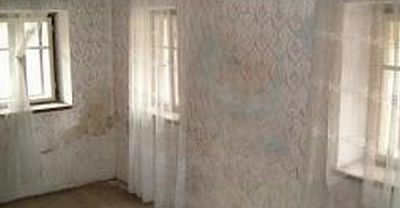 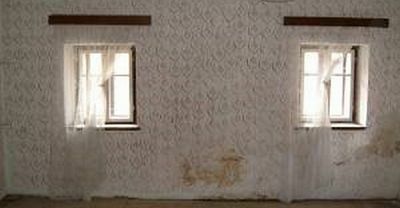 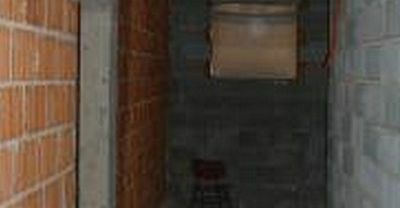 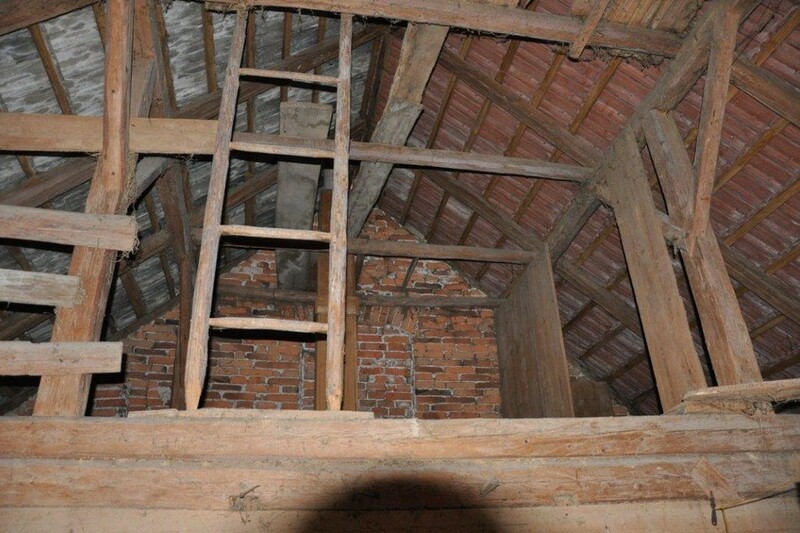 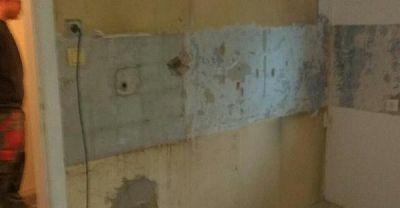 It may have been abandoned for a few years but nevertheless it was packed full of charm, which we aimed to retain as much of as possible, with as many originall walls and features as possible. 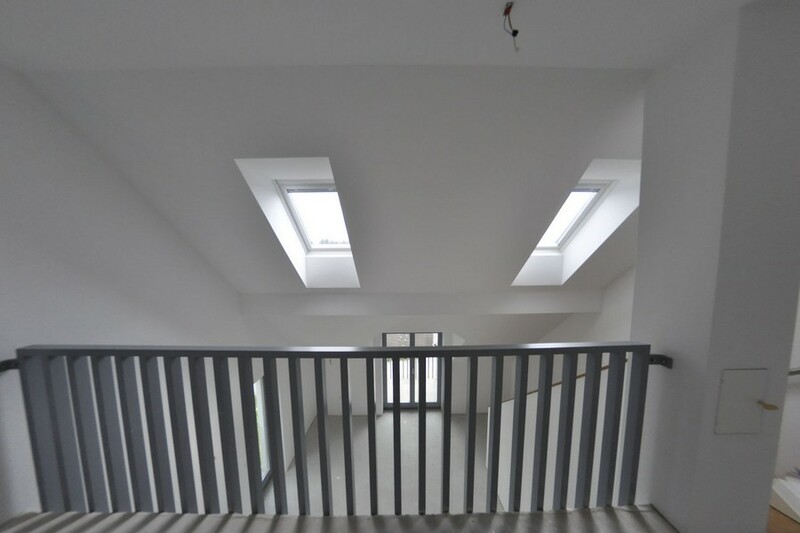 We also had to navigate tight planning restrictions for this protected property and it ws challenge to create 4 apartments to comply with developer's wishes. 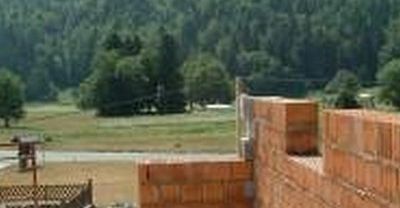 We worked with a professional devleoper on the works helping the owners appoint and manage their own surveyor and legal consultant to control the works. 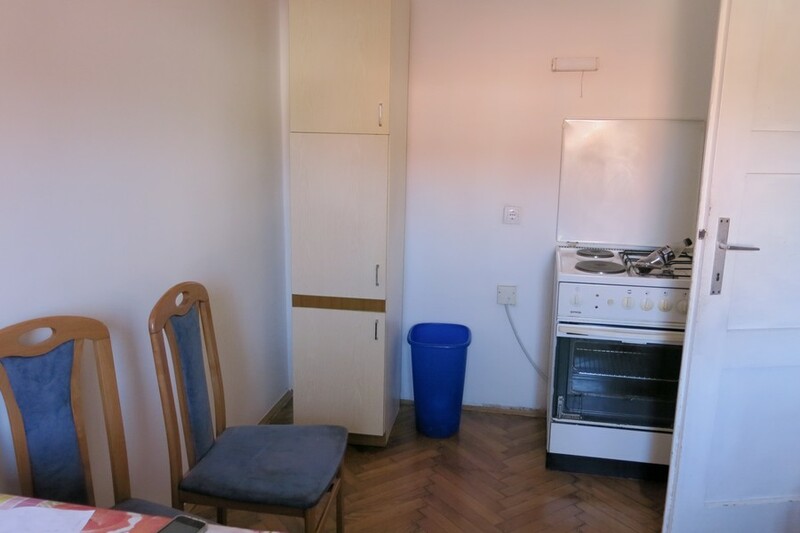 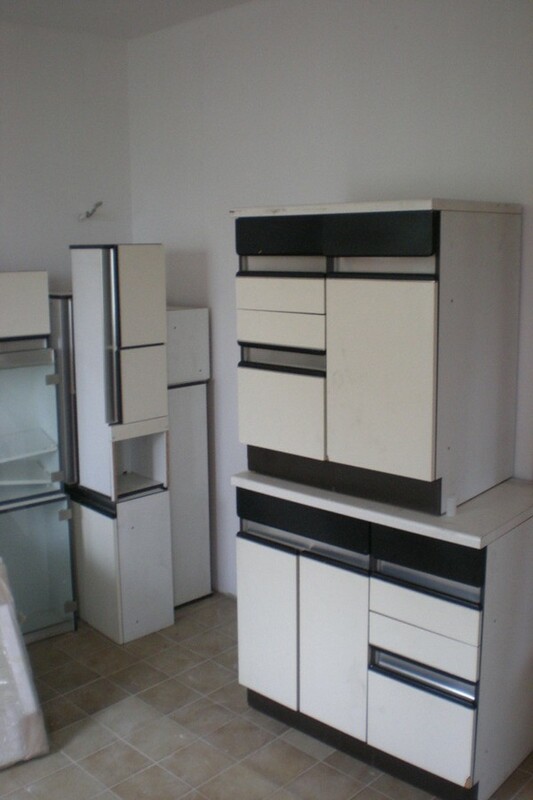 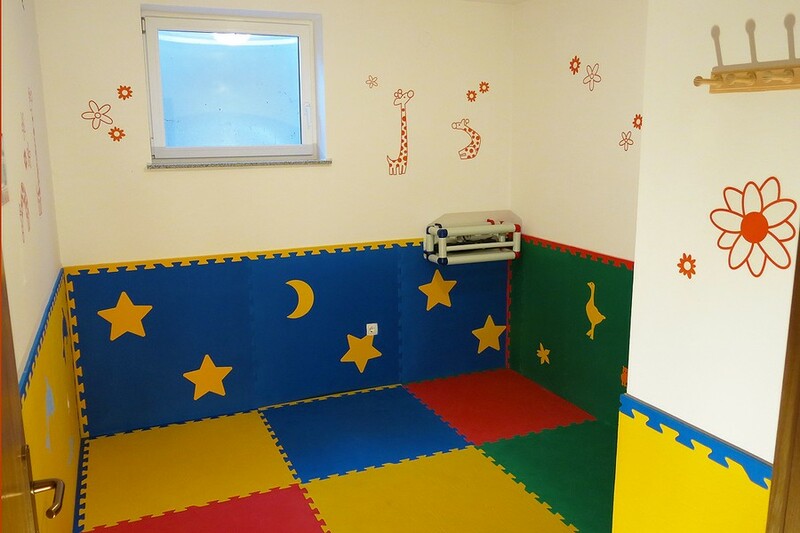 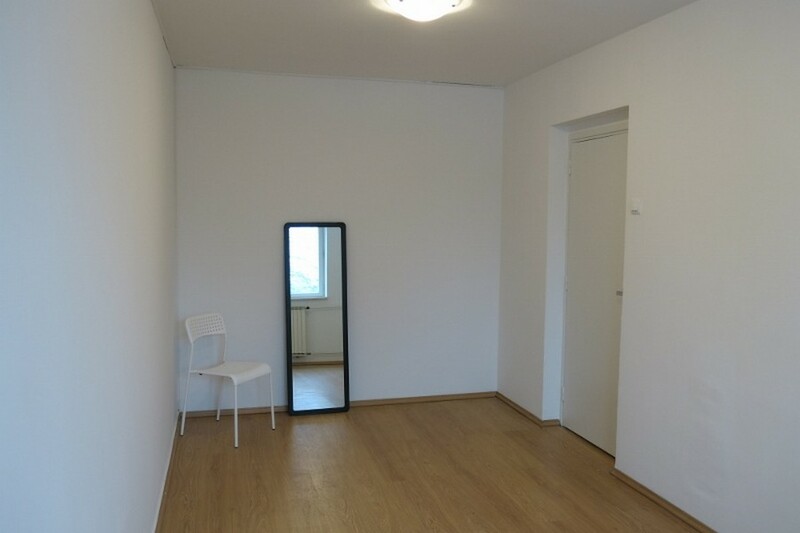 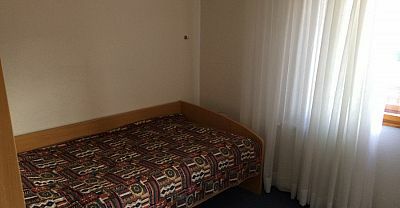 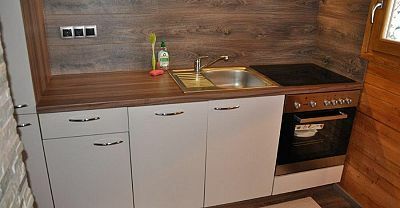 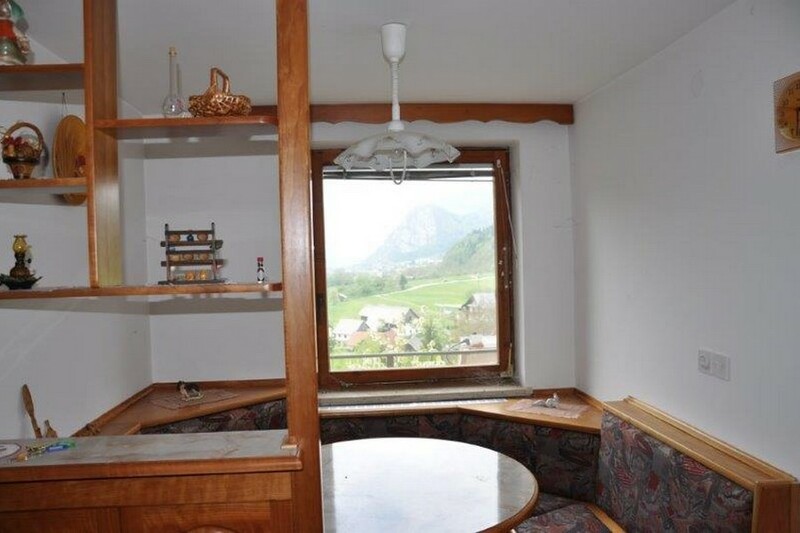 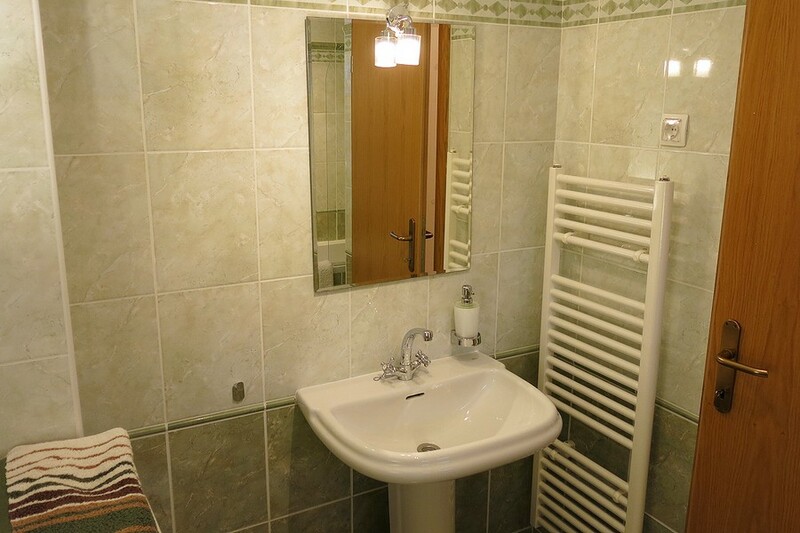 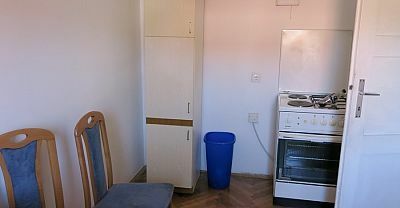 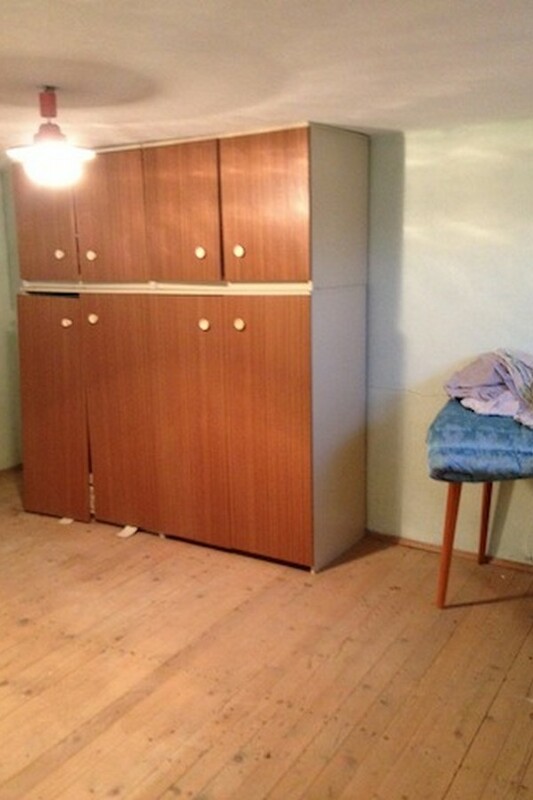 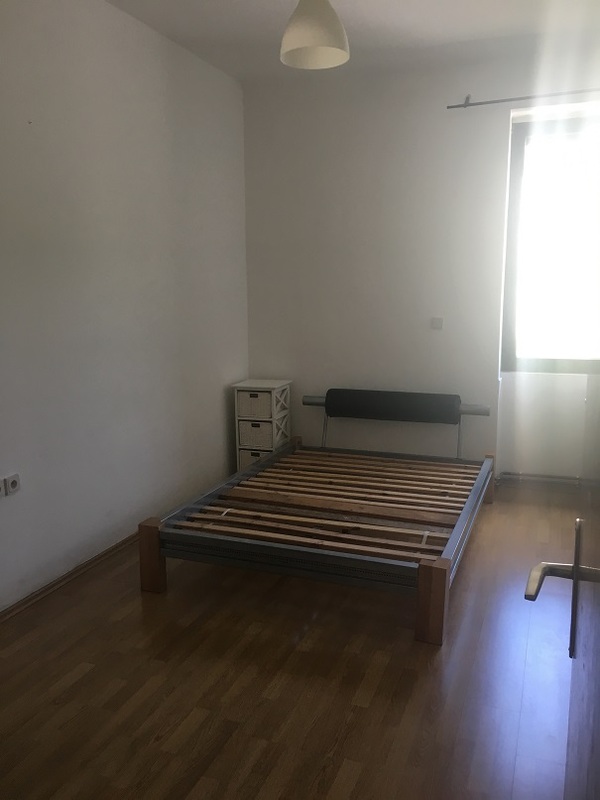 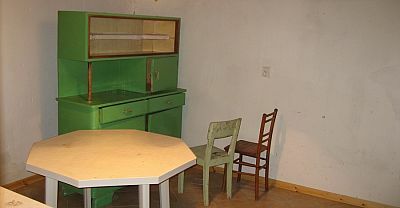 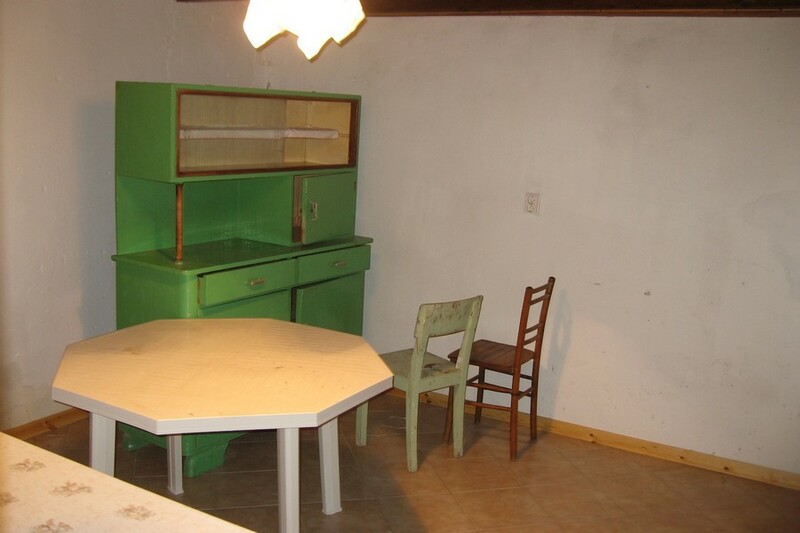 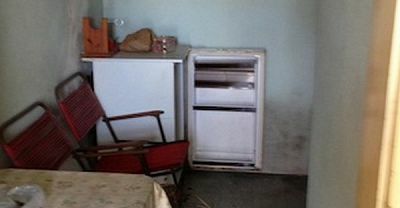 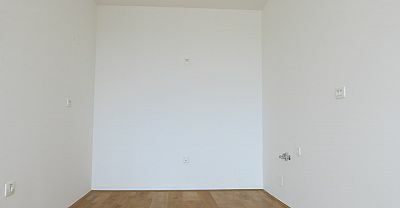 After completion of works Think Slovenia took on a complete fit out and furnishing brief working to a tight budget to furnish all the apartments and kit them out for rental down to the last spoon and fork. 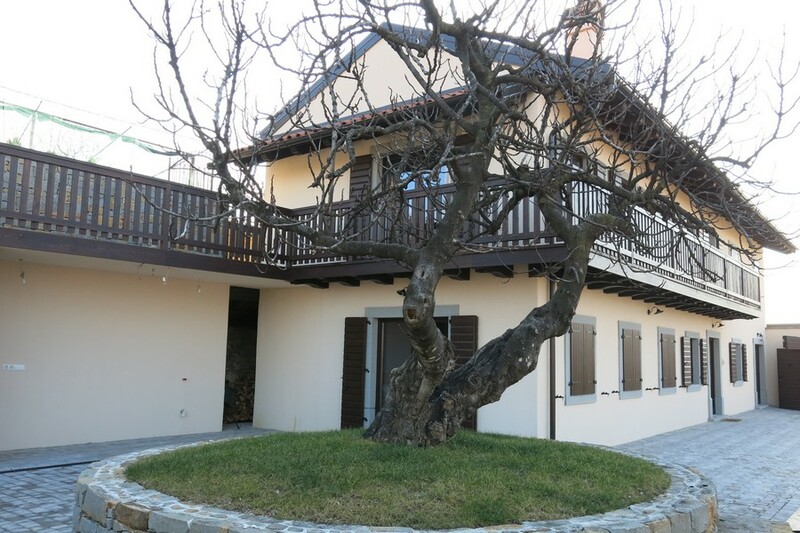 Villa Nebina has been a successful project for many years now, welcoming several hundred tourists every year. 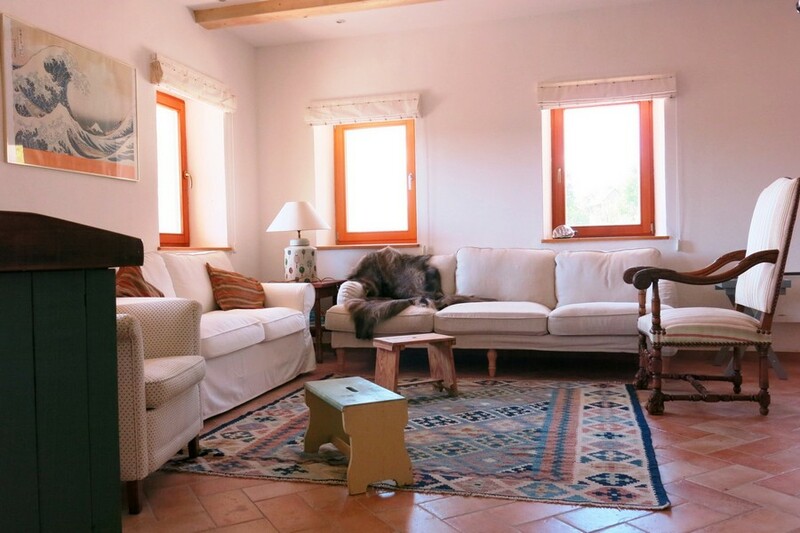 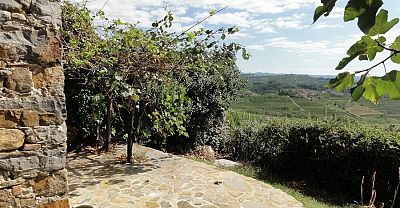 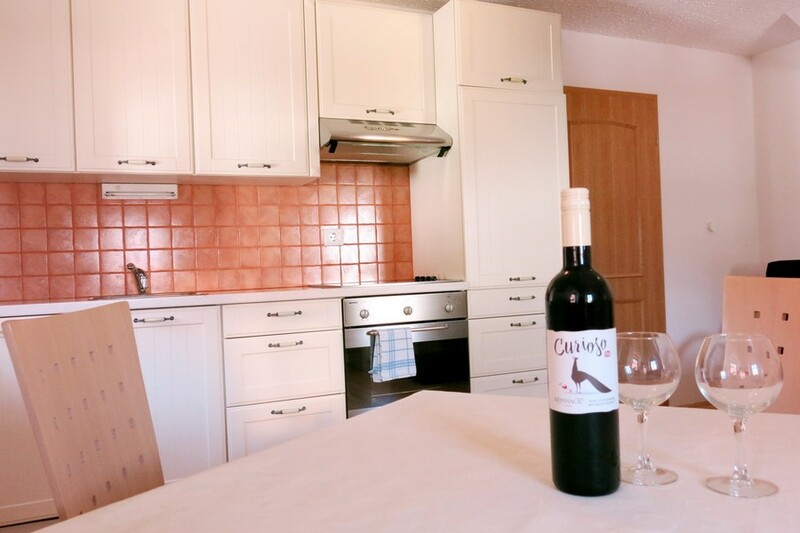 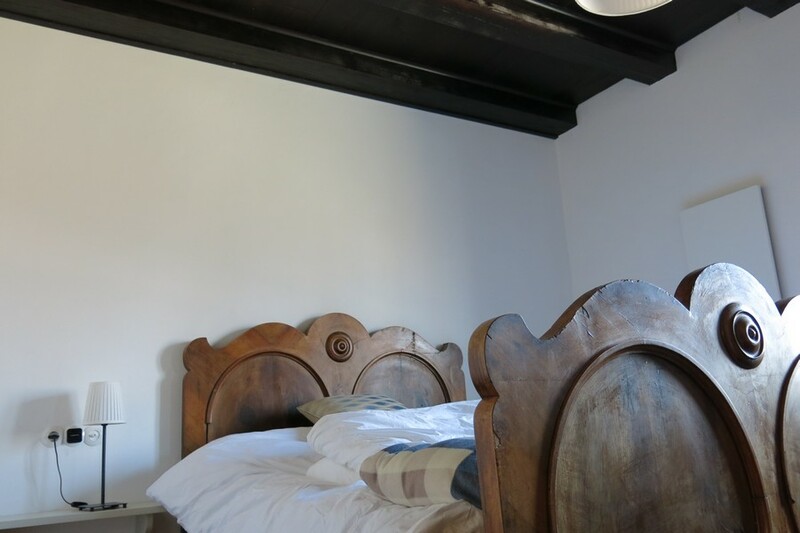 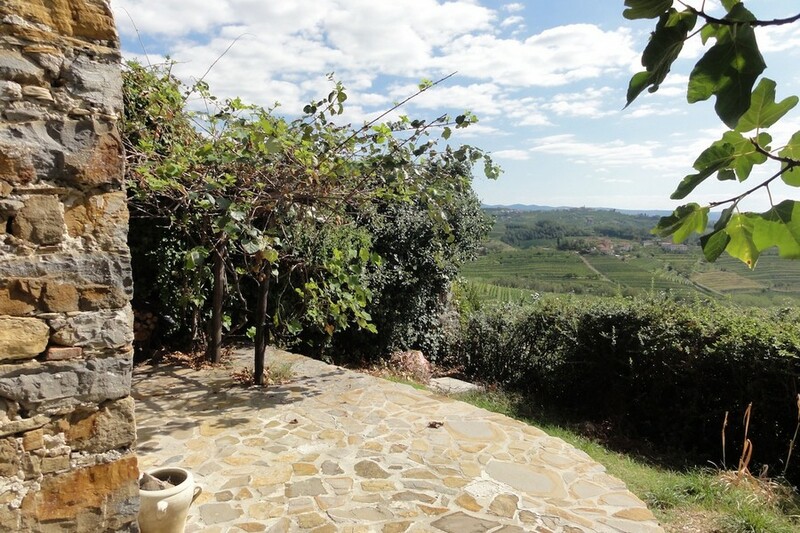 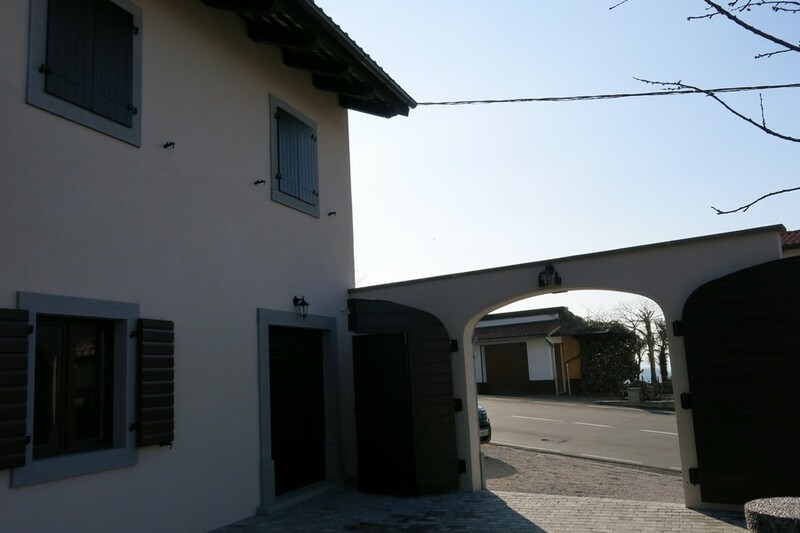 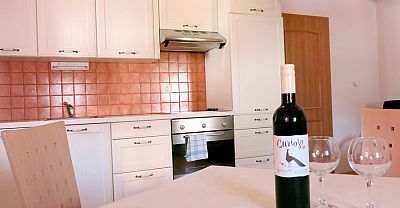 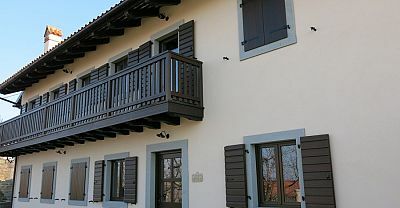 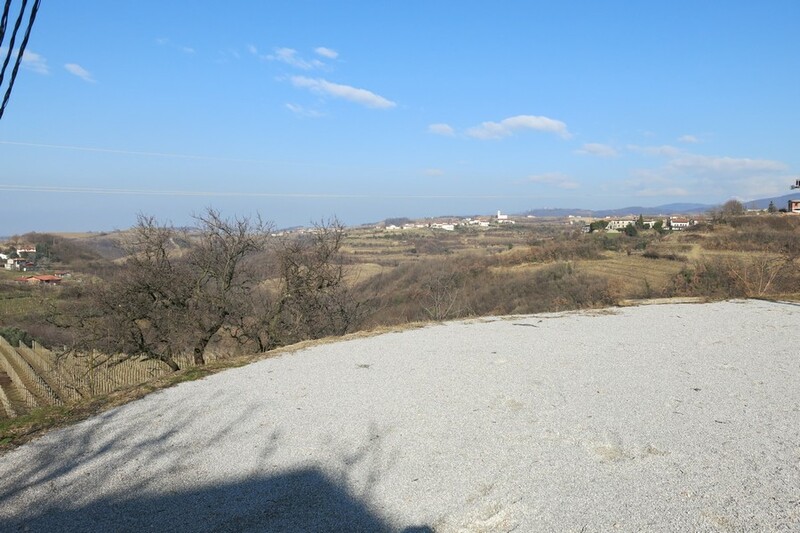 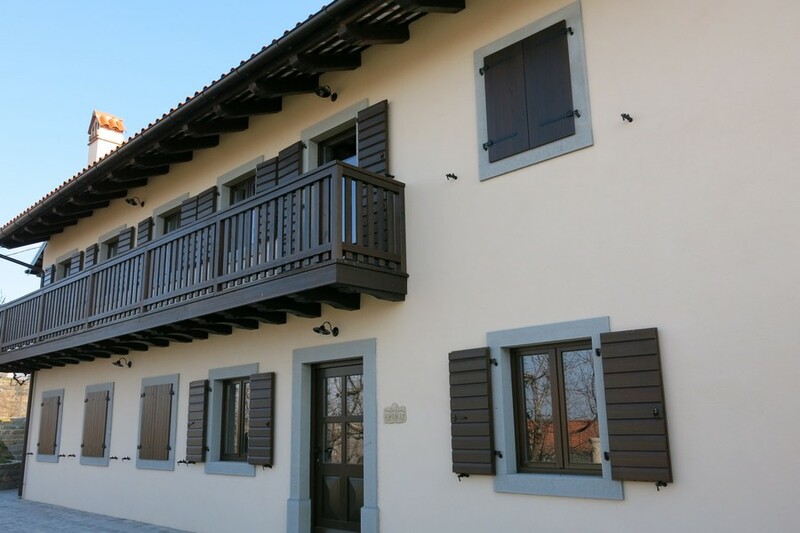 Šmartno is a charming village in the Goriška brda wine growing area of Slovenia and the owners of this property had a true love for the region and its wines and briefed Think Slovneia to help them find the perfect holiday property for them to enjoy both! 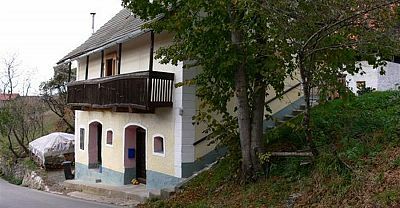 We searched for a while for a suitable property in various villages including Šmartno which is one of the showpiece villages of the region. 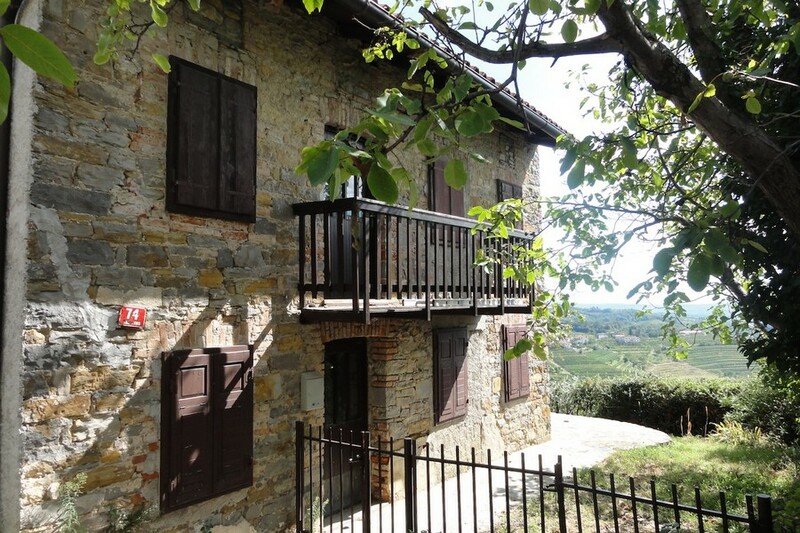 After a long search we managed to find them an old house in a great position in walking distance to the centre of the village but with great views over the hills and vinyards. 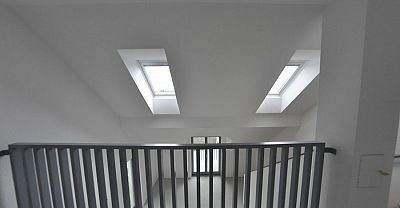 We first helped the owners contract with an architect who undertook a building permission application. 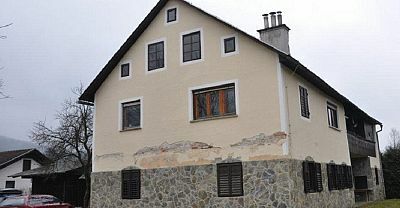 Unfortunatelly a lot of the original house had to be demolished due to the condition of the walls, but the owners worked painstakingly with Think Slovenia, our partner quantity surveyor and partner interior designers to create a stunning Goriška brda style villa which retained many of the original features and materials to create a truly stunning home in this wonderful region. 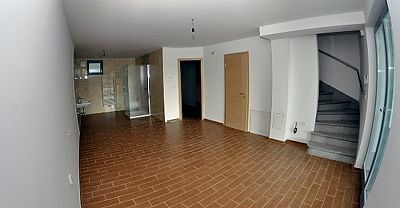 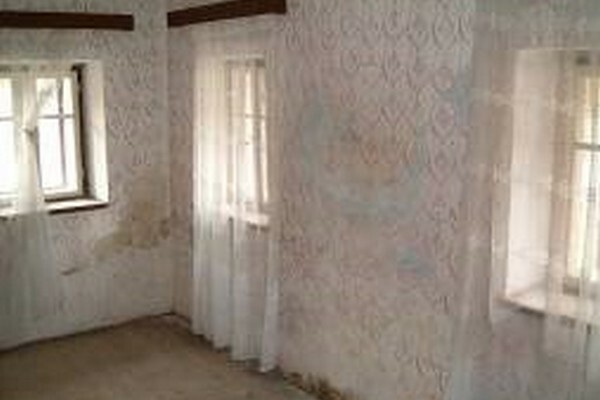 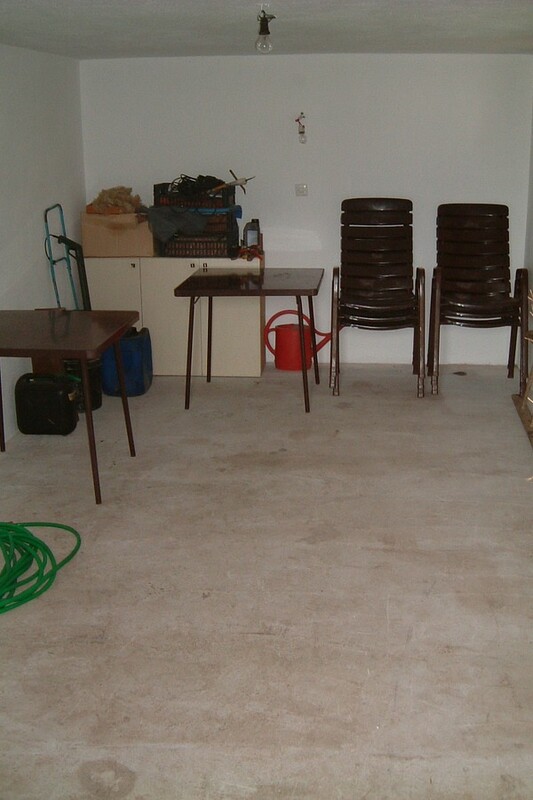 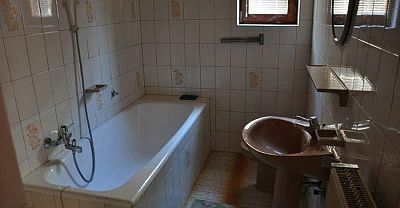 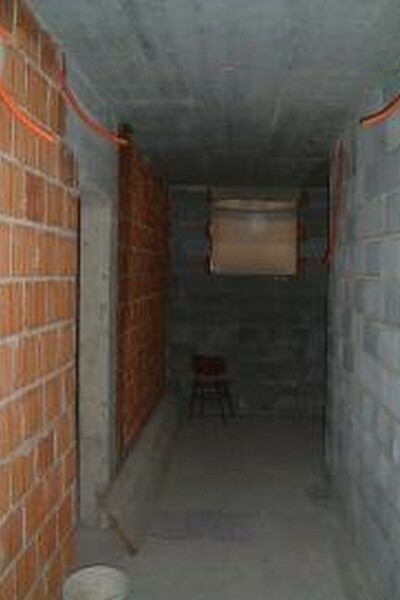 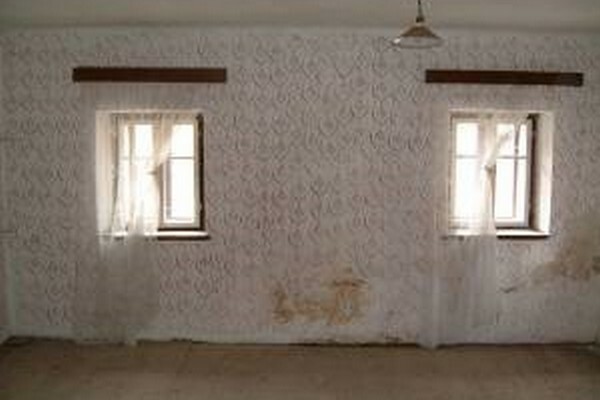 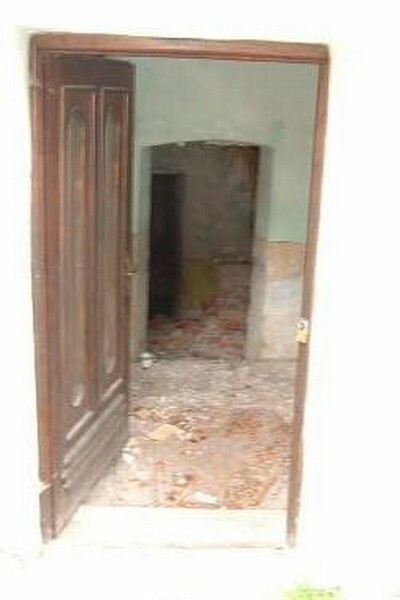 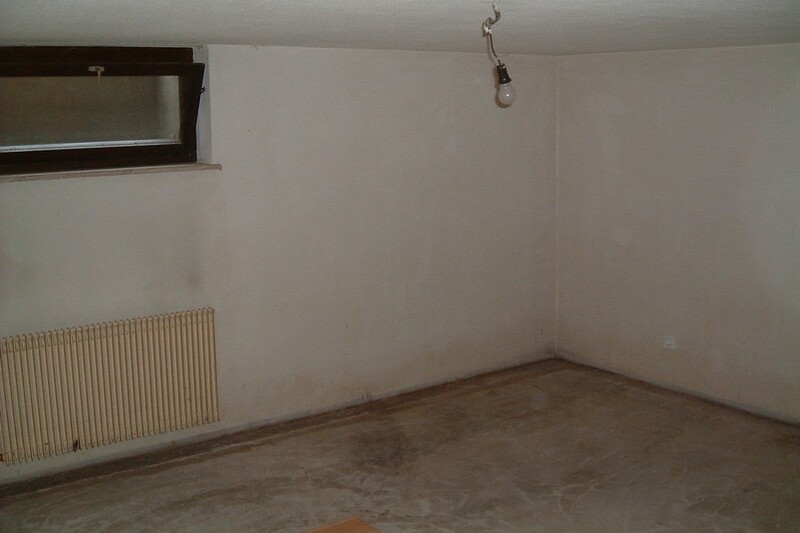 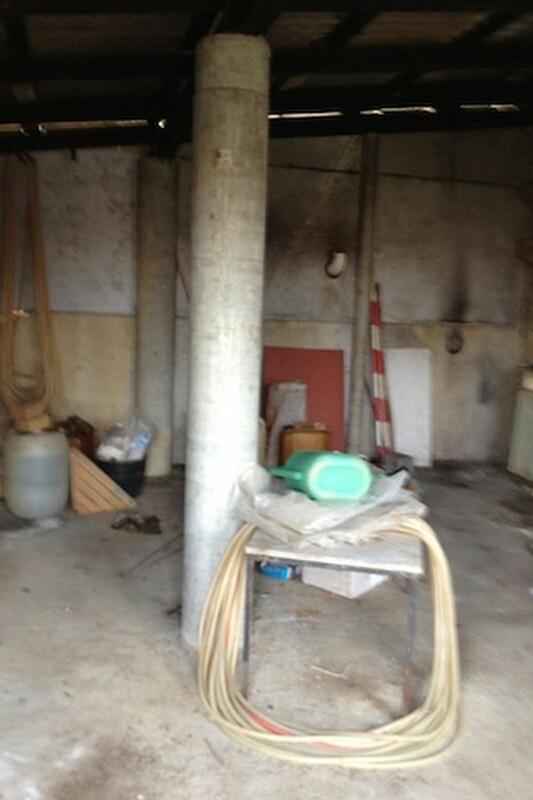 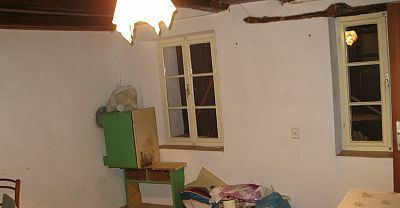 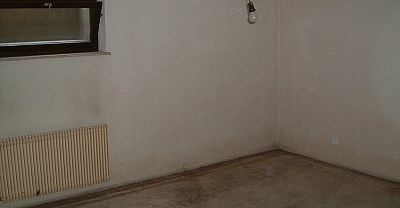 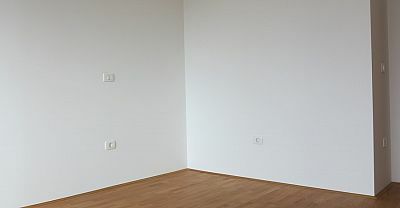 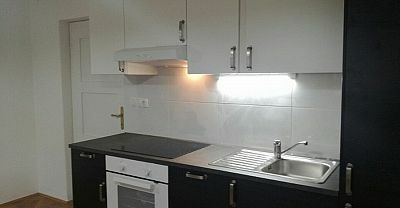 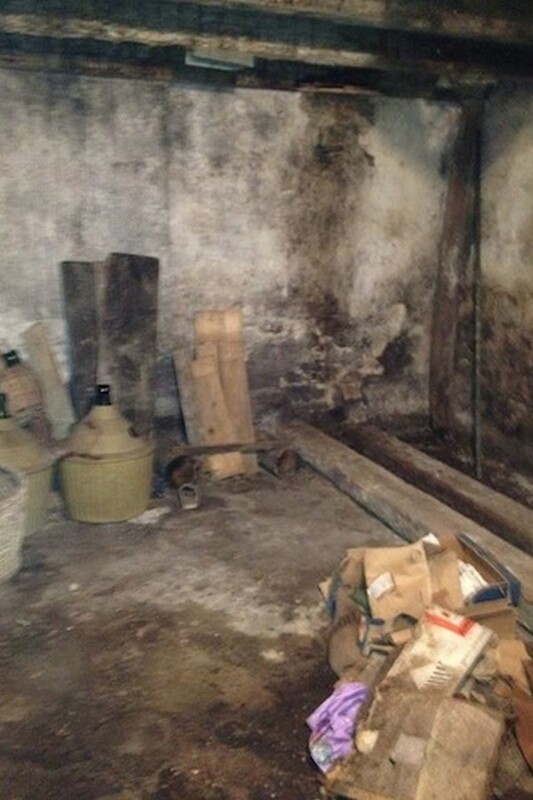 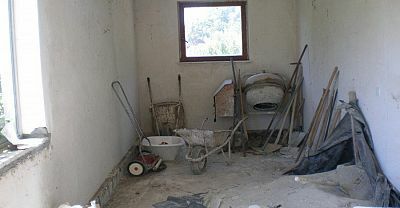 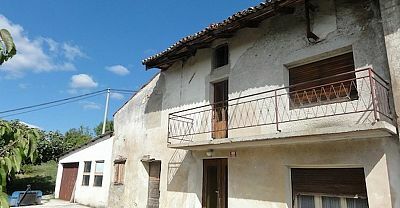 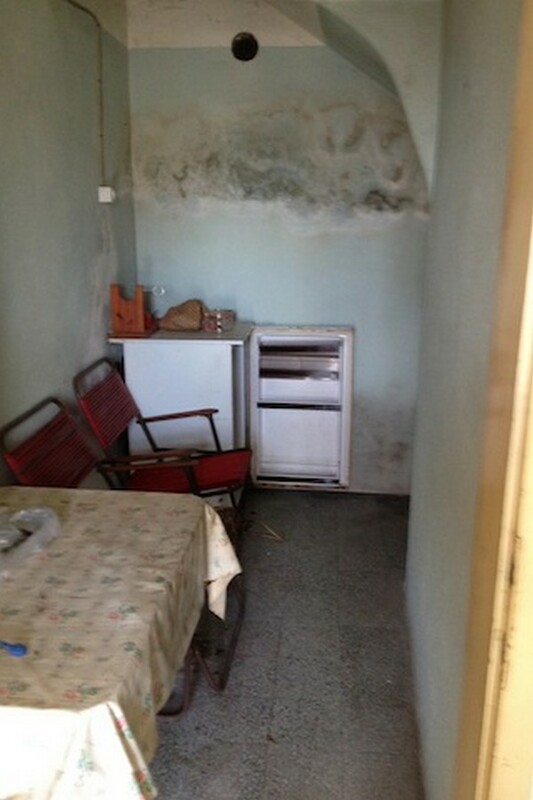 The property is now ready for rental and Think Slovenia have been appoointed to assist with the management. 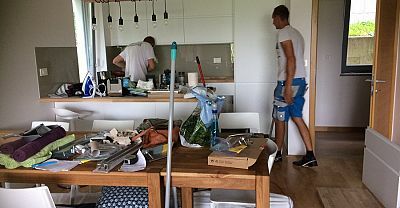 After Dan and Pia ('Think Slovenia') found our house in Slovenia for us to buy in 2007 there was no question of who to ask help with arranging the renovations in 2012. 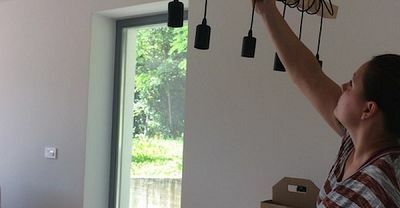 They were extremely prompt and helpful in finding a local architect and was with us every step of the way from the initial meeting through to arranging a quantity surveyor and then through to the final result. 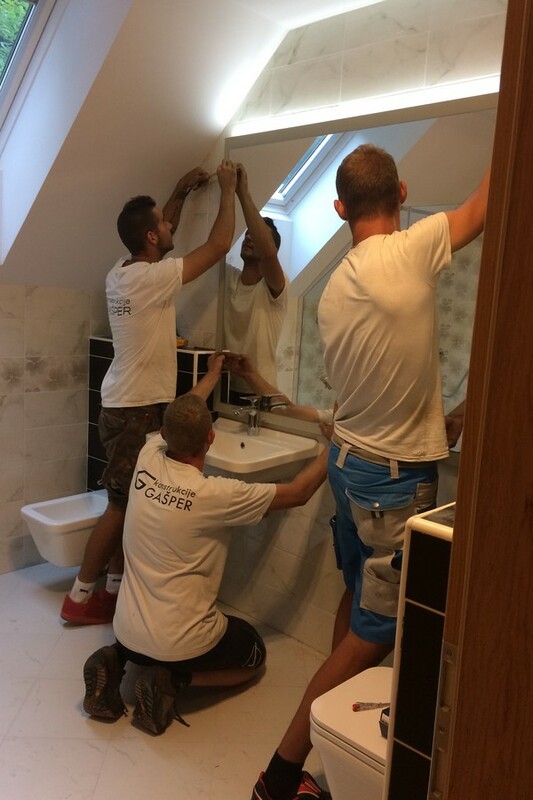 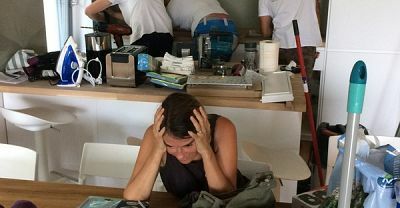 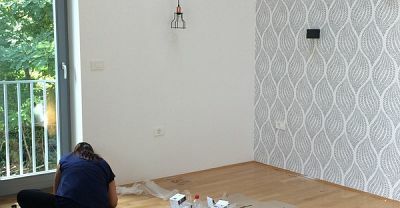 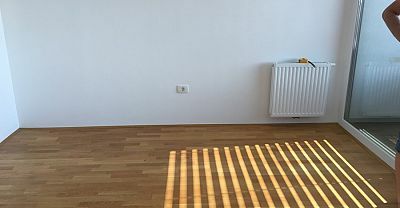 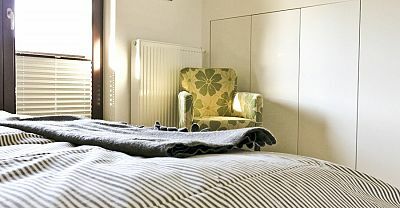 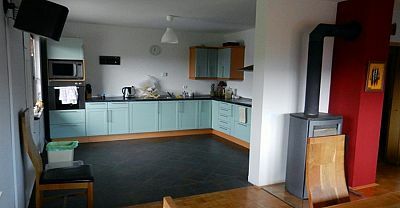 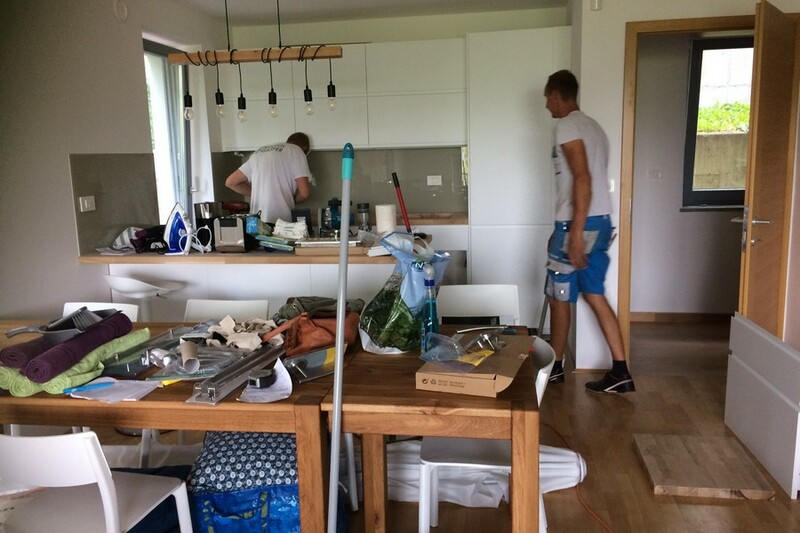 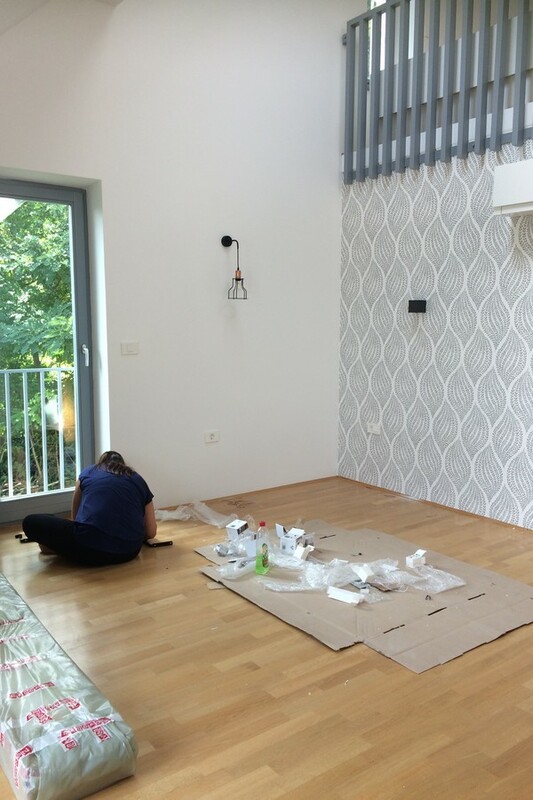 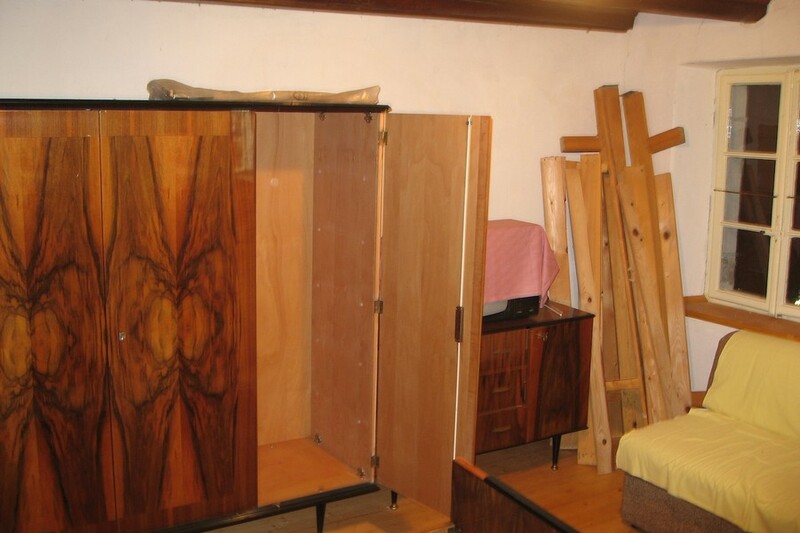 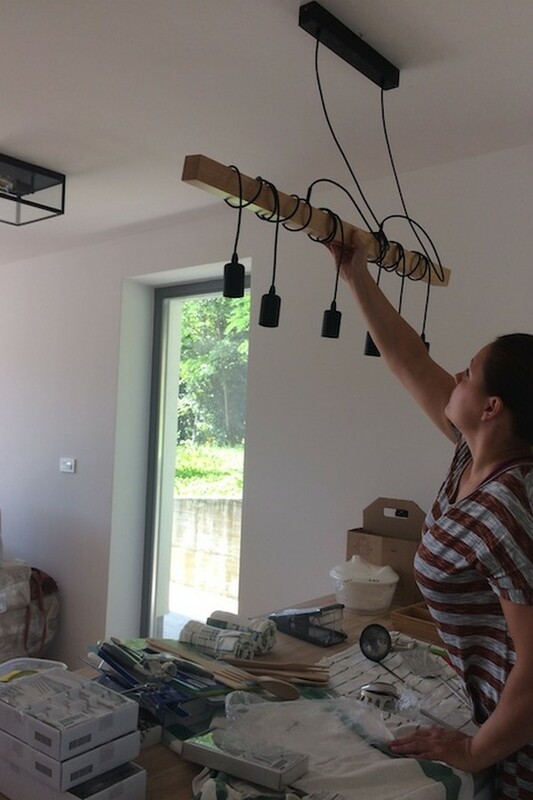 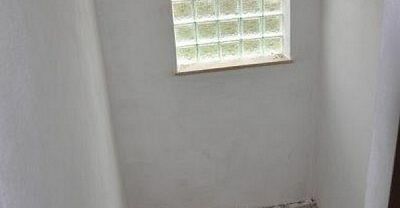 Dan and Pia offer a personal and affordable service which with out them our renovation would not have been possible.We can throughly recommend 'Think Slovenia' who we know we can call on at any time to help with any aspect of our home in Slovenia.